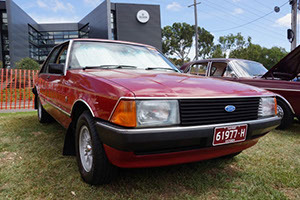 2019 marks the 28th year of the All Ford Day. 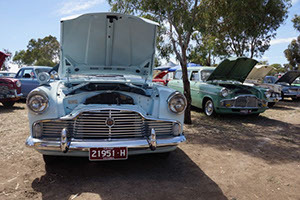 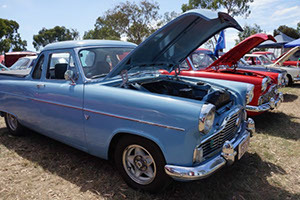 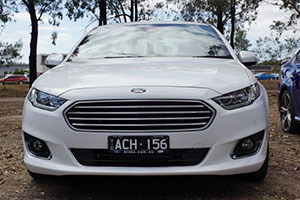 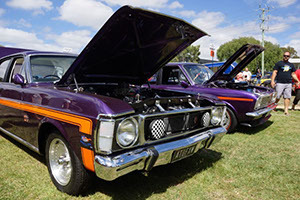 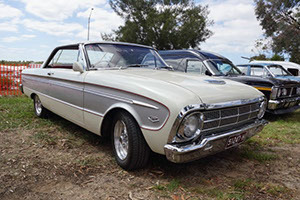 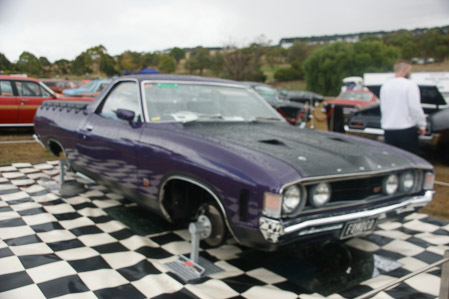 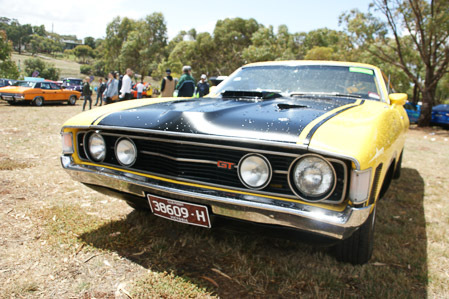 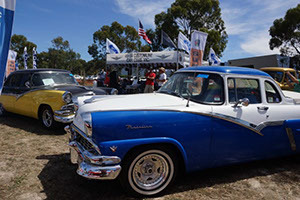 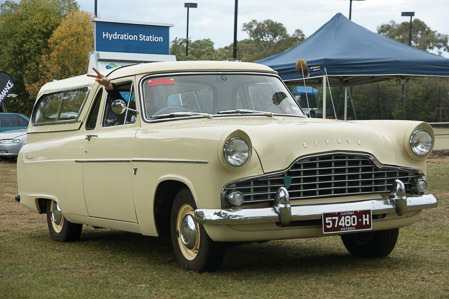 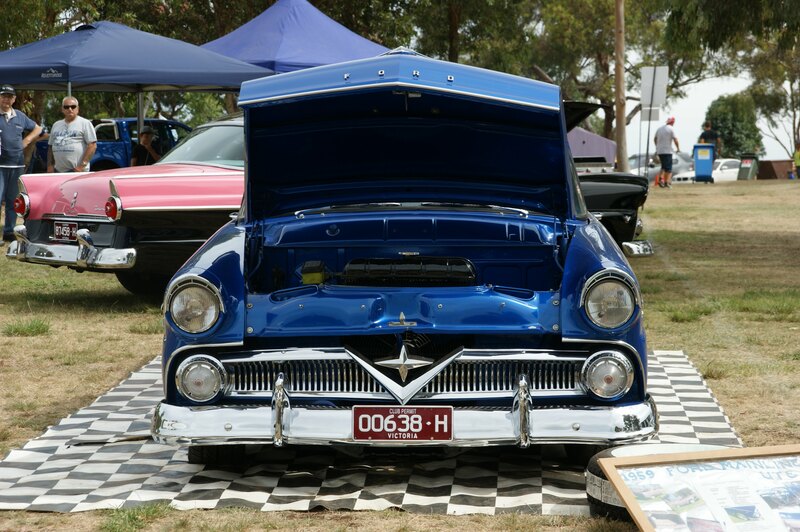 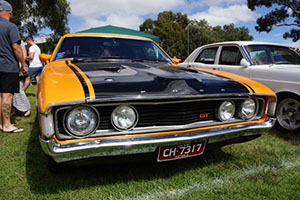 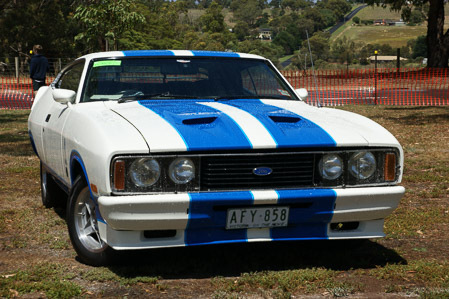 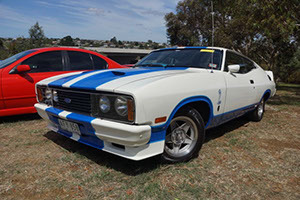 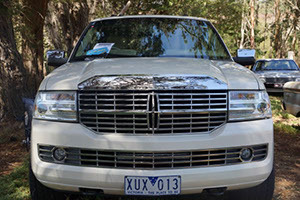 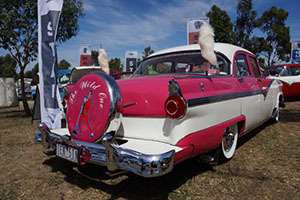 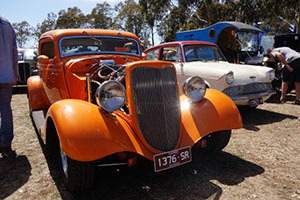 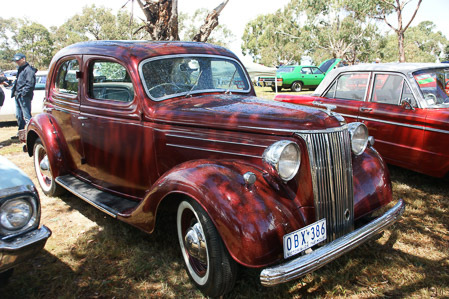 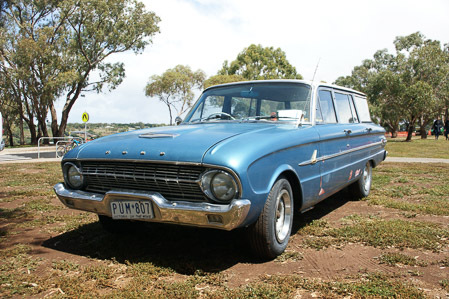 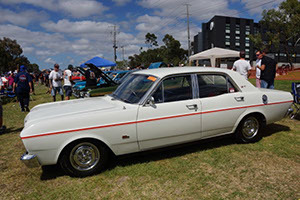 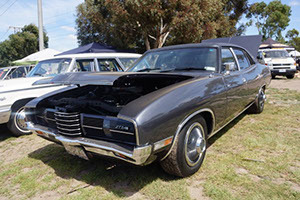 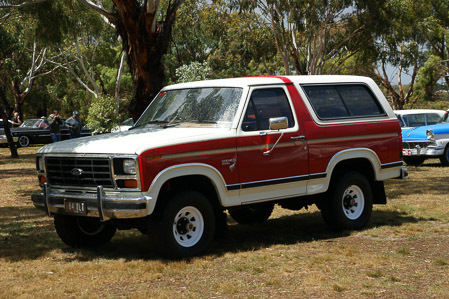 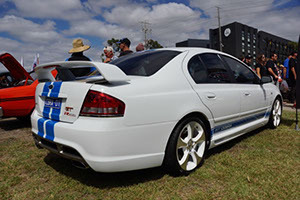 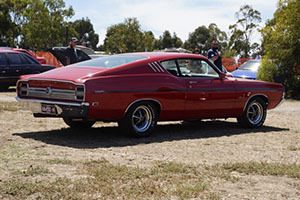 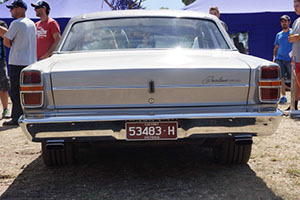 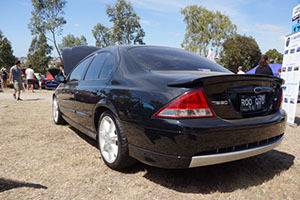 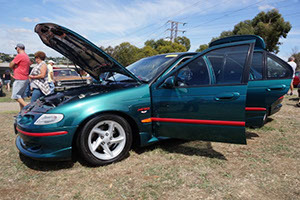 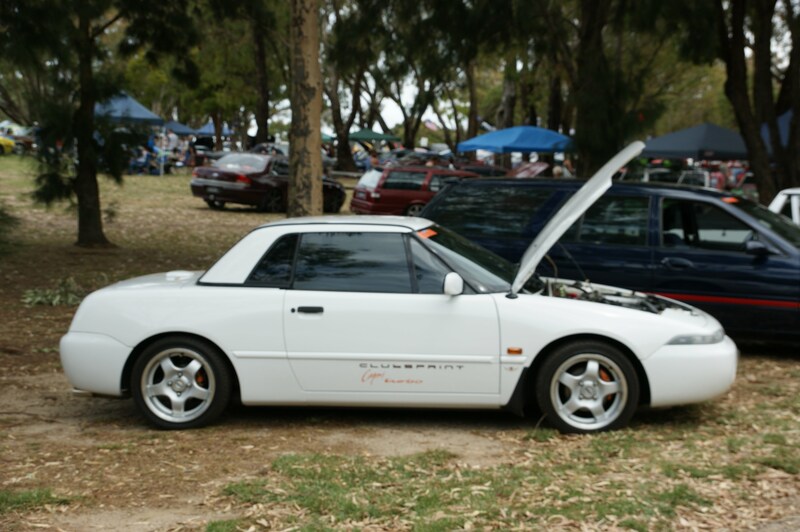 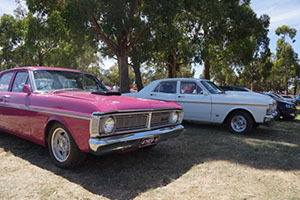 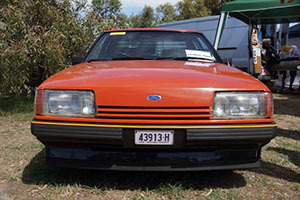 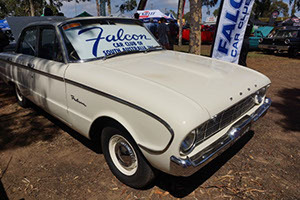 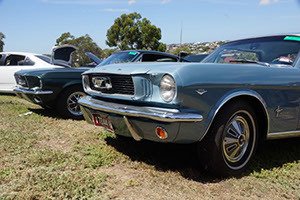 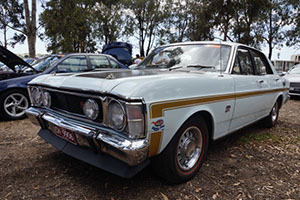 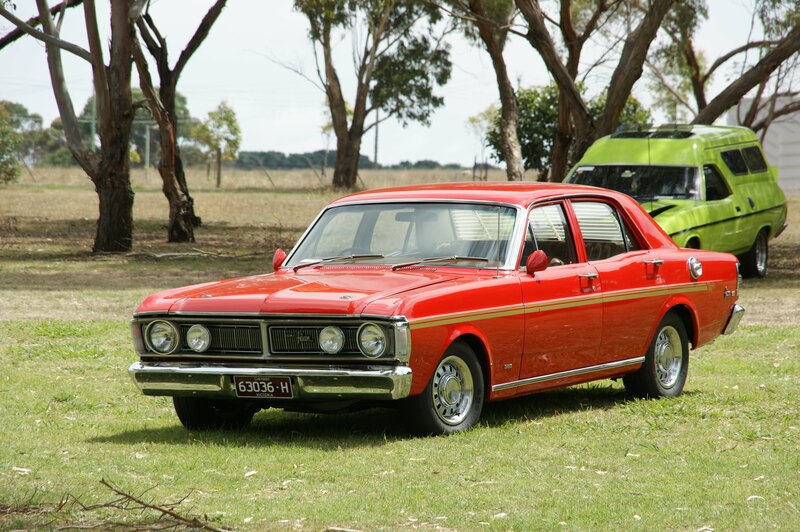 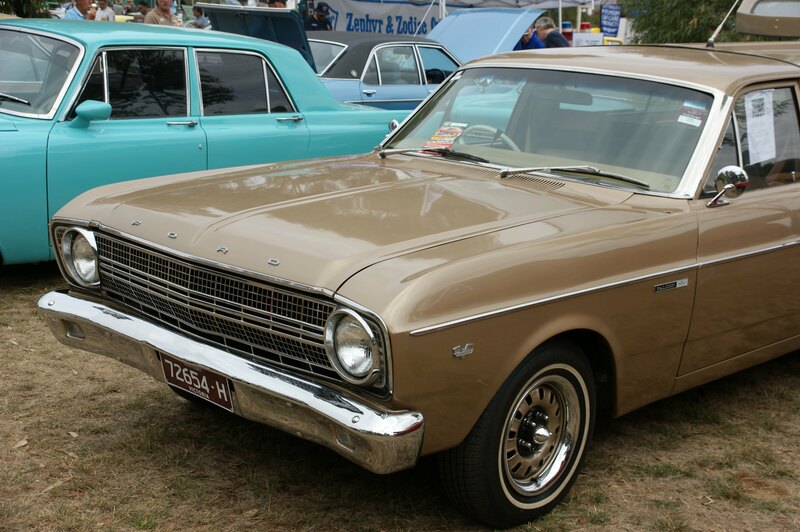 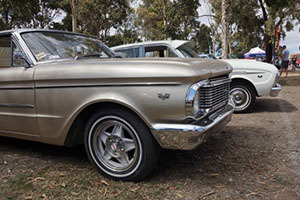 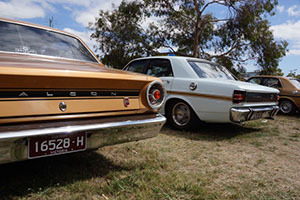 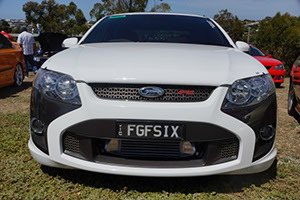 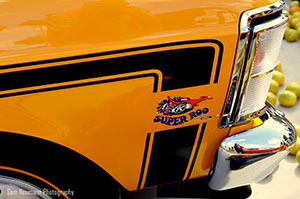 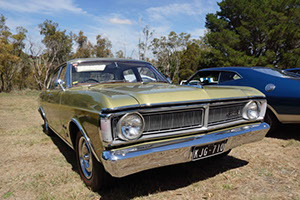 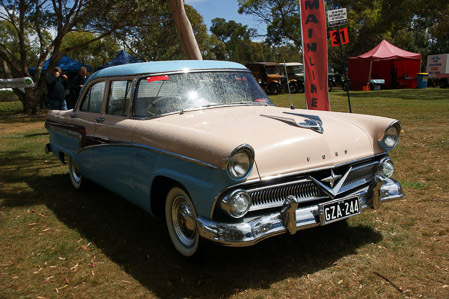 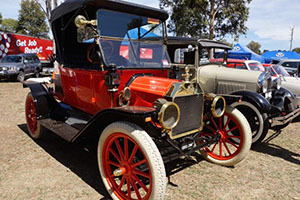 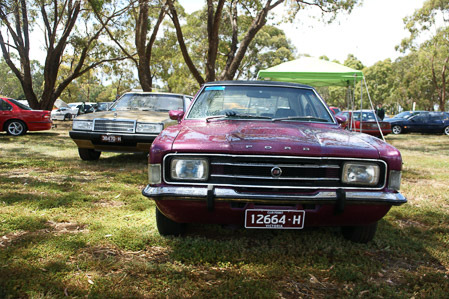 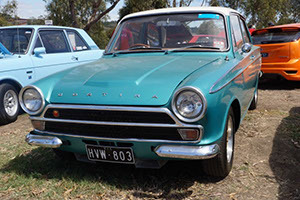 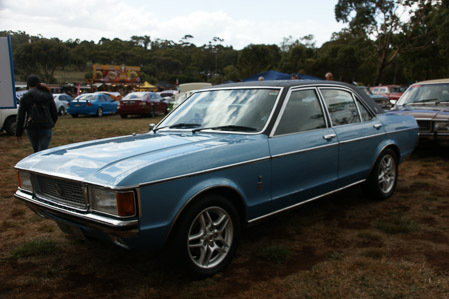 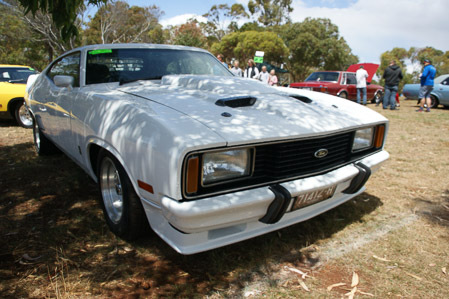 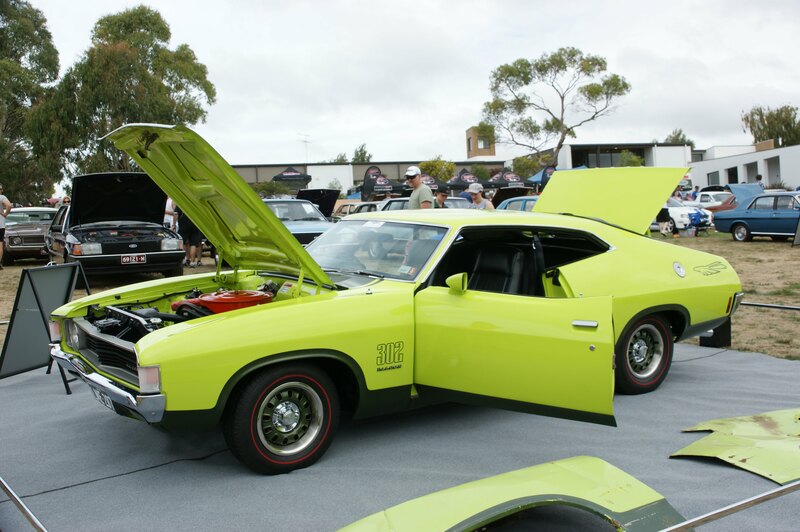 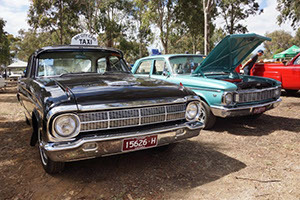 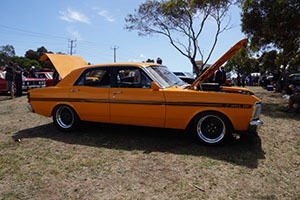 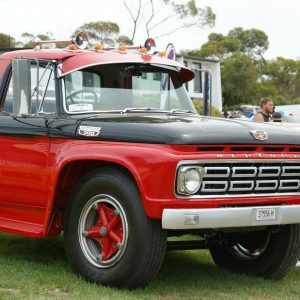 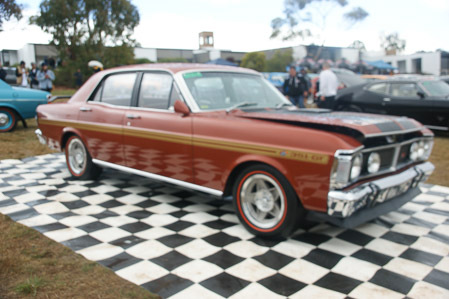 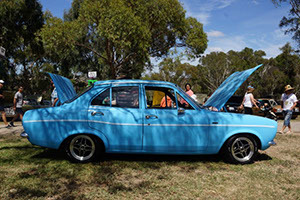 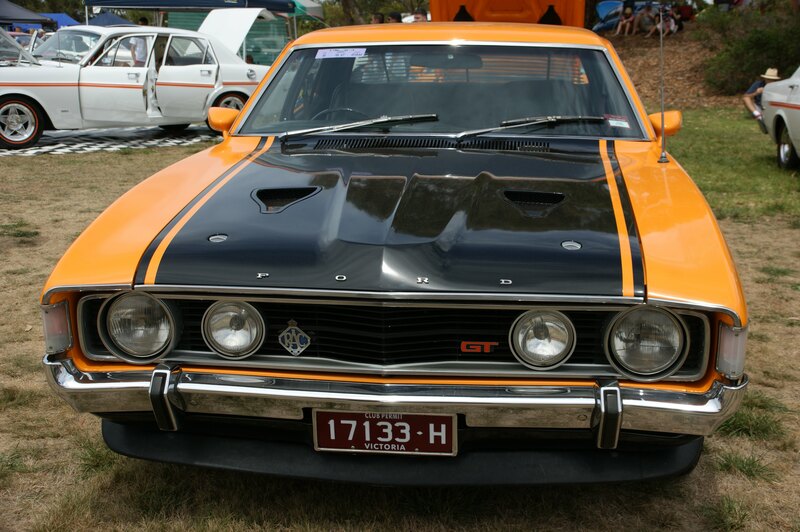 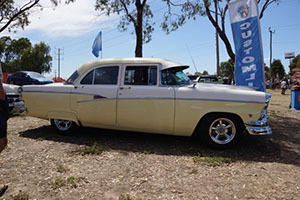 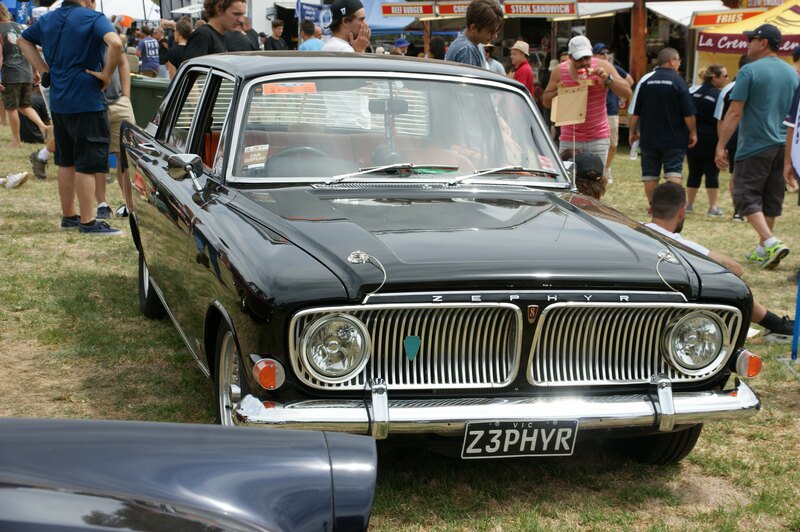 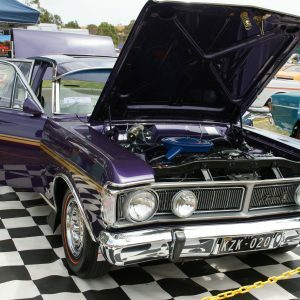 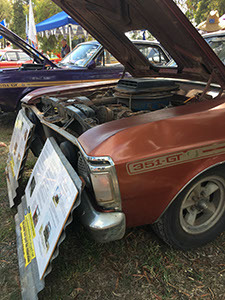 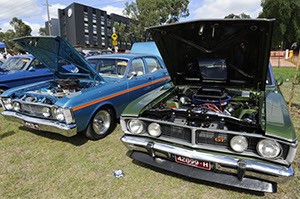 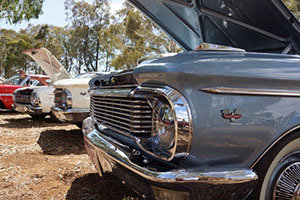 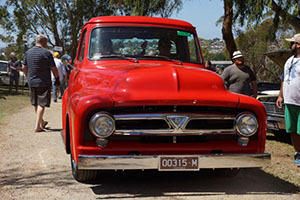 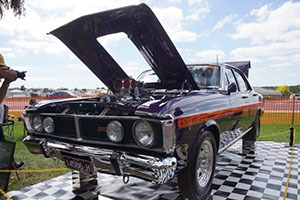 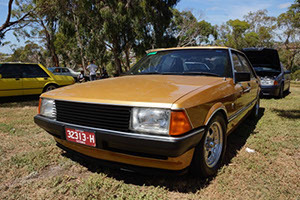 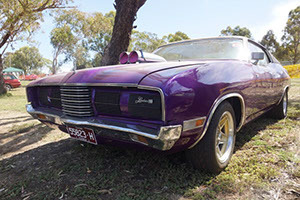 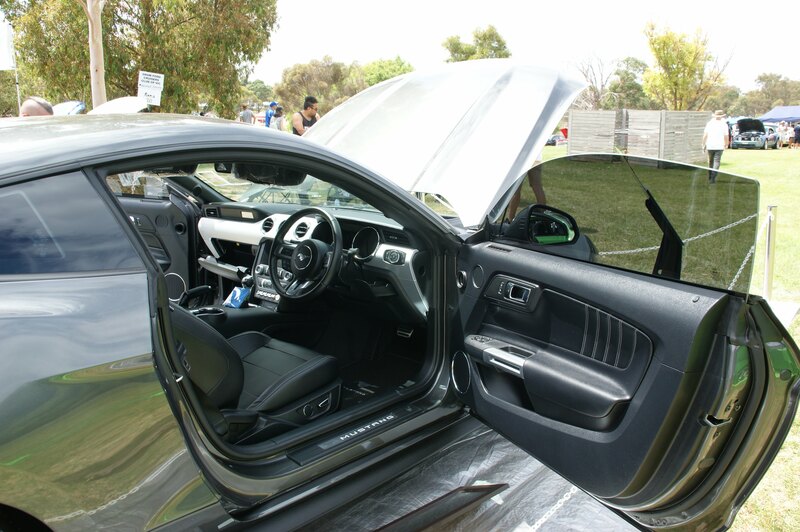 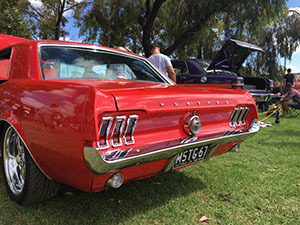 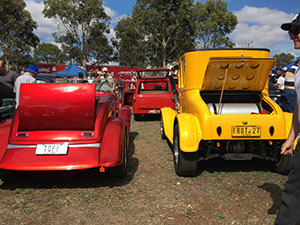 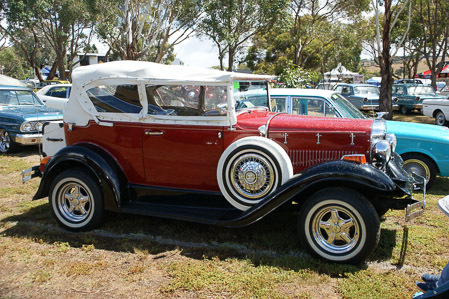 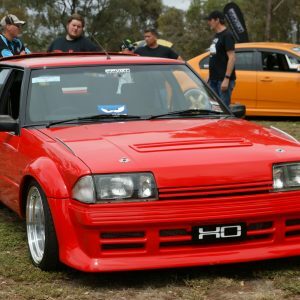 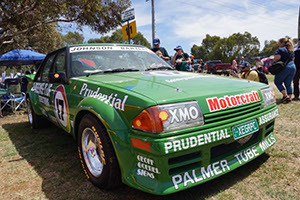 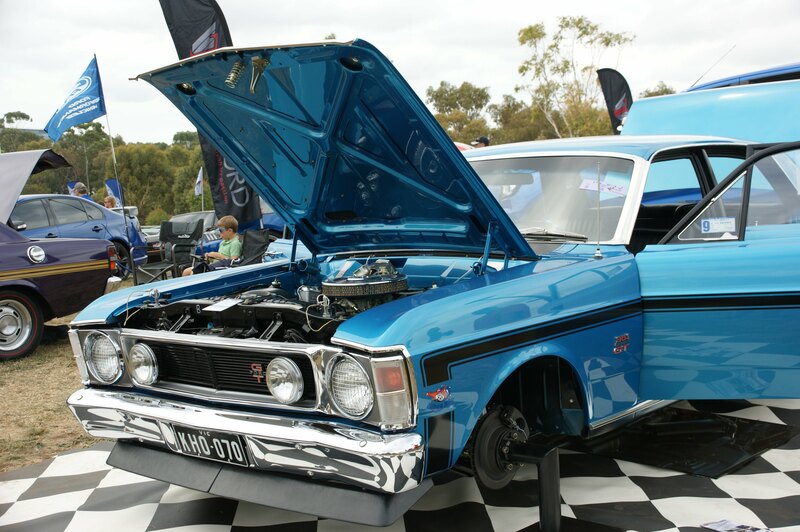 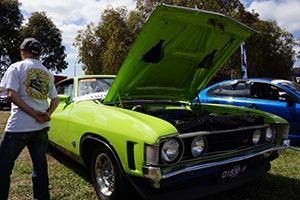 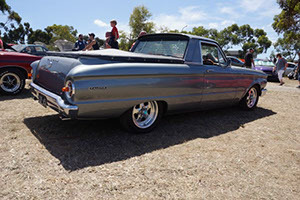 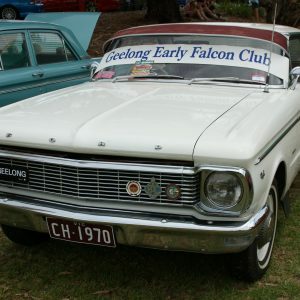 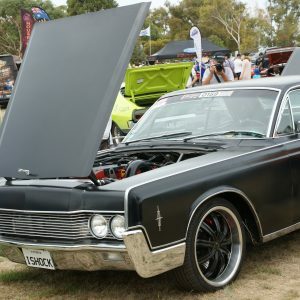 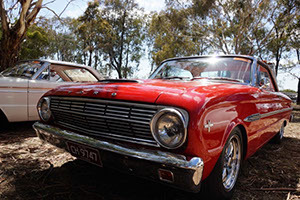 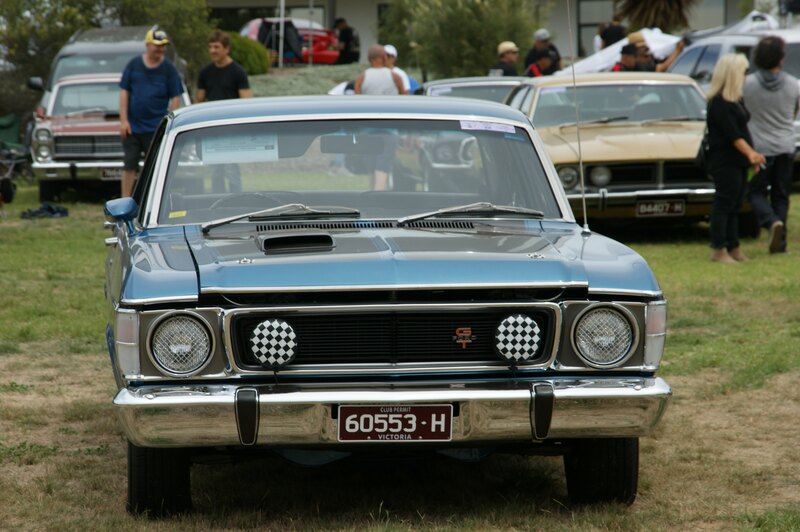 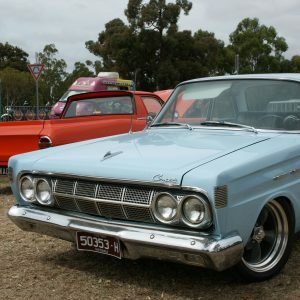 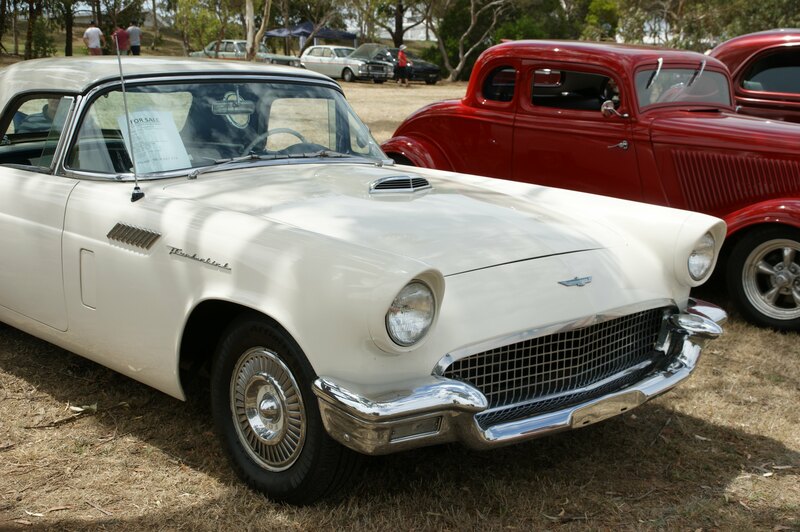 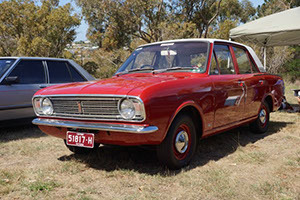 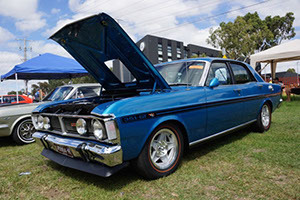 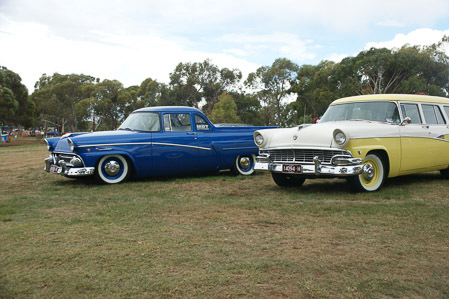 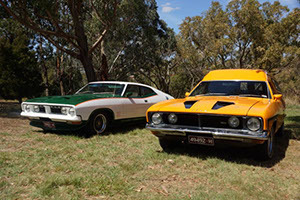 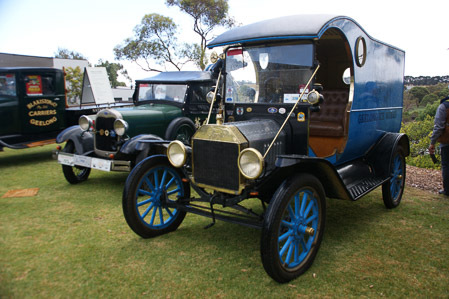 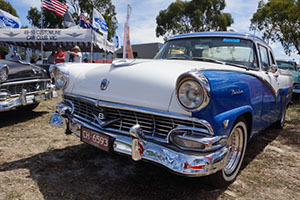 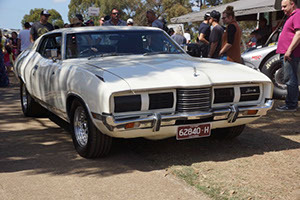 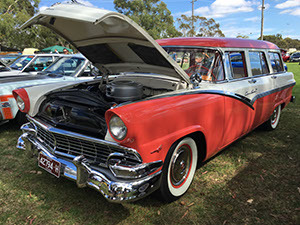 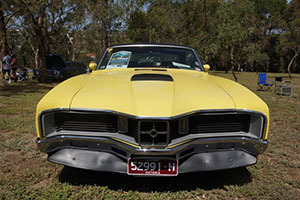 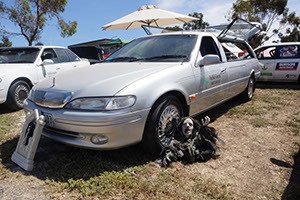 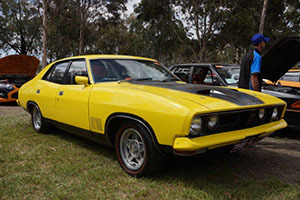 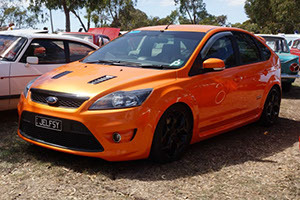 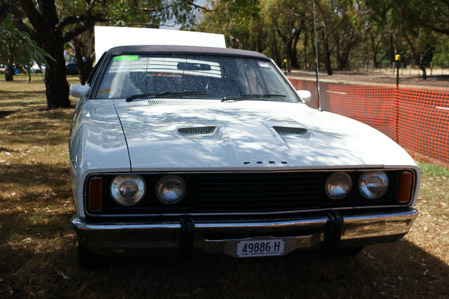 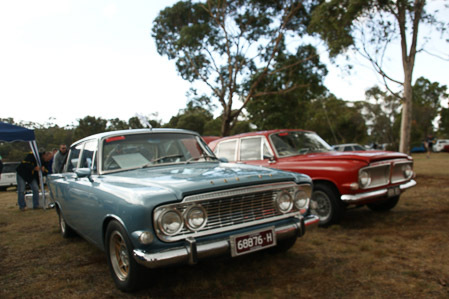 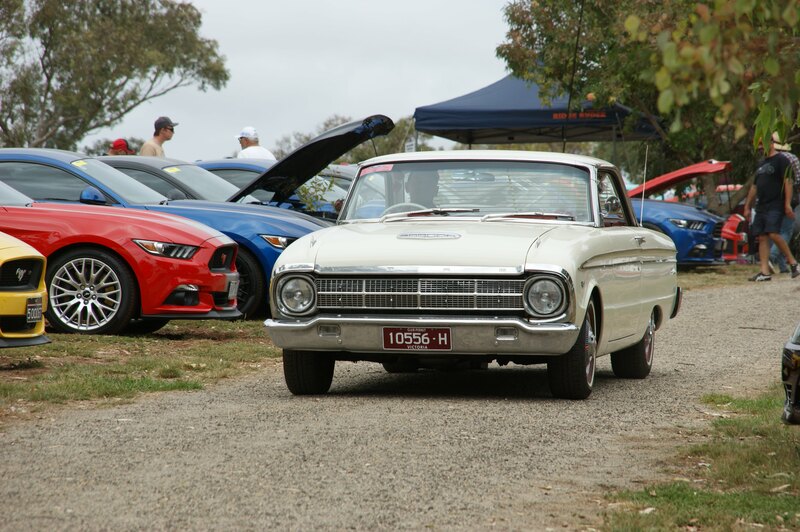 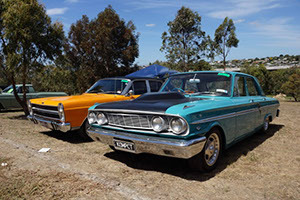 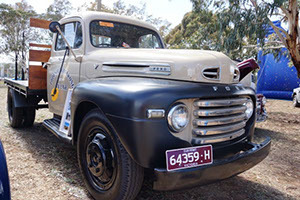 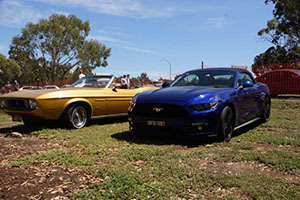 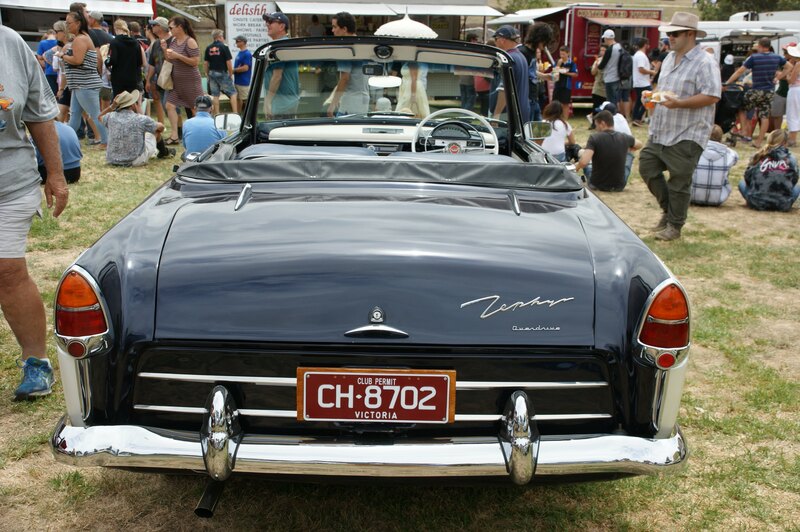 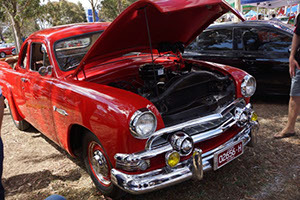 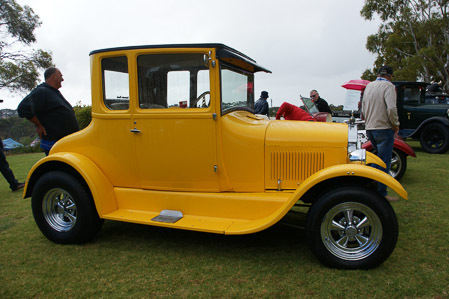 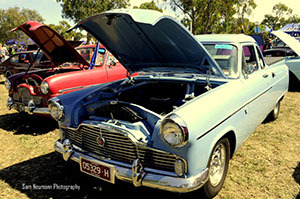 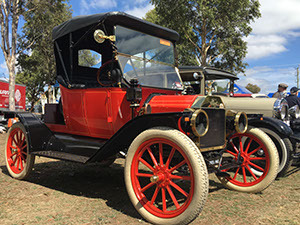 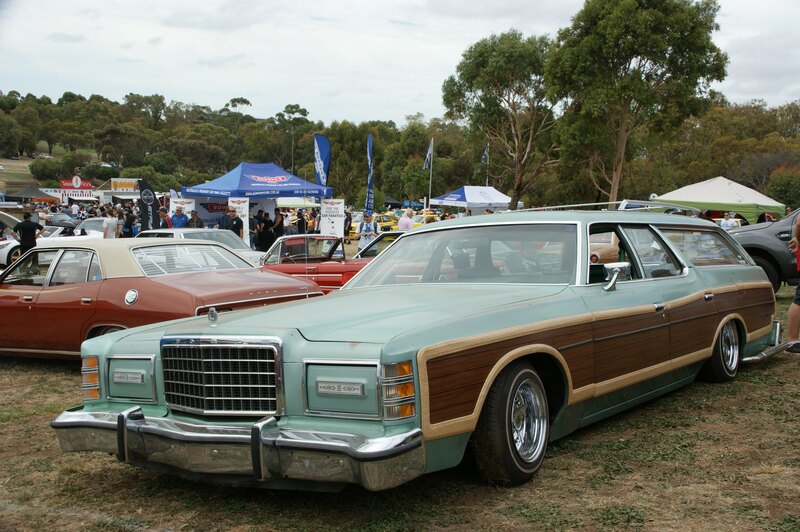 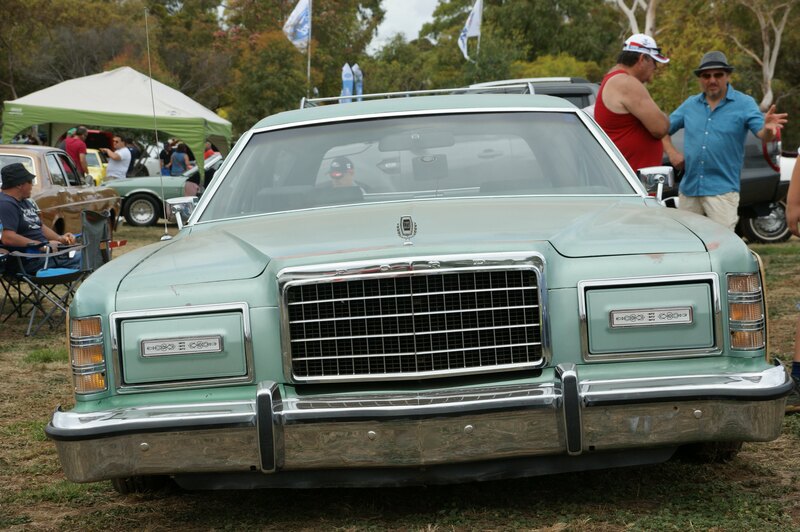 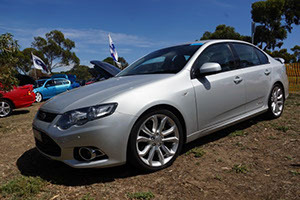 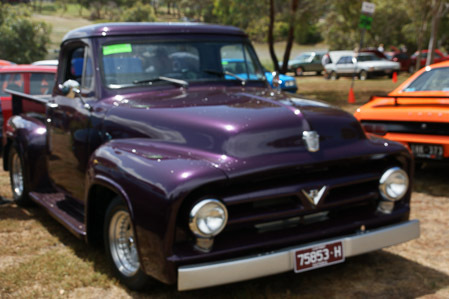 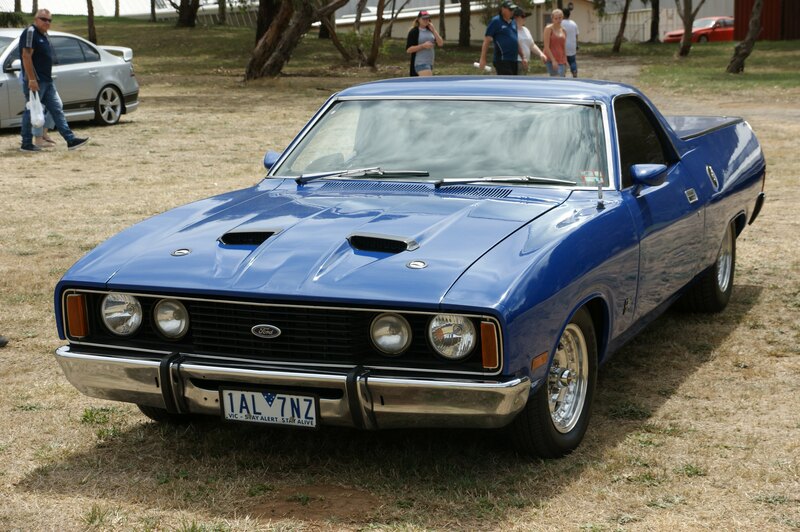 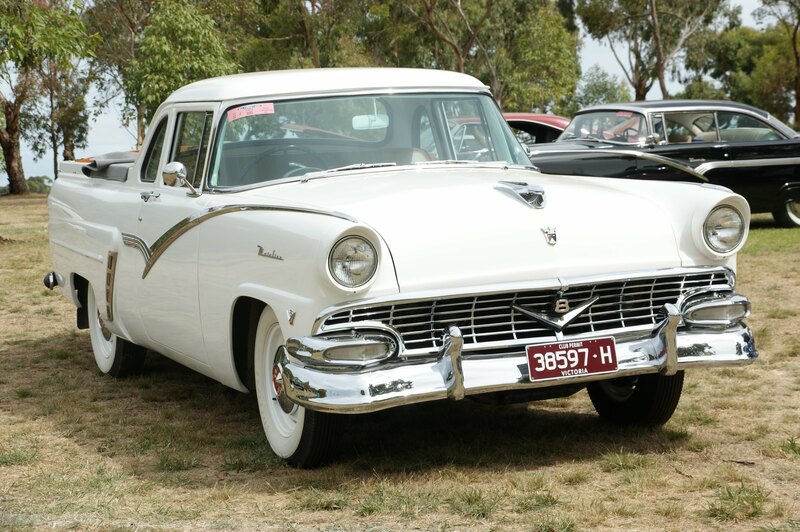 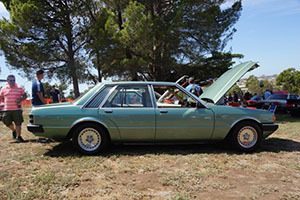 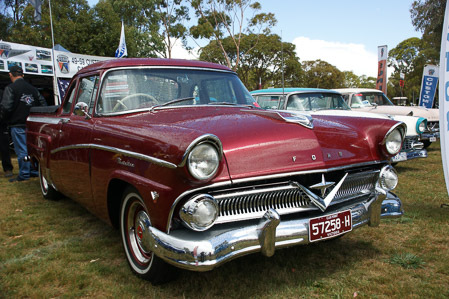 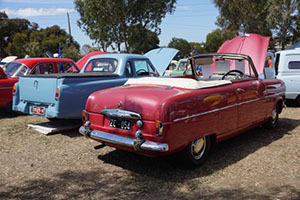 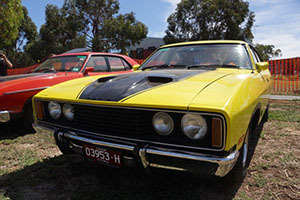 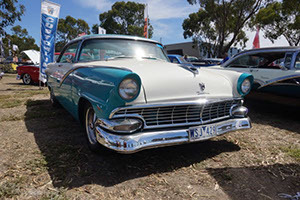 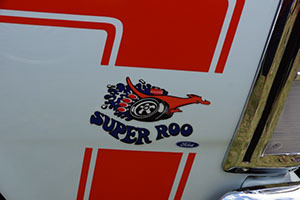 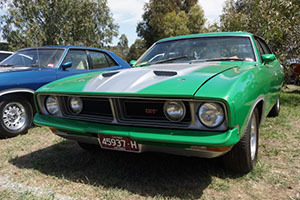 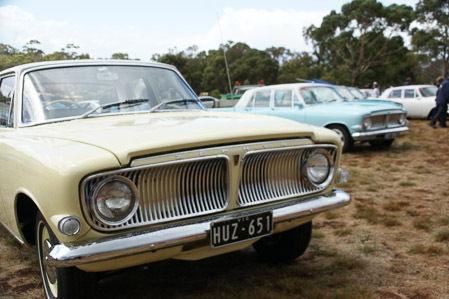 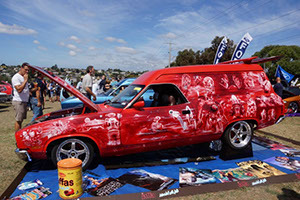 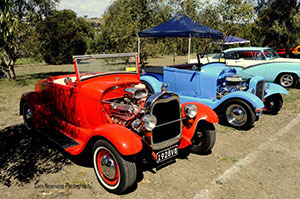 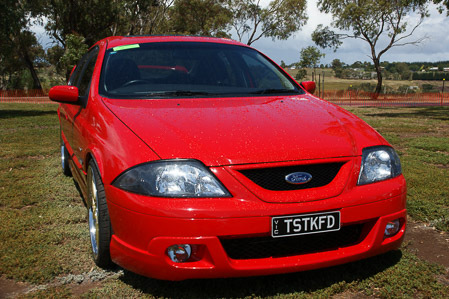 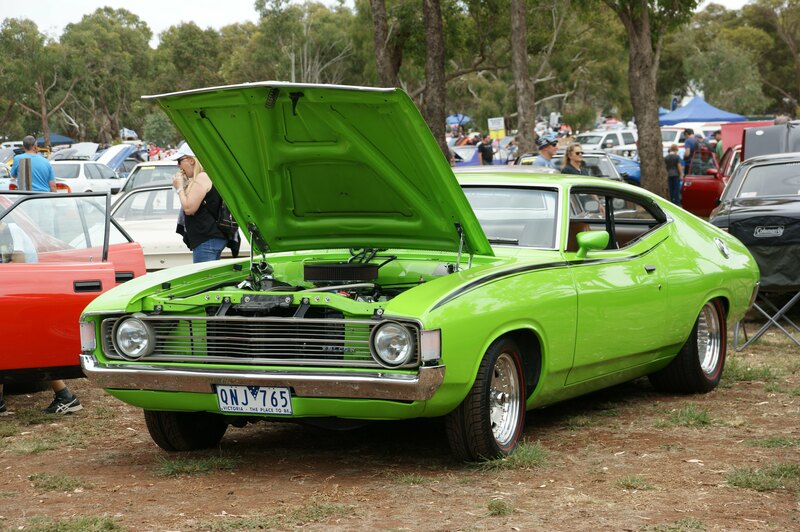 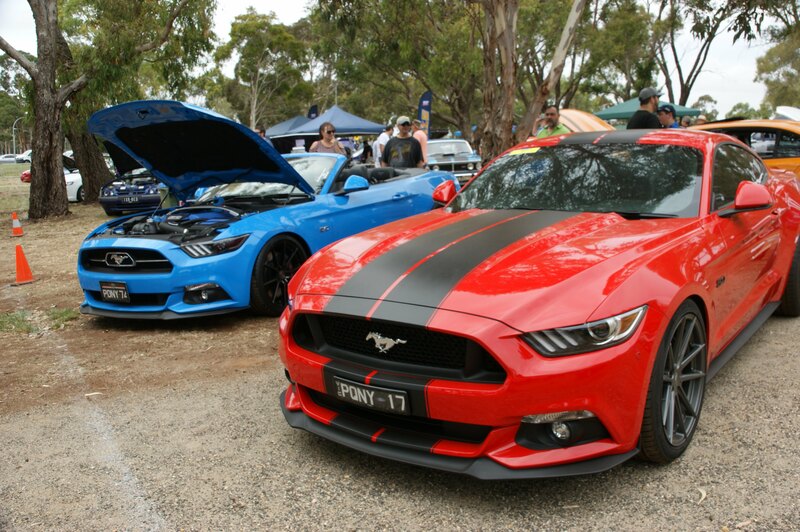 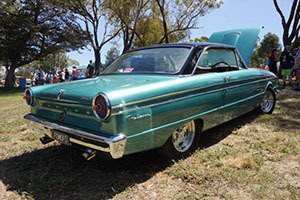 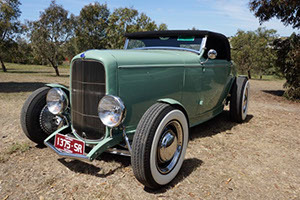 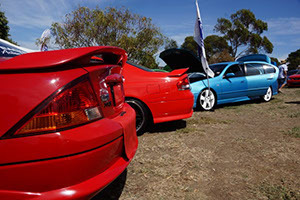 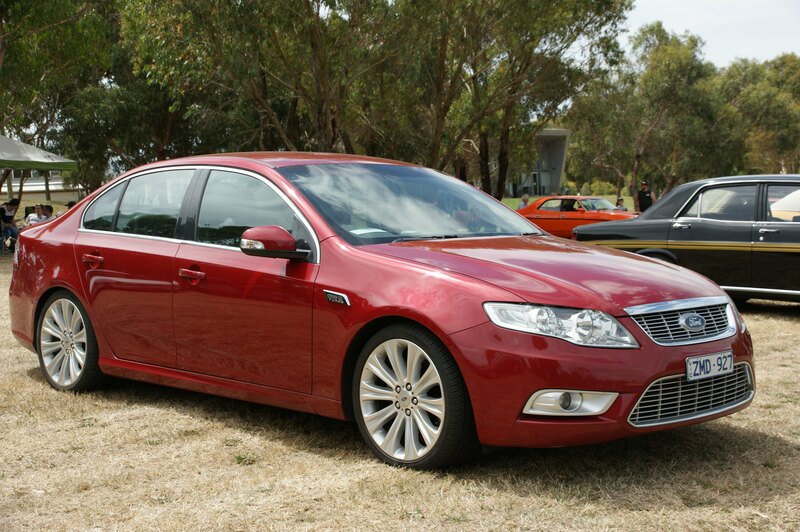 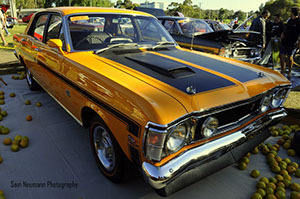 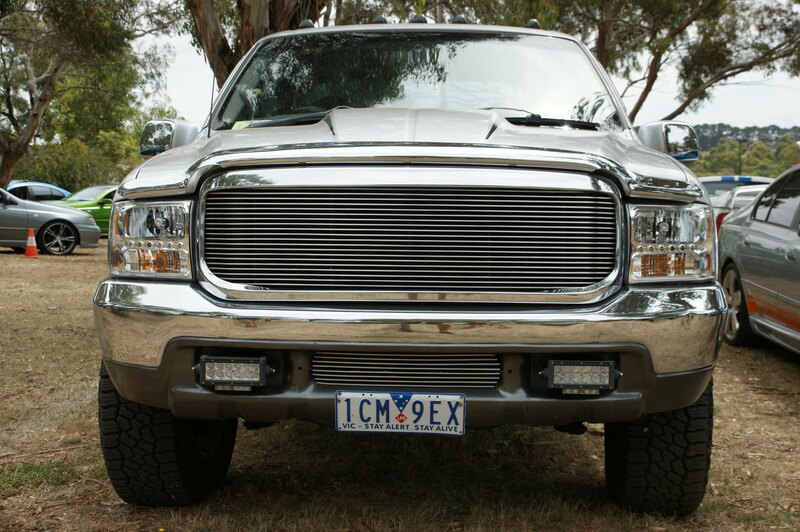 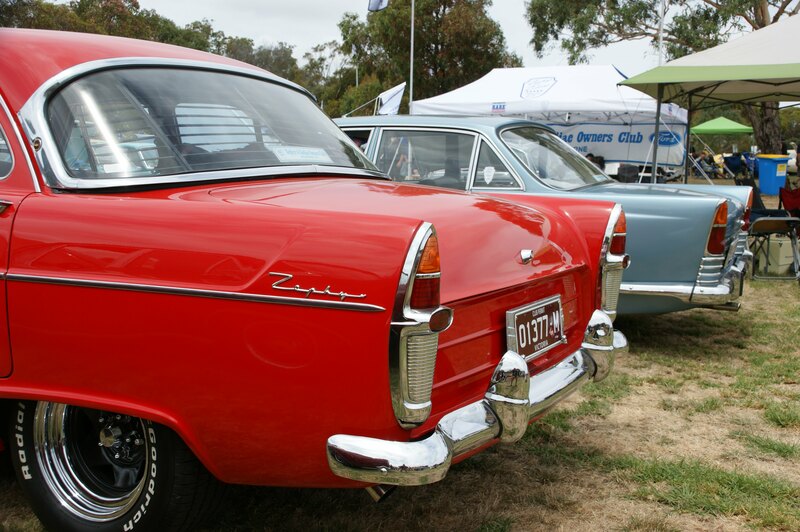 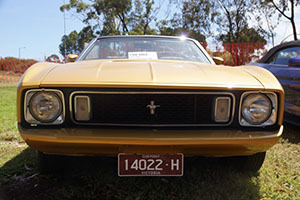 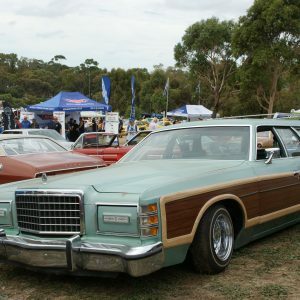 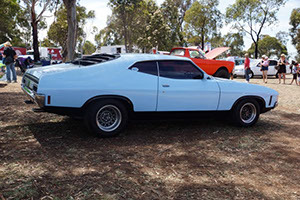 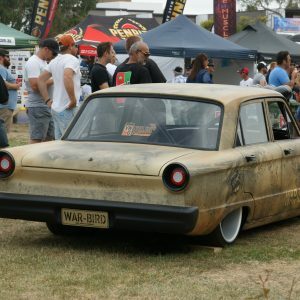 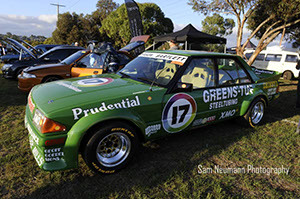 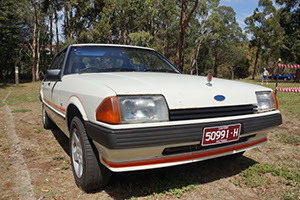 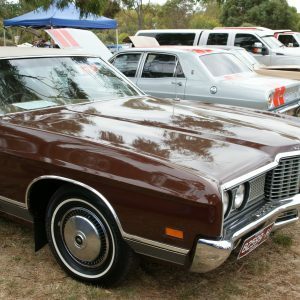 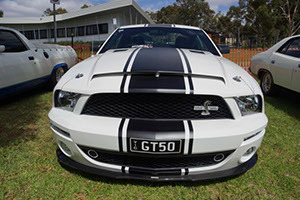 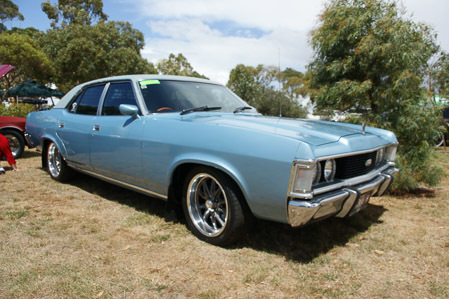 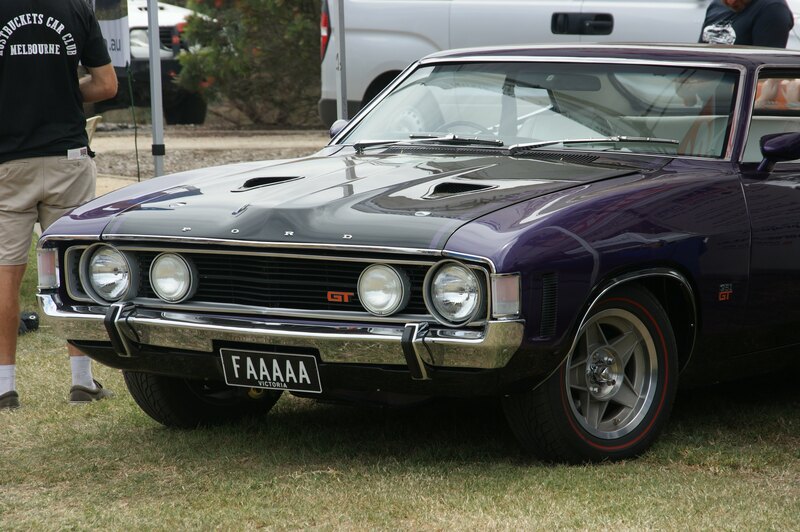 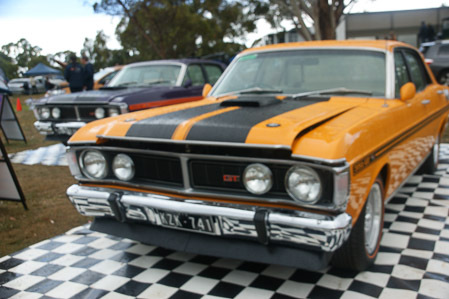 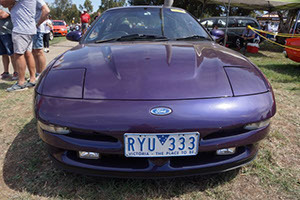 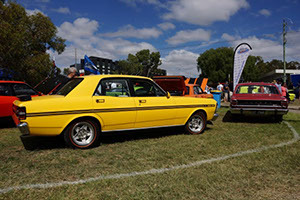 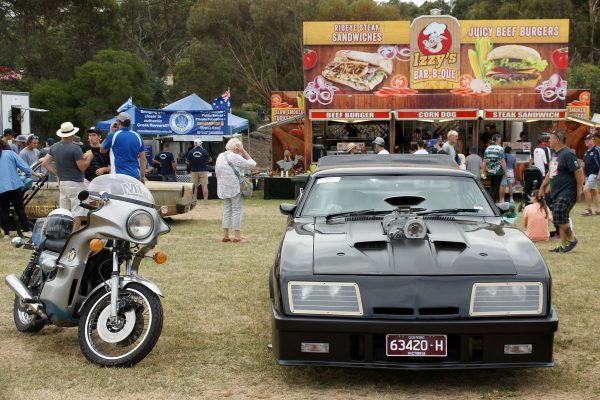 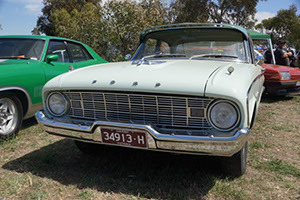 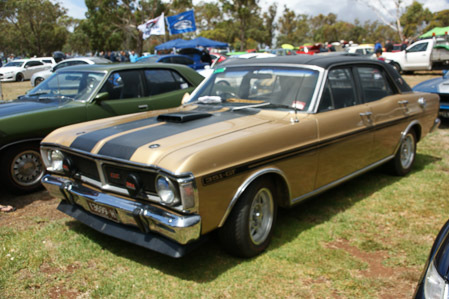 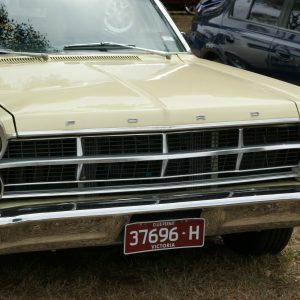 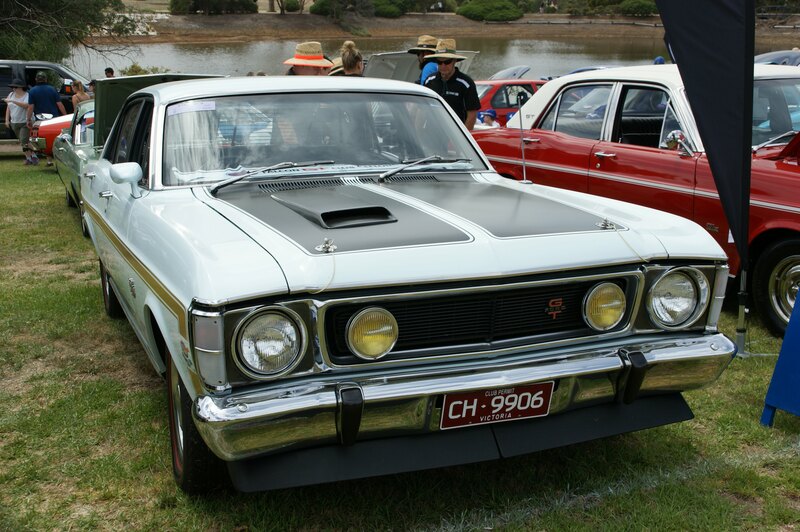 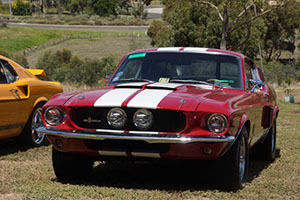 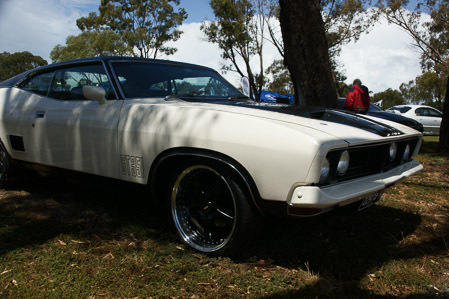 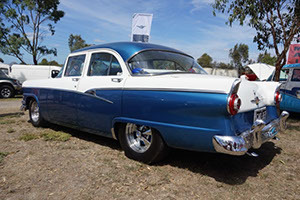 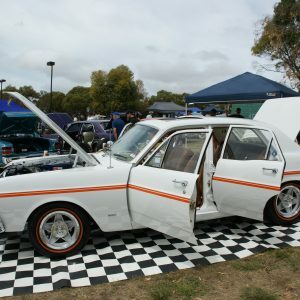 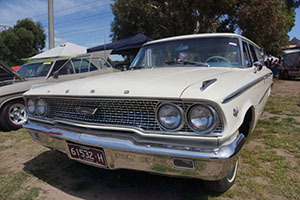 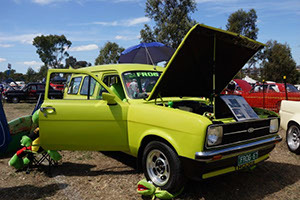 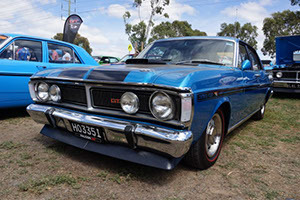 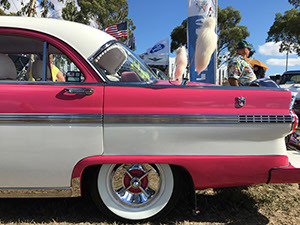 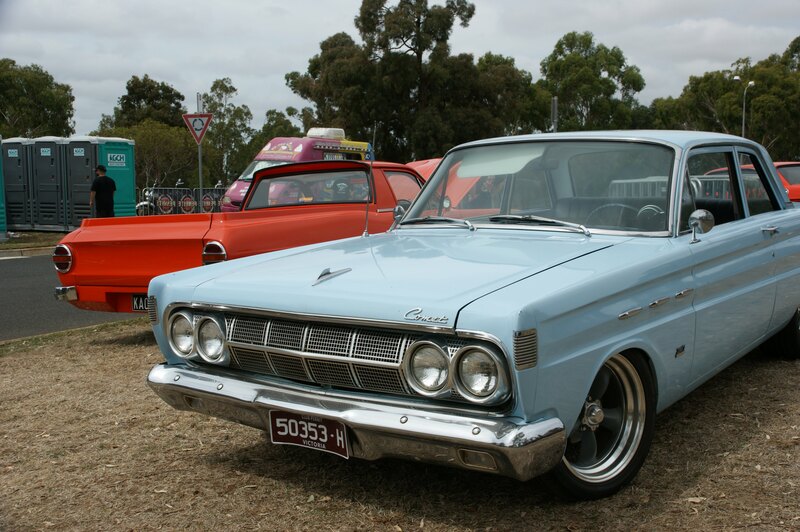 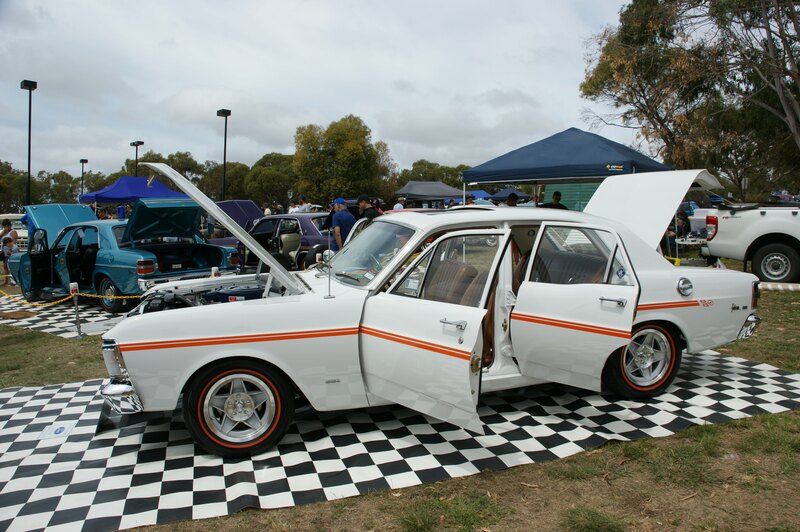 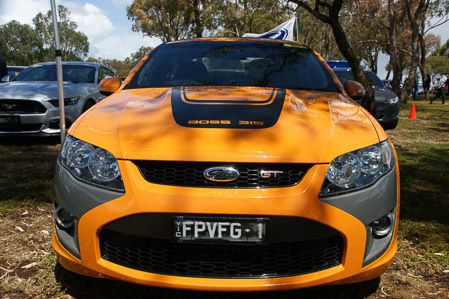 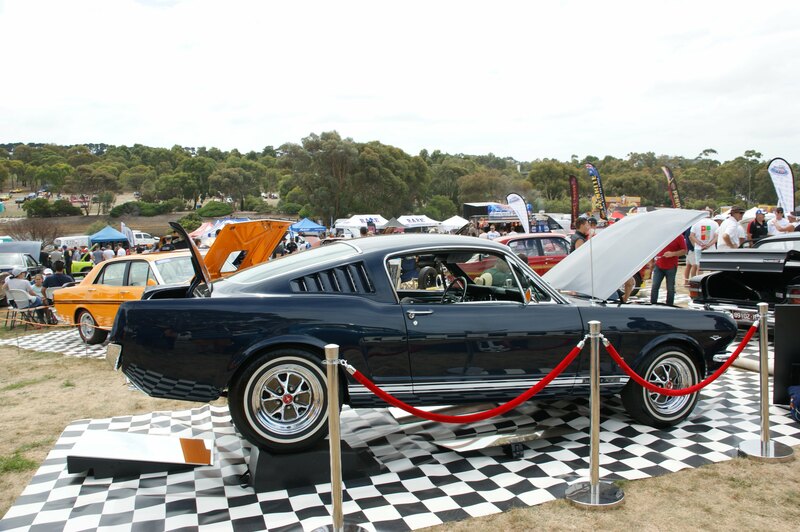 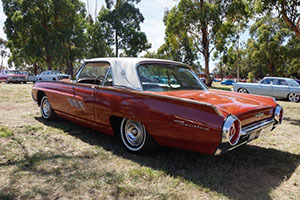 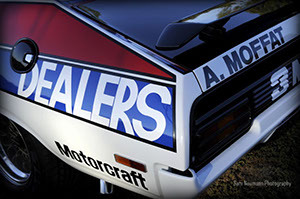 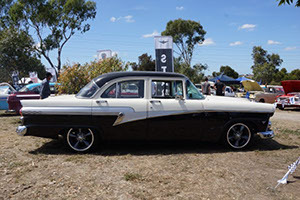 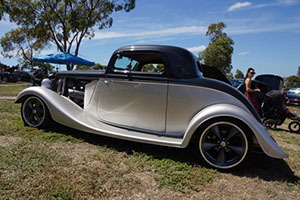 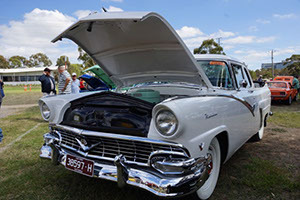 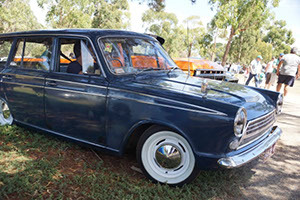 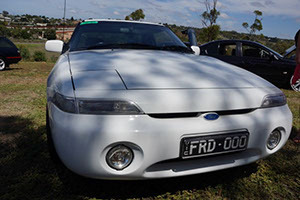 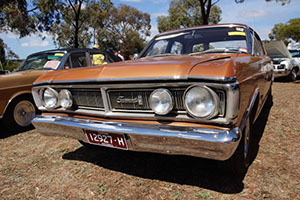 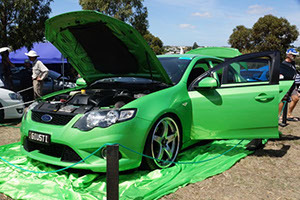 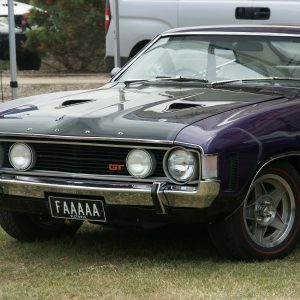 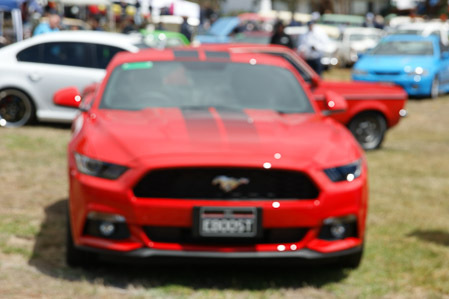 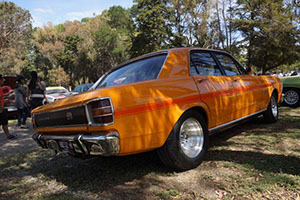 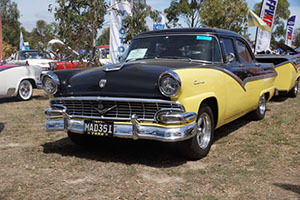 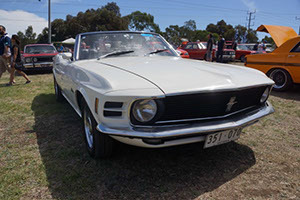 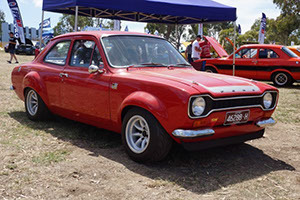 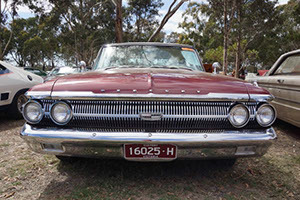 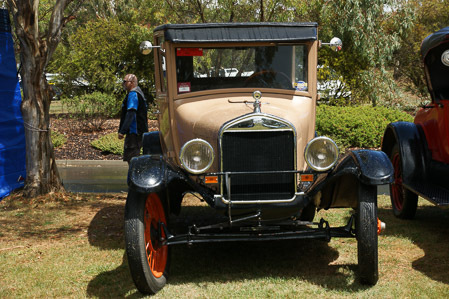 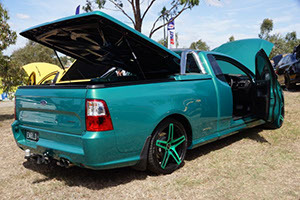 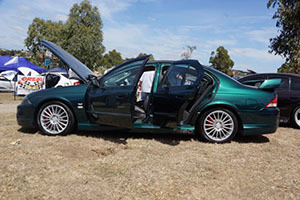 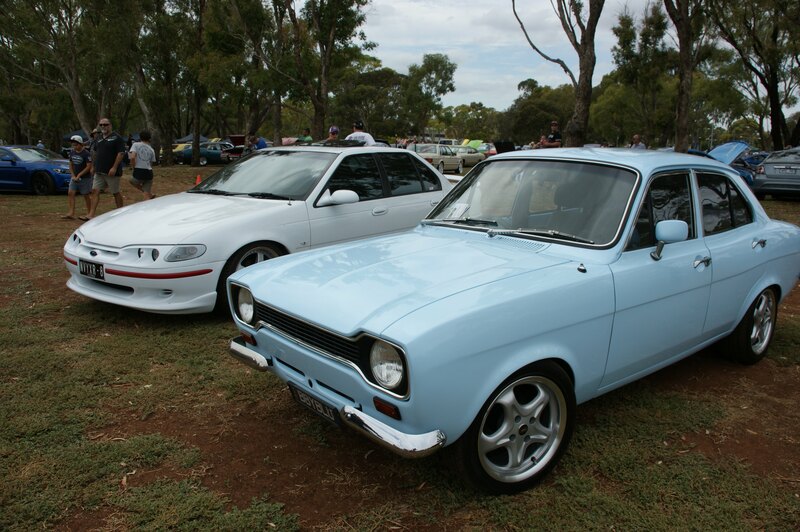 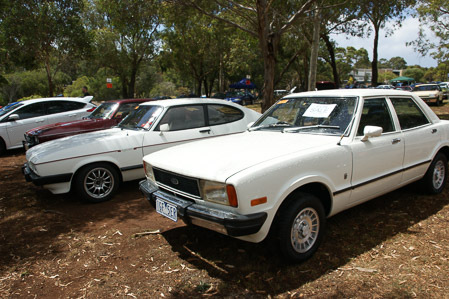 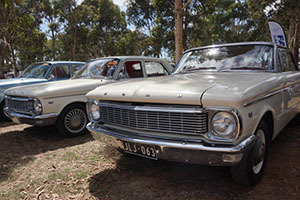 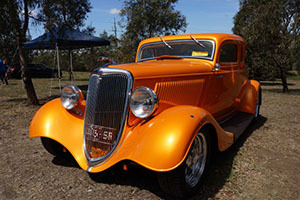 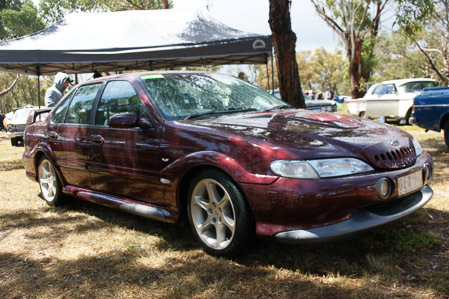 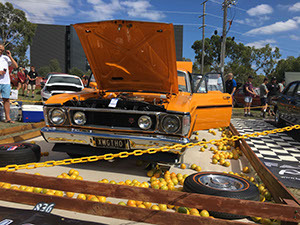 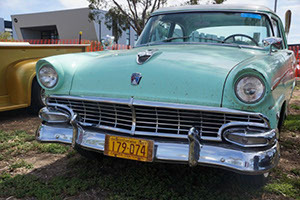 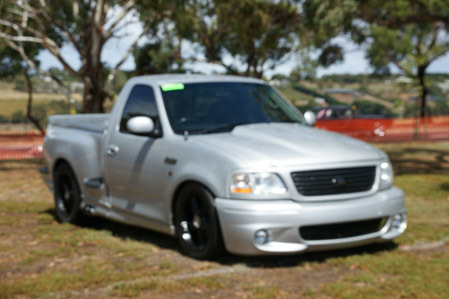 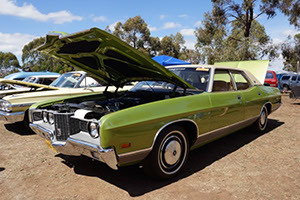 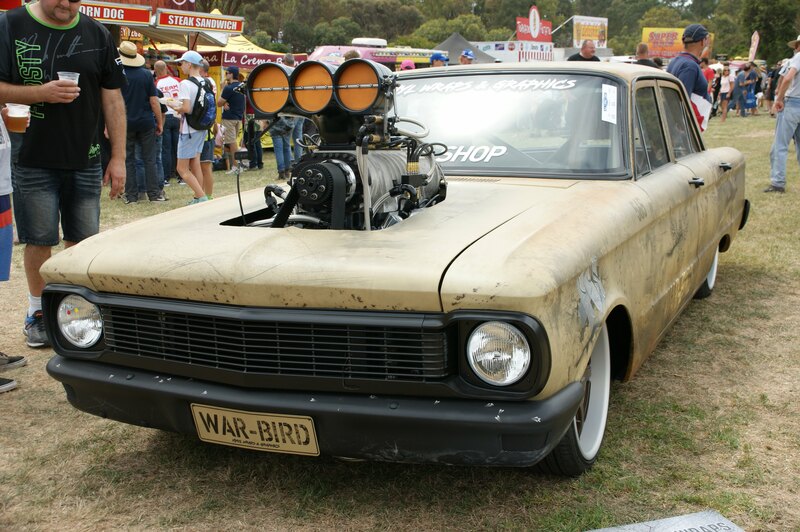 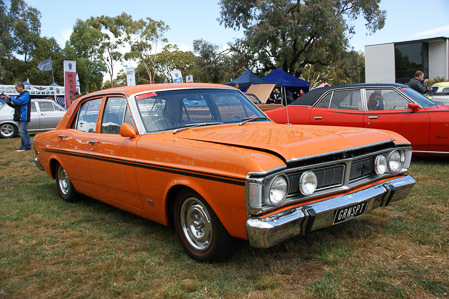 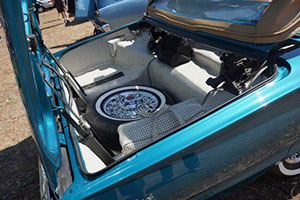 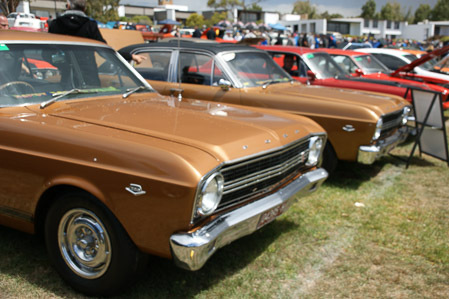 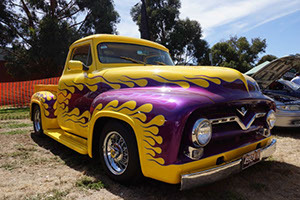 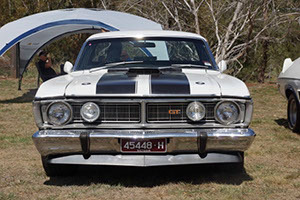 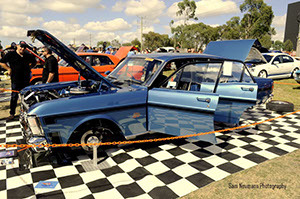 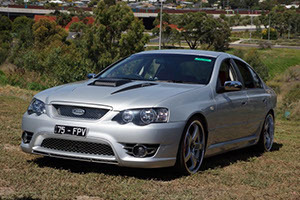 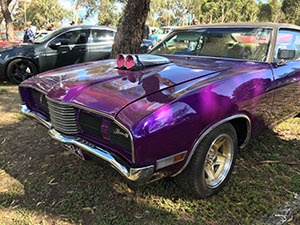 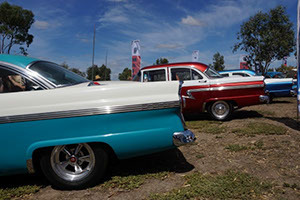 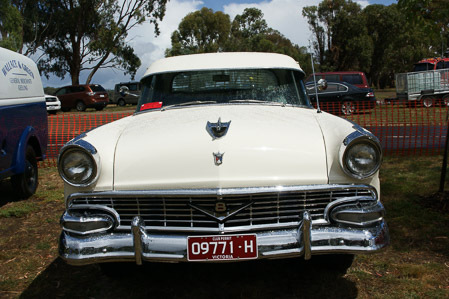 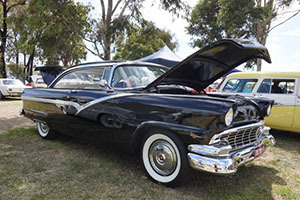 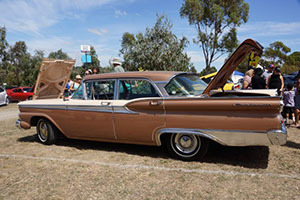 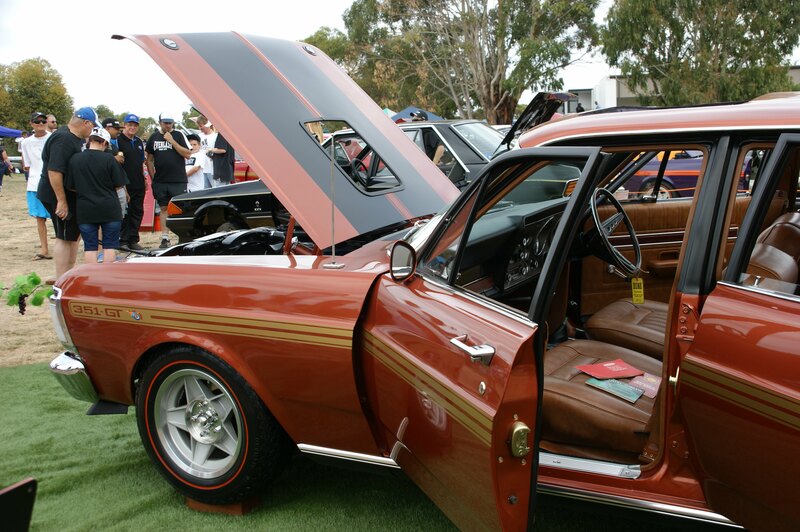 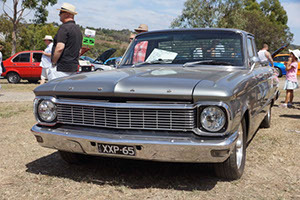 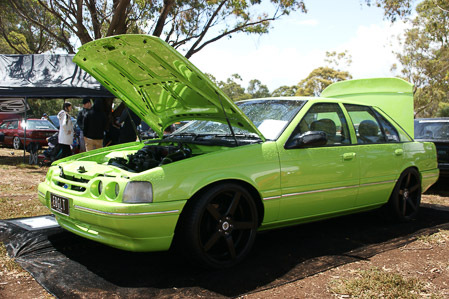 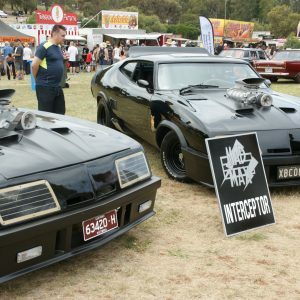 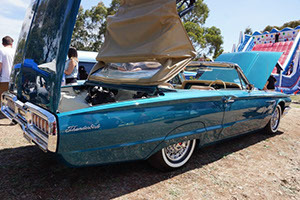 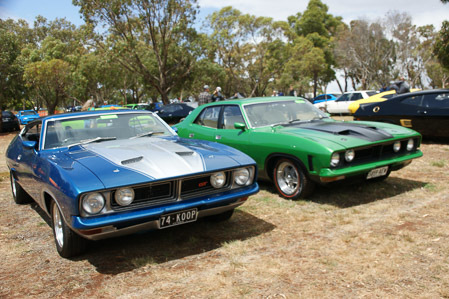 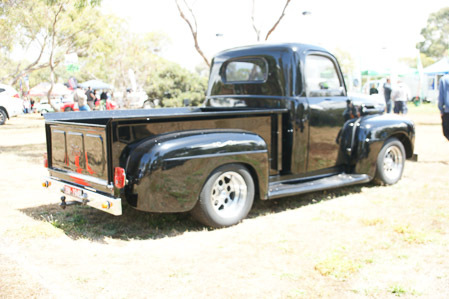 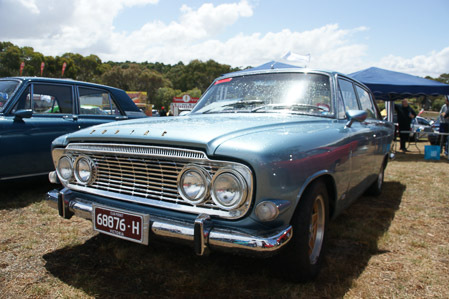 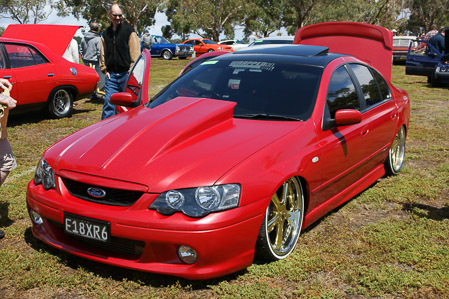 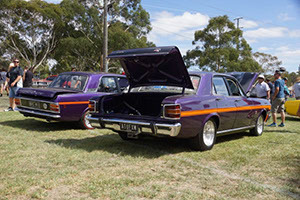 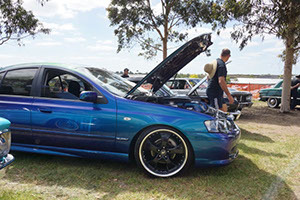 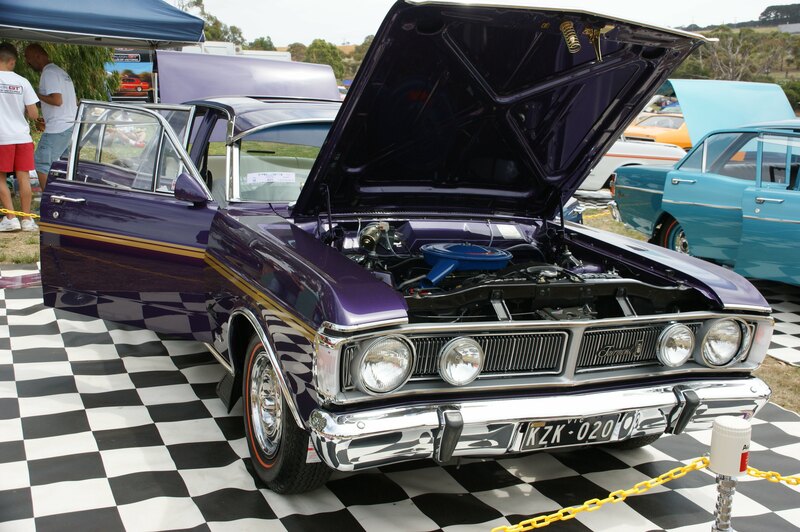 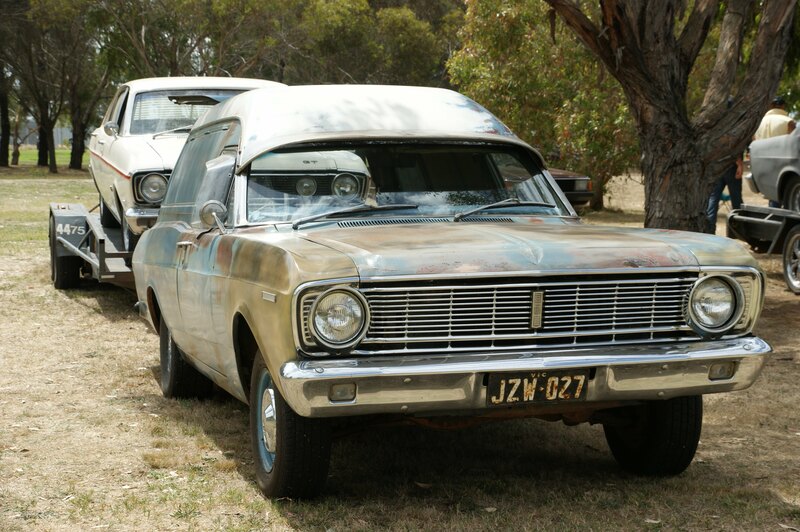 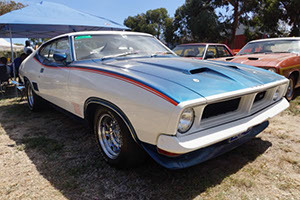 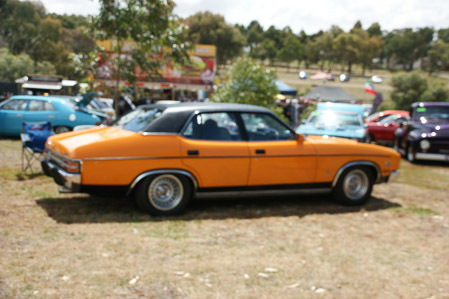 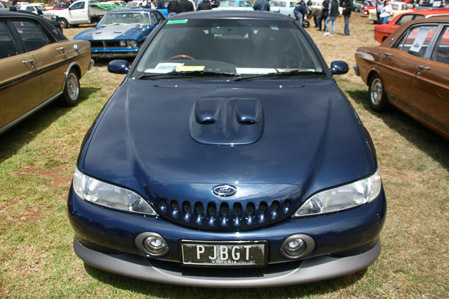 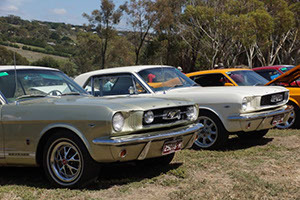 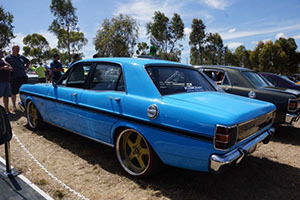 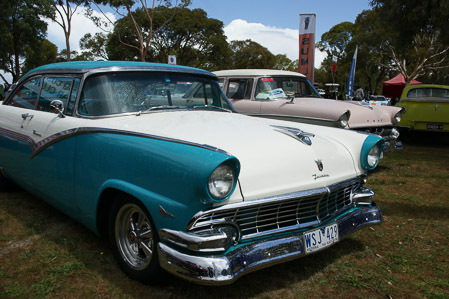 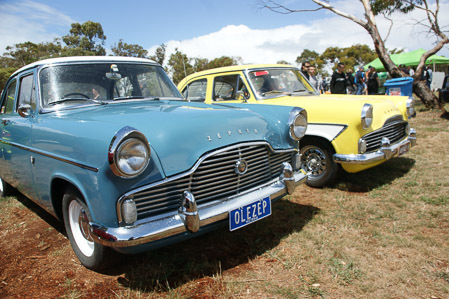 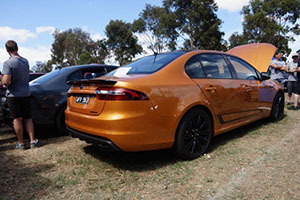 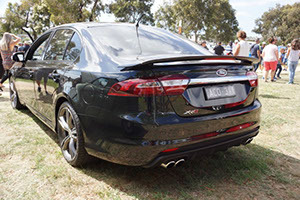 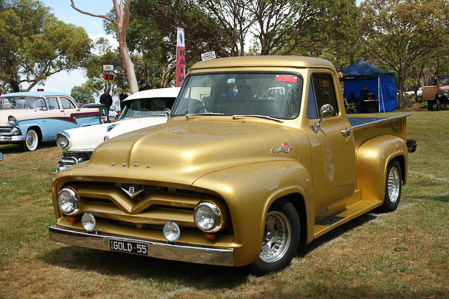 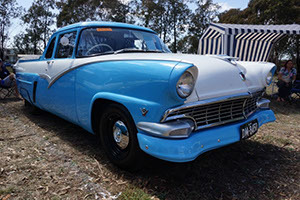 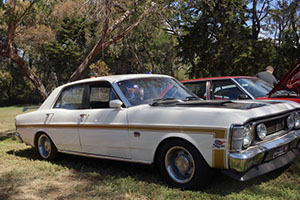 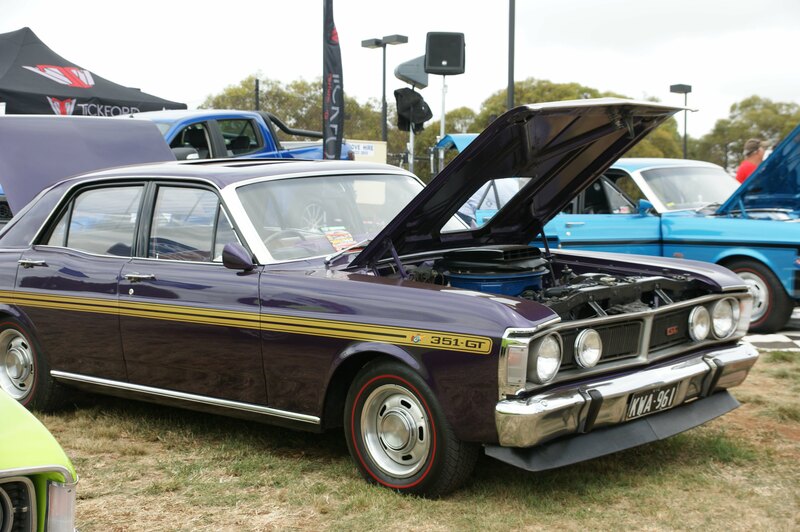 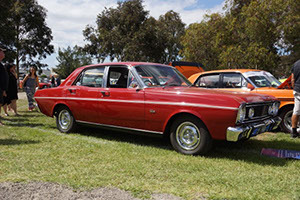 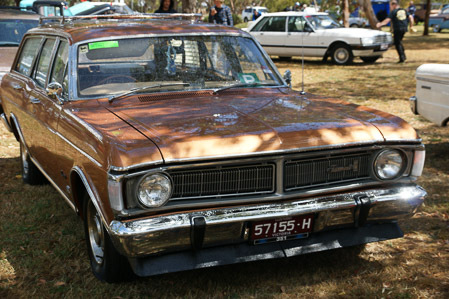 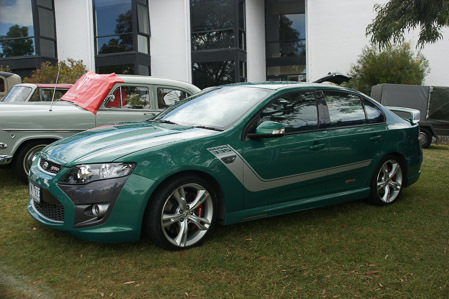 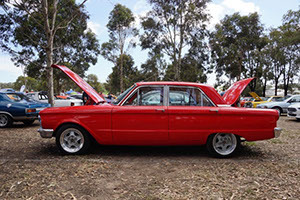 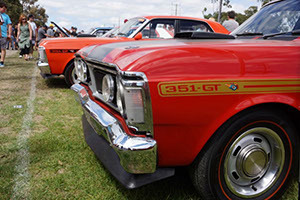 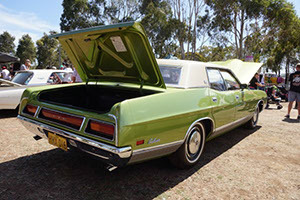 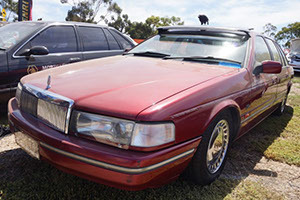 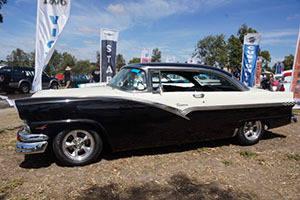 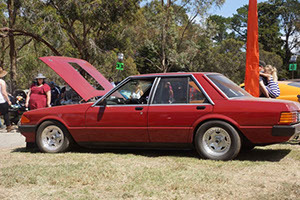 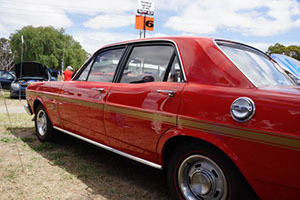 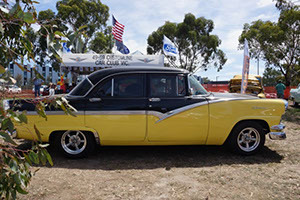 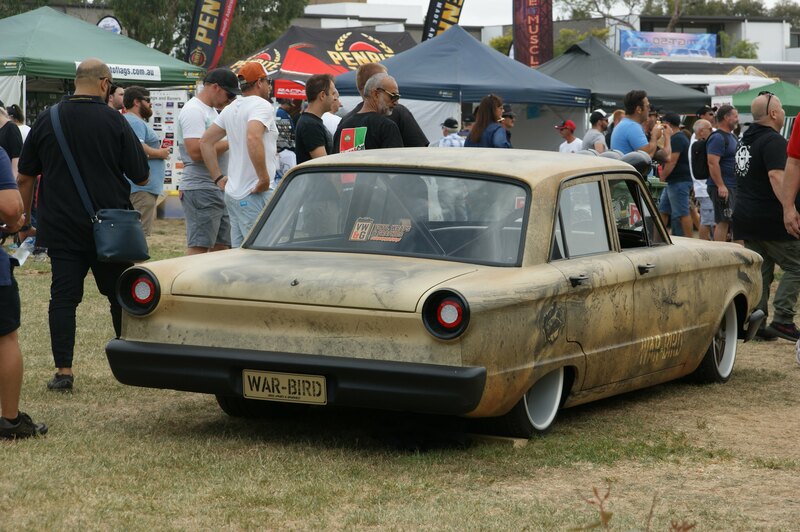 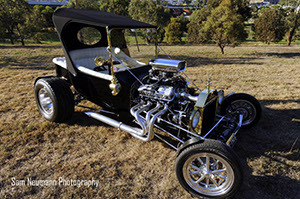 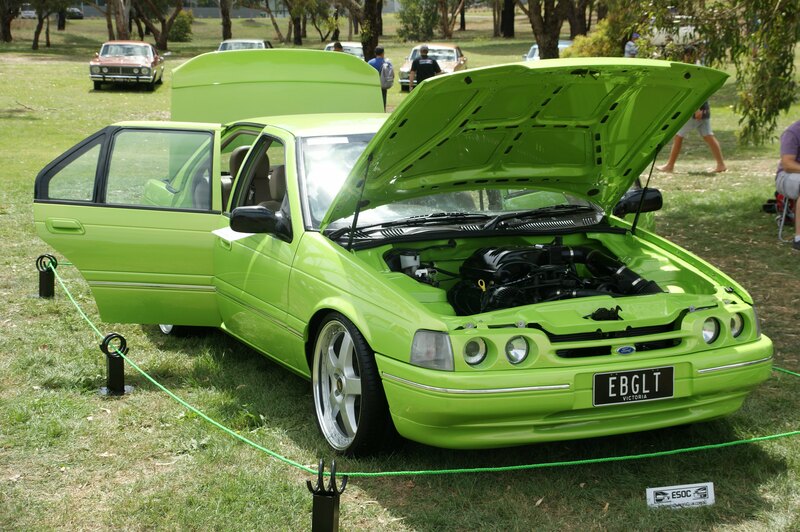 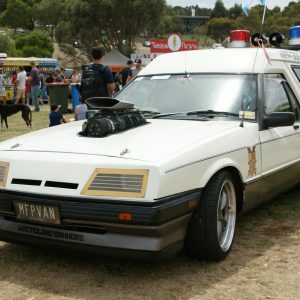 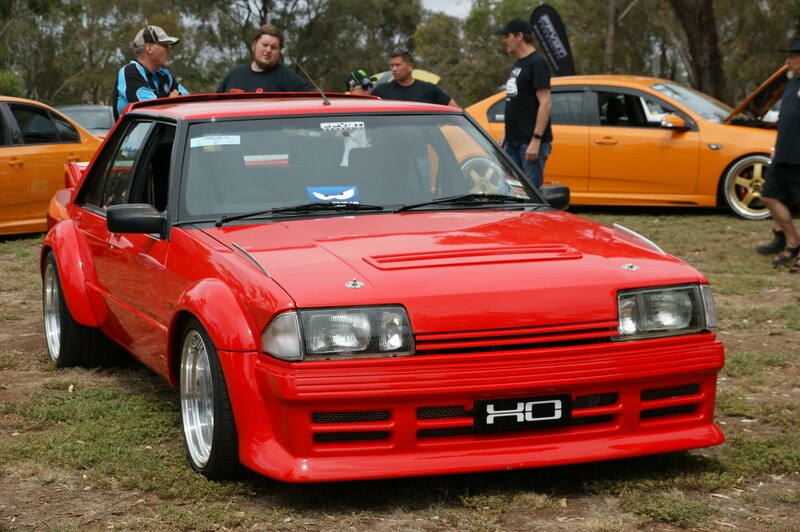 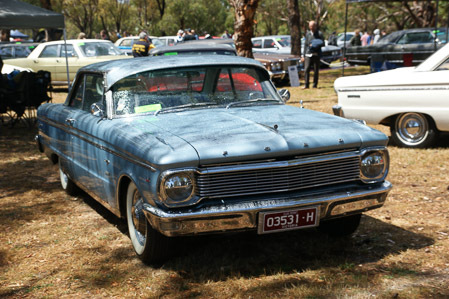 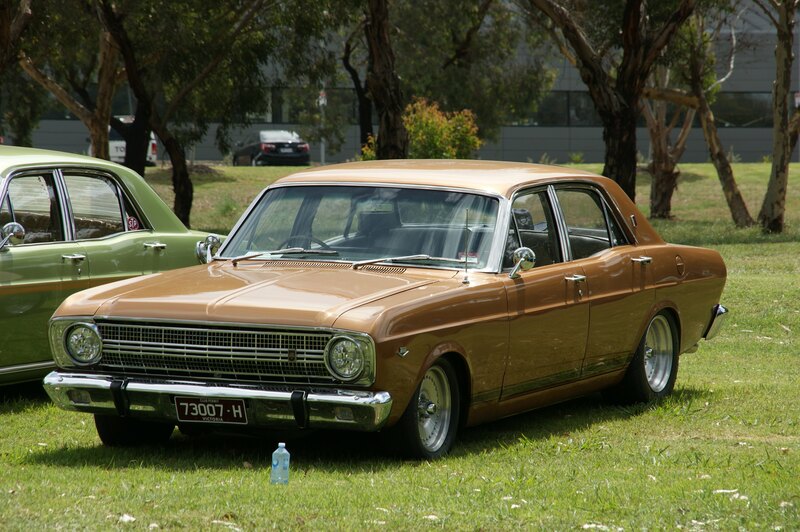 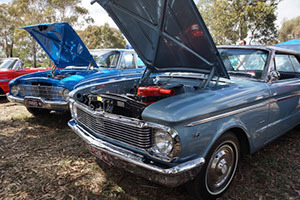 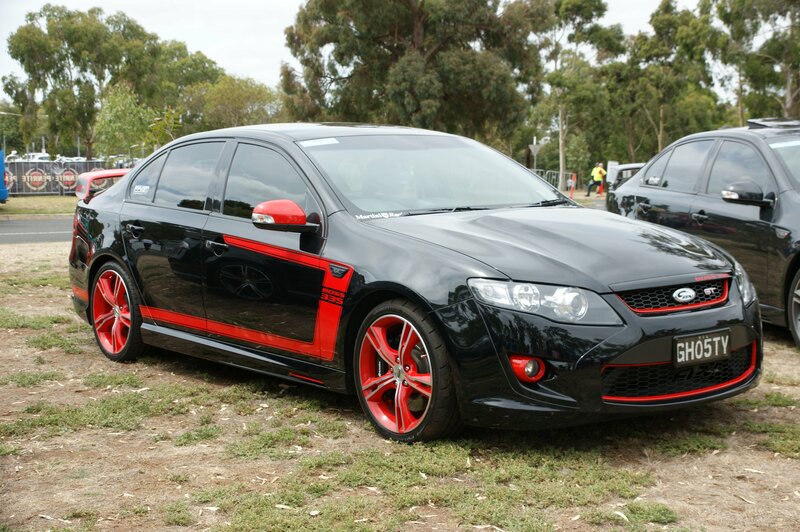 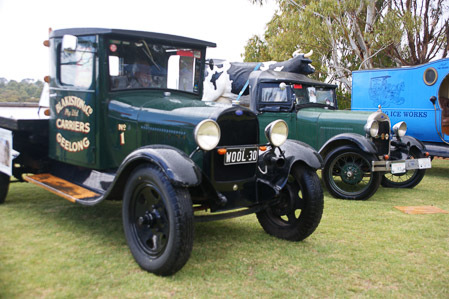 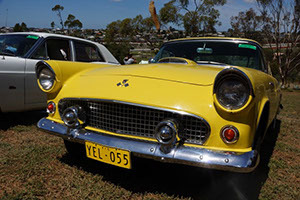 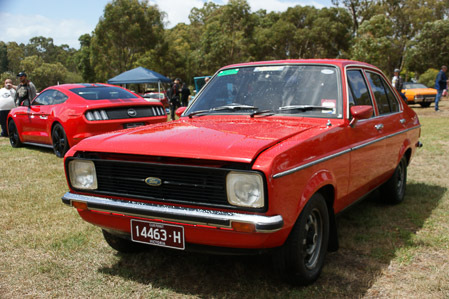 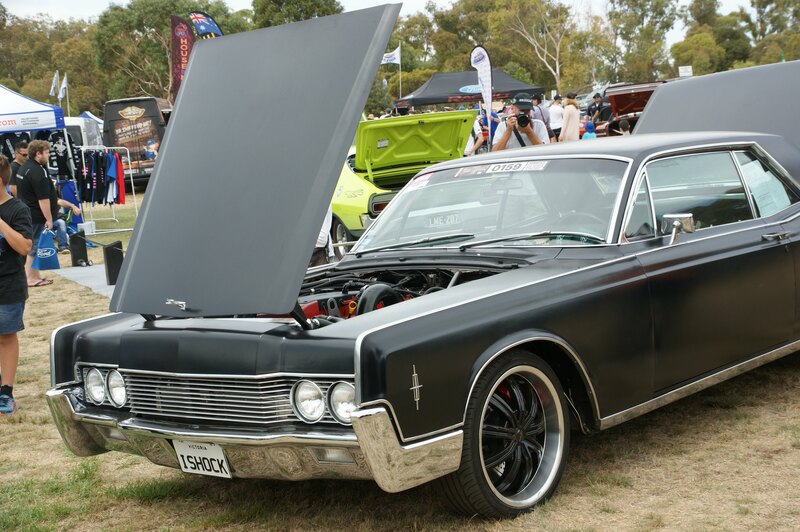 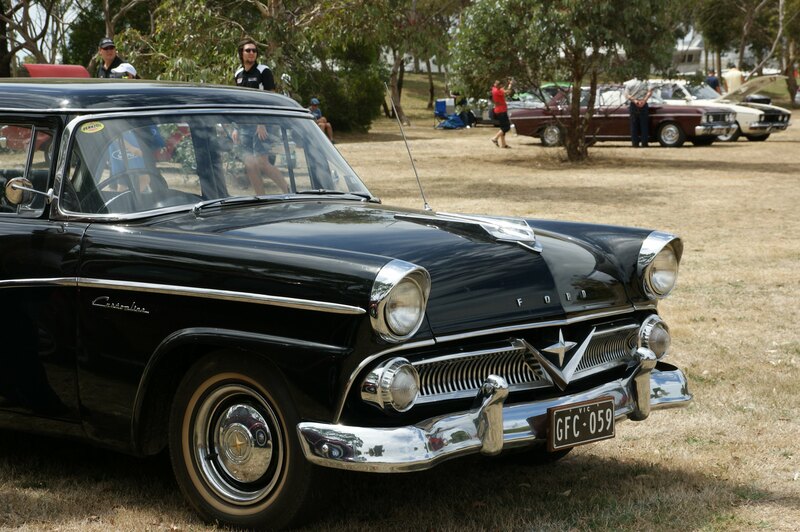 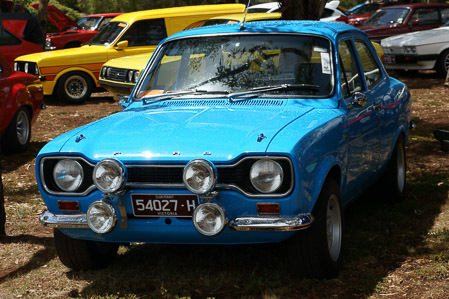 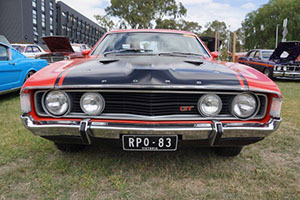 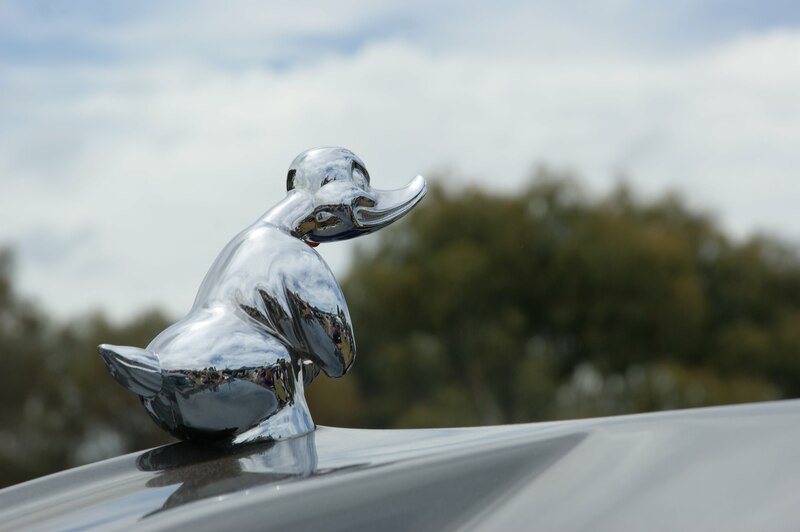 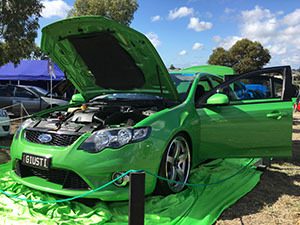 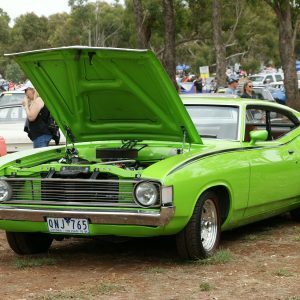 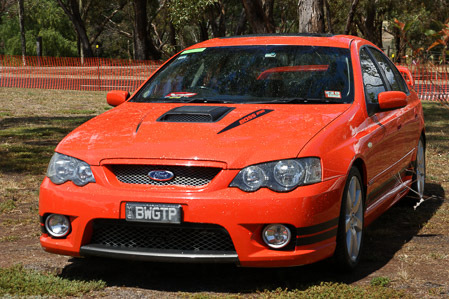 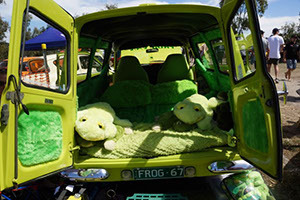 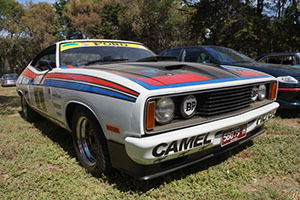 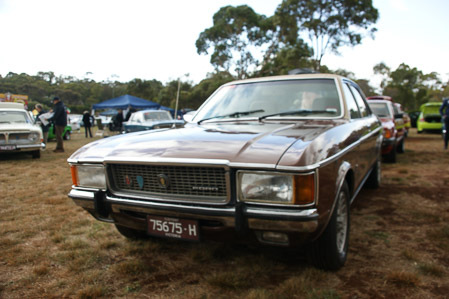 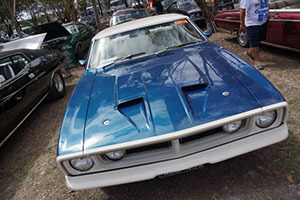 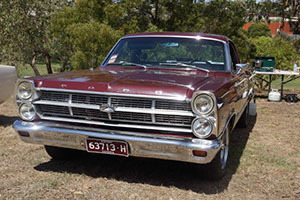 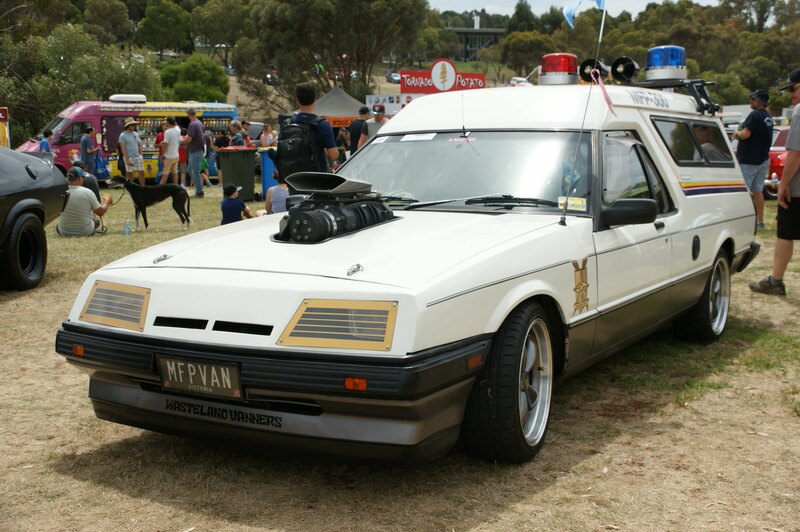 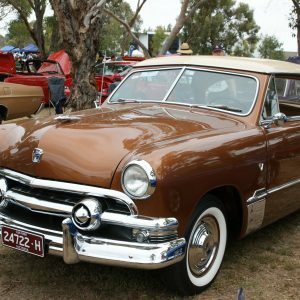 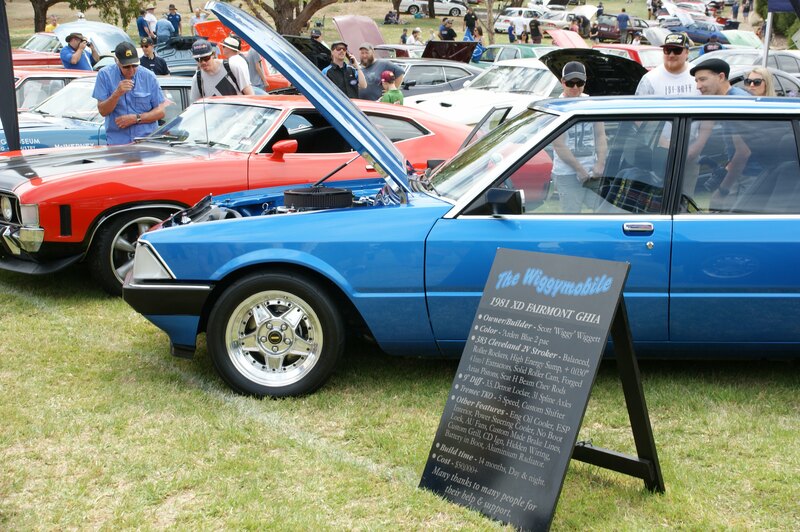 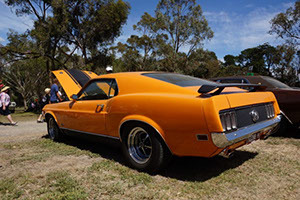 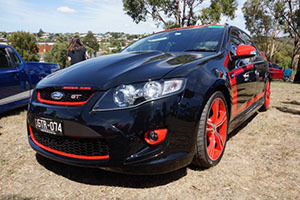 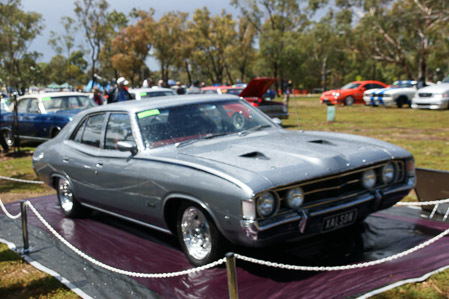 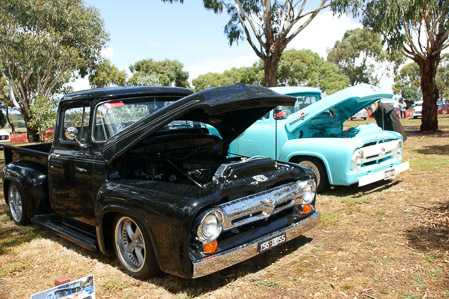 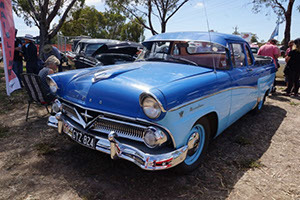 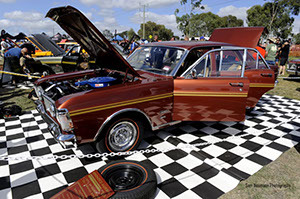 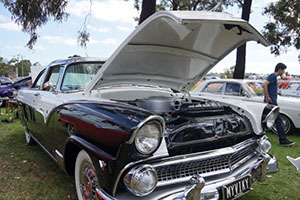 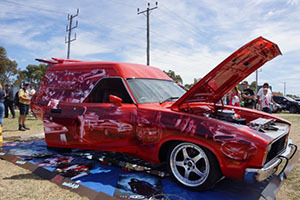 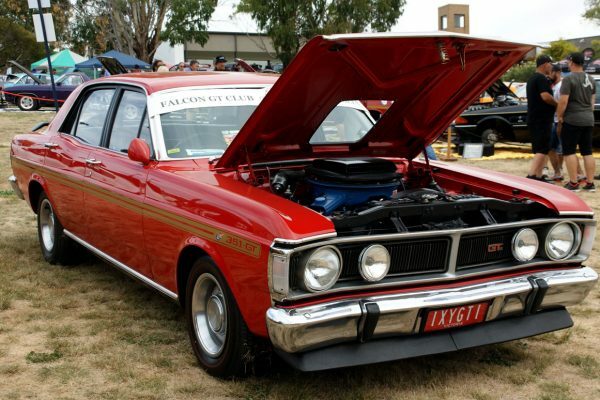 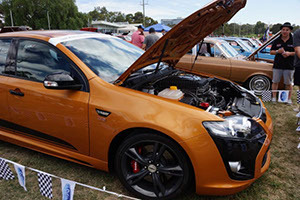 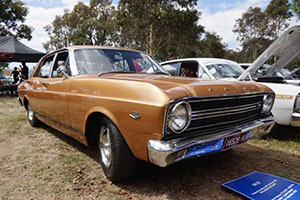 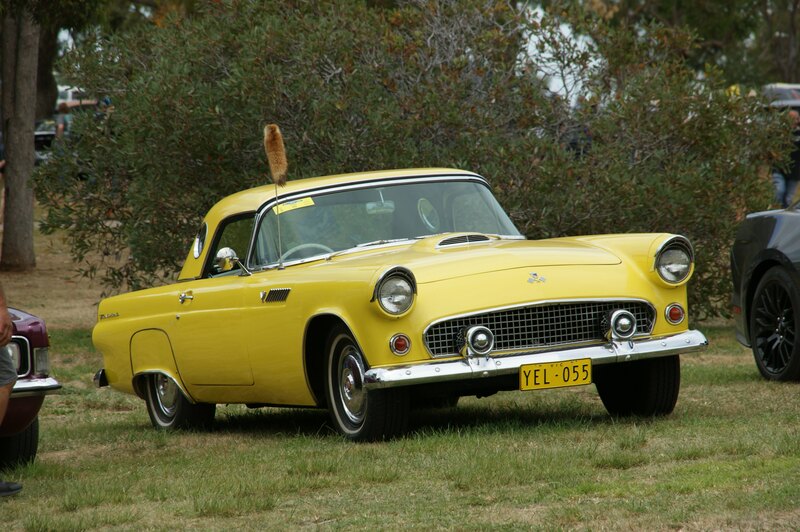 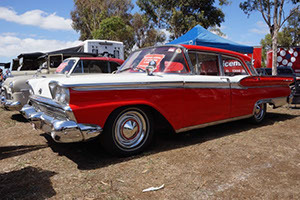 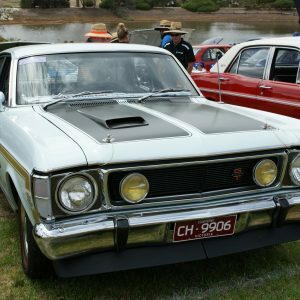 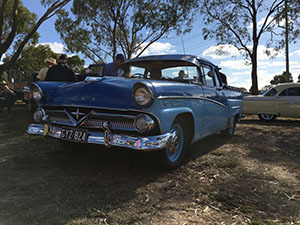 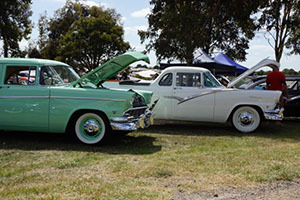 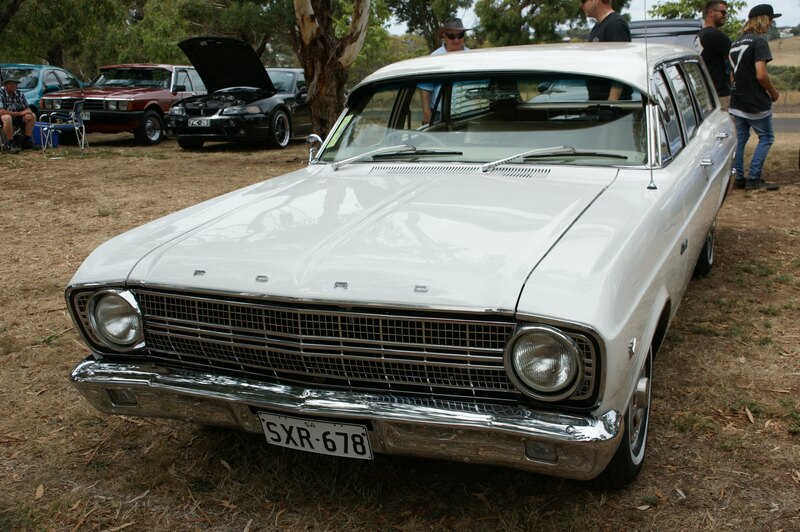 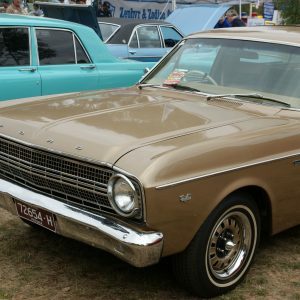 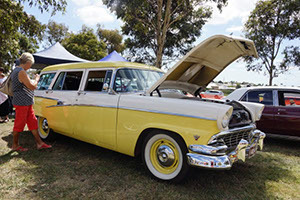 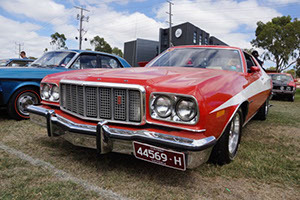 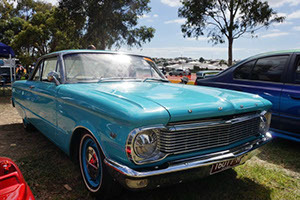 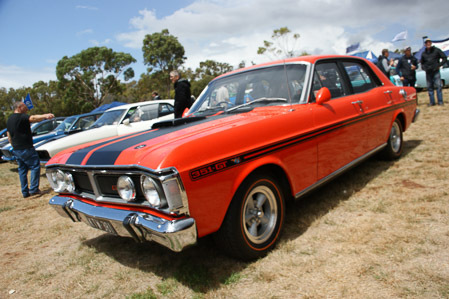 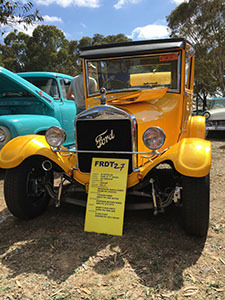 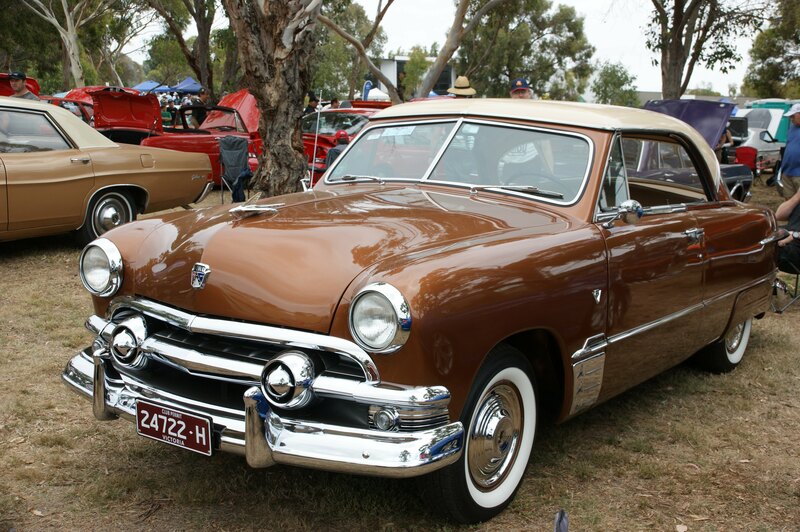 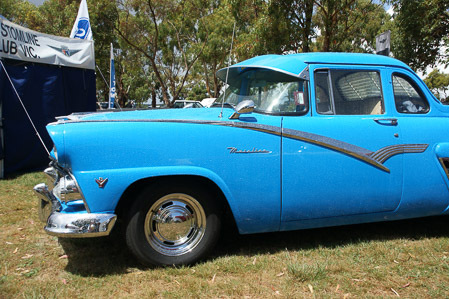 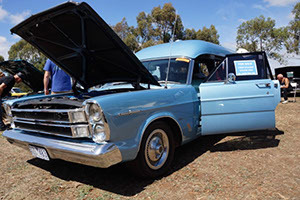 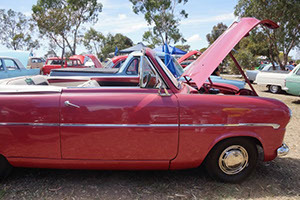 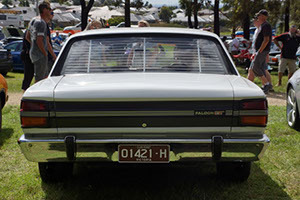 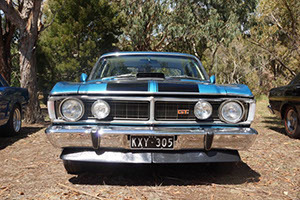 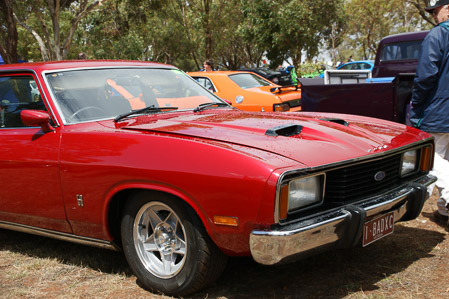 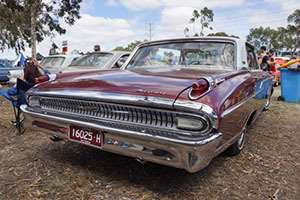 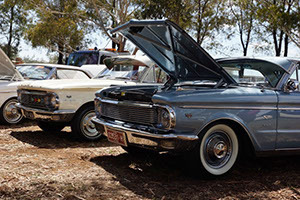 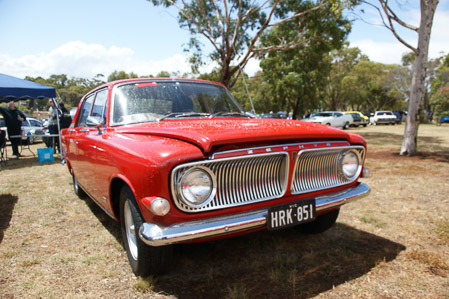 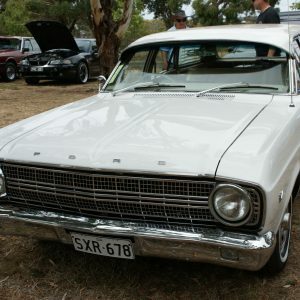 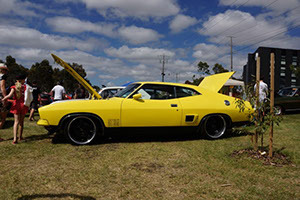 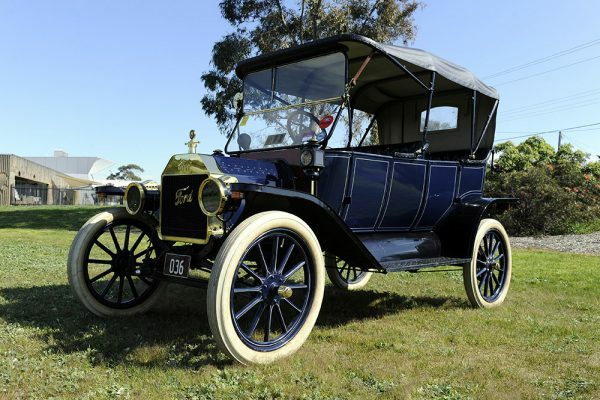 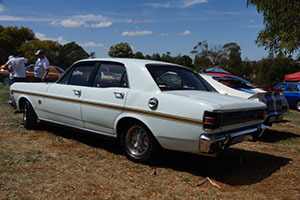 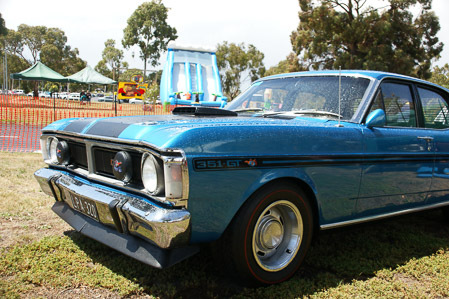 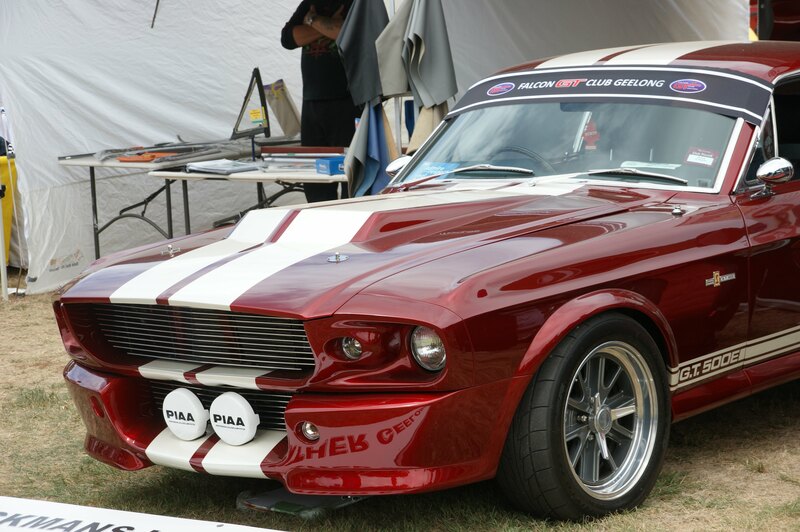 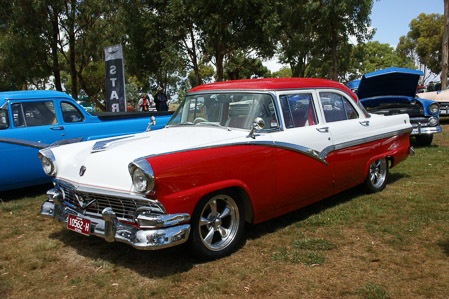 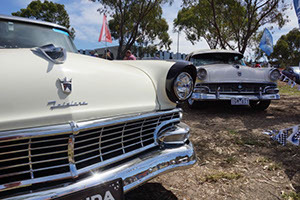 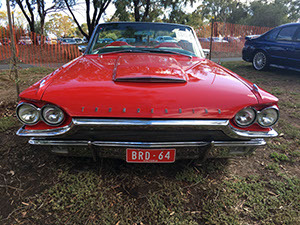 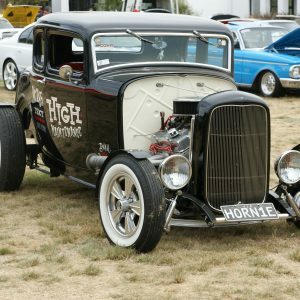 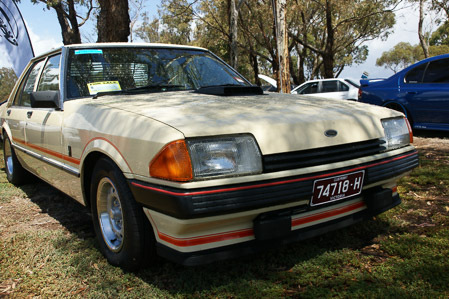 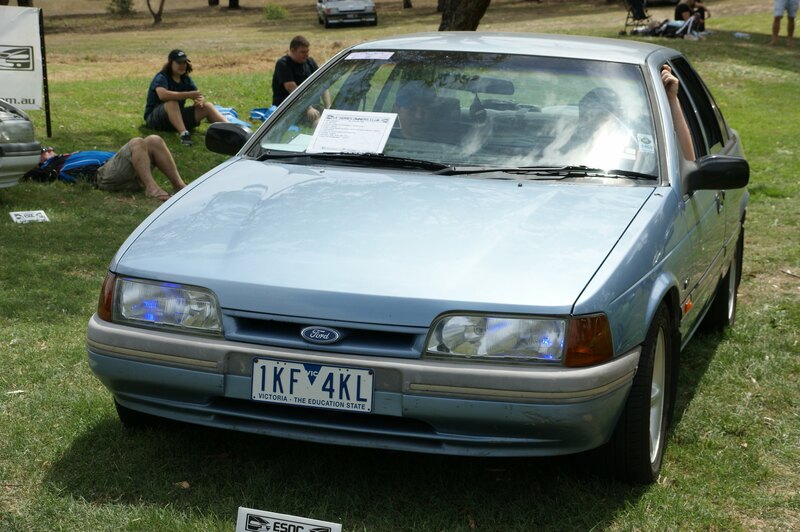 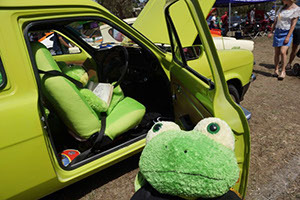 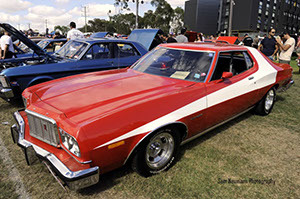 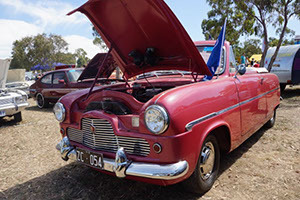 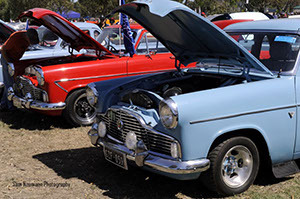 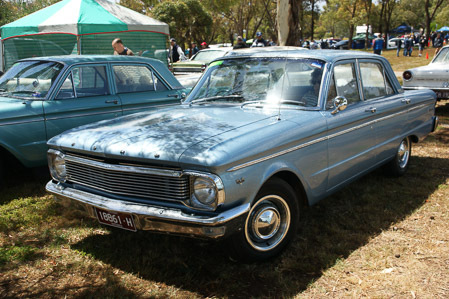 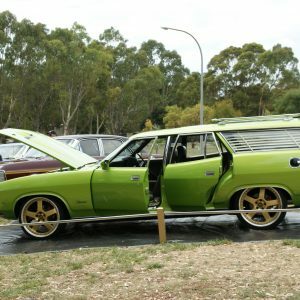 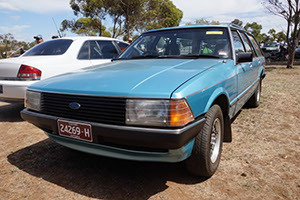 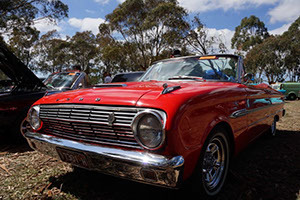 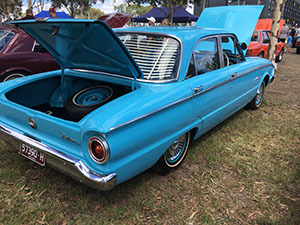 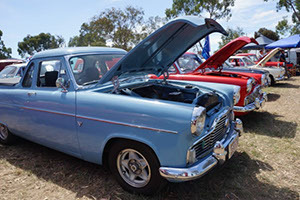 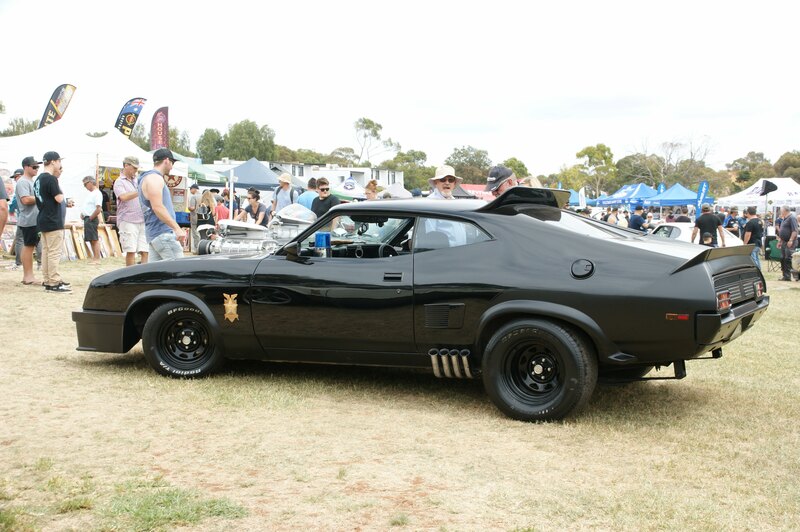 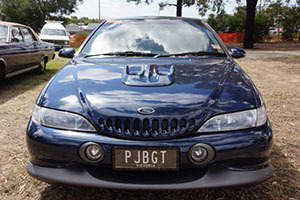 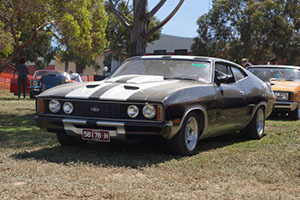 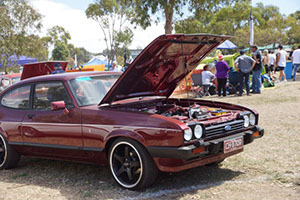 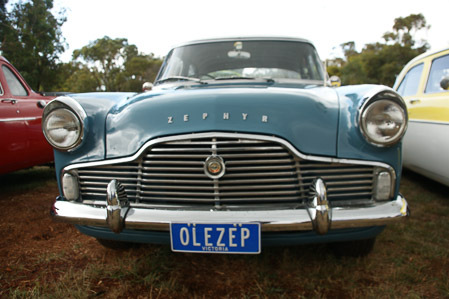 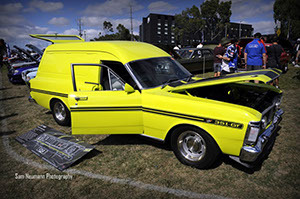 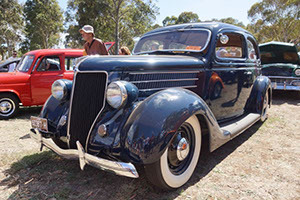 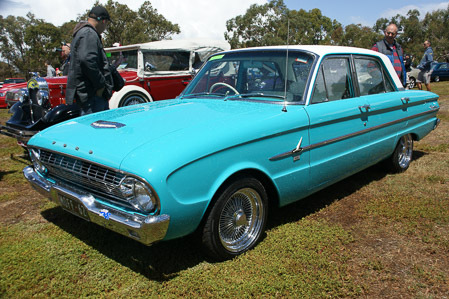 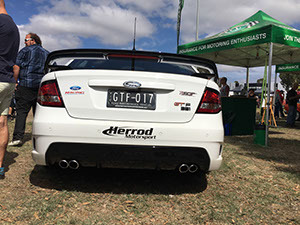 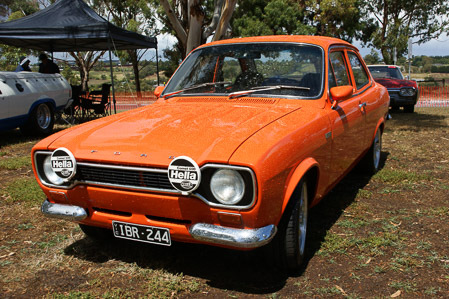 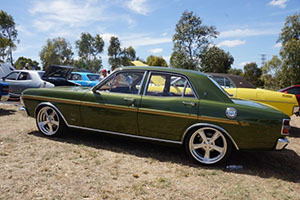 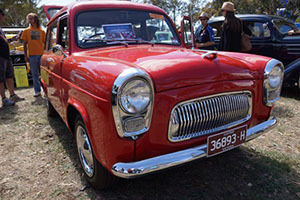 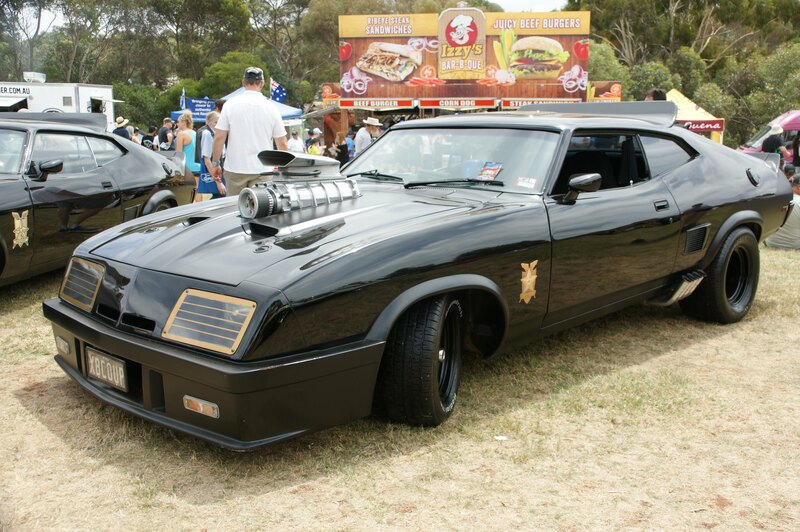 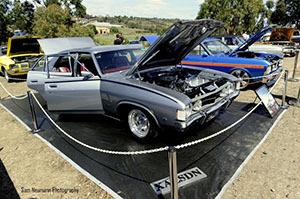 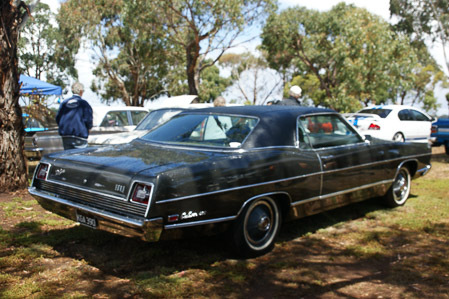 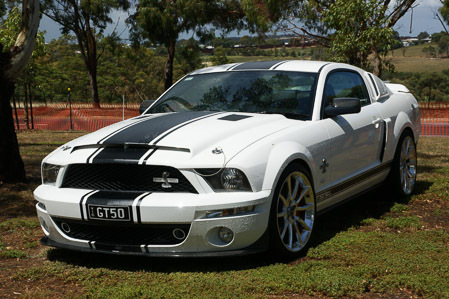 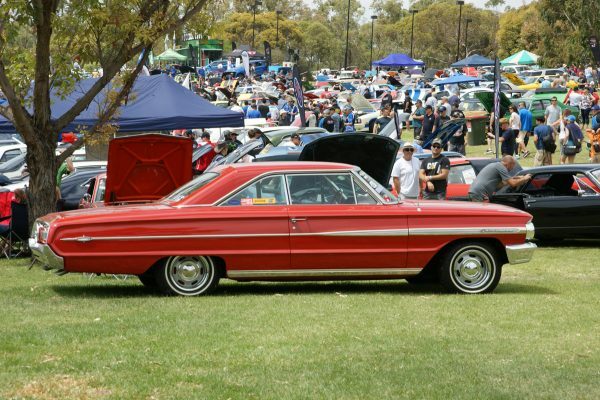 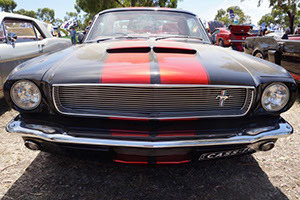 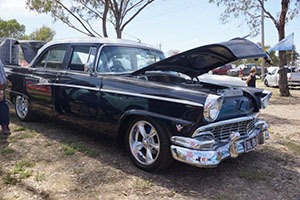 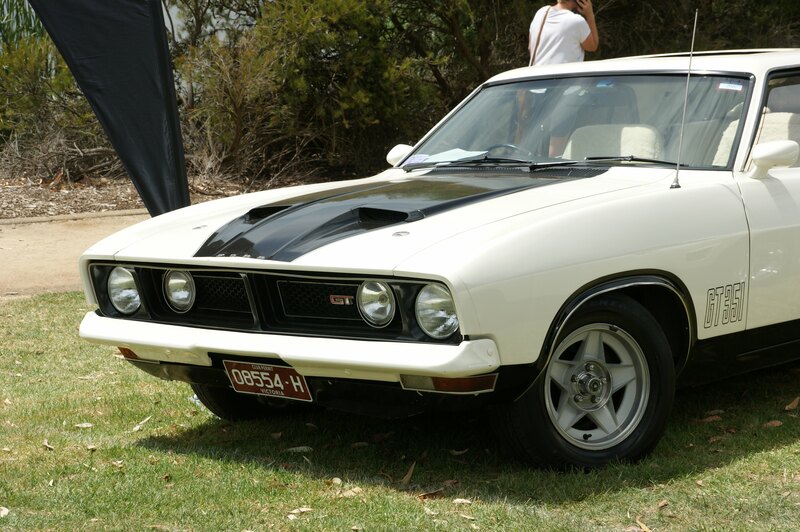 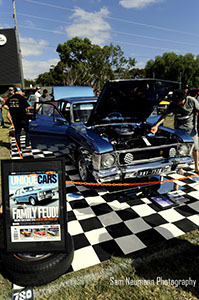 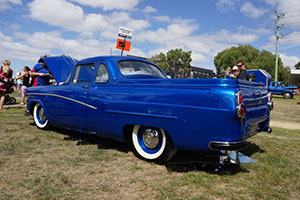 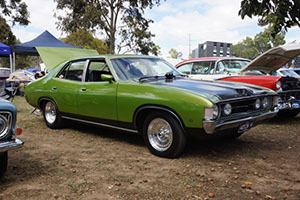 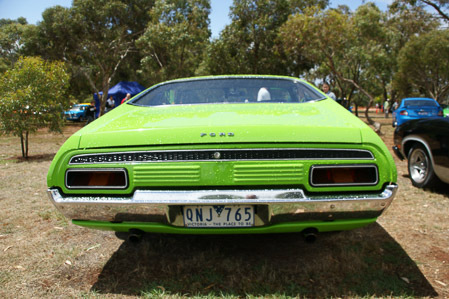 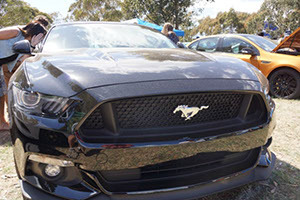 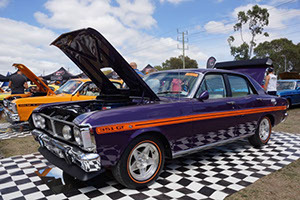 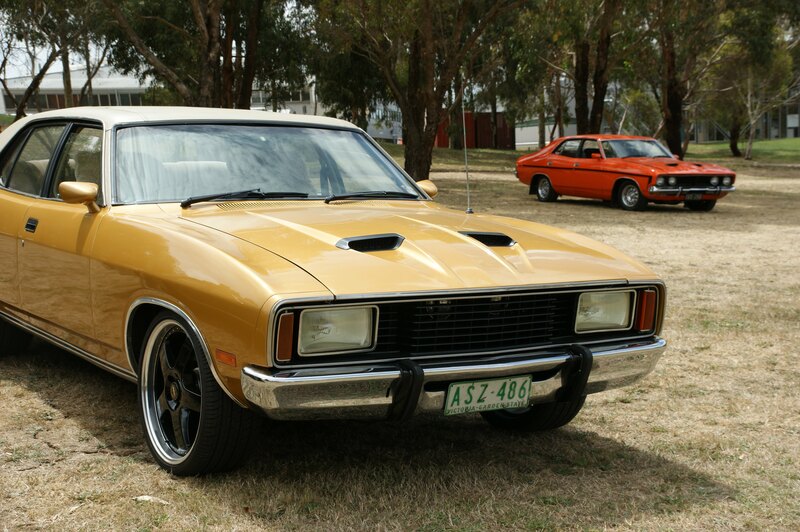 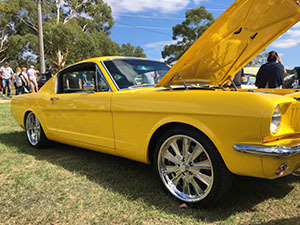 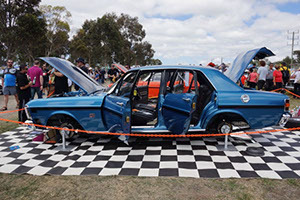 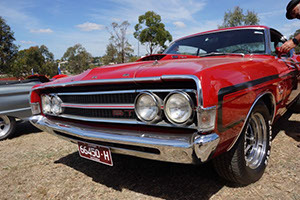 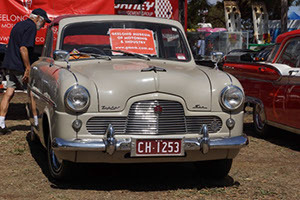 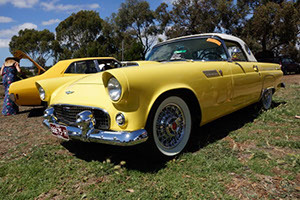 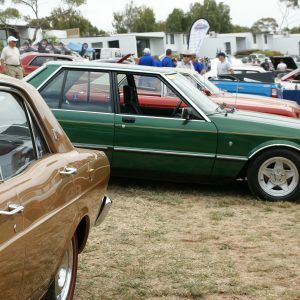 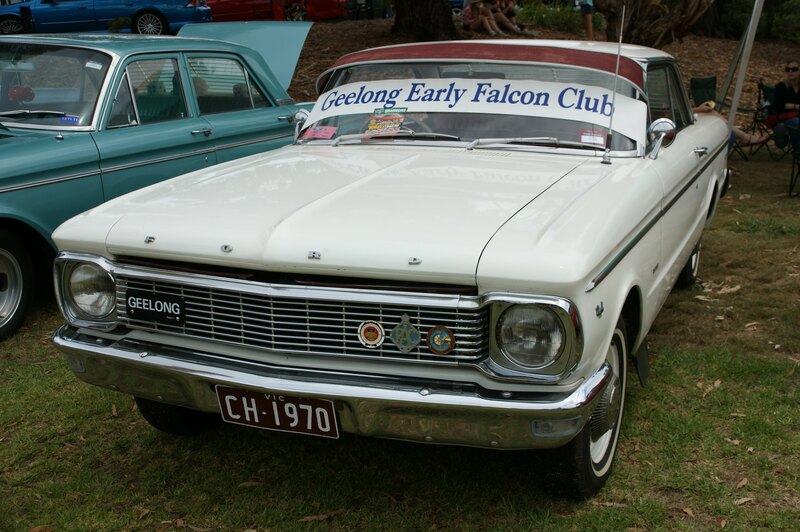 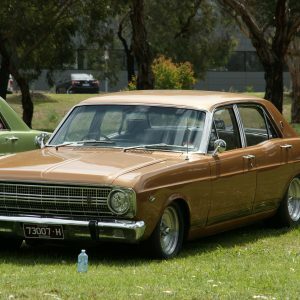 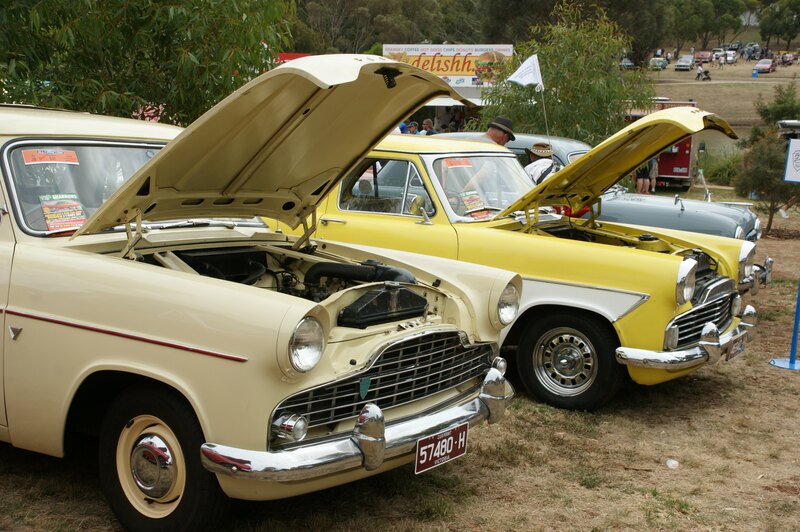 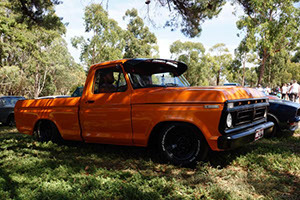 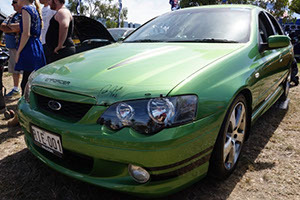 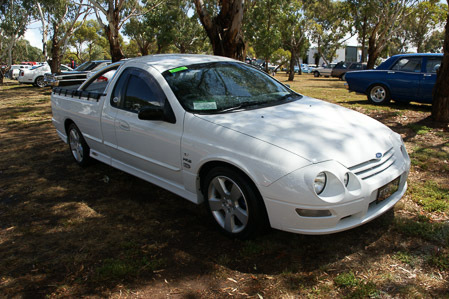 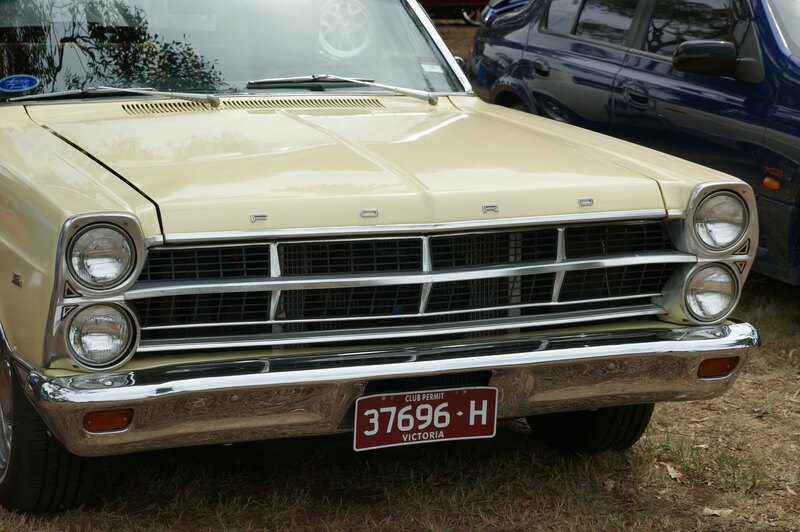 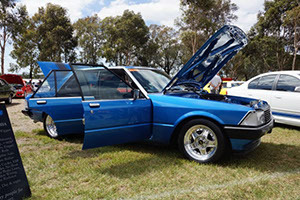 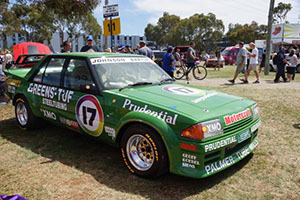 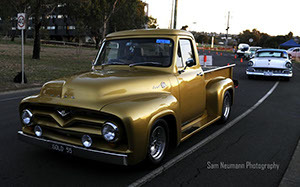 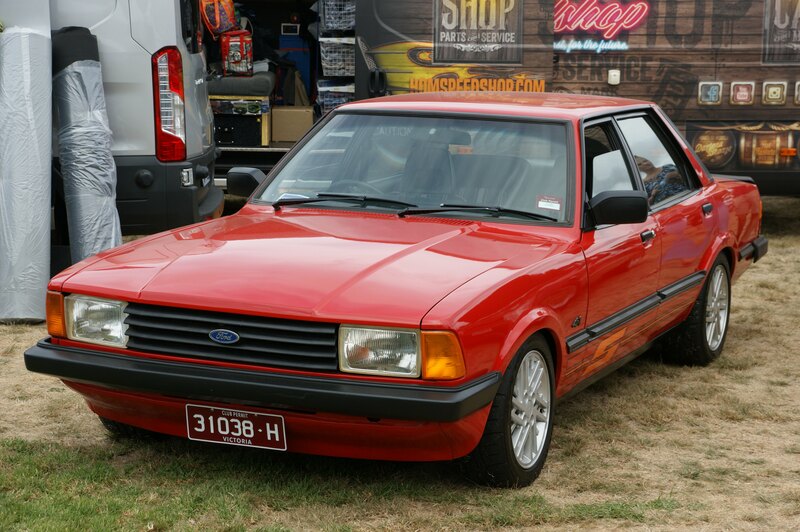 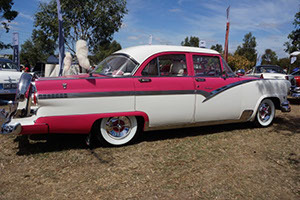 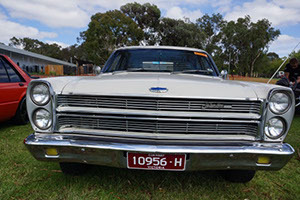 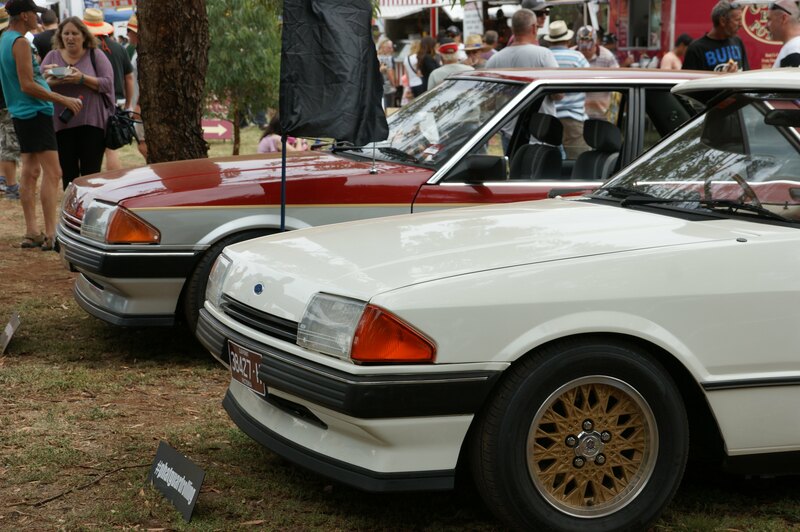 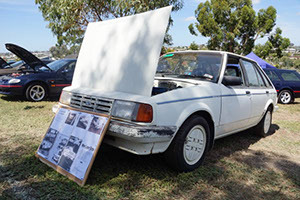 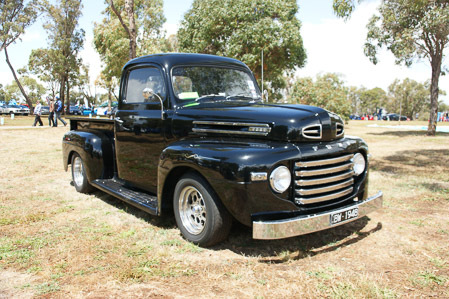 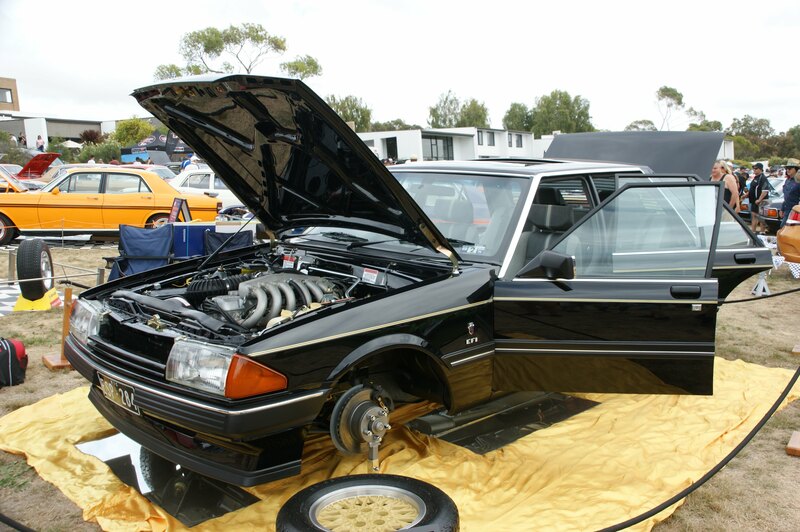 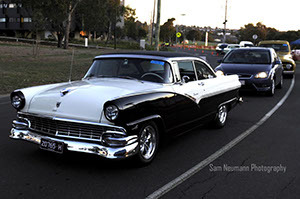 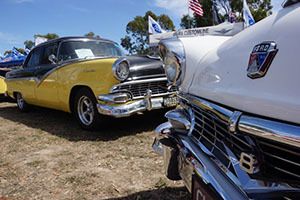 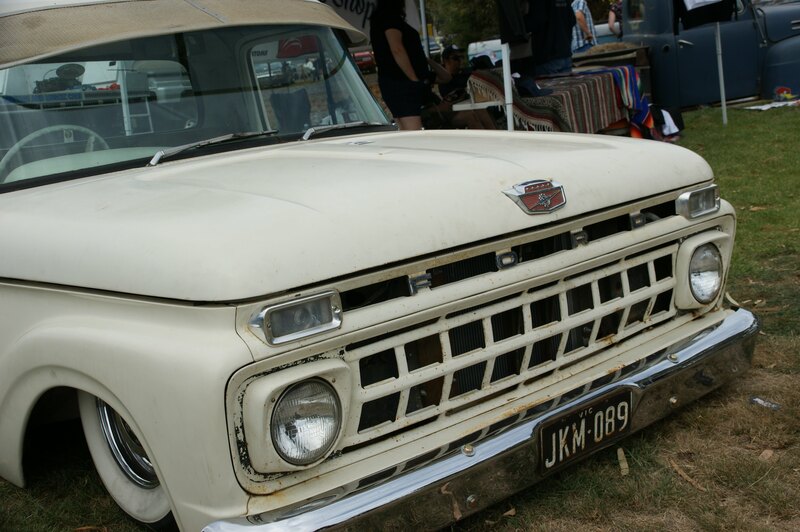 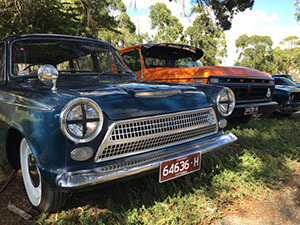 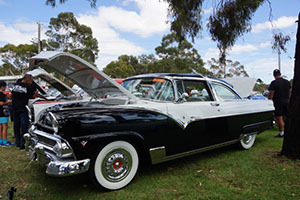 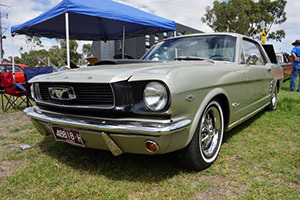 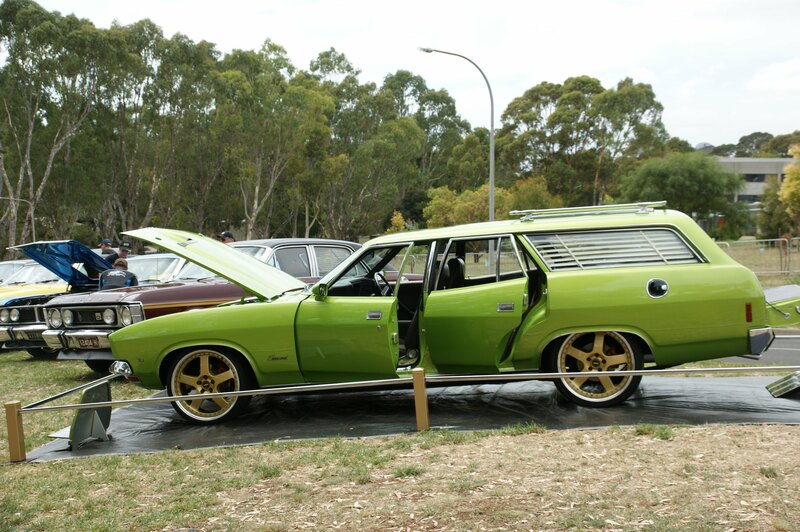 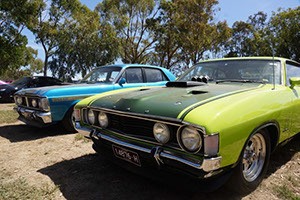 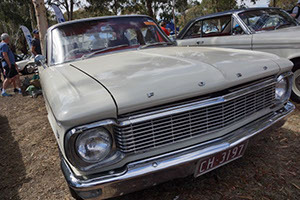 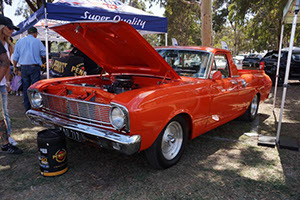 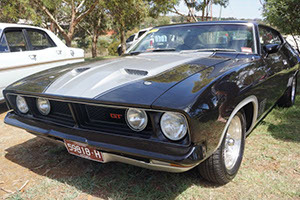 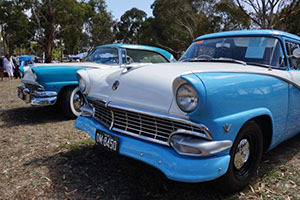 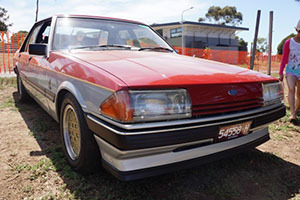 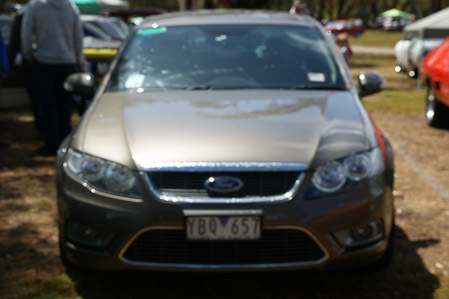 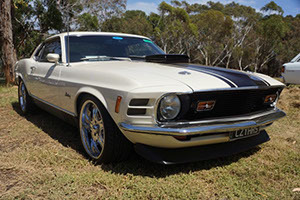 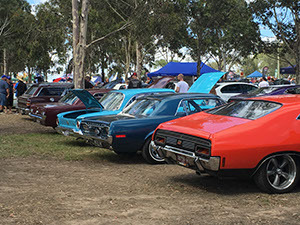 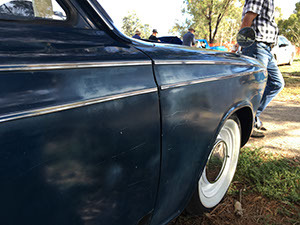 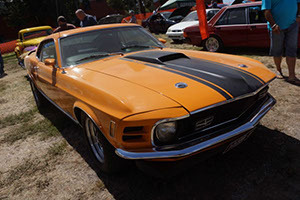 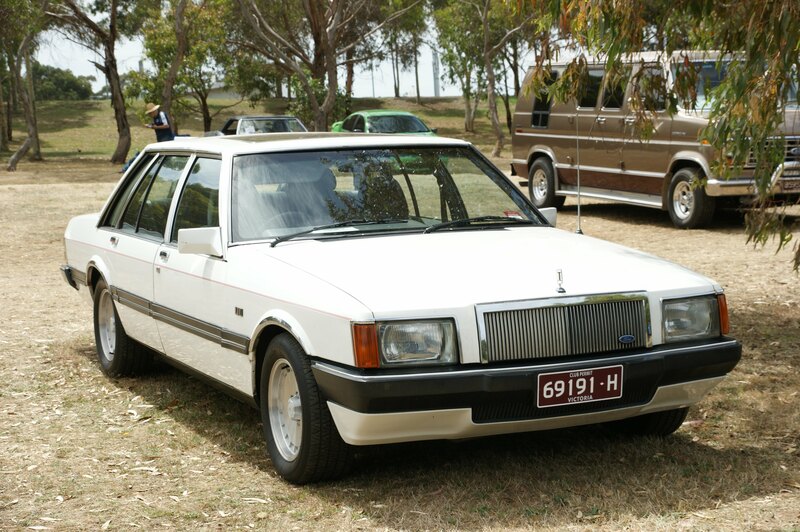 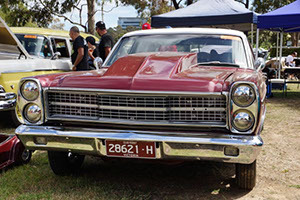 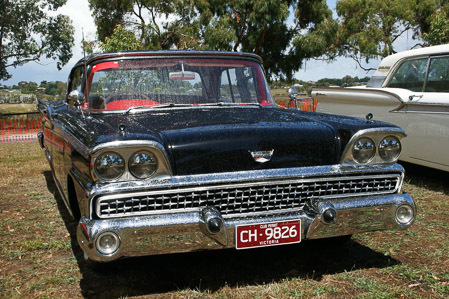 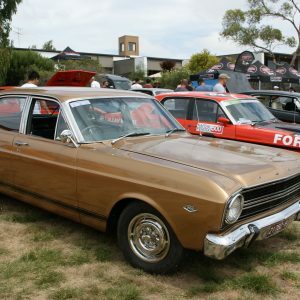 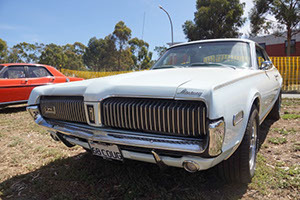 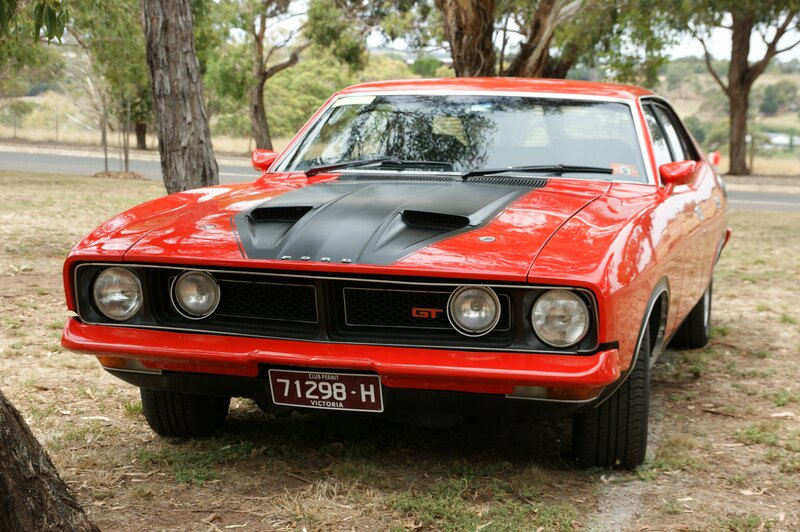 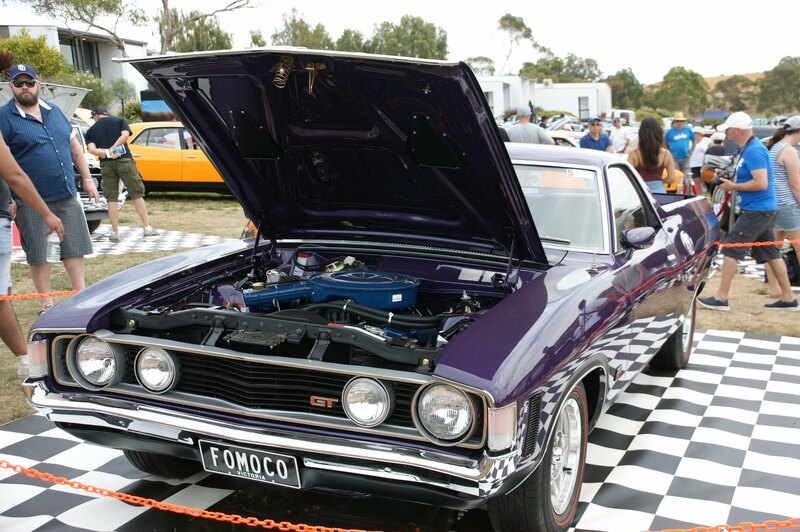 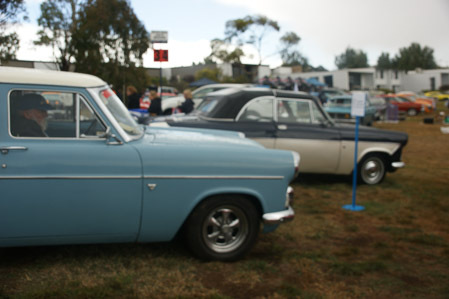 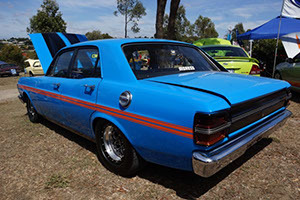 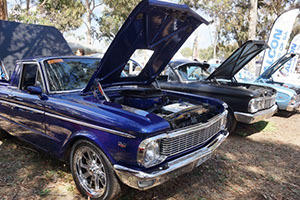 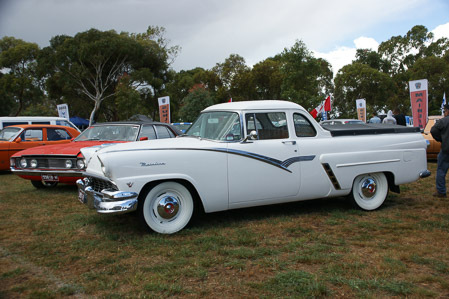 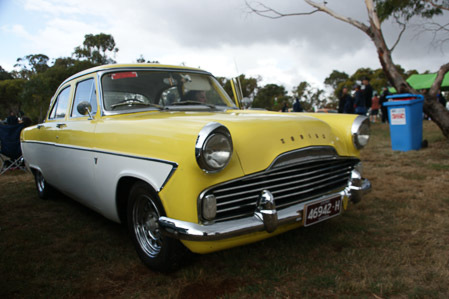 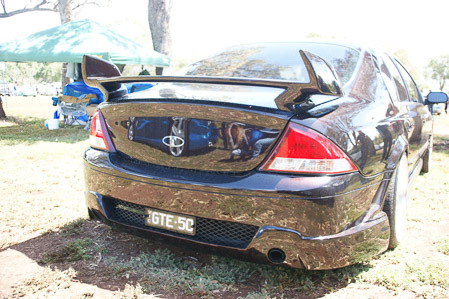 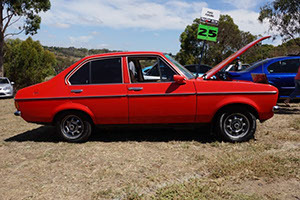 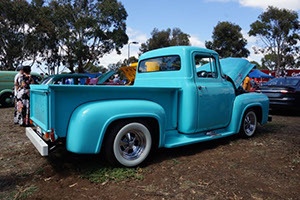 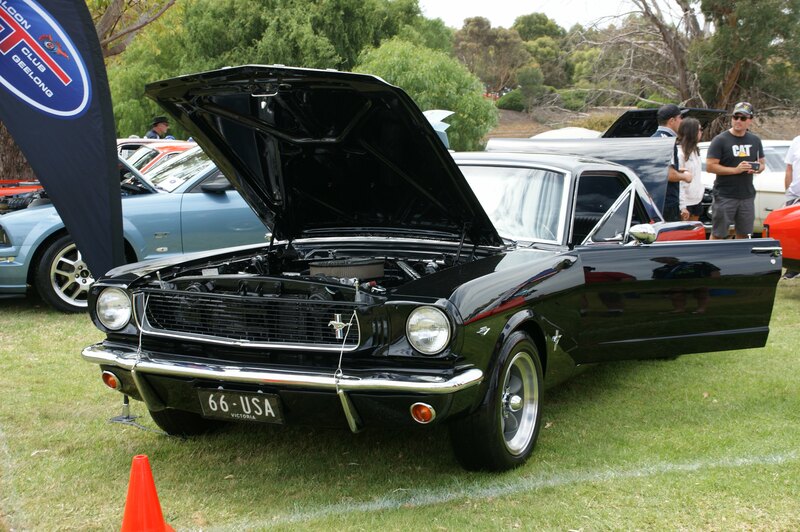 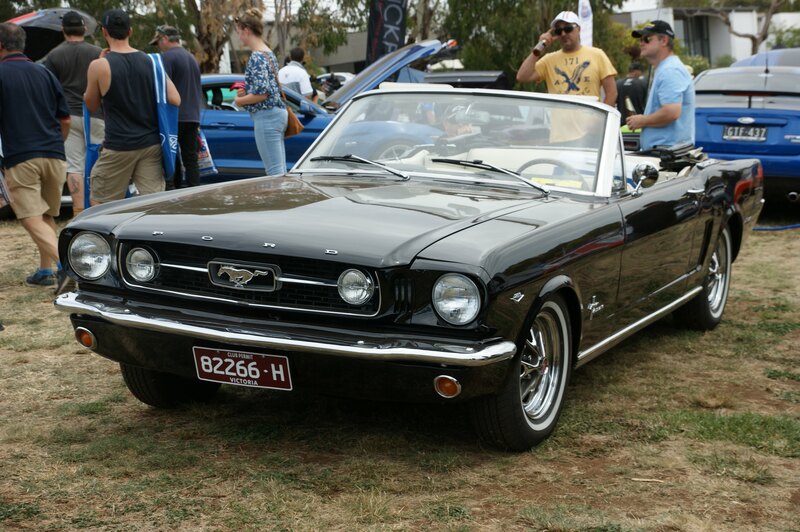 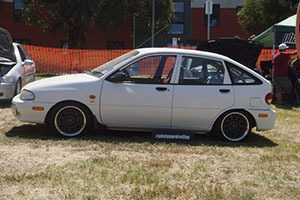 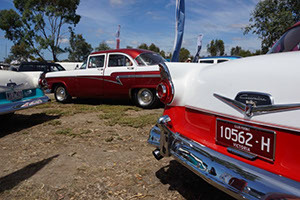 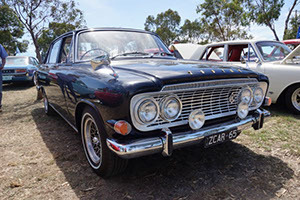 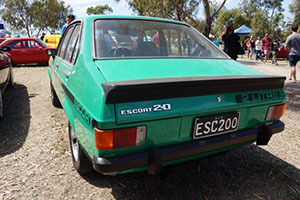 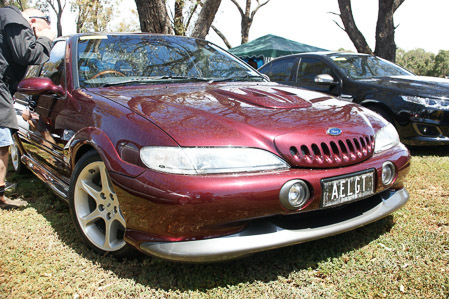 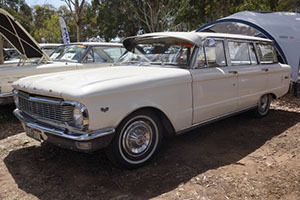 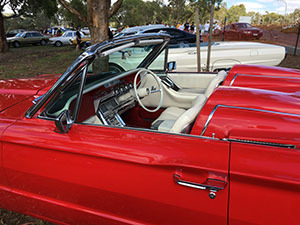 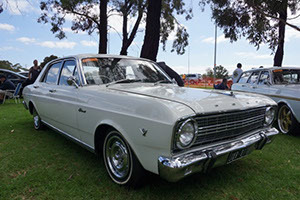 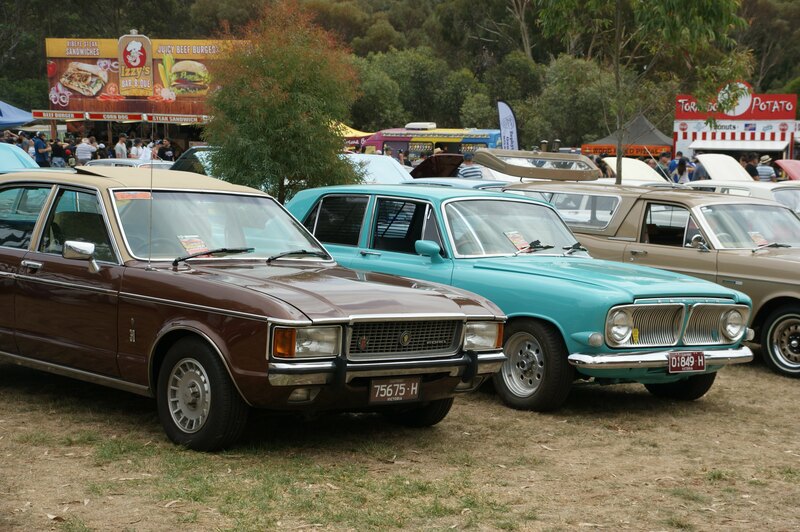 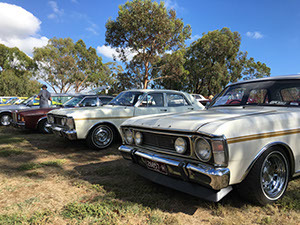 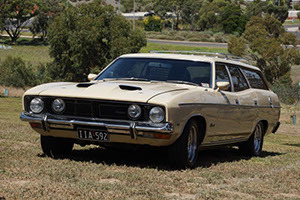 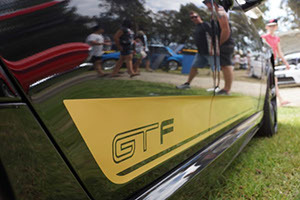 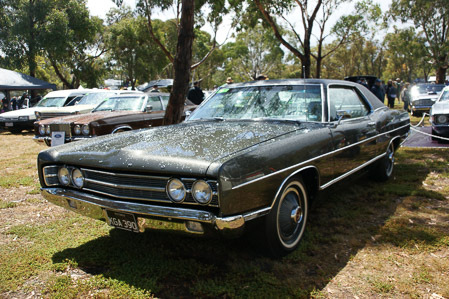 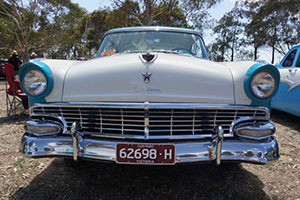 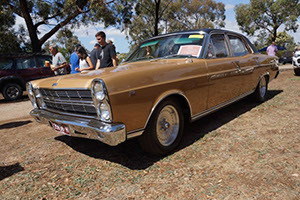 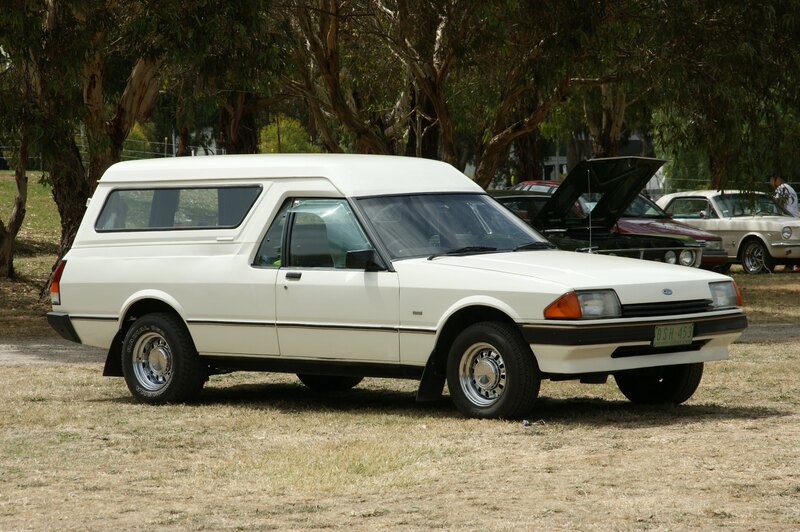 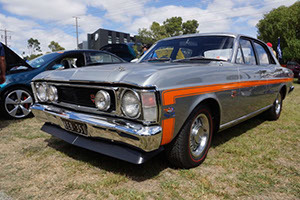 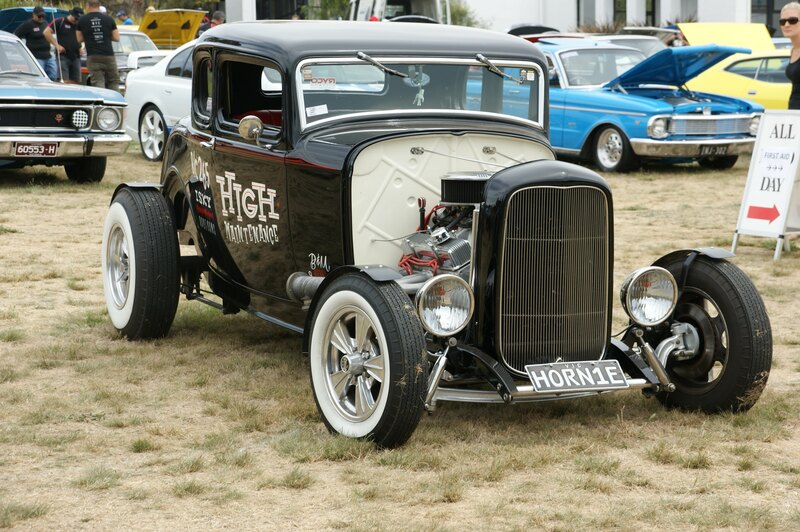 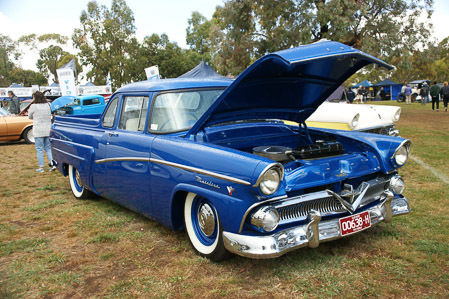 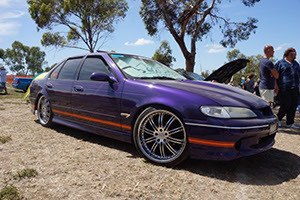 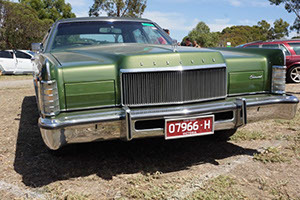 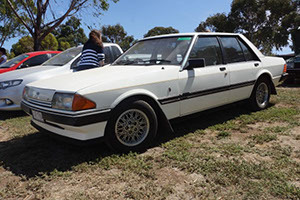 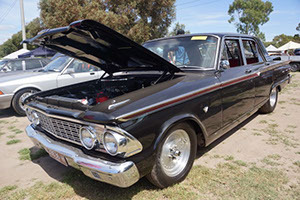 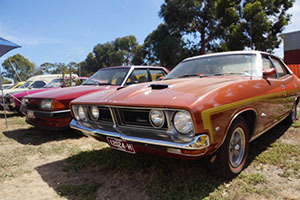 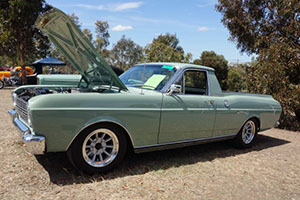 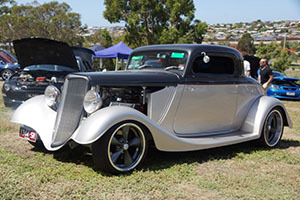 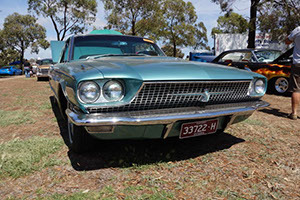 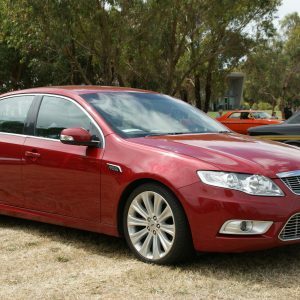 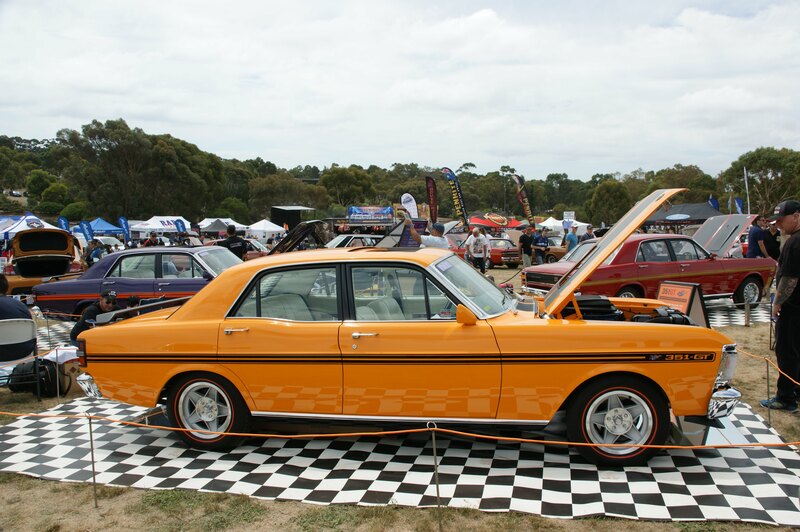 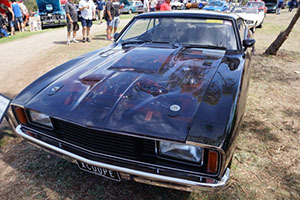 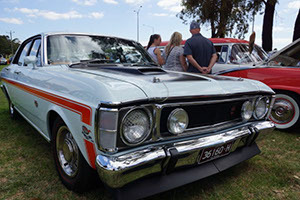 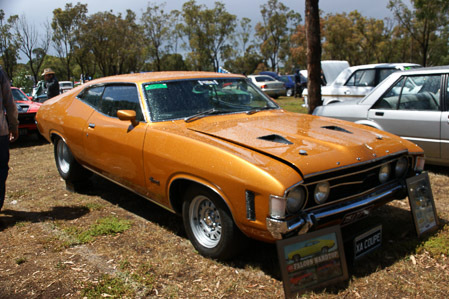 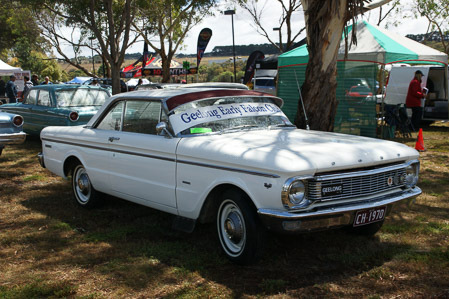 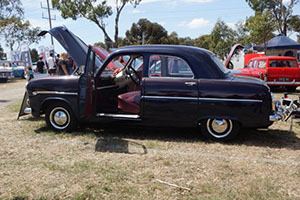 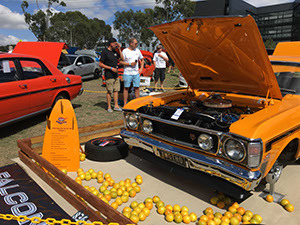 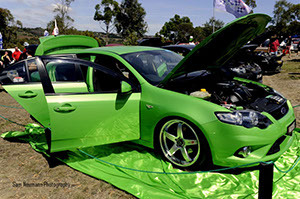 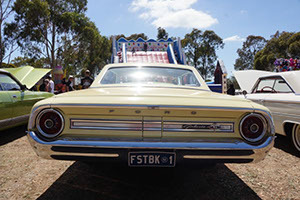 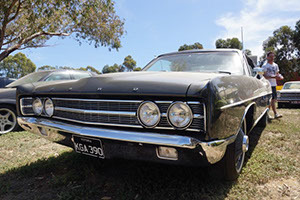 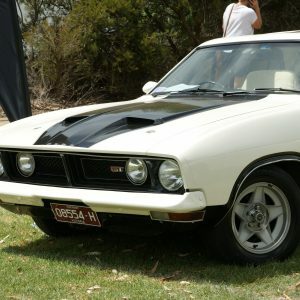 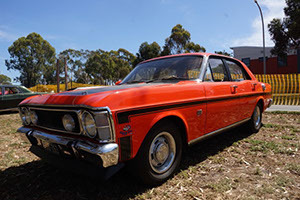 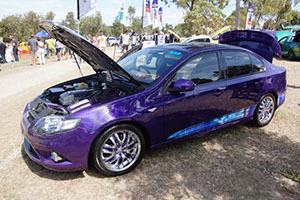 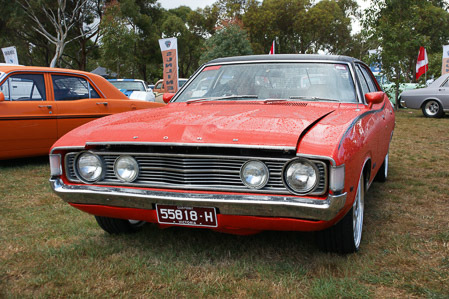 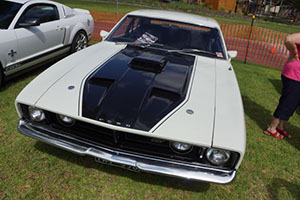 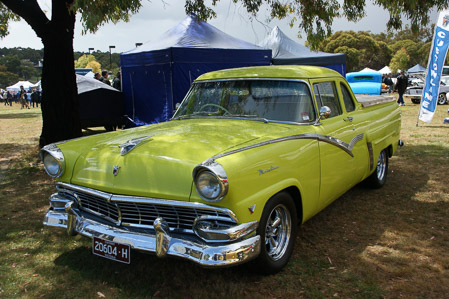 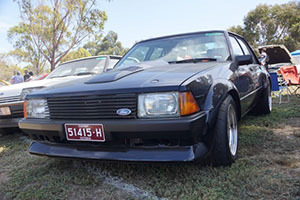 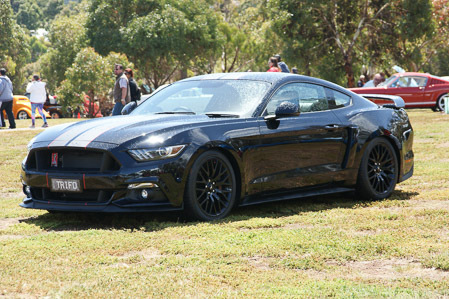 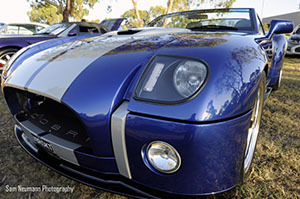 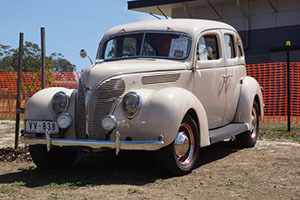 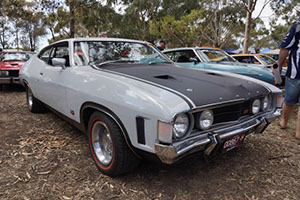 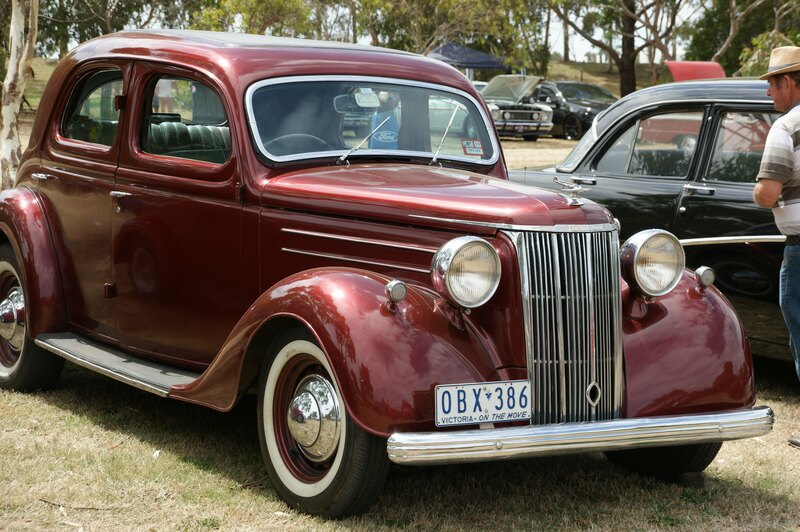 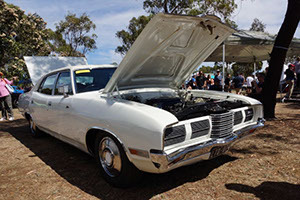 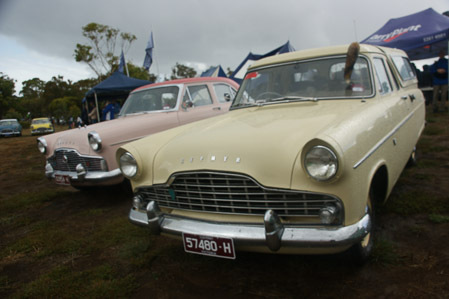 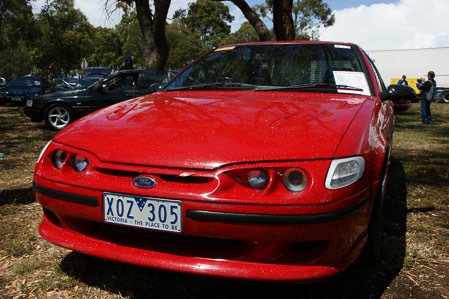 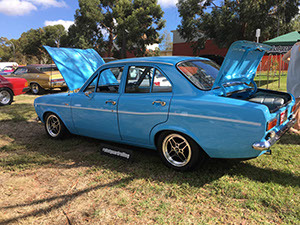 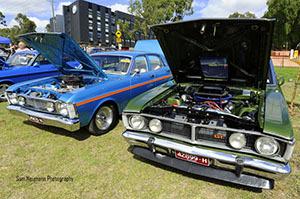 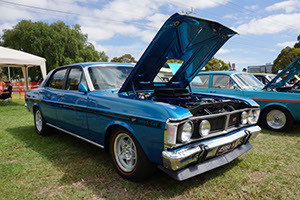 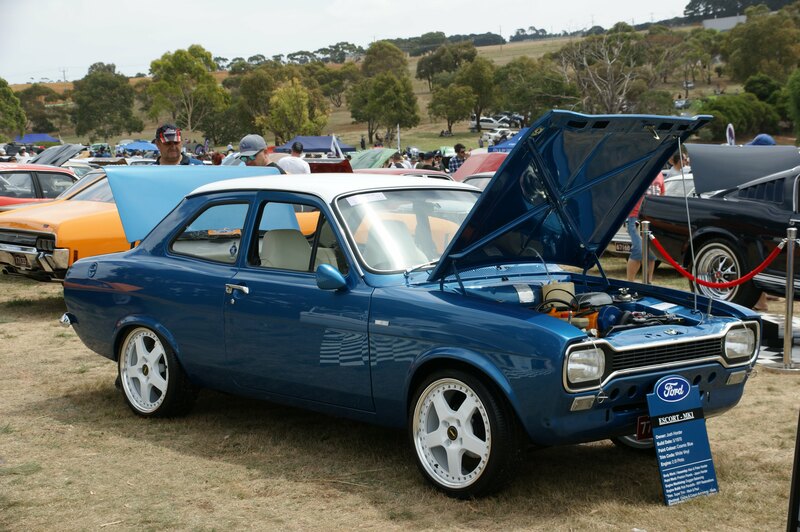 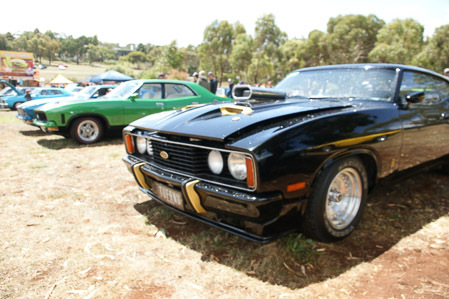 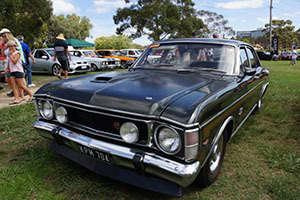 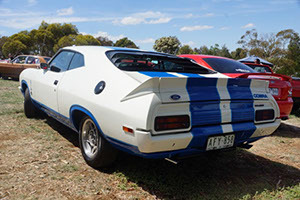 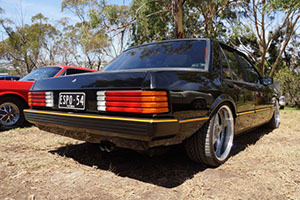 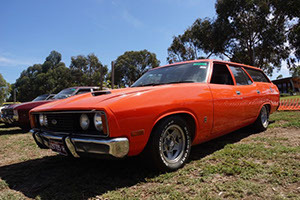 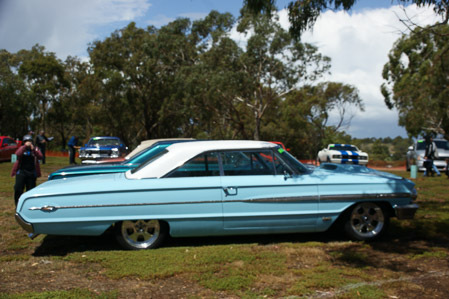 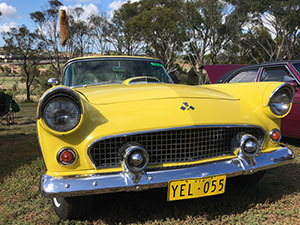 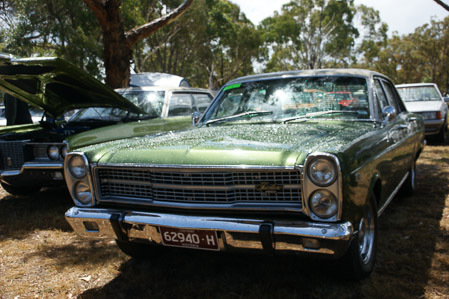 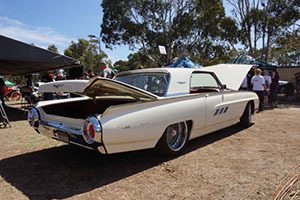 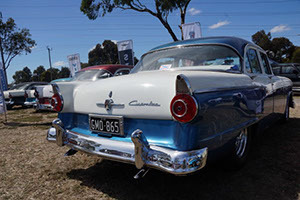 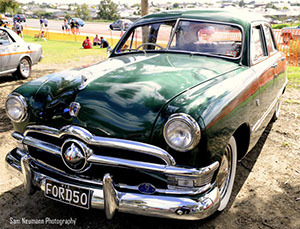 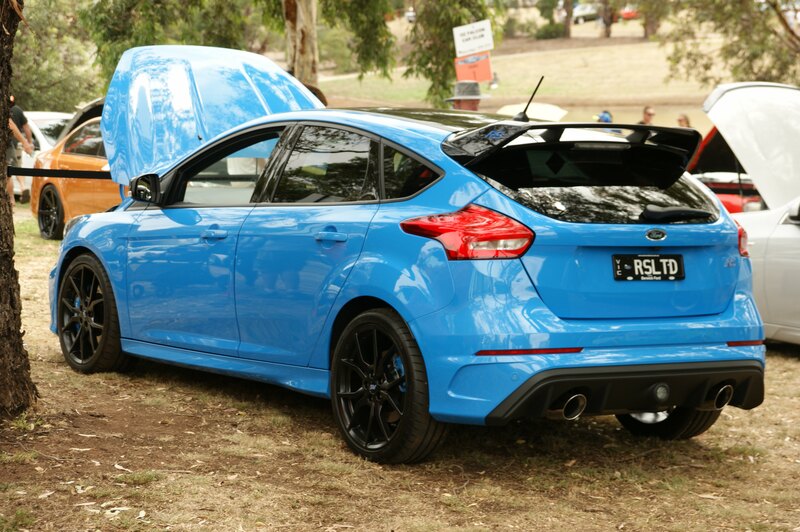 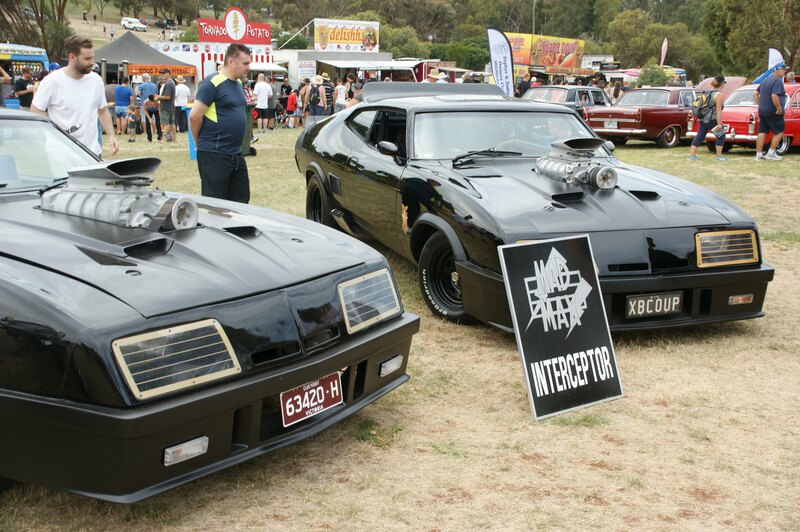 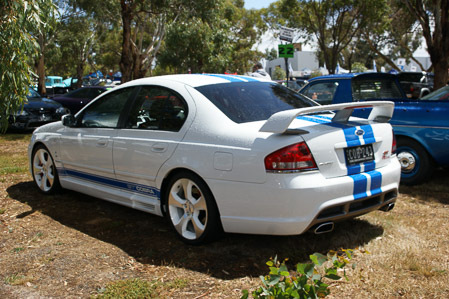 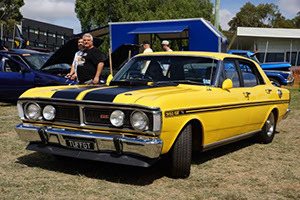 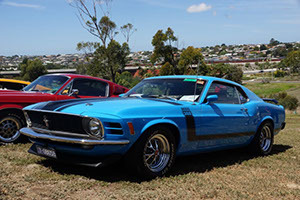 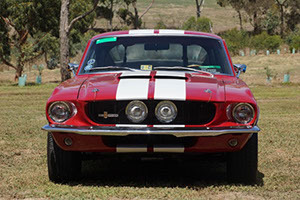 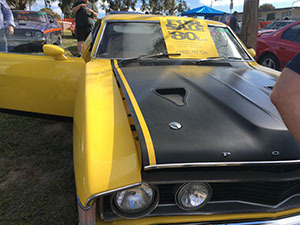 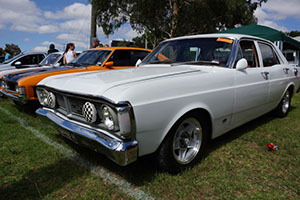 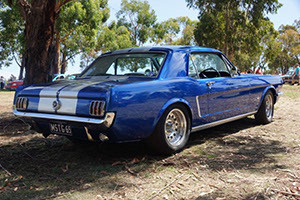 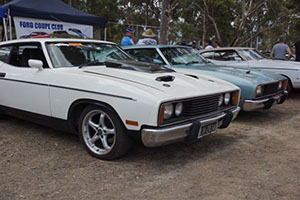 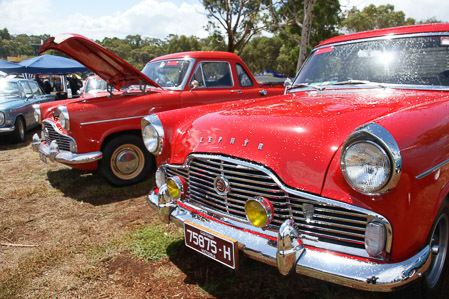 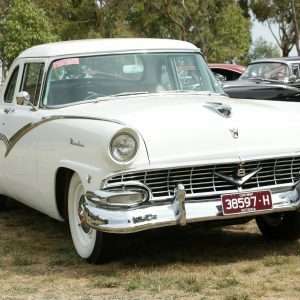 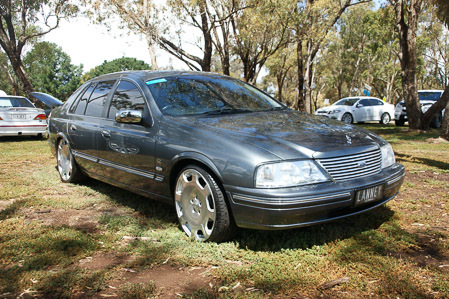 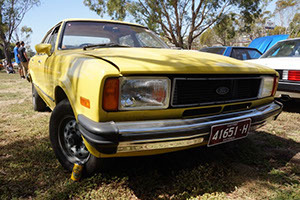 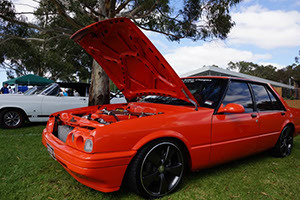 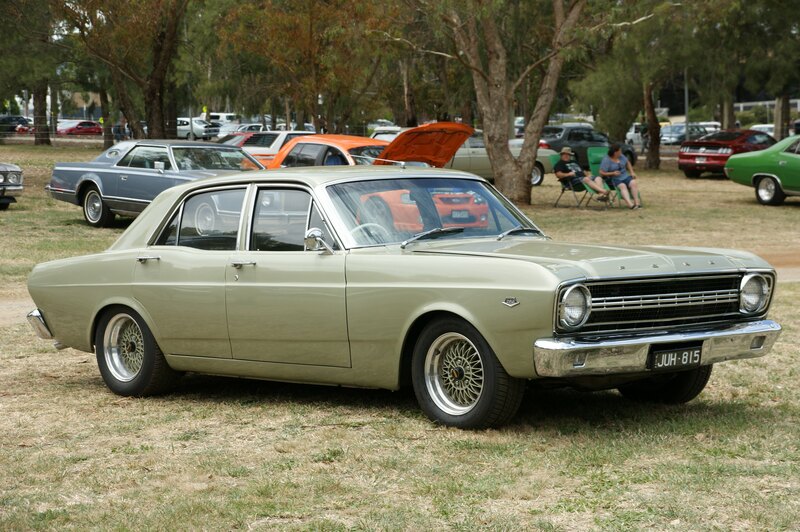 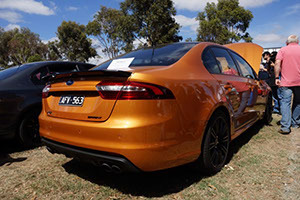 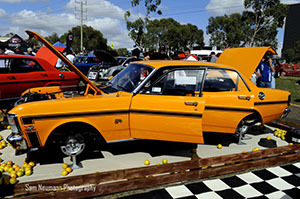 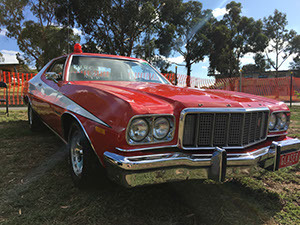 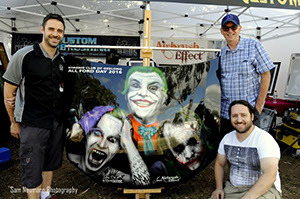 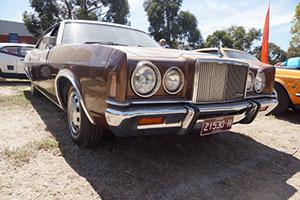 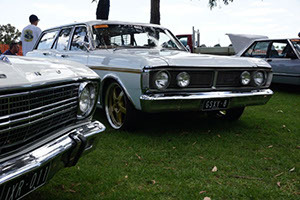 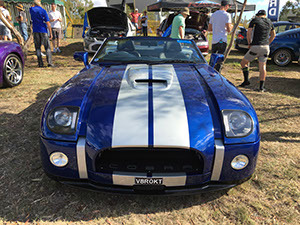 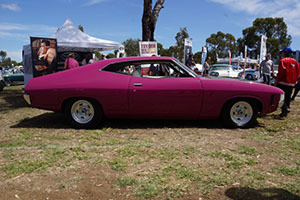 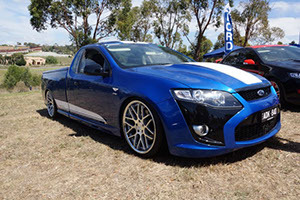 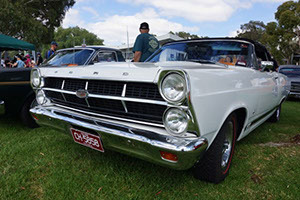 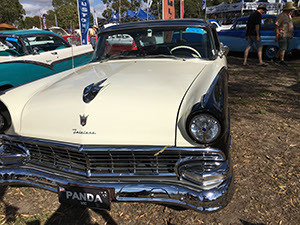 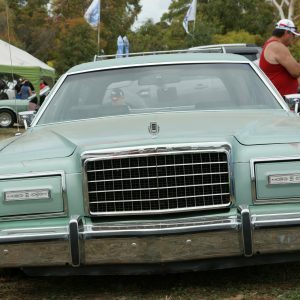 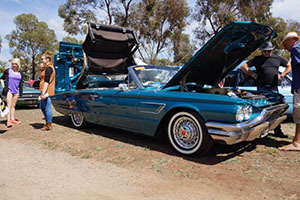 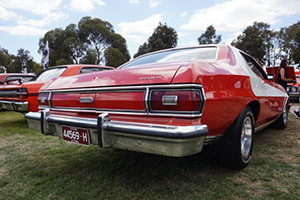 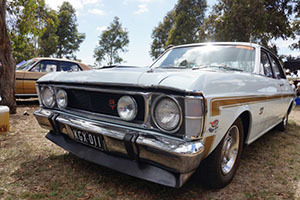 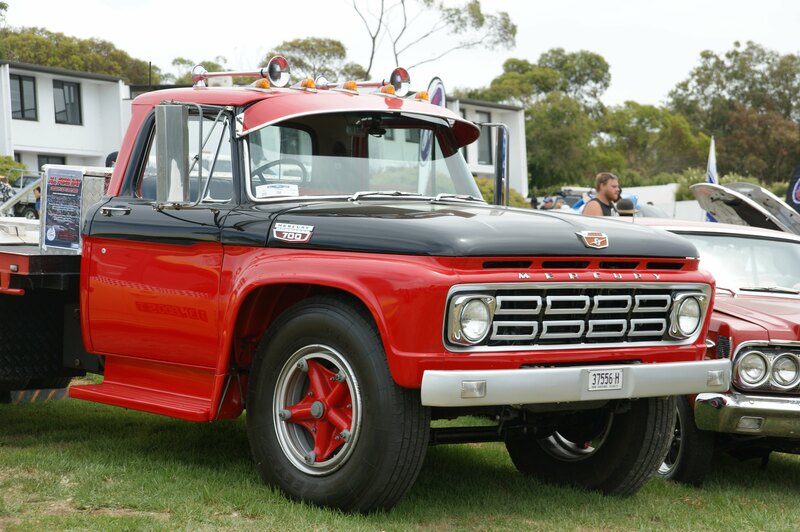 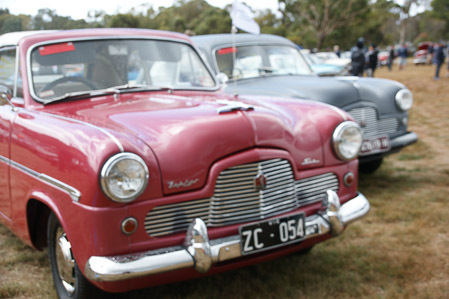 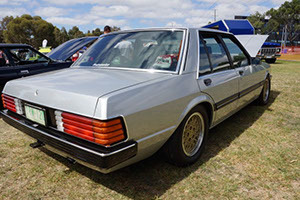 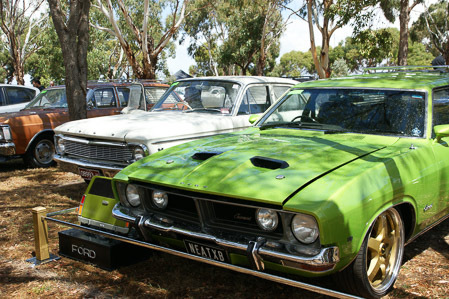 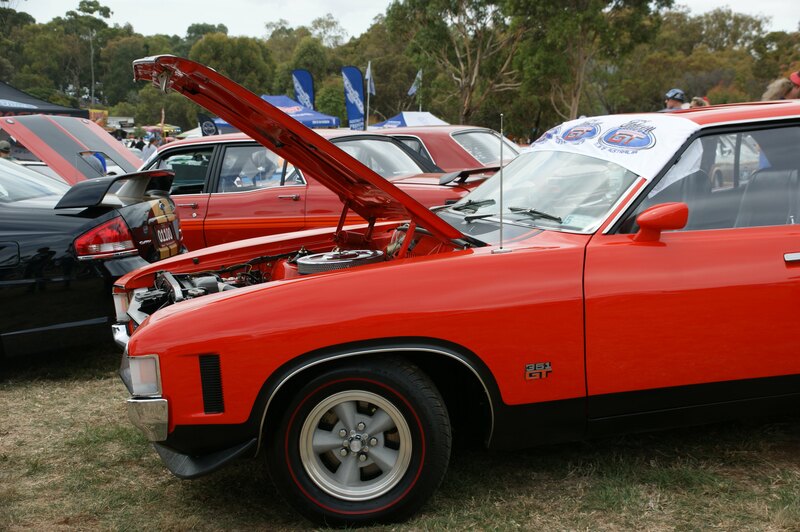 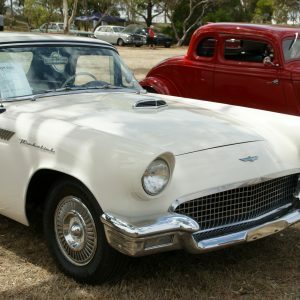 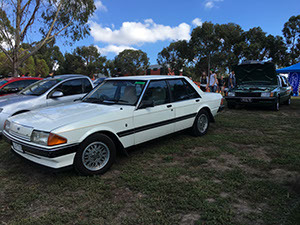 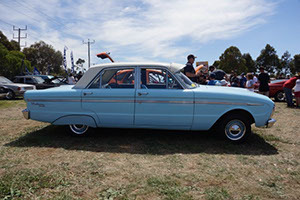 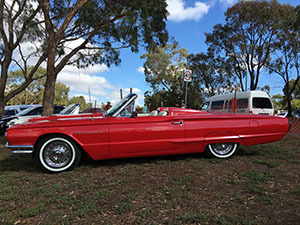 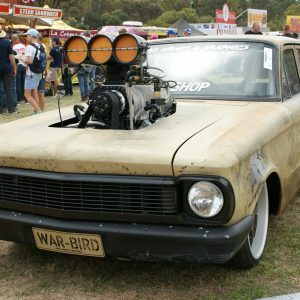 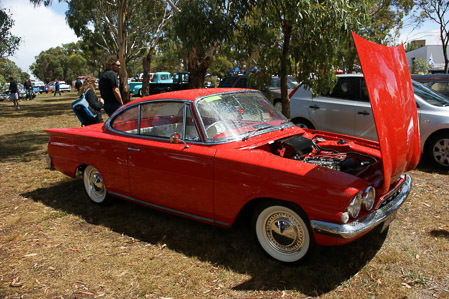 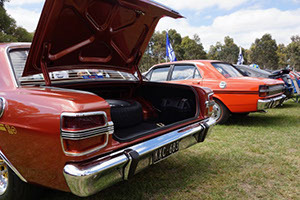 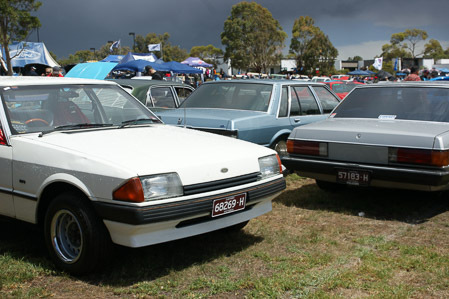 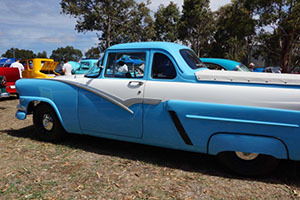 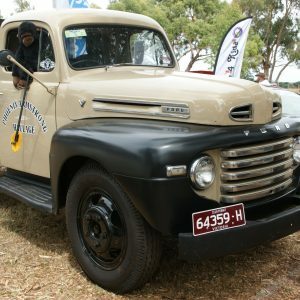 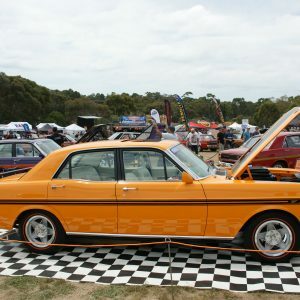 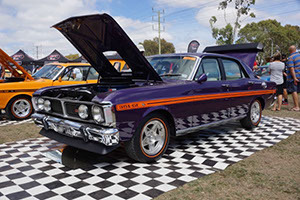 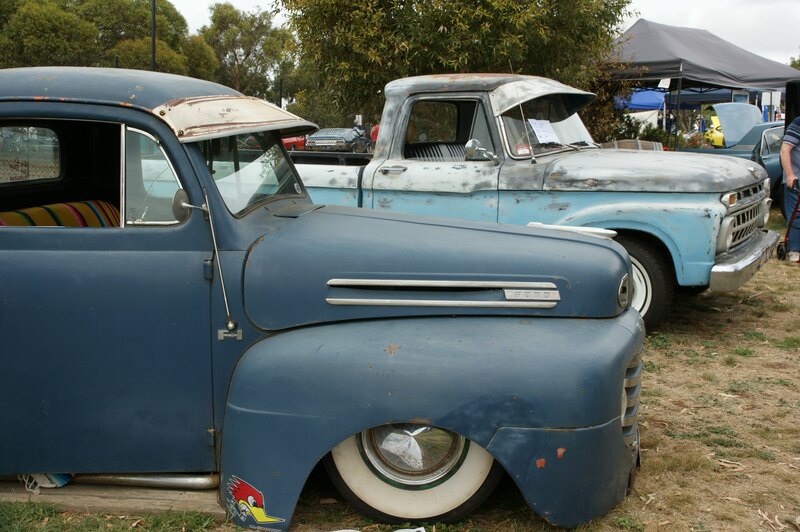 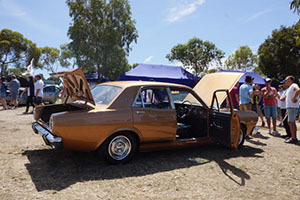 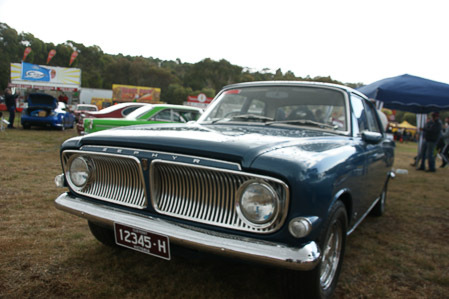 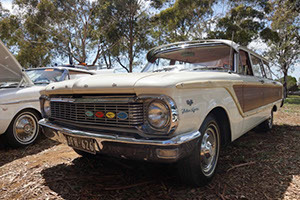 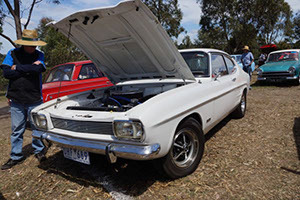 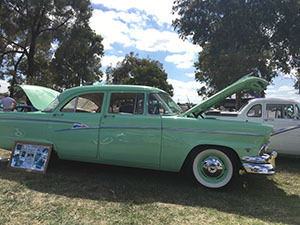 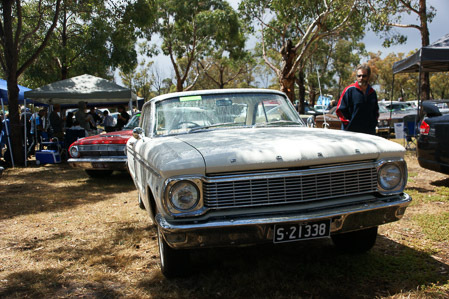 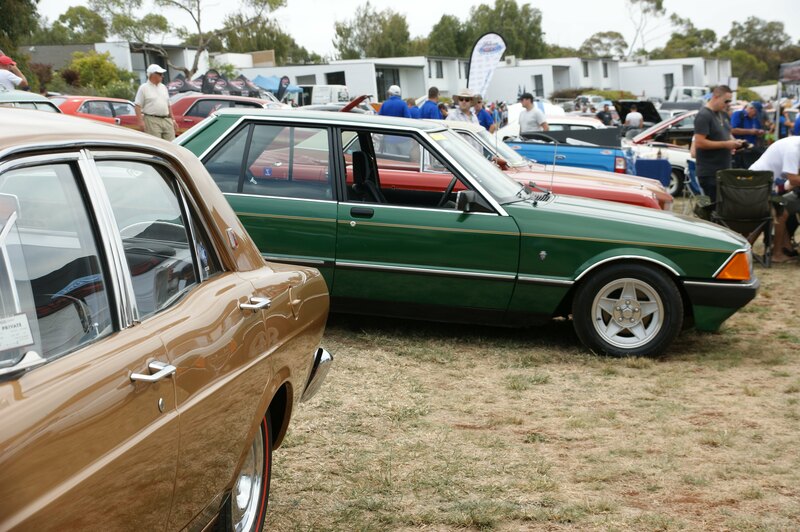 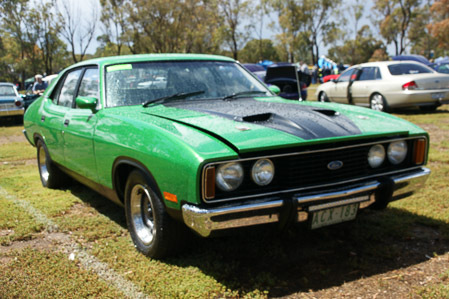 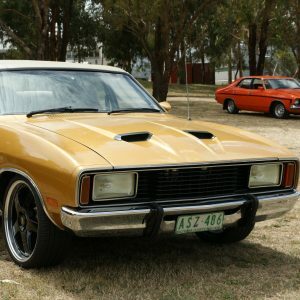 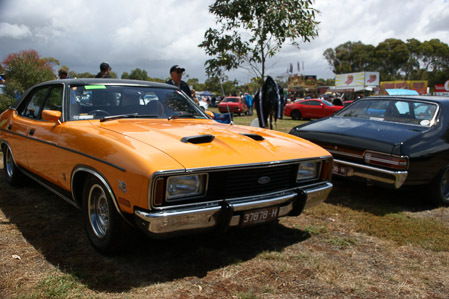 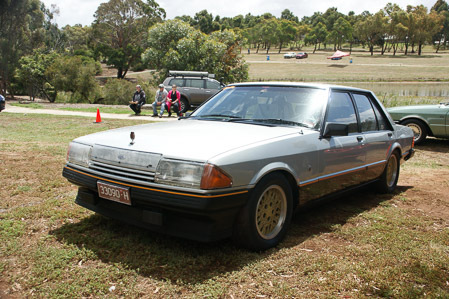 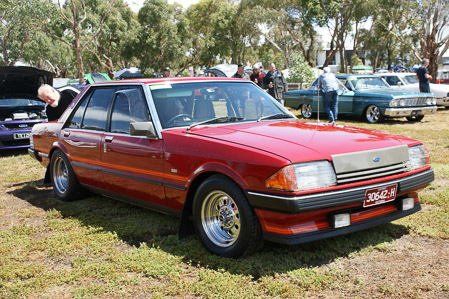 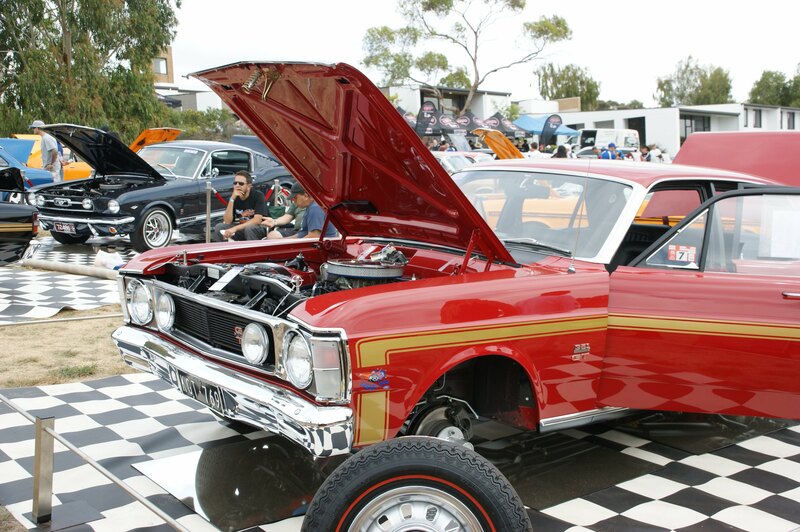 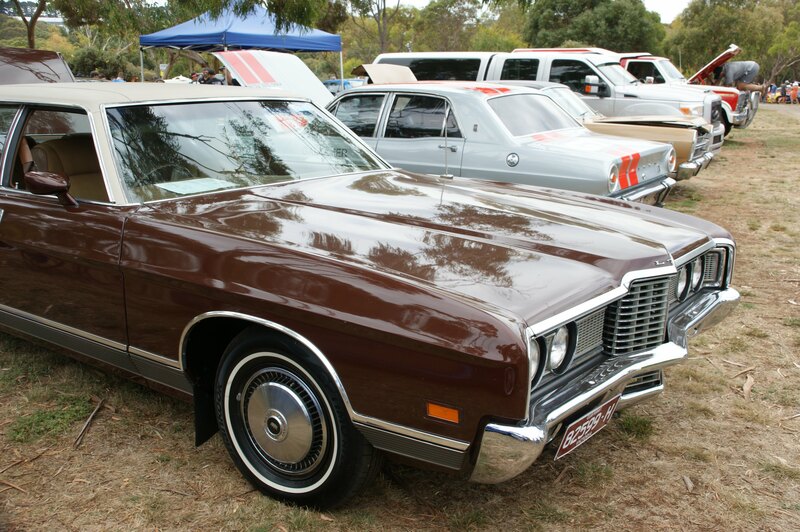 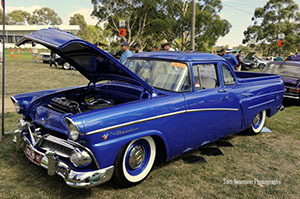 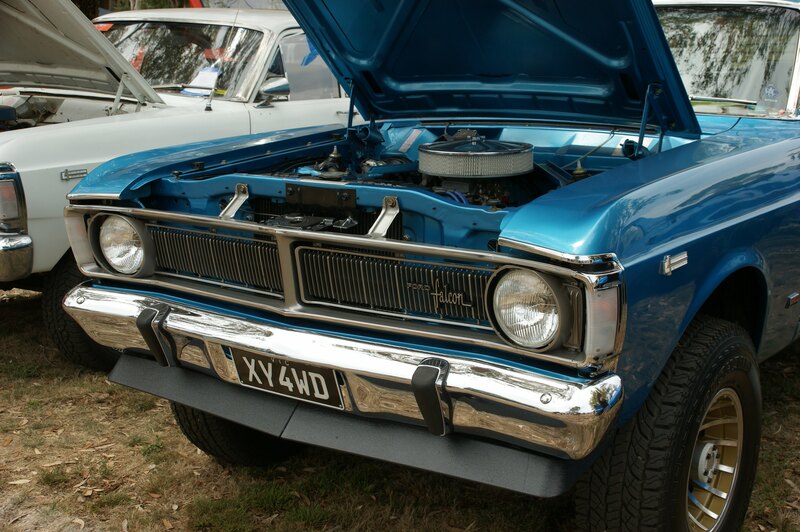 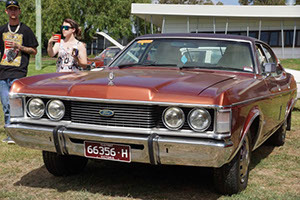 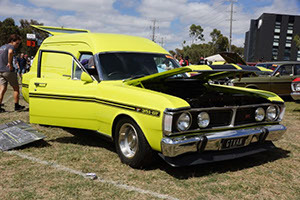 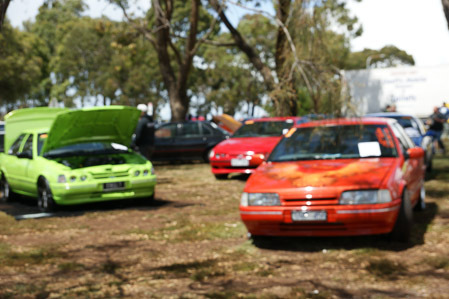 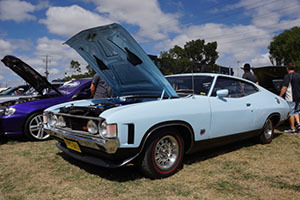 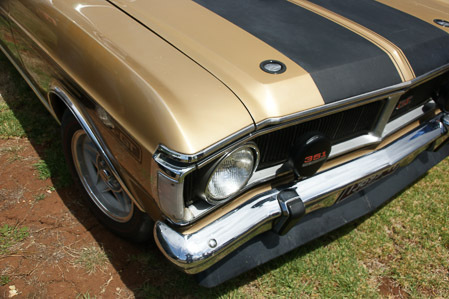 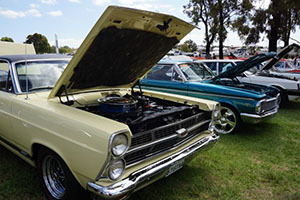 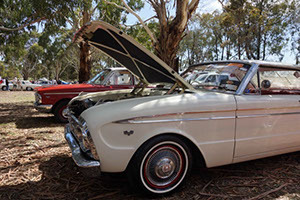 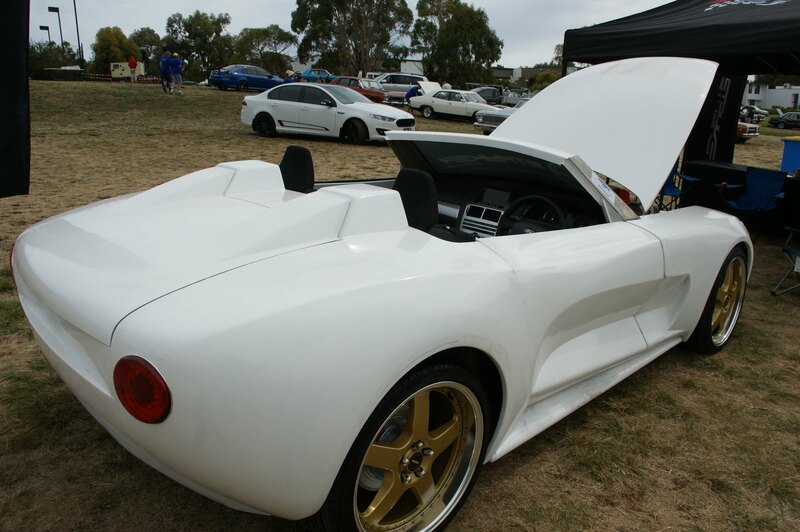 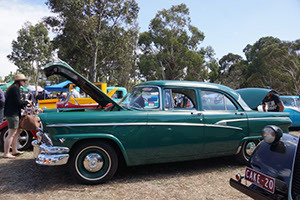 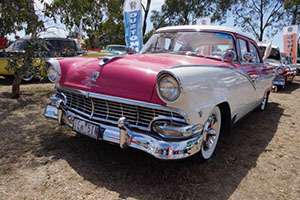 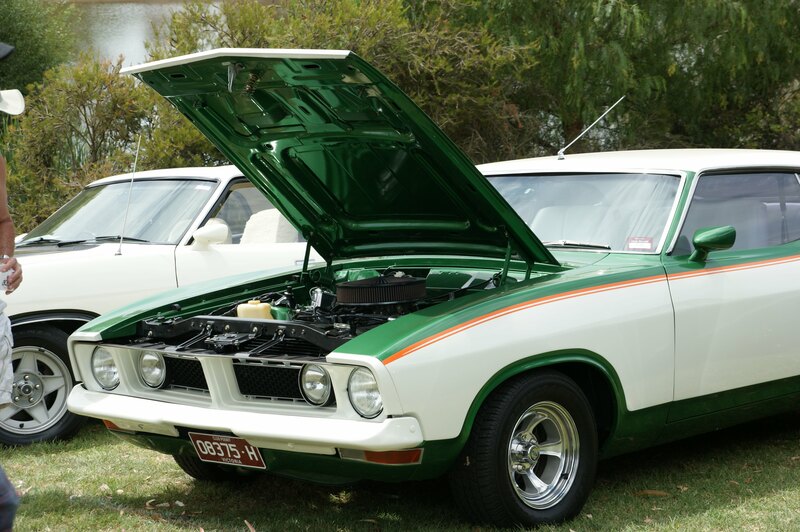 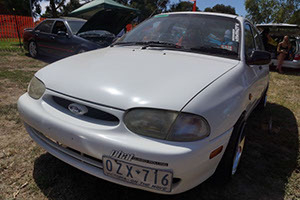 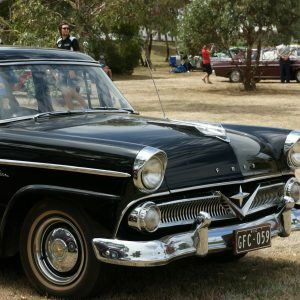 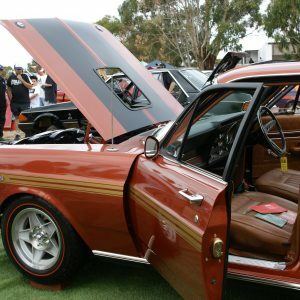 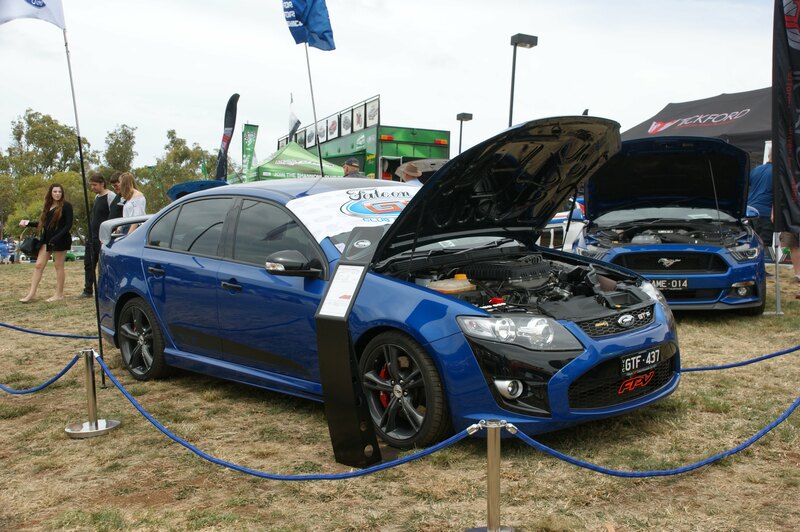 Come and see over 1200 Ford vehicles on show in one of the largest car displays in Australia! 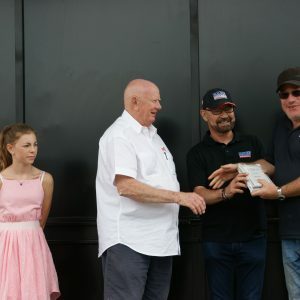 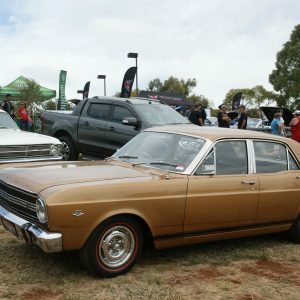 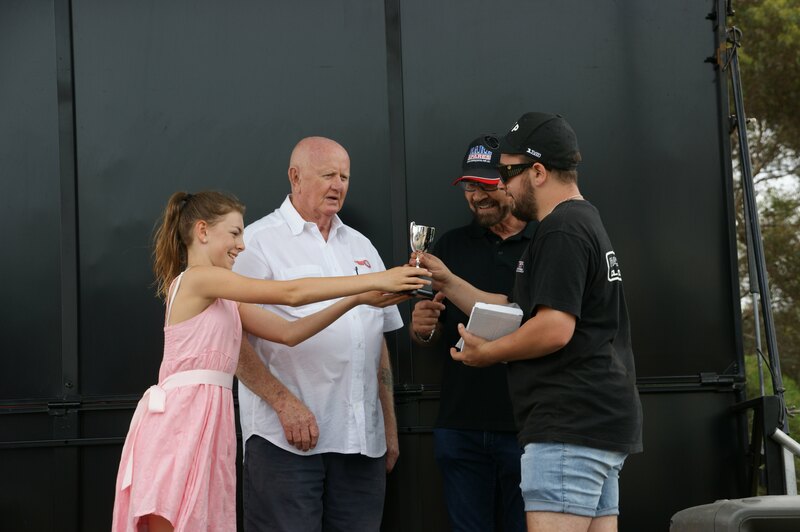 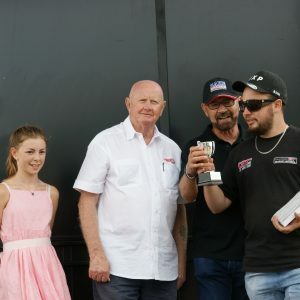 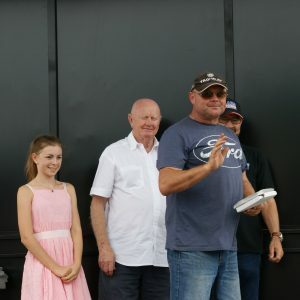 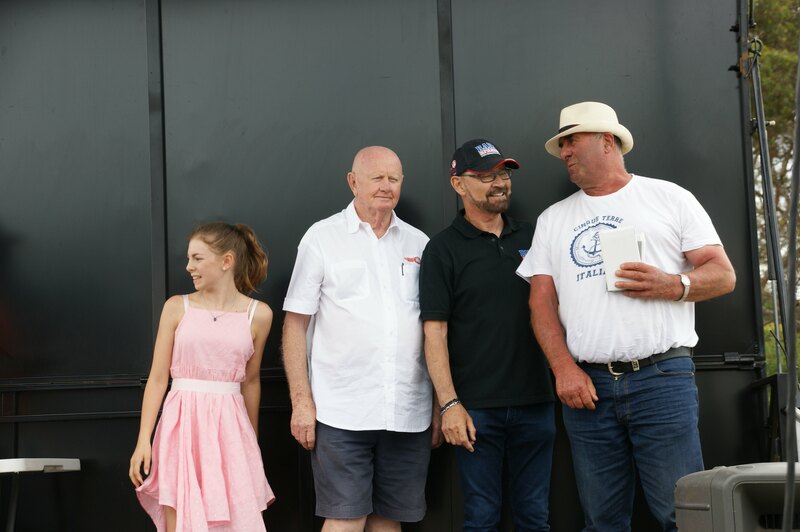 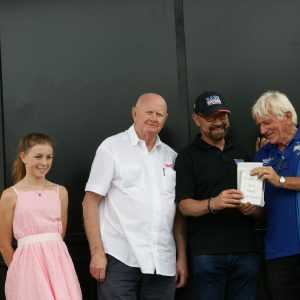 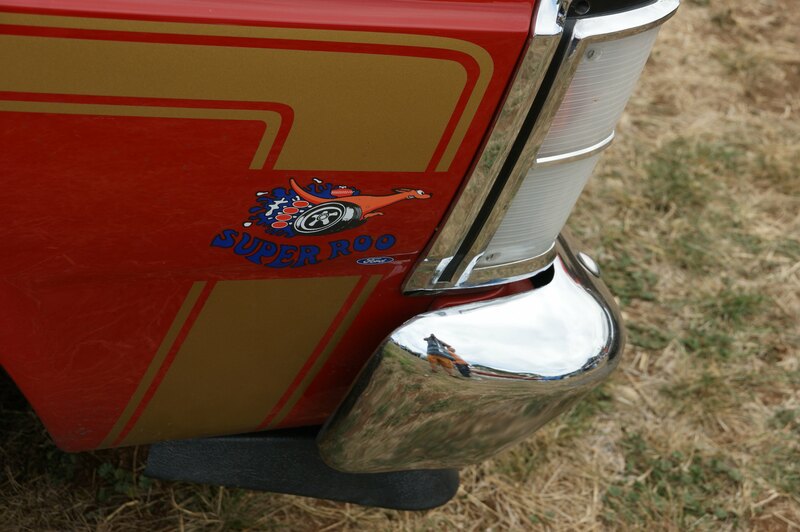 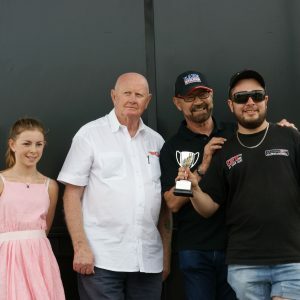 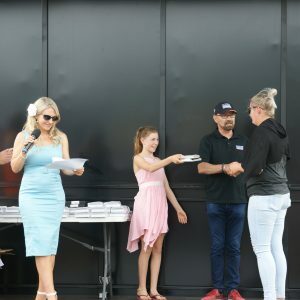 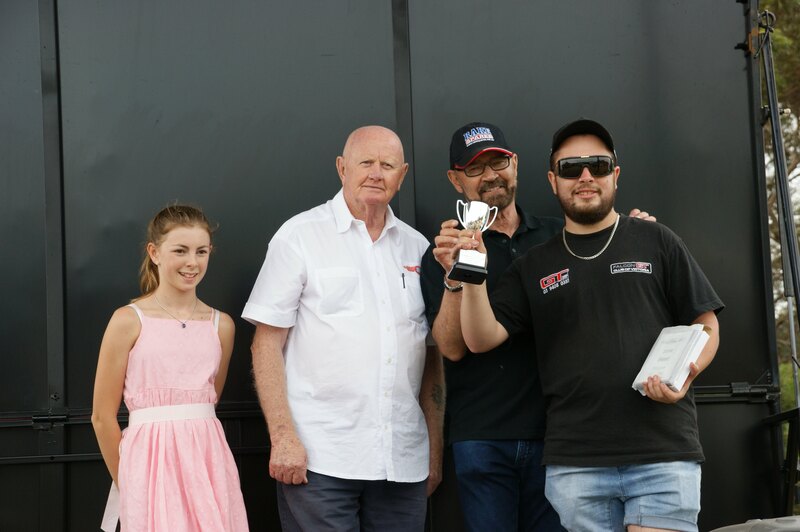 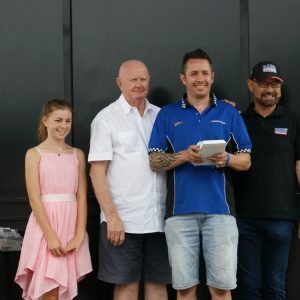 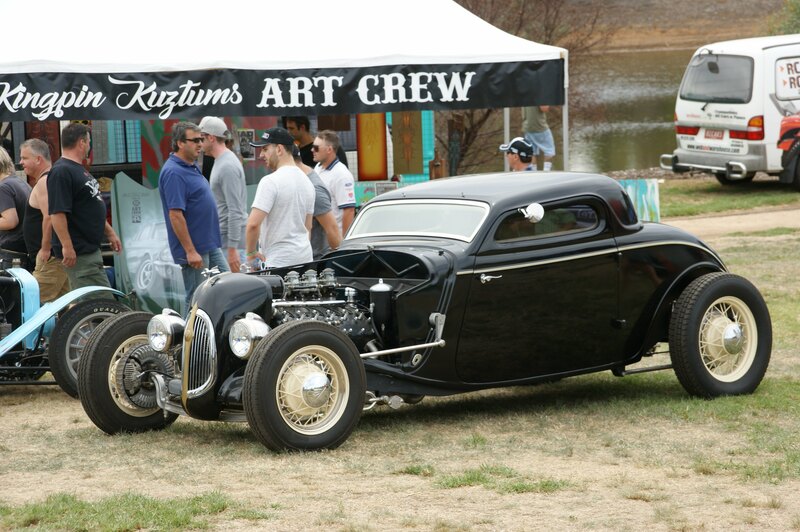 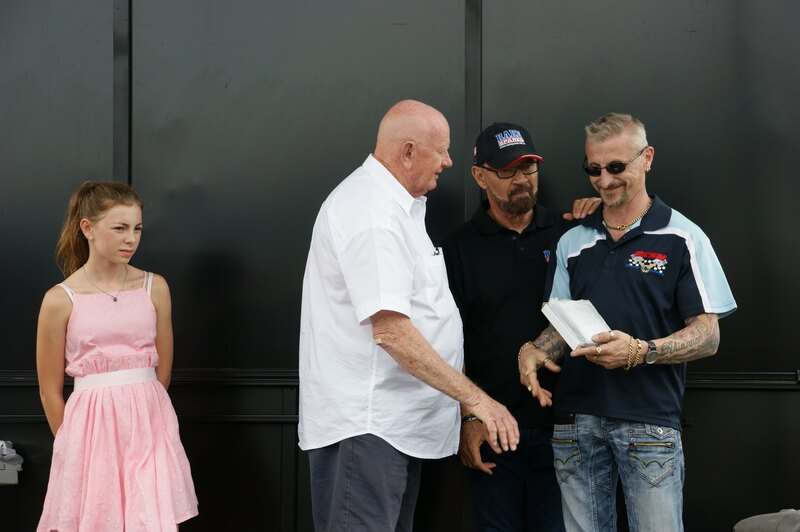 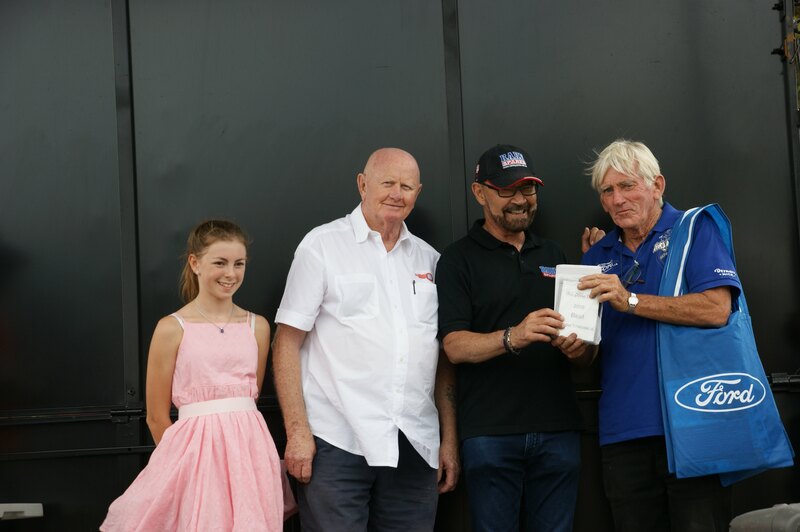 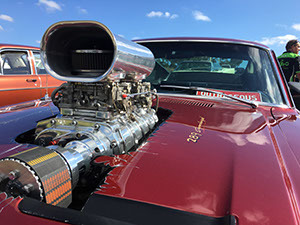 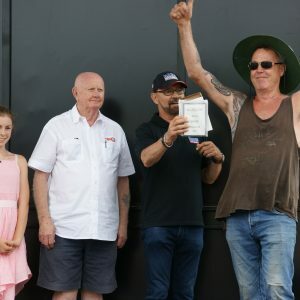 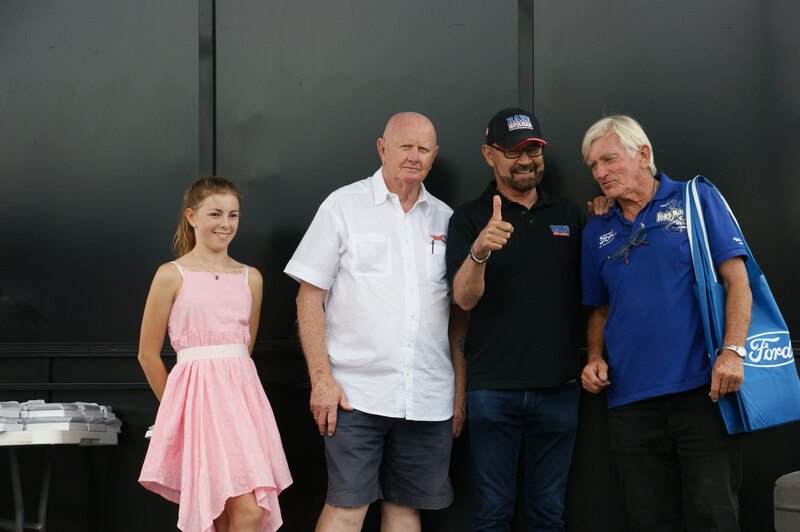 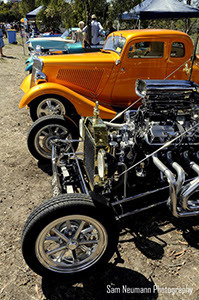 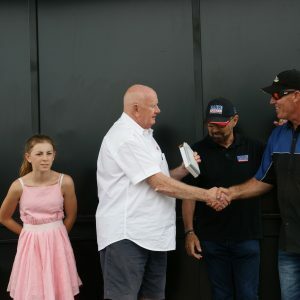 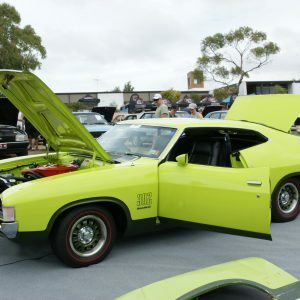 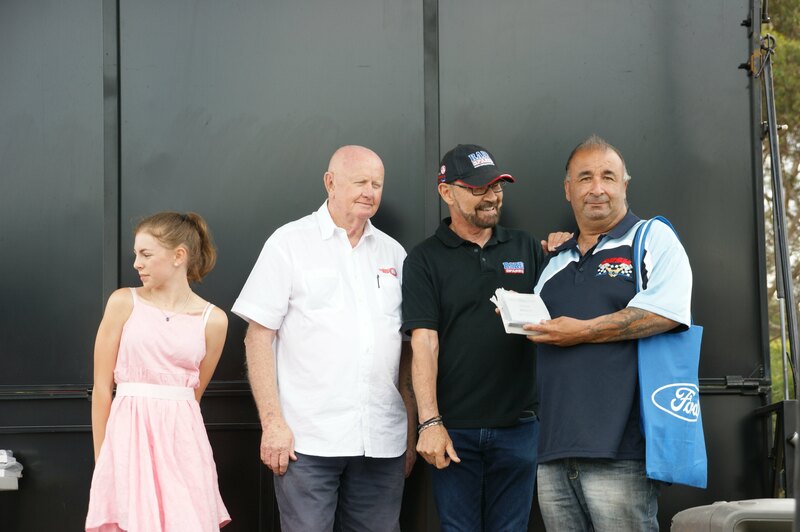 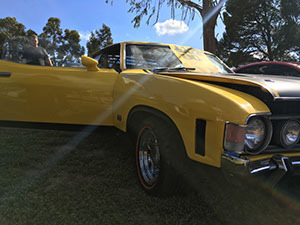 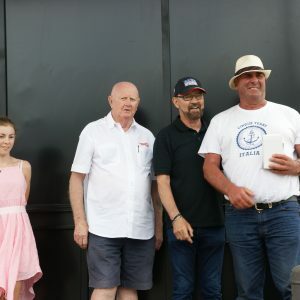 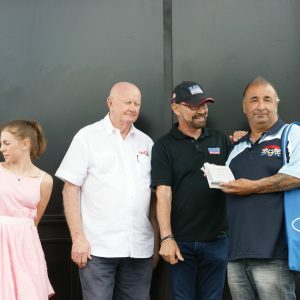 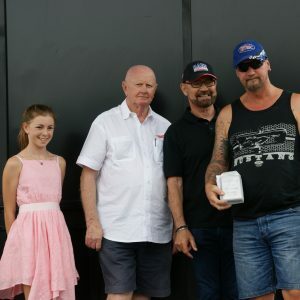 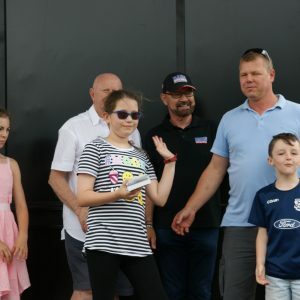 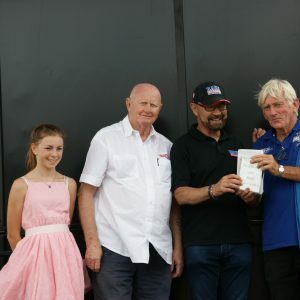 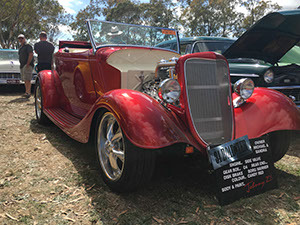 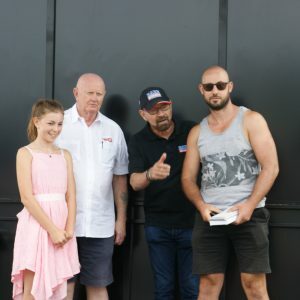 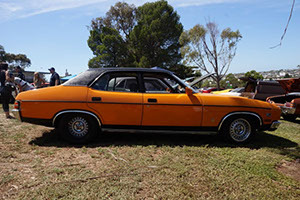 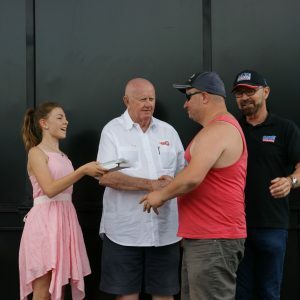 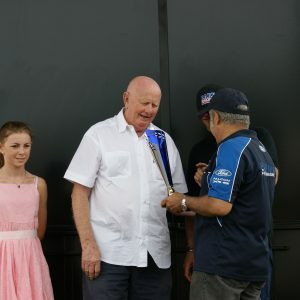 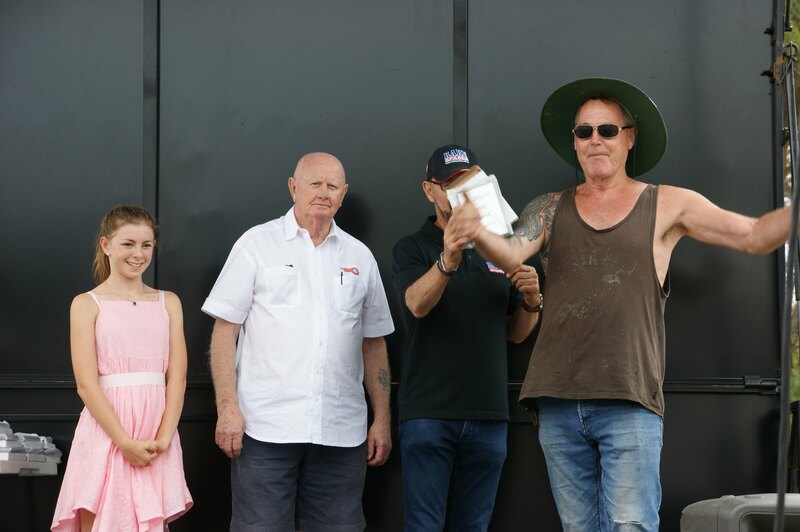 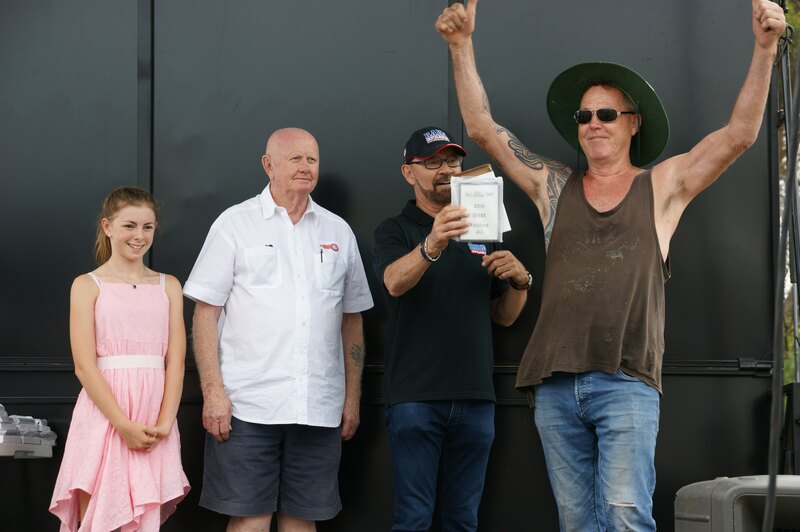 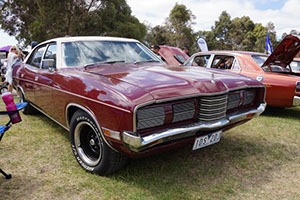 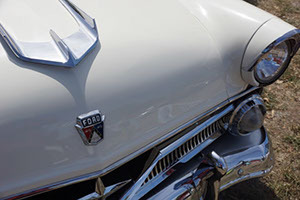 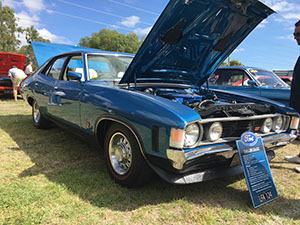 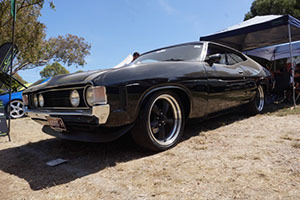 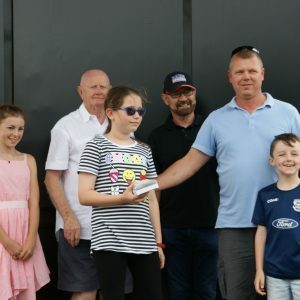 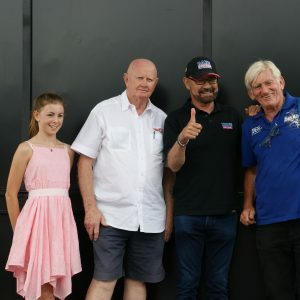 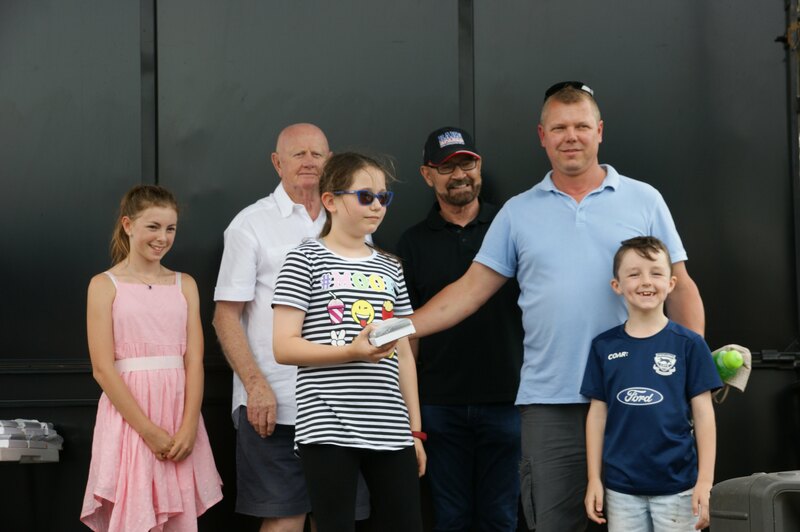 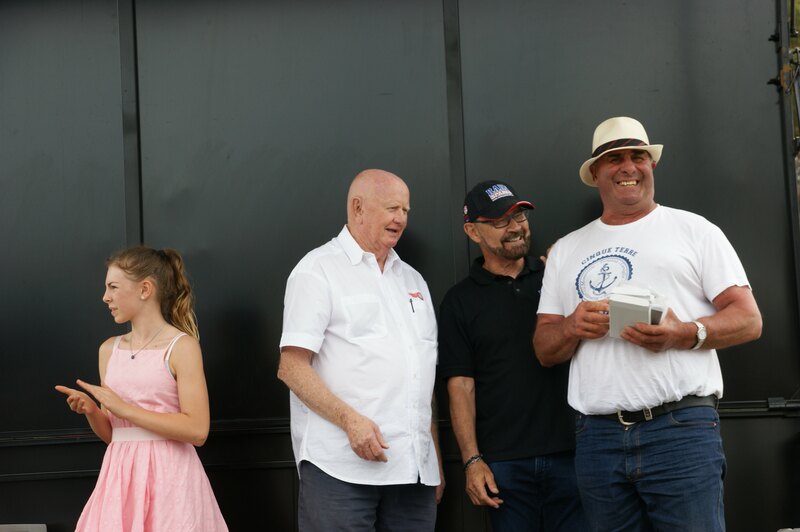 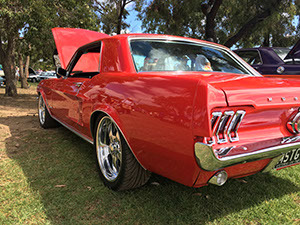 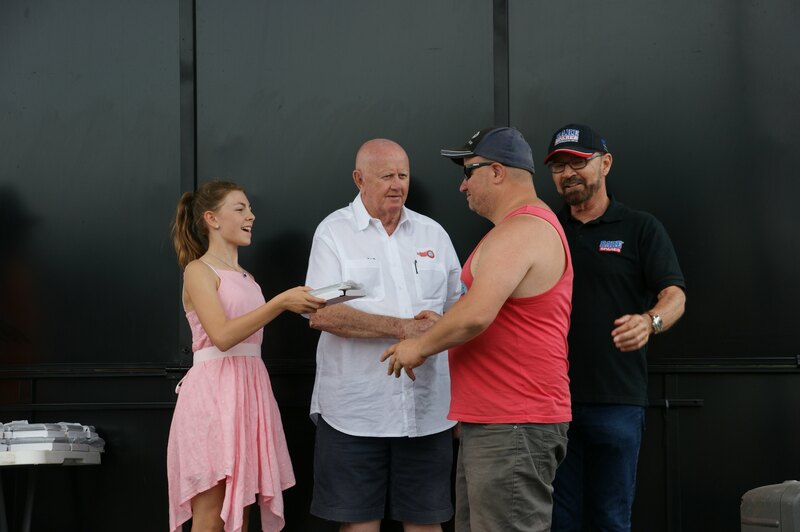 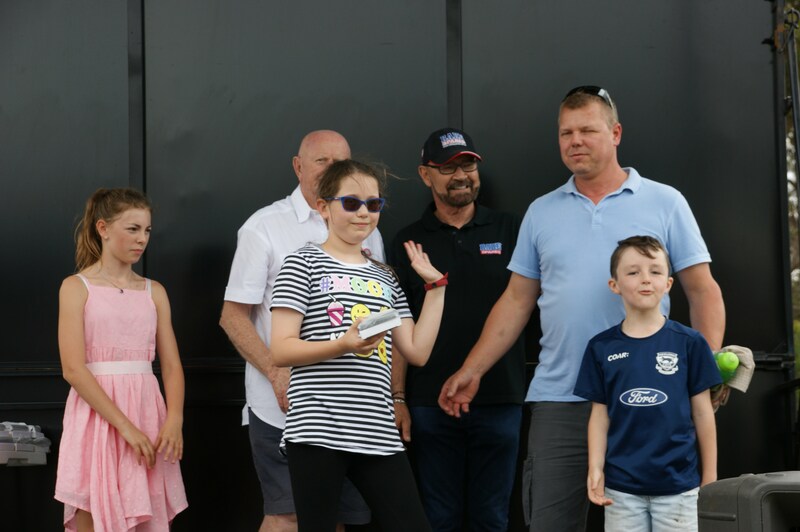 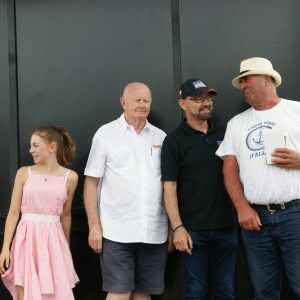 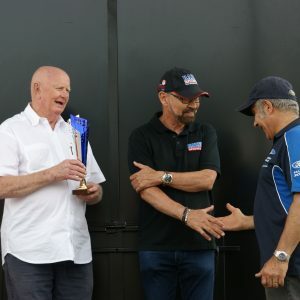 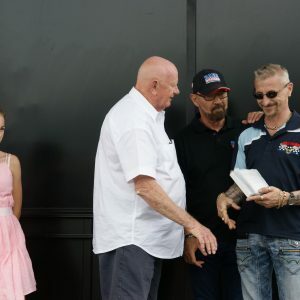 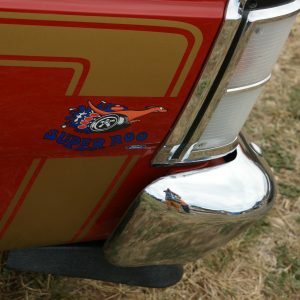 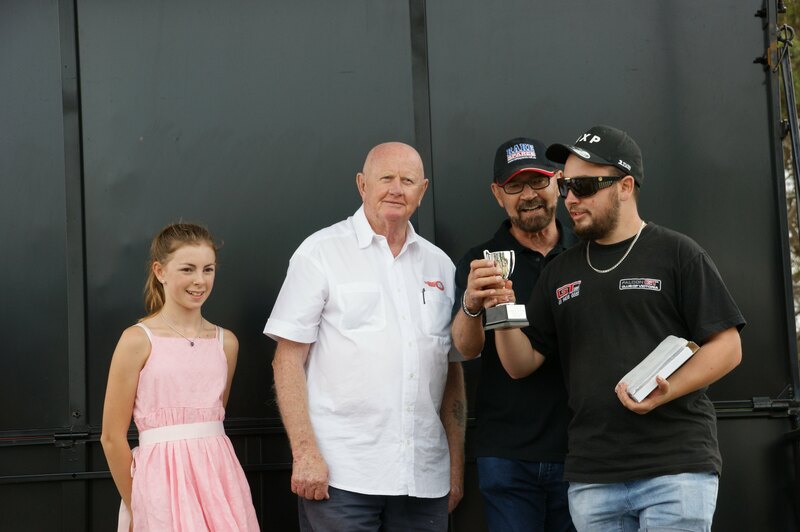 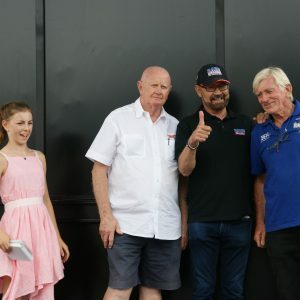 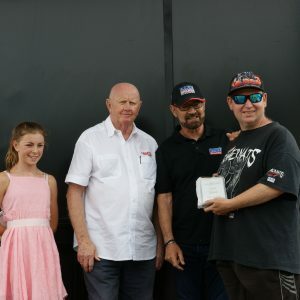 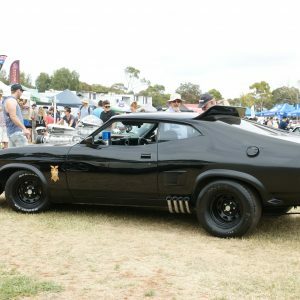 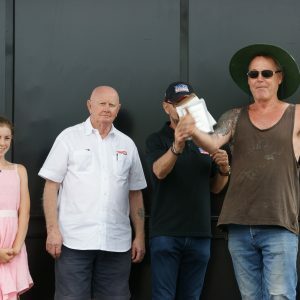 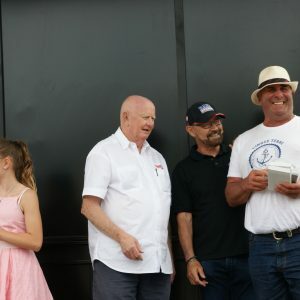 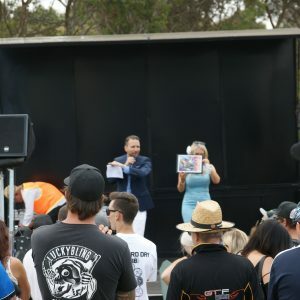 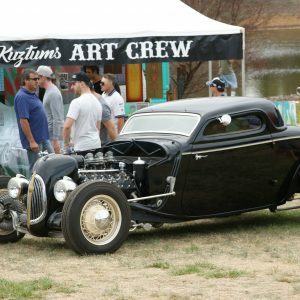 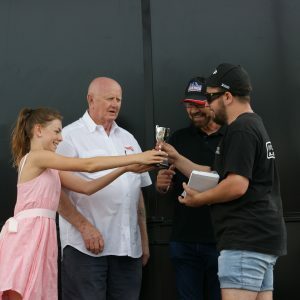 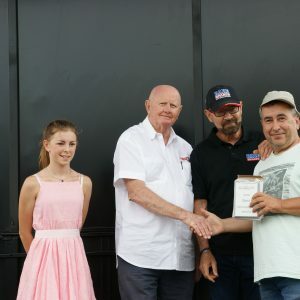 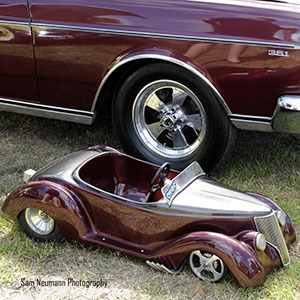 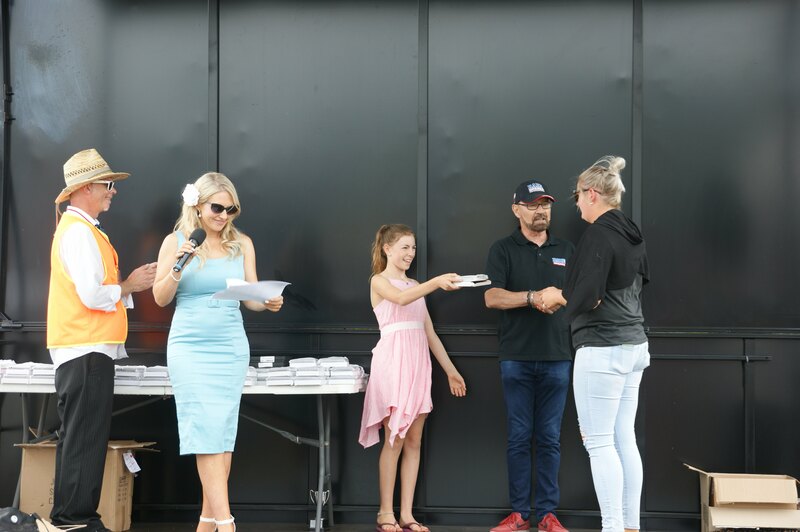 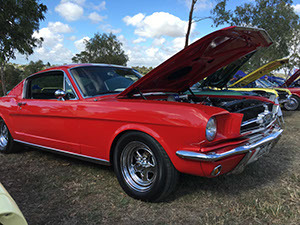 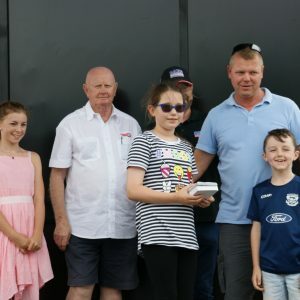 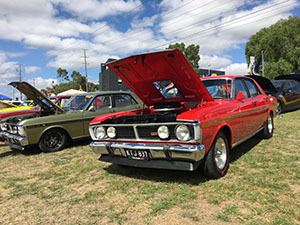 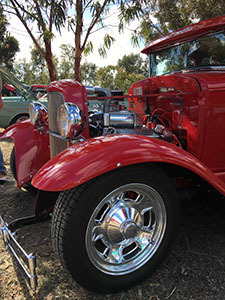 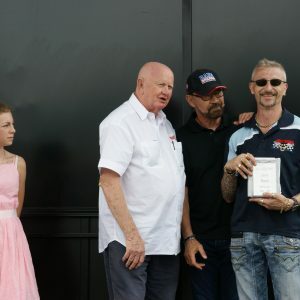 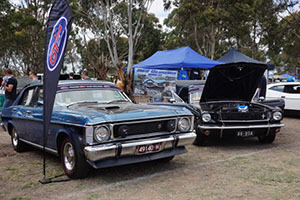 Ford’s of all types, ages and models will be joined by classic race and muscle cars, hotrods, street machines, celebrities, automotive industry displays and entertainment for the whole family! 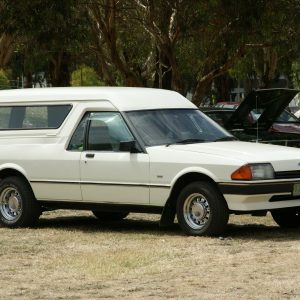 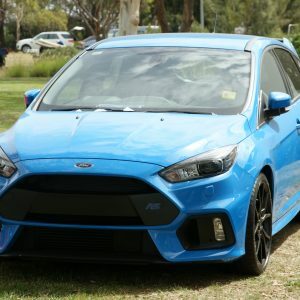 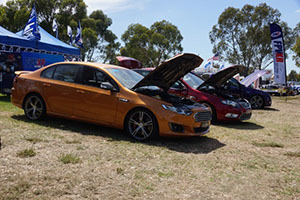 Join us for the largest display of Ford vehicles in Australia! 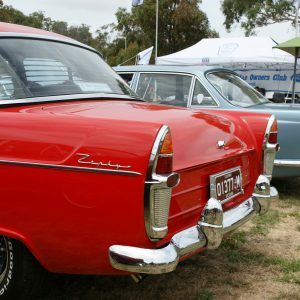 Open to clubs and individuals alike, entrants are asked to register their vehicles to be displayed or judged in a number of categories. 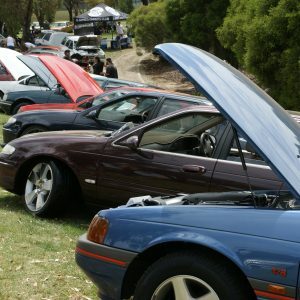 If you are planning on Turing up on the day and would like your car to be judged. 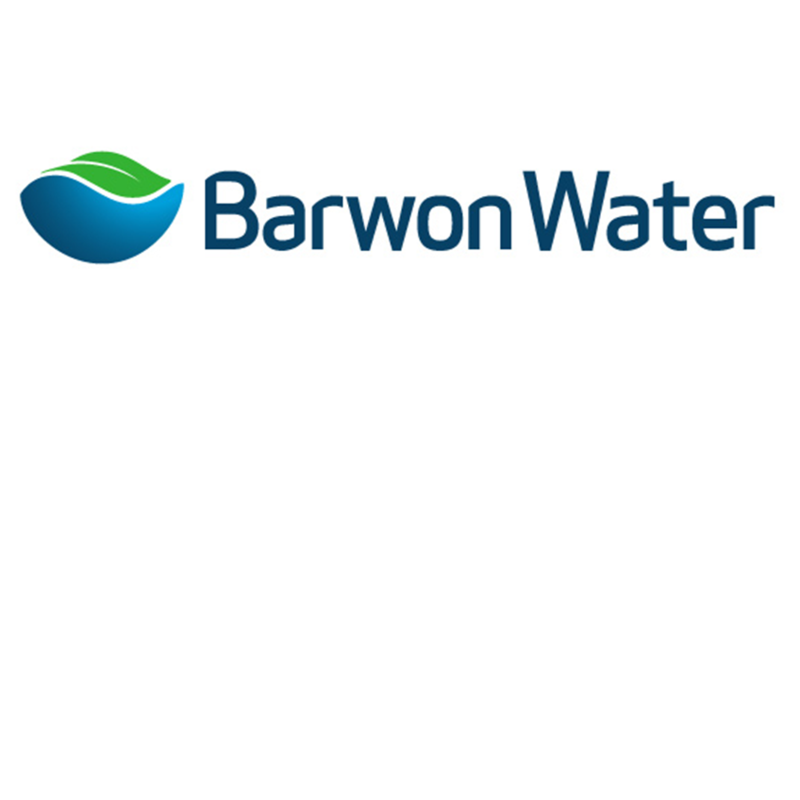 Please read the below information carefully. 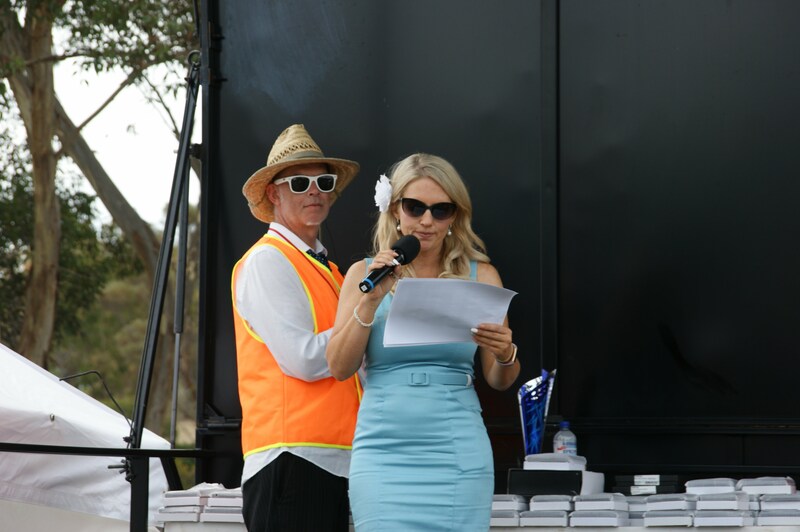 Judging on the day registration closes at 10am Sharp. 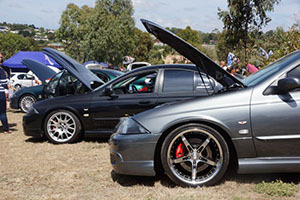 If you choose to have your car as part of the Show ‘N’ Shine Judging below is a list of categories that you can enter. 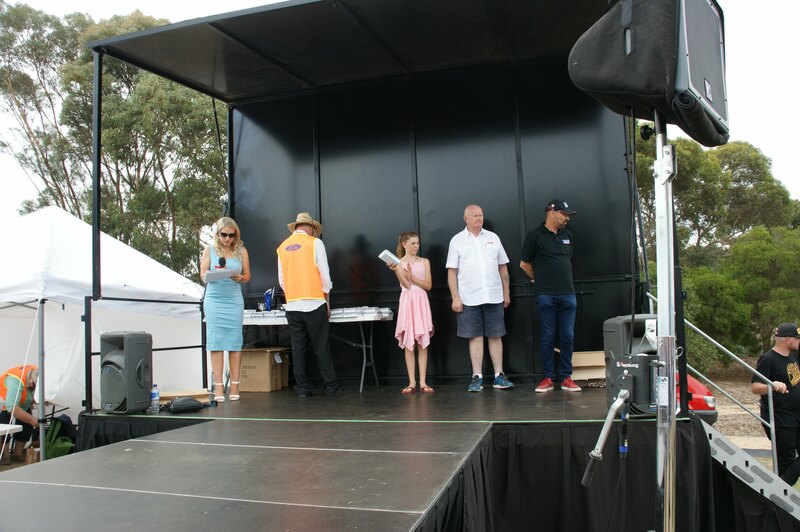 Trophies will be awarded to the category winner and runner up. 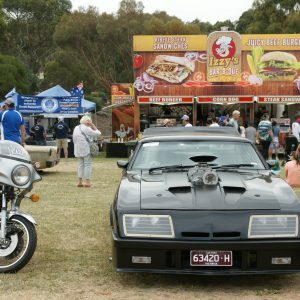 BBQ’s are not allowed due to council and OH/S policies. 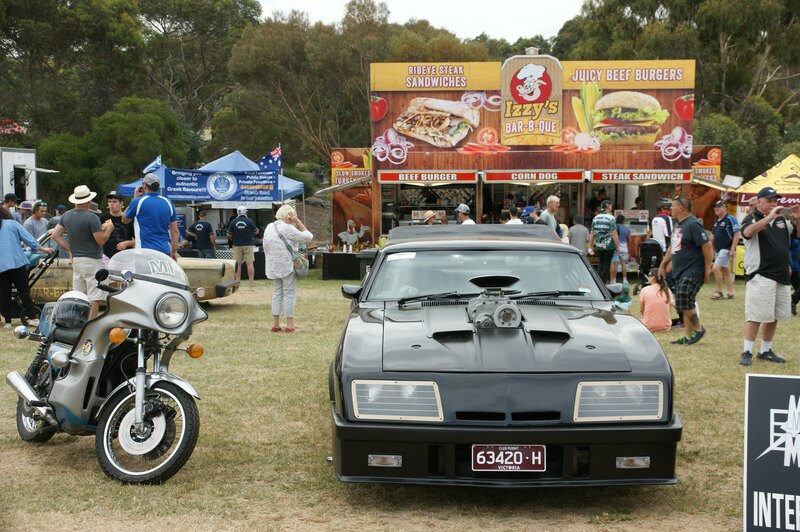 BYO Food allowed. 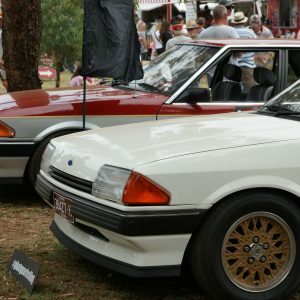 2019 marks the 28th year of the All Ford Day. 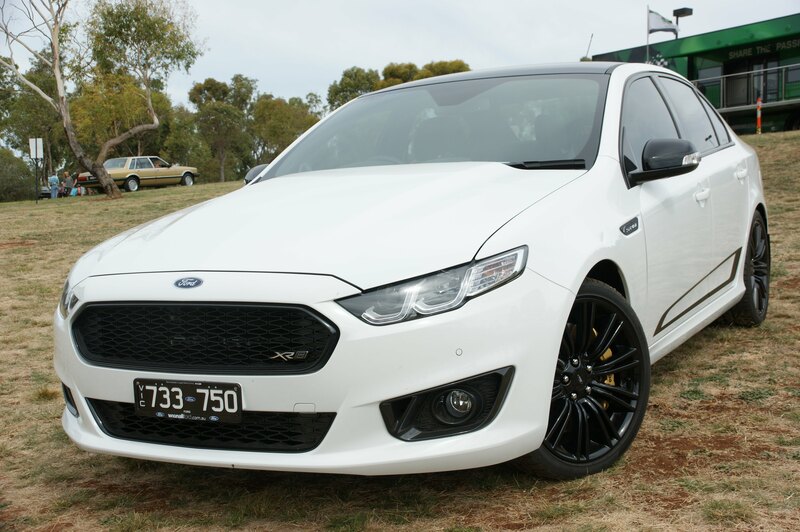 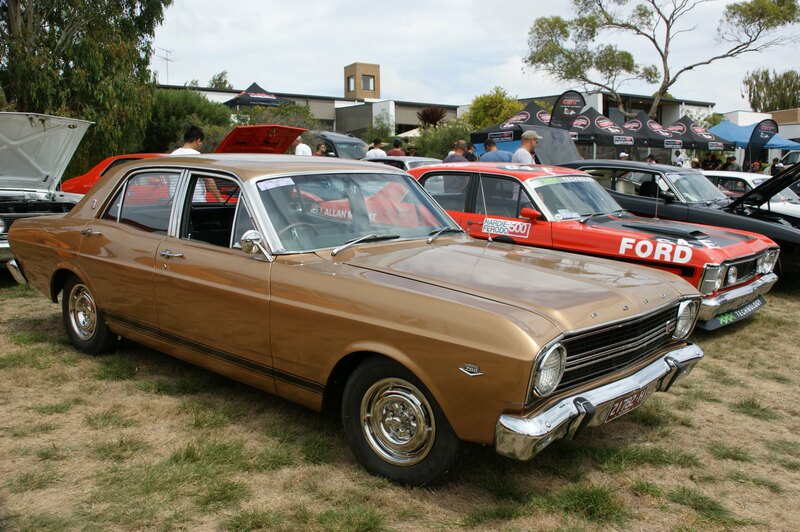 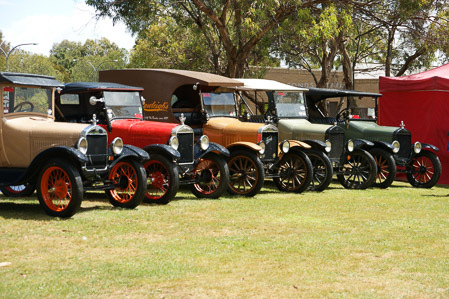 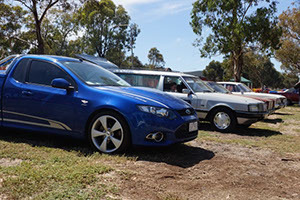 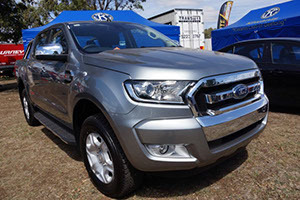 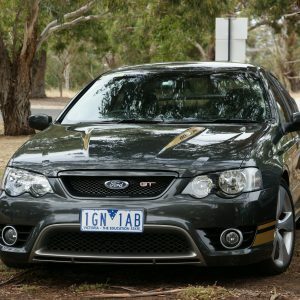 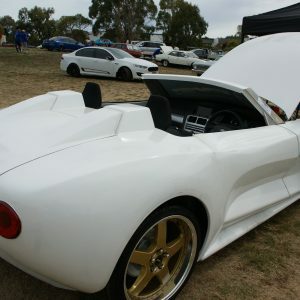 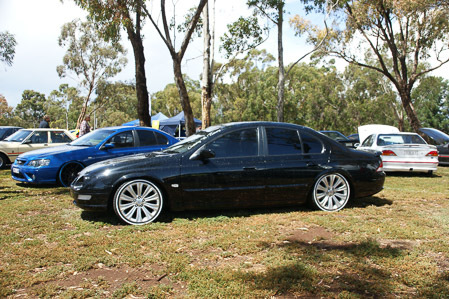 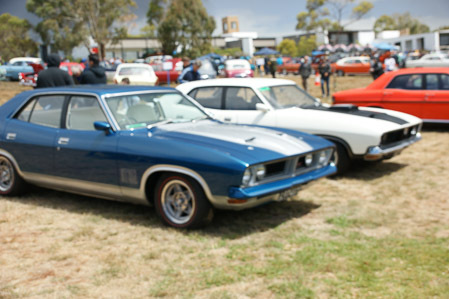 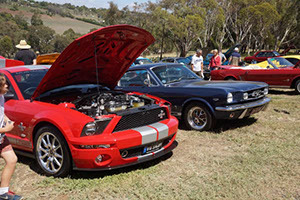 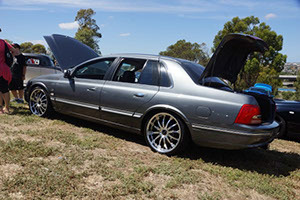 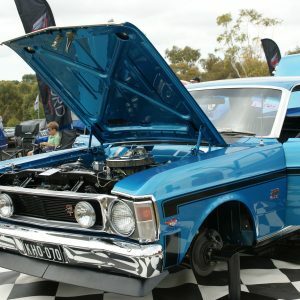 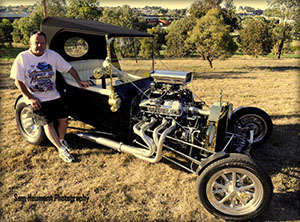 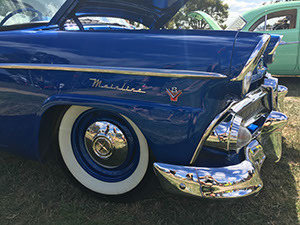 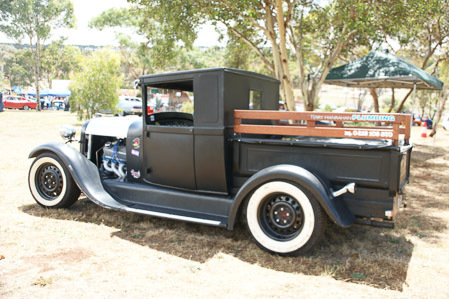 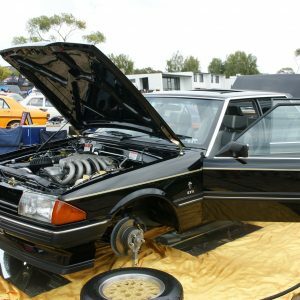 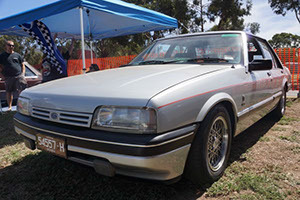 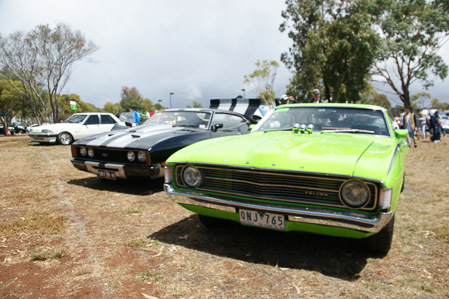 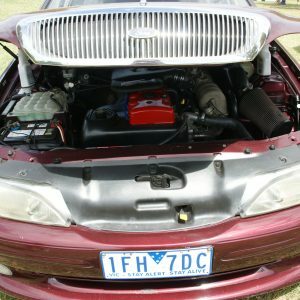 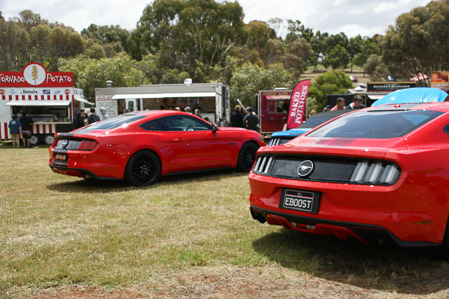 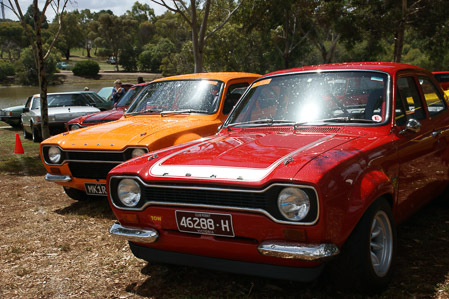 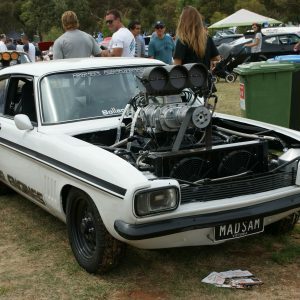 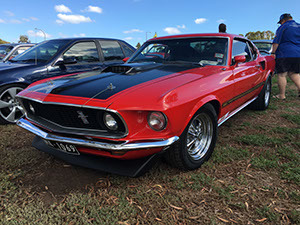 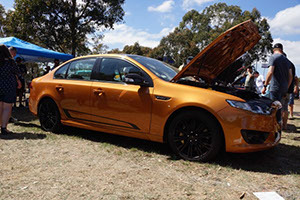 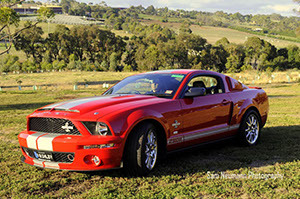 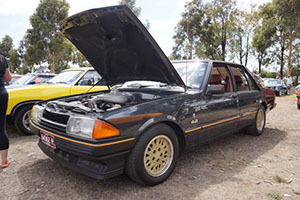 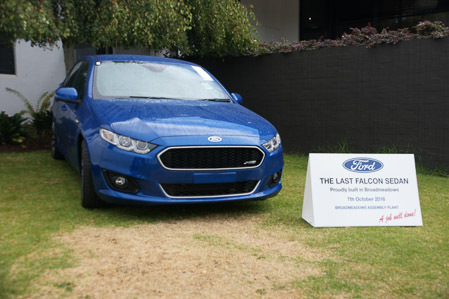 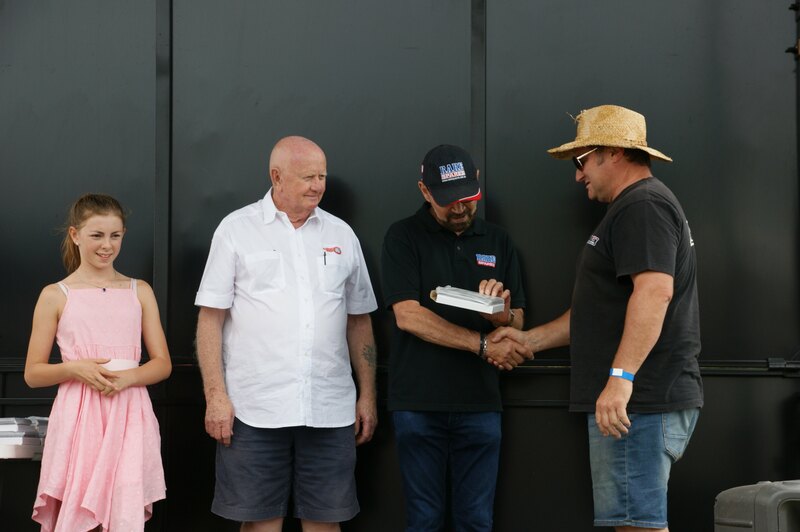 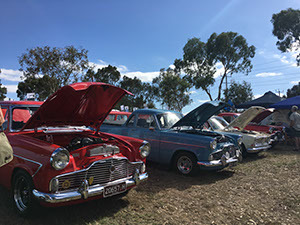 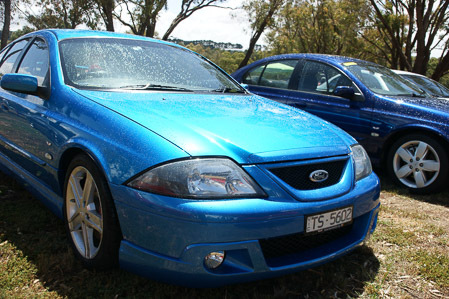 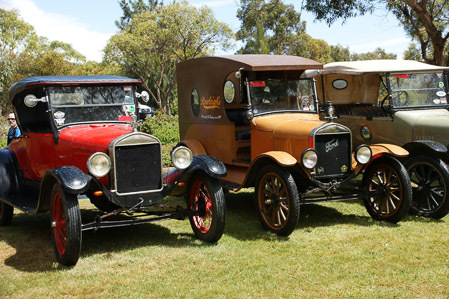 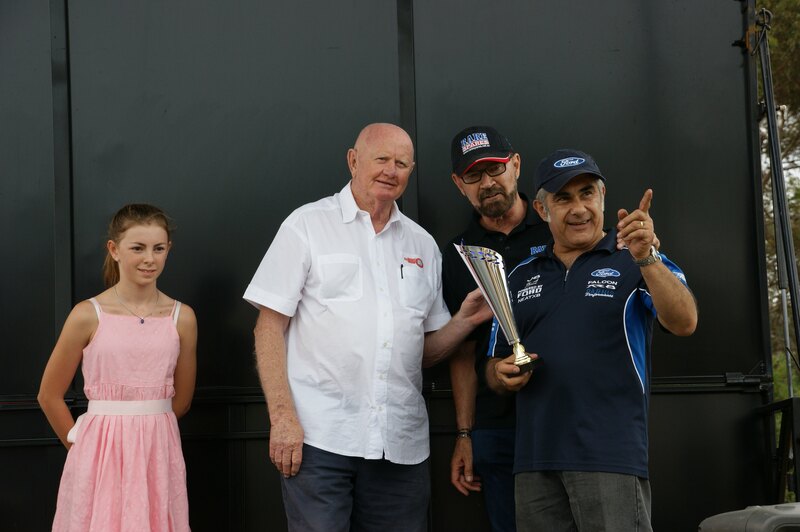 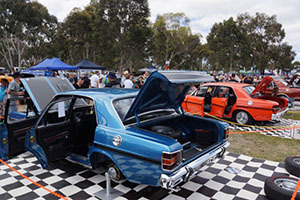 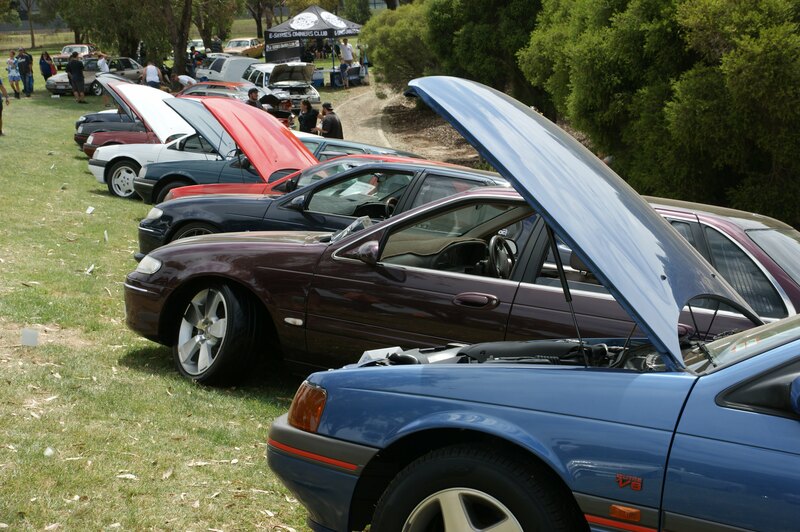 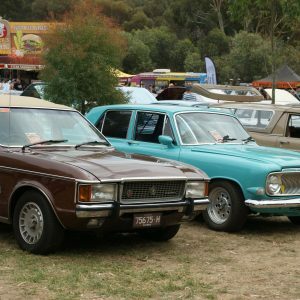 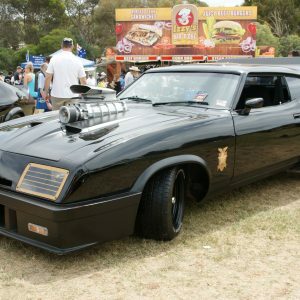 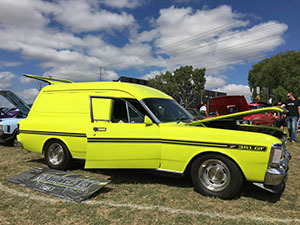 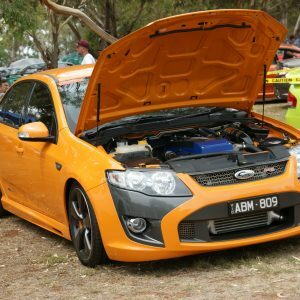 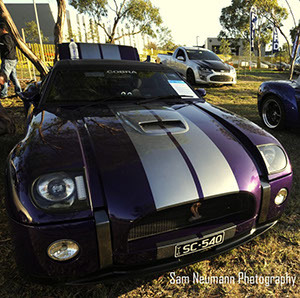 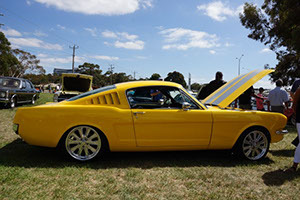 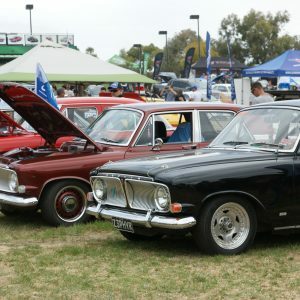 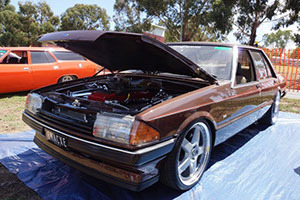 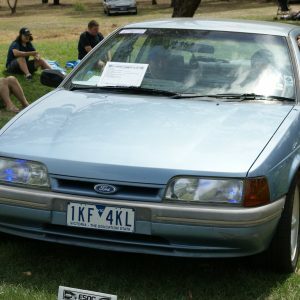 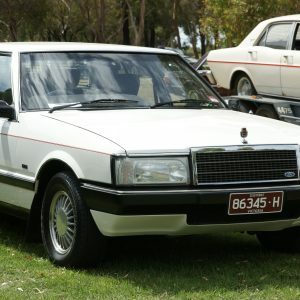 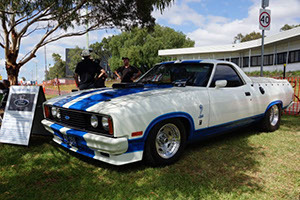 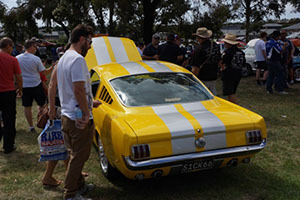 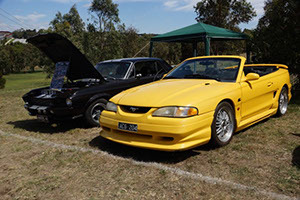 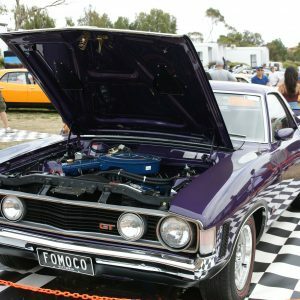 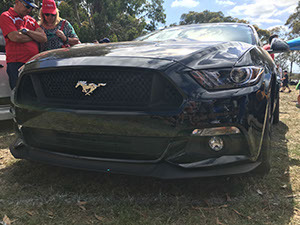 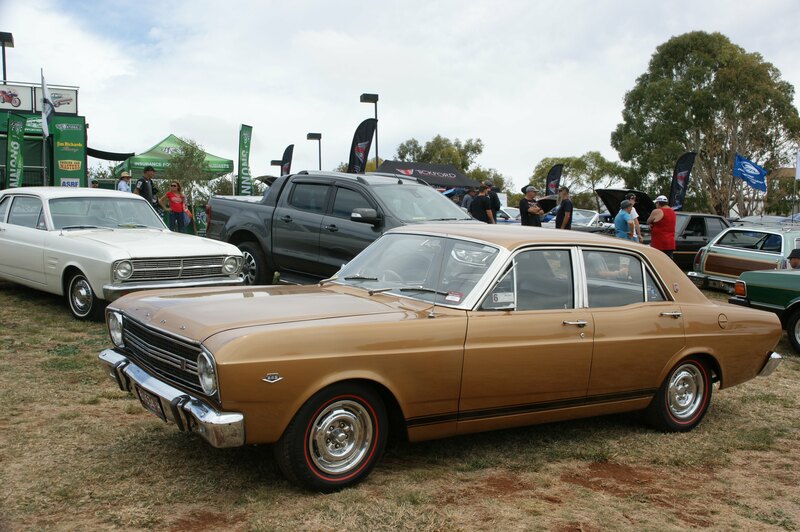 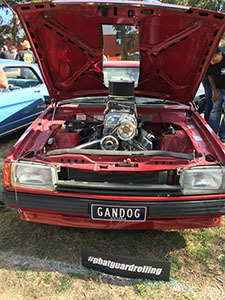 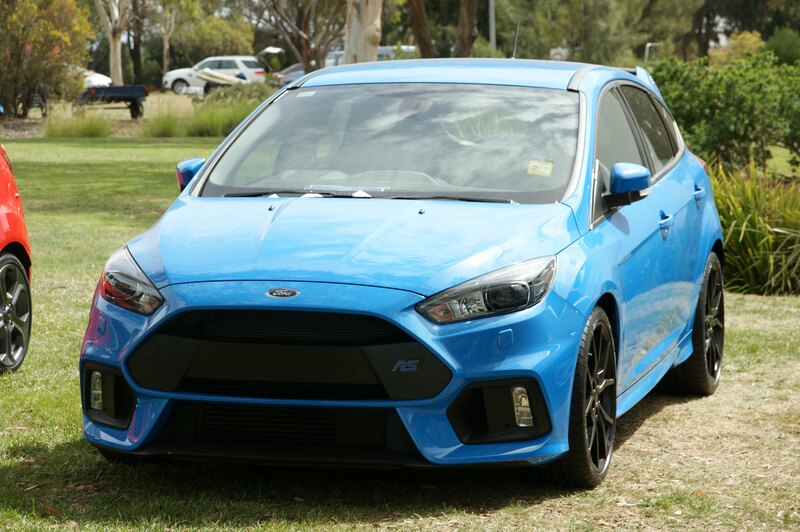 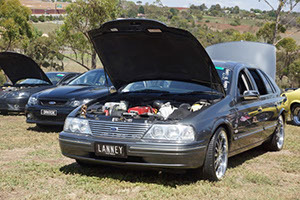 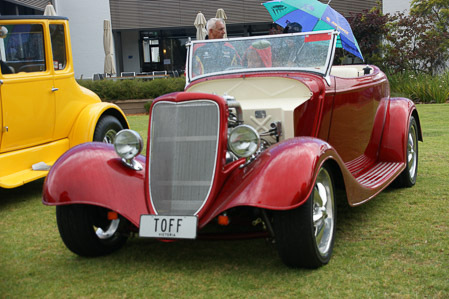 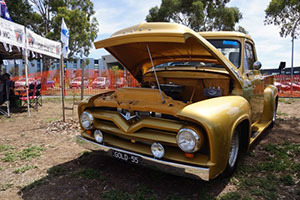 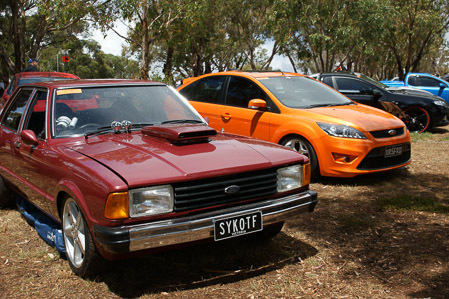 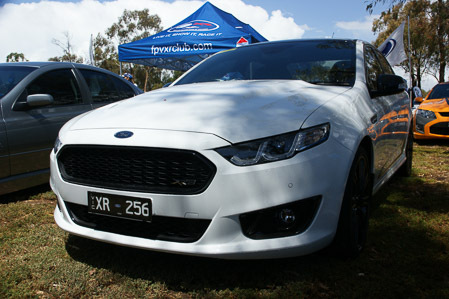 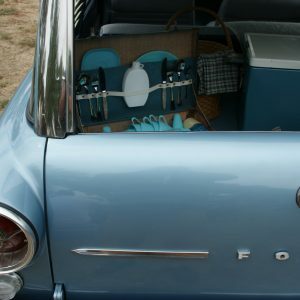 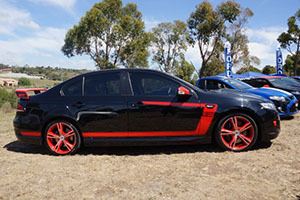 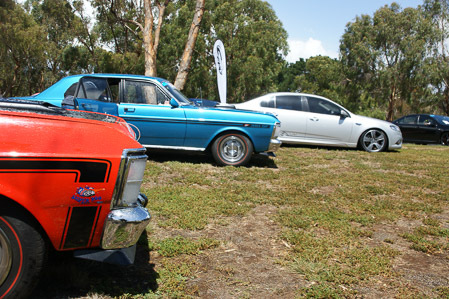 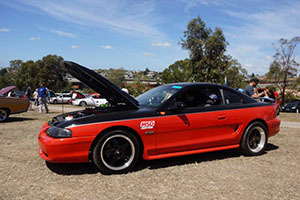 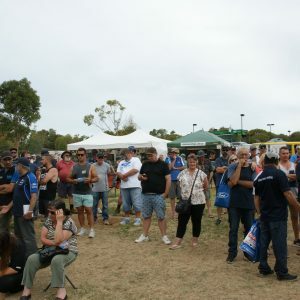 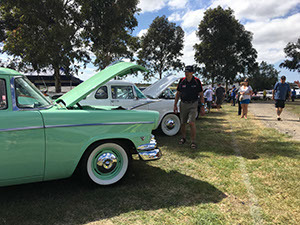 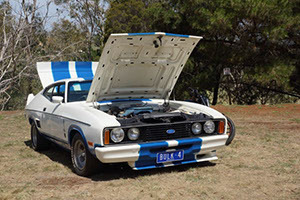 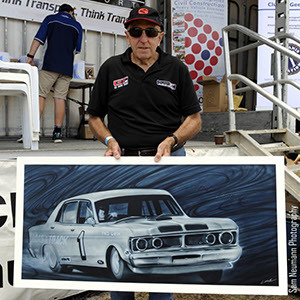 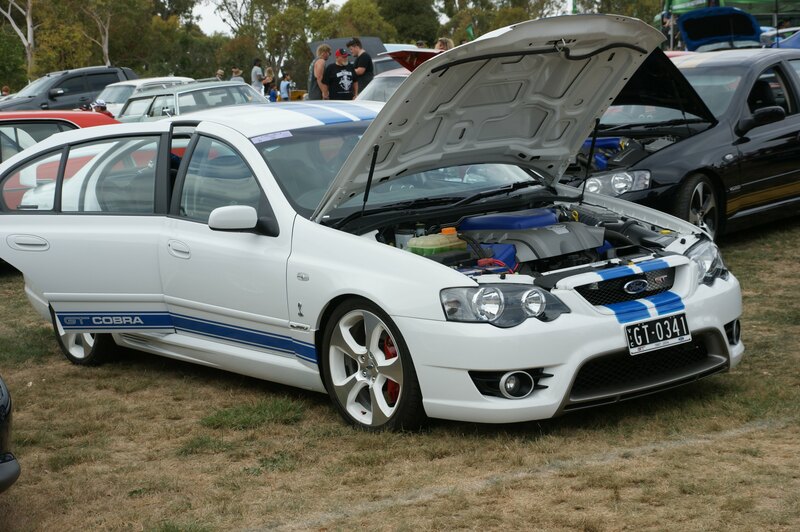 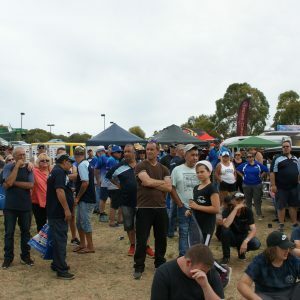 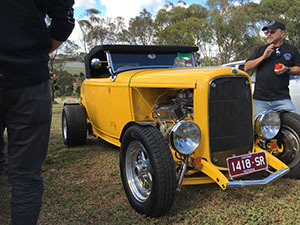 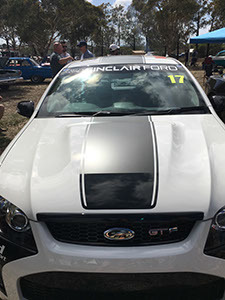 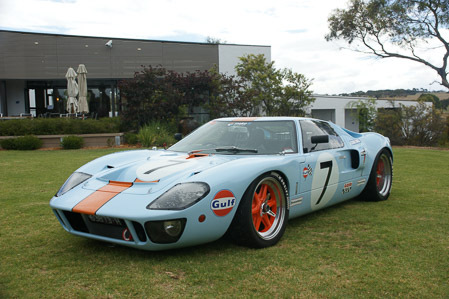 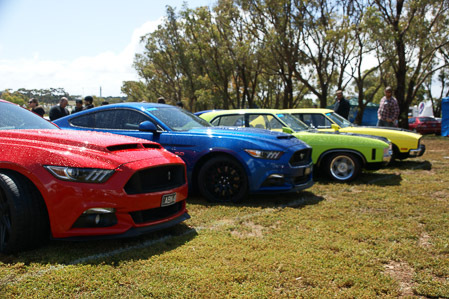 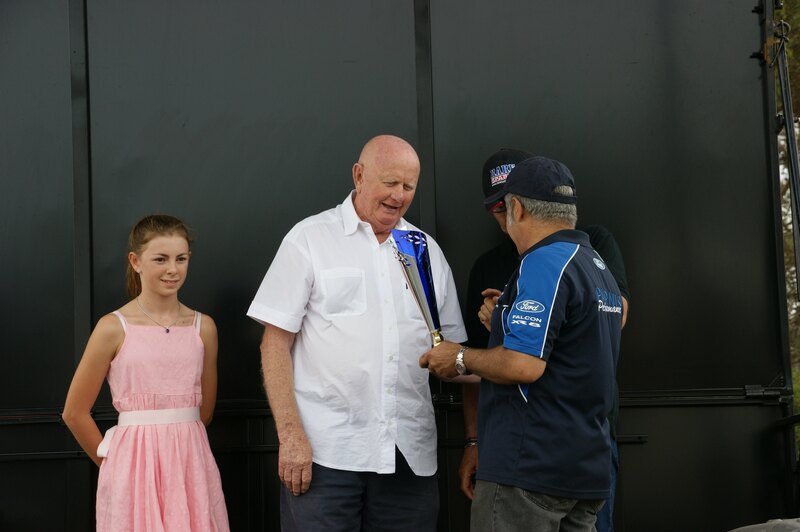 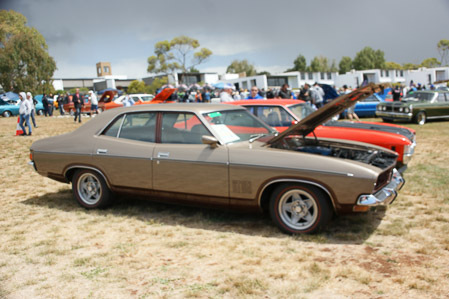 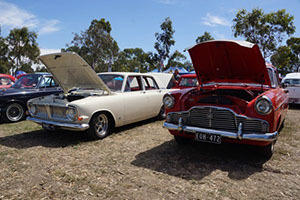 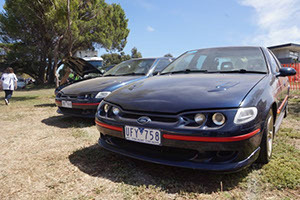 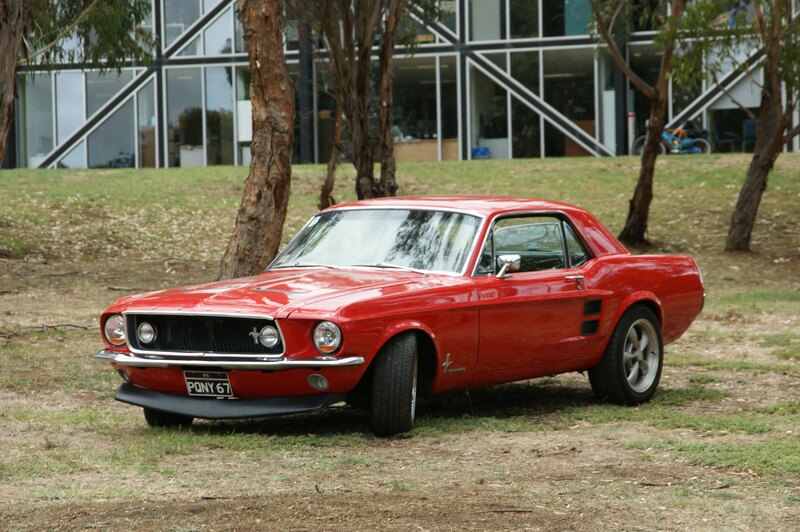 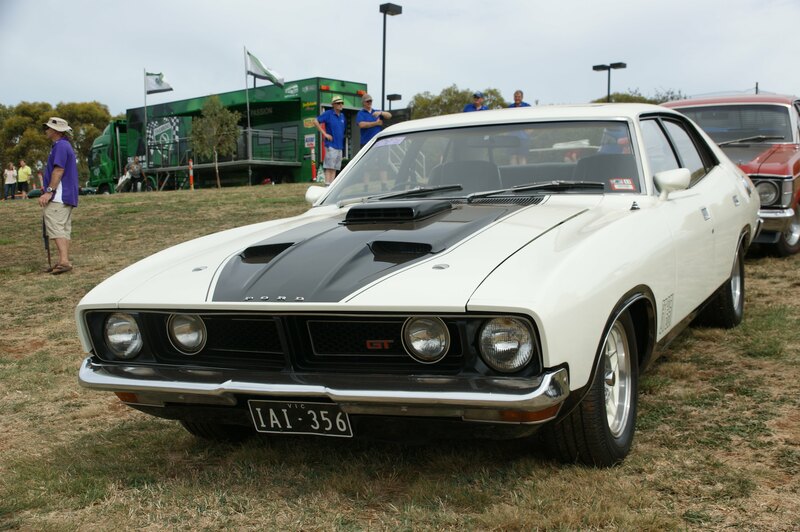 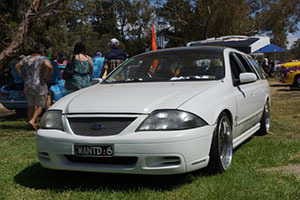 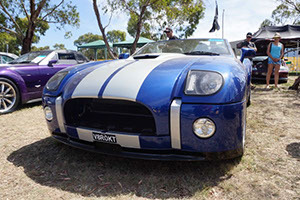 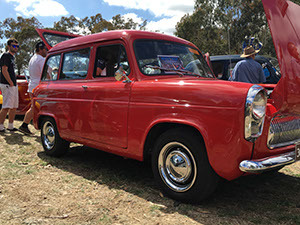 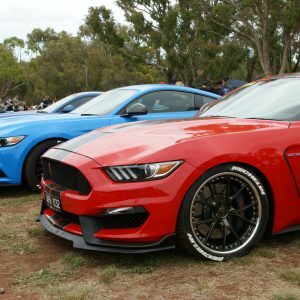 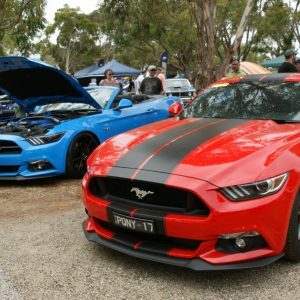 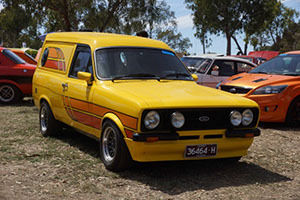 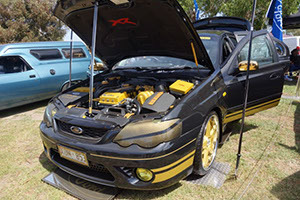 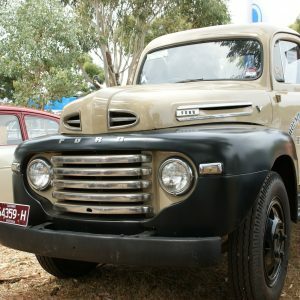 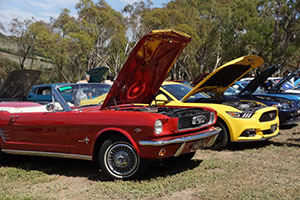 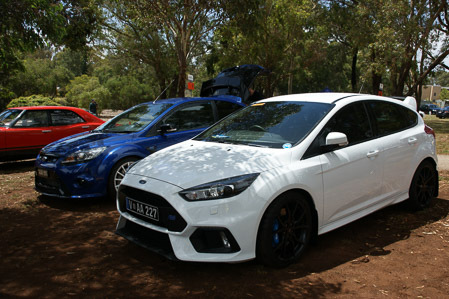 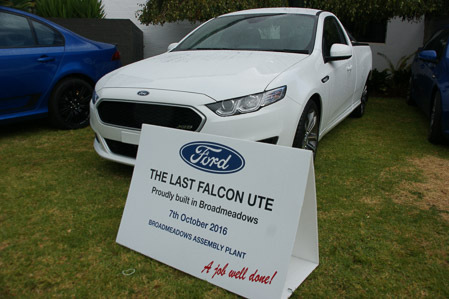 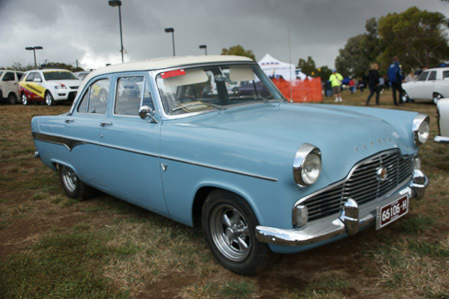 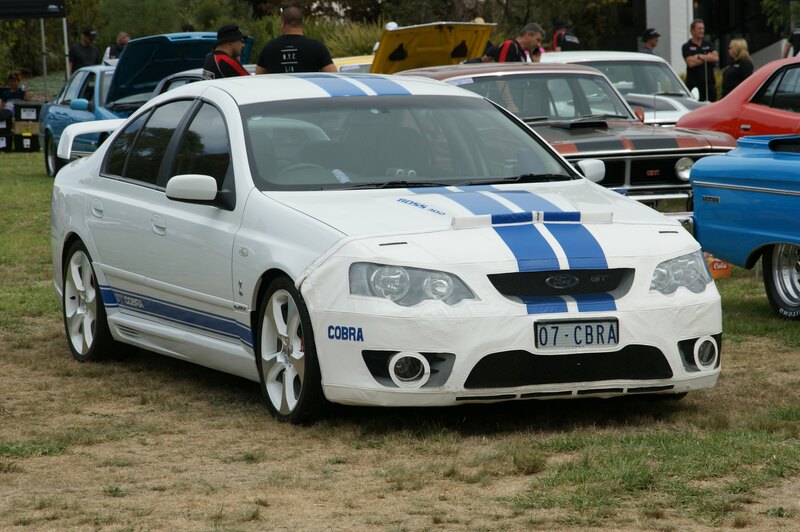 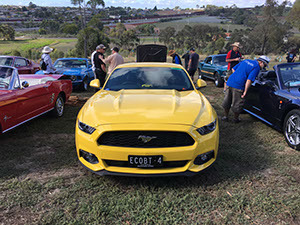 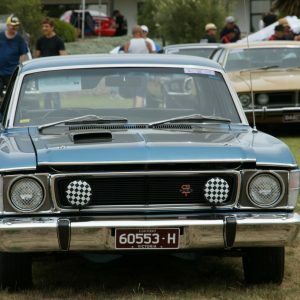 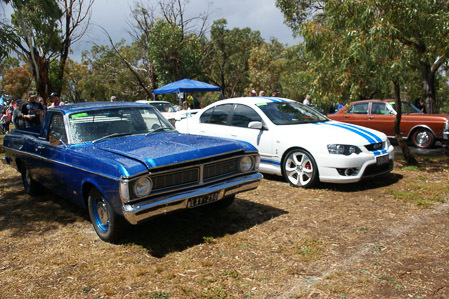 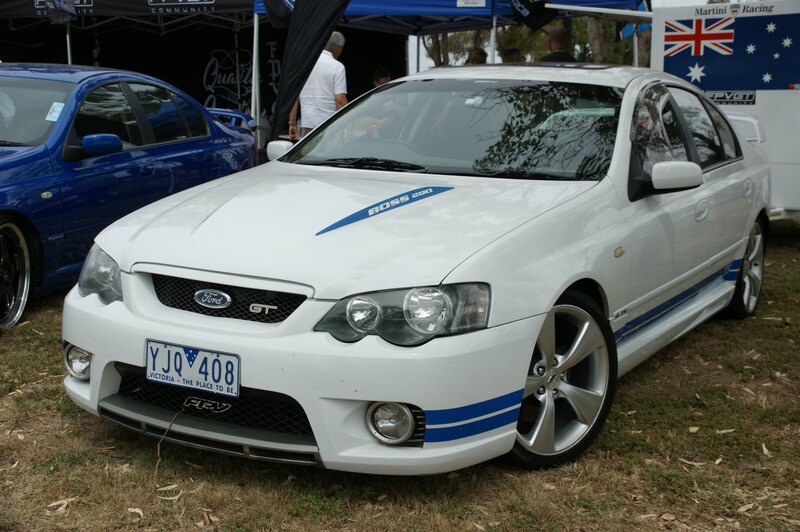 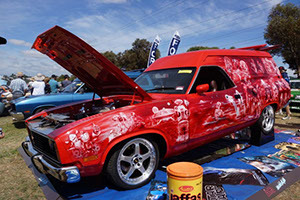 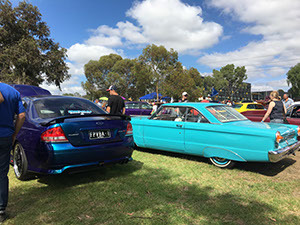 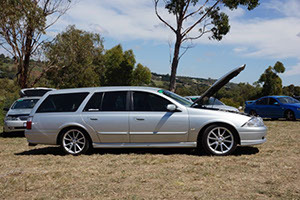 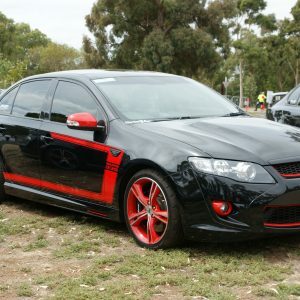 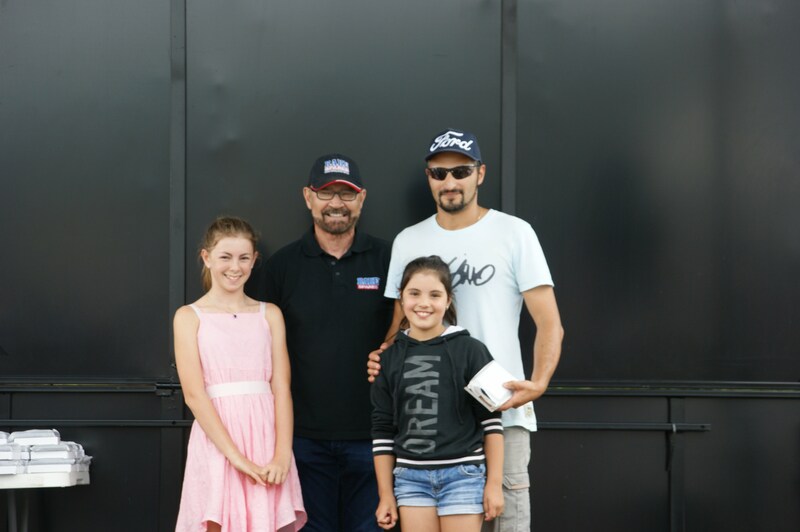 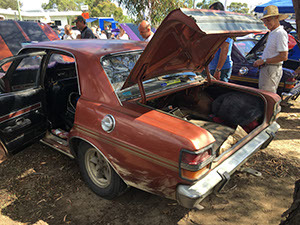 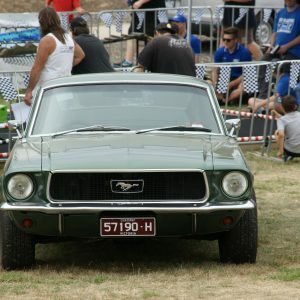 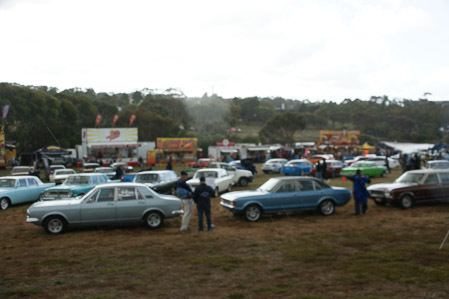 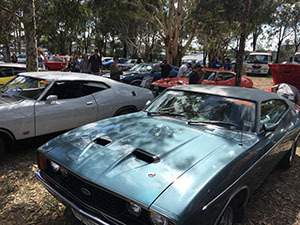 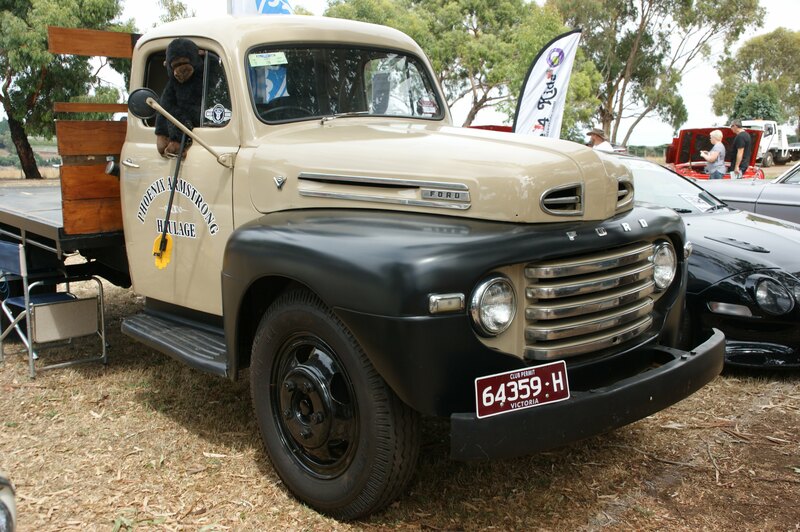 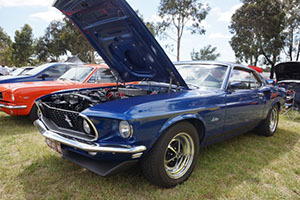 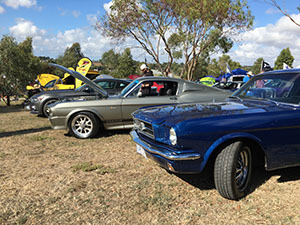 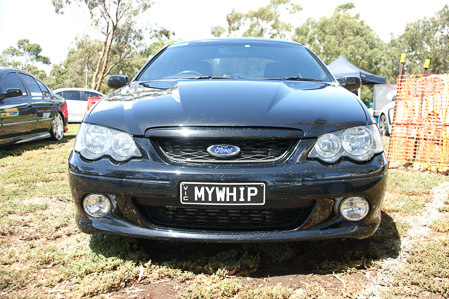 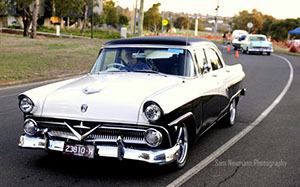 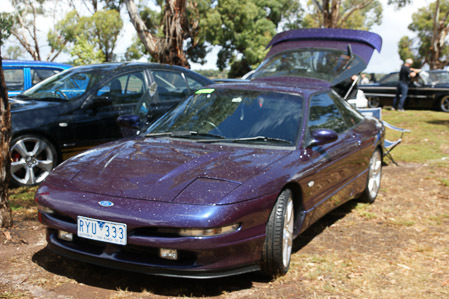 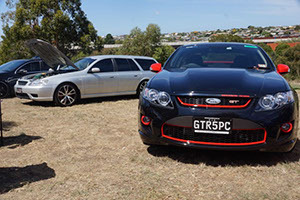 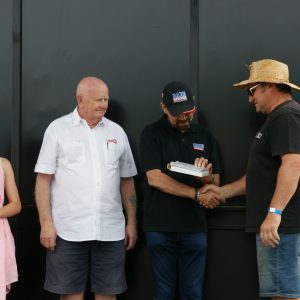 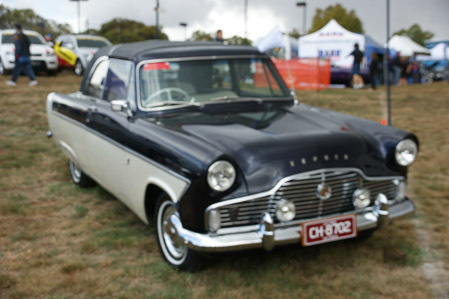 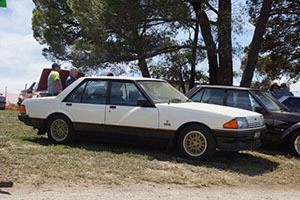 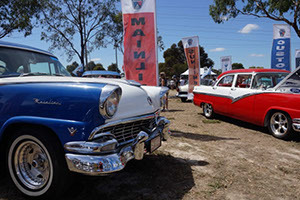 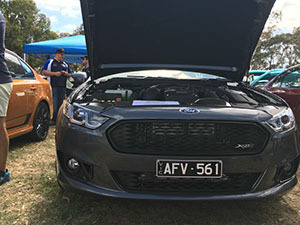 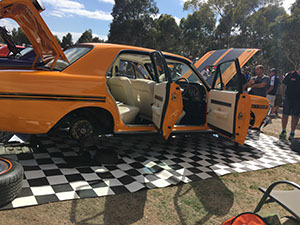 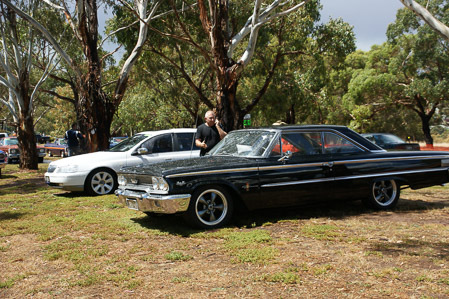 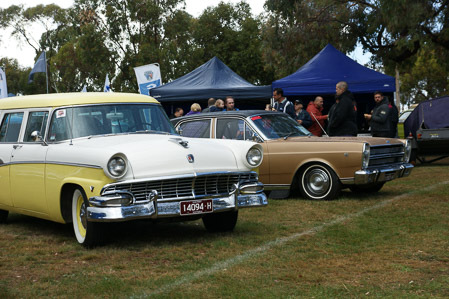 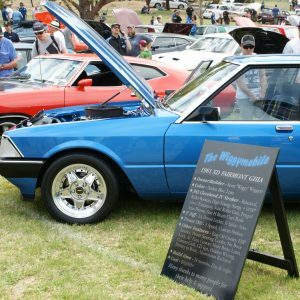 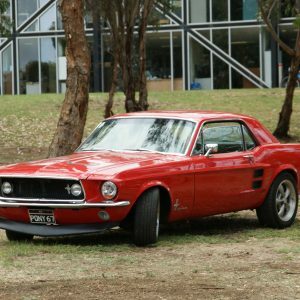 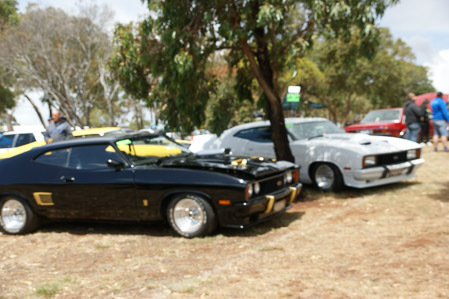 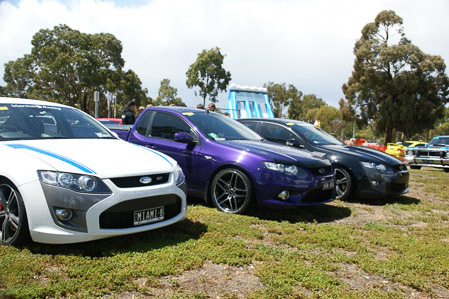 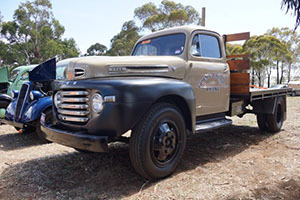 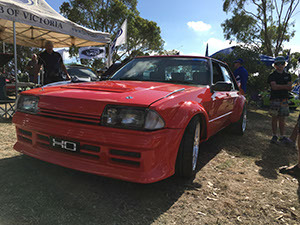 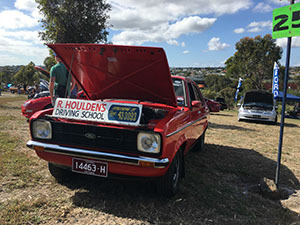 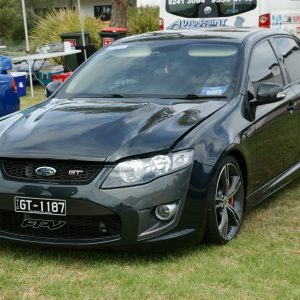 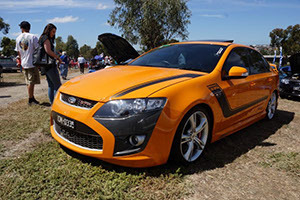 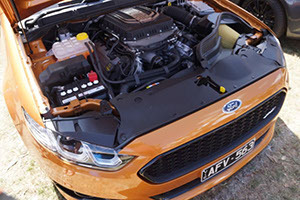 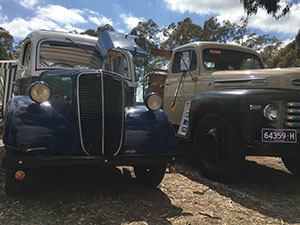 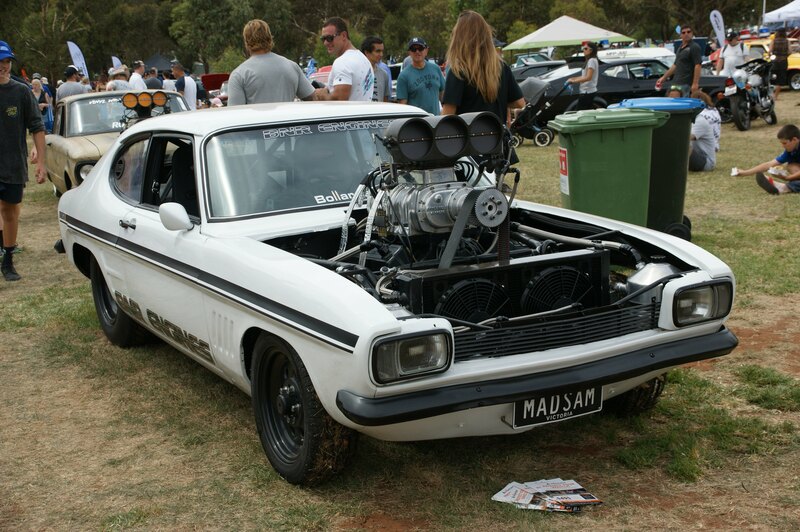 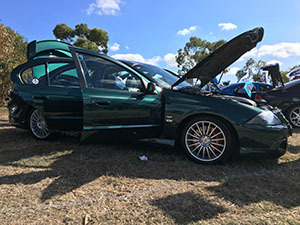 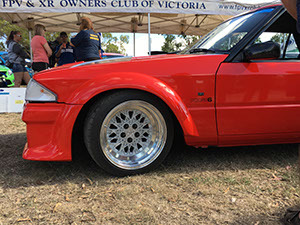 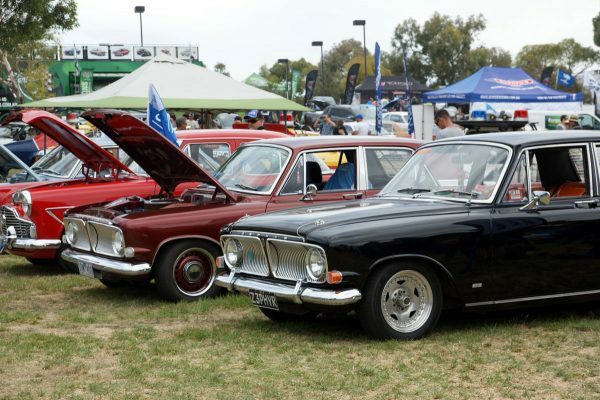 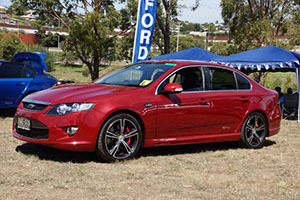 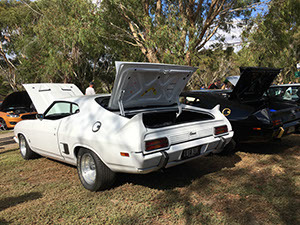 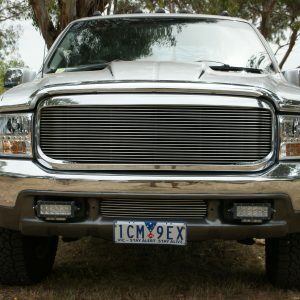 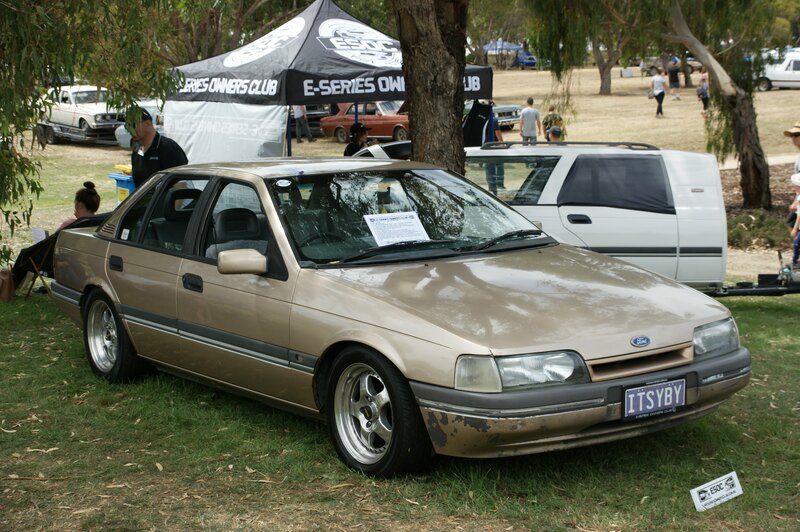 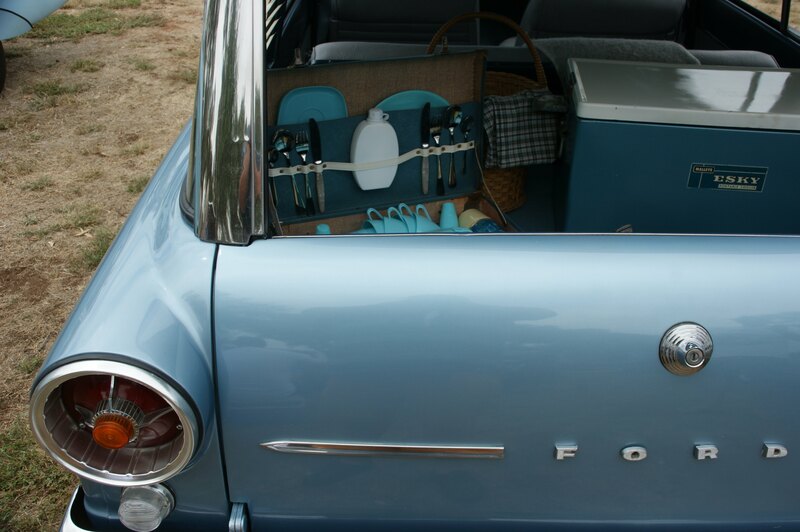 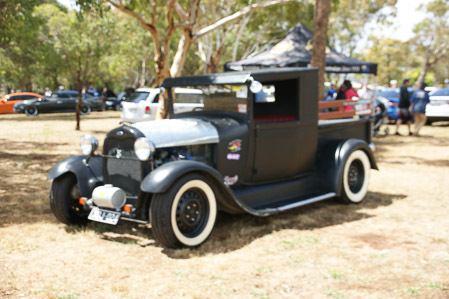 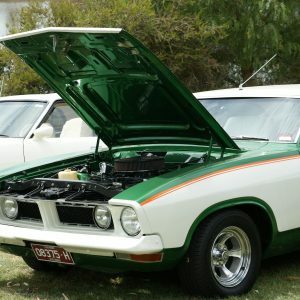 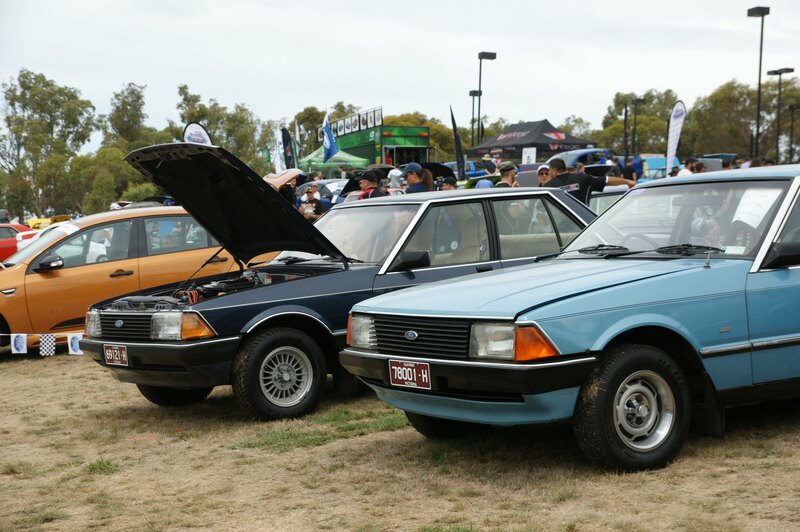 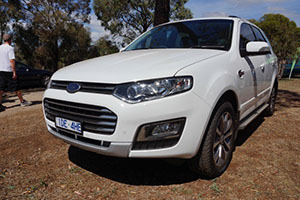 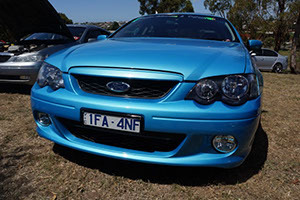 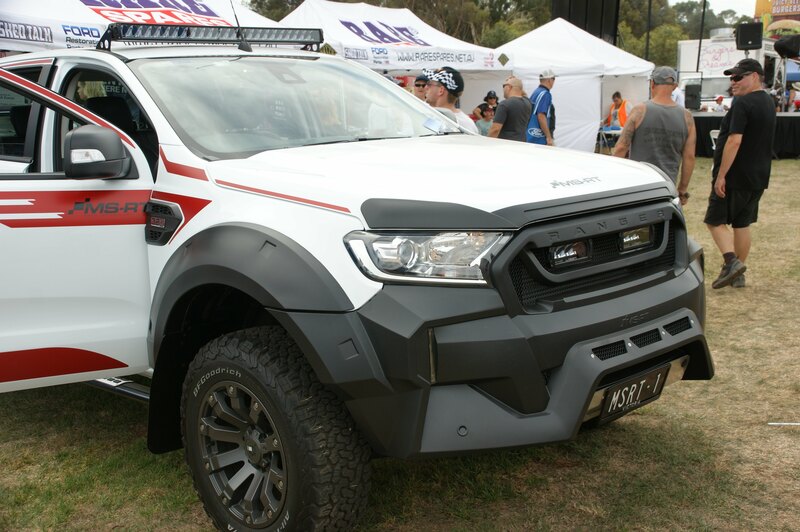 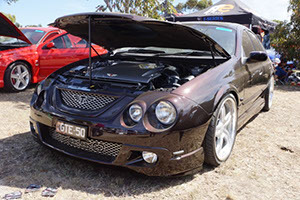 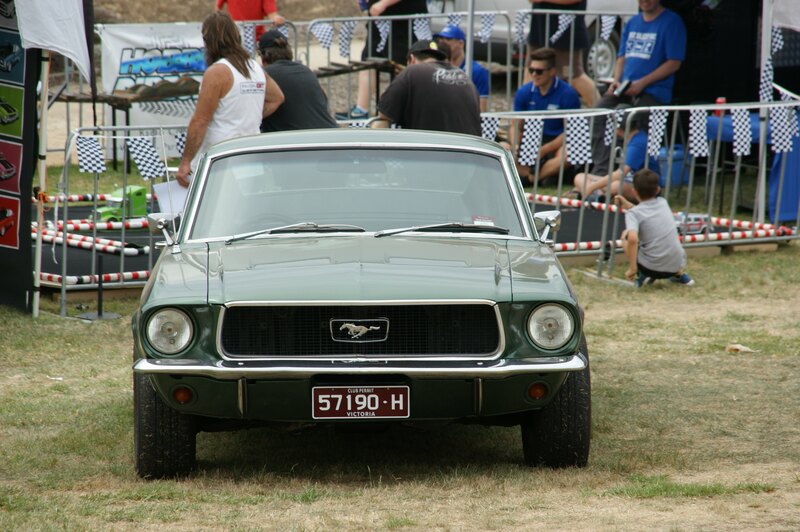 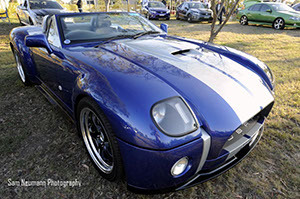 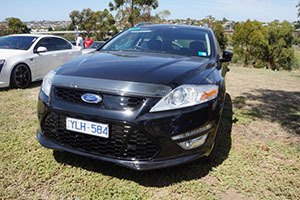 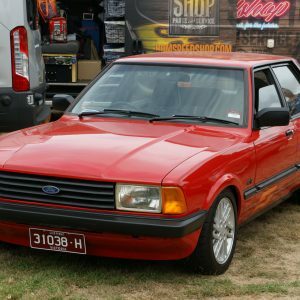 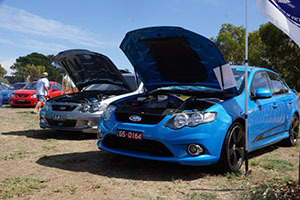 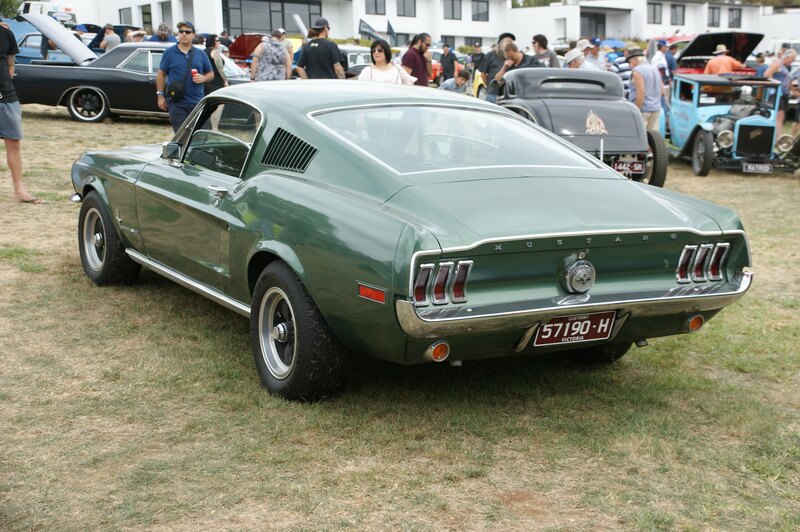 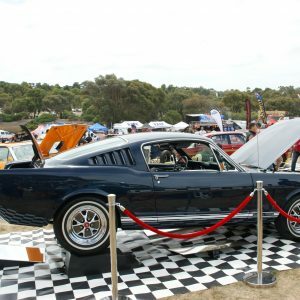 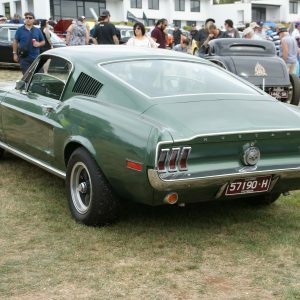 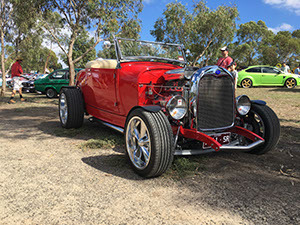 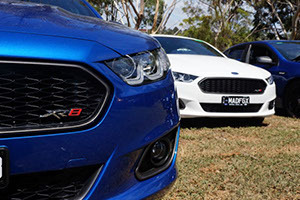 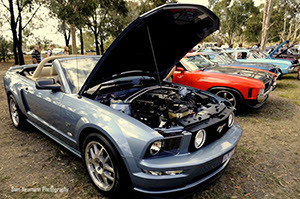 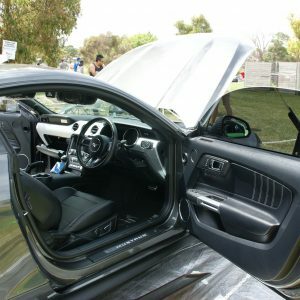 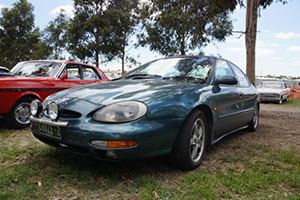 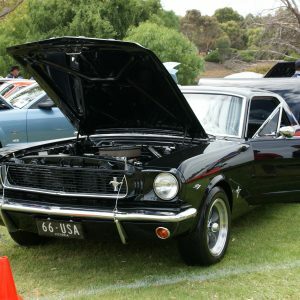 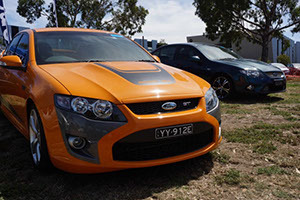 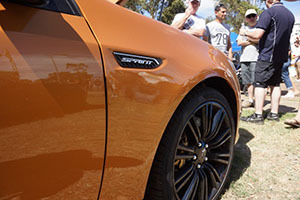 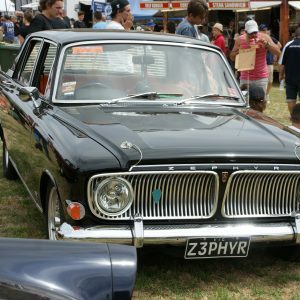 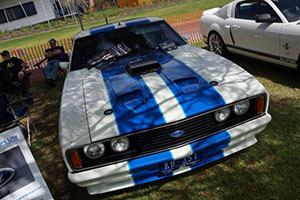 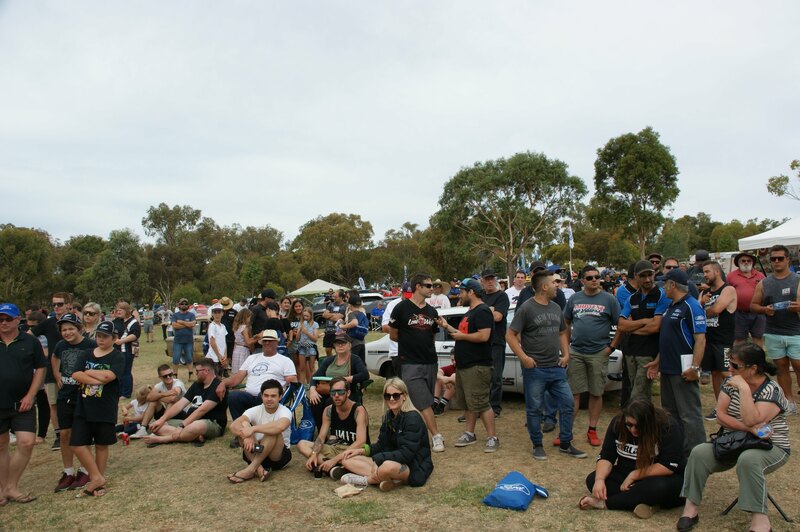 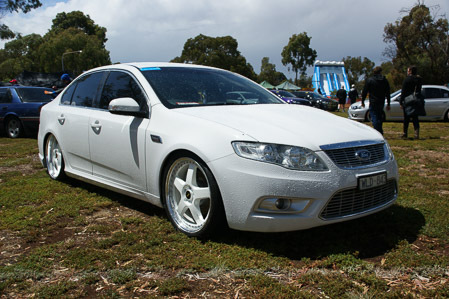 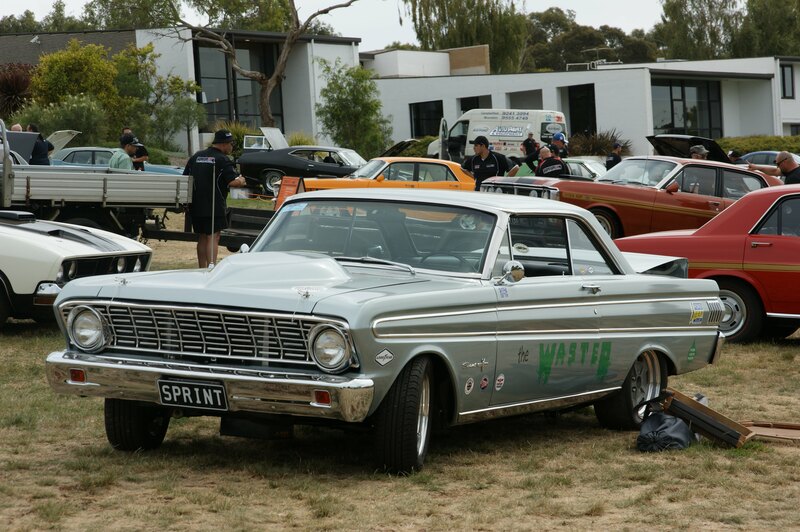 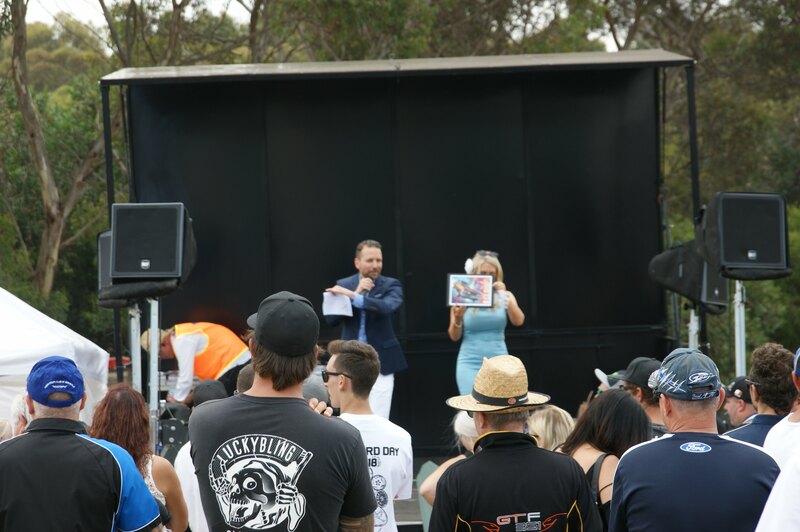 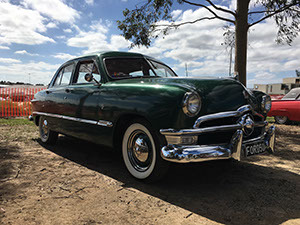 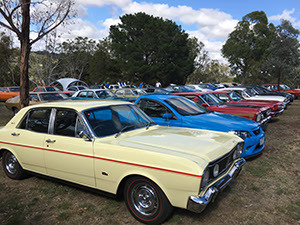 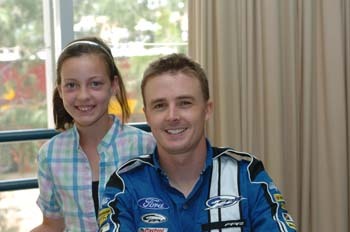 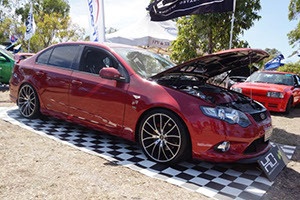 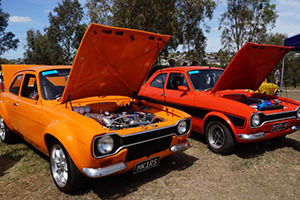 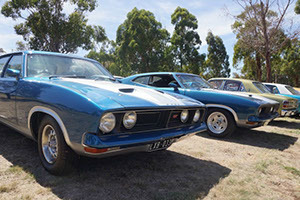 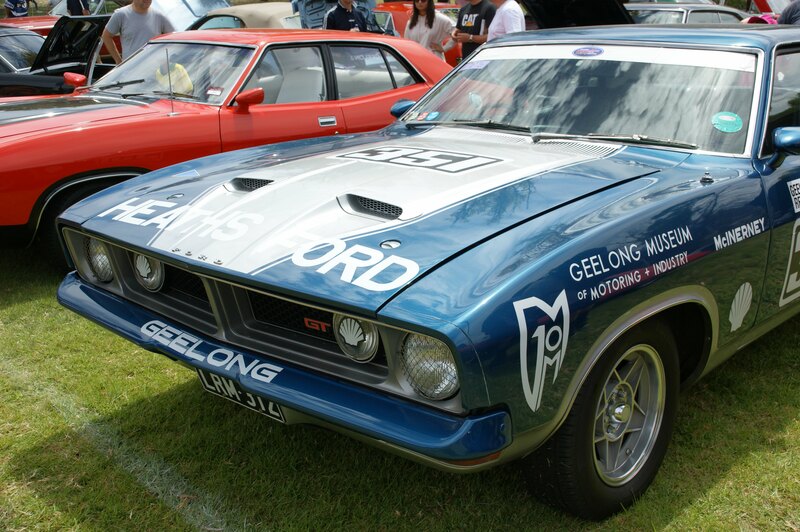 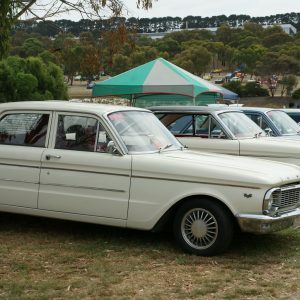 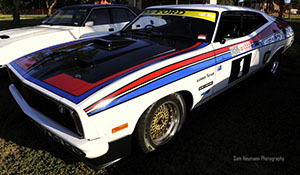 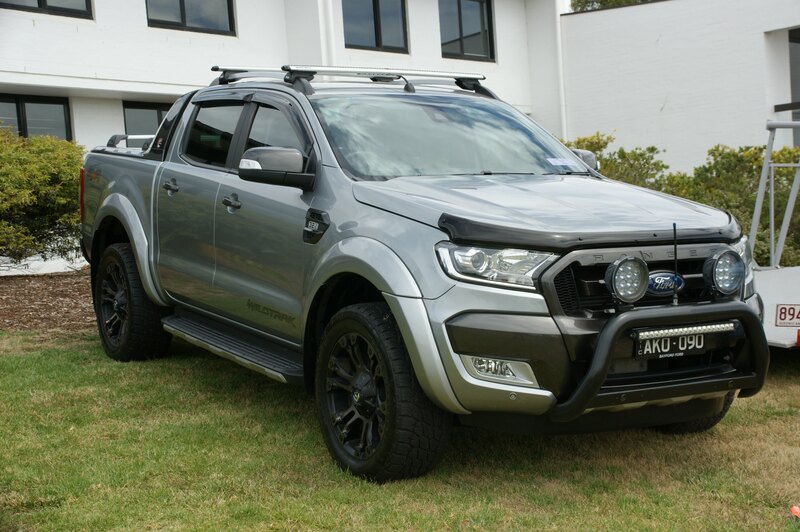 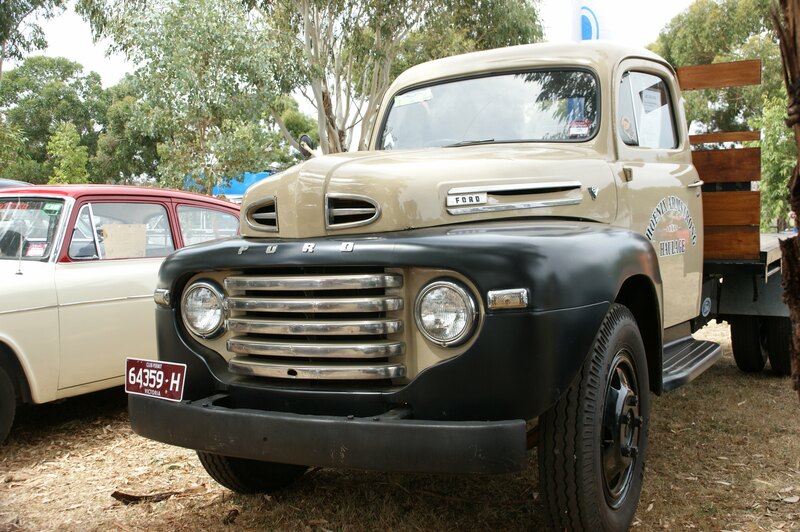 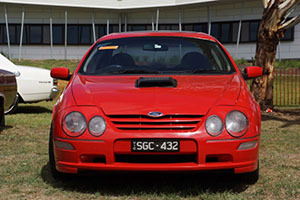 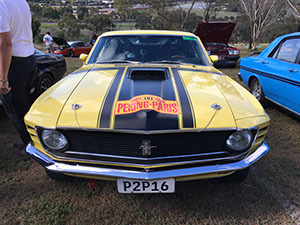 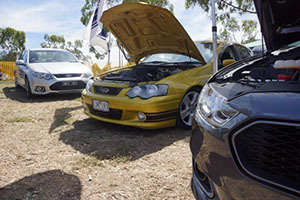 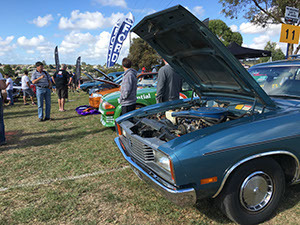 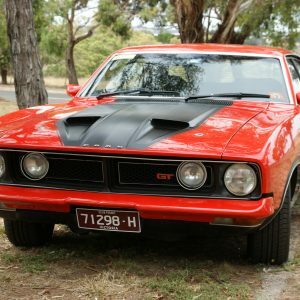 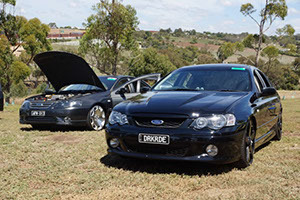 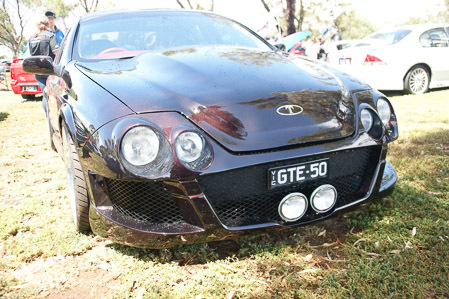 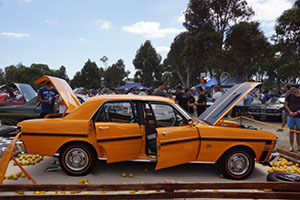 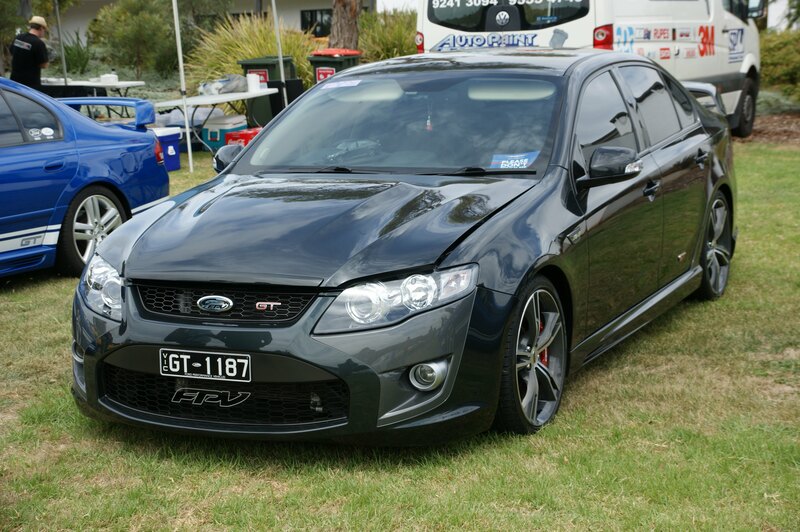 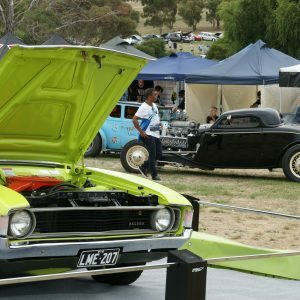 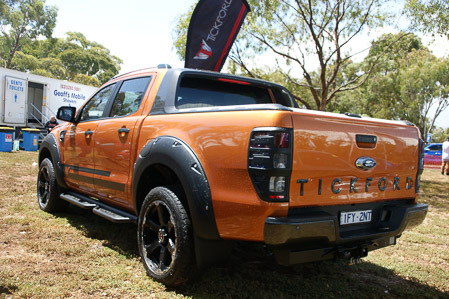 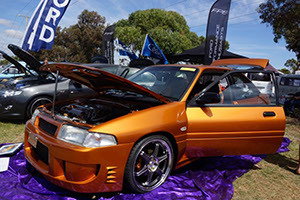 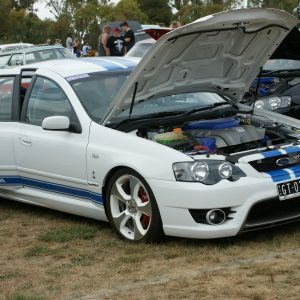 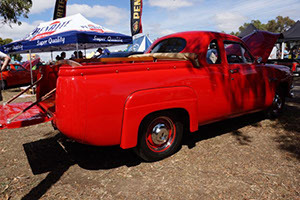 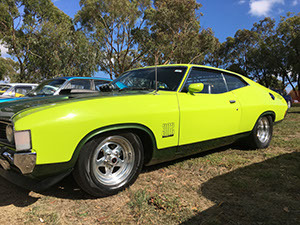 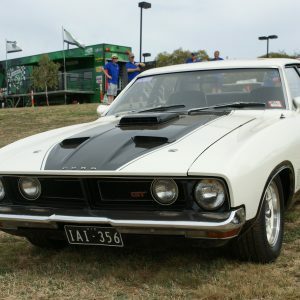 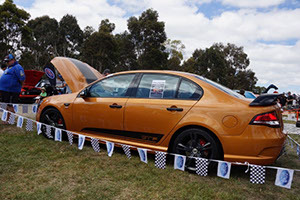 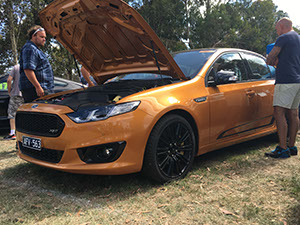 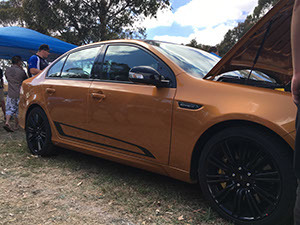 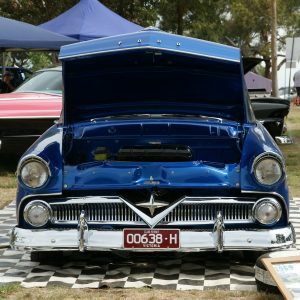 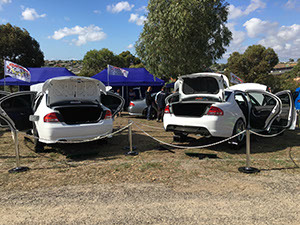 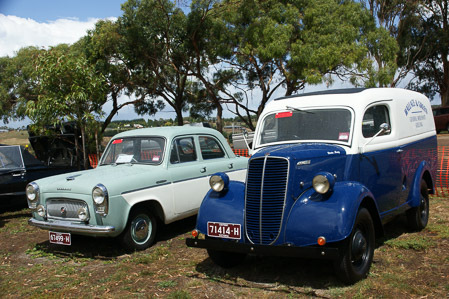 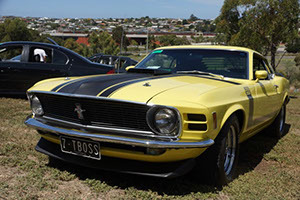 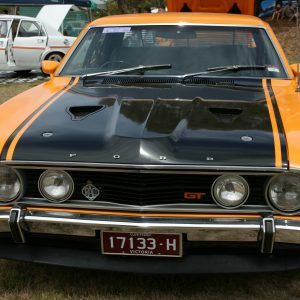 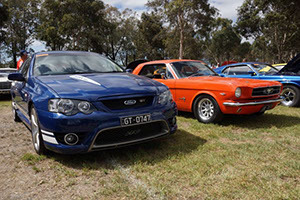 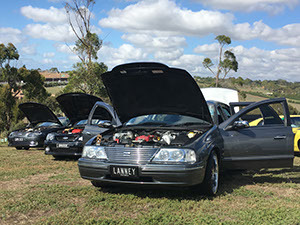 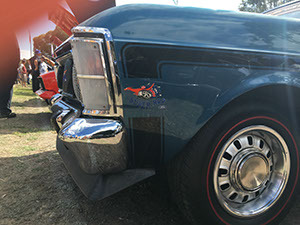 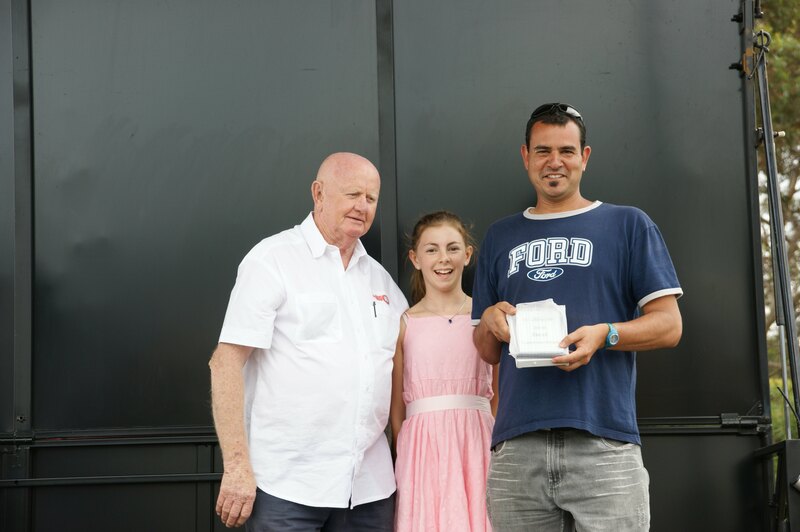 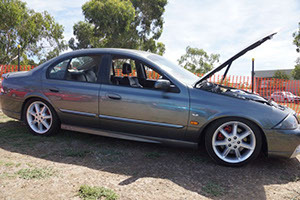 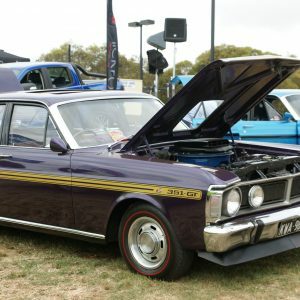 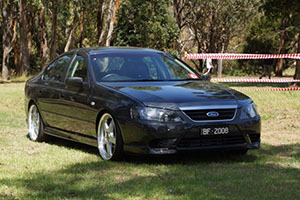 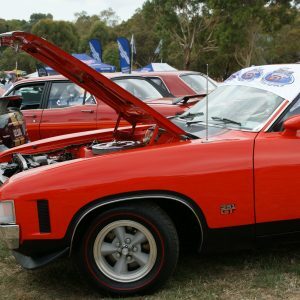 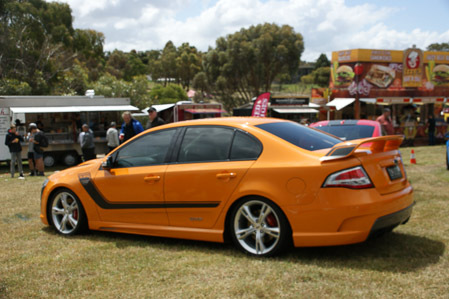 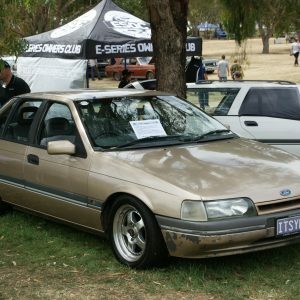 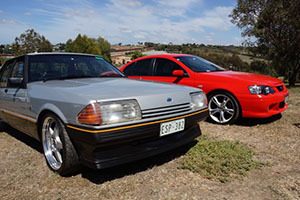 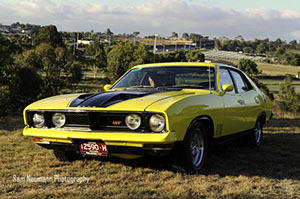 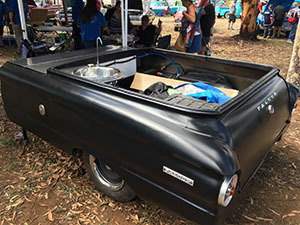 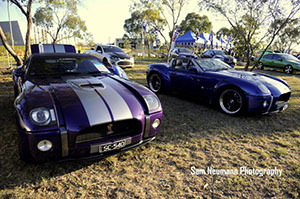 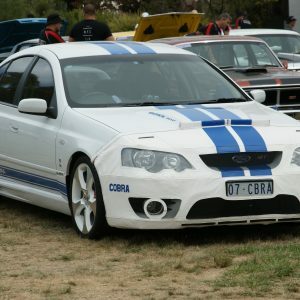 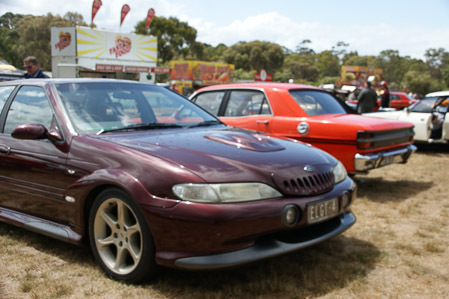 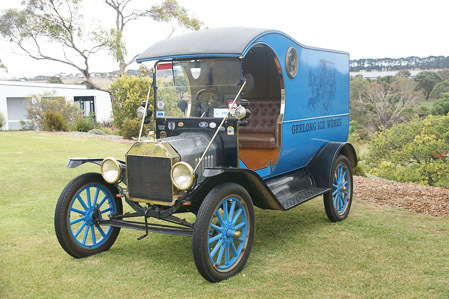 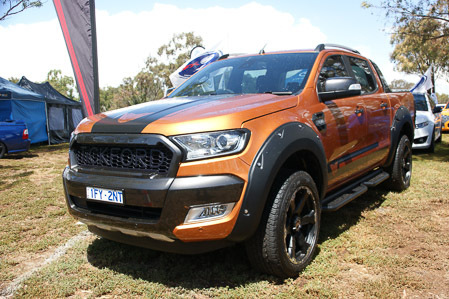 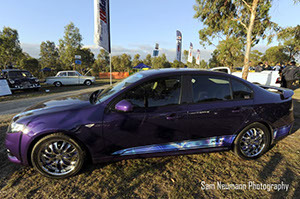 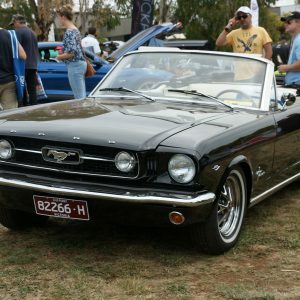 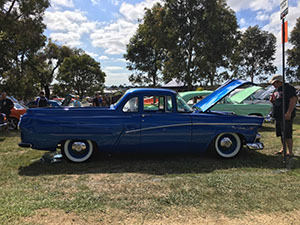 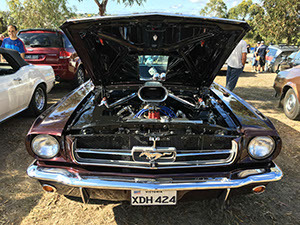 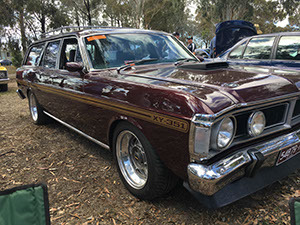 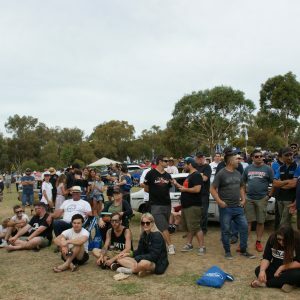 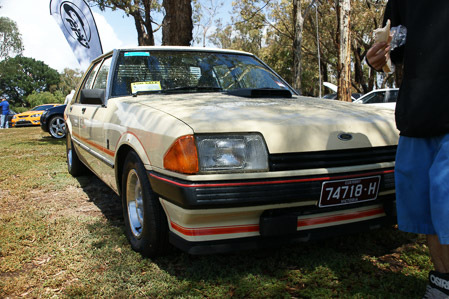 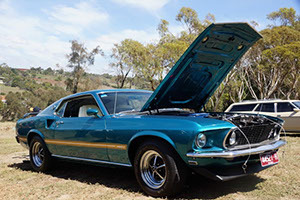 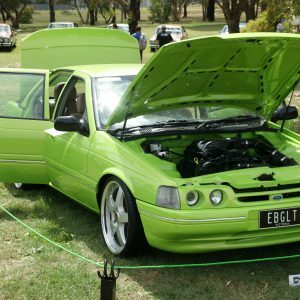 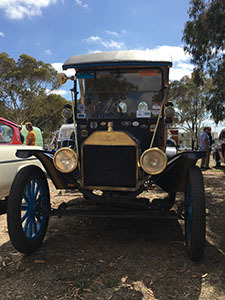 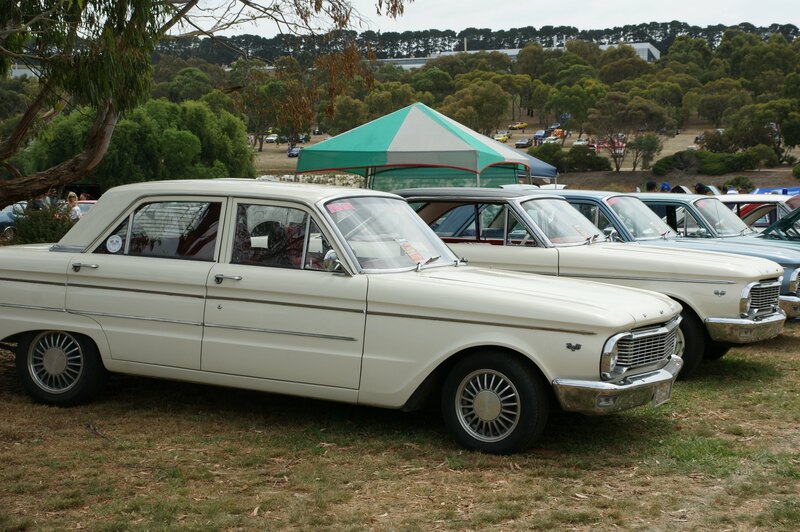 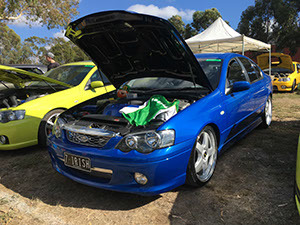 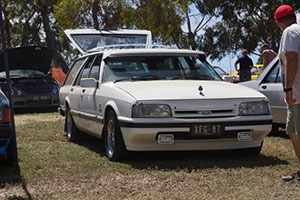 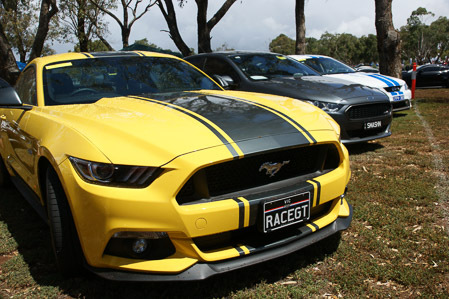 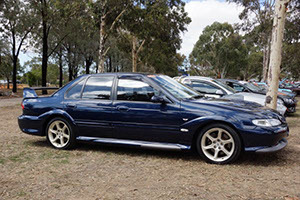 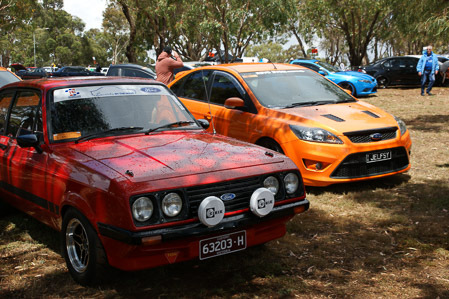 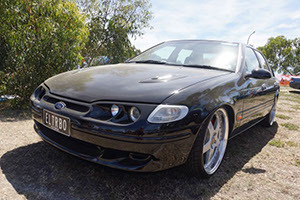 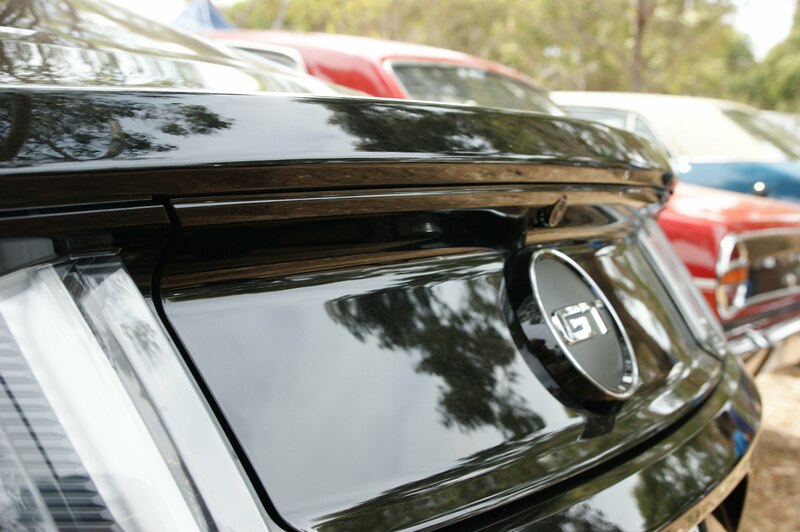 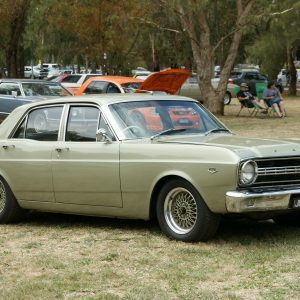 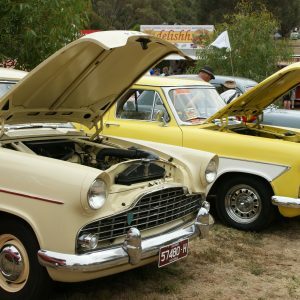 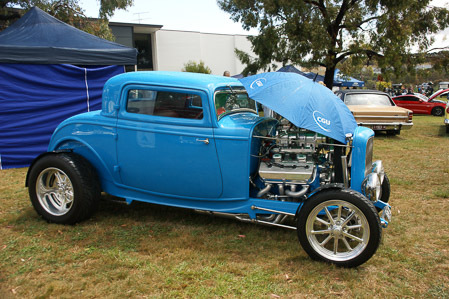 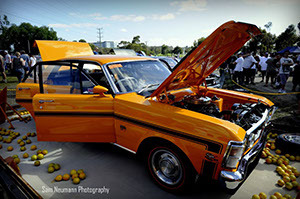 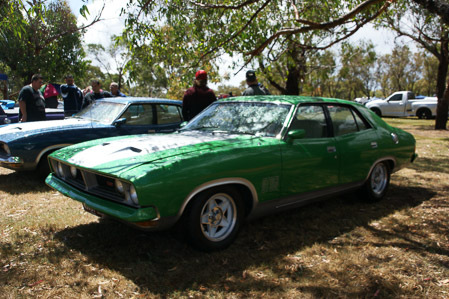 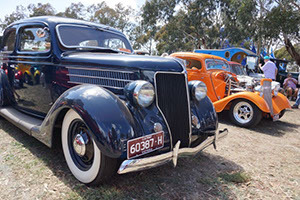 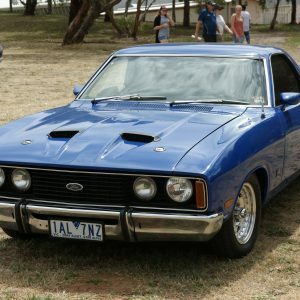 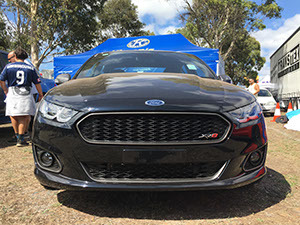 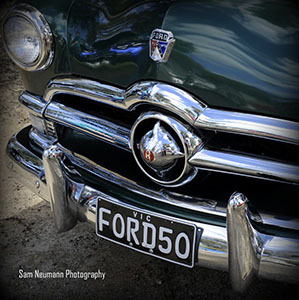 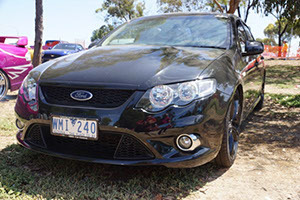 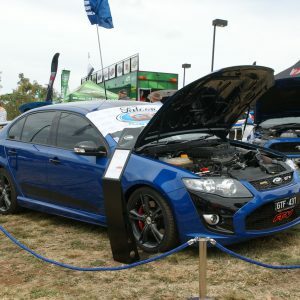 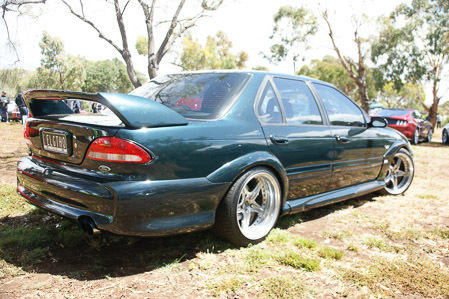 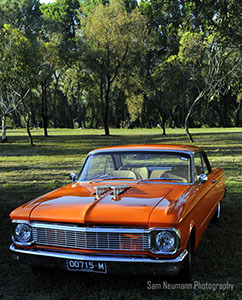 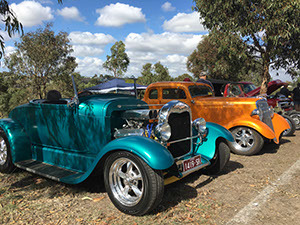 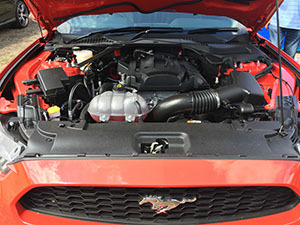 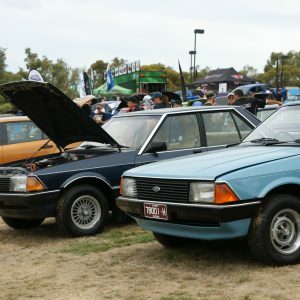 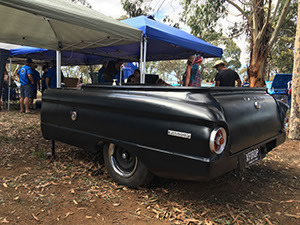 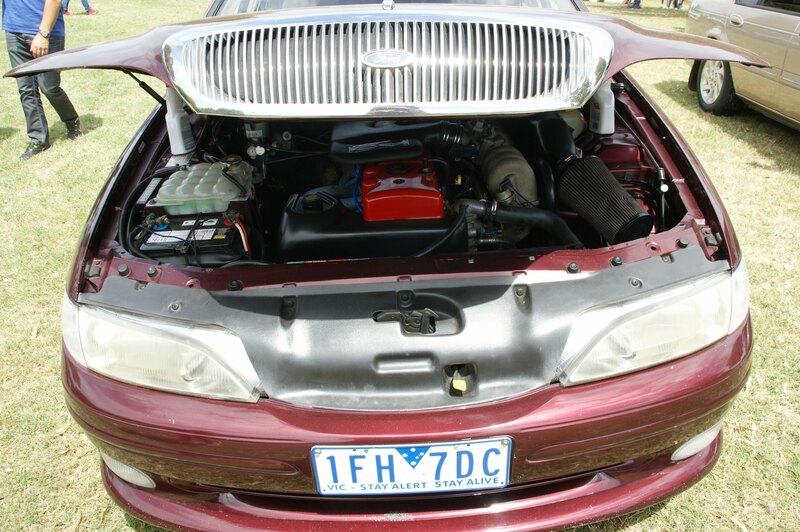 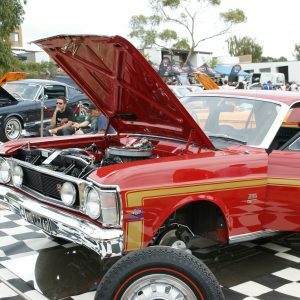 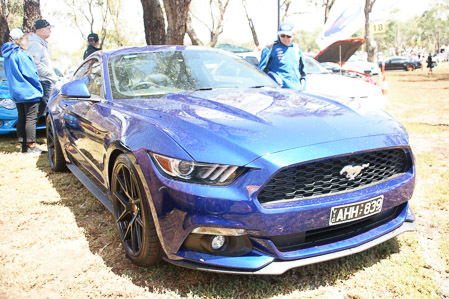 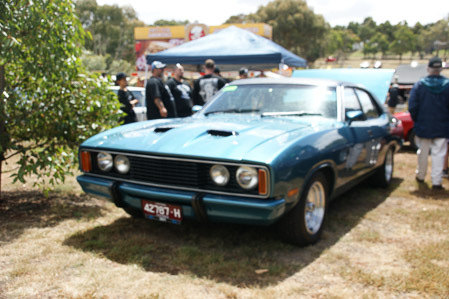 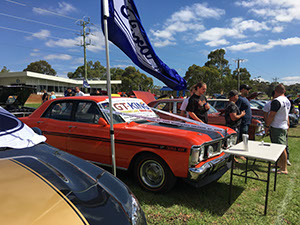 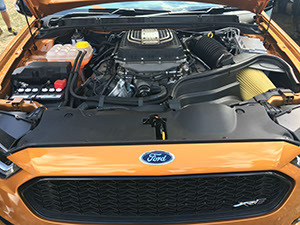 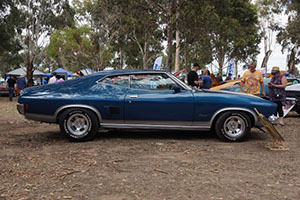 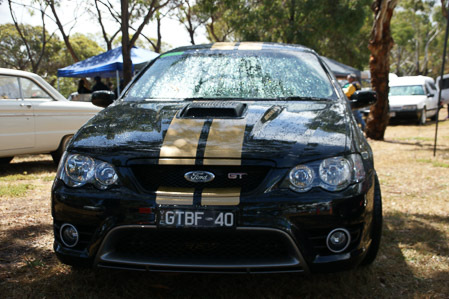 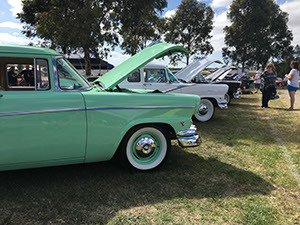 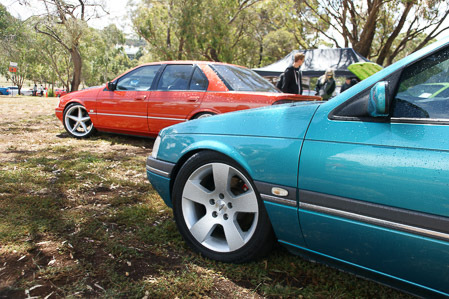 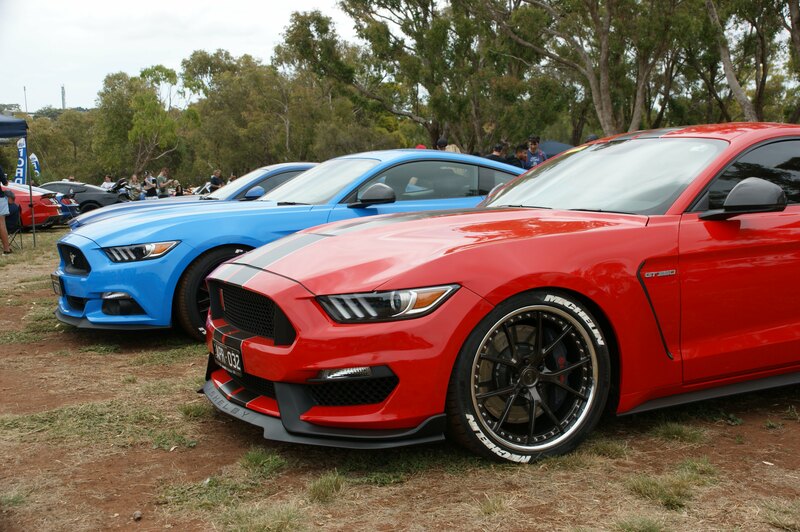 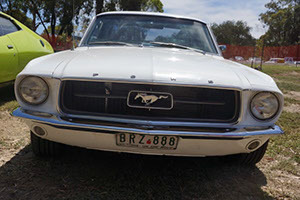 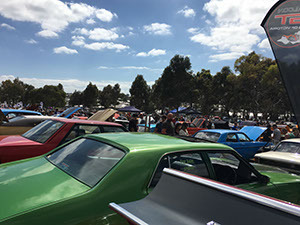 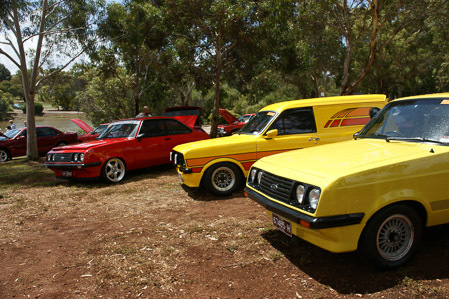 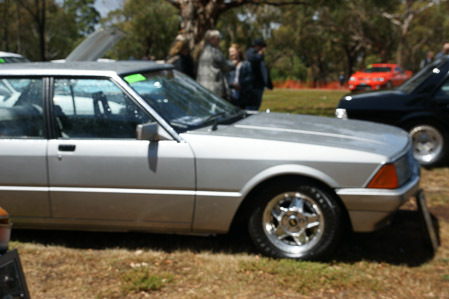 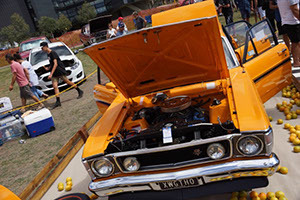 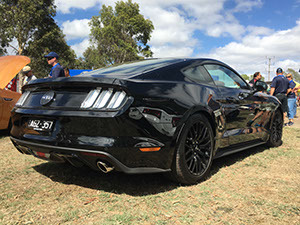 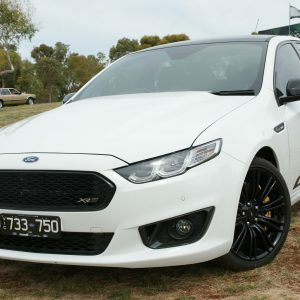 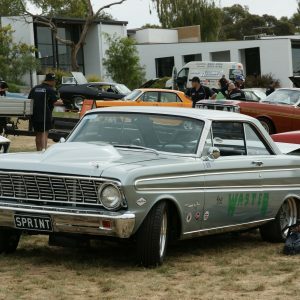 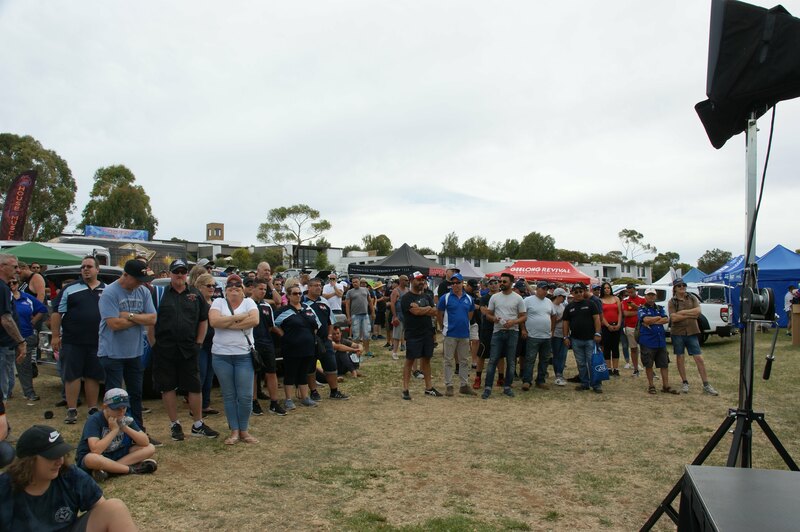 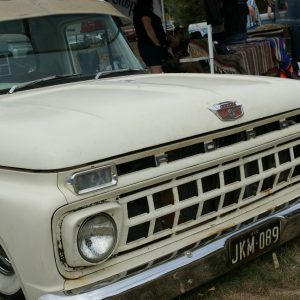 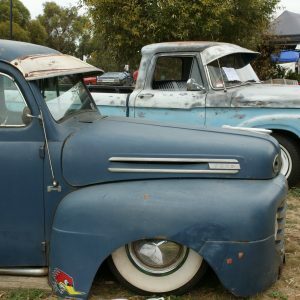 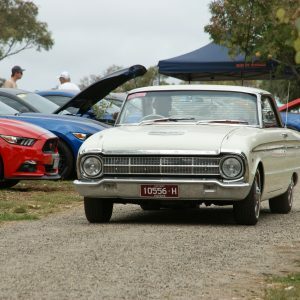 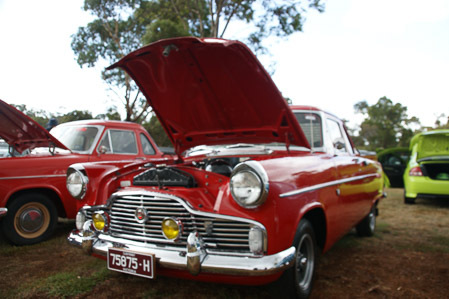 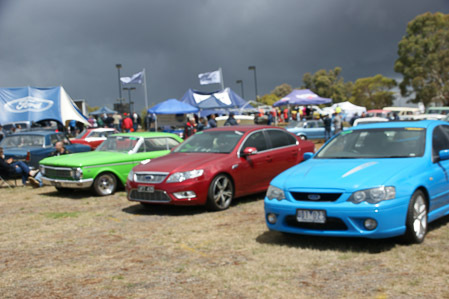 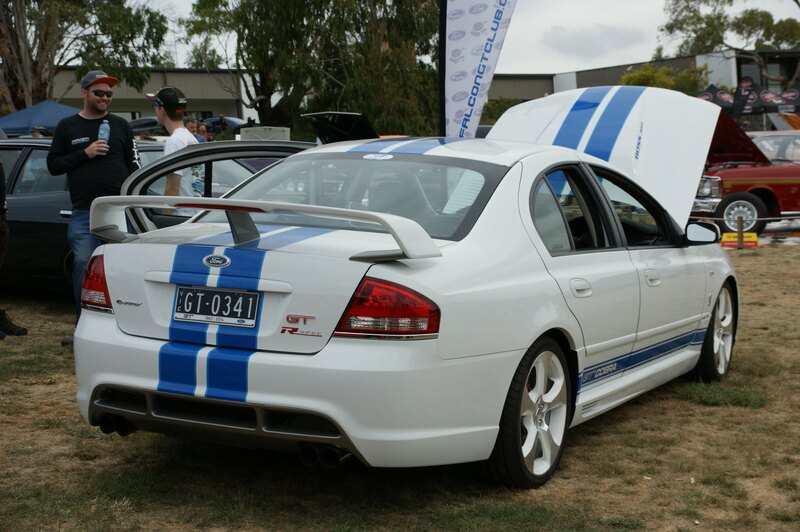 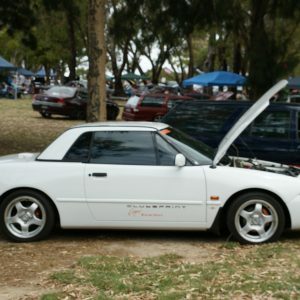 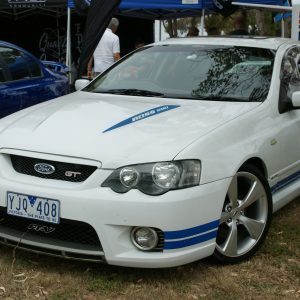 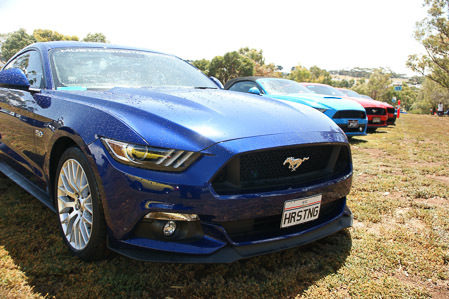 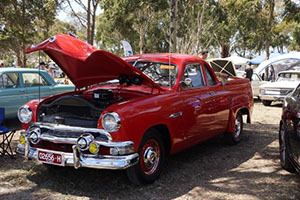 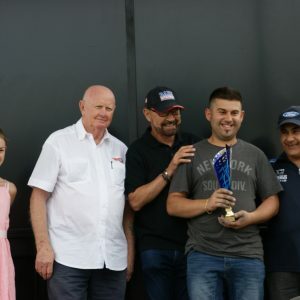 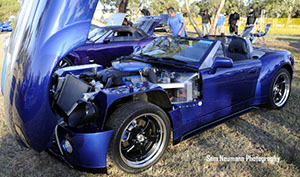 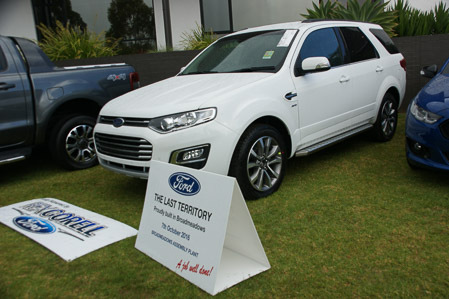 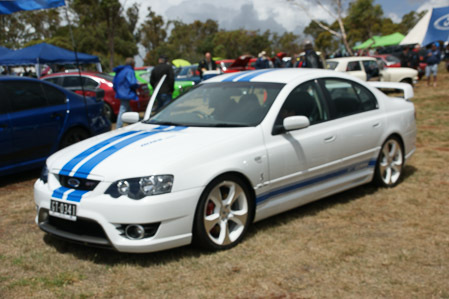 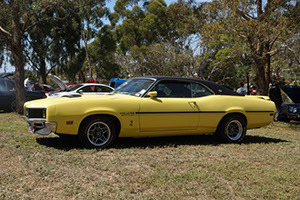 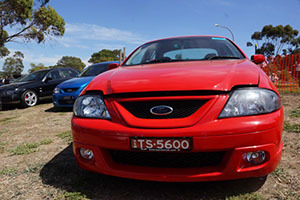 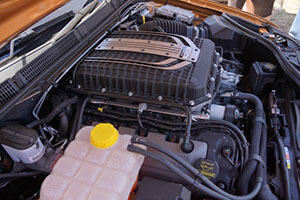 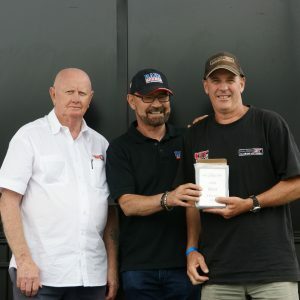 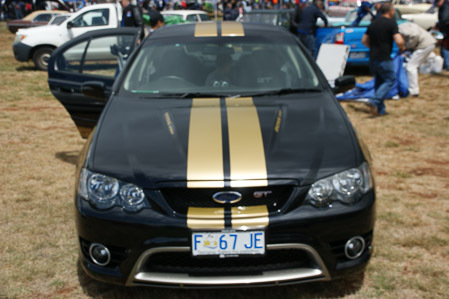 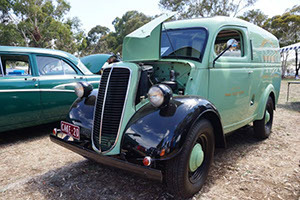 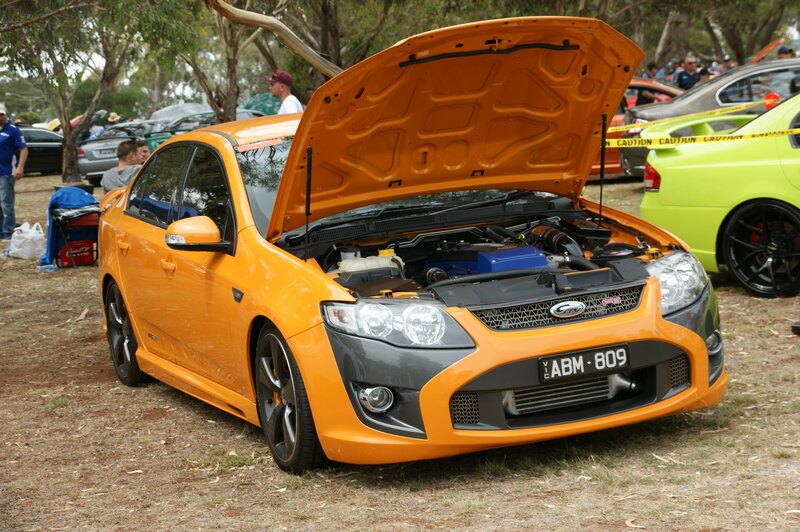 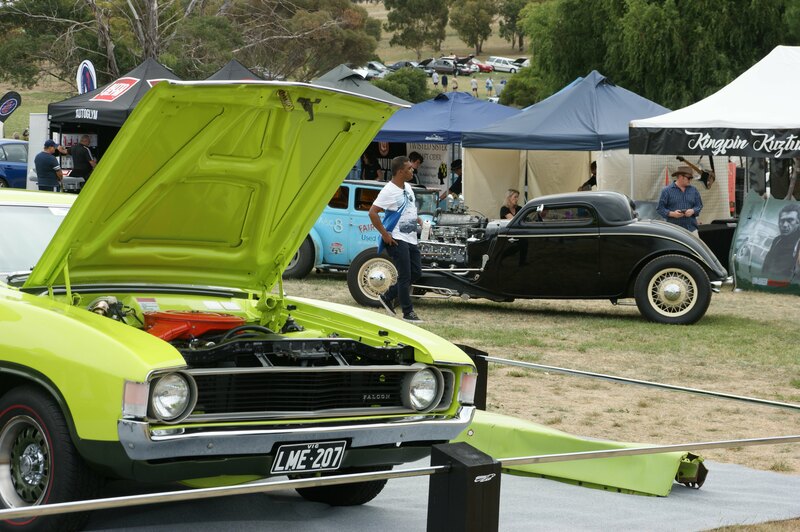 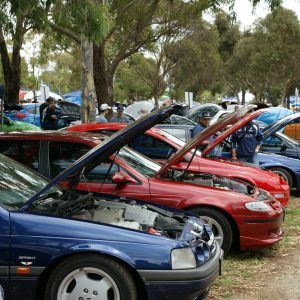 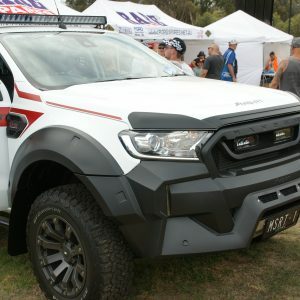 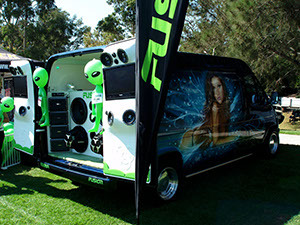 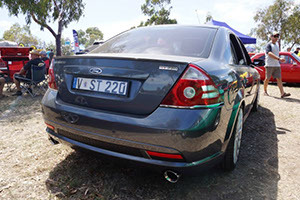 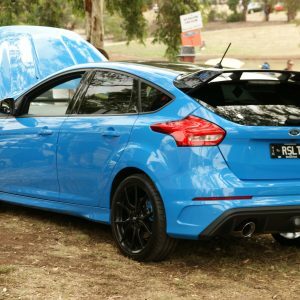 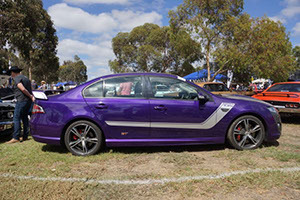 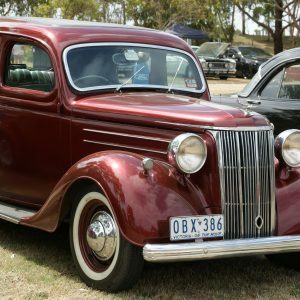 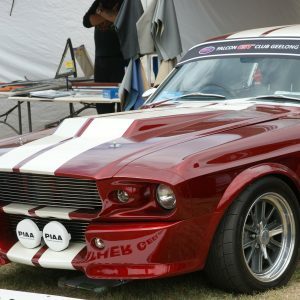 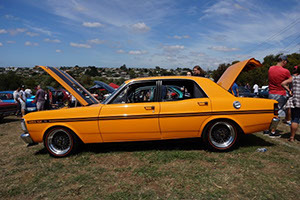 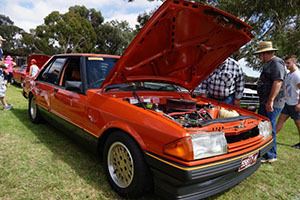 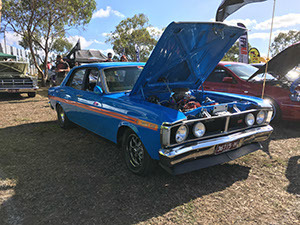 The event caters for over 1200 Ford vehicles on display in one of the largest single make event in Australia! 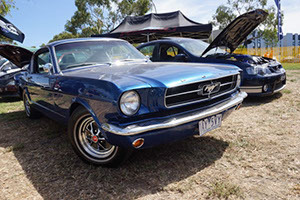 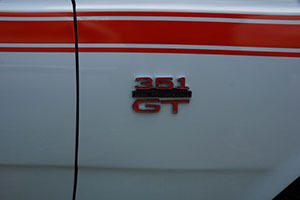 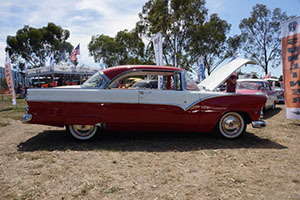 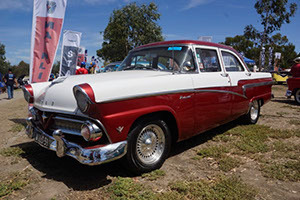 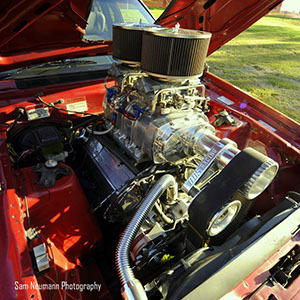 Ford vehicles of all types, ages and models will be joined by classic race and muscle cars, hotrods, street machines, celebrities, automotive industry displays and entertainment for the whole family! 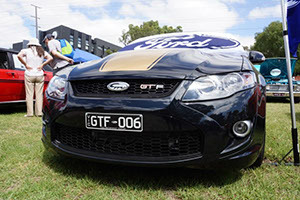 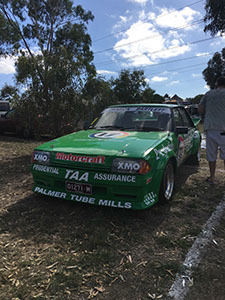 Directions to All Ford Day at Sutcliffe Reserve 240-268 Plantation Road, Corio. 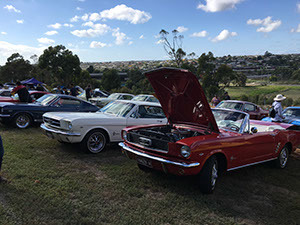 Please carefully consider your route to the All Ford Day as there may be delays due to the volume of traffic associated with the event. 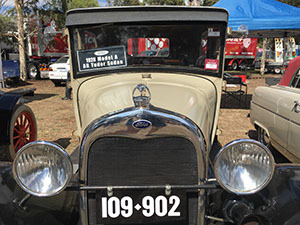 Vehicles may enter from 8:00 am. 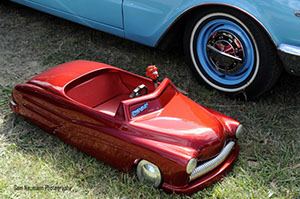 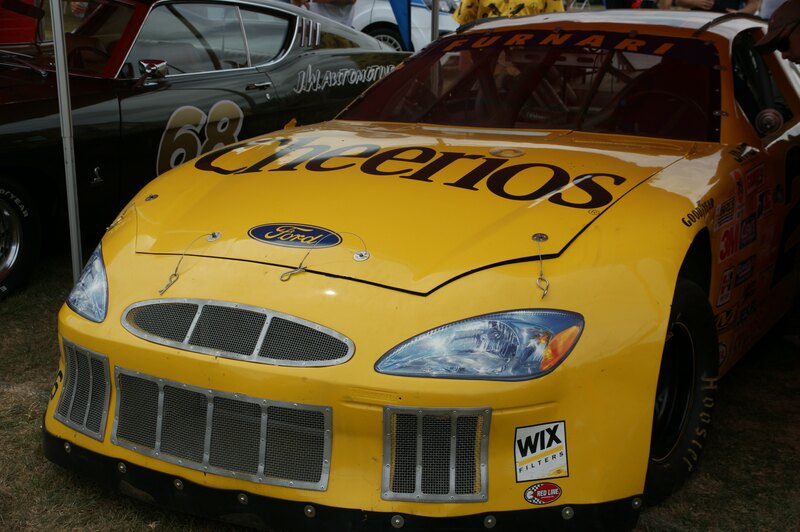 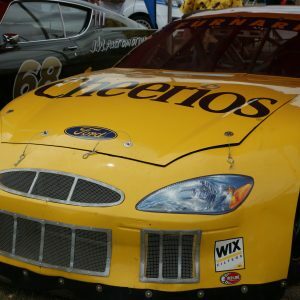 All show cars must be on site by 10:00 am. 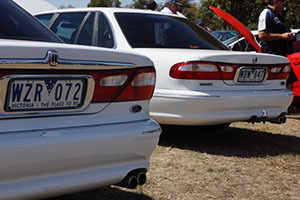 Please familiarise yourself with your parking location. 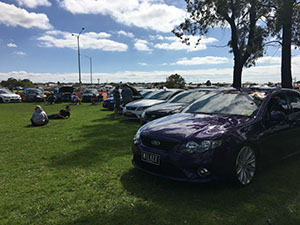 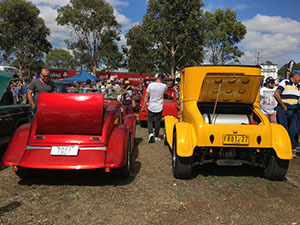 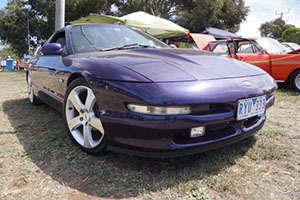 Cars not part of club displays are required to park in the General Display or Judging Display area as noted on your ticket. 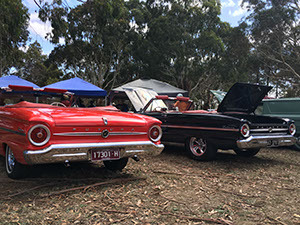 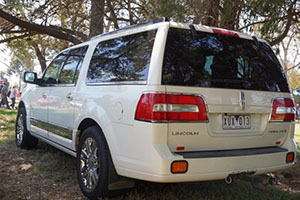 If your parking area is on the west side of Sutcliffe Reserve or your vehicle has low ground clearance, please enter via GATE 1. 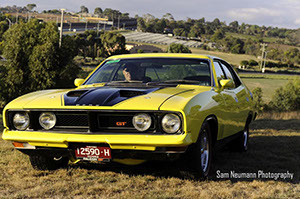 GATE 1 From Melbourne: Take the Norlane/Anakie exit from the Geelong Ring Road. 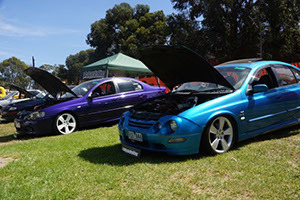 Take the first exit at the roundabout onto Matthews Road until the end, then veer right onto Plantation Road. 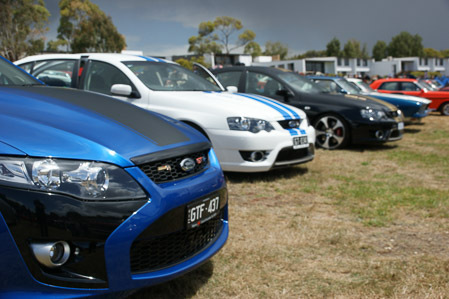 Sutcliffe Reserve will be on your left. 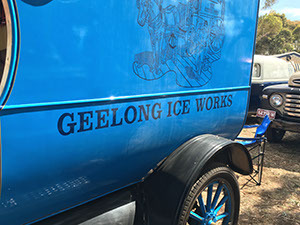 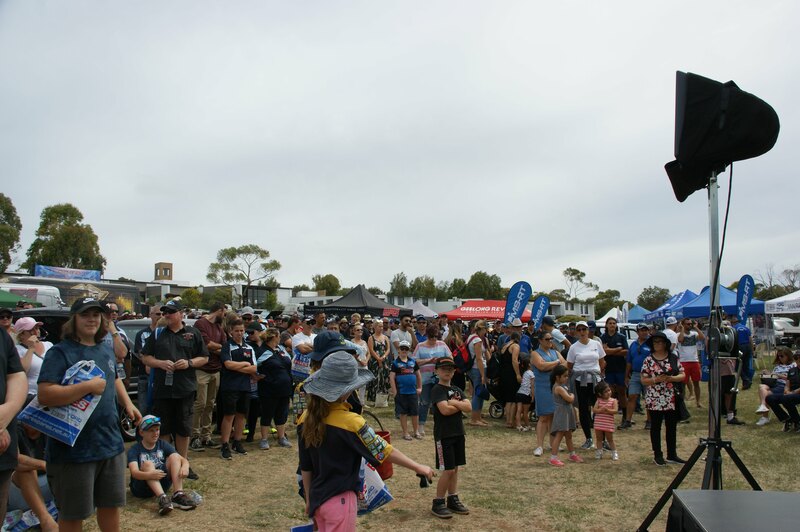 GATE 1 From Geelong: Make your way to Anakie Road. 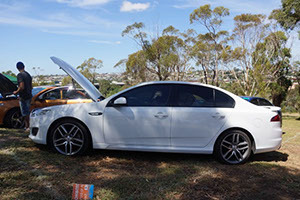 Take the 3rd exit at the roundabout onto Matthews Road until the end then veer right onto Plantation Road. 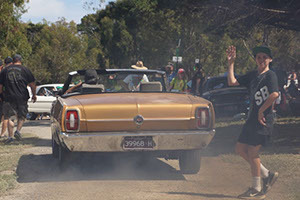 Sutcliffe Reserve will be on your left. 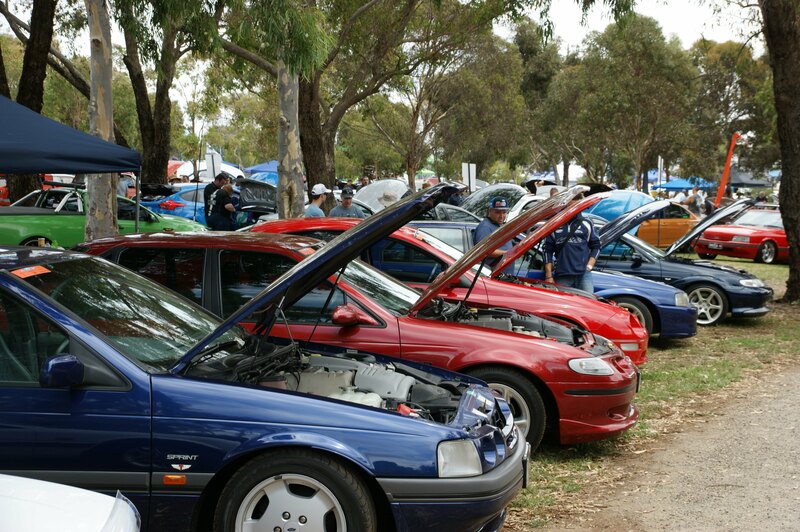 If your parking area is on the east side of Sutcliffe, please enter via GATE 2. 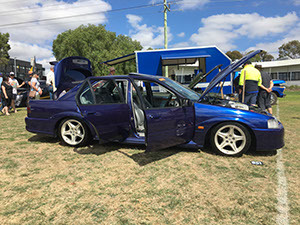 GATE 2 From Melbourne: Exit from Geelong Ring Road at Bacchus Marsh Rd C407 exit. 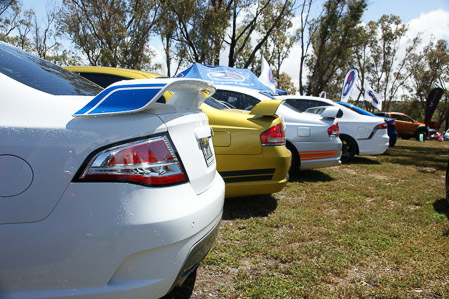 Take the third exit at the roundabout onto Plantation Road. 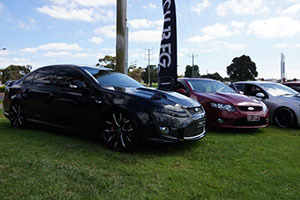 Sutcliffe Reserve will be on your right. 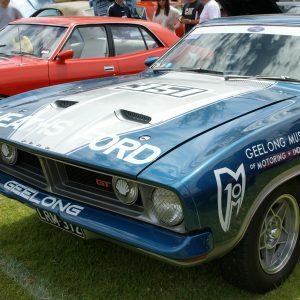 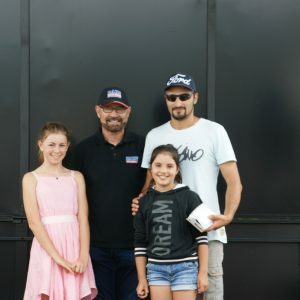 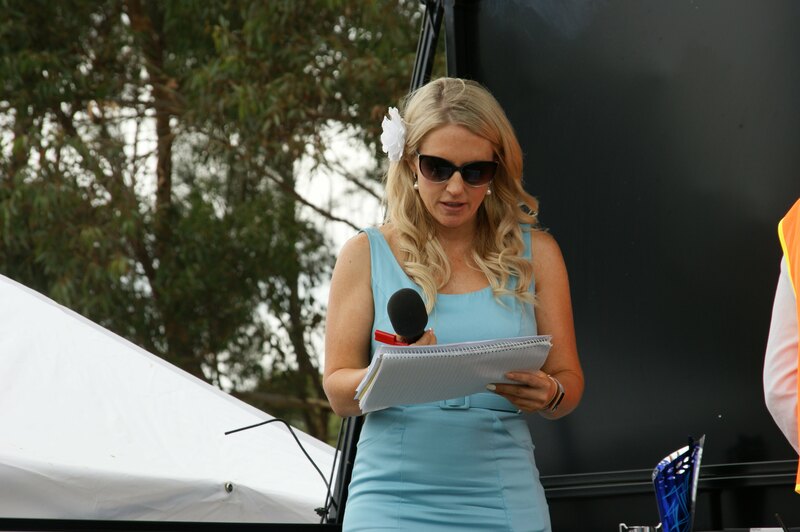 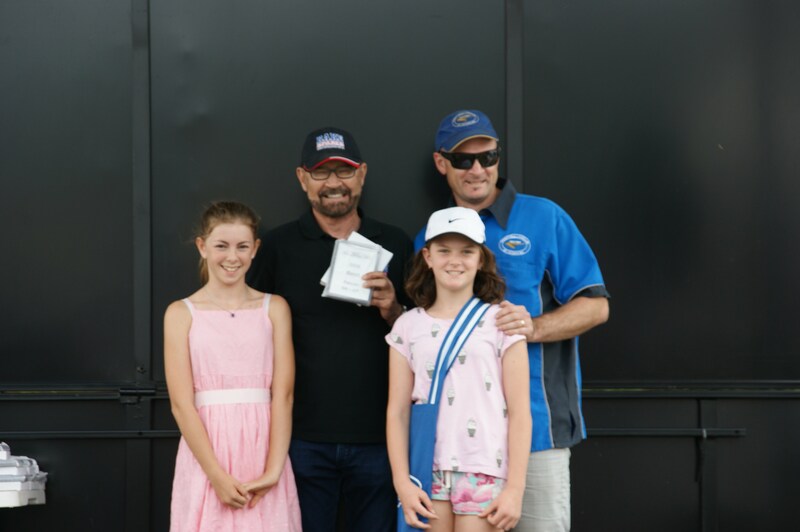 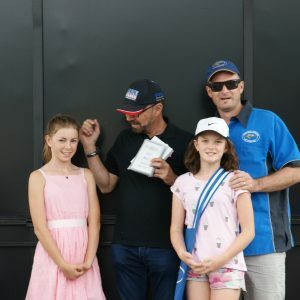 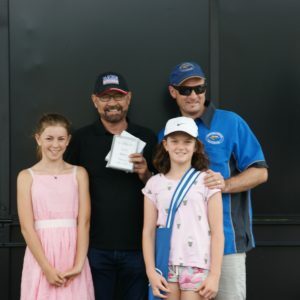 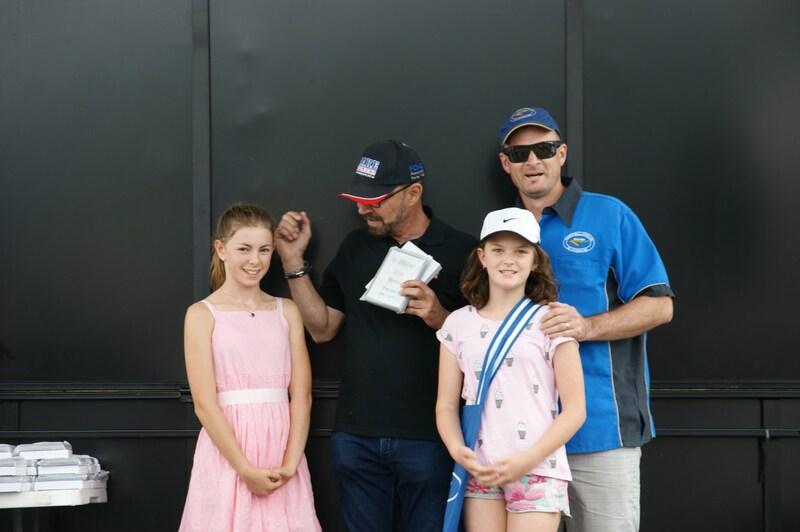 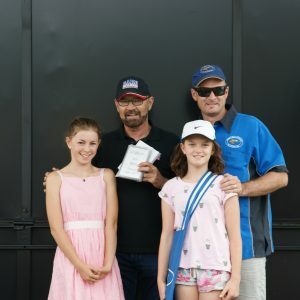 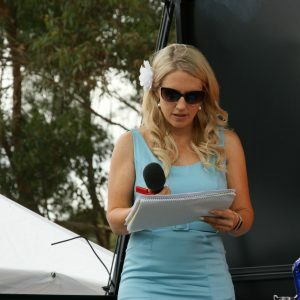 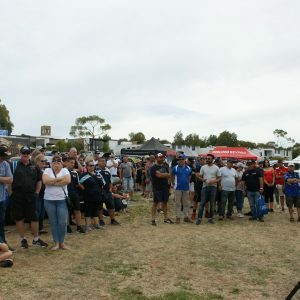 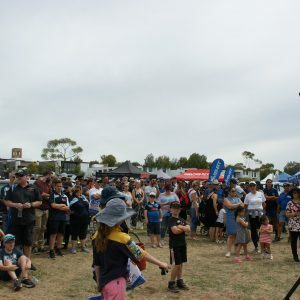 GATE 2 From Geelong: Make your way to Bacchus Marsh Rd C407. 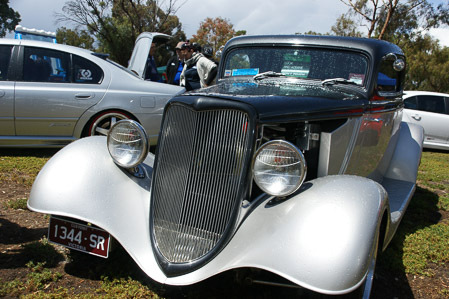 Take the 1st exit at the roundabout onto Plantation Road. 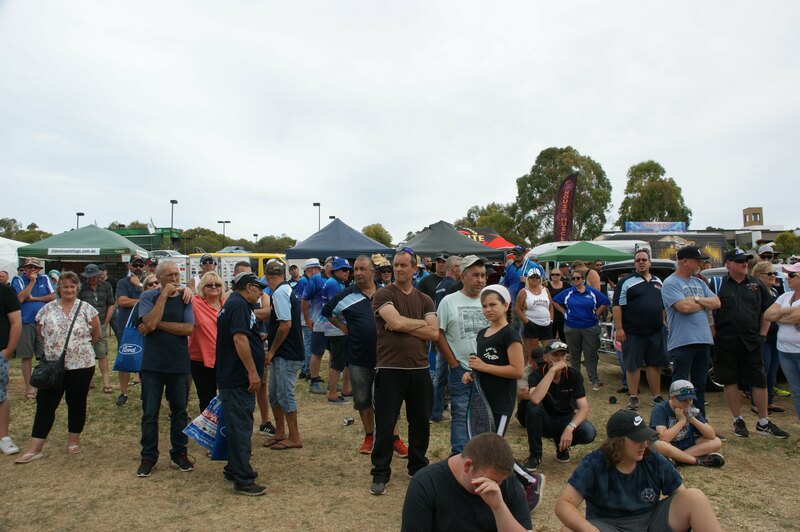 Sutcliffe Reserve will be on your right. 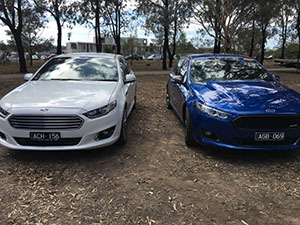 PLEASE PARK IN THE AREA ALLOCATED TO YOU. 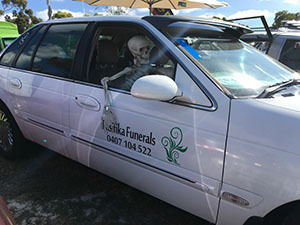 To make your arrival as smooth as possible, PLEASE HAVE YOUR TICKET READY. 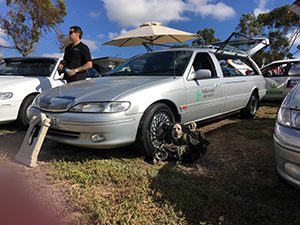 One of our volunteers will check your ticket and direct you to the scanning station . 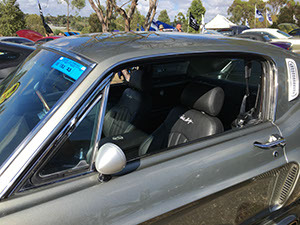 Once your ticket has been scanned you’ll be directed into the Show Car area. 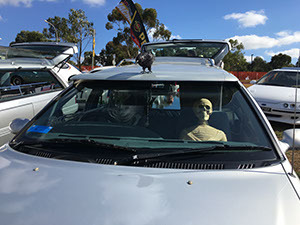 Please don’t forget your ticket. 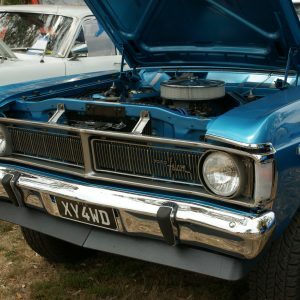 IF YOU DON’T HAVE YOUR TICKET WITH YOU, YOU WILL NOT BE GIVEN ACCESS TO THE SITE. 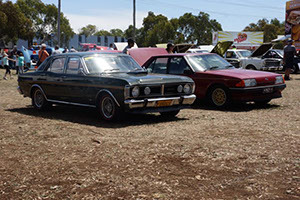 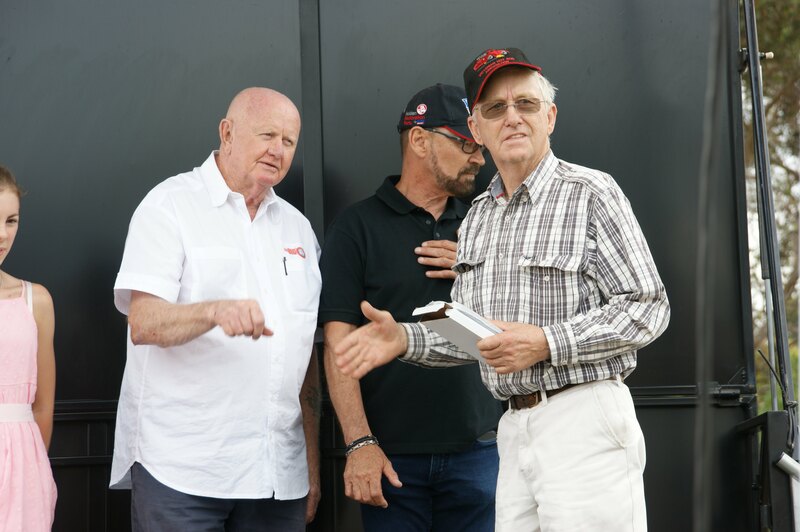 For insurance and safety purposes, the Condition Of Entry is that all vehicles must remain parked on site until after the presentations (2:30pm). 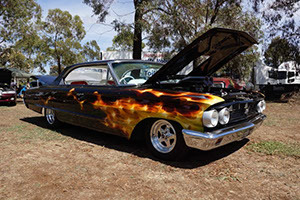 No dogs, alcohol, fires, BBQs or flammable materials can be brought to the event. 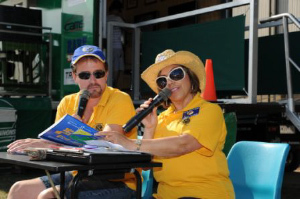 You are welcome to bring you own shade structures, marquees, picnics or food. 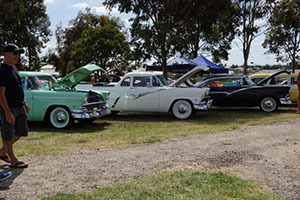 Tow vehicles with trailers are to unload their show cars in the Tow Vehicle & Trailer Parking Area, then proceed to their appropriate area of the show arena. 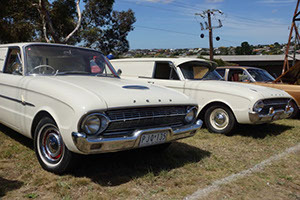 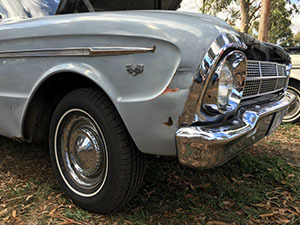 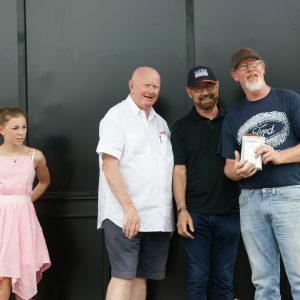 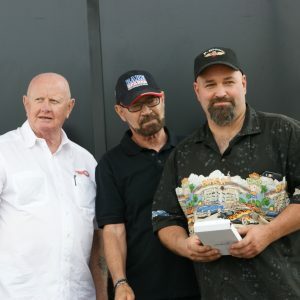 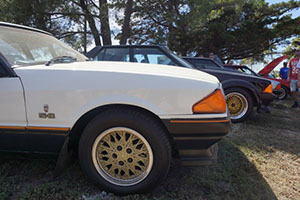 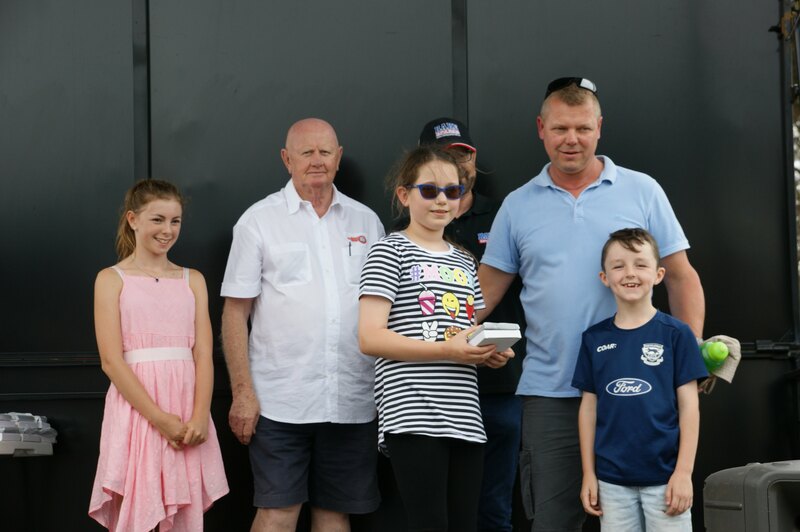 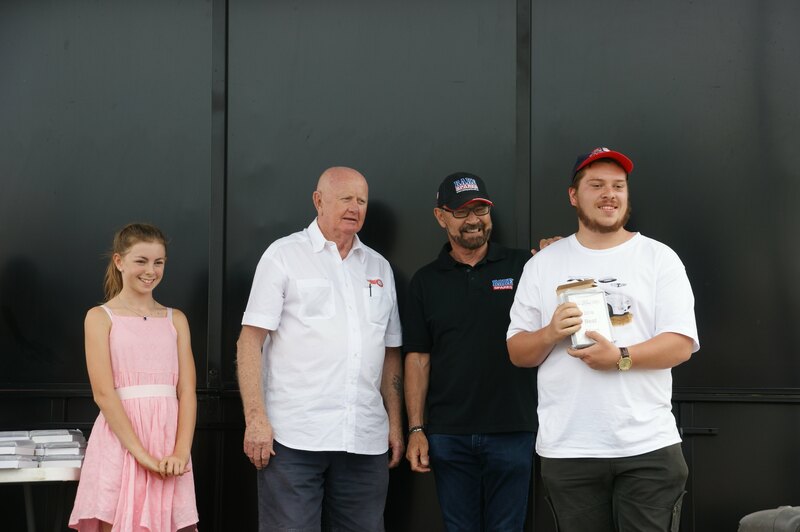 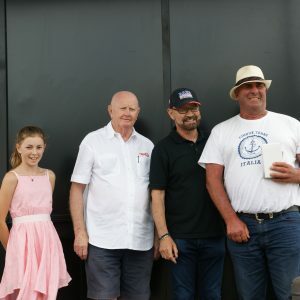 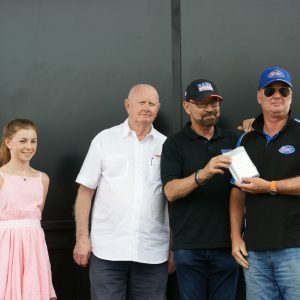 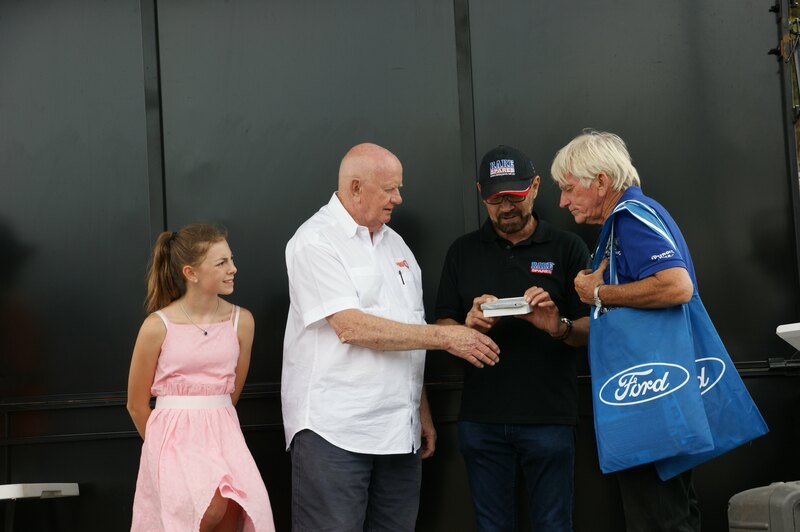 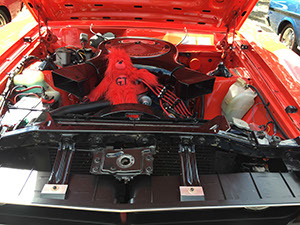 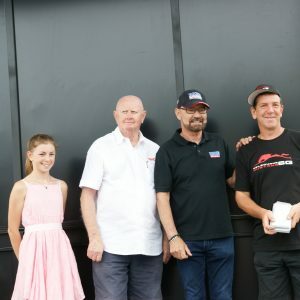 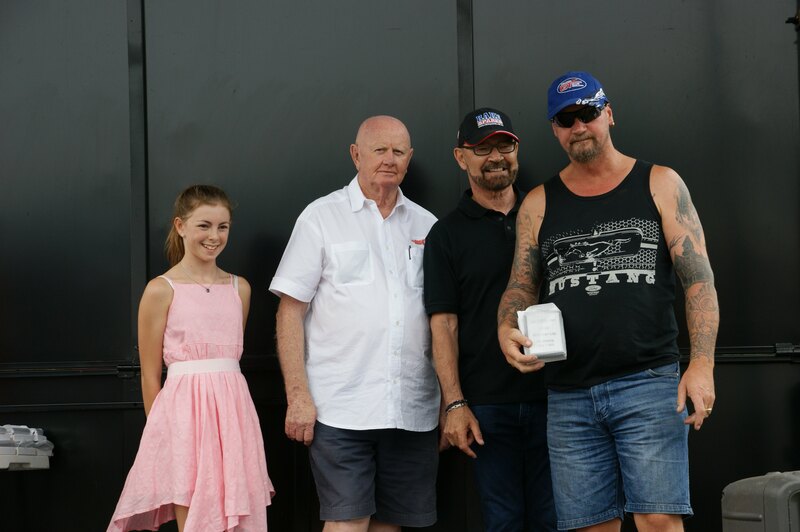 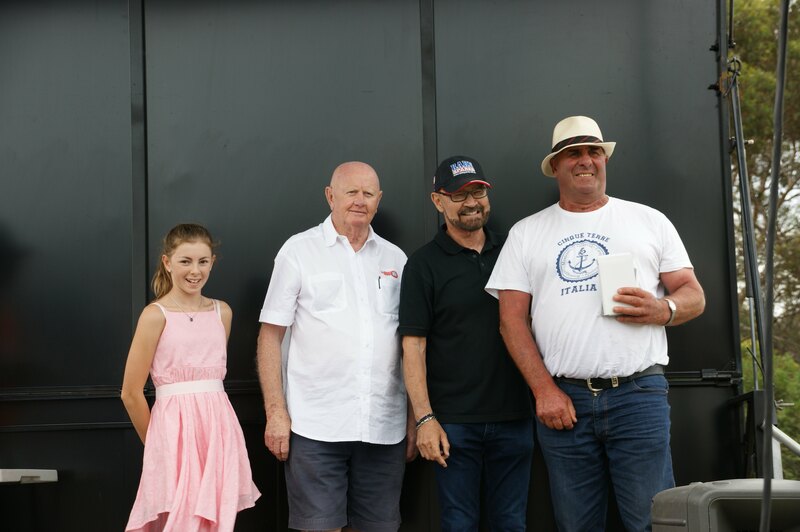 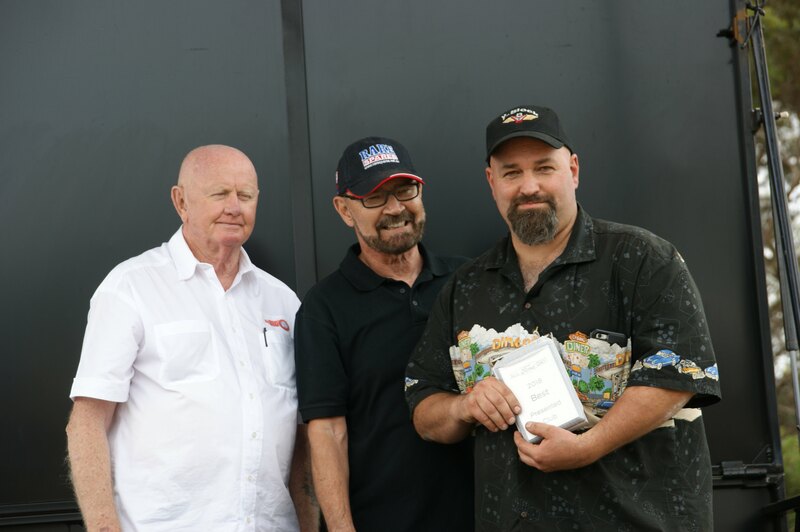 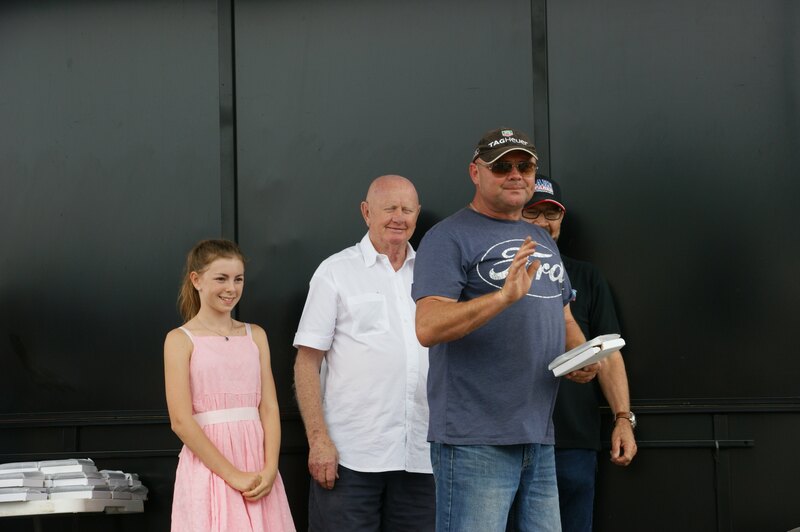 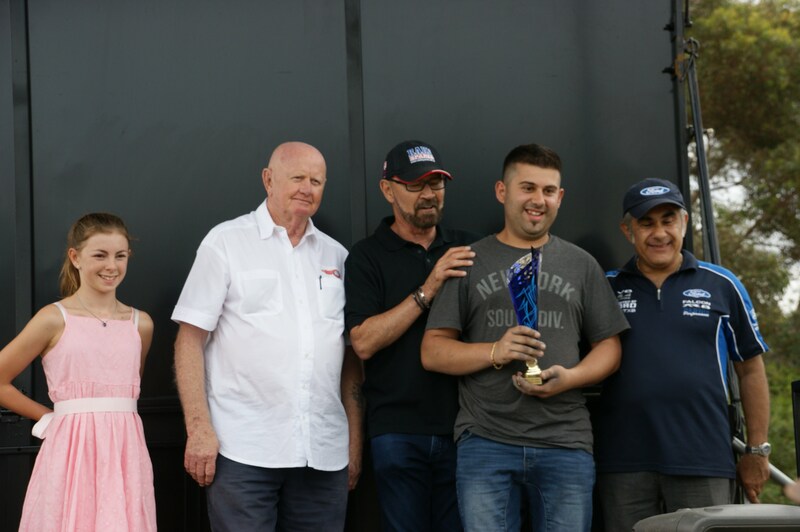 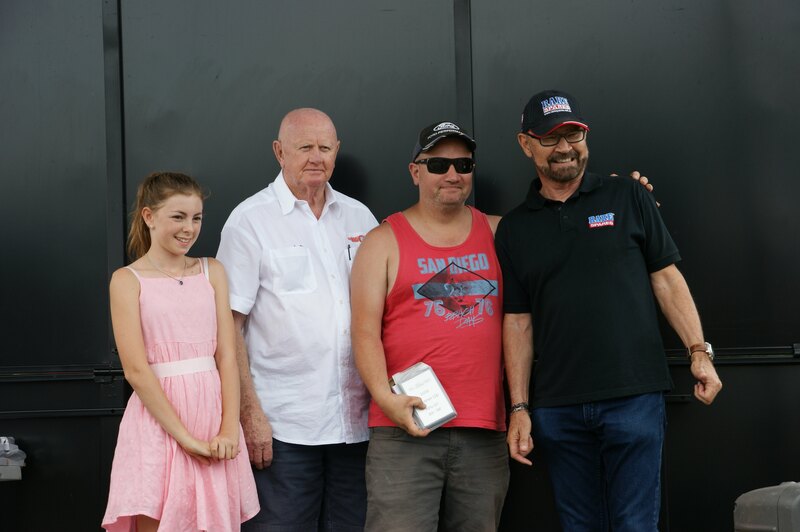 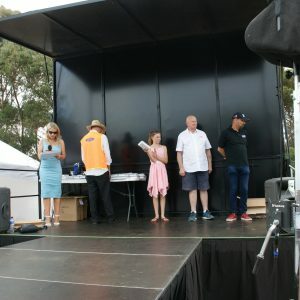 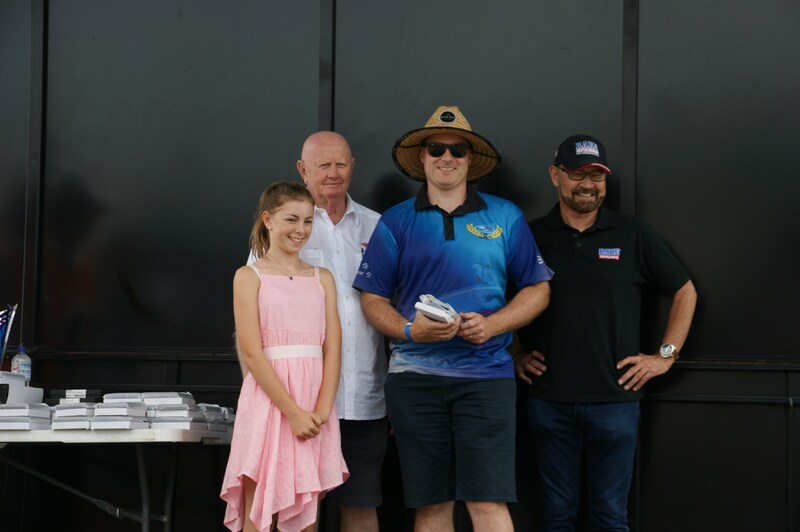 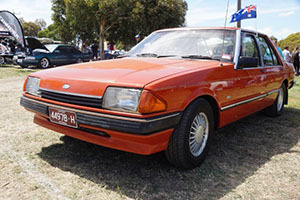 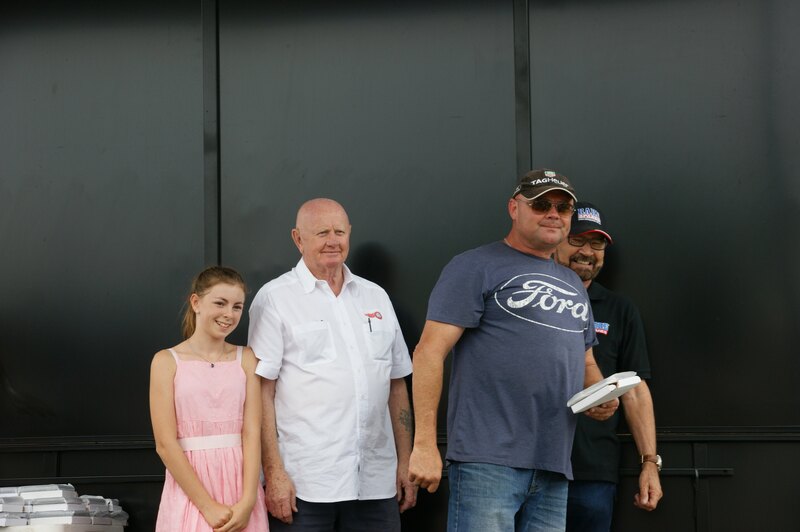 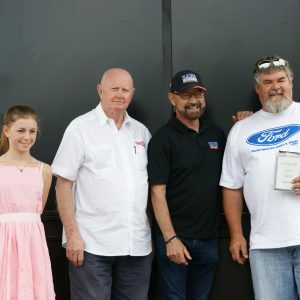 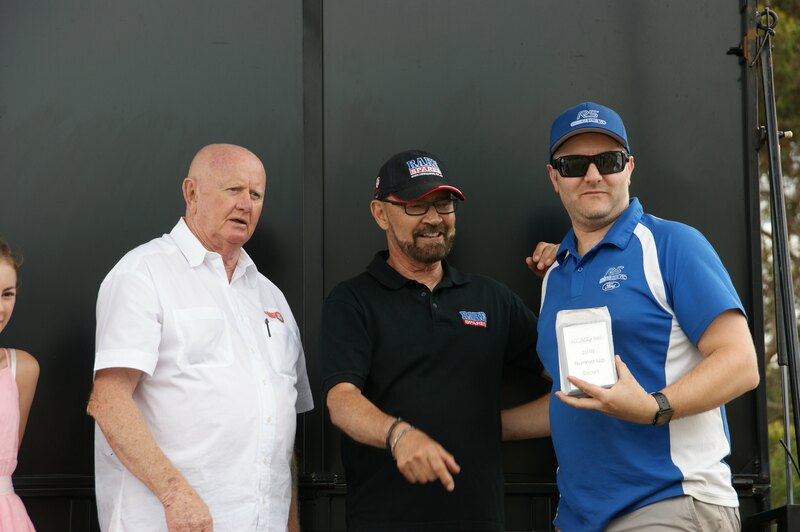 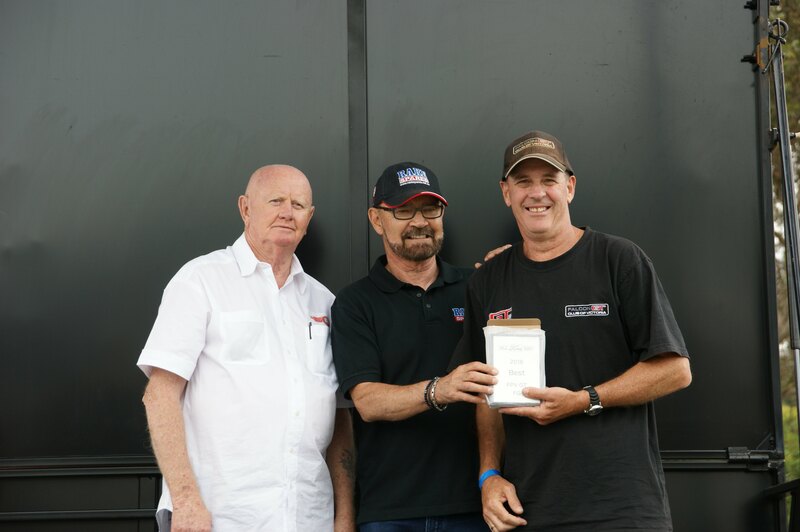 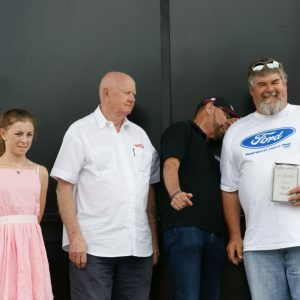 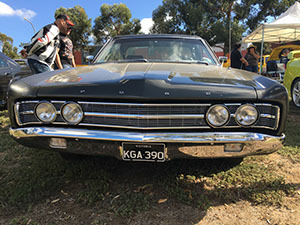 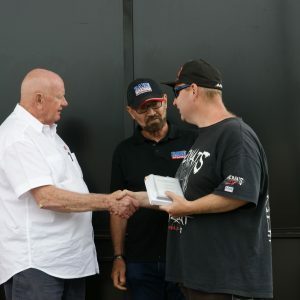 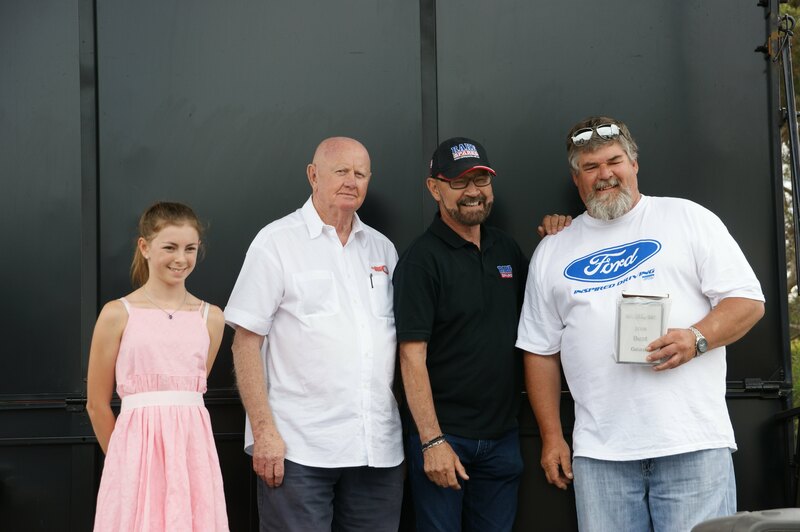 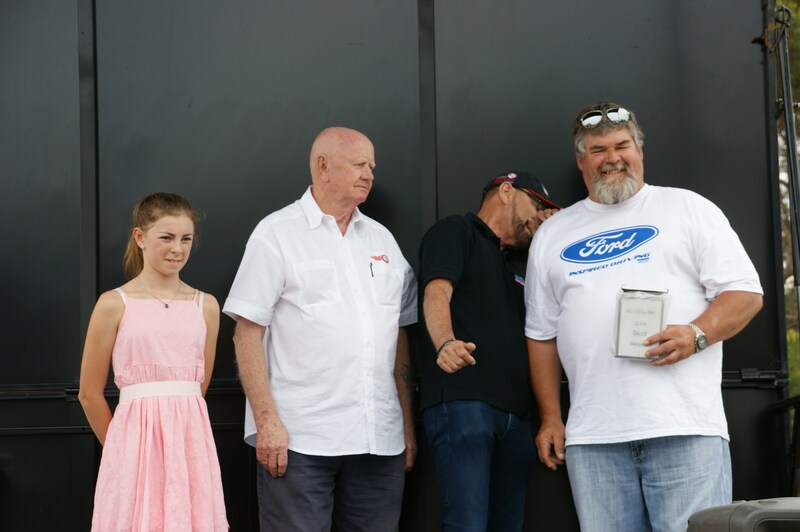 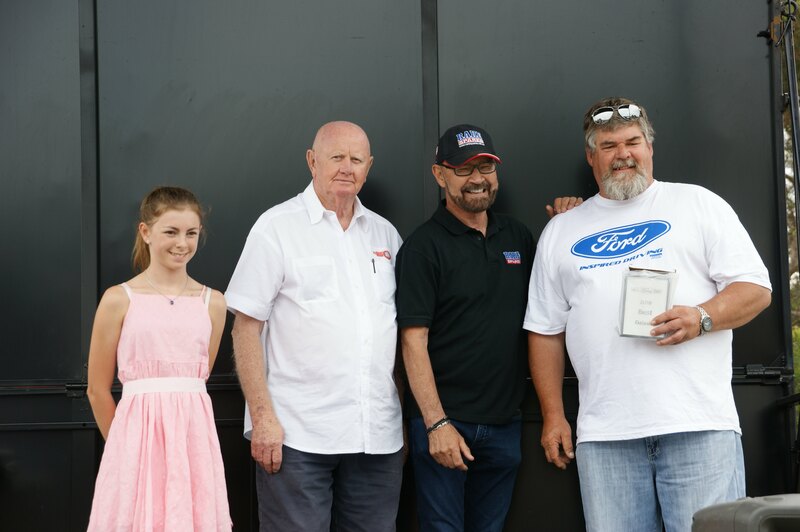 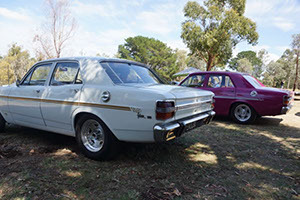 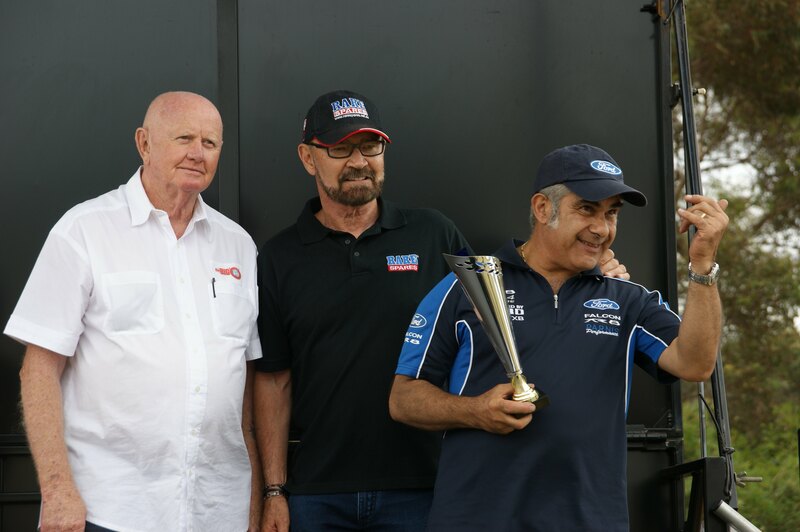 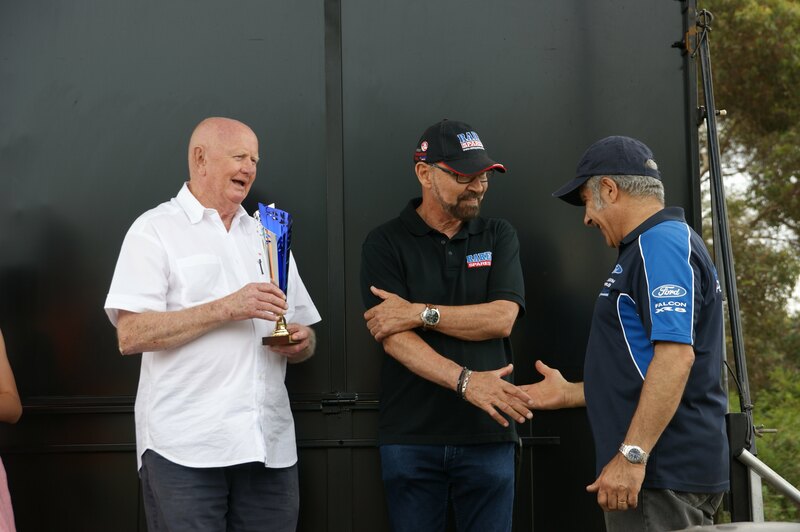 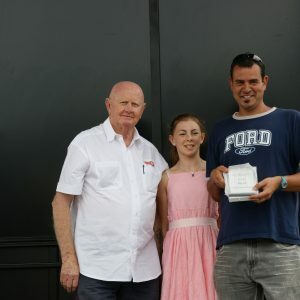 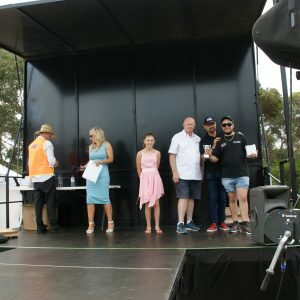 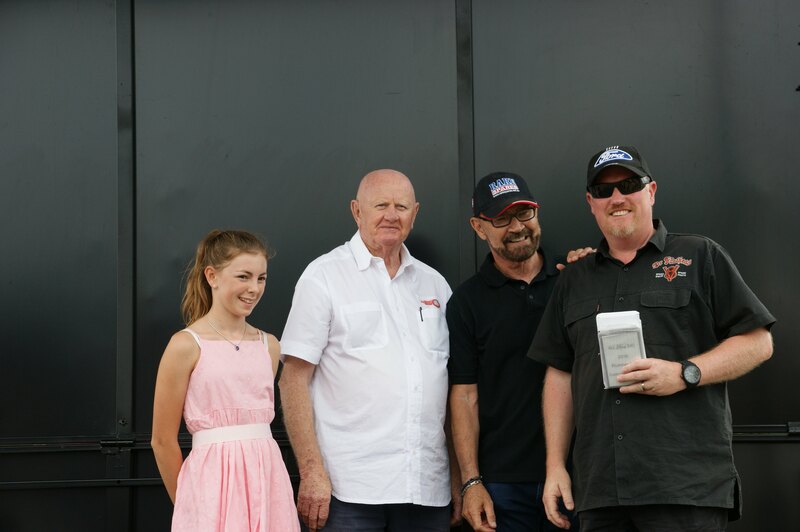 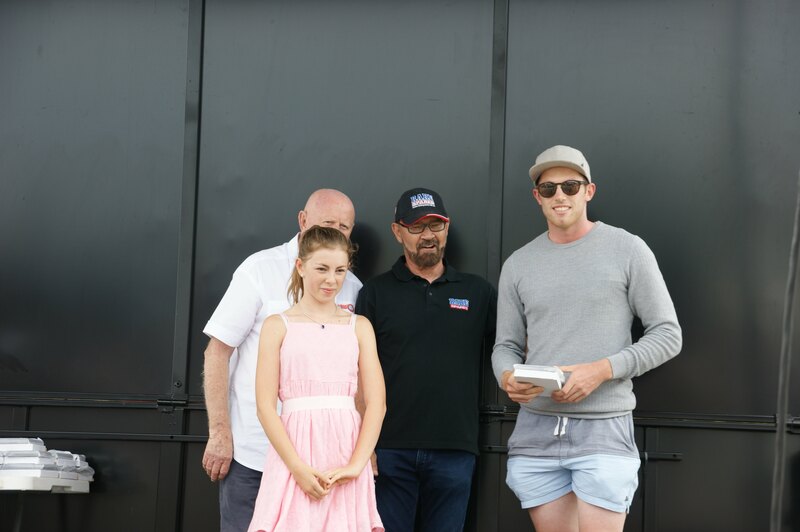 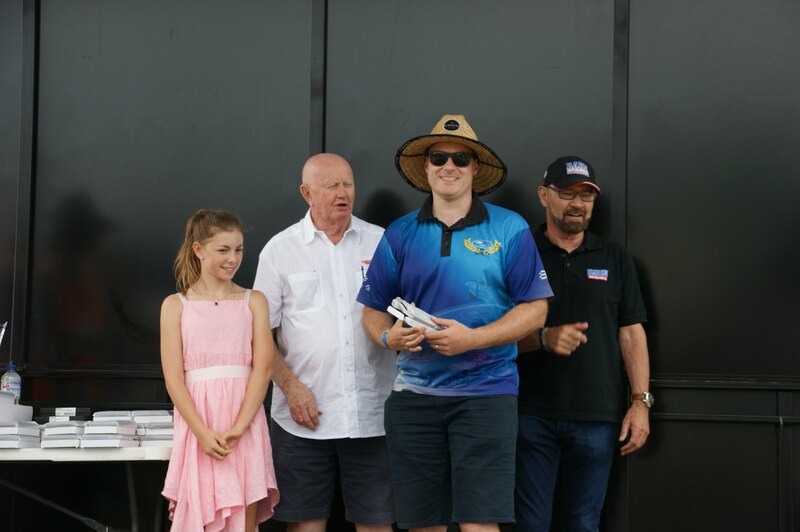 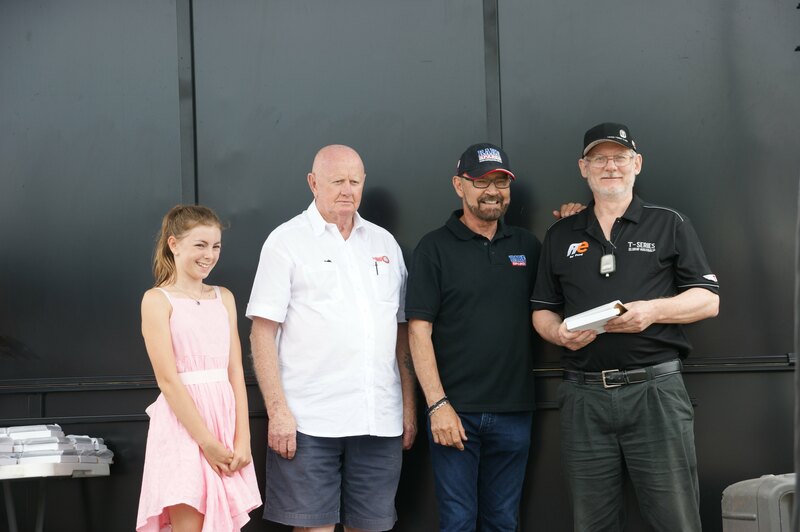 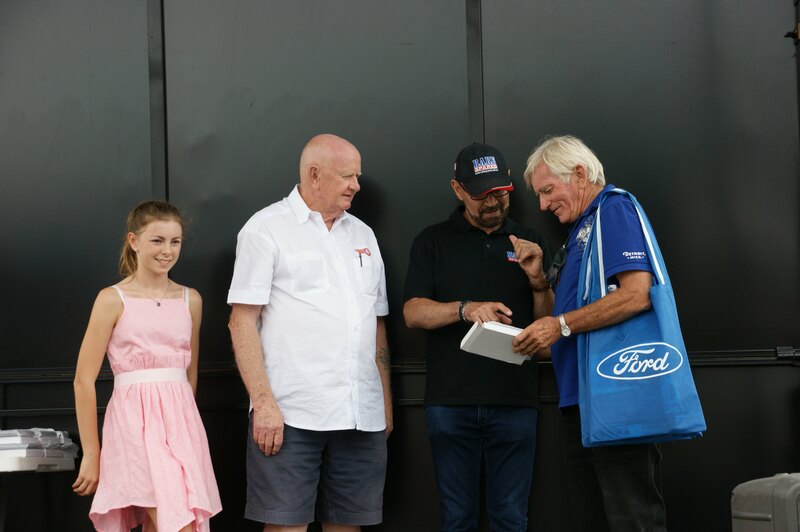 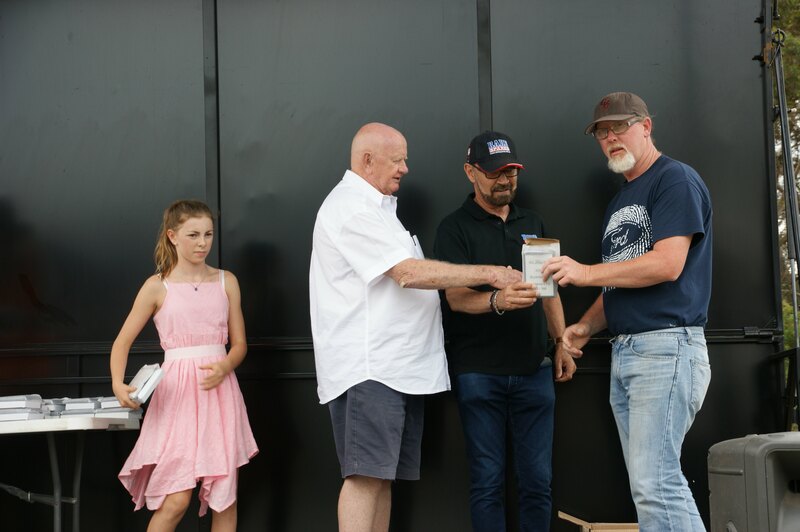 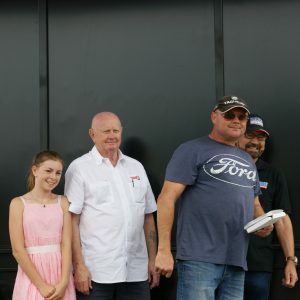 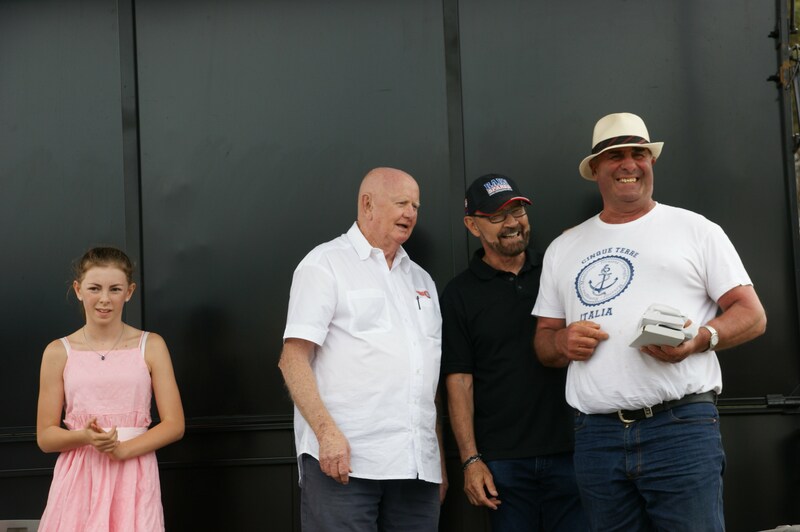 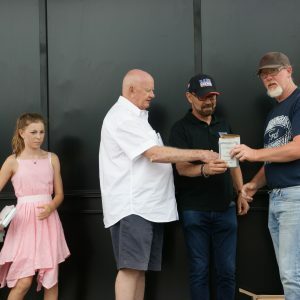 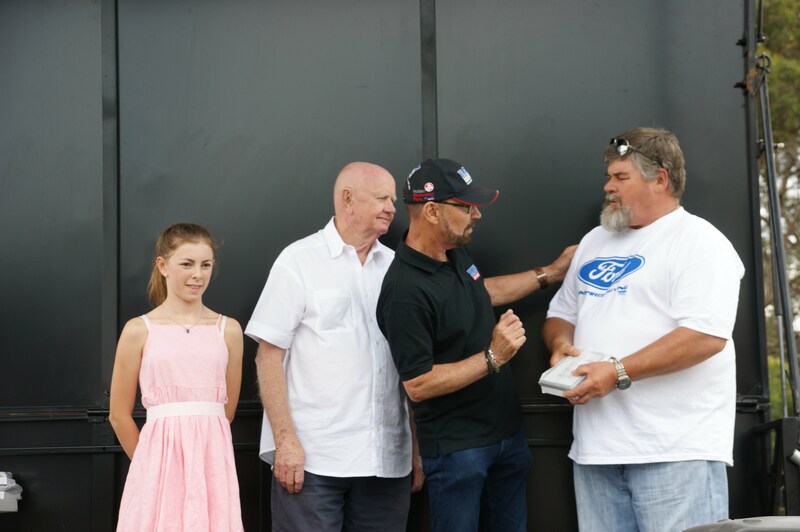 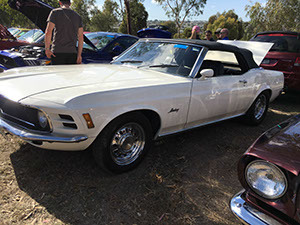 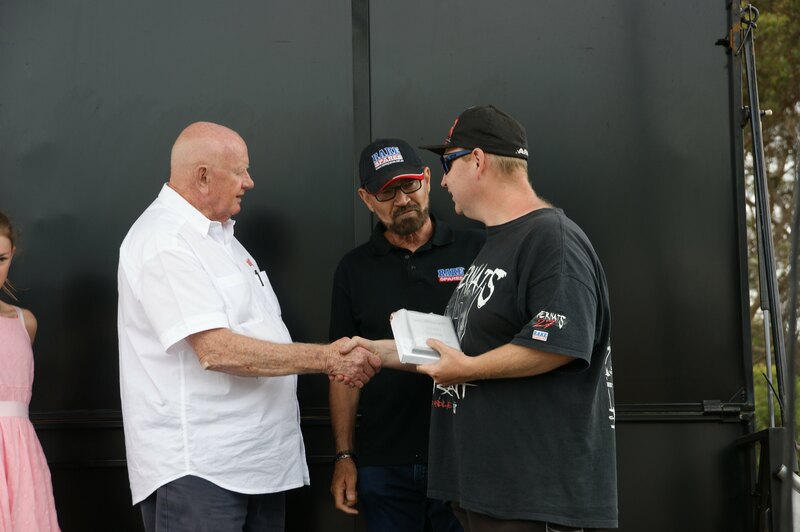 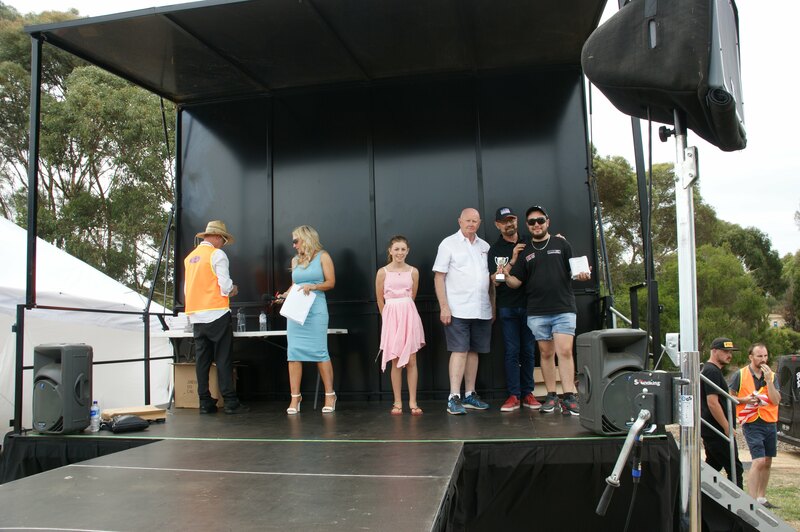 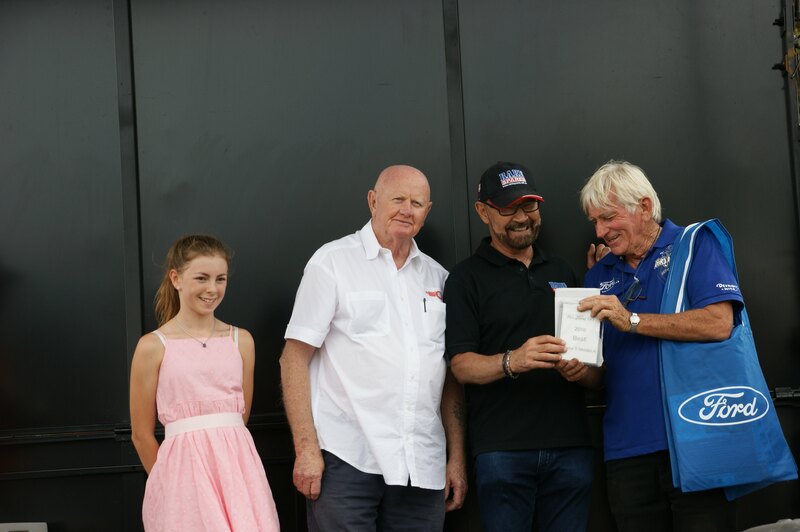 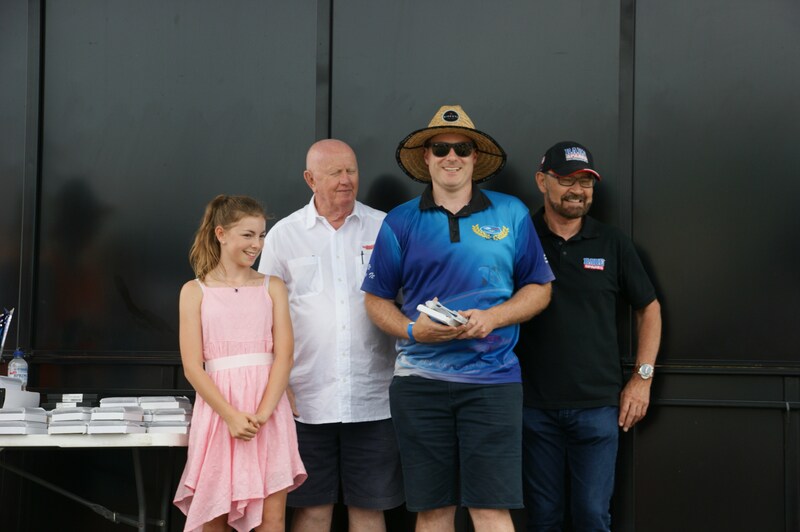 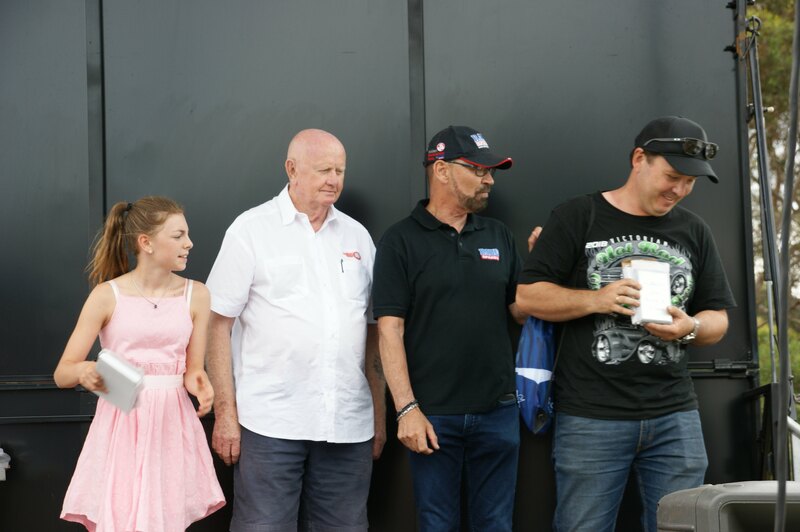 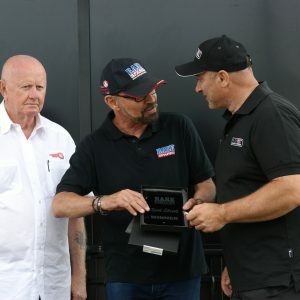 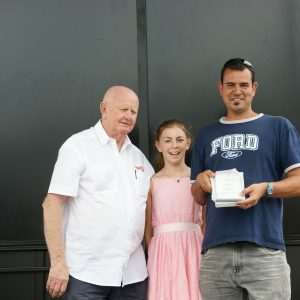 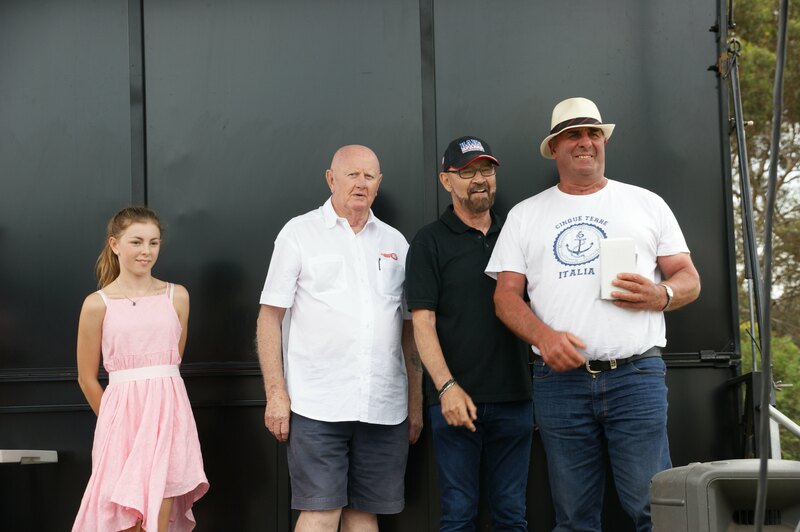 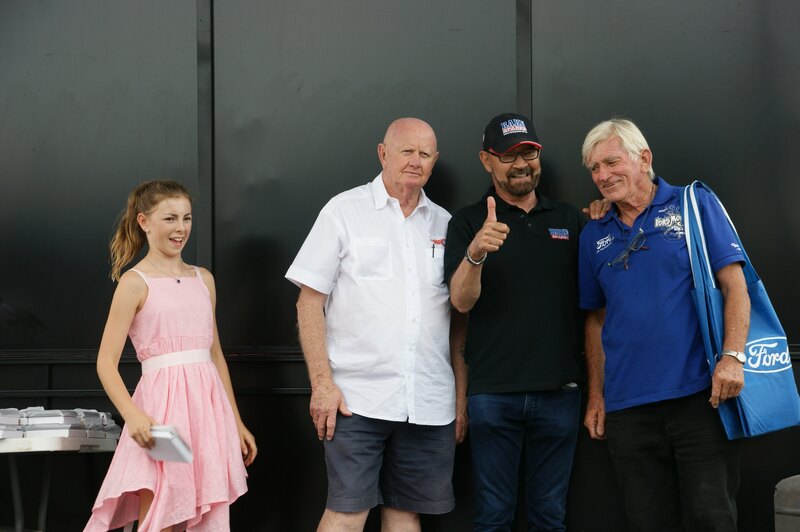 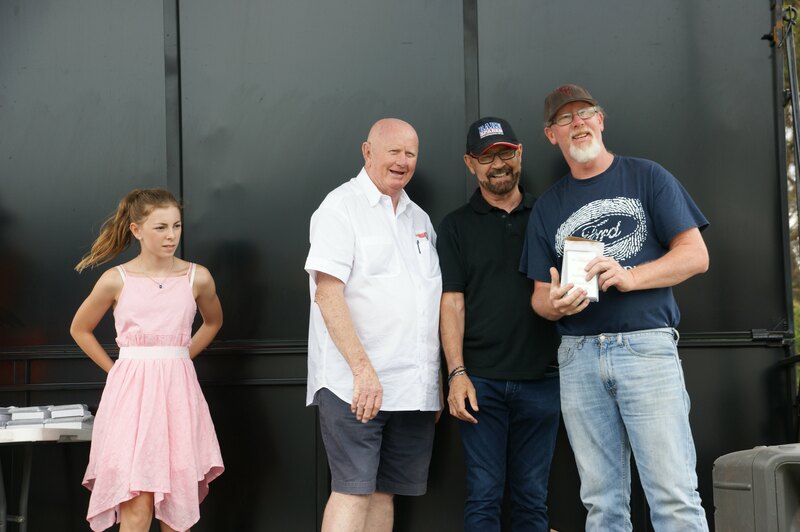 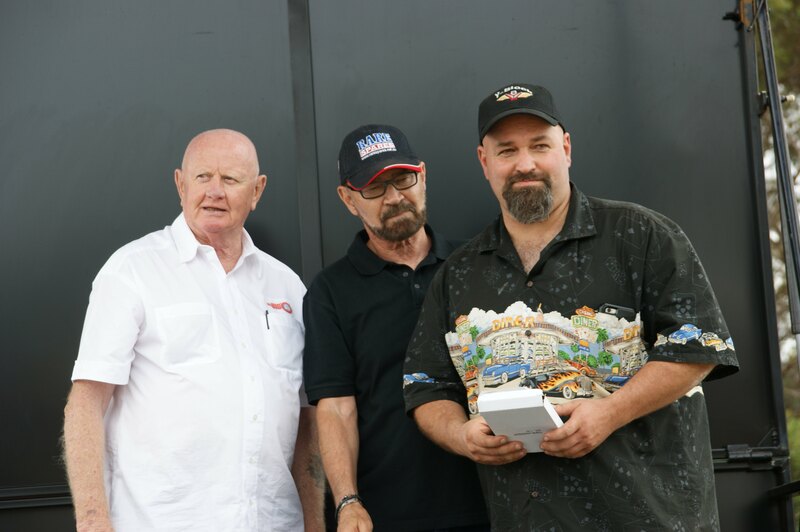 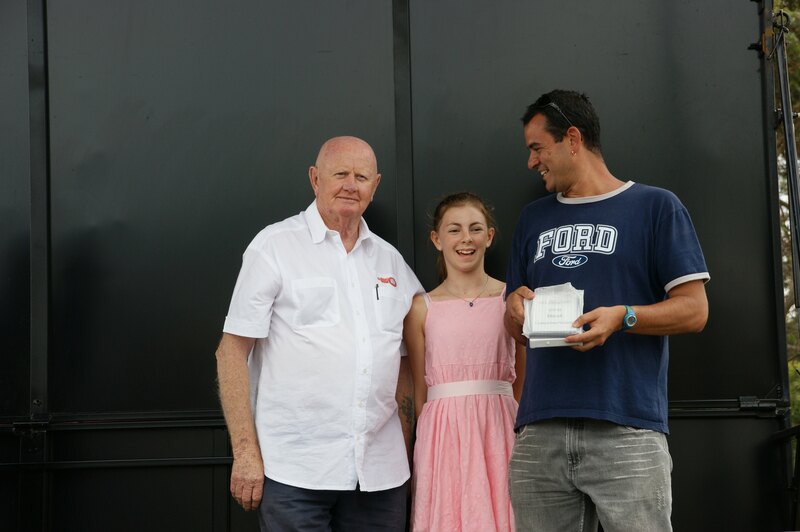 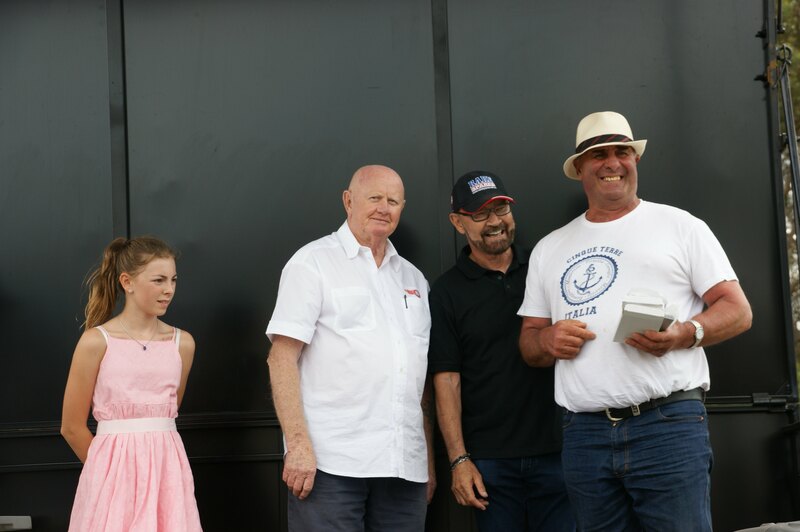 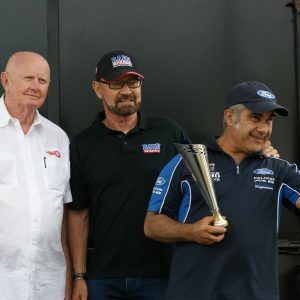 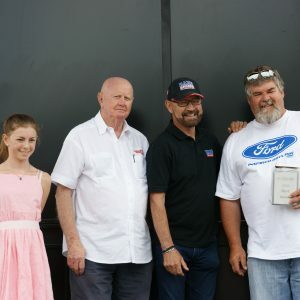 Thanks for participating in the All Ford Day 2019. 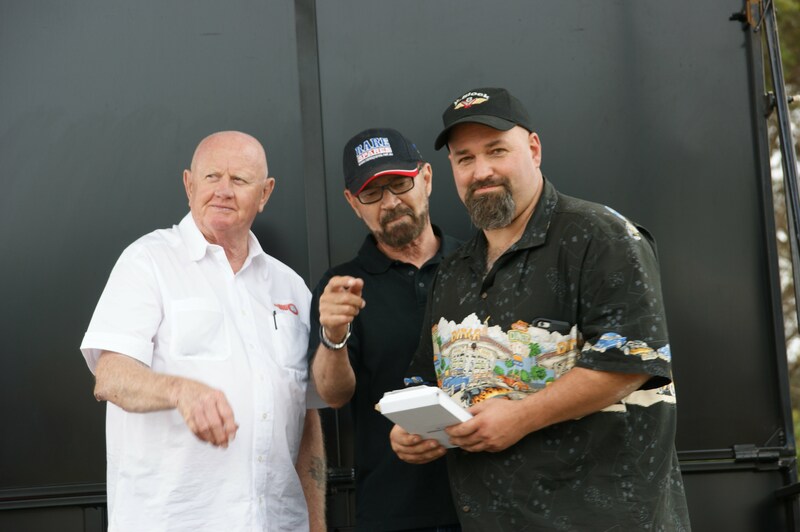 We hope you have a great day! 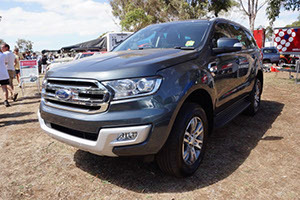 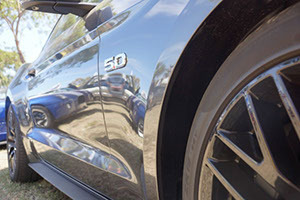 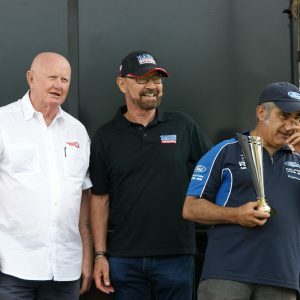 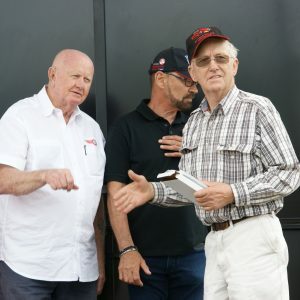 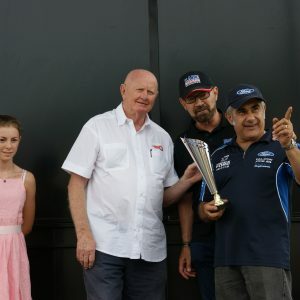 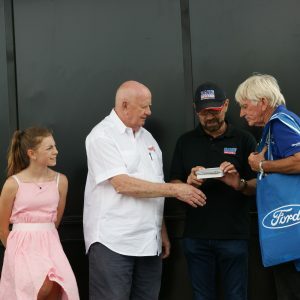 Free parking with be avaible onsite for the 2019 All Ford Day. 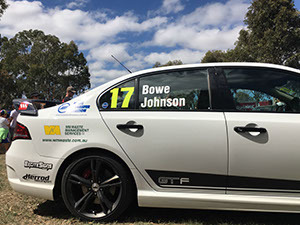 access will be via Plantation Road Corio and follow the signs to the Free spectator car park. 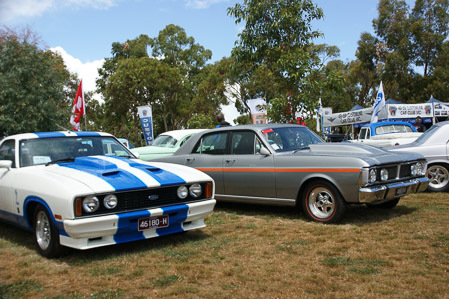 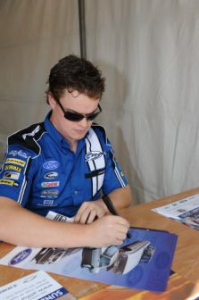 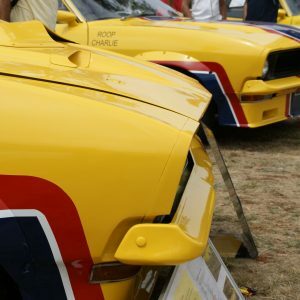 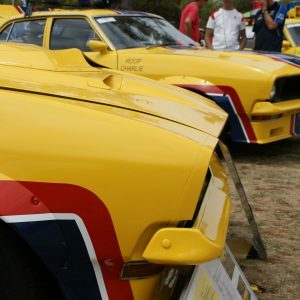 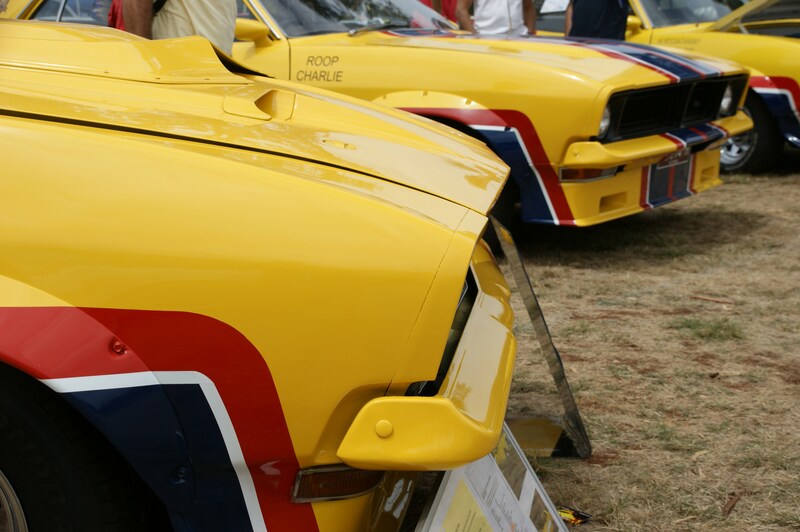 Avoid the ques and purchase your tickets online to enjoy thia fantastic day of all things Ford. 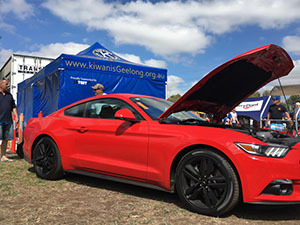 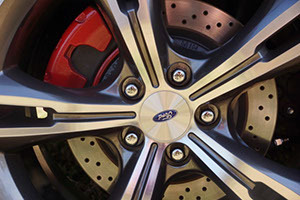 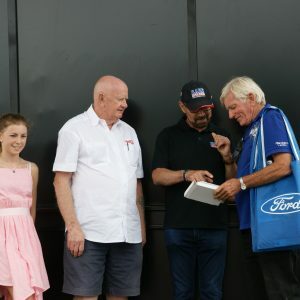 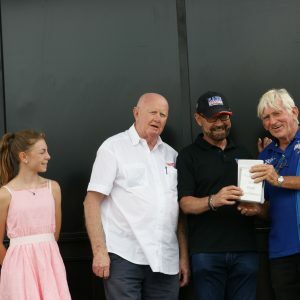 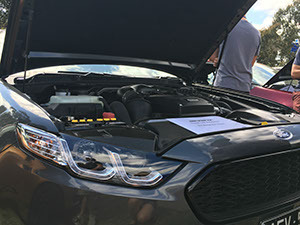 The All Ford Day has a wide number of exhibitors, where you can find anything you need to know about Ford, motoring and lifestyle. 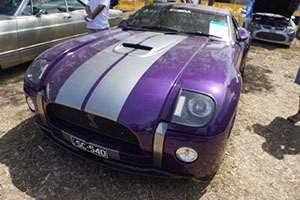 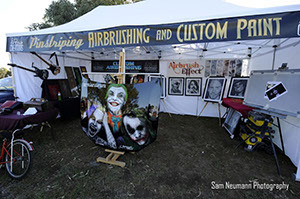 This includes parts, merchandise, gifts, car accessories and fun activities to entertain visitors. 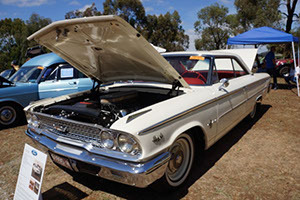 Trade sites must be set up by 9:00 am. 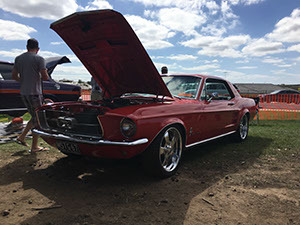 Allow sufficient time to enter the arena, as show cars will also be entering. 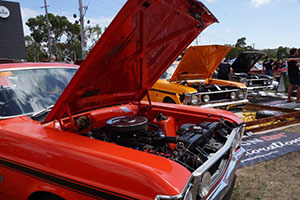 Trade sites may be set up on Saturday afternoon by prior arrangement. 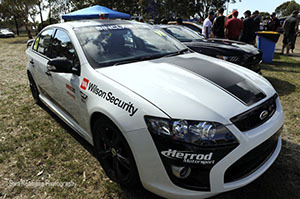 Security is provided on the Saturday night. 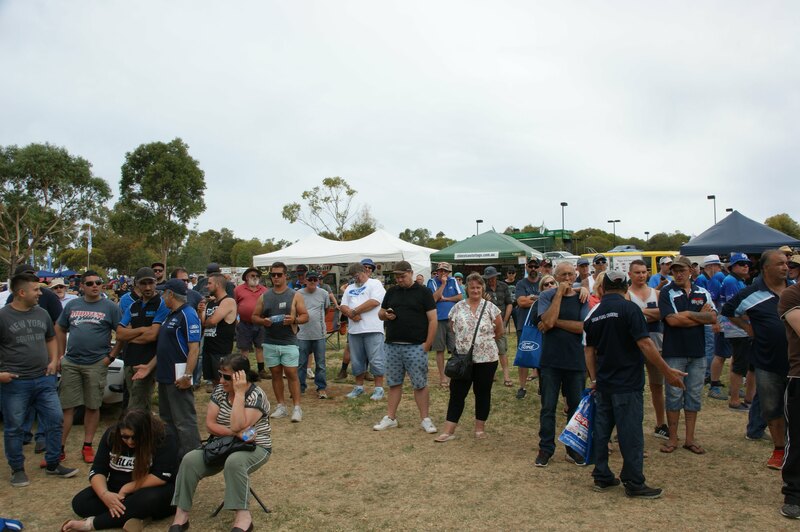 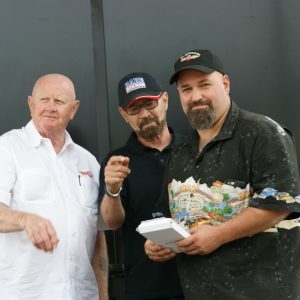 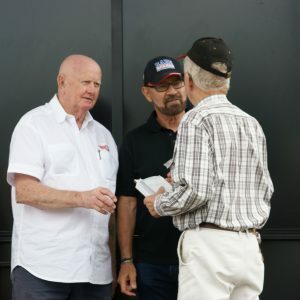 Food vendor sites at the All Ford Day are handled in a different manner to Trade Display sites. 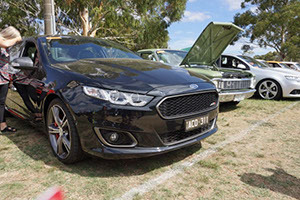 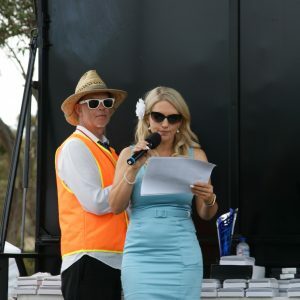 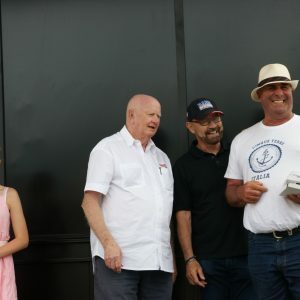 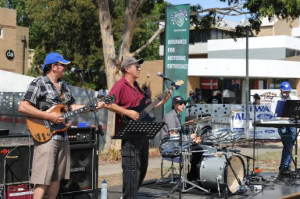 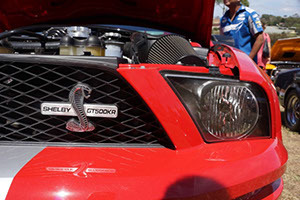 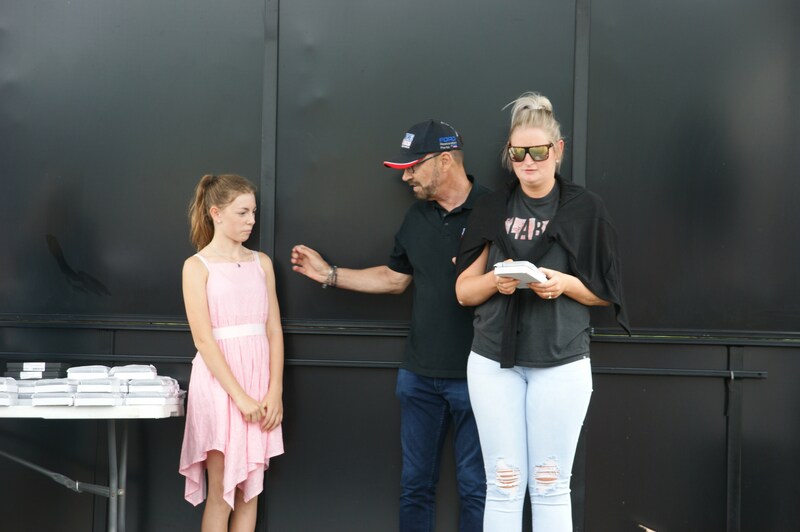 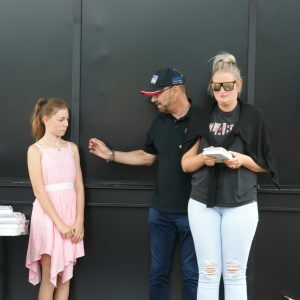 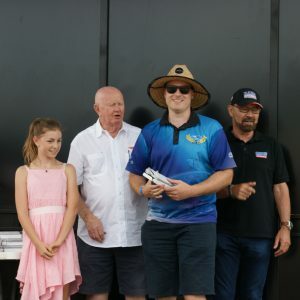 Aside from showcasing an amazing collection of Ford vehicles, we have a range of activities and entertainment that take place throughout the day. 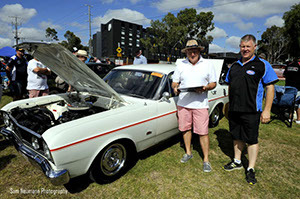 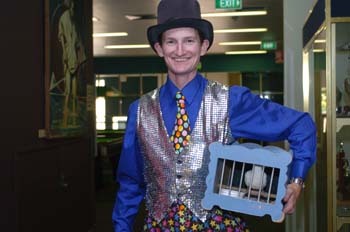 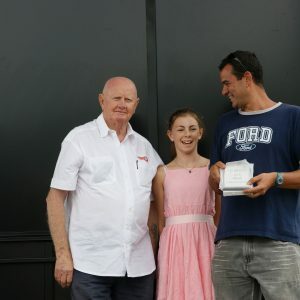 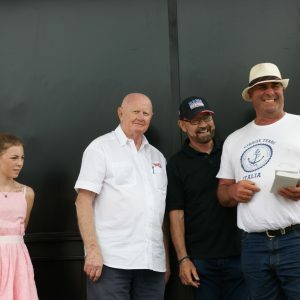 Click on a year to see the full listing of all major trophies, category winners and runners up. 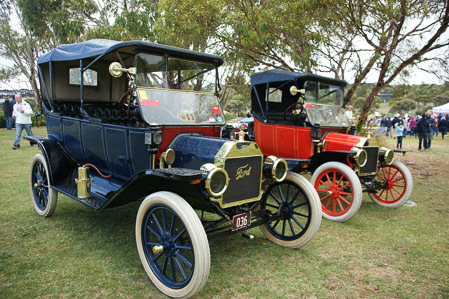 View photographs taken in past All Ford Days. 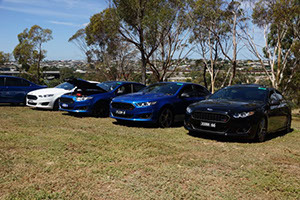 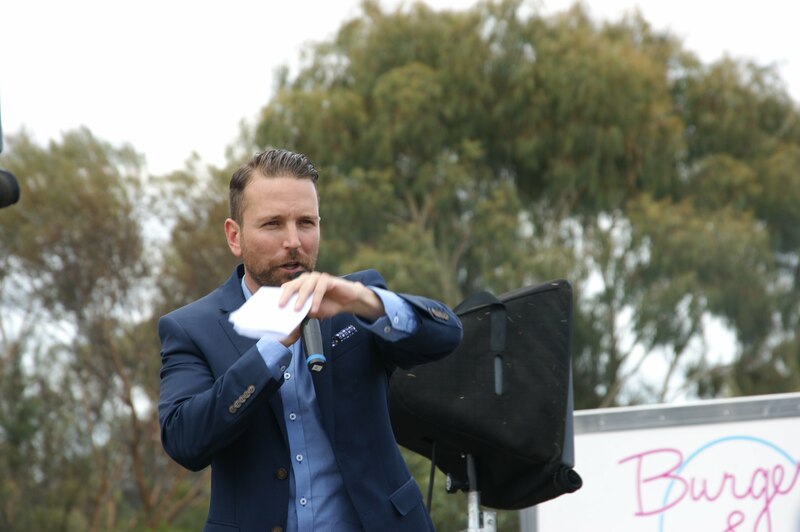 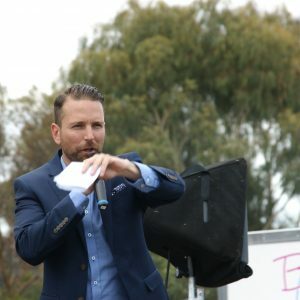 If you’re looking for a passionate team that will provide you with the best insurance products, trust no other than Shannons Insurance. 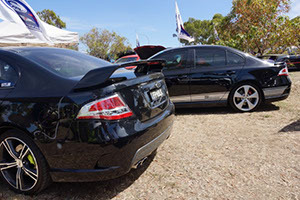 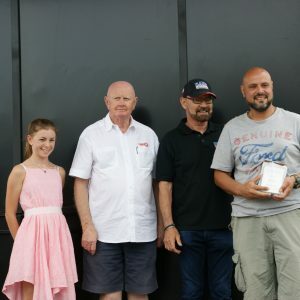 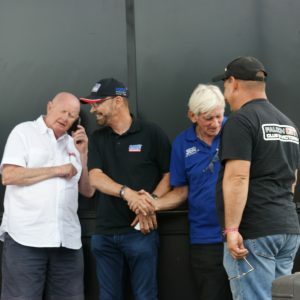 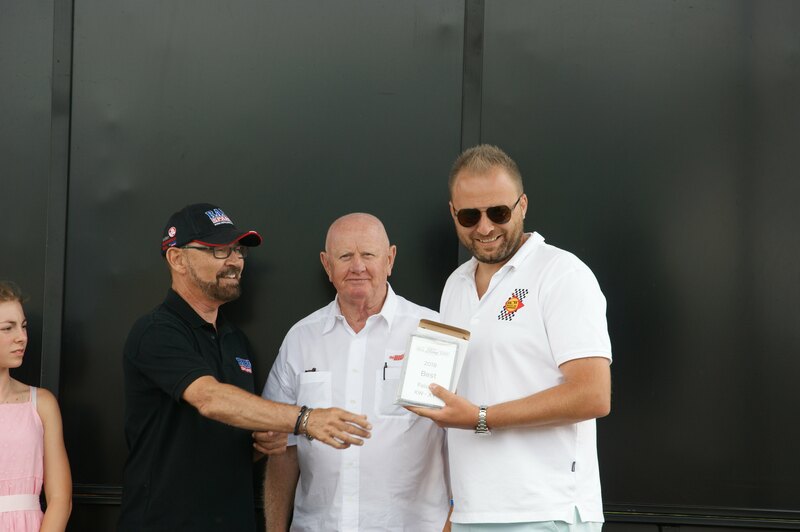 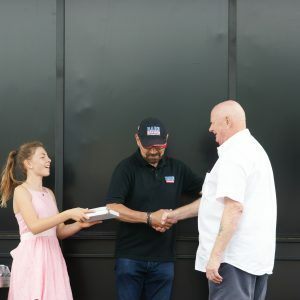 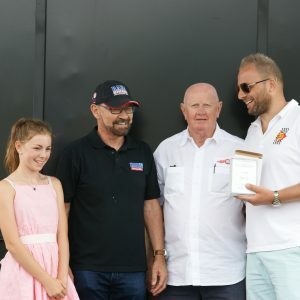 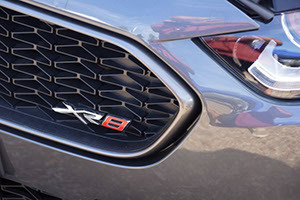 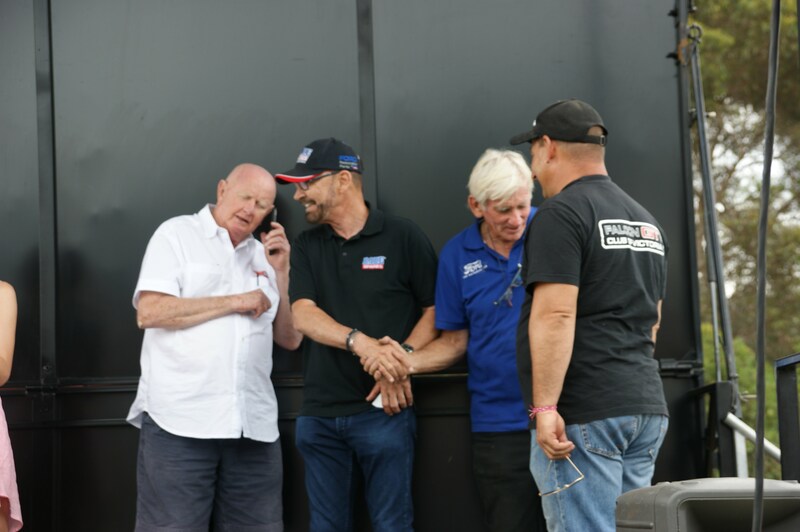 They are tailored to meet the needs of motoring enthusiasts through direct contact rather than going through third parties, so you know everything is upfront and honest. 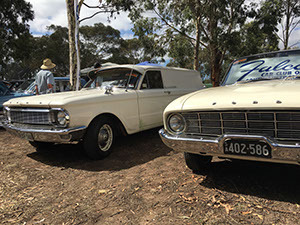 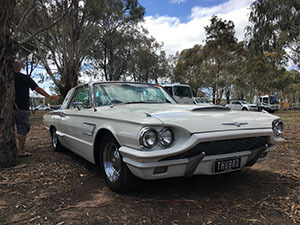 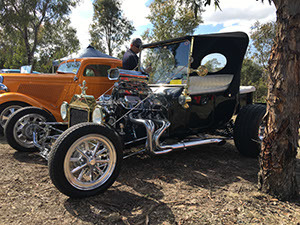 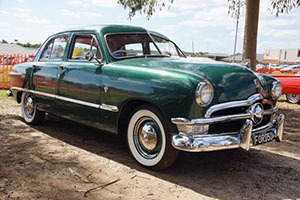 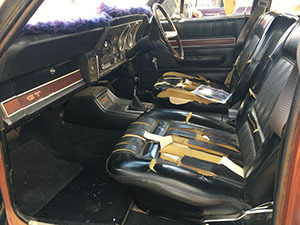 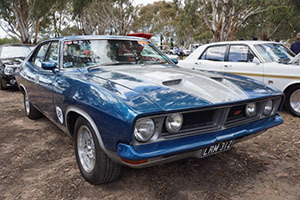 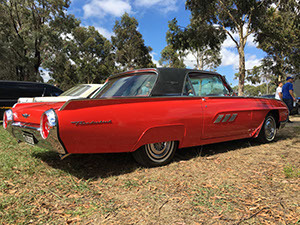 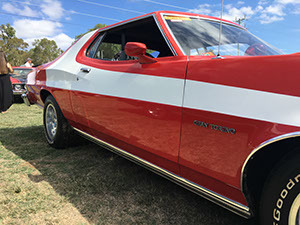 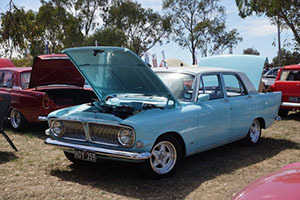 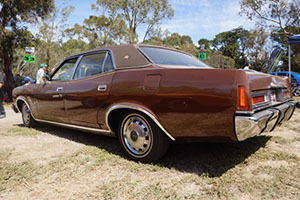 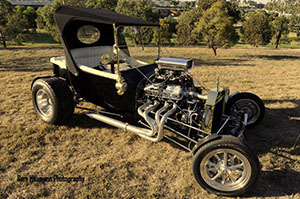 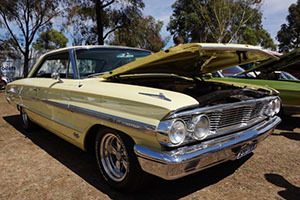 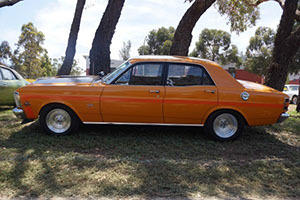 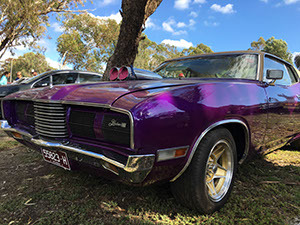 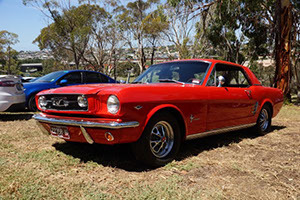 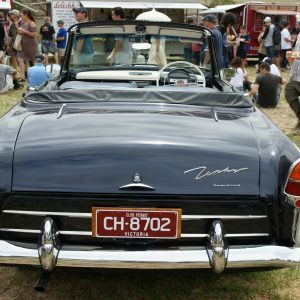 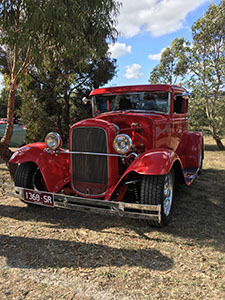 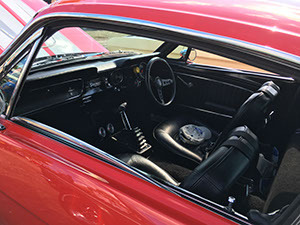 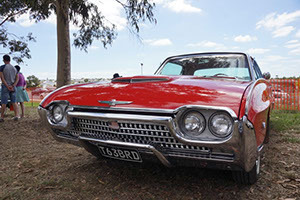 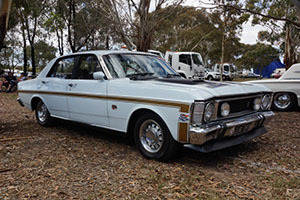 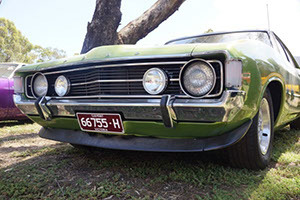 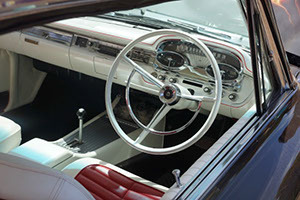 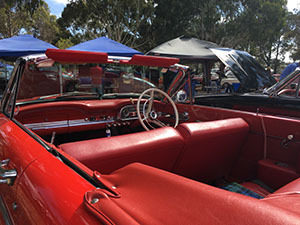 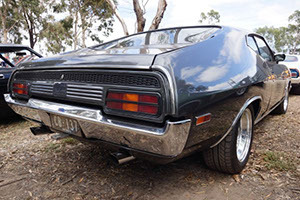 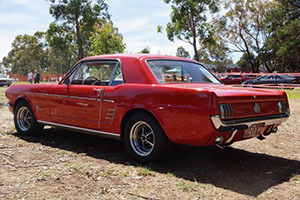 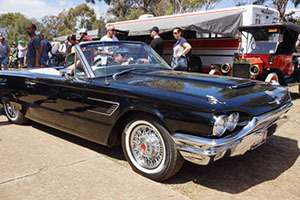 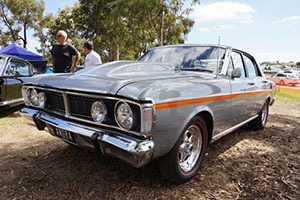 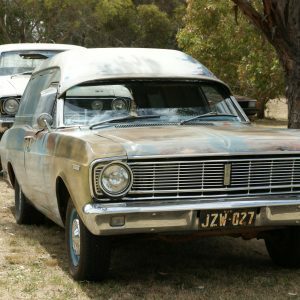 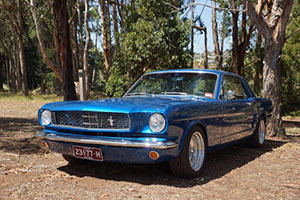 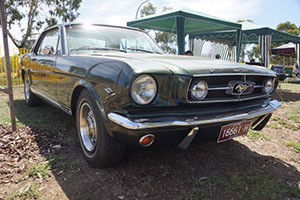 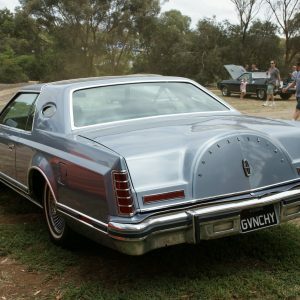 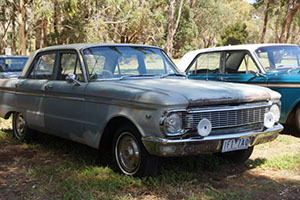 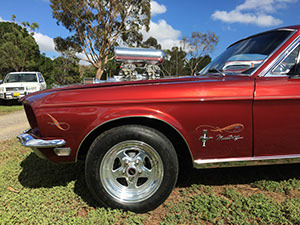 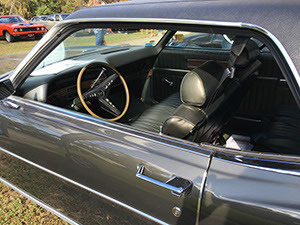 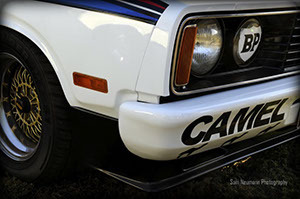 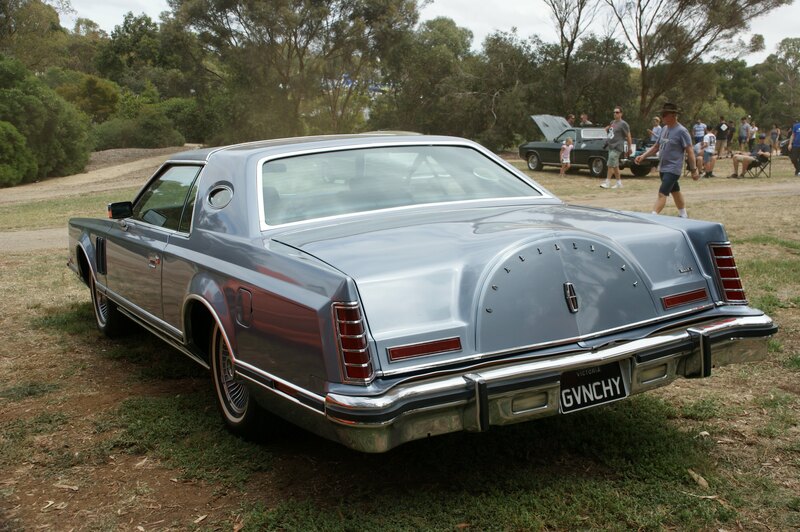 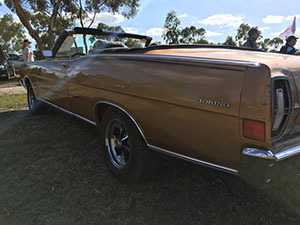 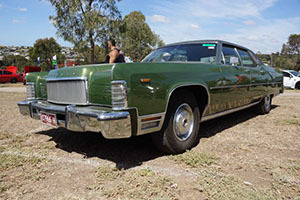 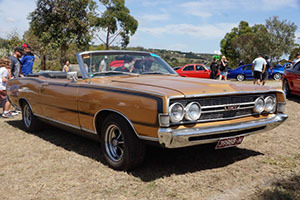 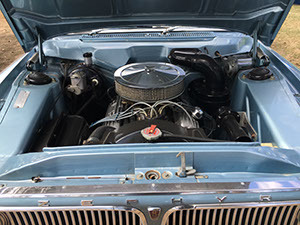 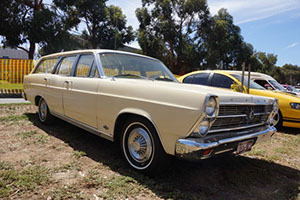 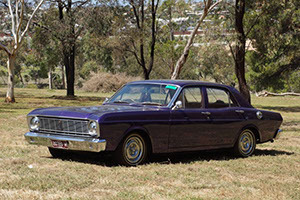 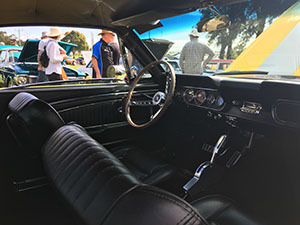 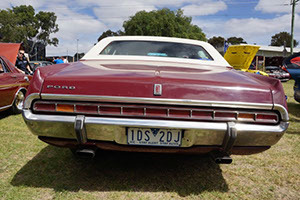 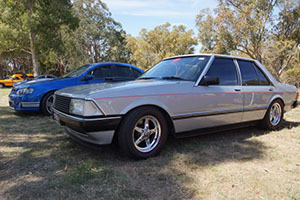 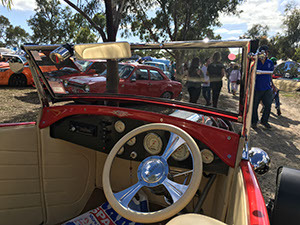 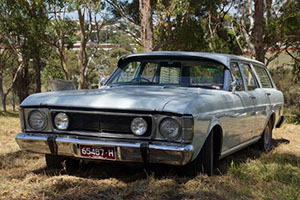 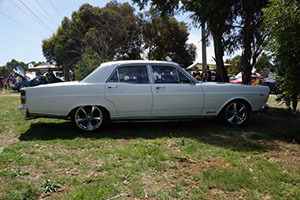 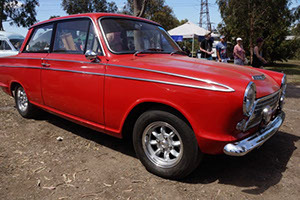 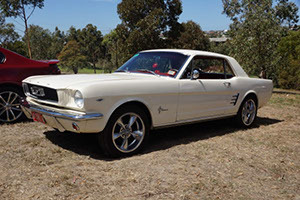 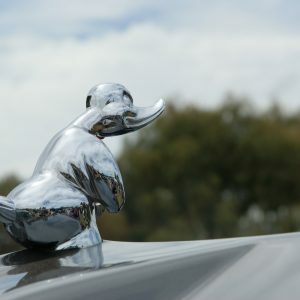 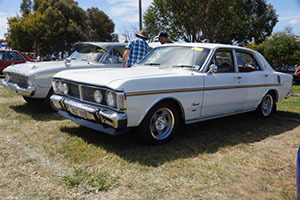 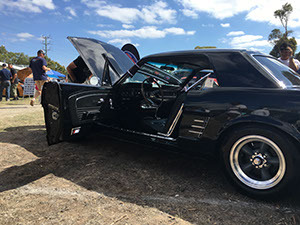 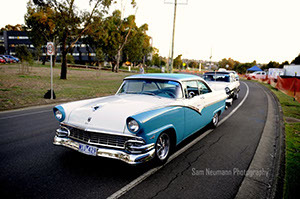 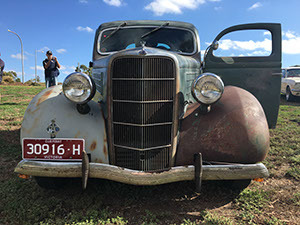 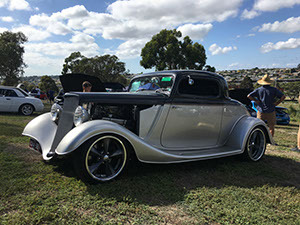 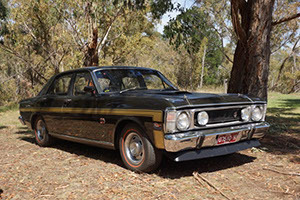 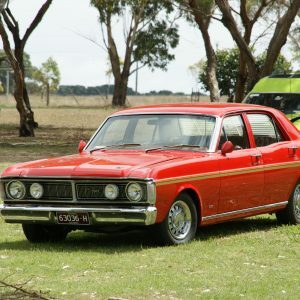 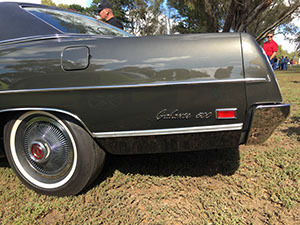 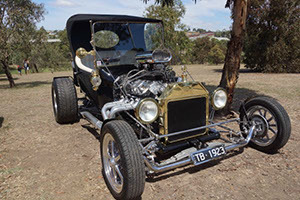 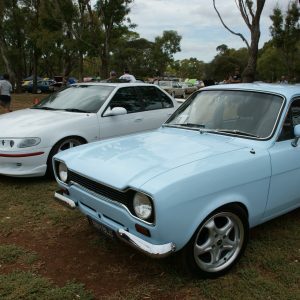 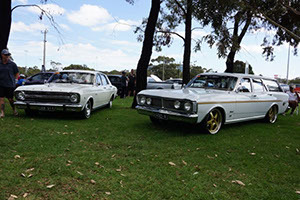 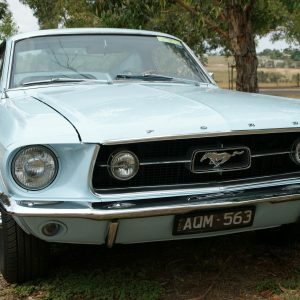 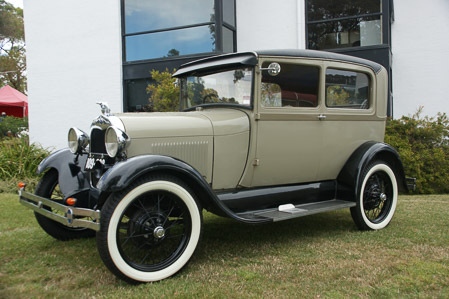 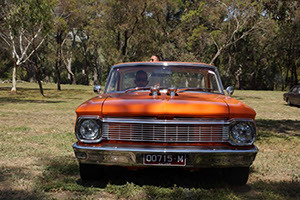 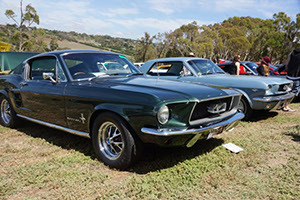 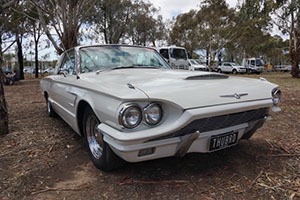 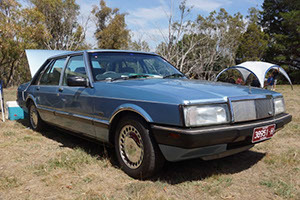 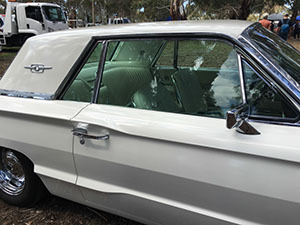 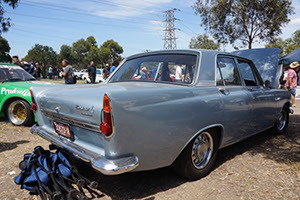 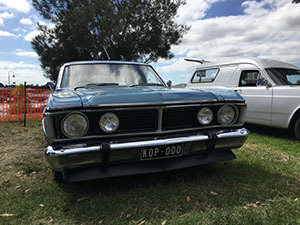 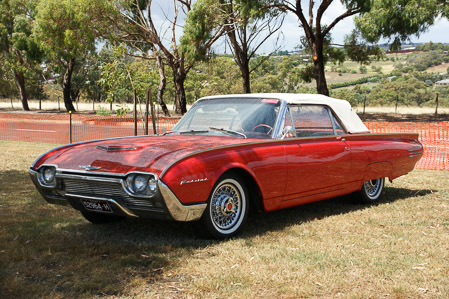 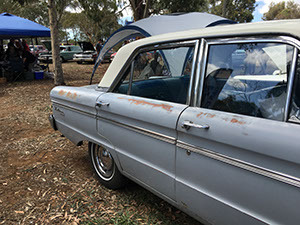 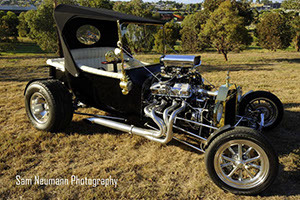 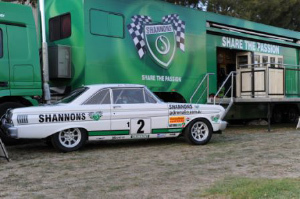 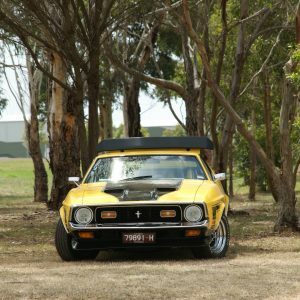 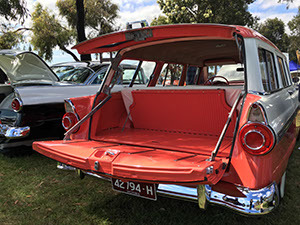 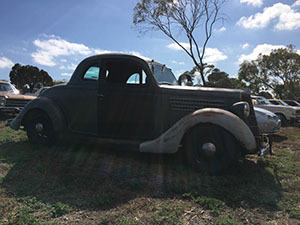 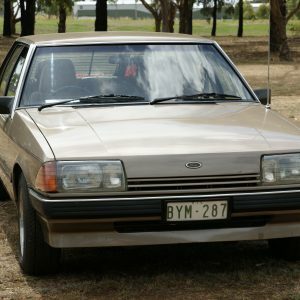 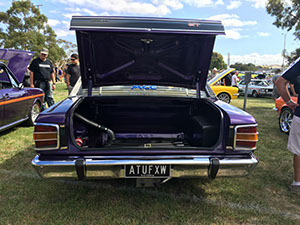 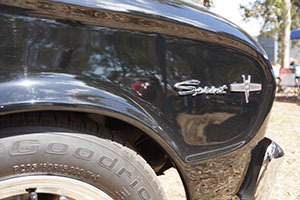 From vintage cars to contemporary cars, Shannons Insurance have all the answers when it comes to wanting a peace of mind for your car’s safety on and off the road. 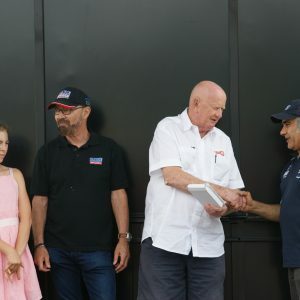 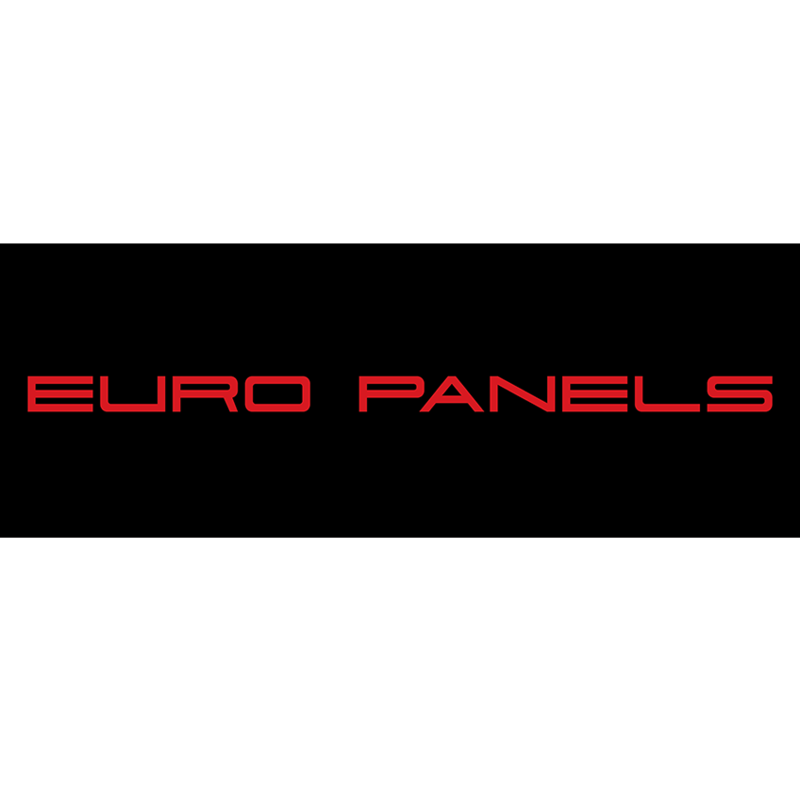 Europanels established in 1983, is a family-owned and operated business. 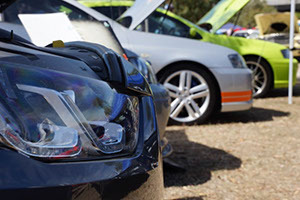 We appreciate every car we repair is invested with the promise of its manufacturer and the passion of its owner. 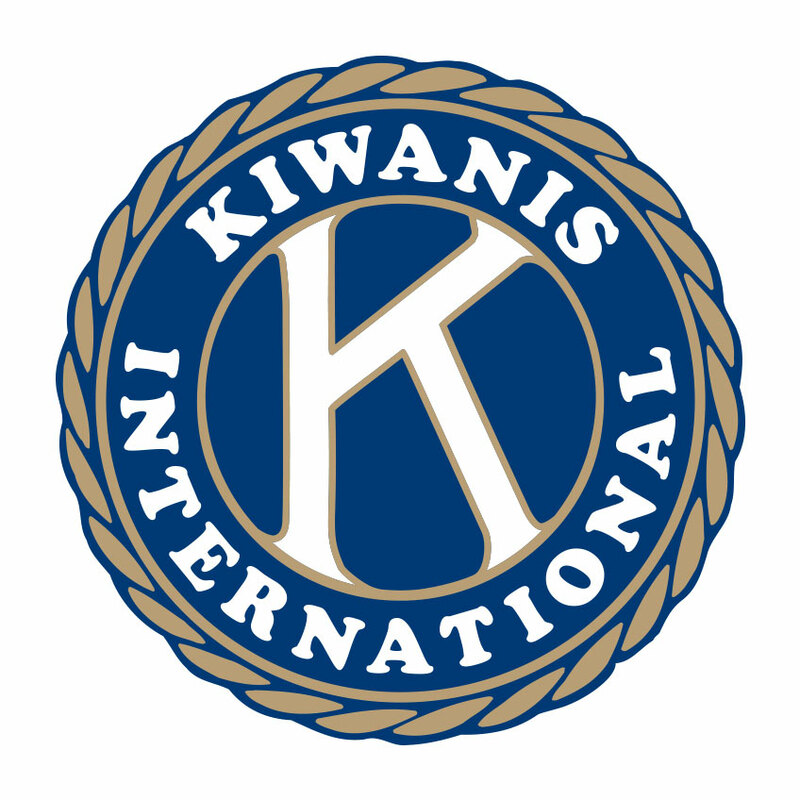 Our philosophy: always strive for excellence. 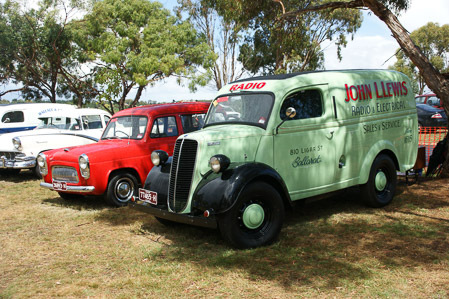 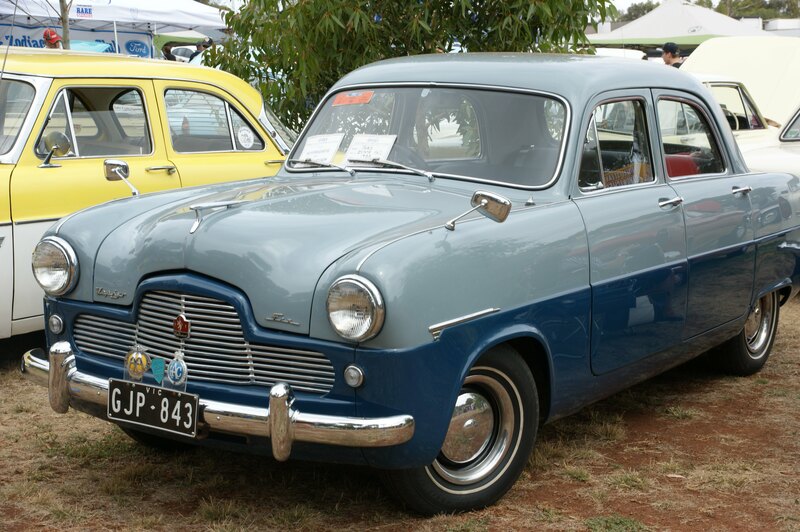 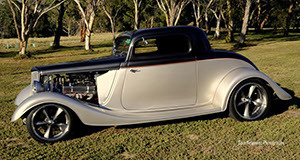 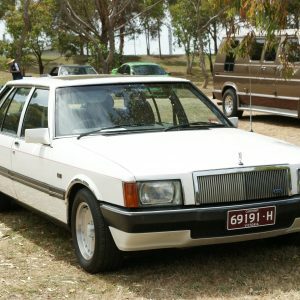 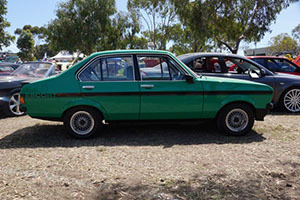 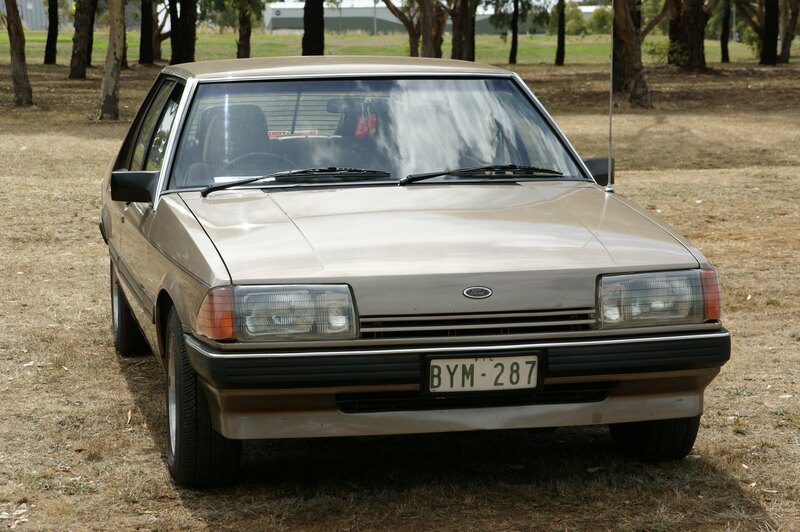 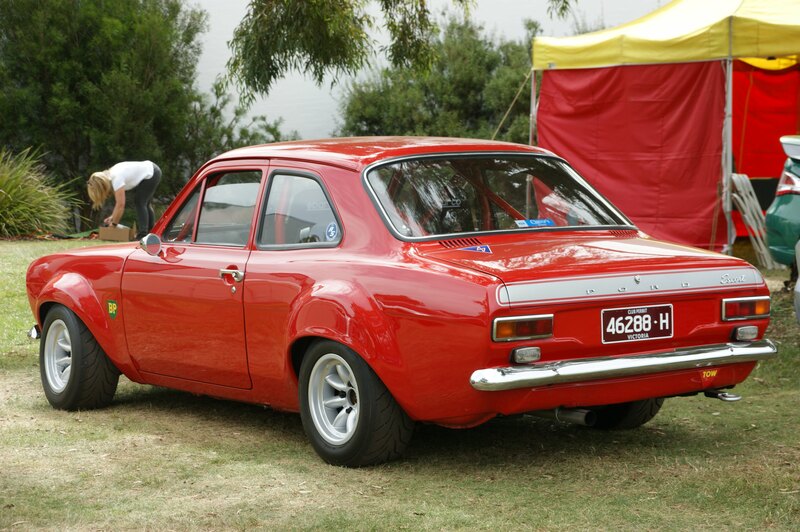 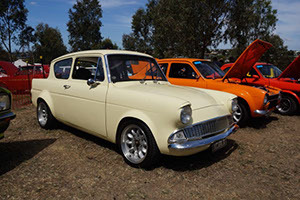 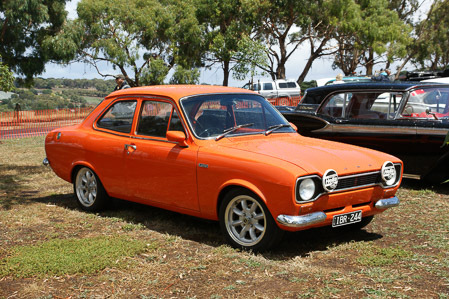 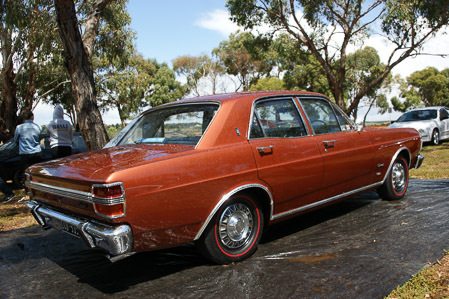 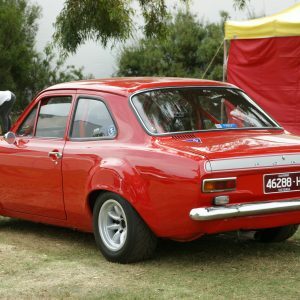 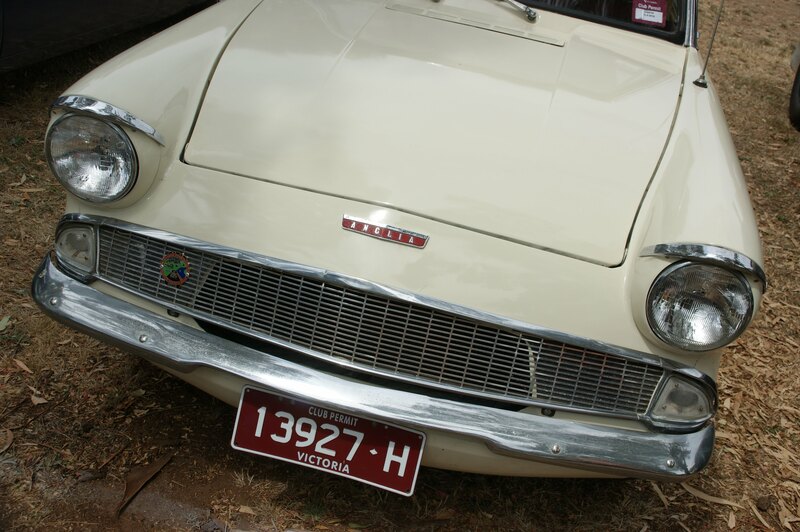 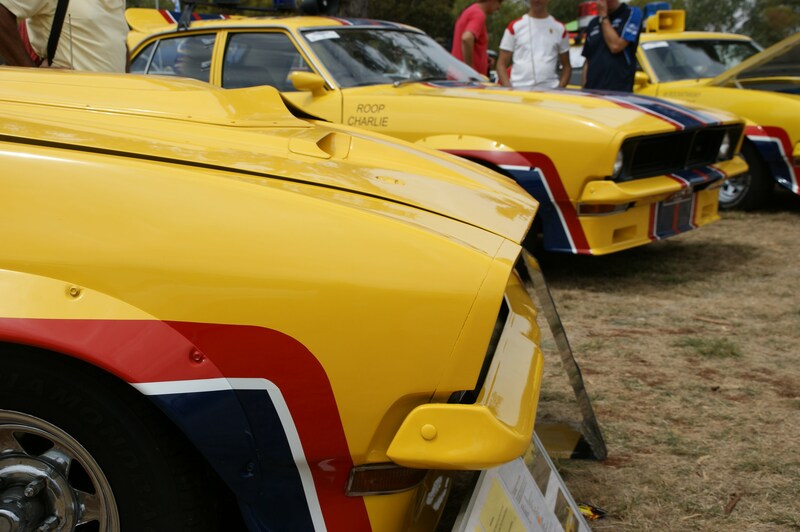 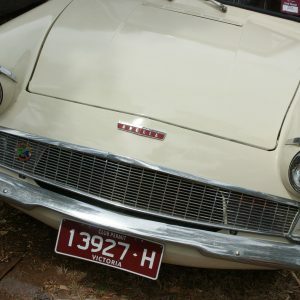 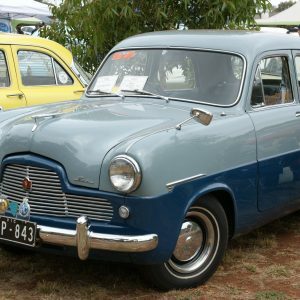 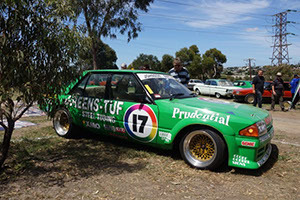 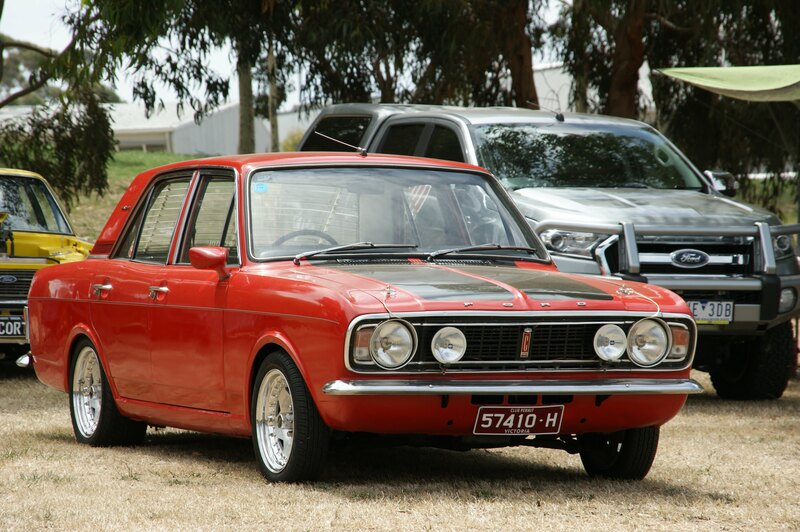 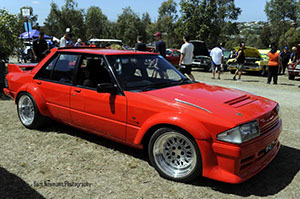 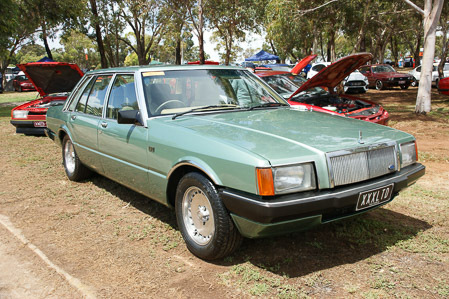 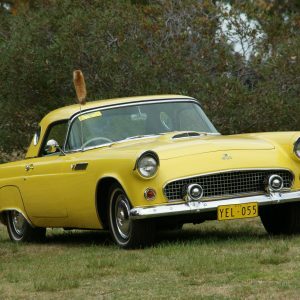 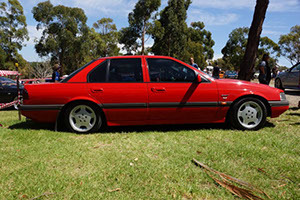 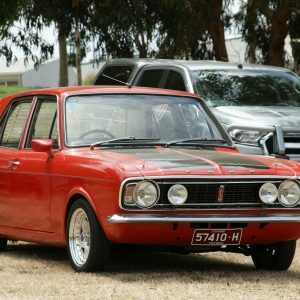 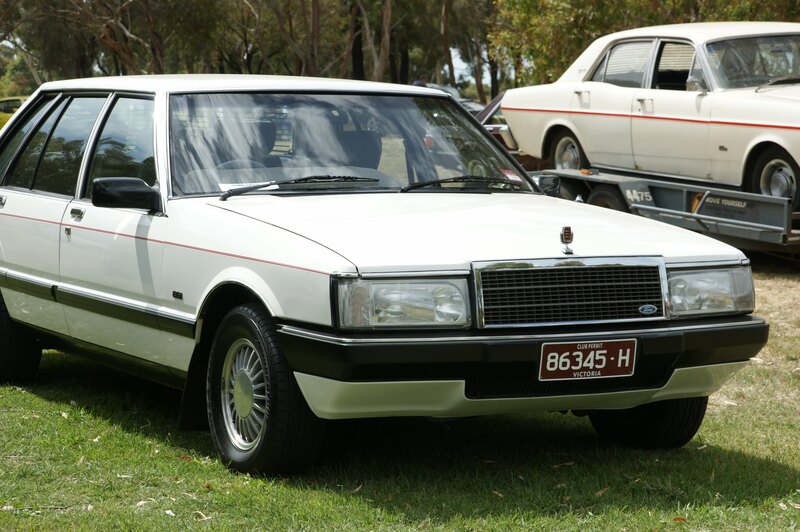 Rare Spares began life in 1974, supplying new and refurbished parts for 48-FJ Holdens. 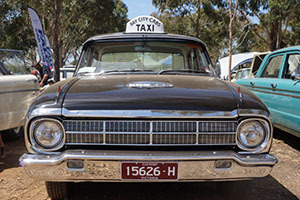 The business started in a residential basement in one of Melbourne’s leafy suburbs and has grown over the years. 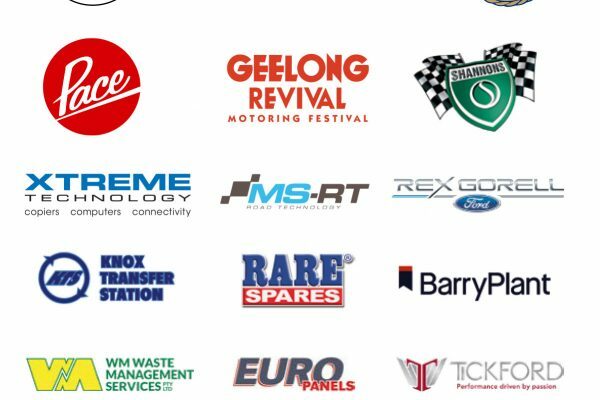 Rare Spares now has over 10,000 product lines and releases over 400 hundred new products every year!!! 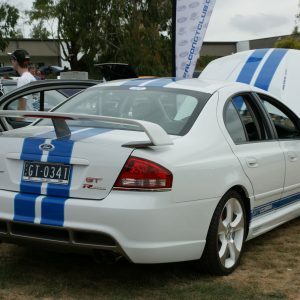 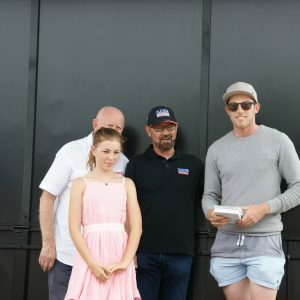 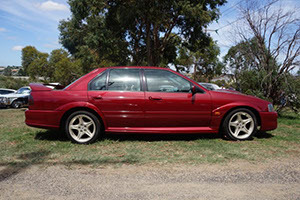 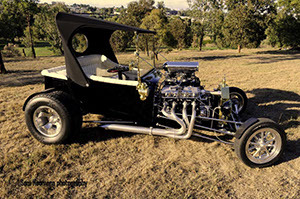 Visit their website, rarespares.net.au for a full range of their products. 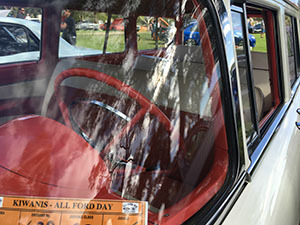 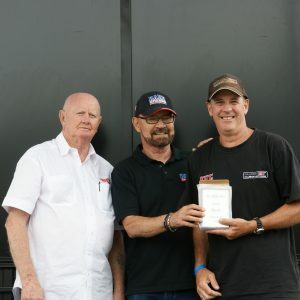 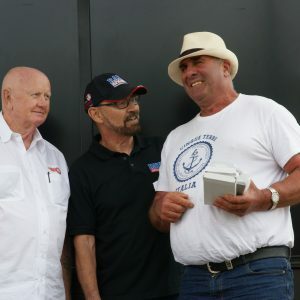 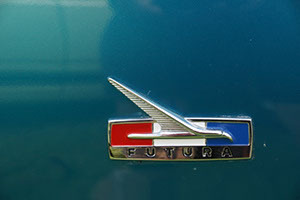 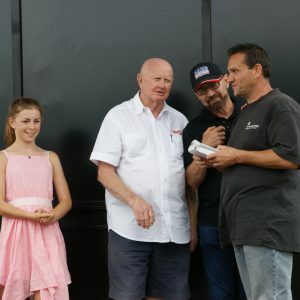 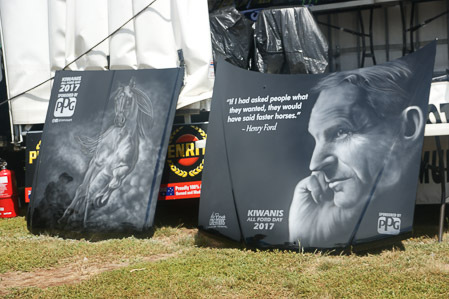 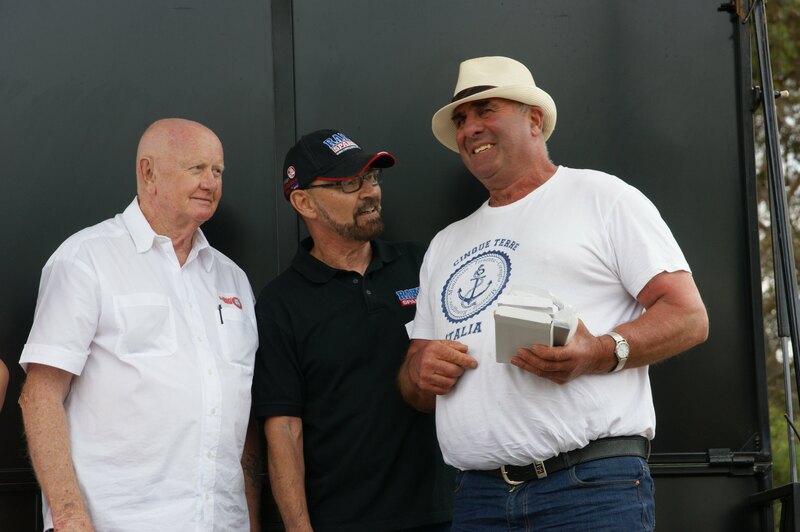 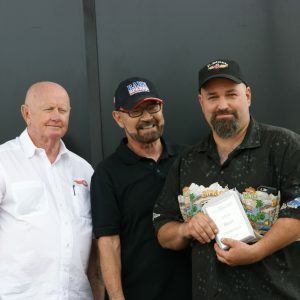 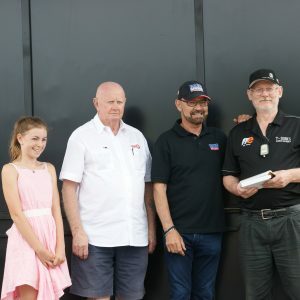 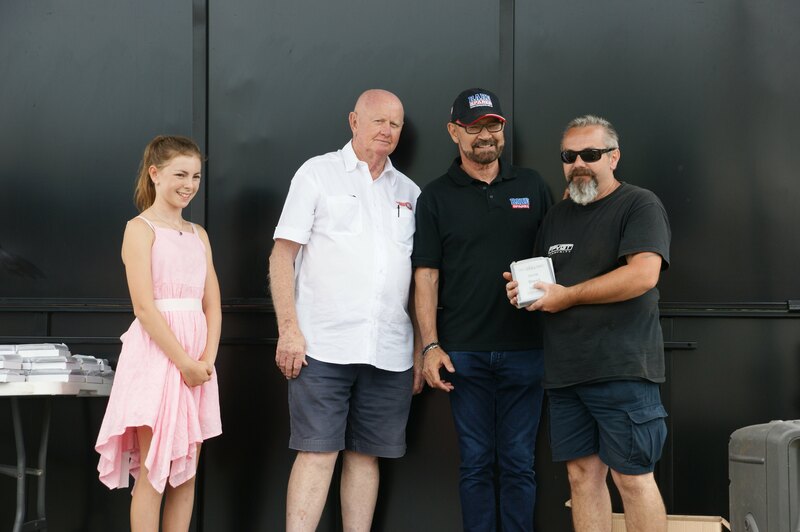 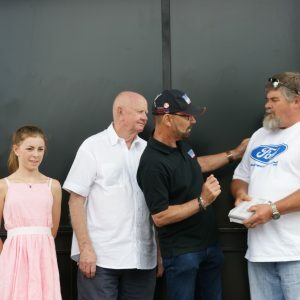 Custom Plates is excited to be part of All Ford Day 2019! 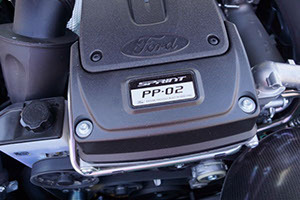 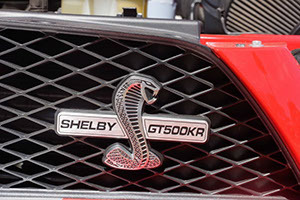 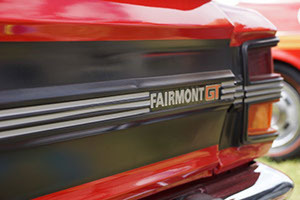 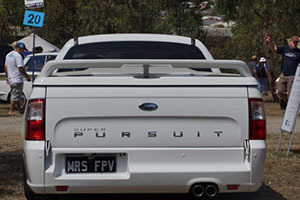 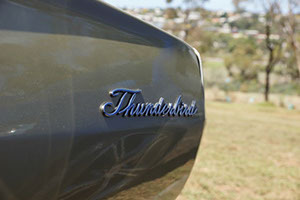 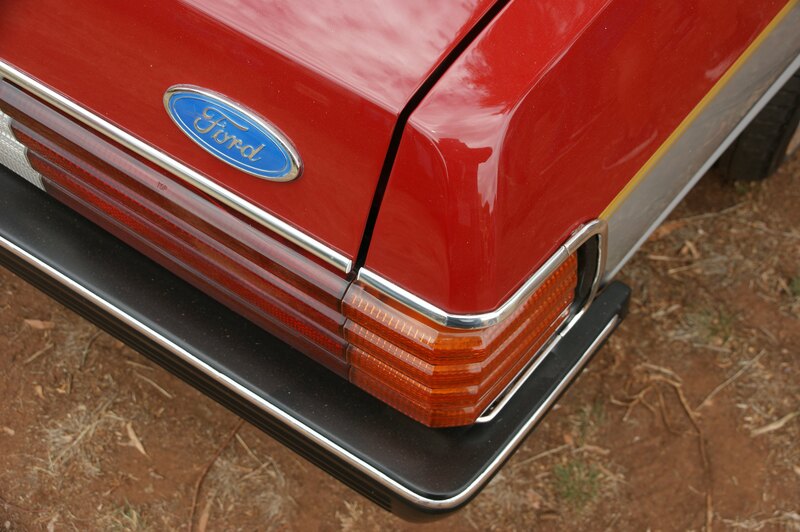 Whether you drive a Focus, Mustang, F6 or Ranger – Custom Plates has a unique style tailored for every Ford lover. 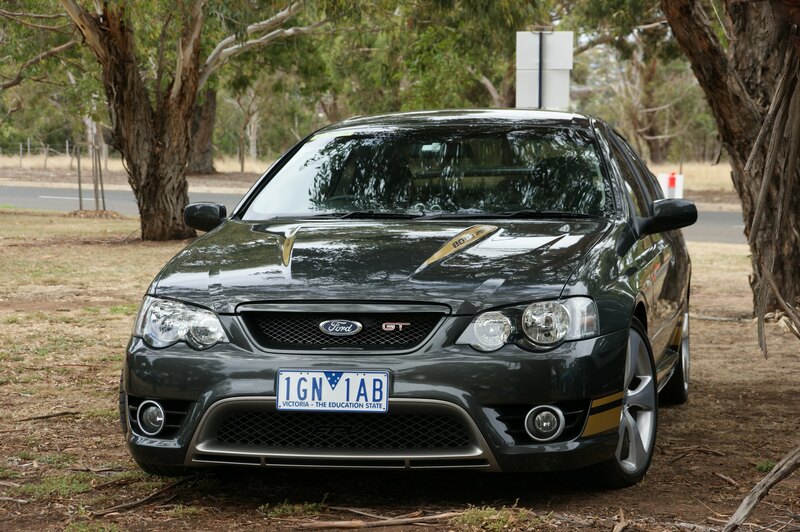 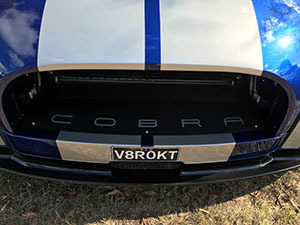 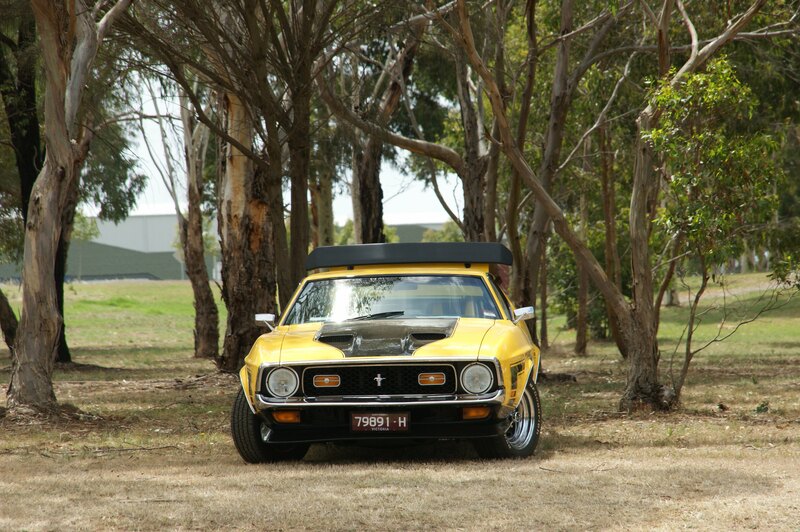 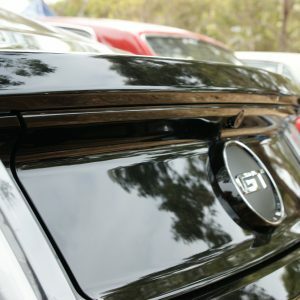 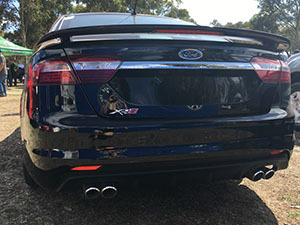 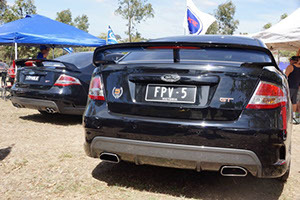 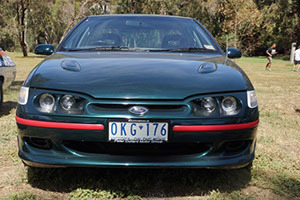 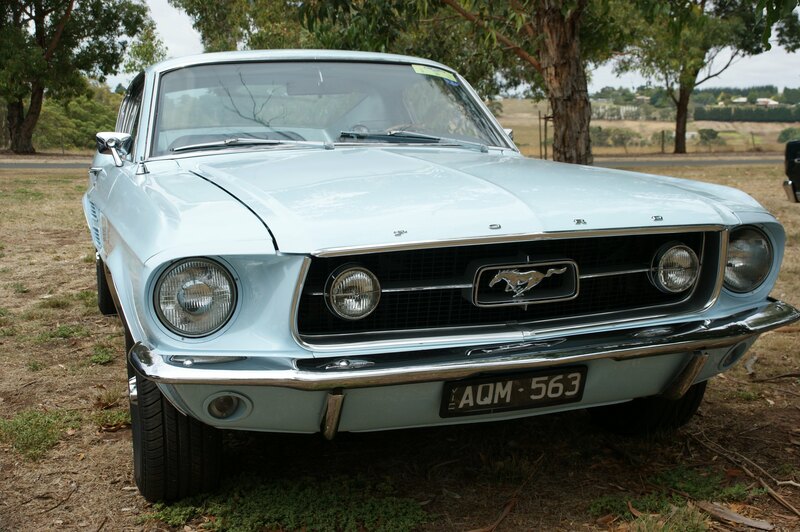 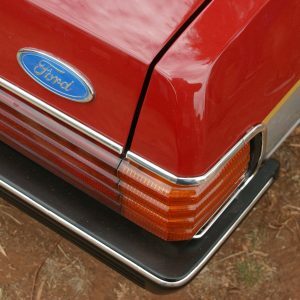 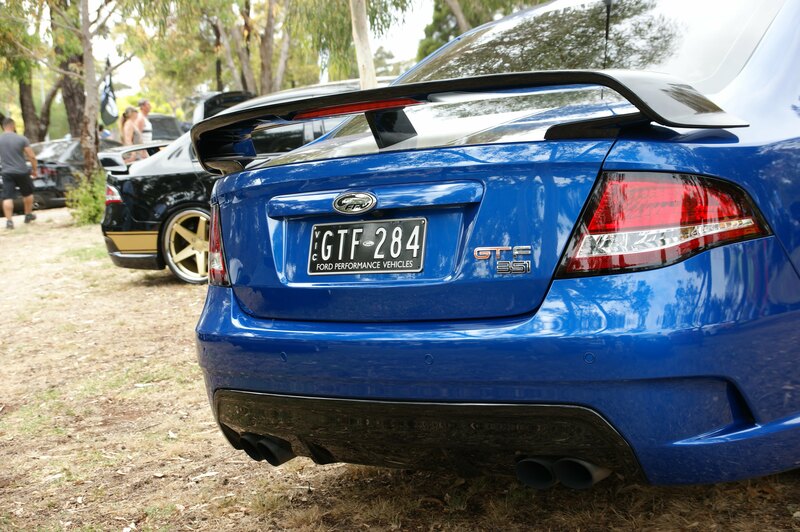 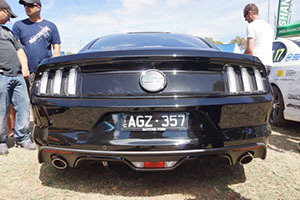 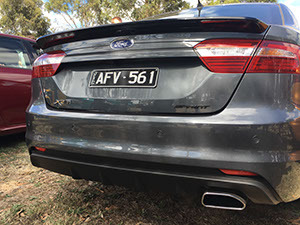 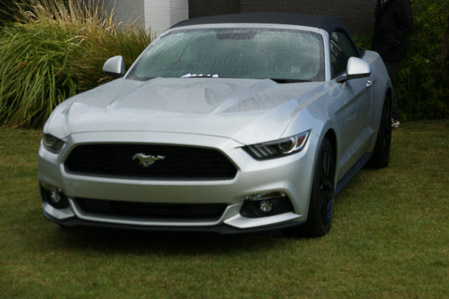 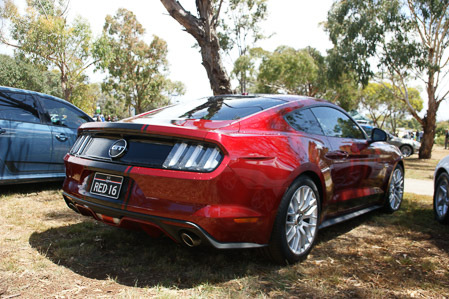 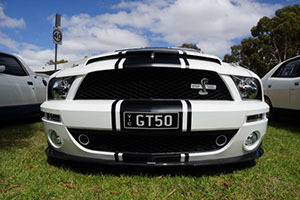 Choose from our Ford, FPV and Mustang plates – or opt for one of our many other styles! 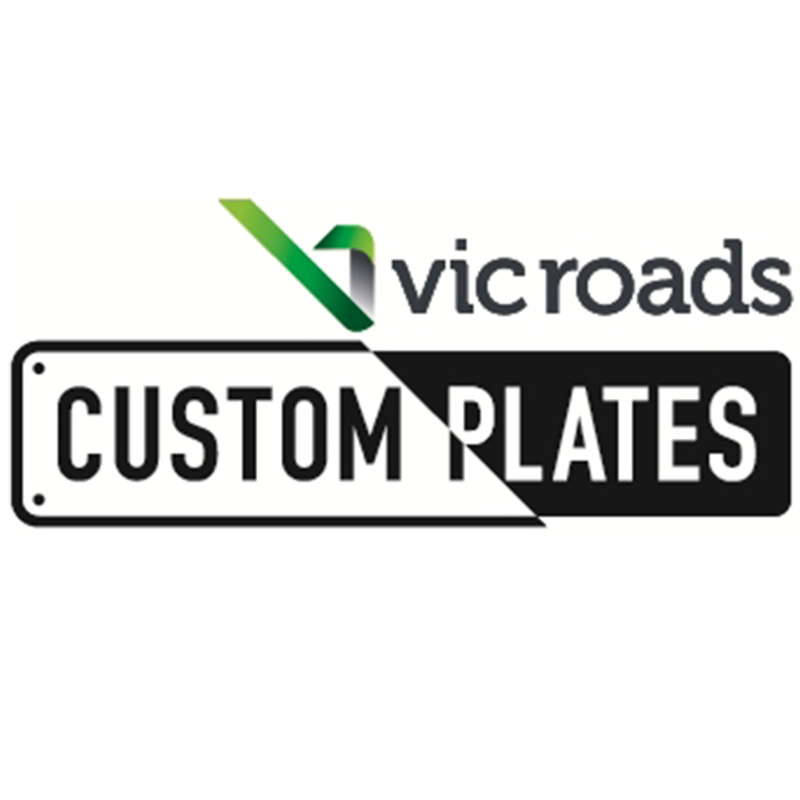 With millions of combinations across a wide range of formats, you are sure to find a plate that helps you stand out from the crowd. 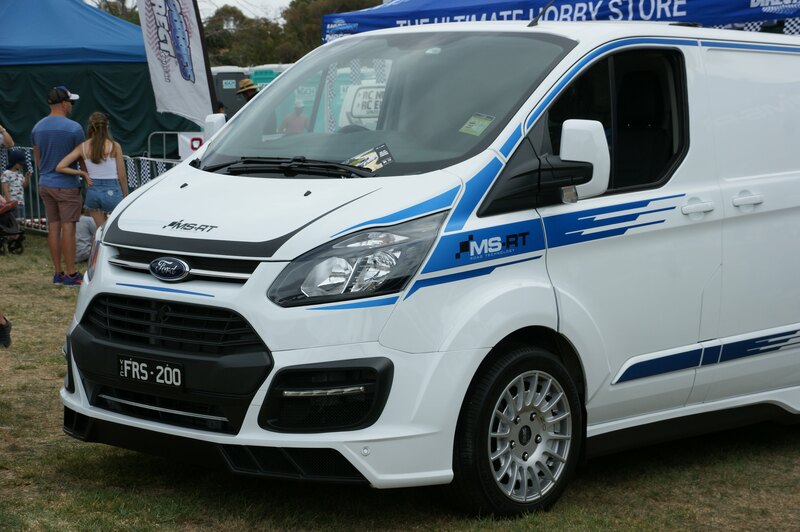 MS-RT is the collaboration of British vehicle styling specialists ‘Van-Sport’ and motorsport legend, Malcolm Wilson’s ‘M-Sport UK’. 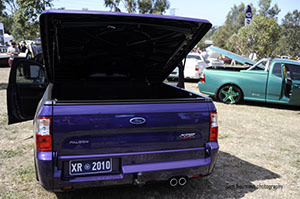 Together we have taken the exceptional Ford Transit and Ranger, enhanced them, and brought them into the spotlight. 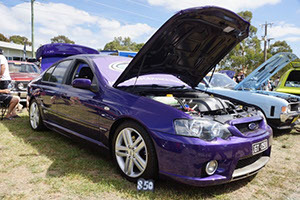 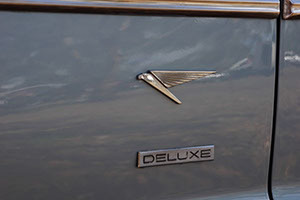 We are passionate about vehicle styling. 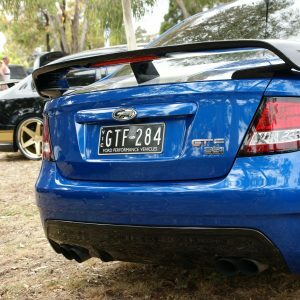 No longer will the admiring glances, and the feel of driving something special be the sole domain of the sports-car owner. 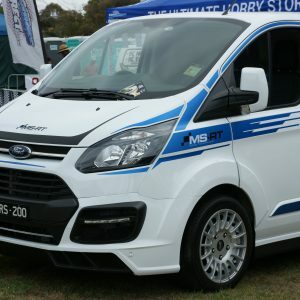 MS-RT hand builds tough and reliable vehicles, using exclusive brands, delivering beautiful stylised vehicles for work and play at an affordable price. 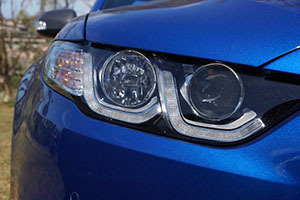 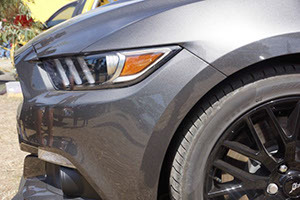 As the world’s #1 producer of automotive paints and coatings, PPG not only supplies vehicle manufacturers across the globe, including Ford, it is also the leading choice for high quality accident repairs and superb custom paintjobs. 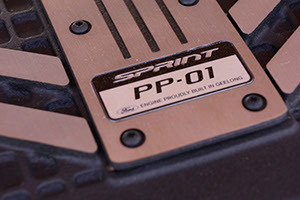 Insist on PPG! 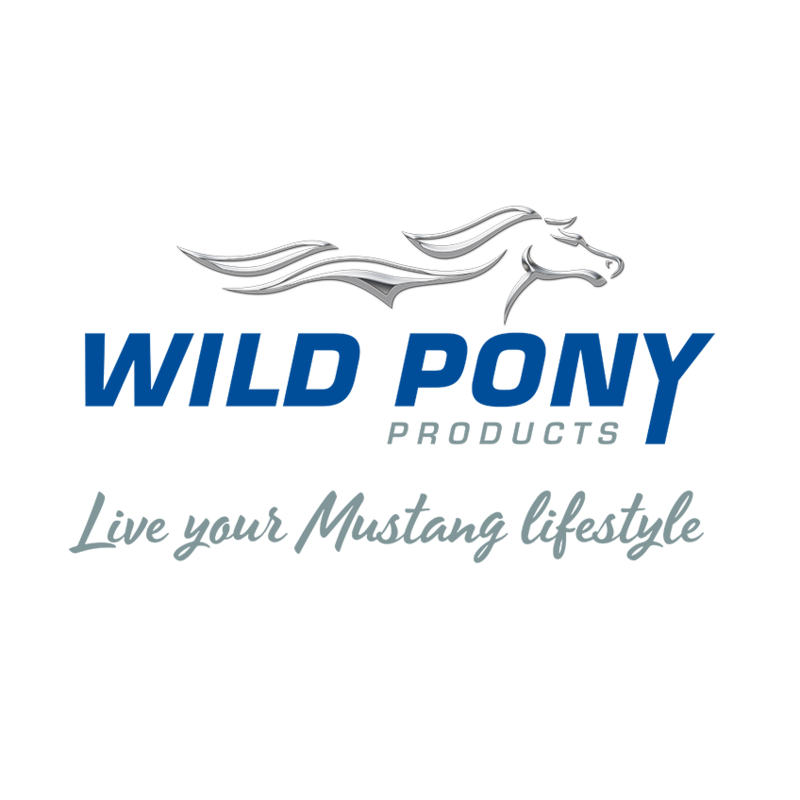 Wild Pony Products retails Ford Official Licensed Mustang Products including Jackets, Hoodies, T-Shirts, and Caps for men, women and kids, plus a range of Home Accessories. 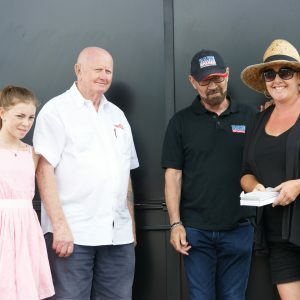 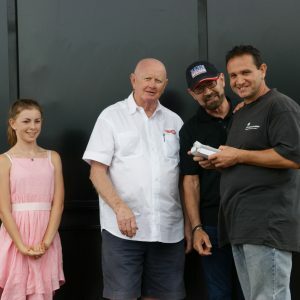 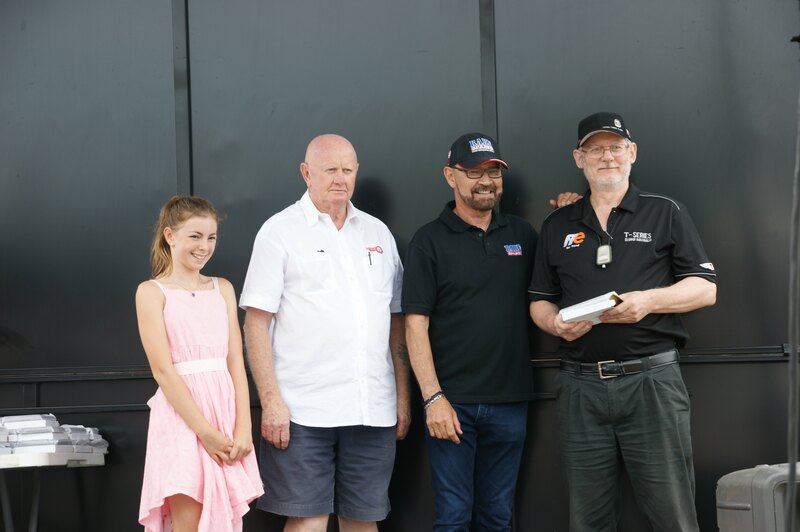 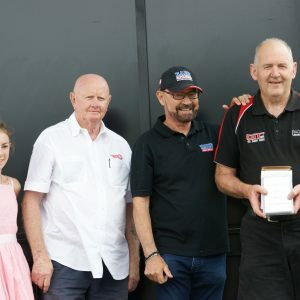 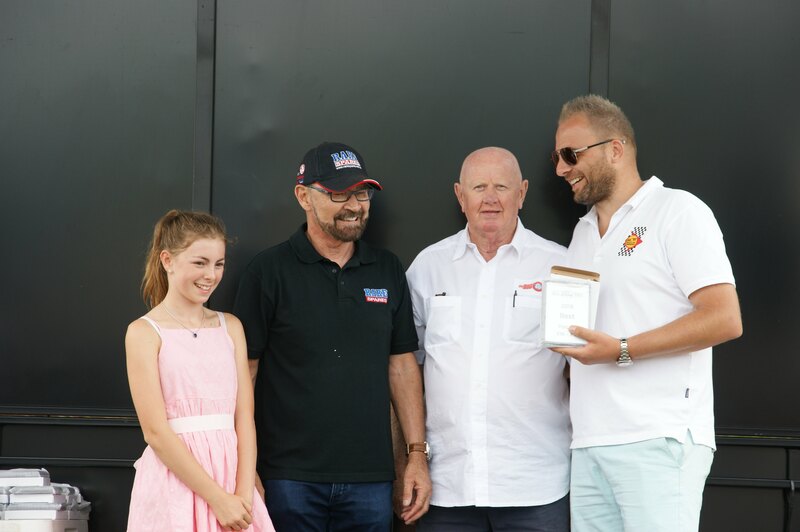 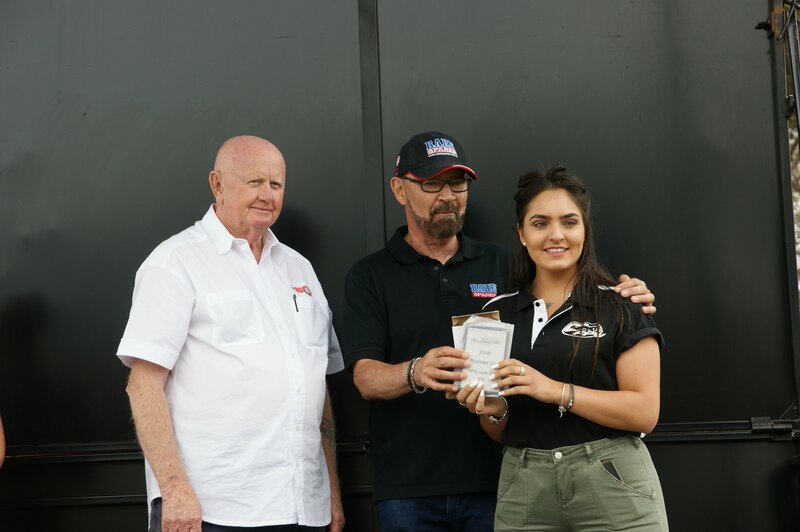 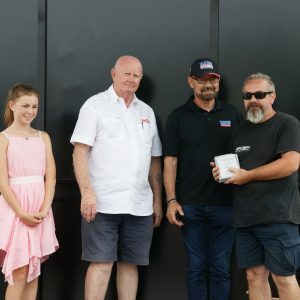 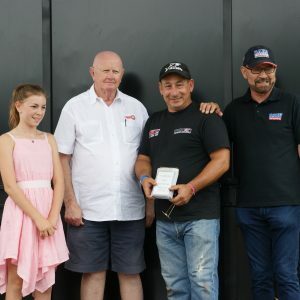 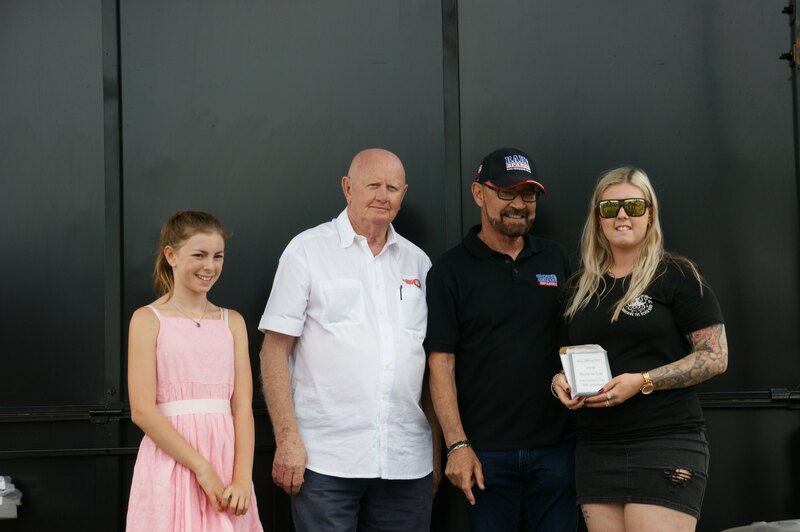 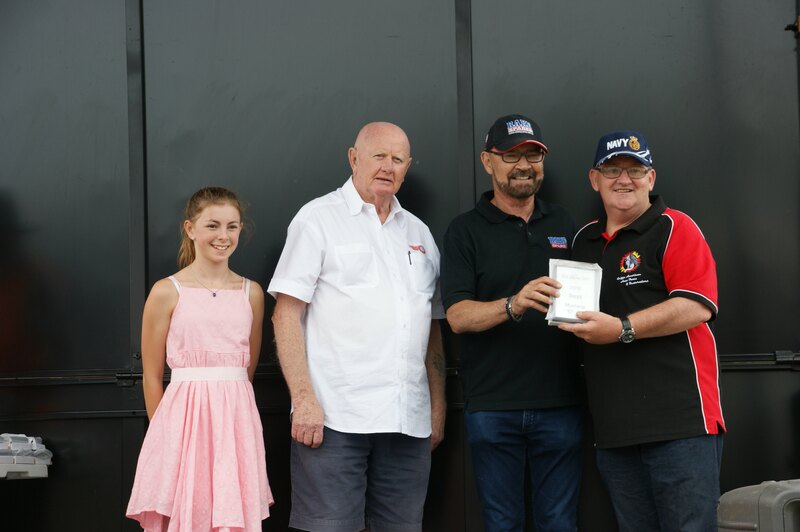 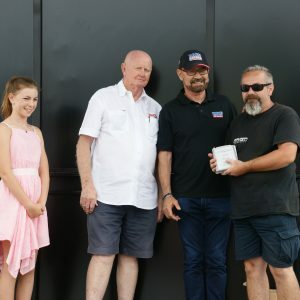 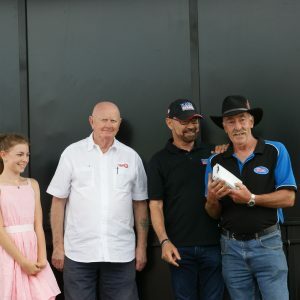 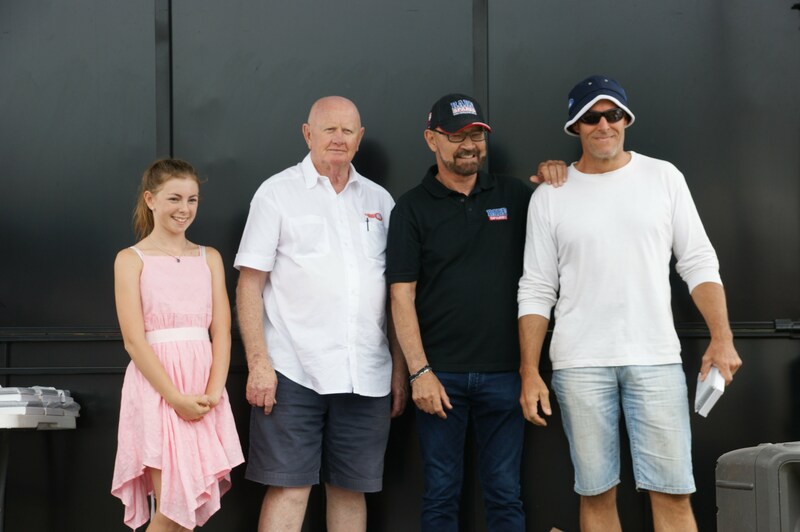 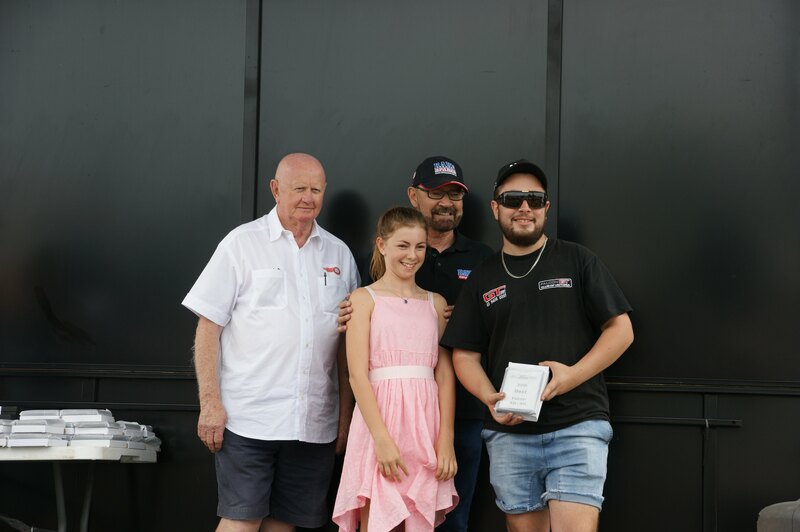 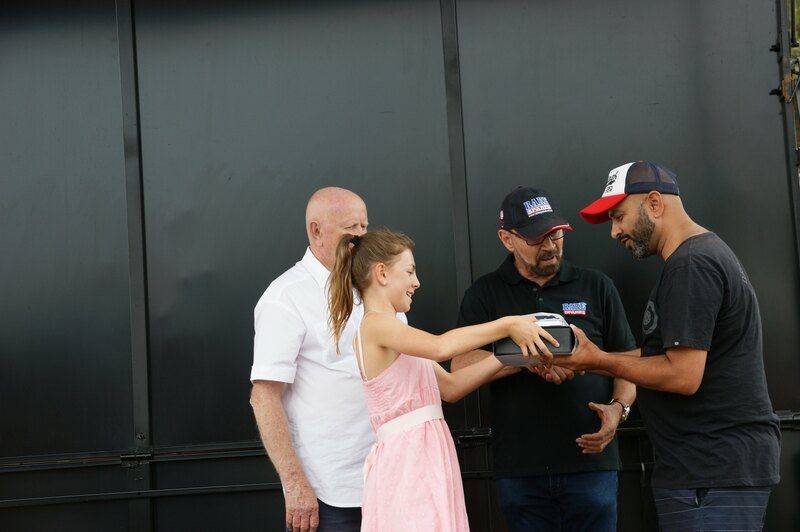 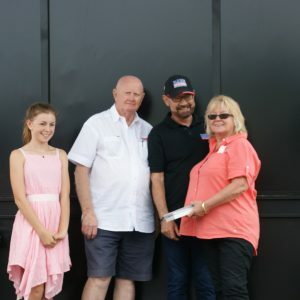 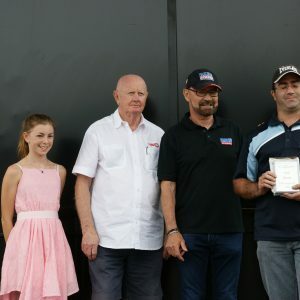 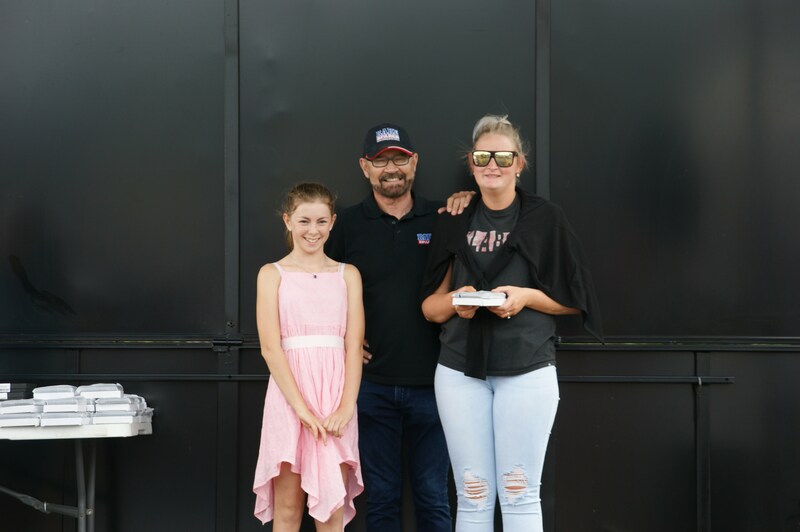 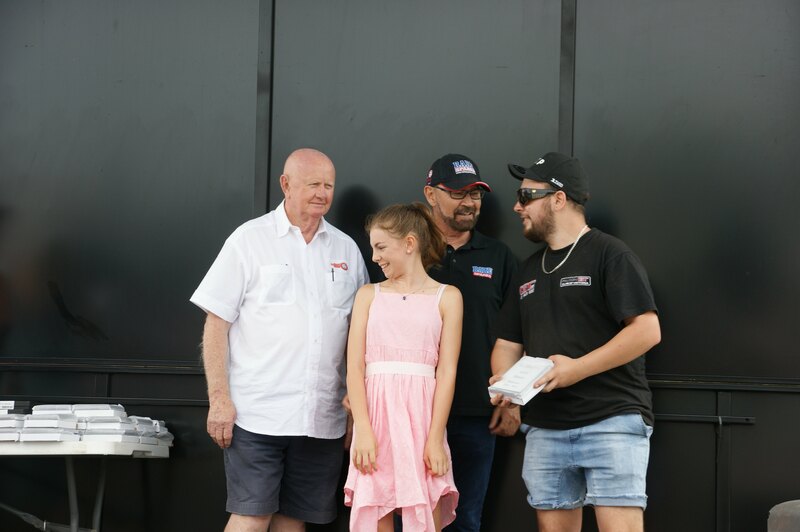 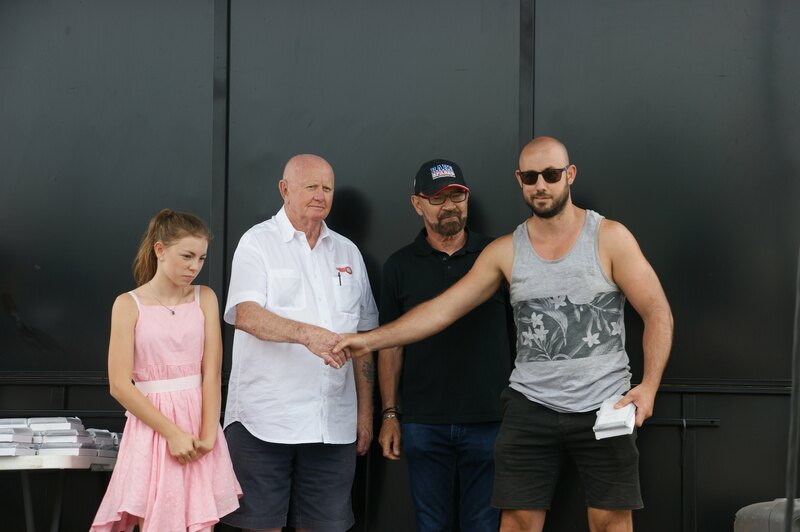 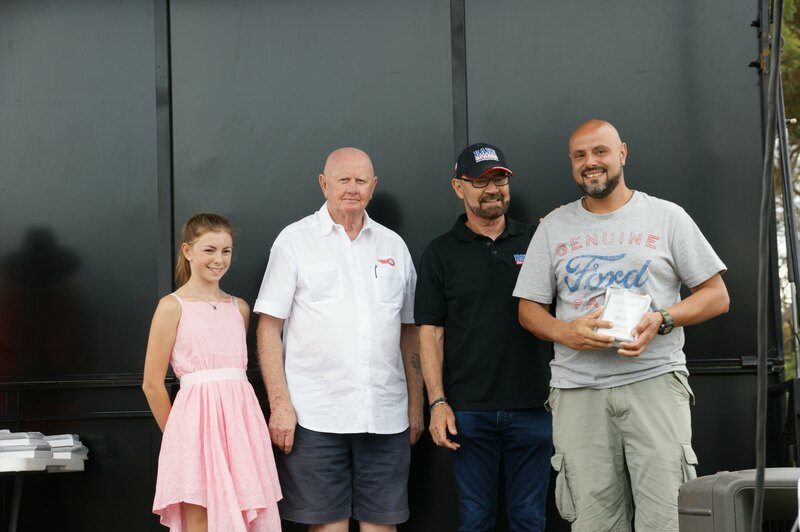 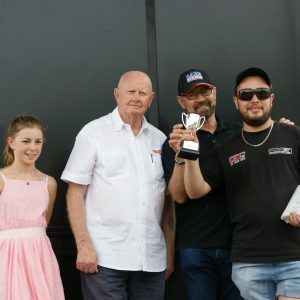 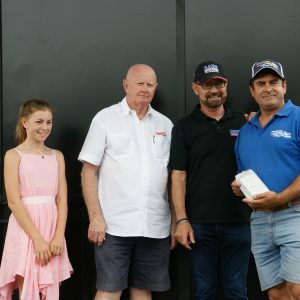 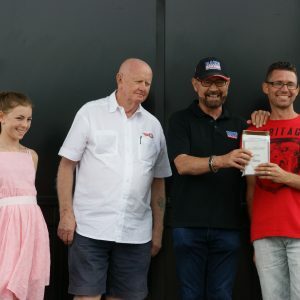 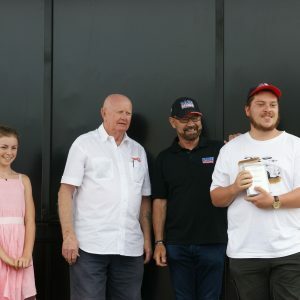 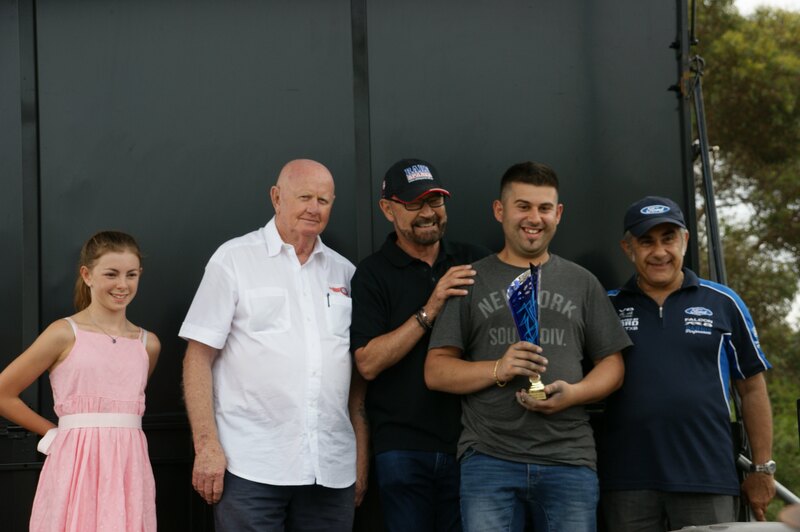 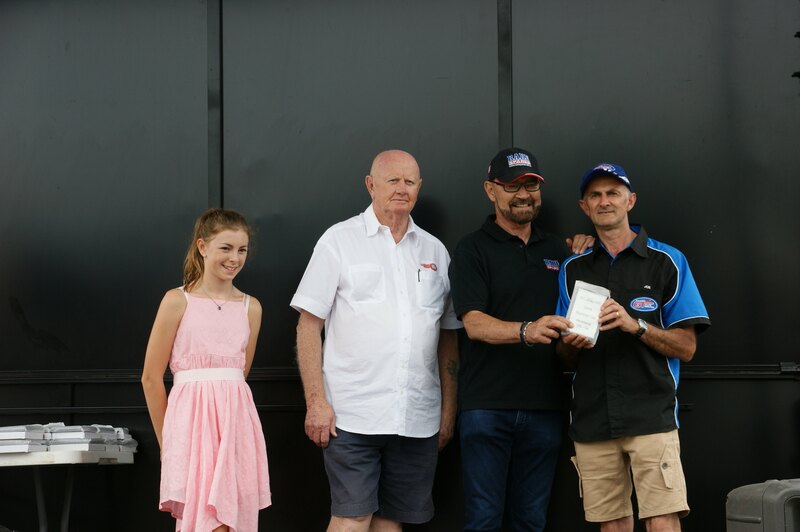 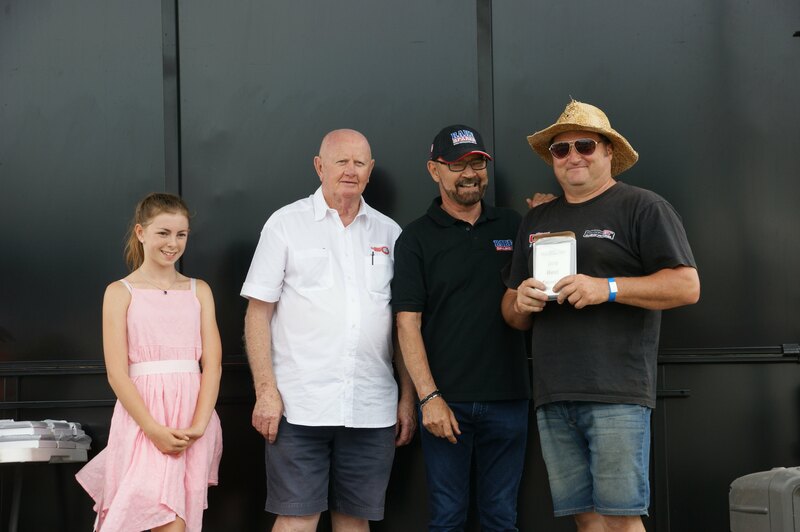 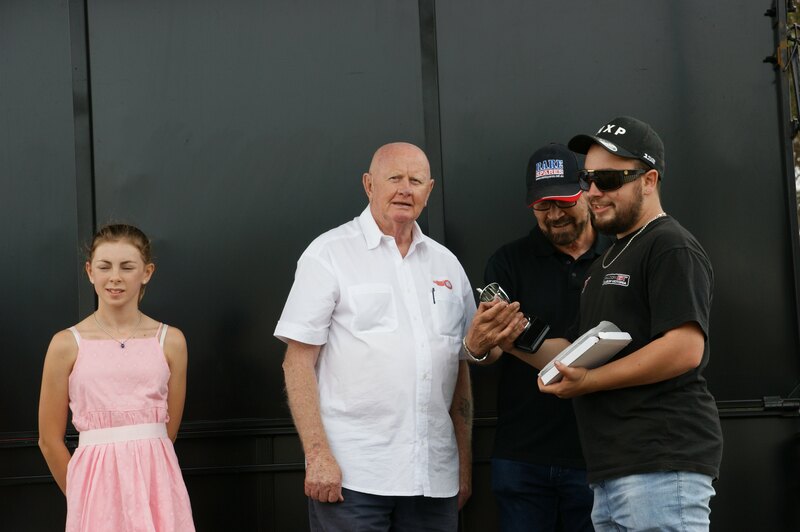 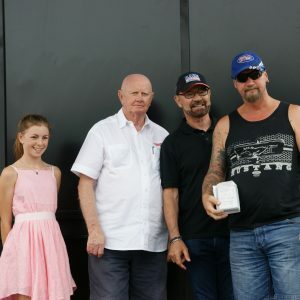 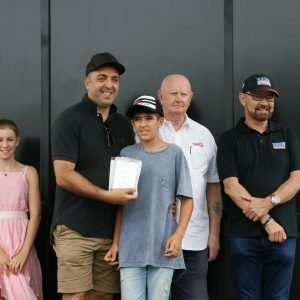 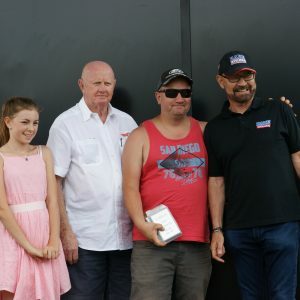 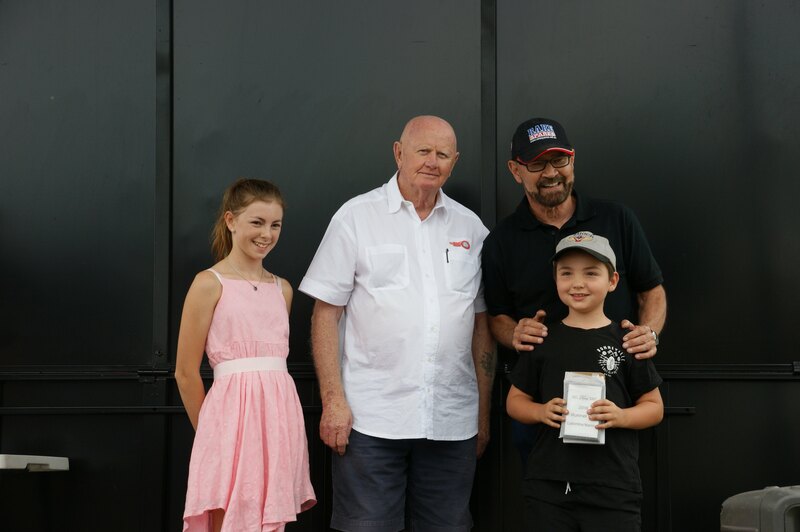 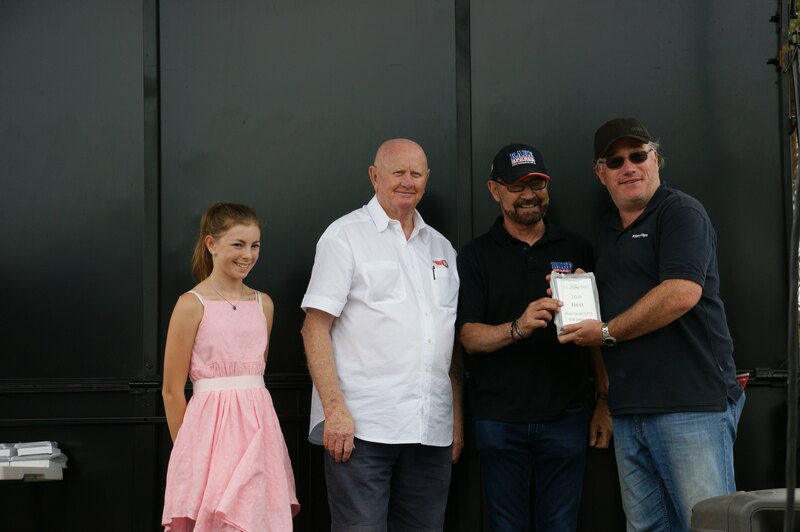 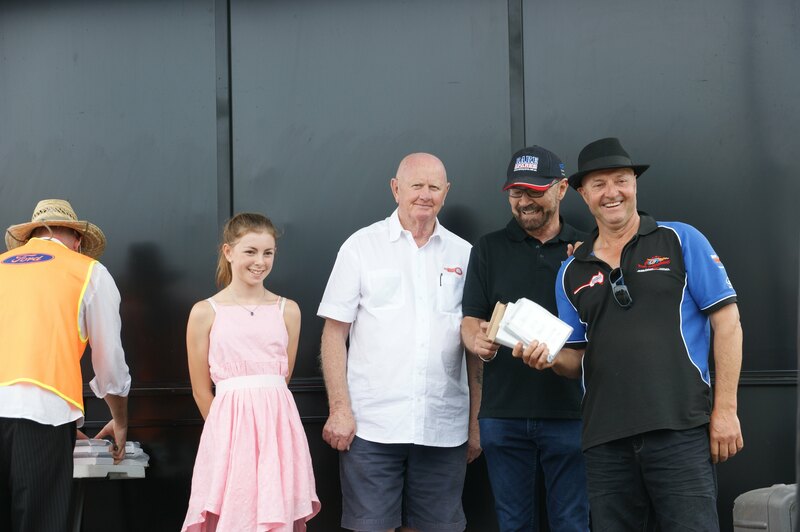 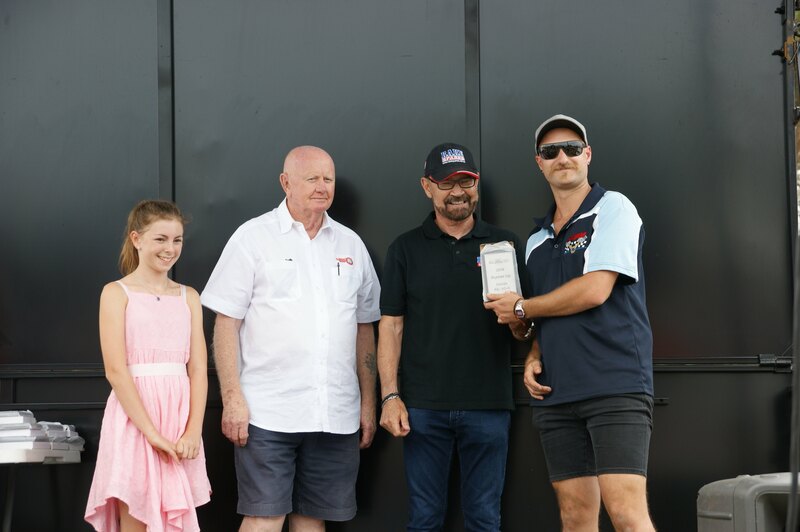 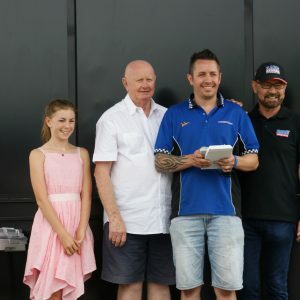 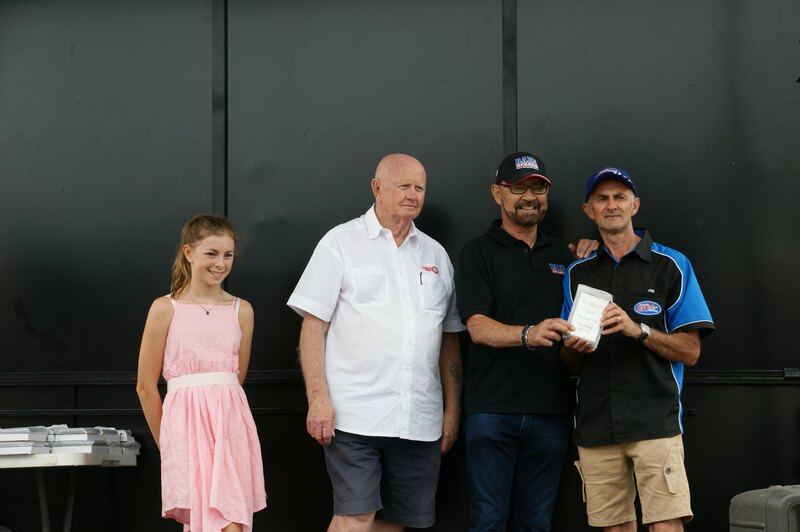 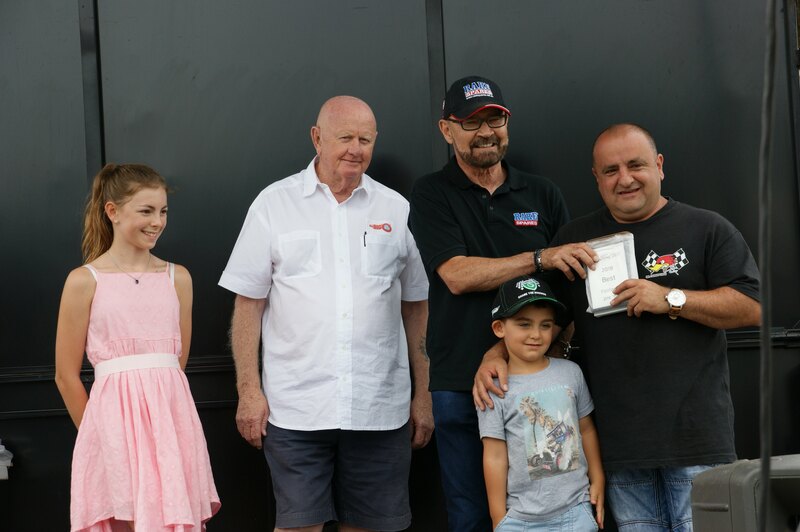 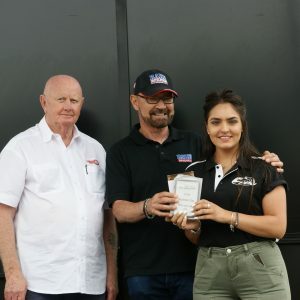 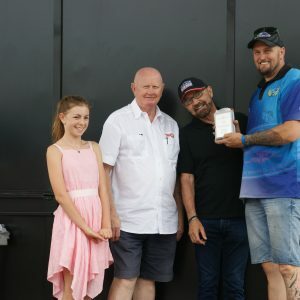 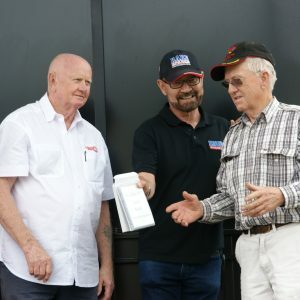 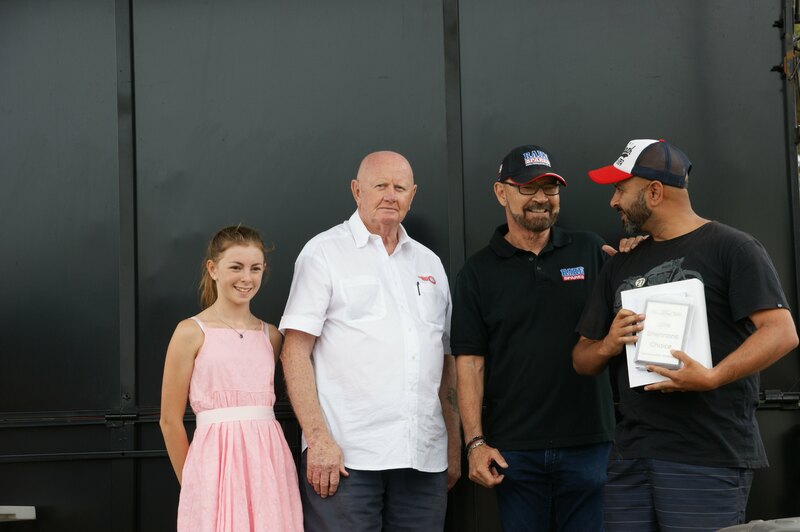 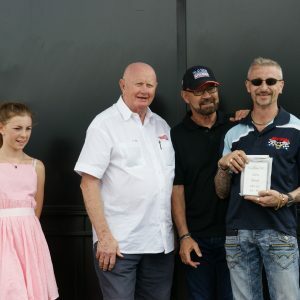 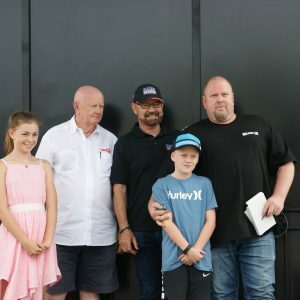 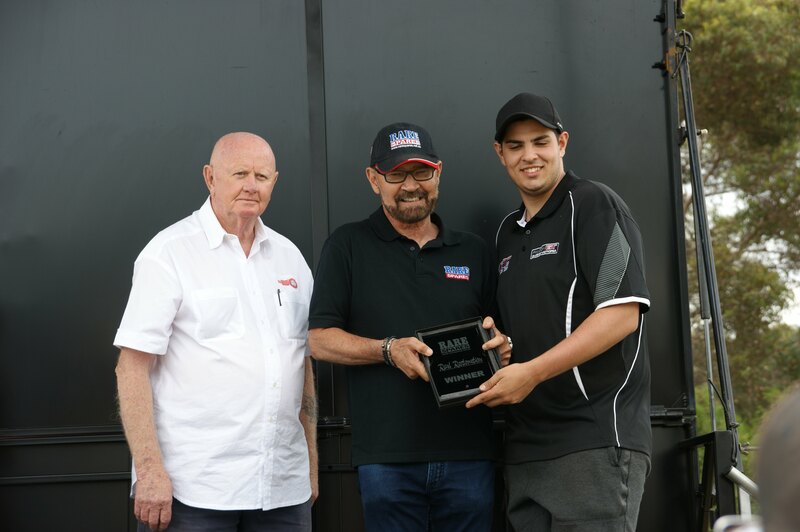 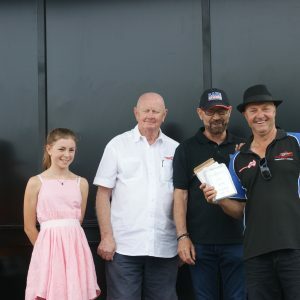 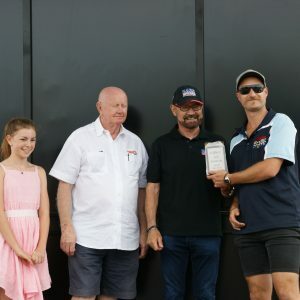 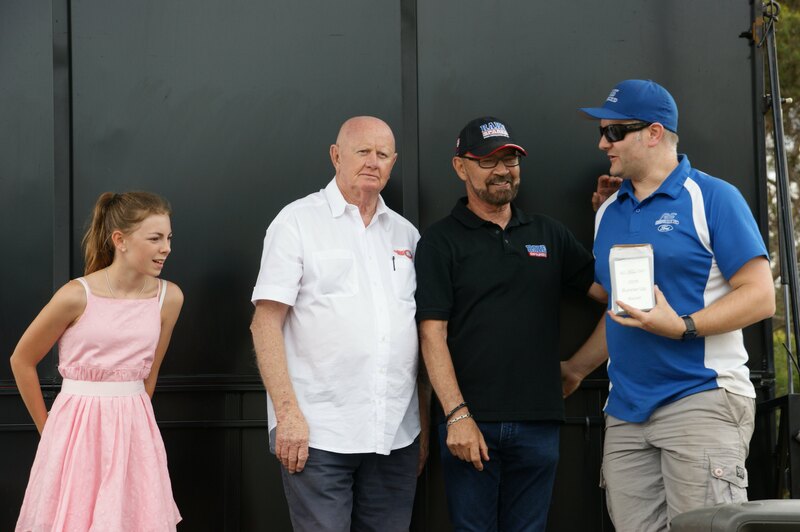 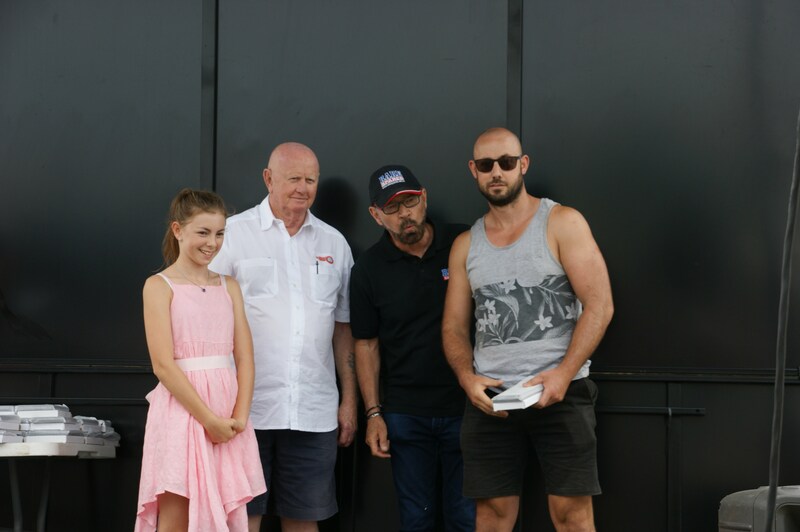 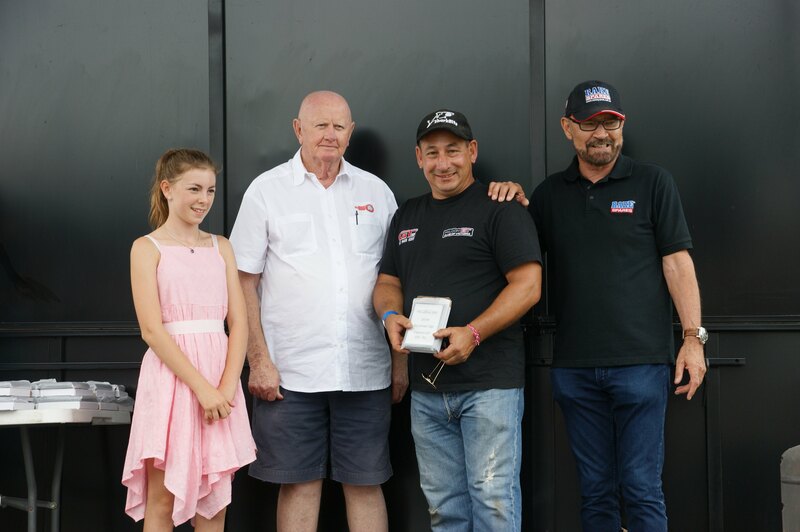 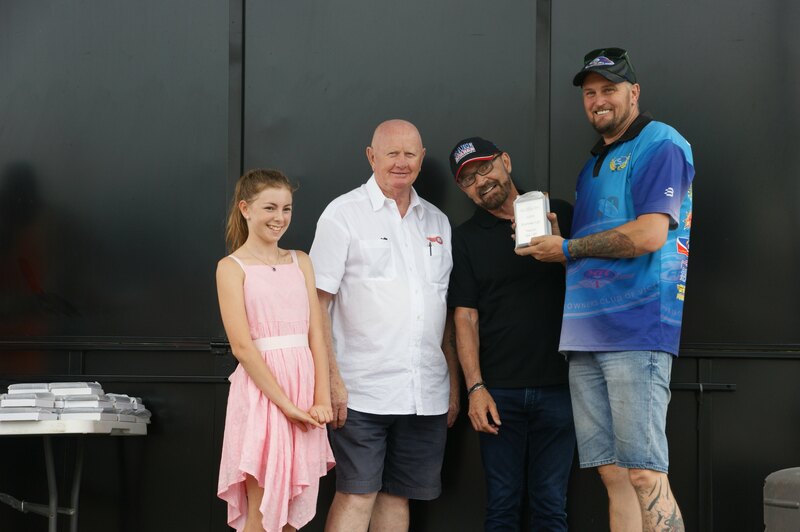 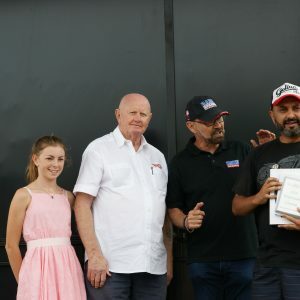 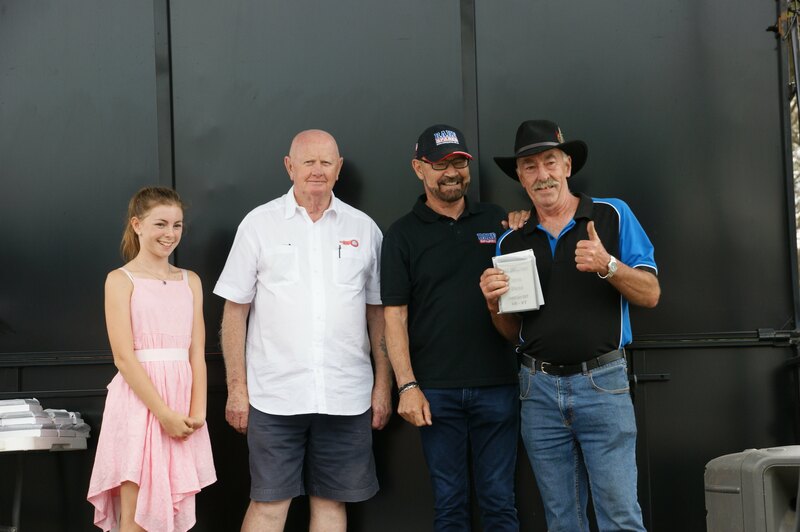 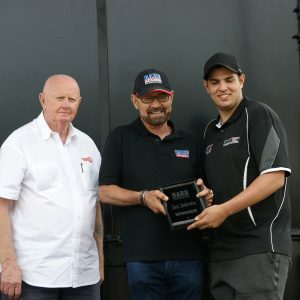 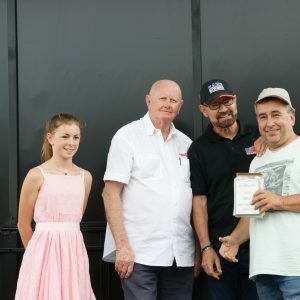 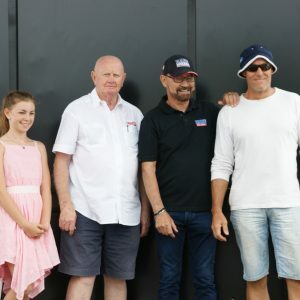 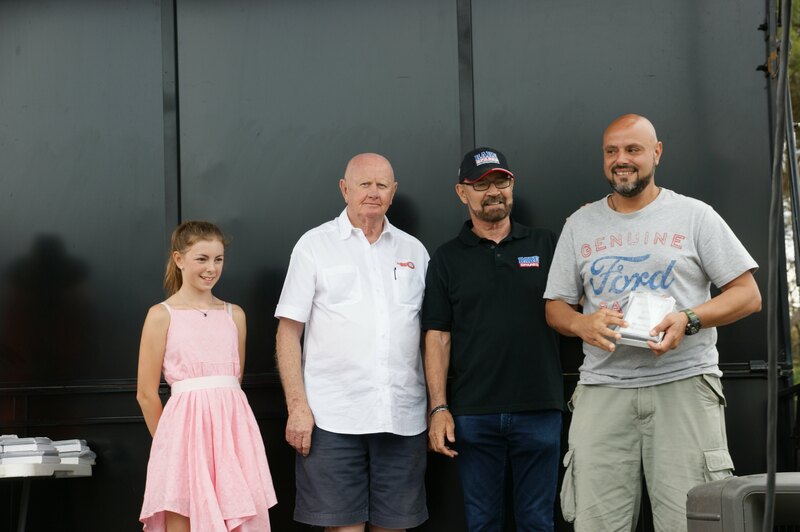 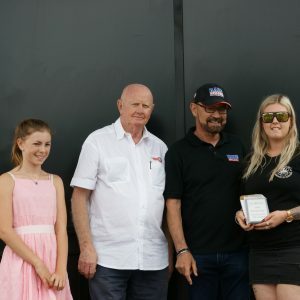 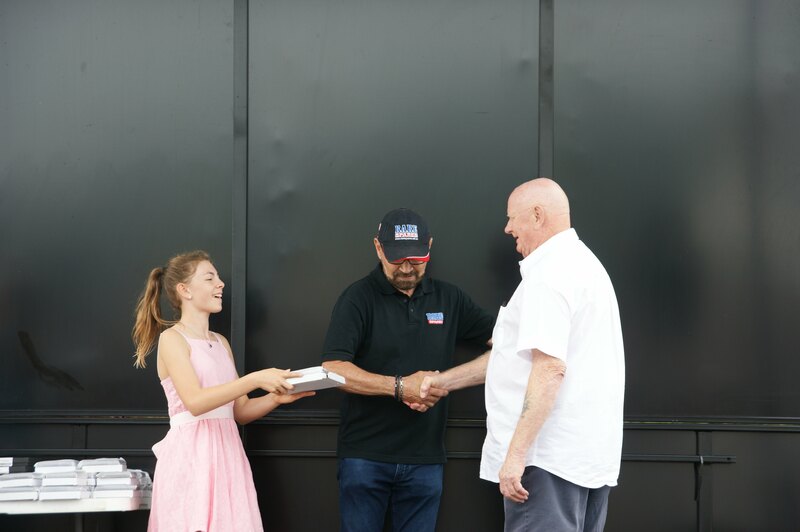 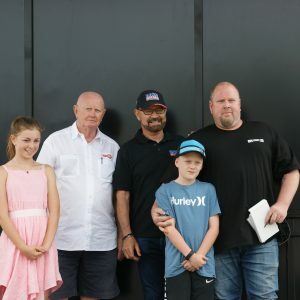 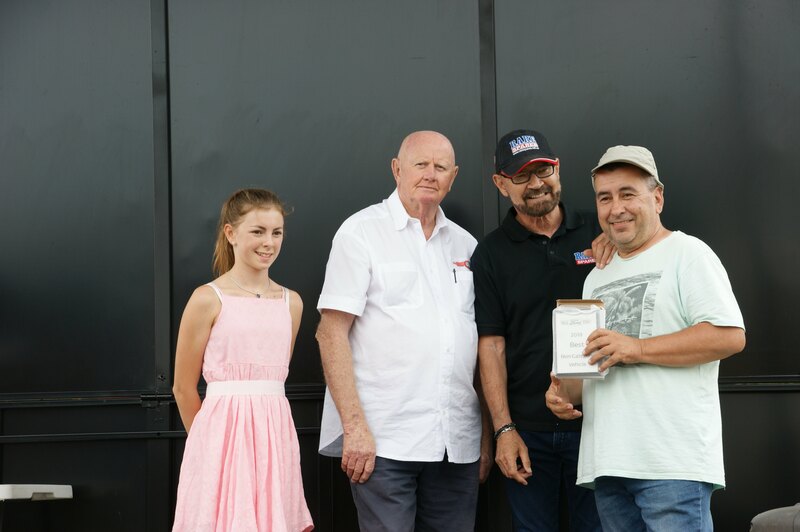 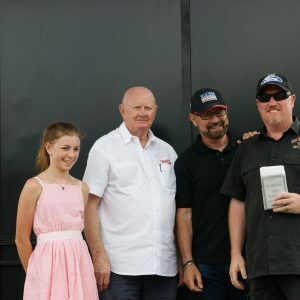 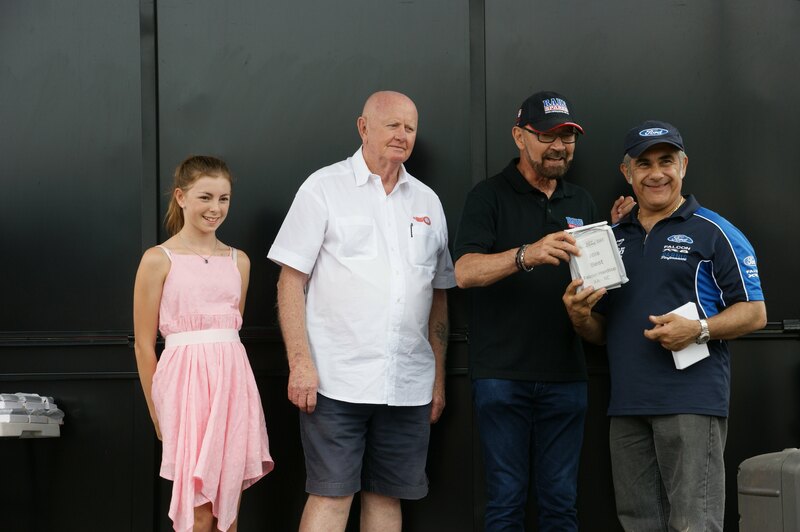 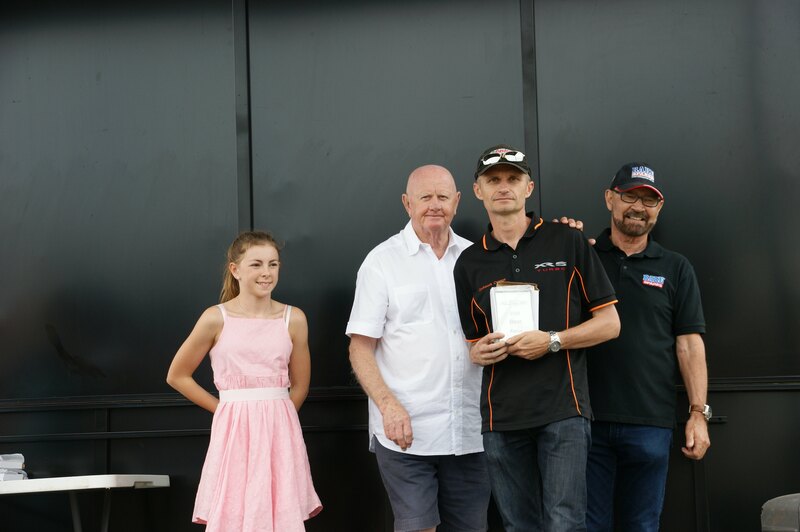 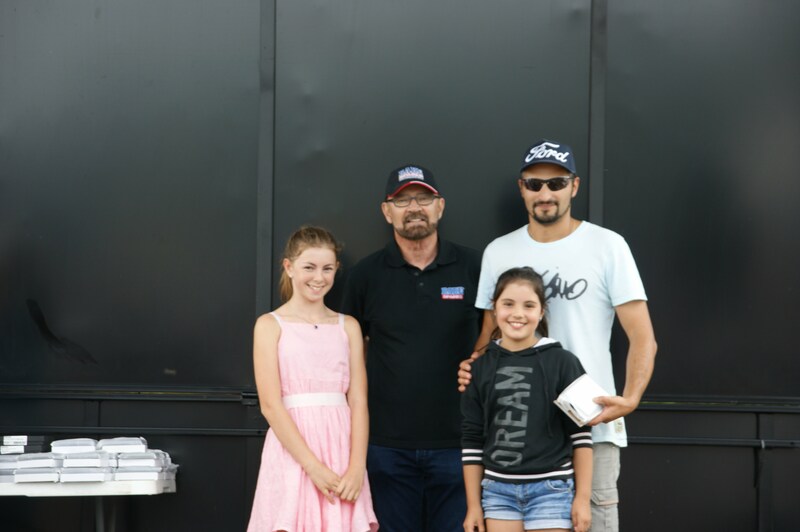 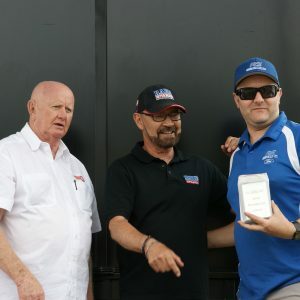 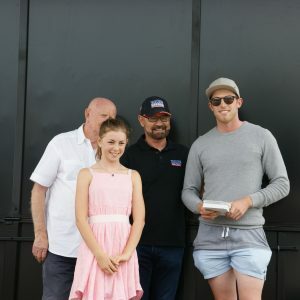 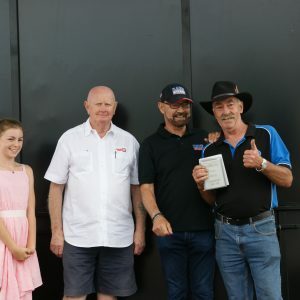 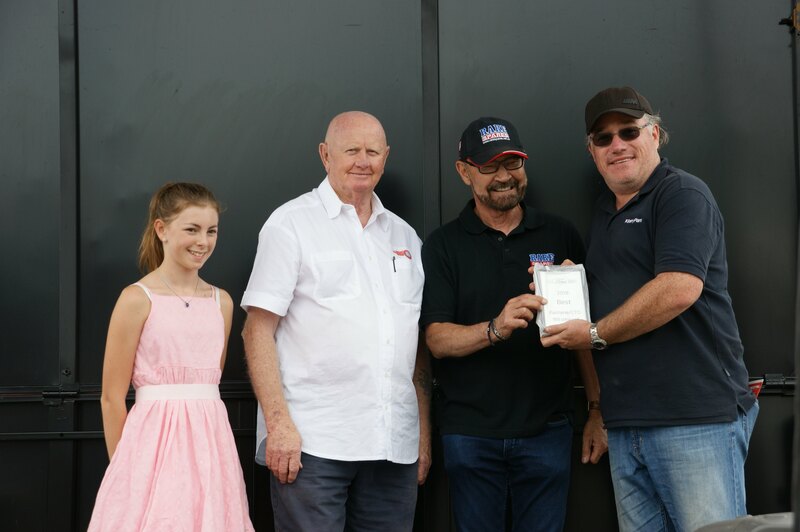 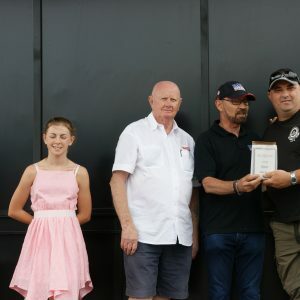 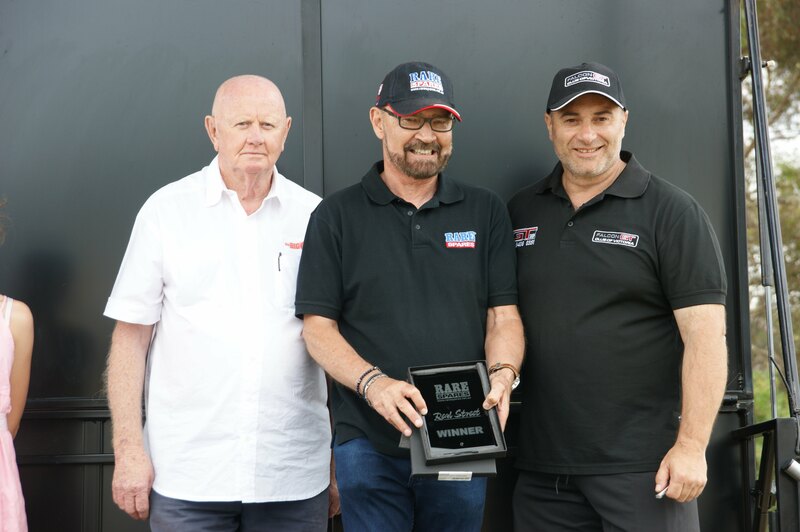 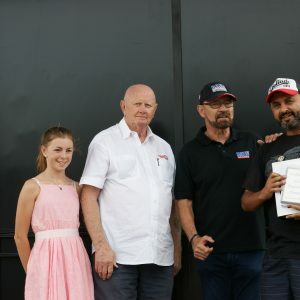 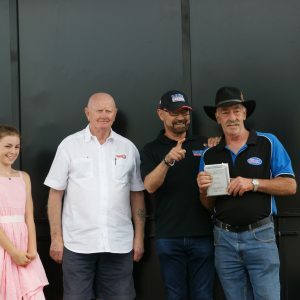 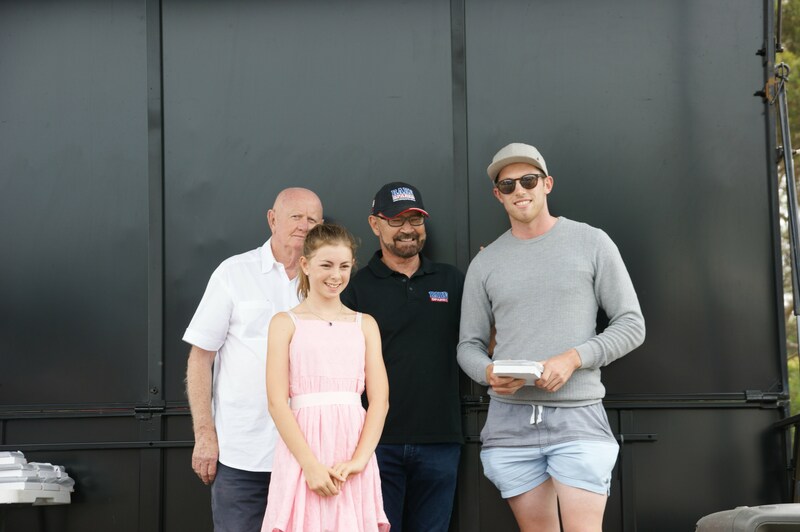 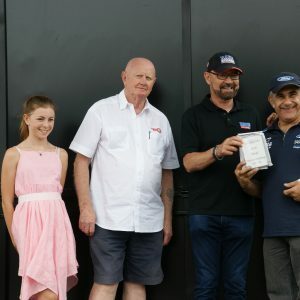 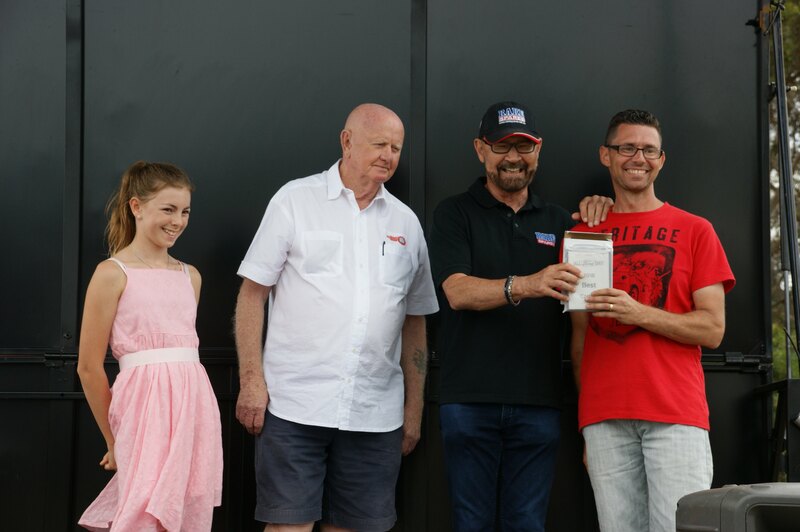 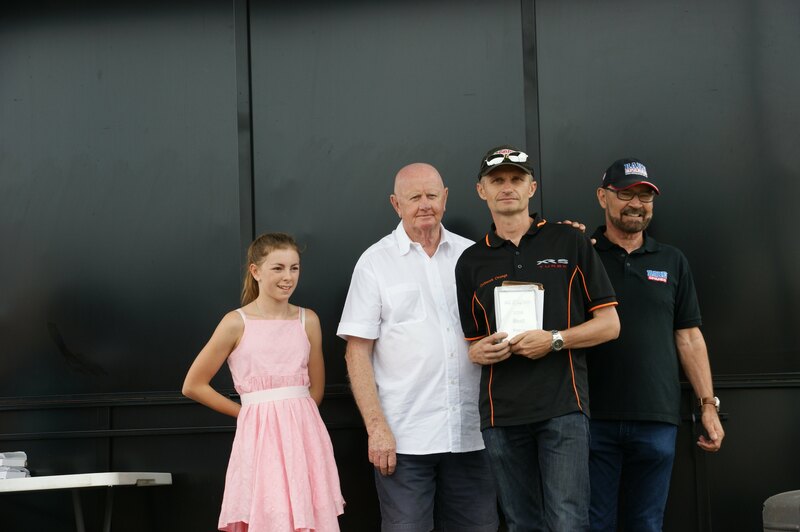 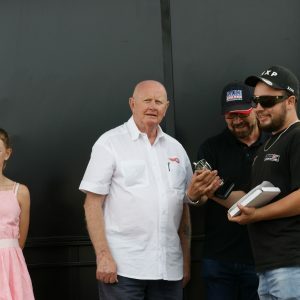 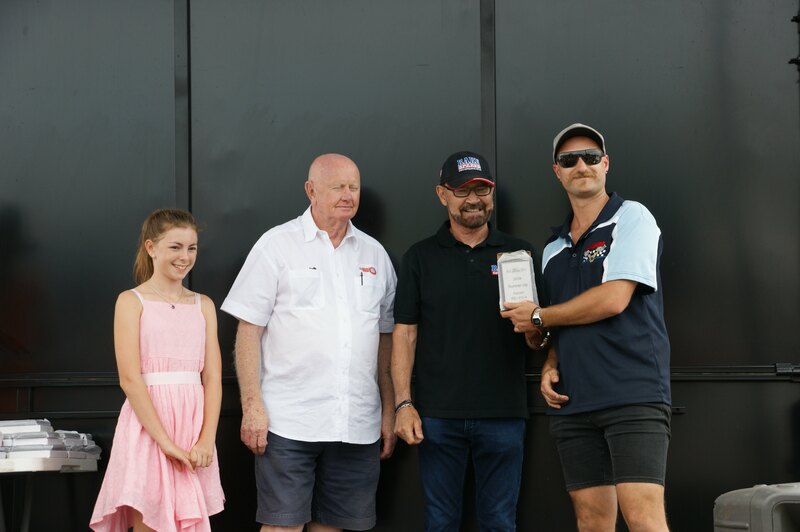 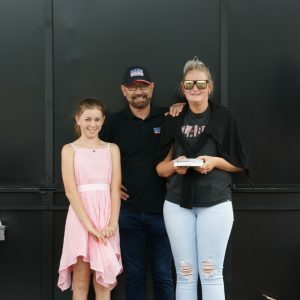 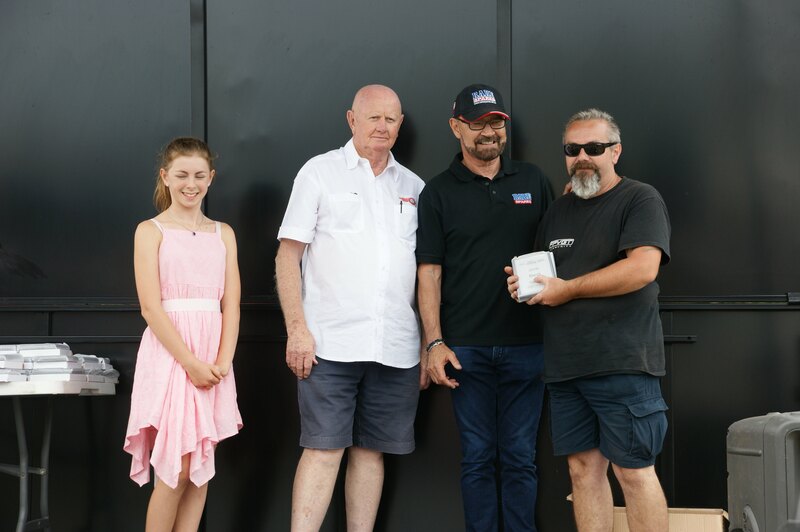 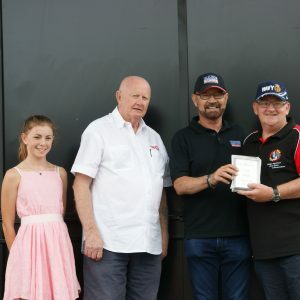 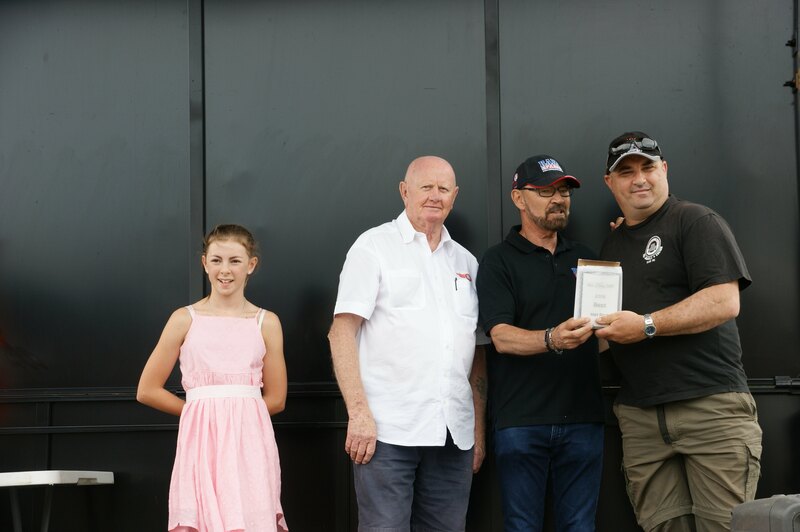 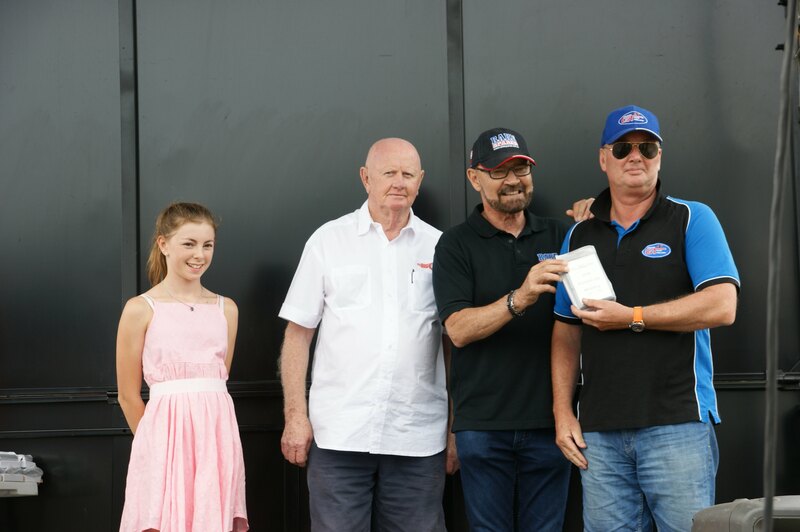 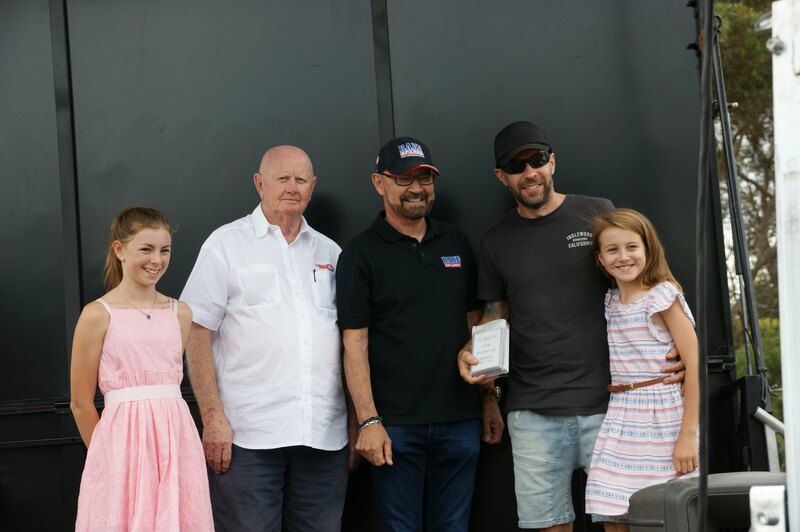 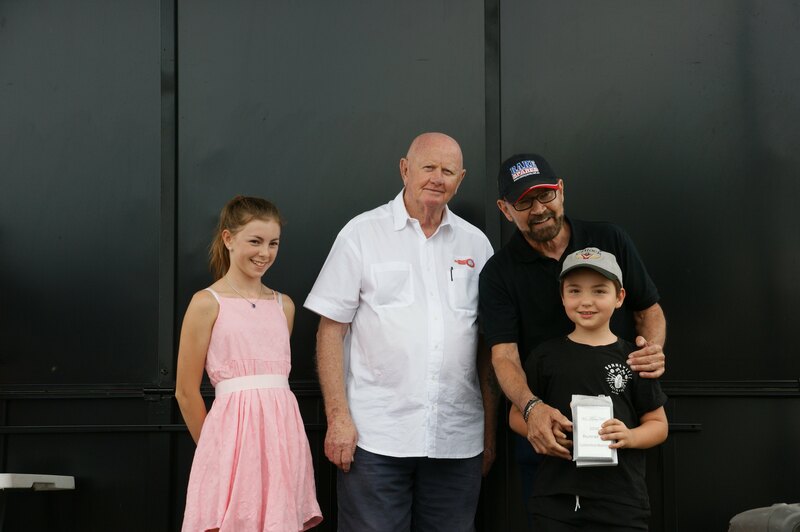 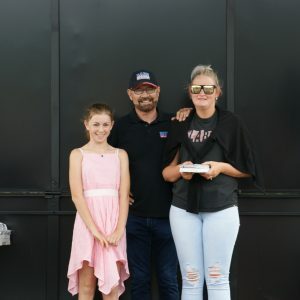 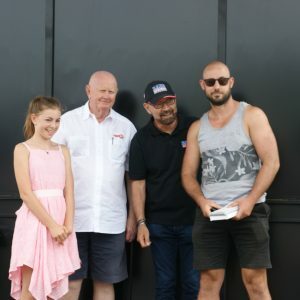 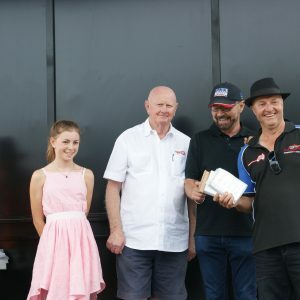 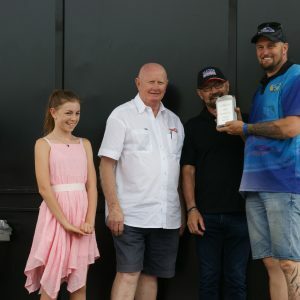 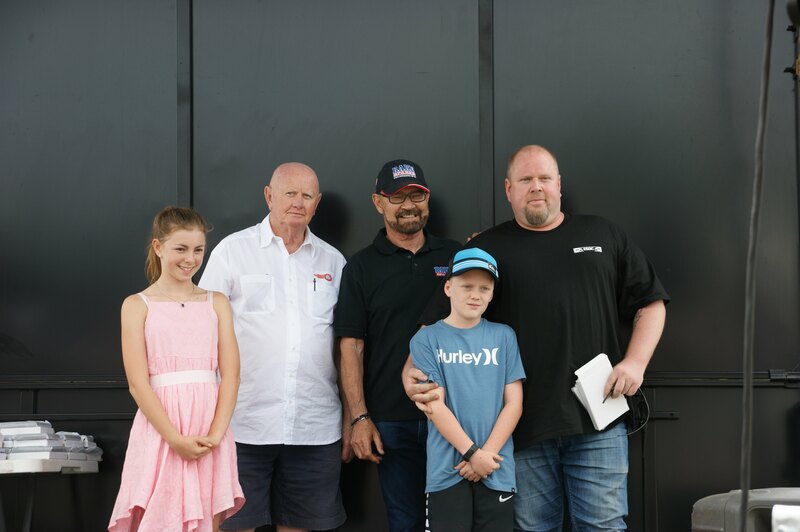 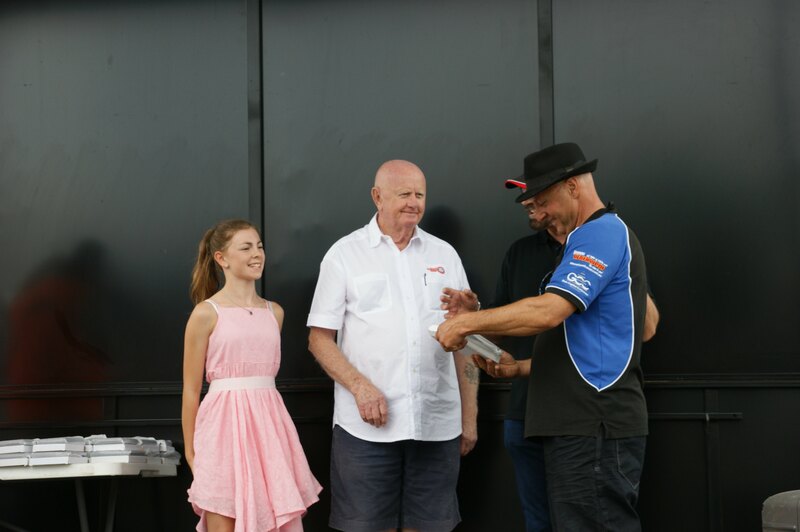 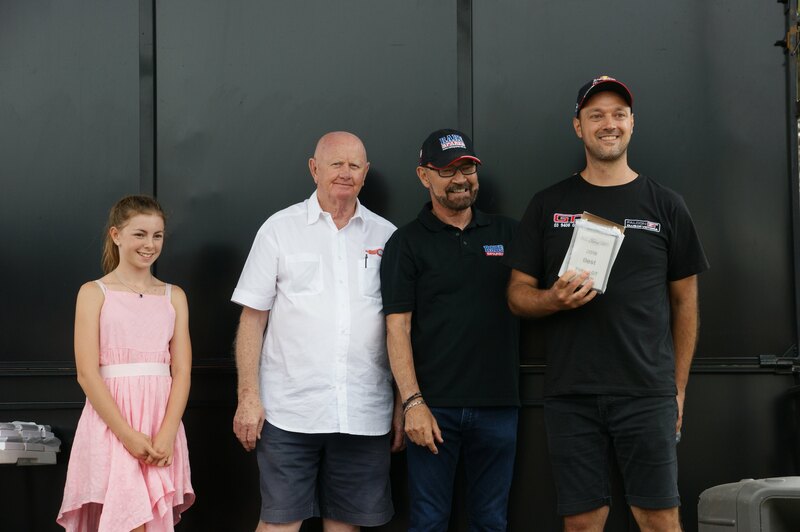 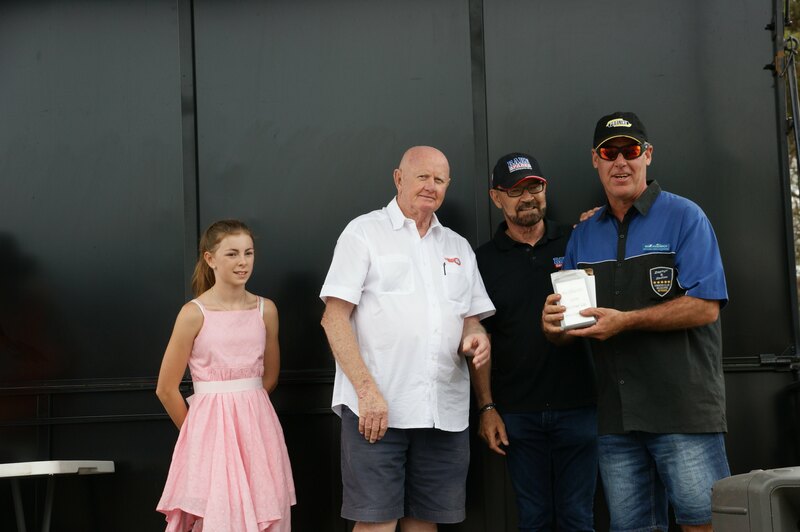 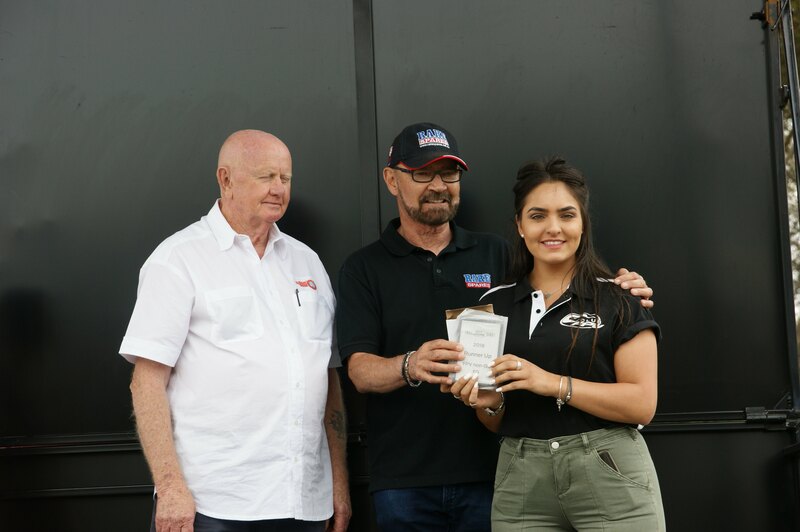 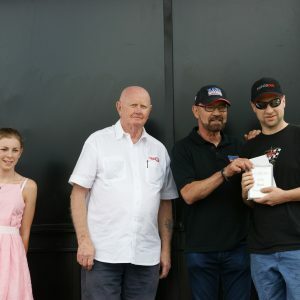 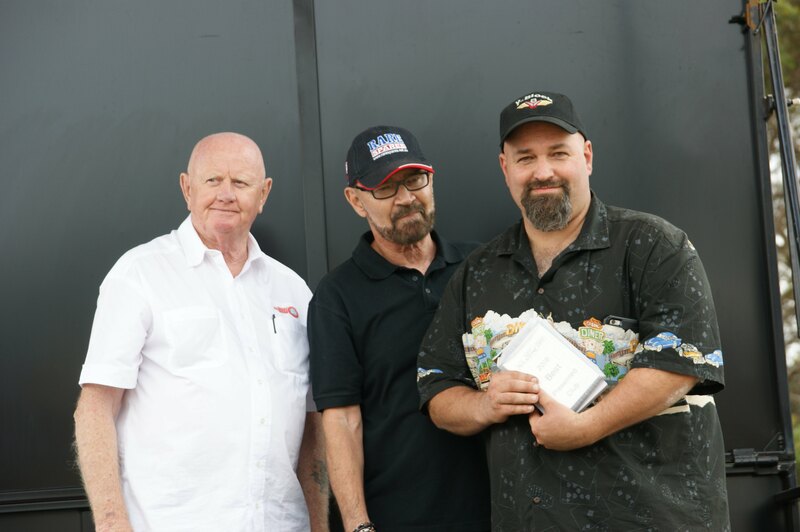 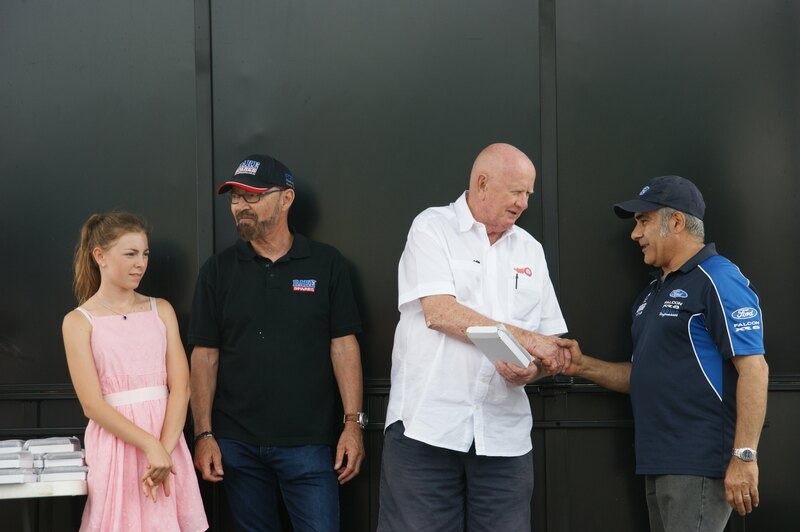 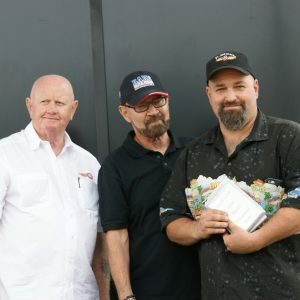 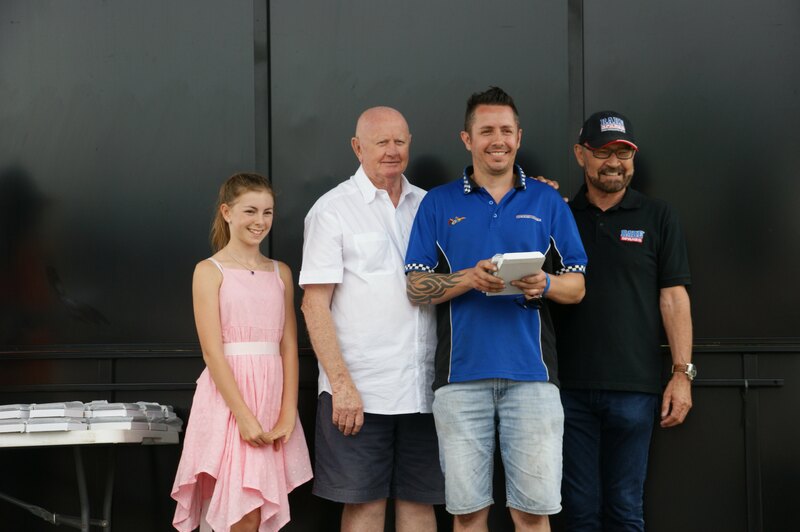 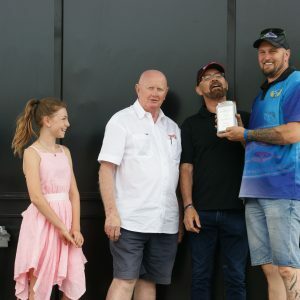 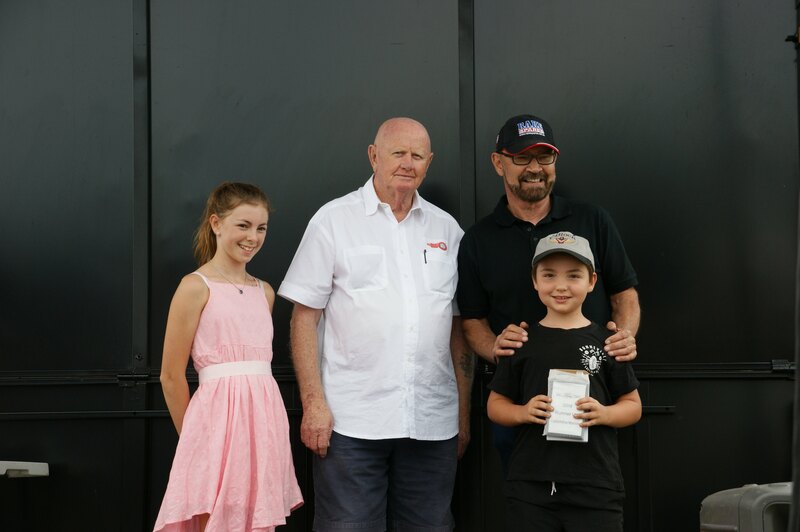 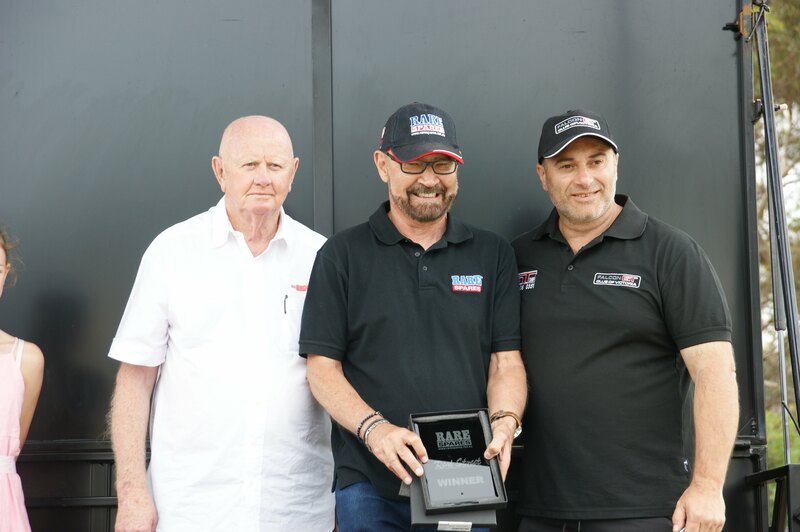 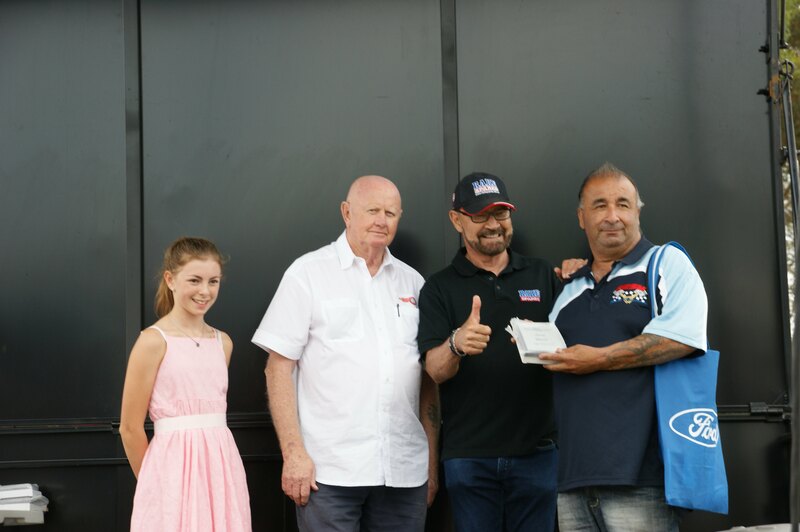 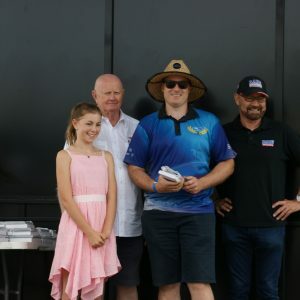 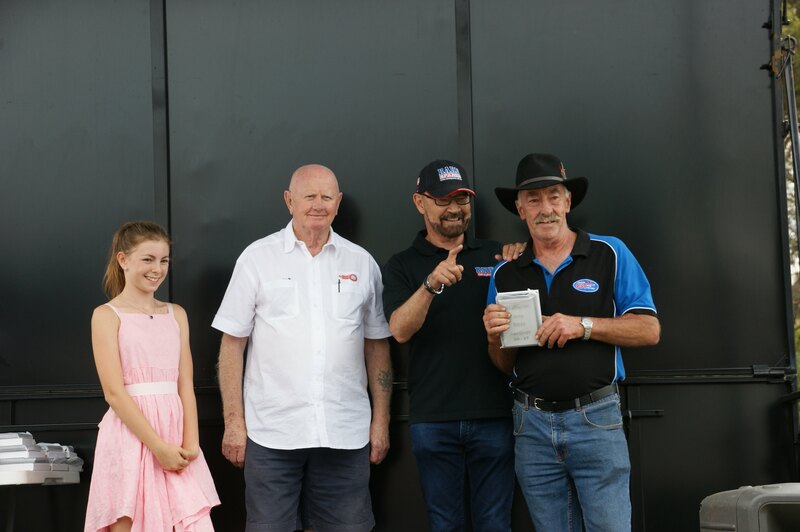 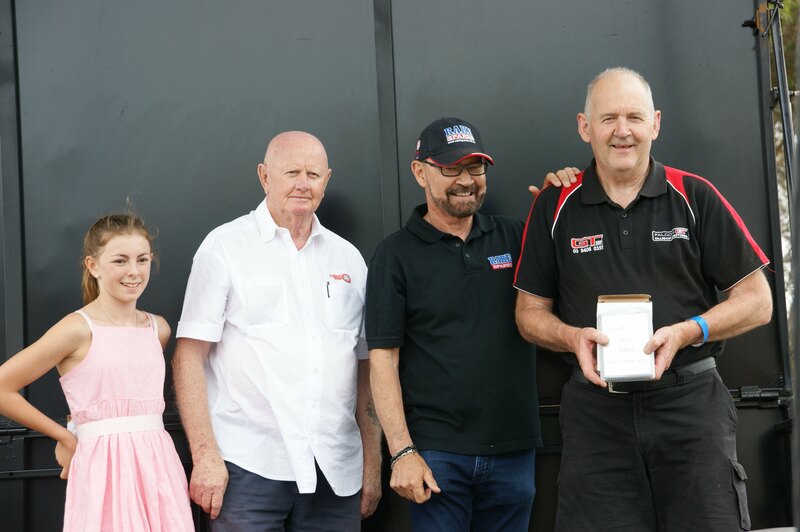 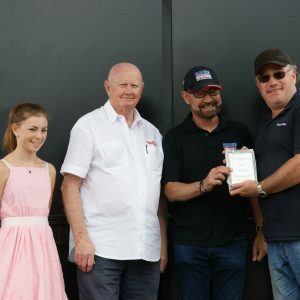 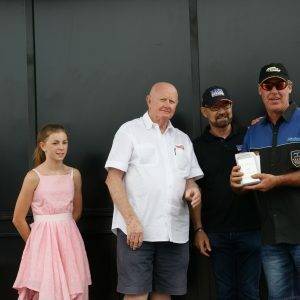 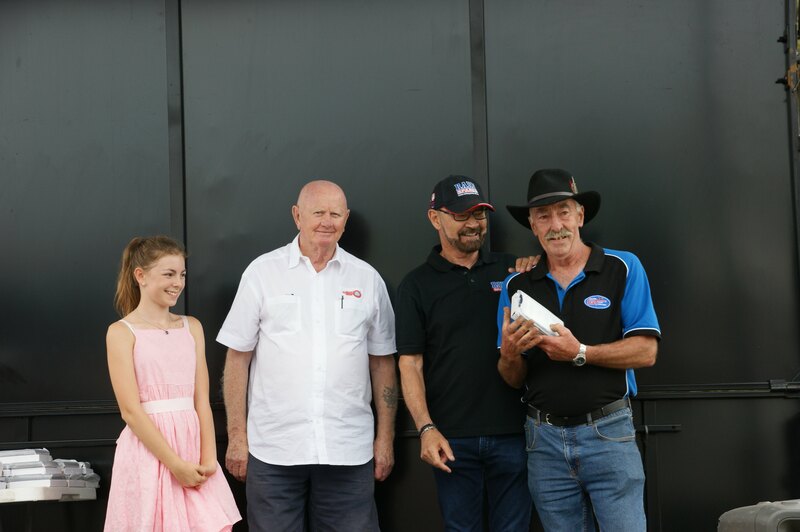 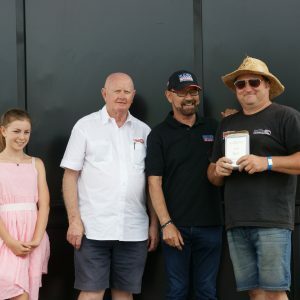 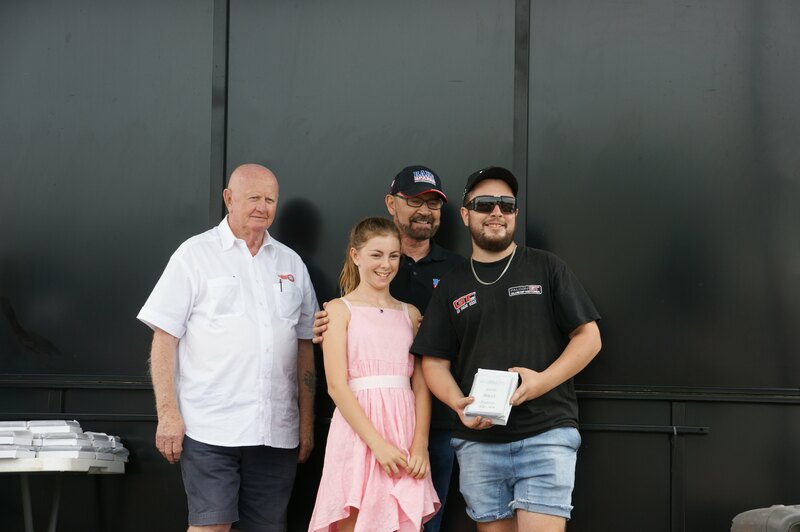 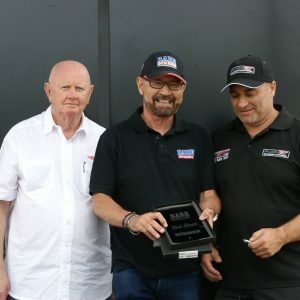 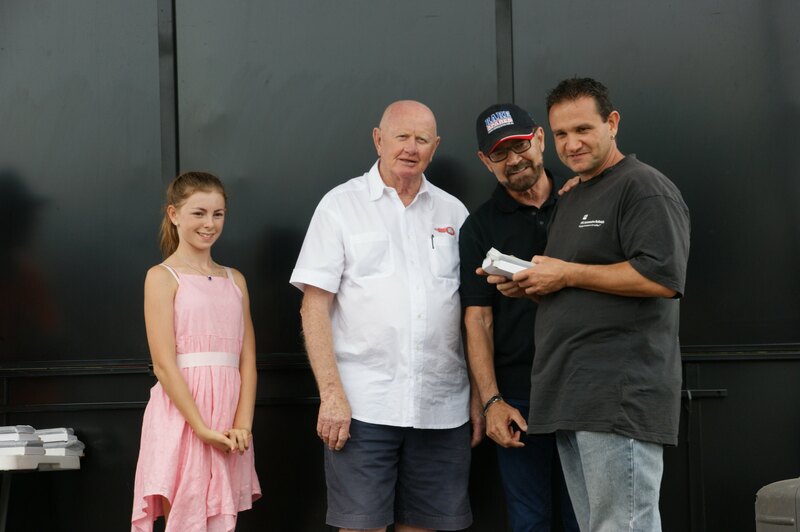 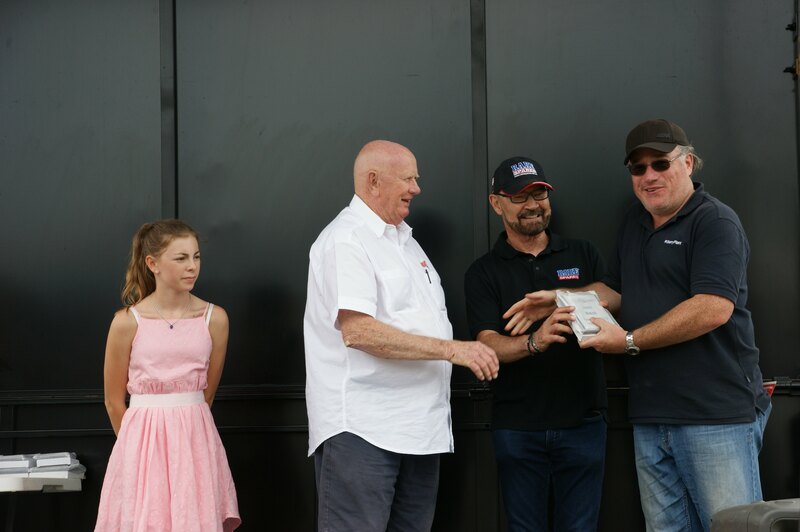 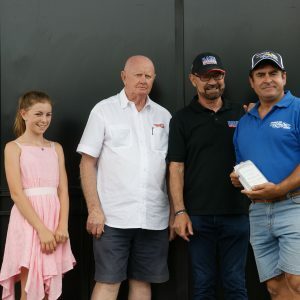 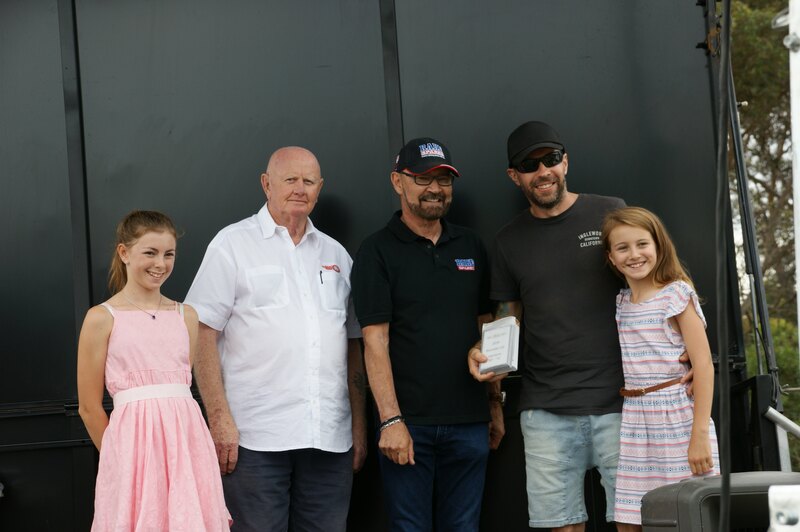 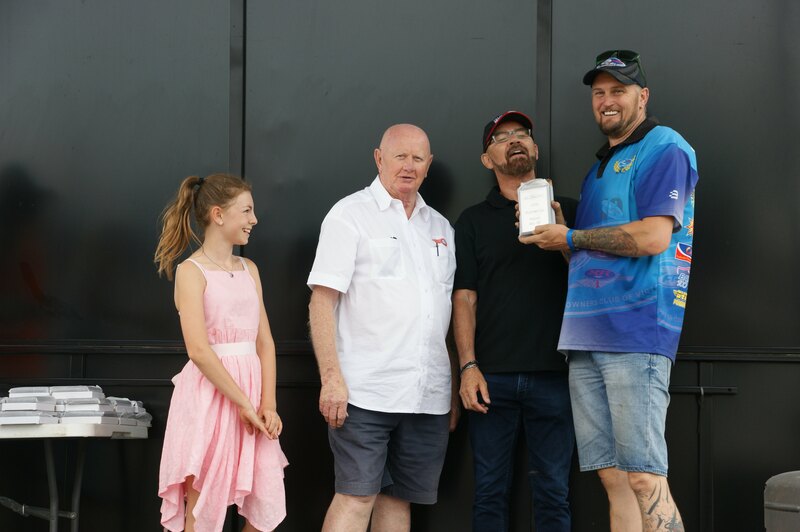 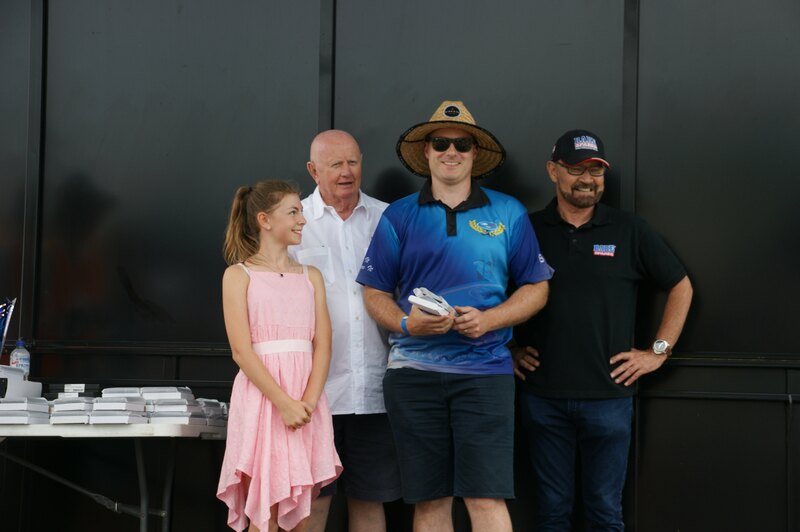 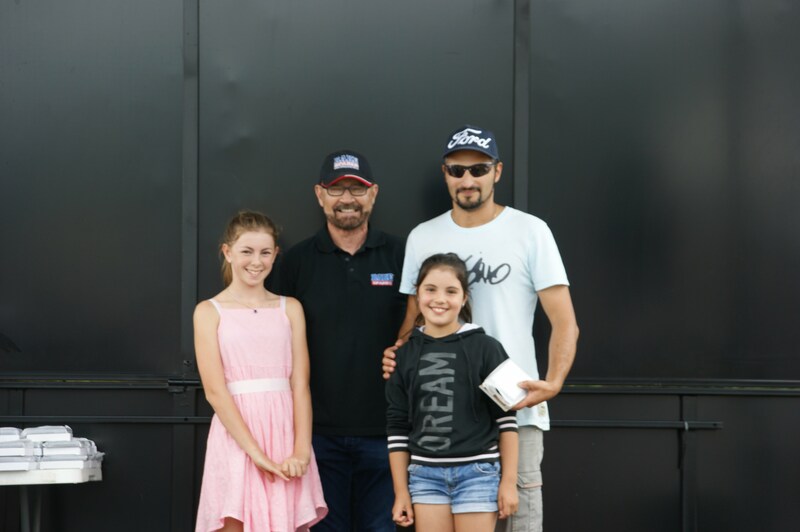 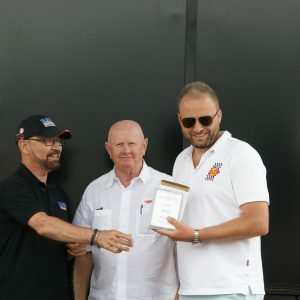 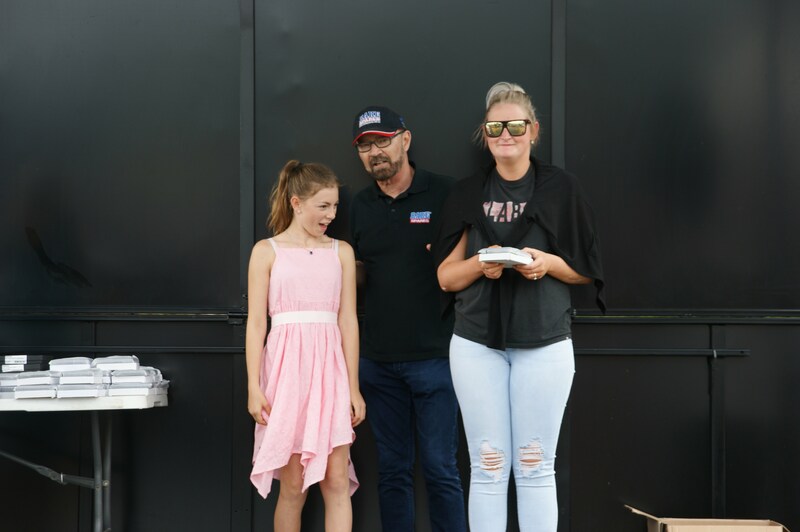 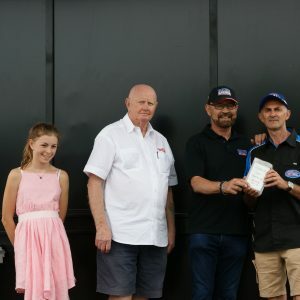 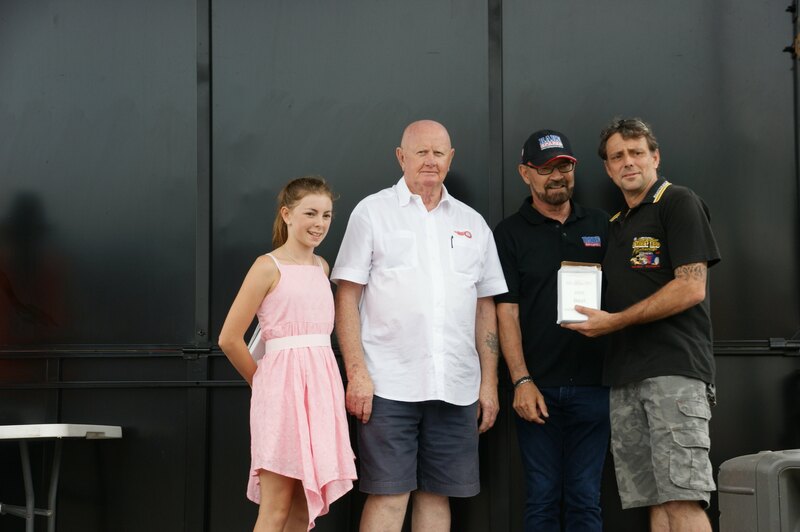 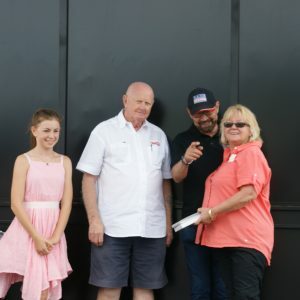 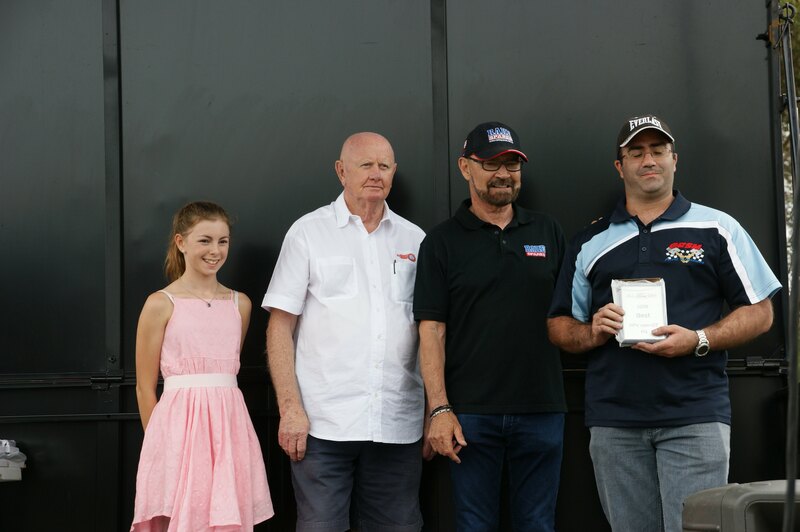 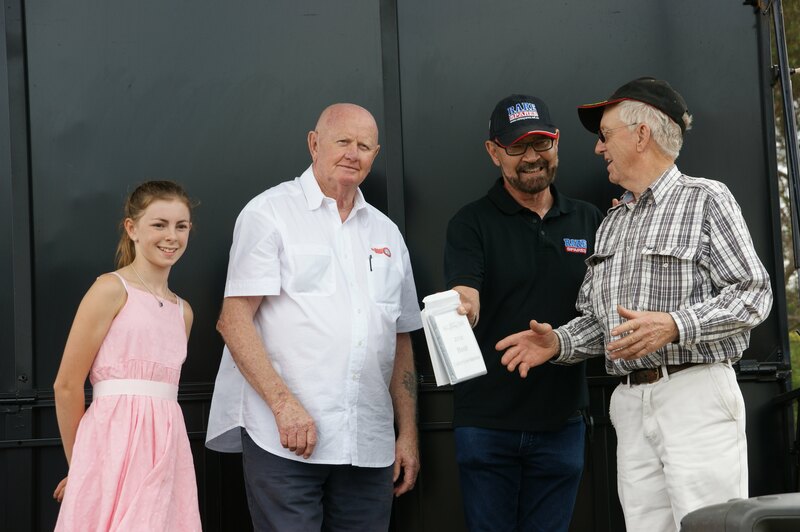 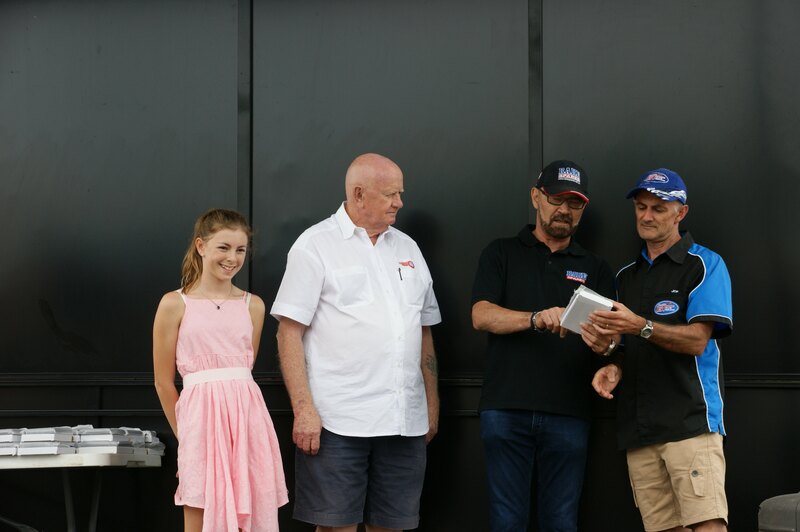 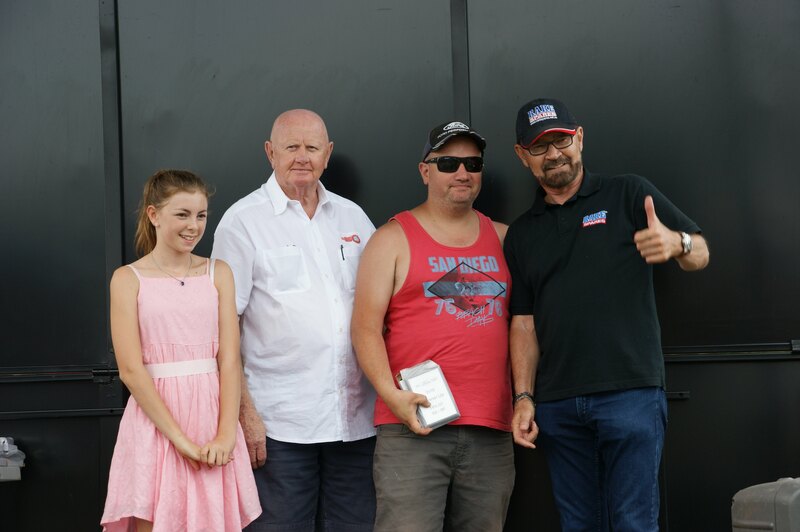 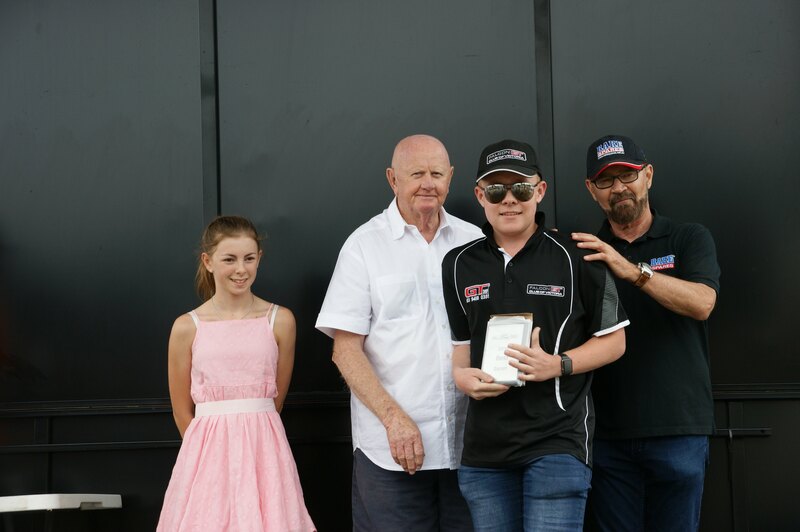 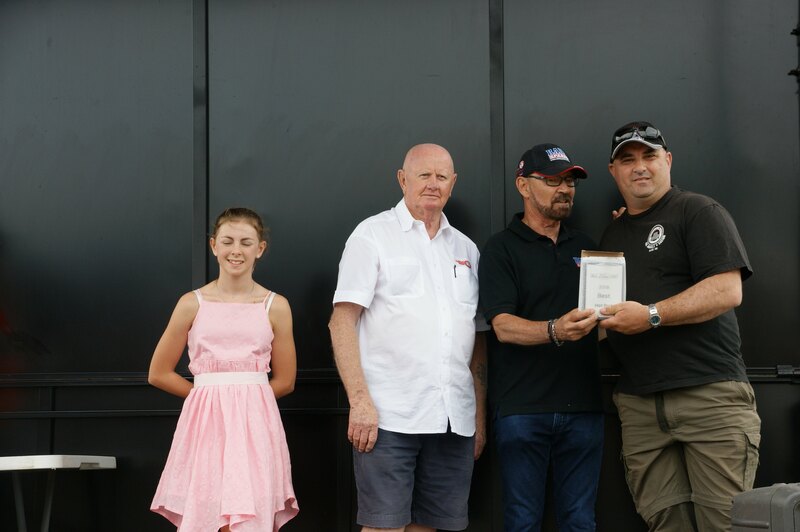 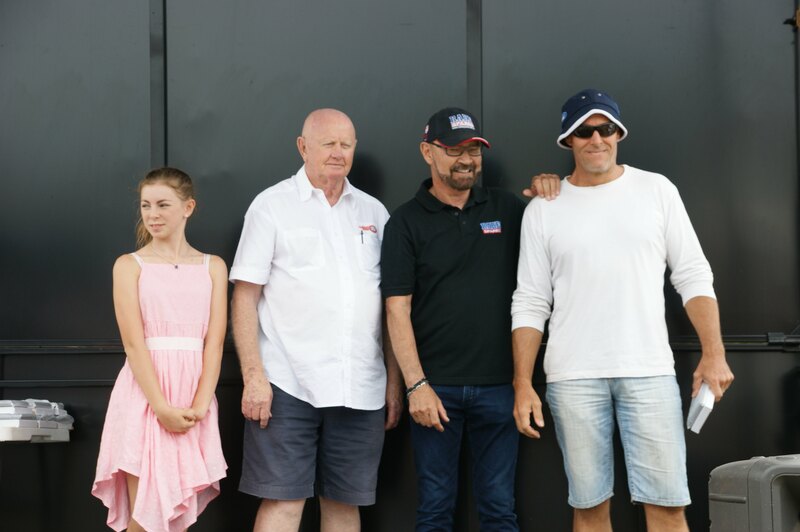 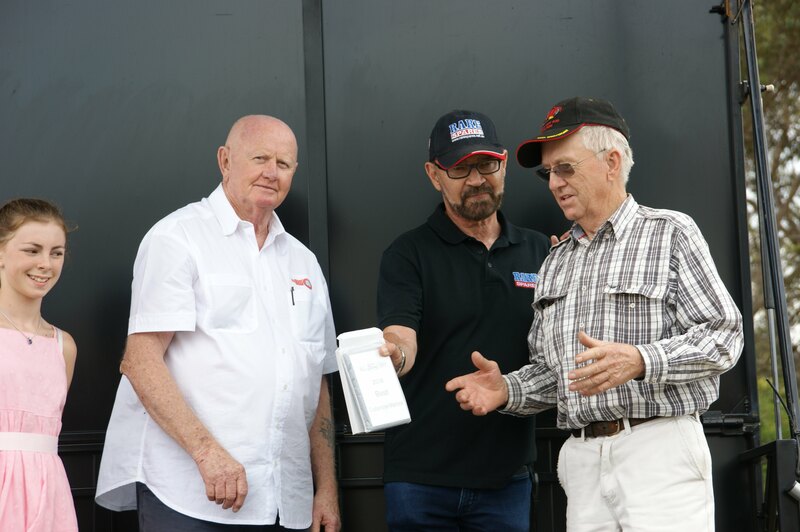 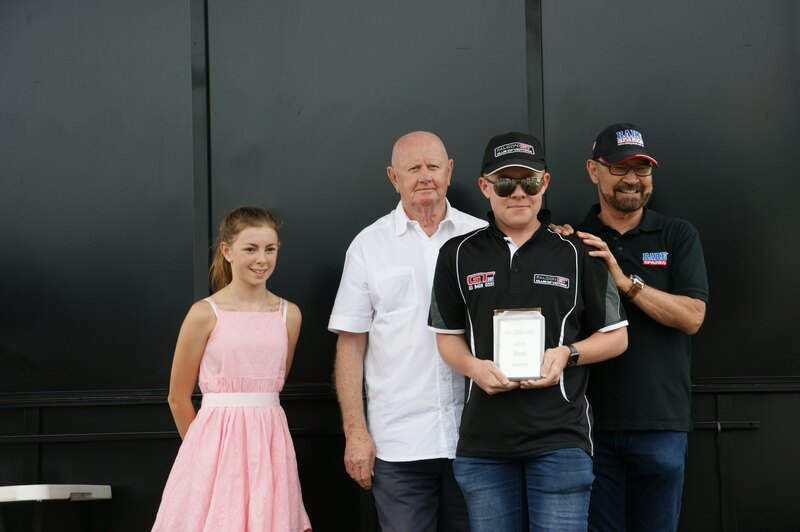 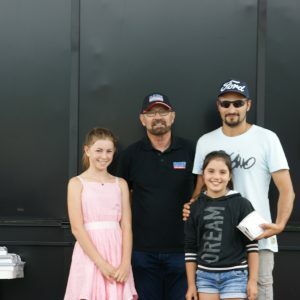 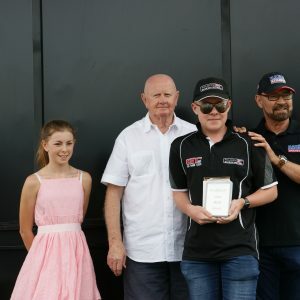 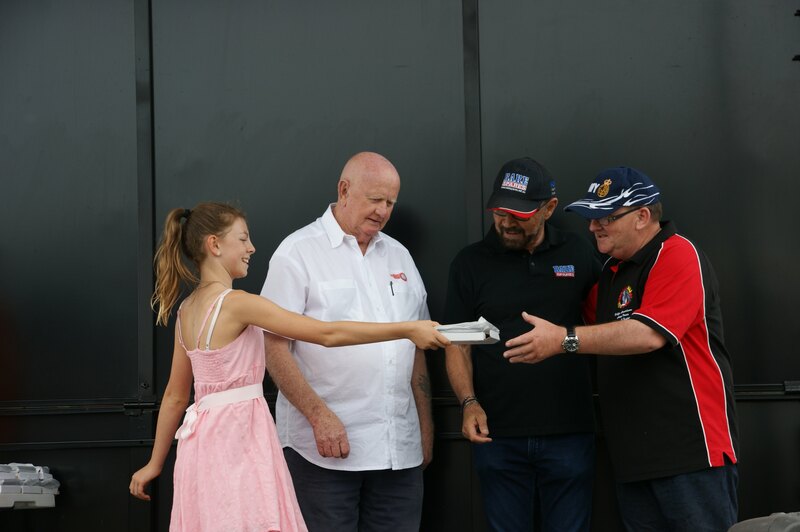 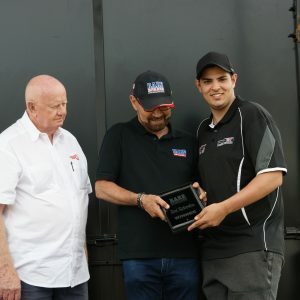 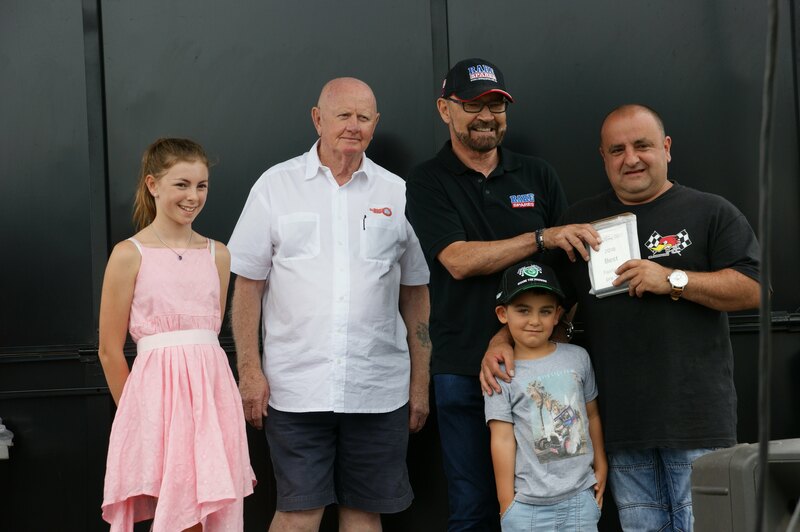 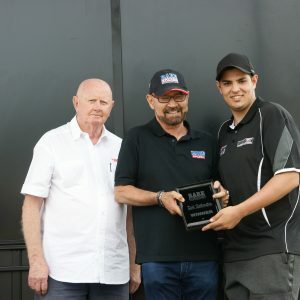 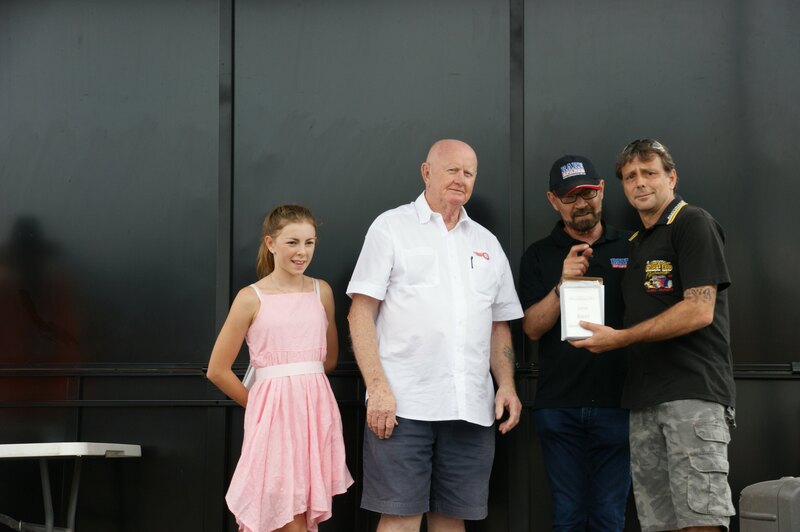 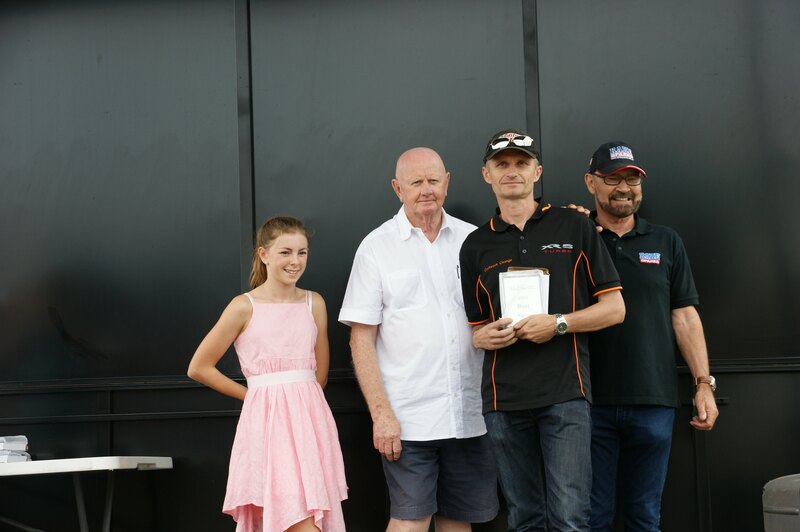 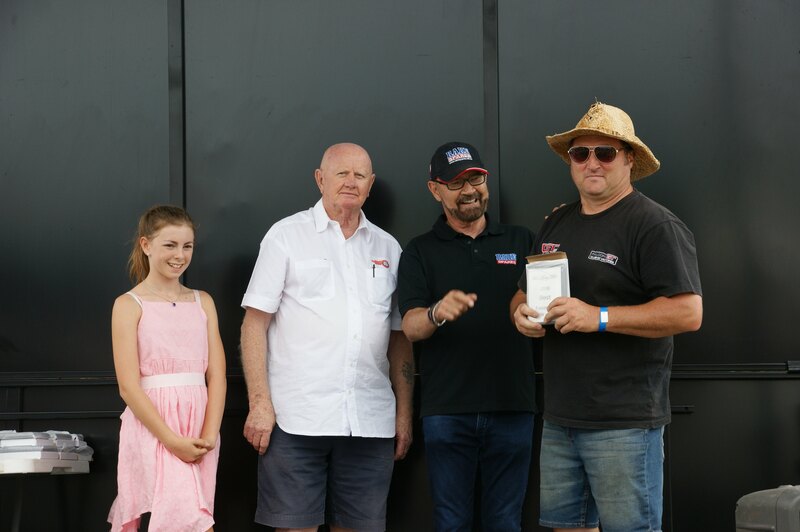 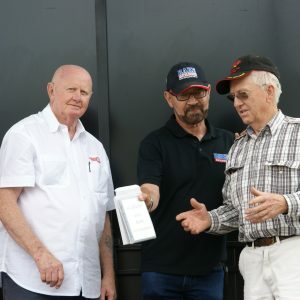 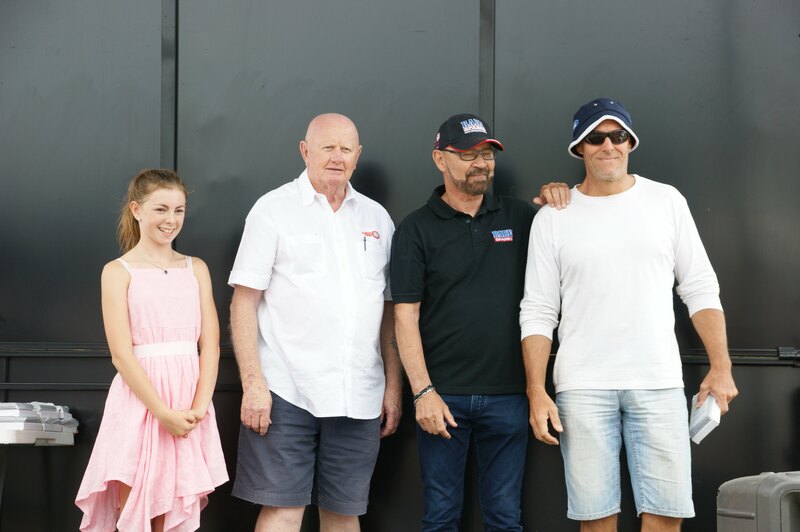 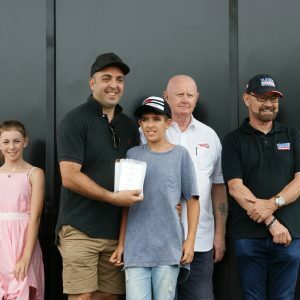 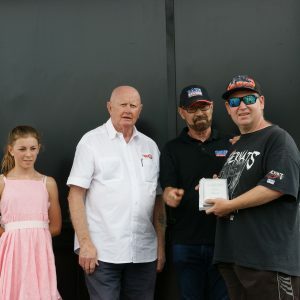 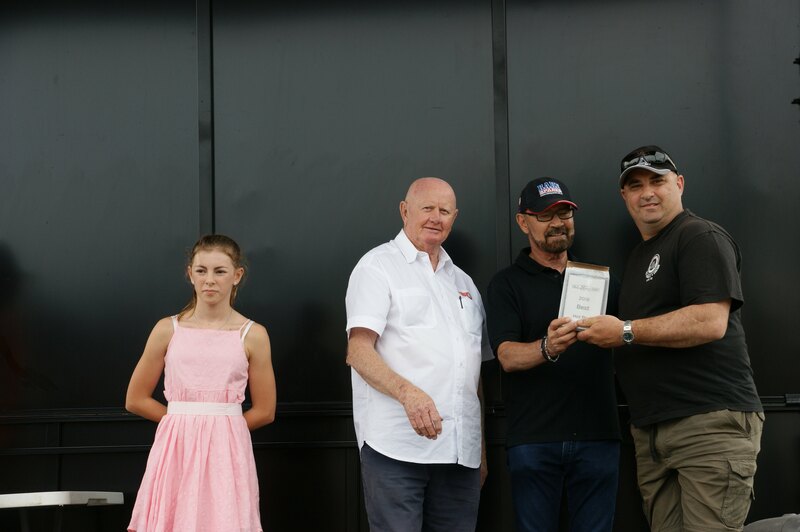 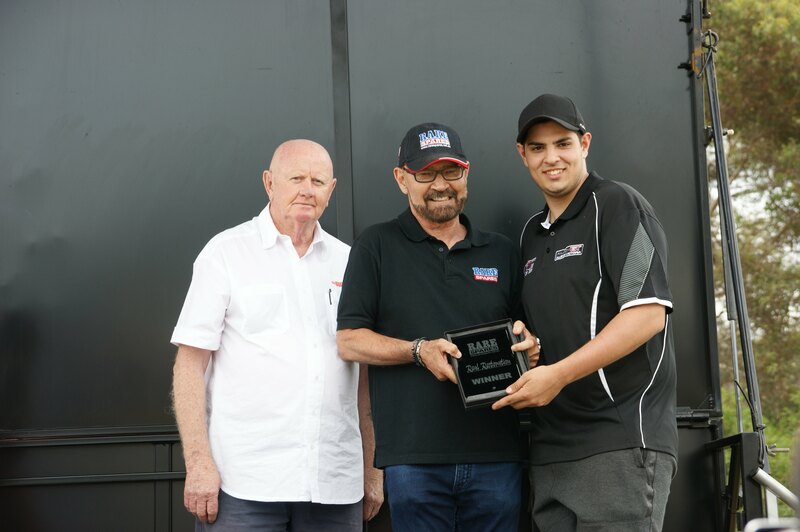 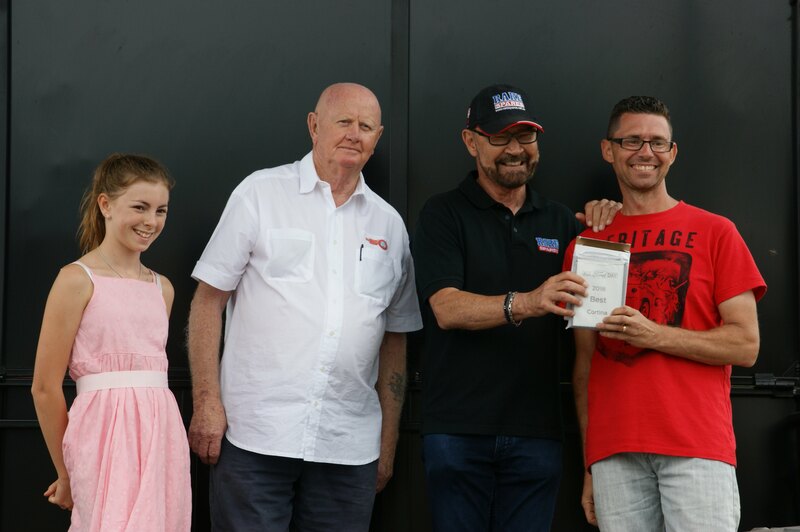 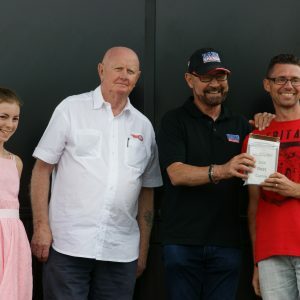 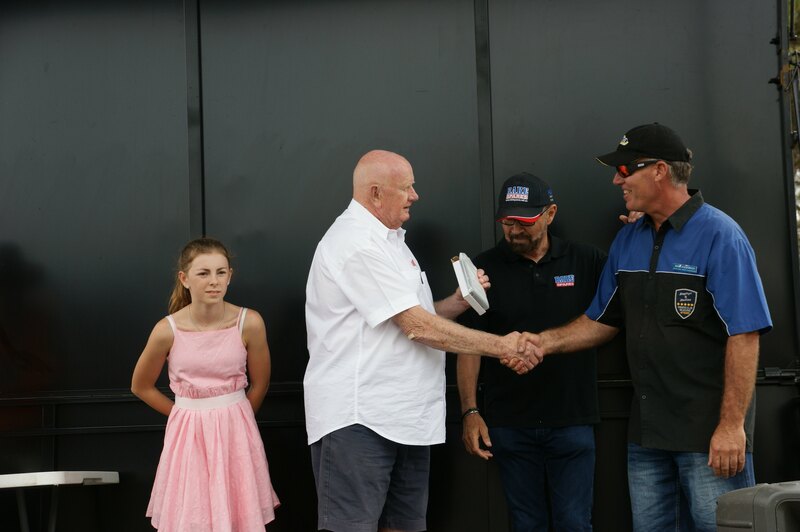 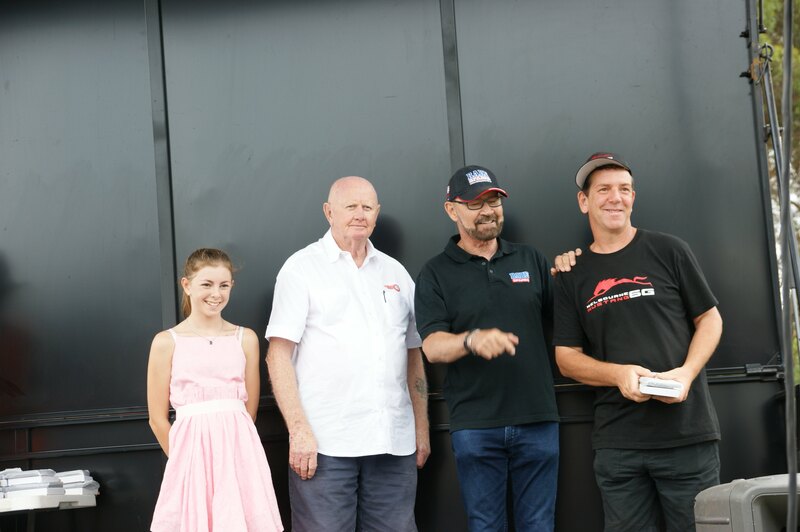 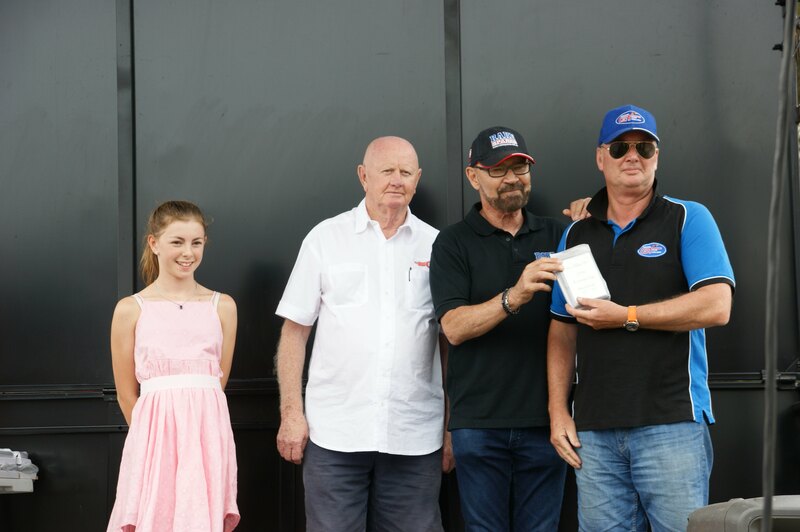 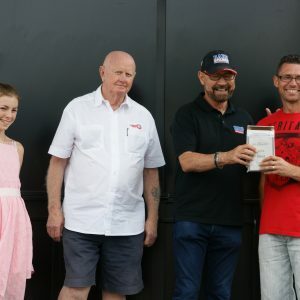 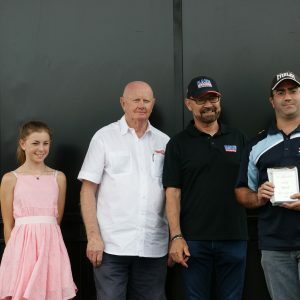 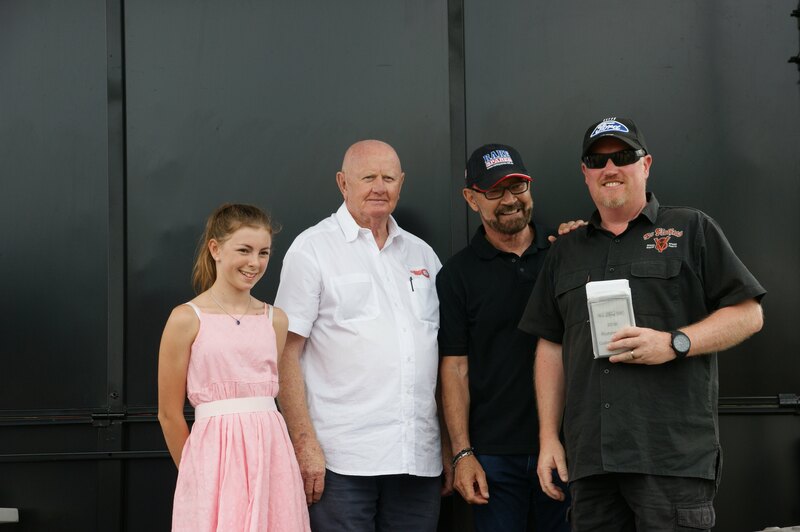 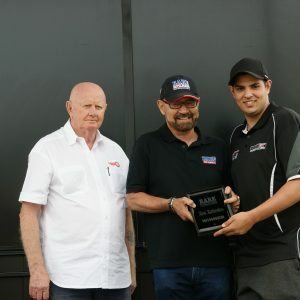 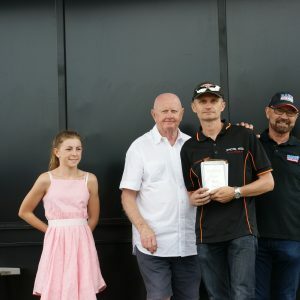 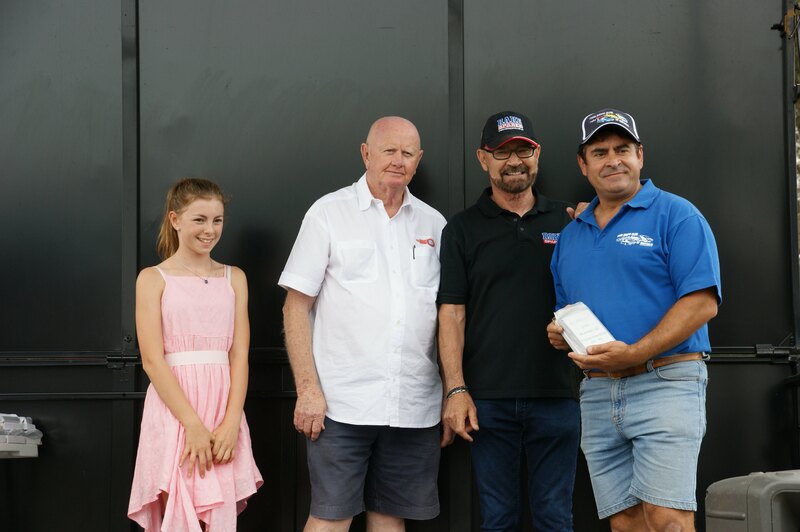 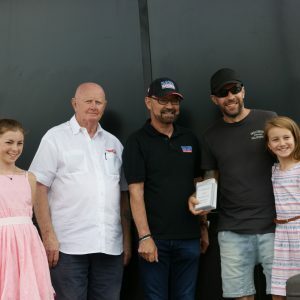 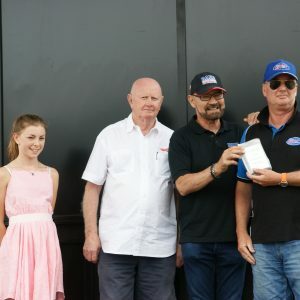 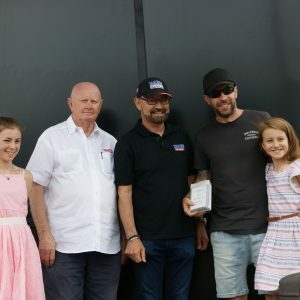 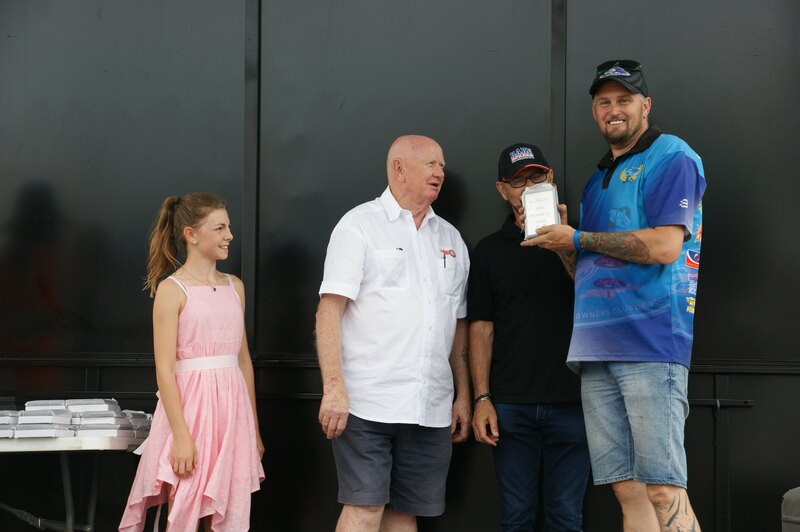 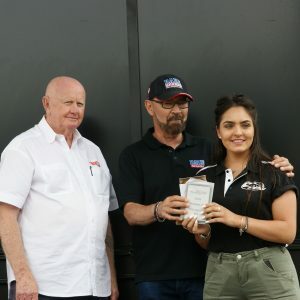 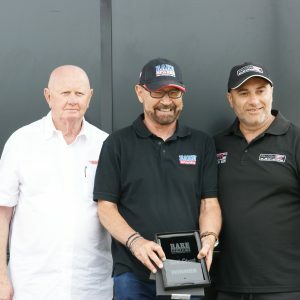 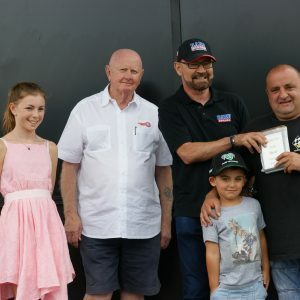 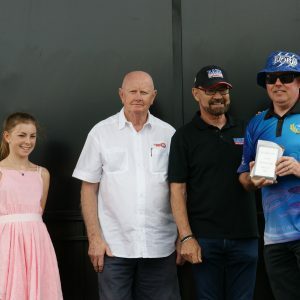 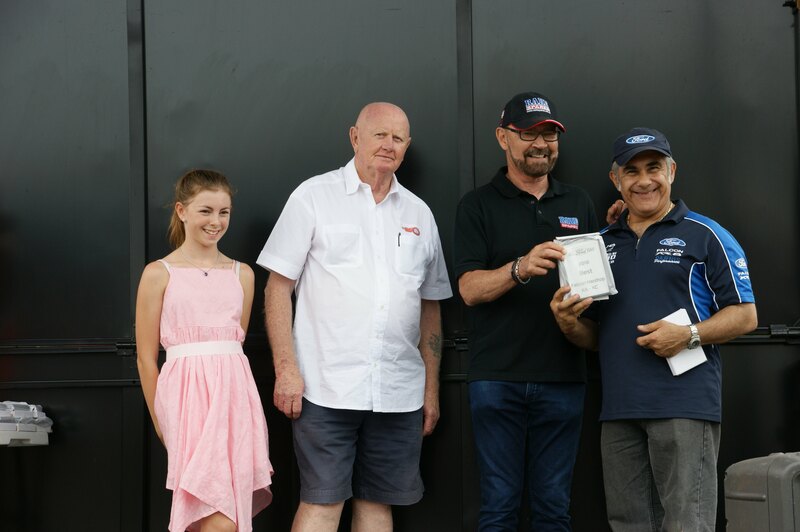 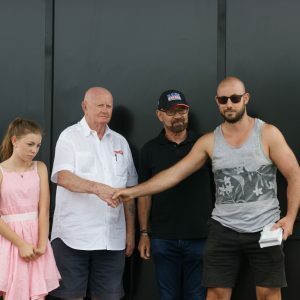 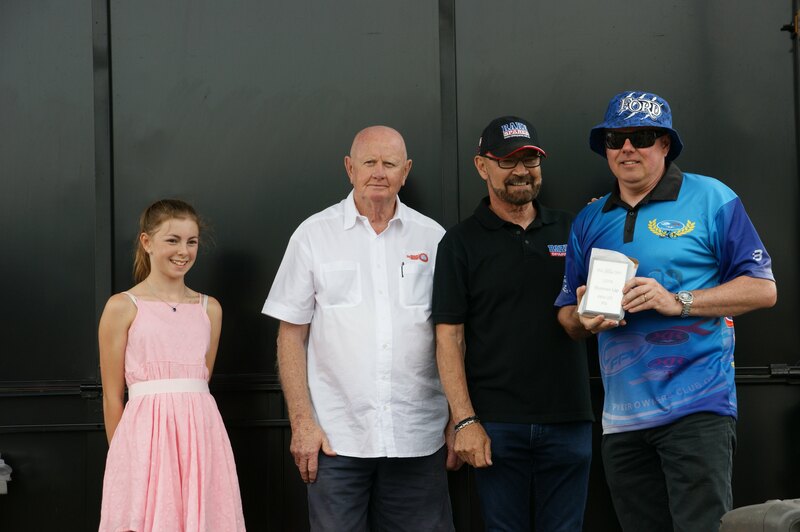 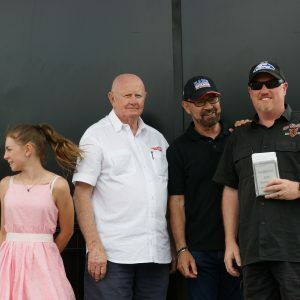 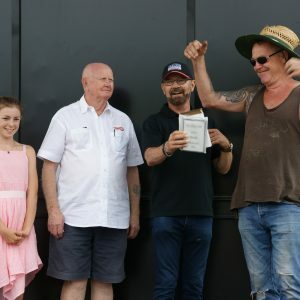 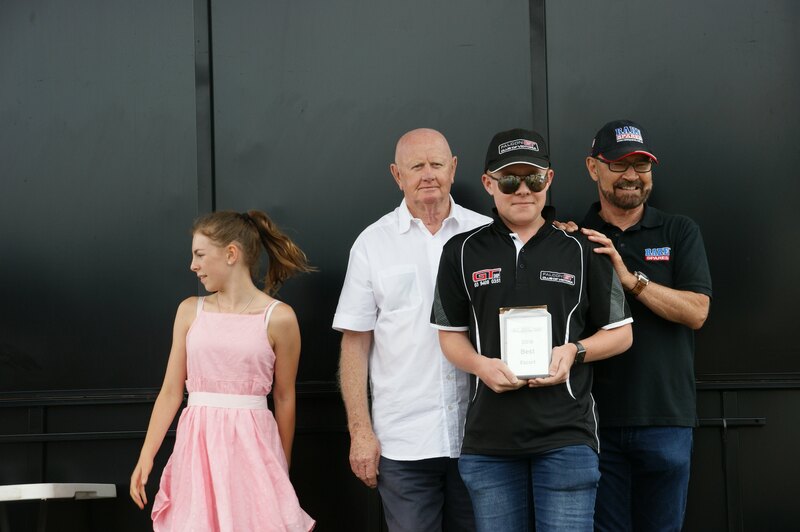 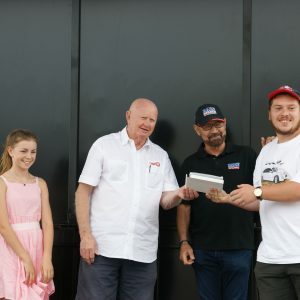 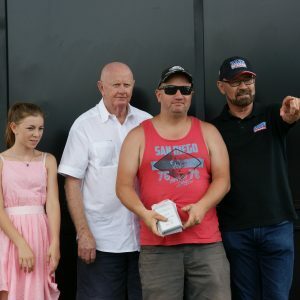 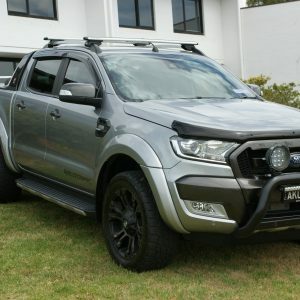 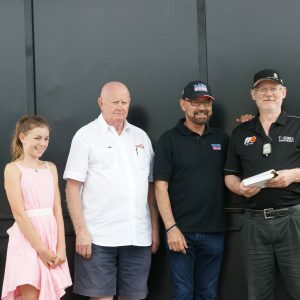 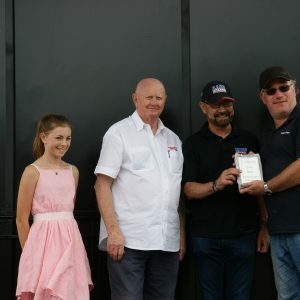 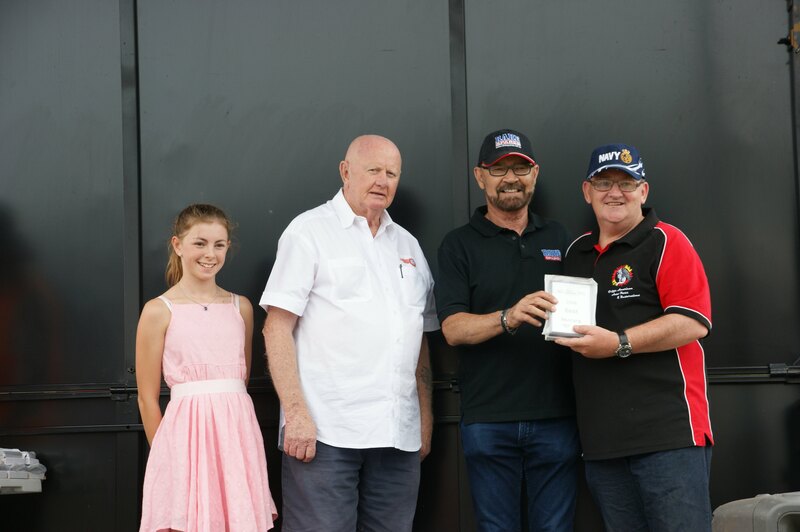 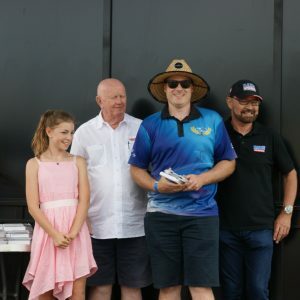 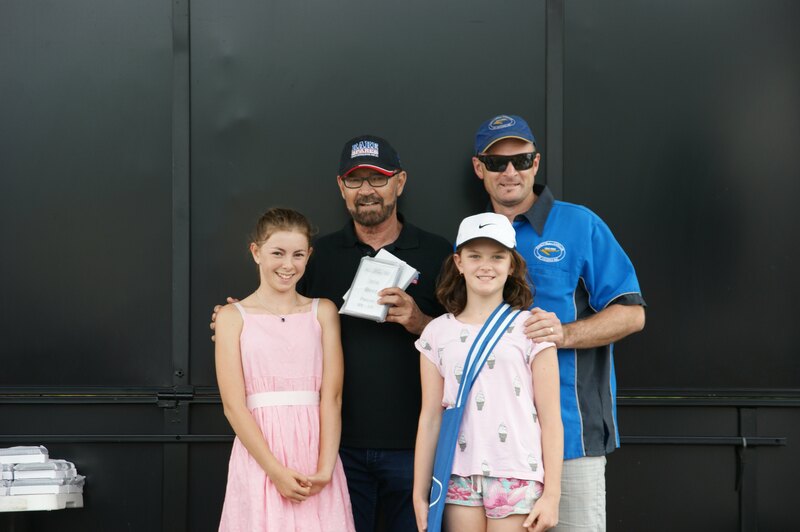 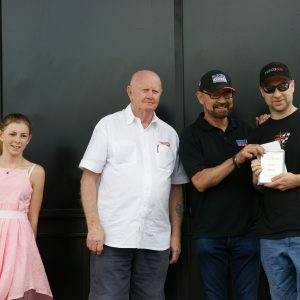 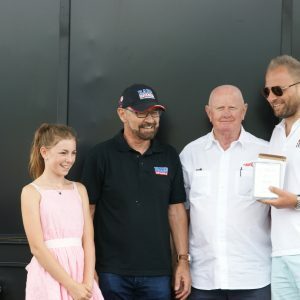 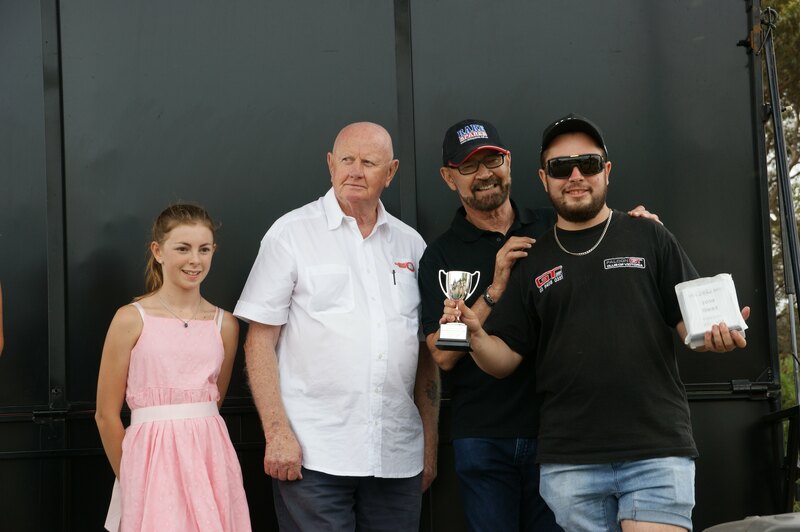 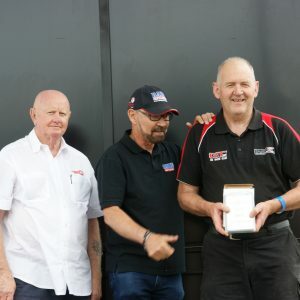 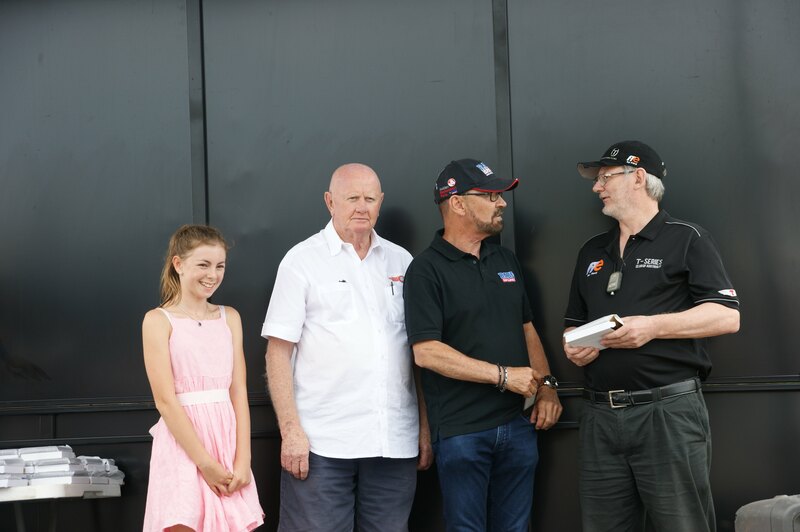 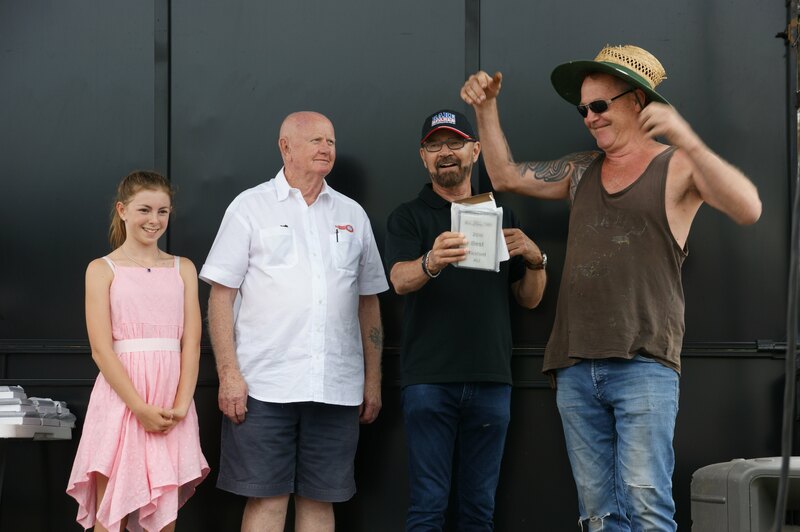 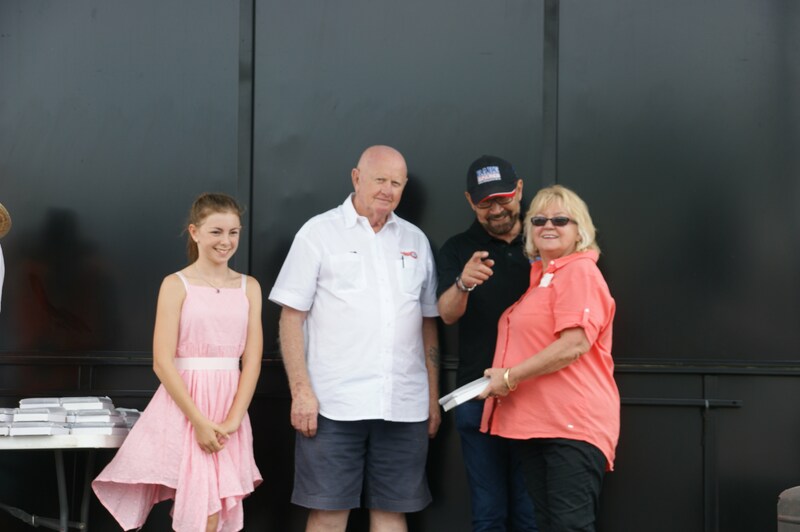 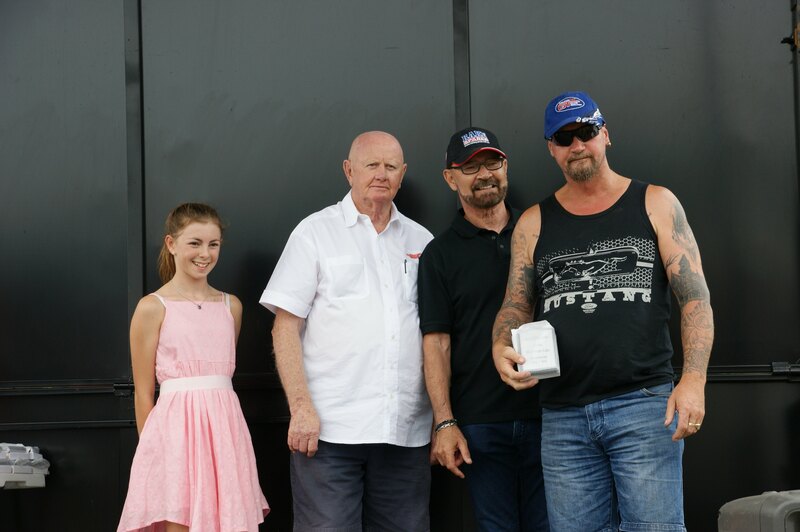 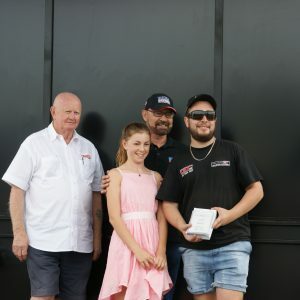 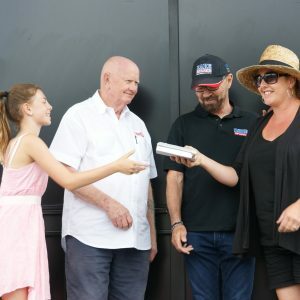 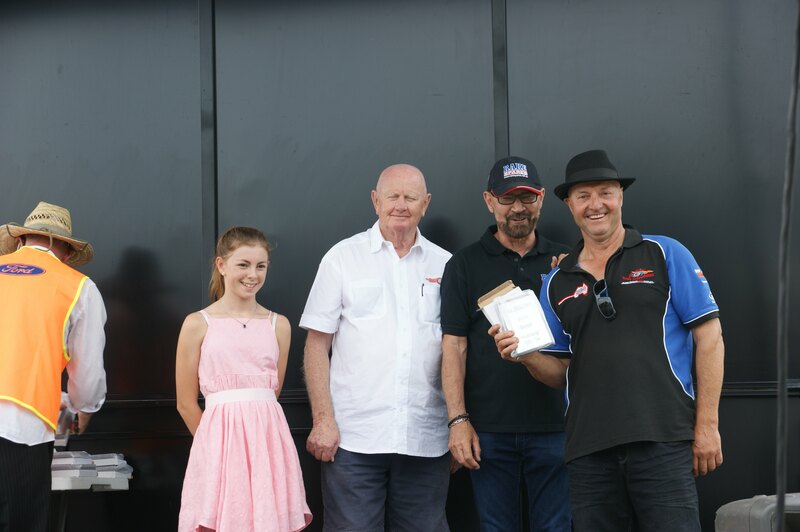 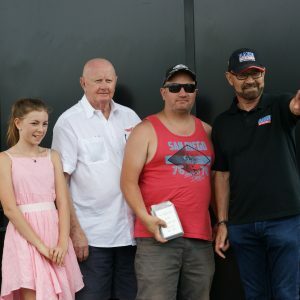 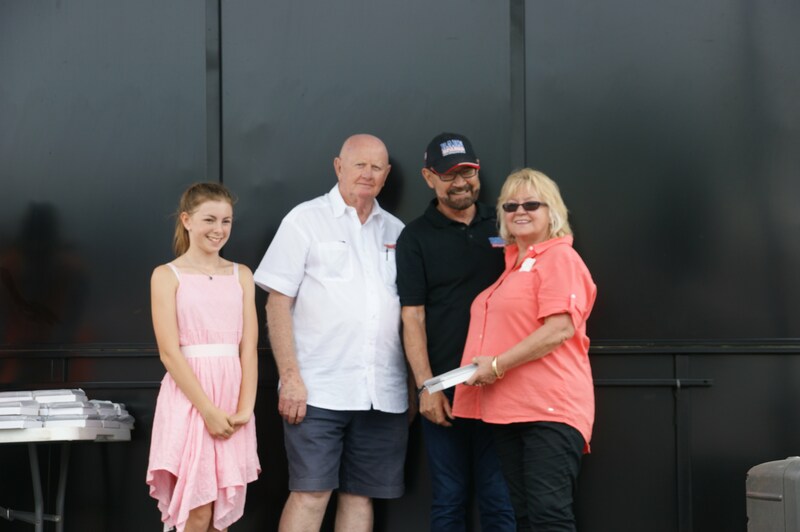 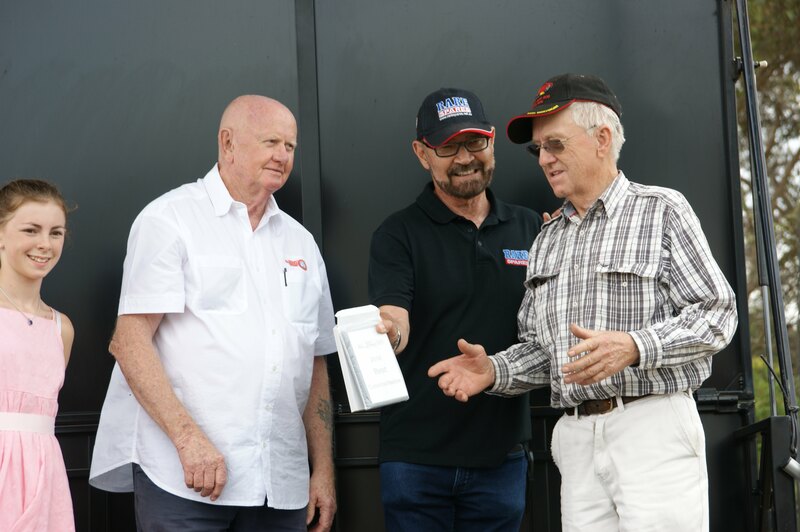 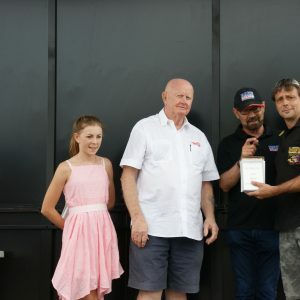 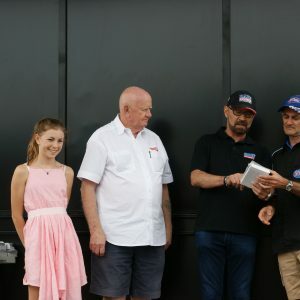 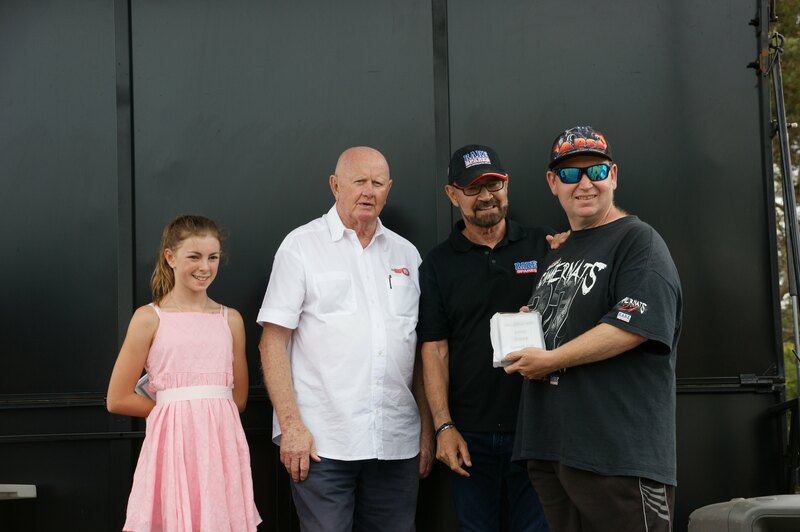 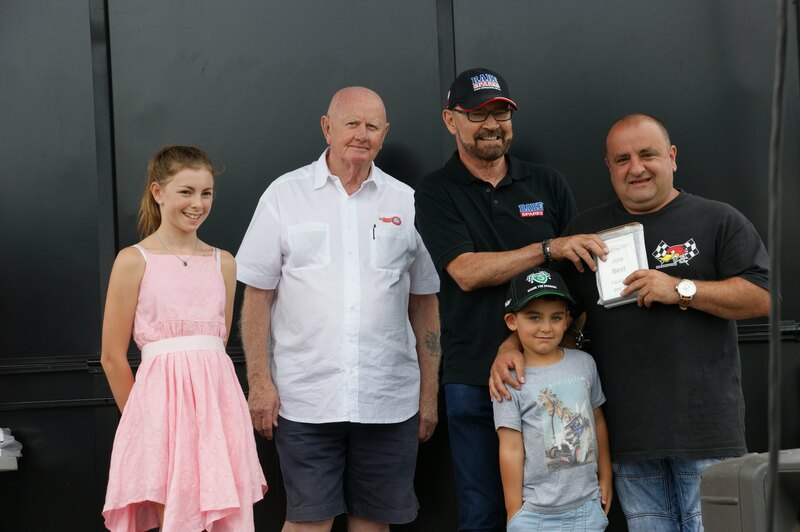 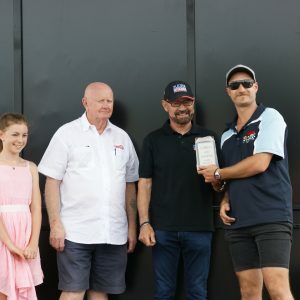 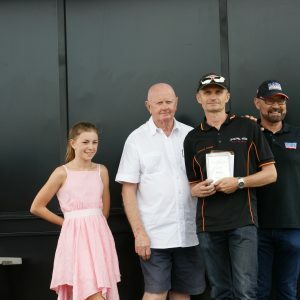 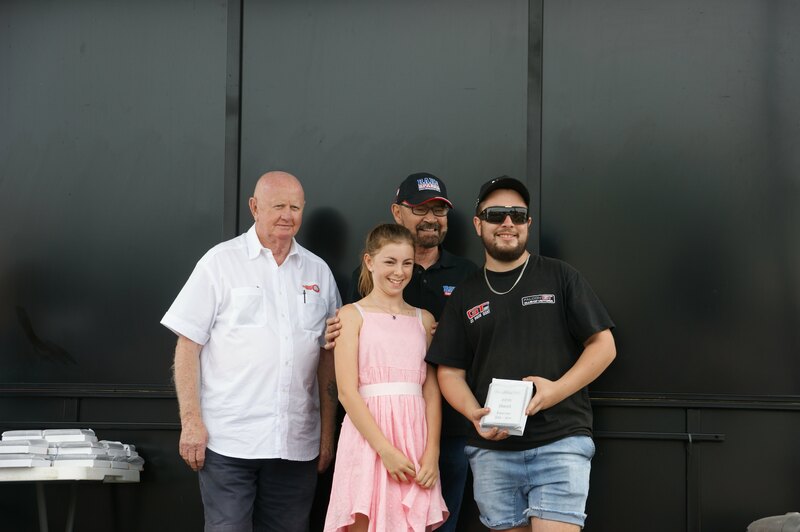 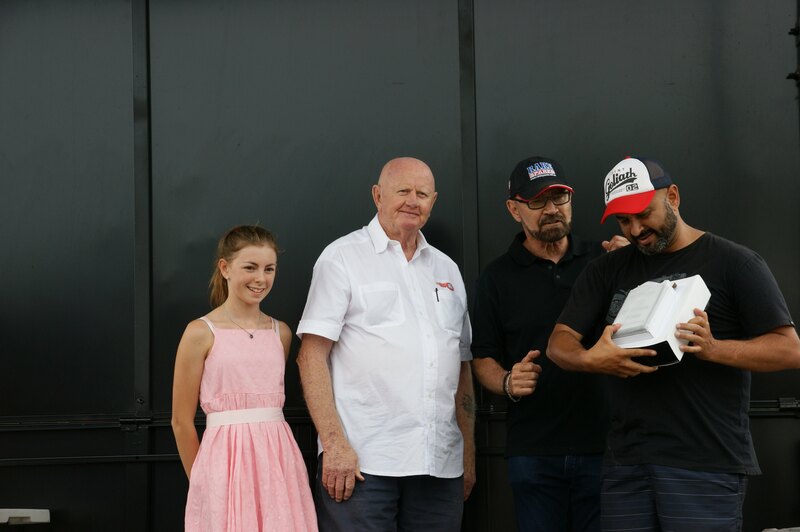 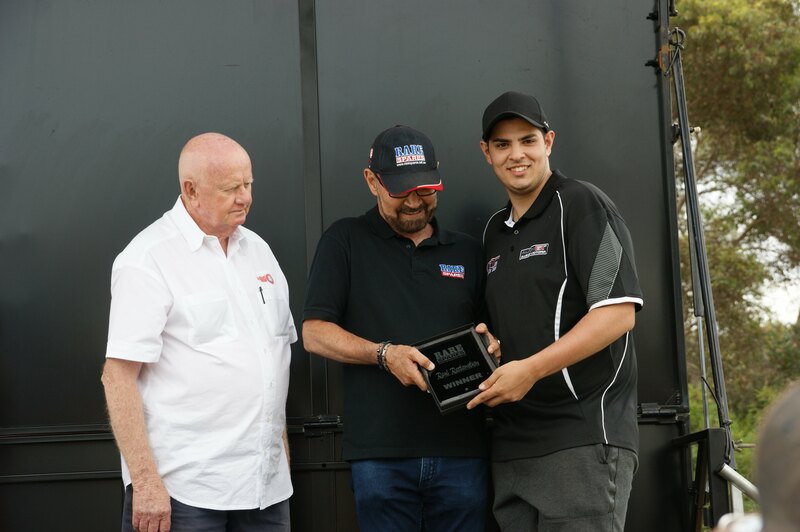 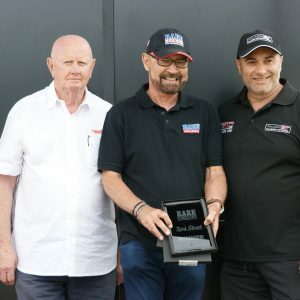 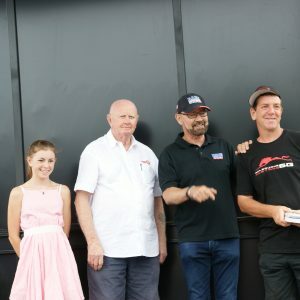 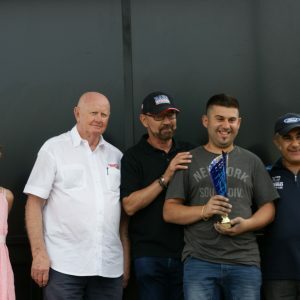 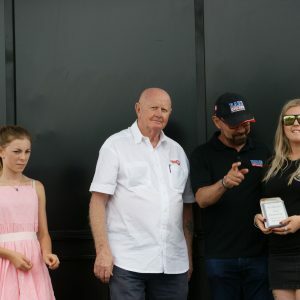 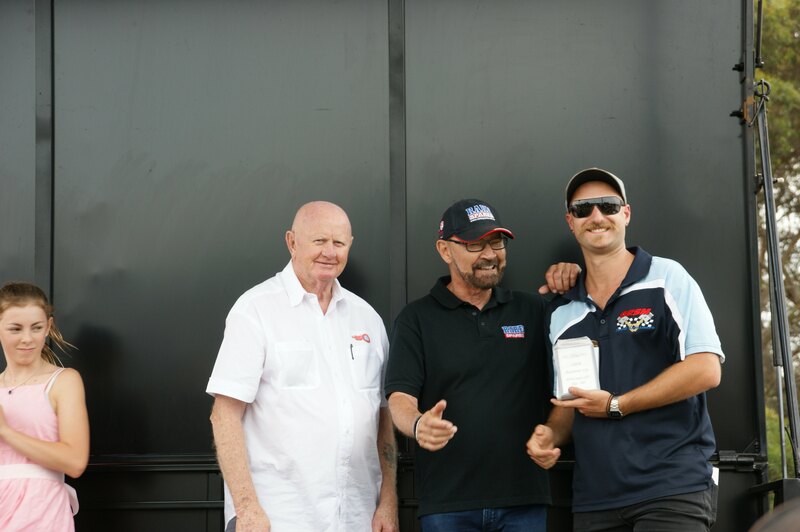 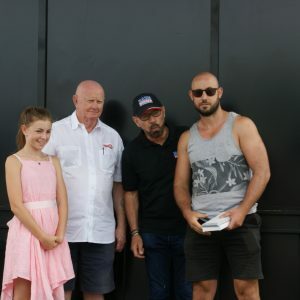 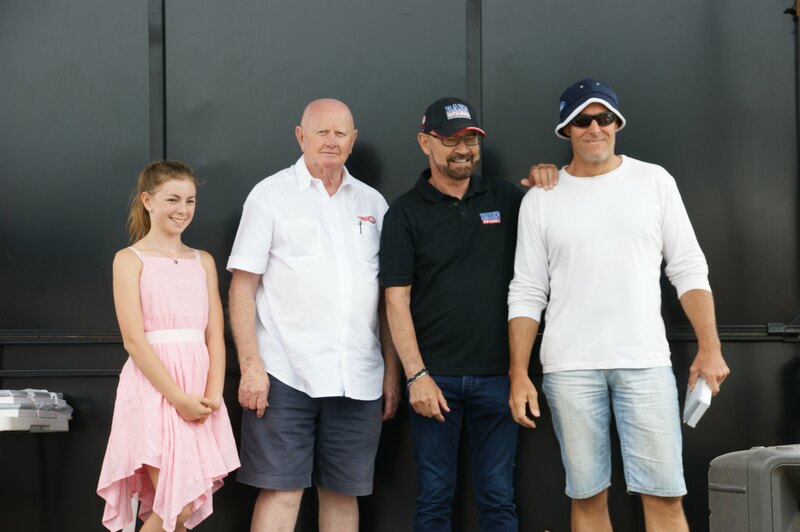 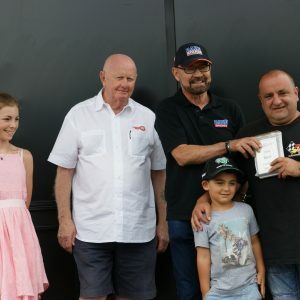 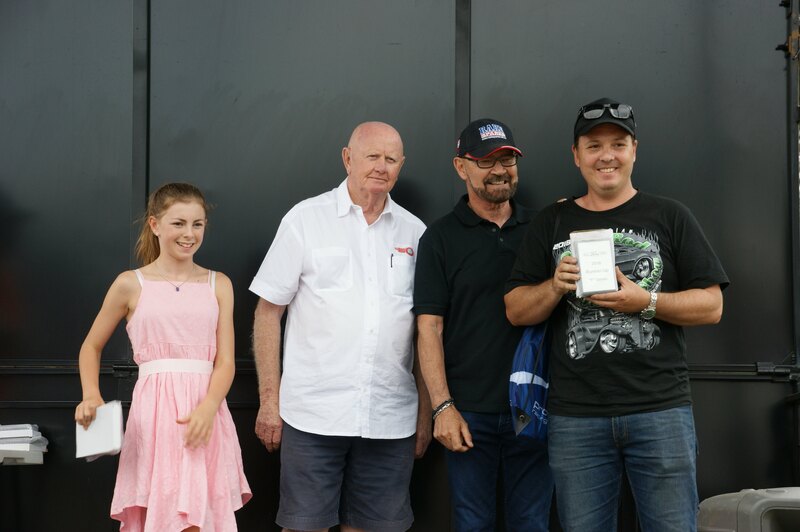 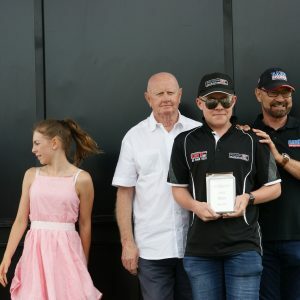 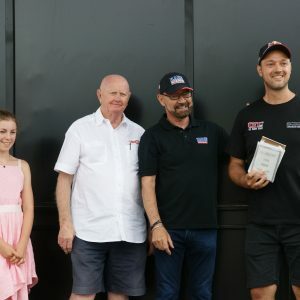 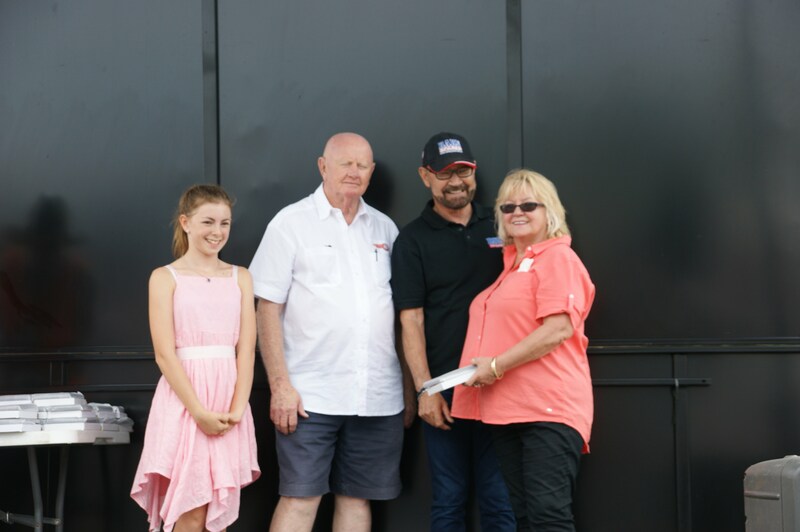 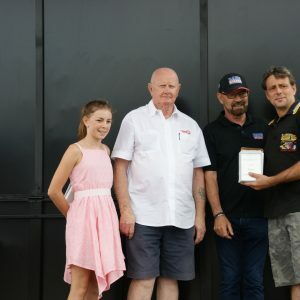 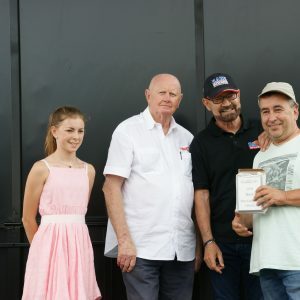 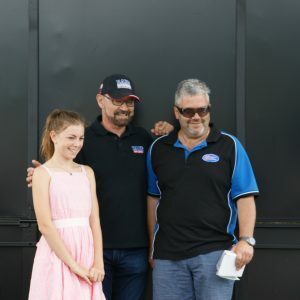 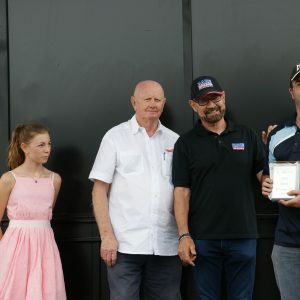 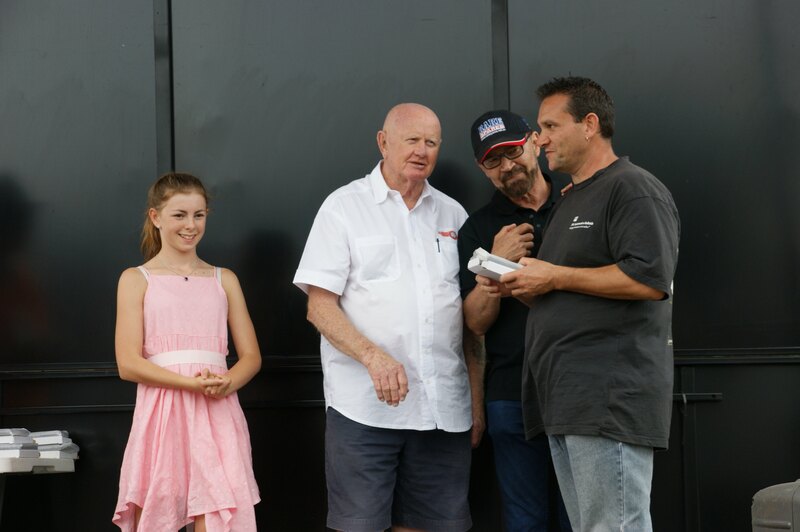 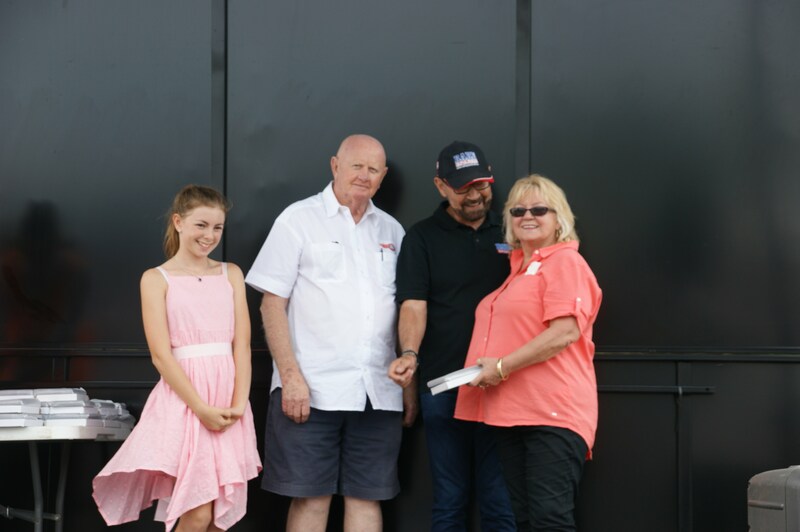 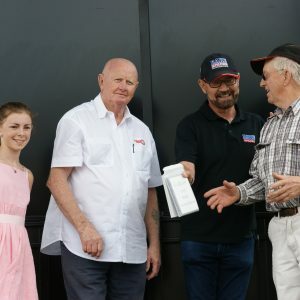 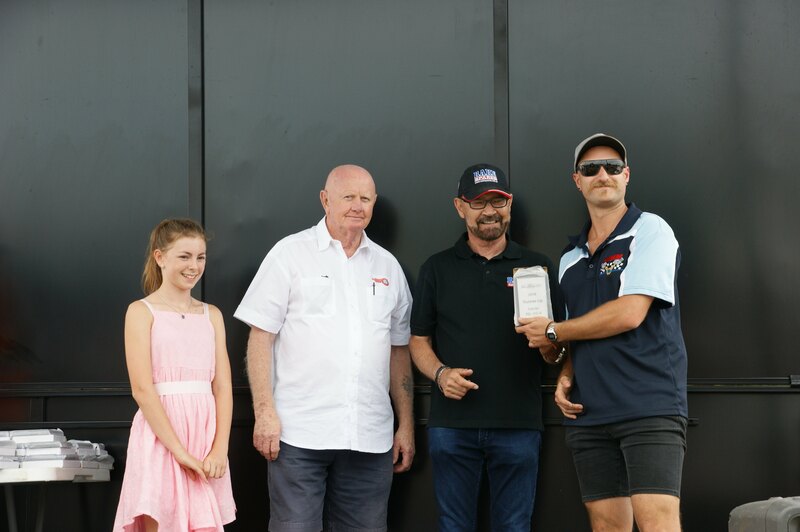 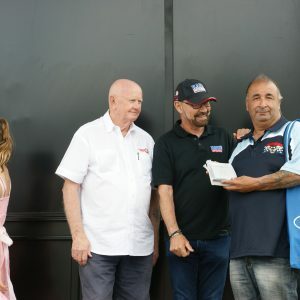 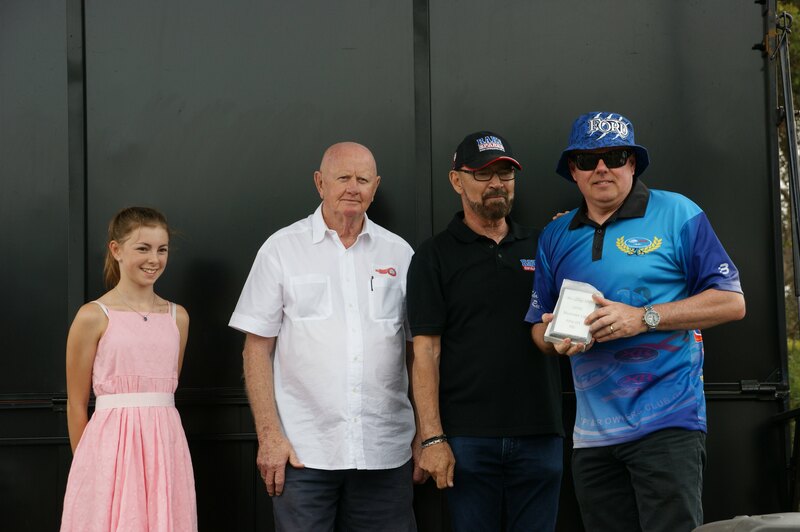 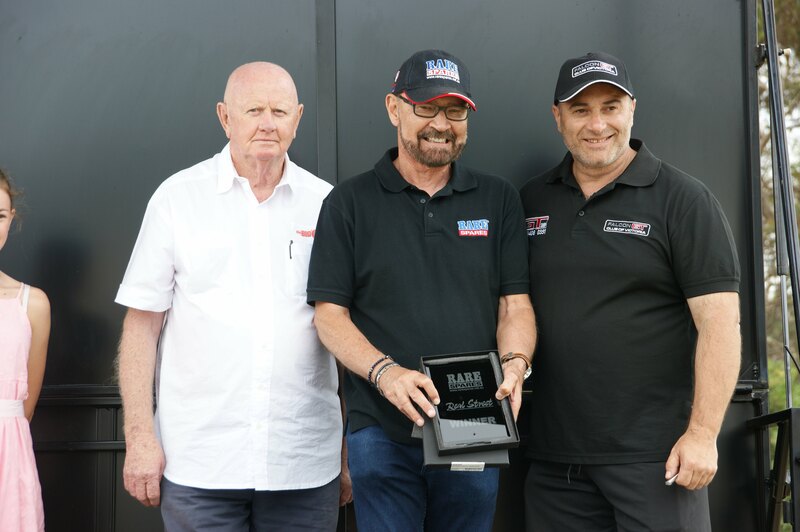 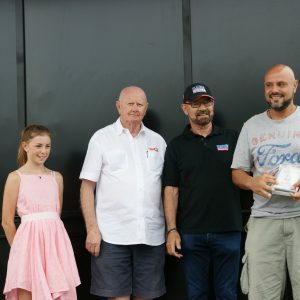 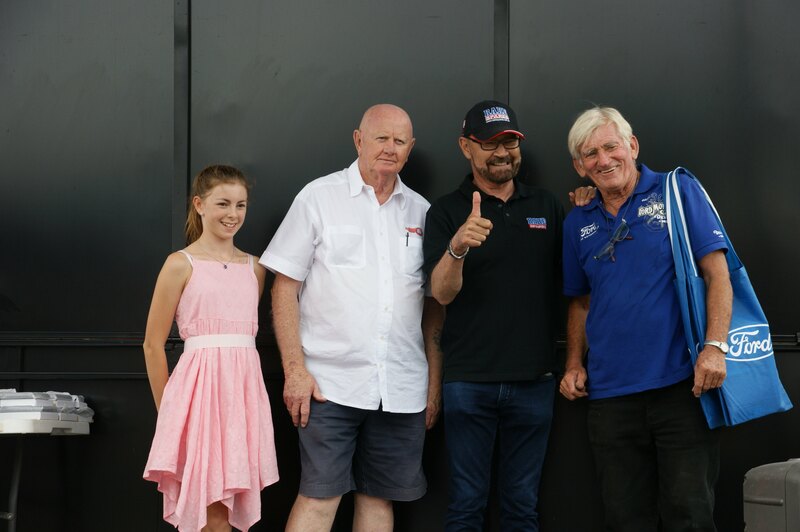 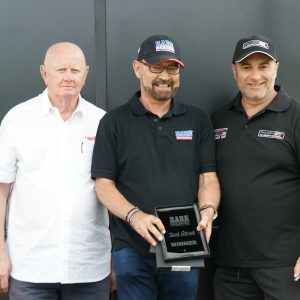 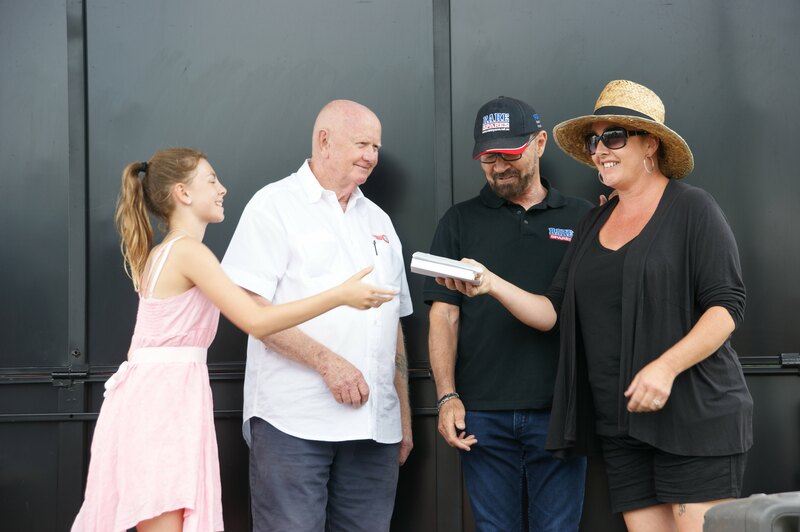 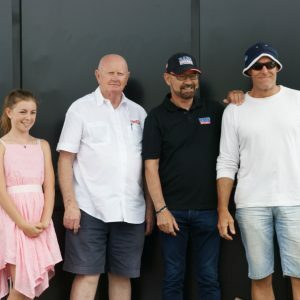 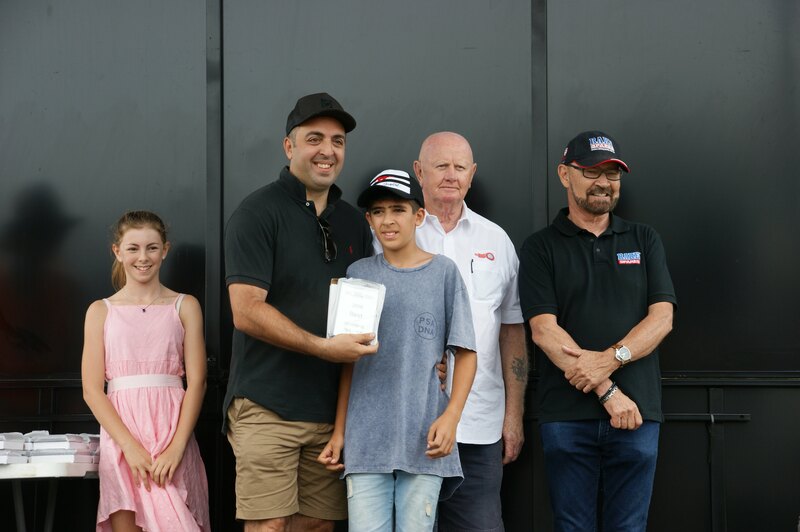 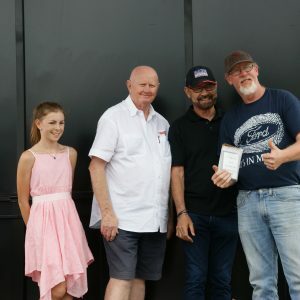 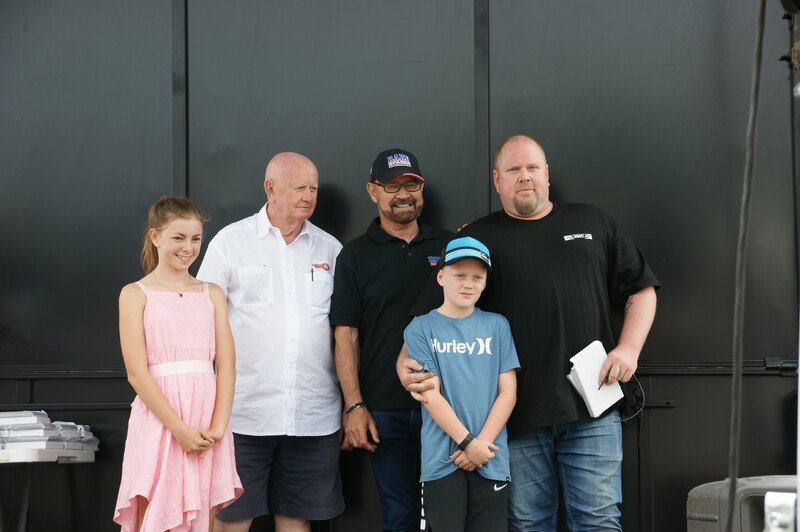 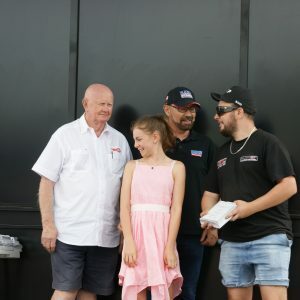 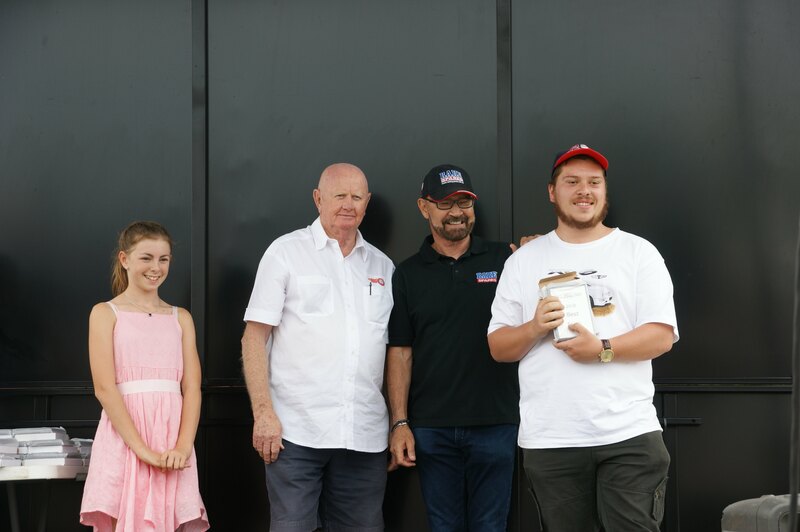 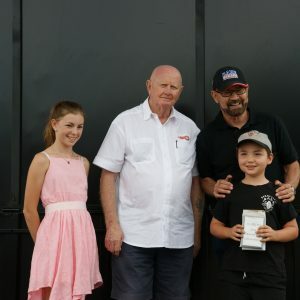 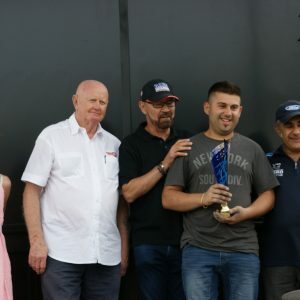 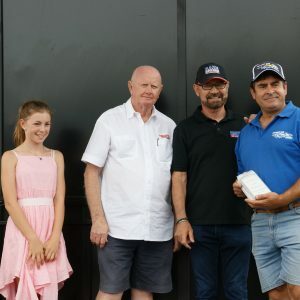 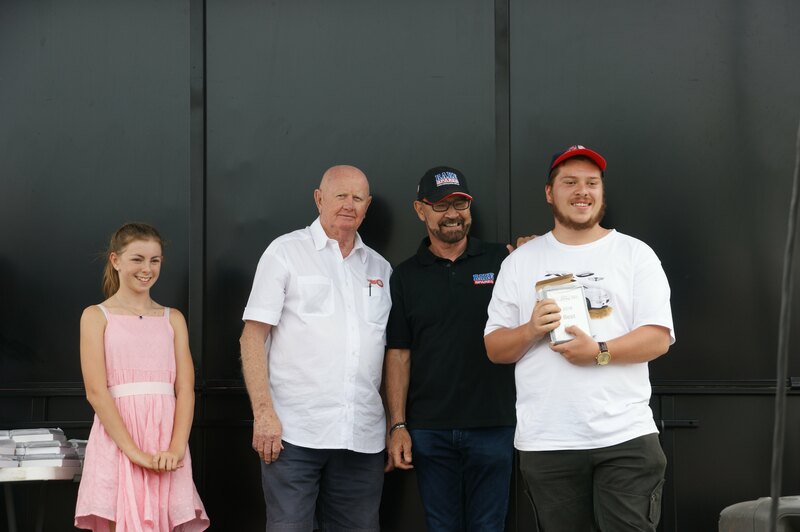 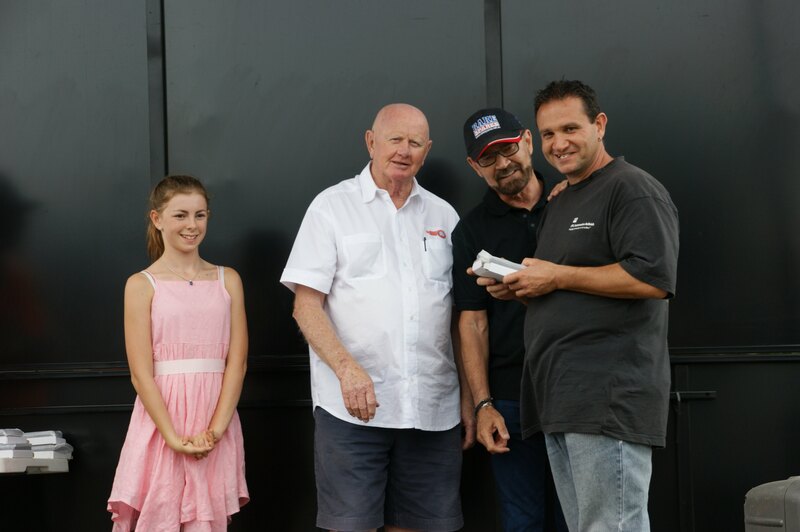 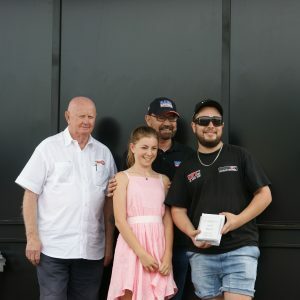 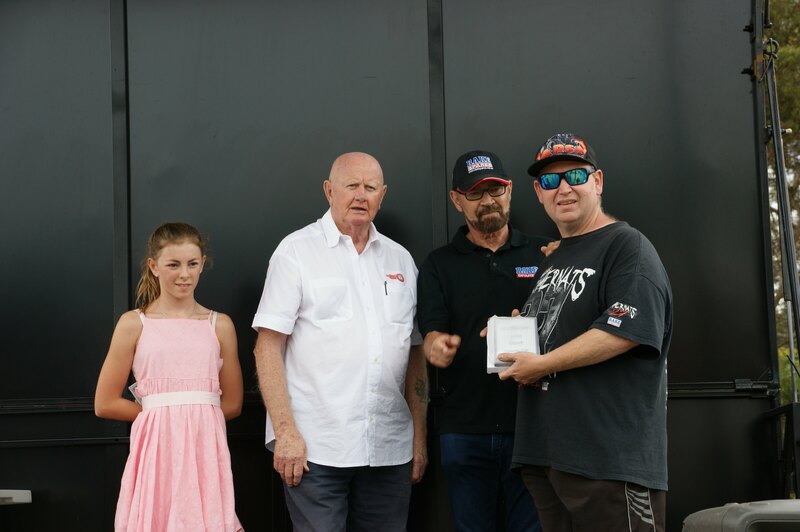 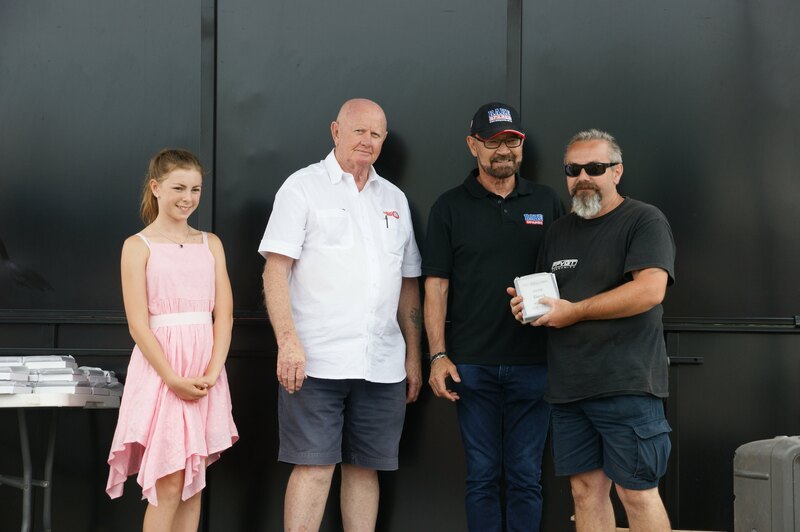 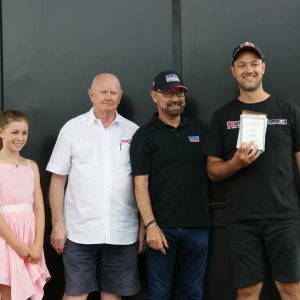 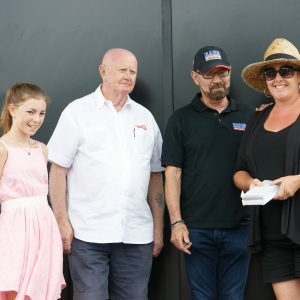 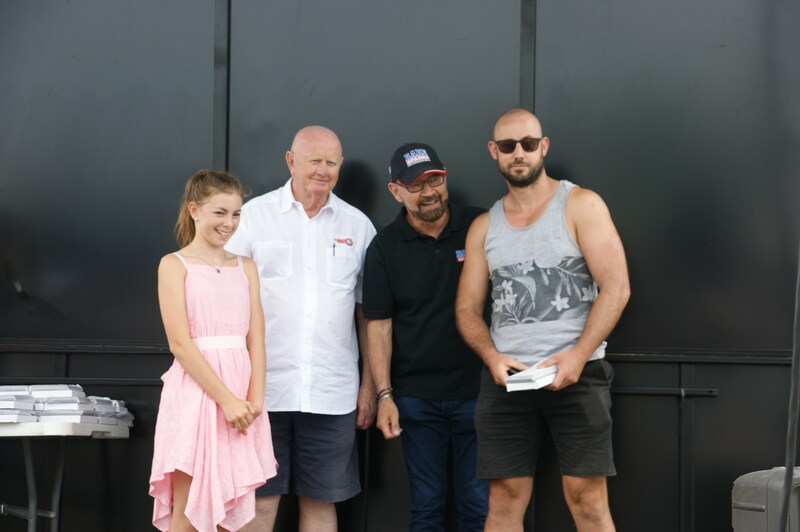 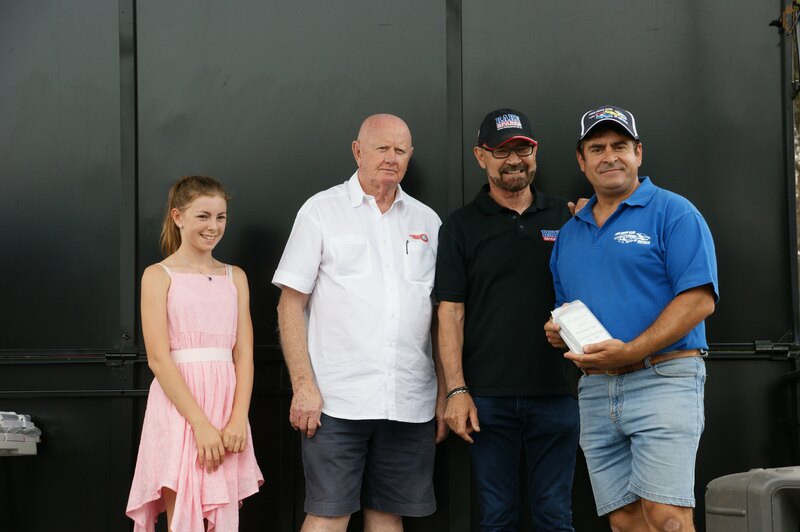 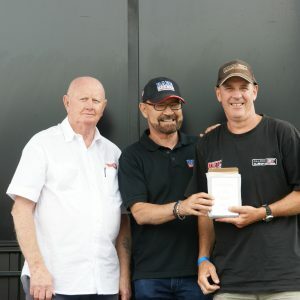 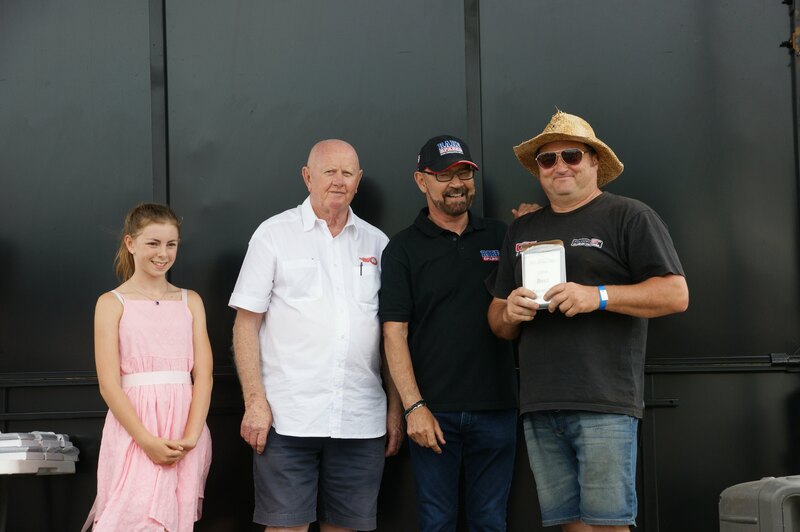 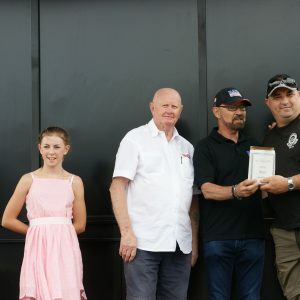 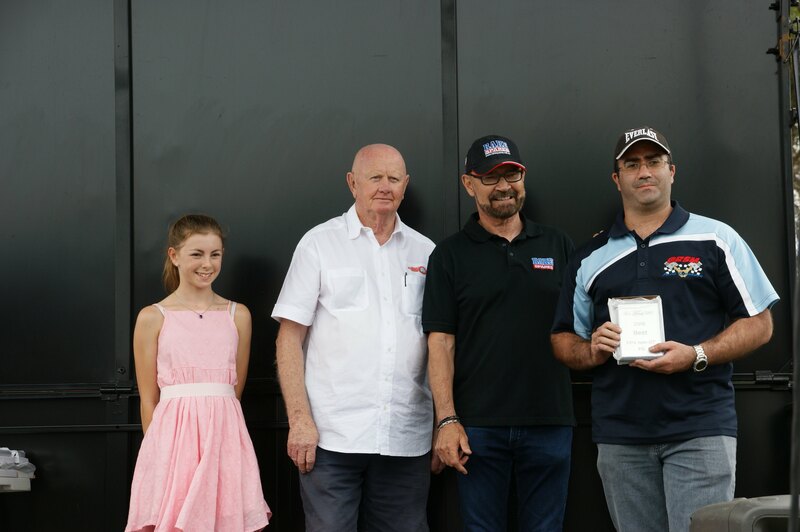 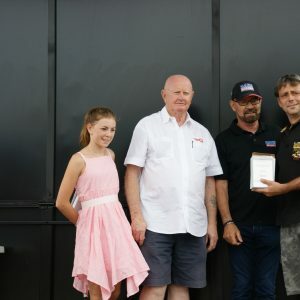 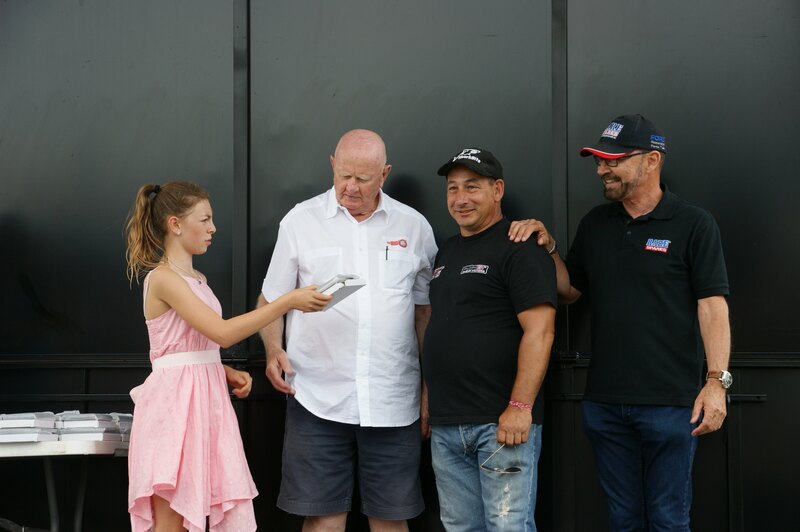 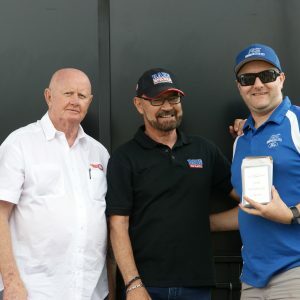 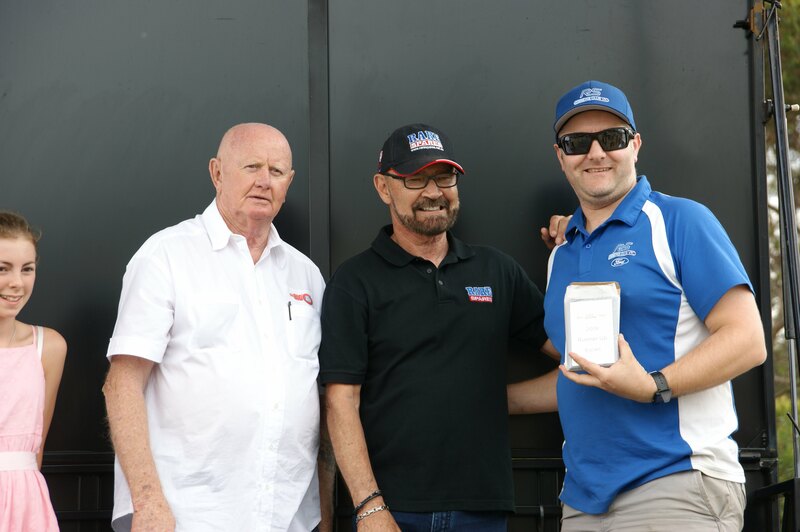 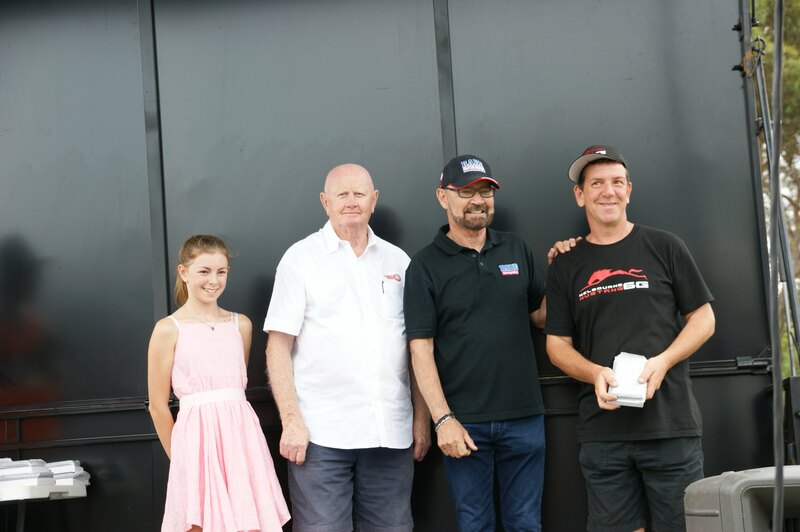 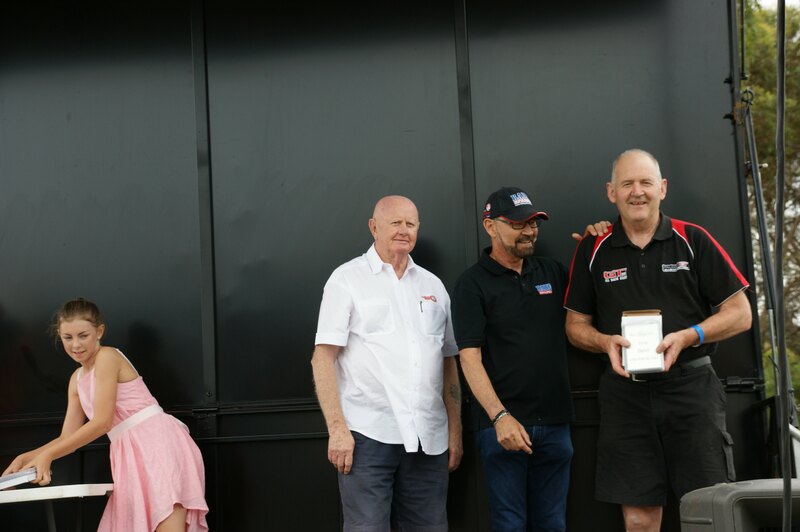 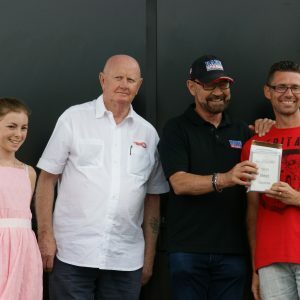 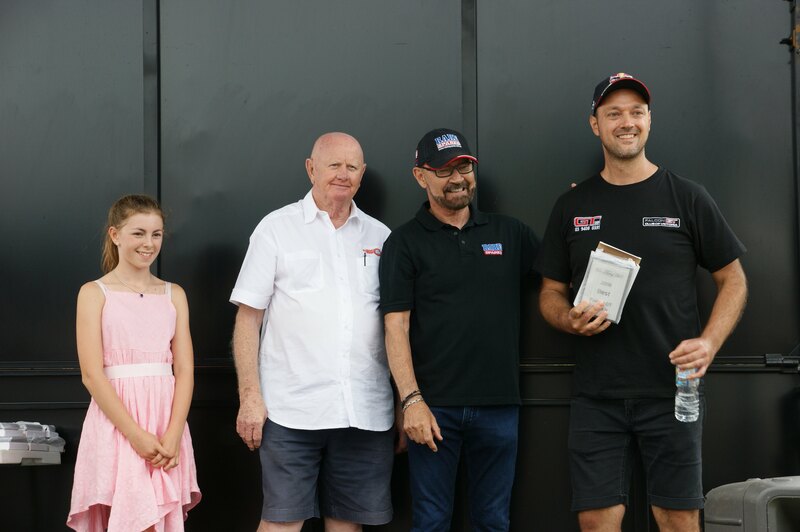 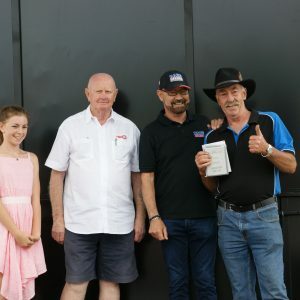 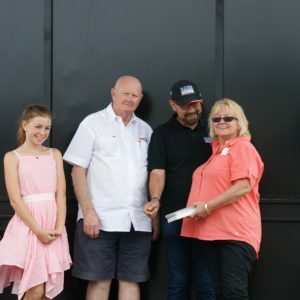 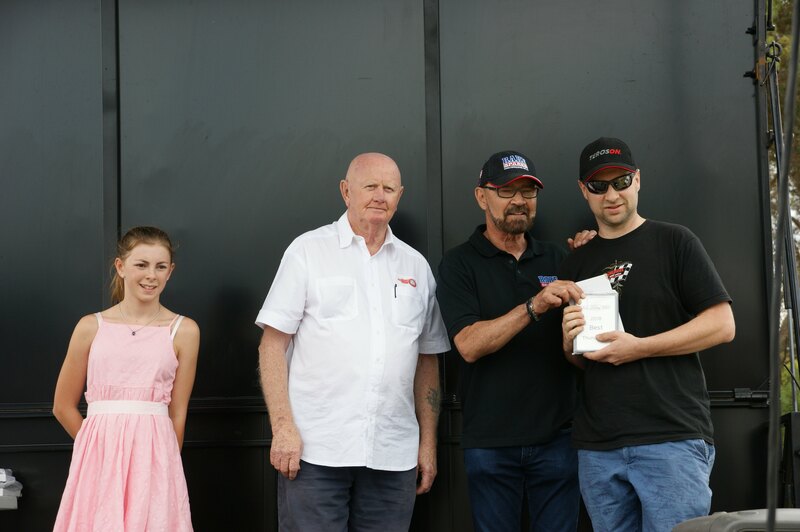 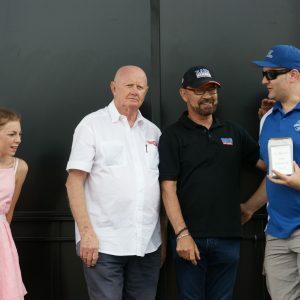 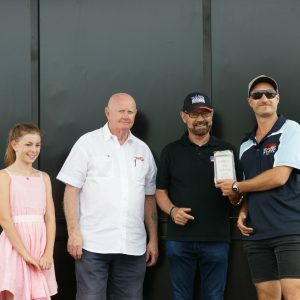 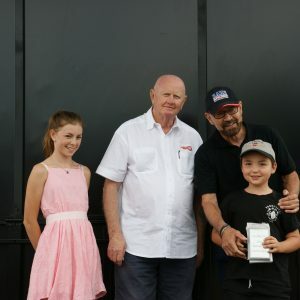 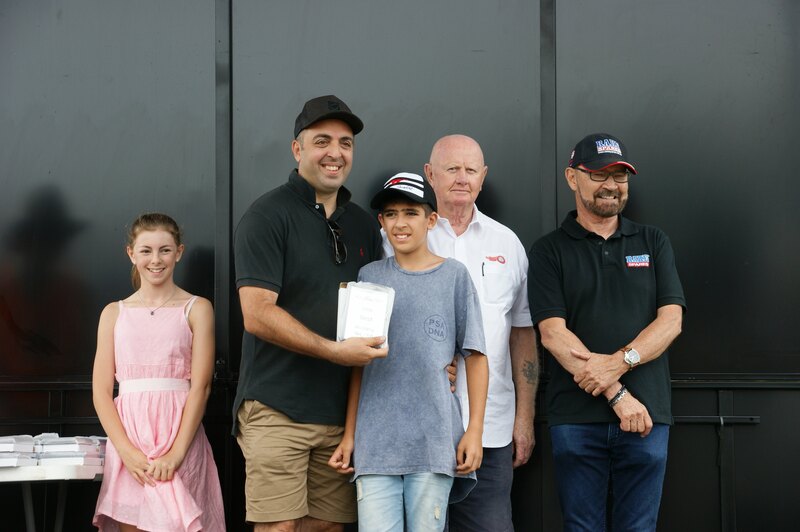 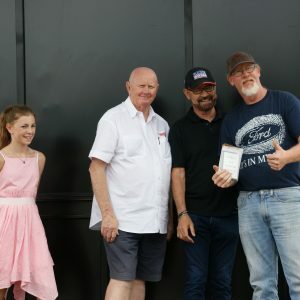 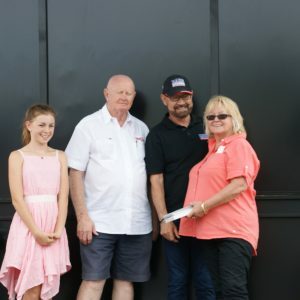 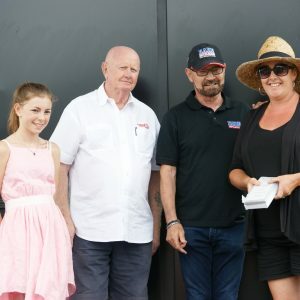 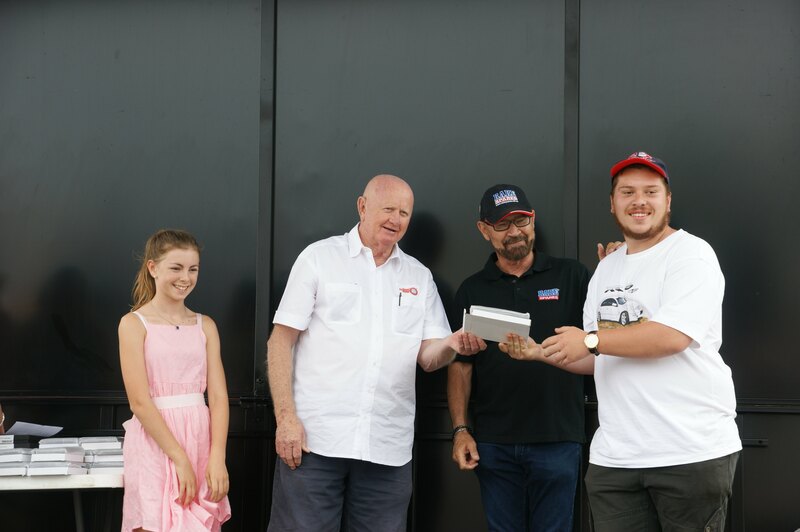 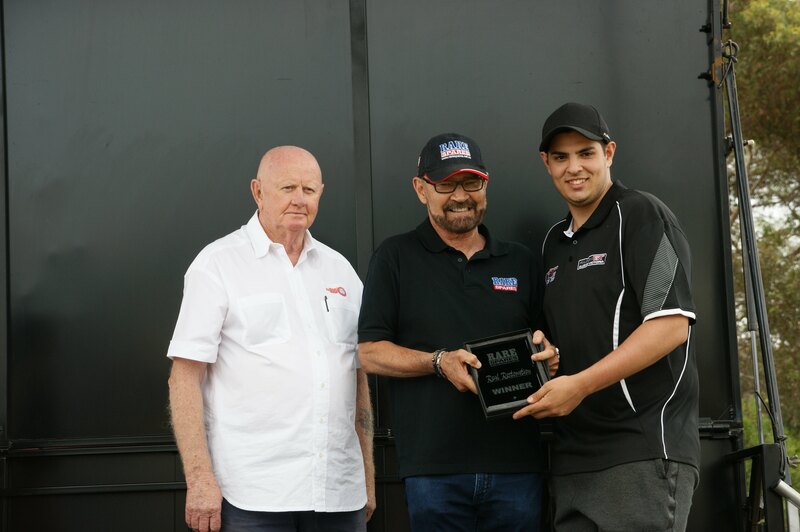 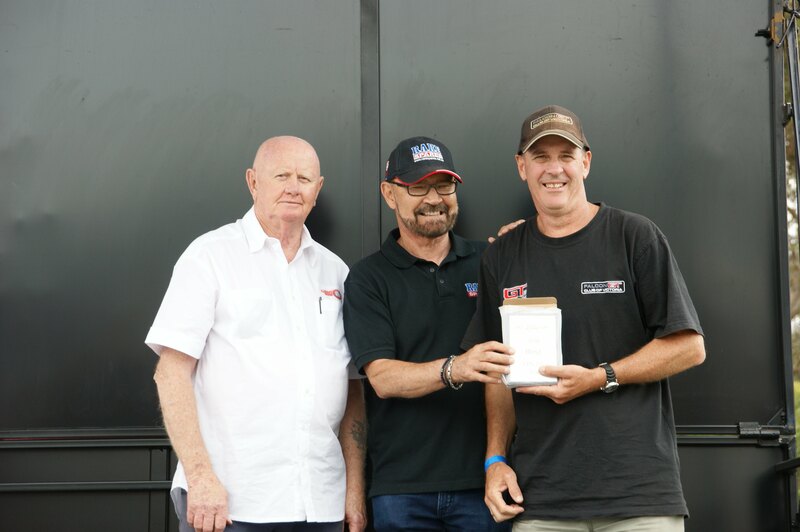 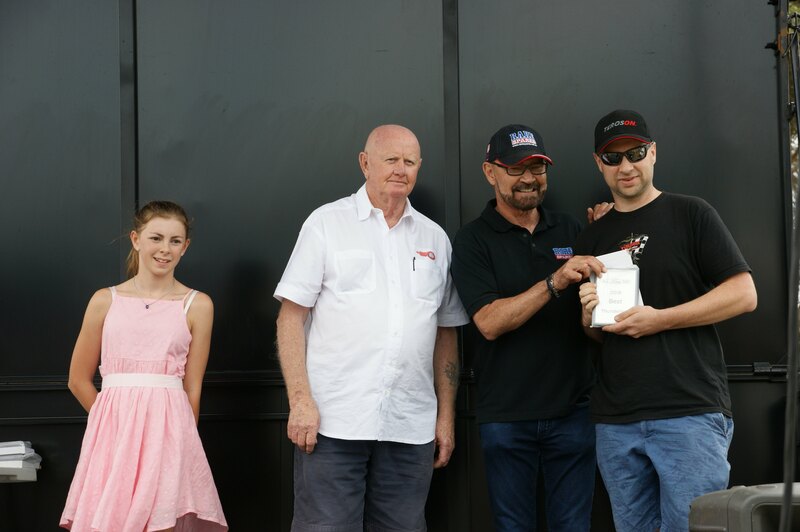 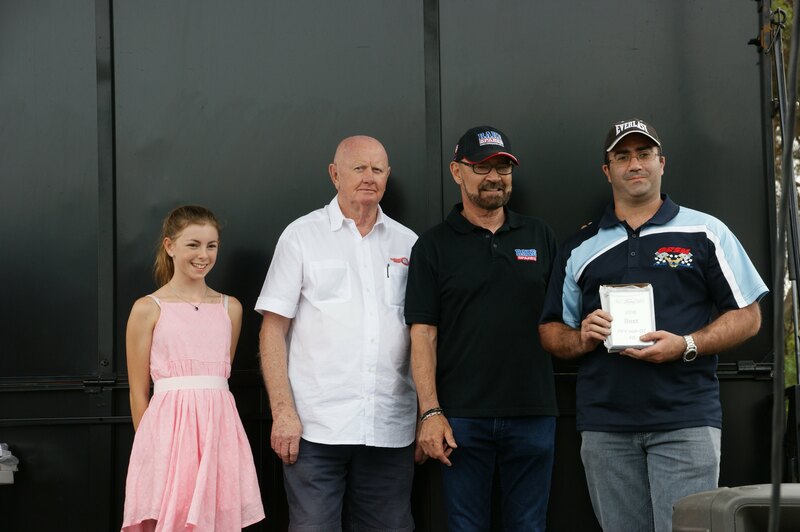 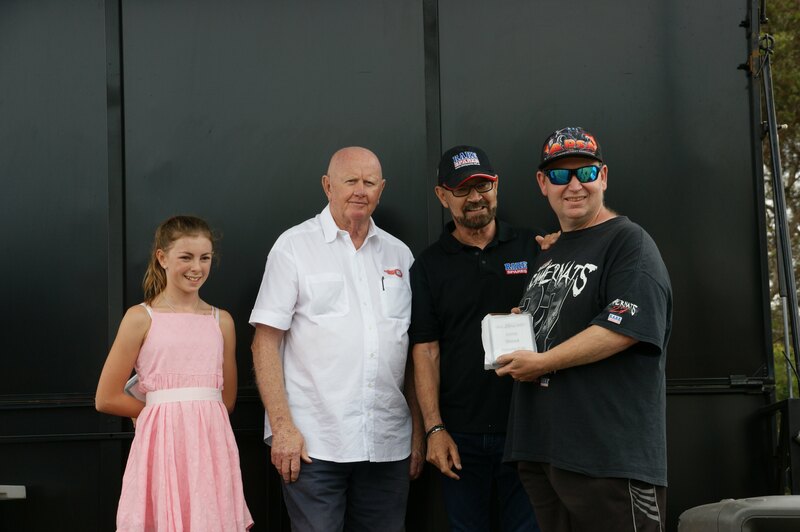 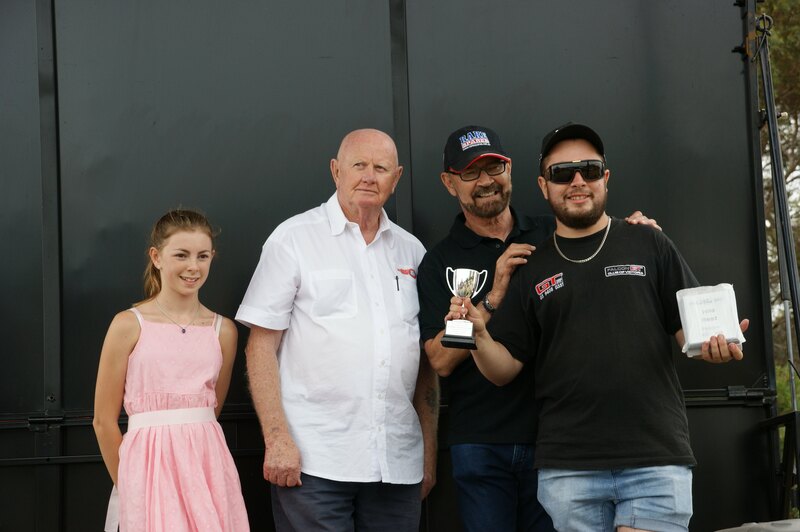 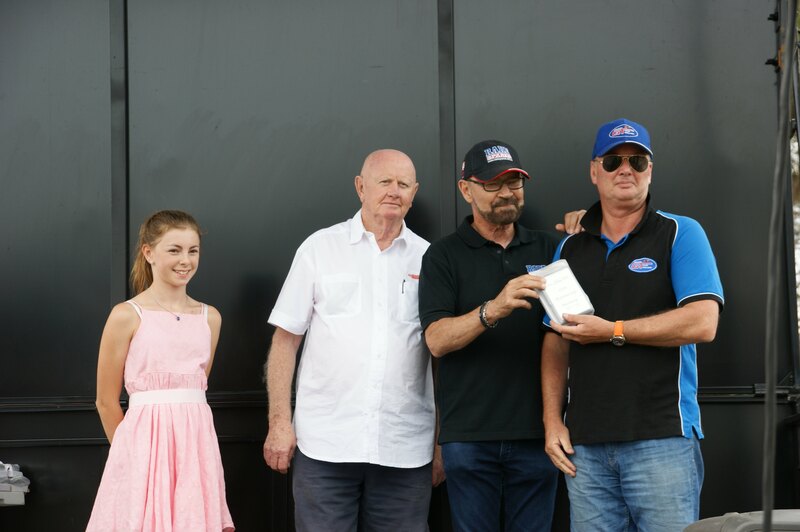 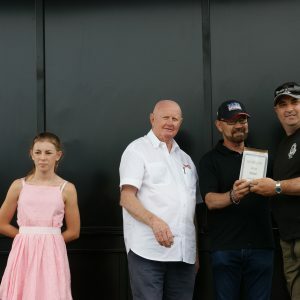 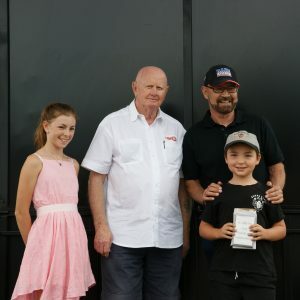 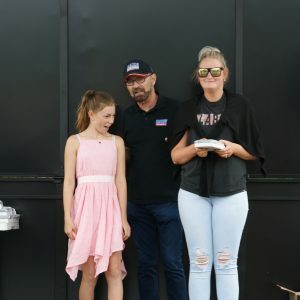 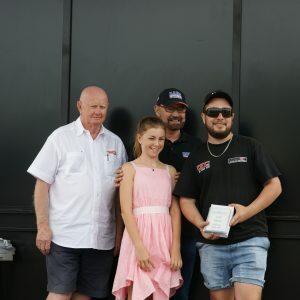 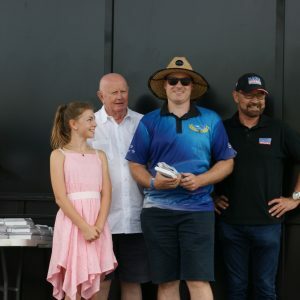 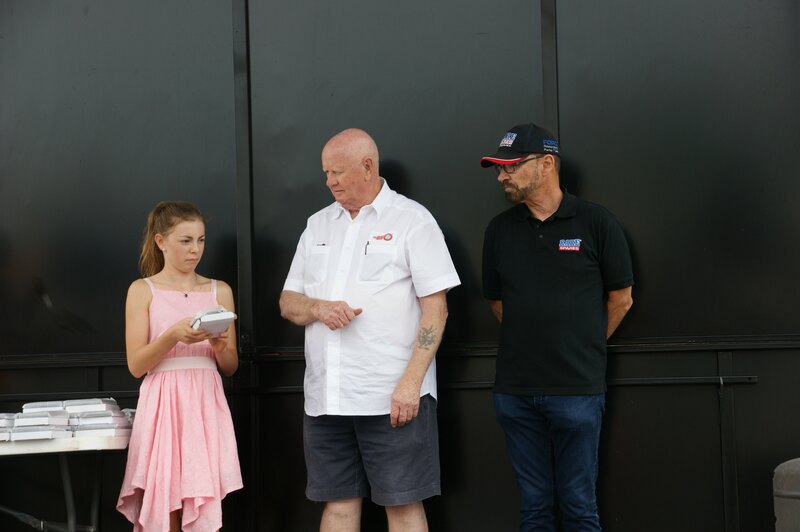 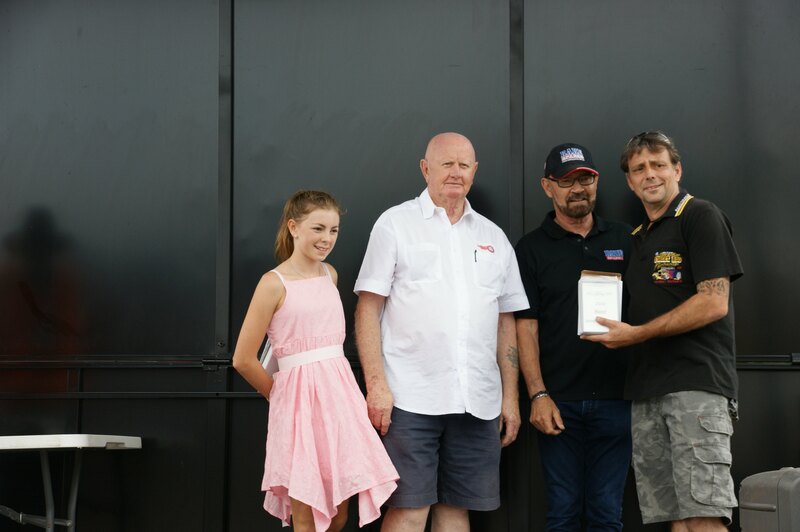 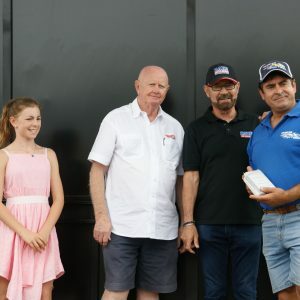 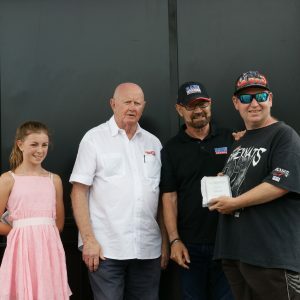 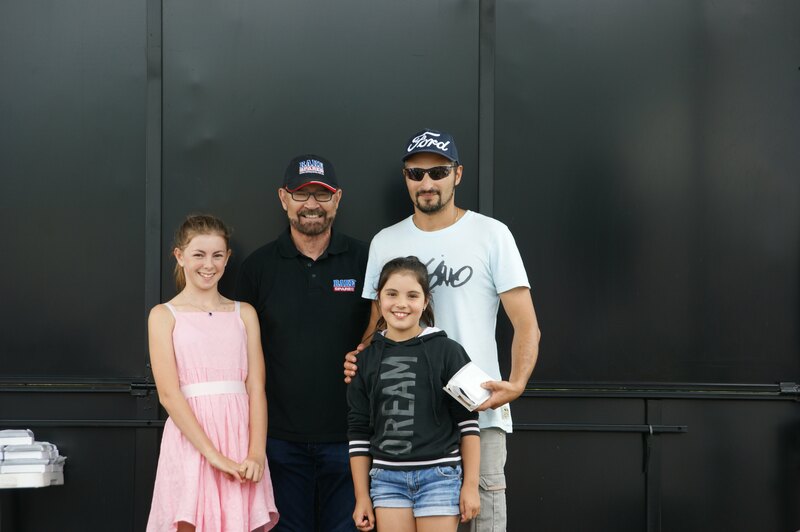 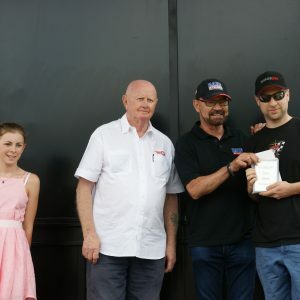 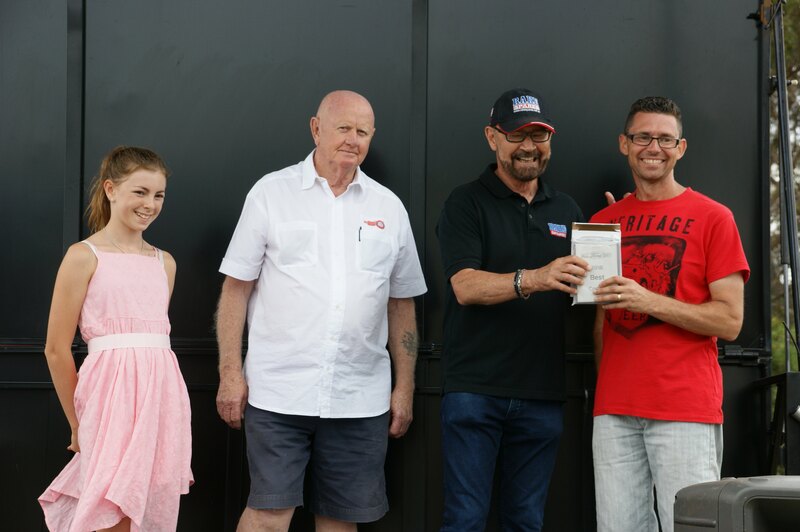 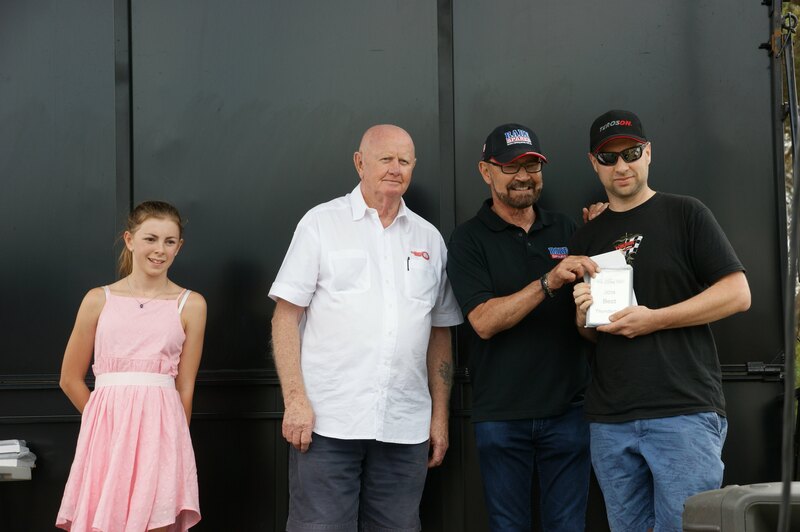 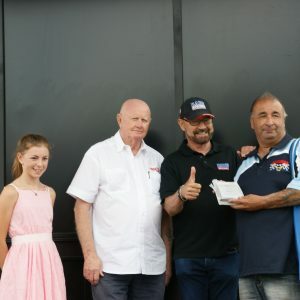 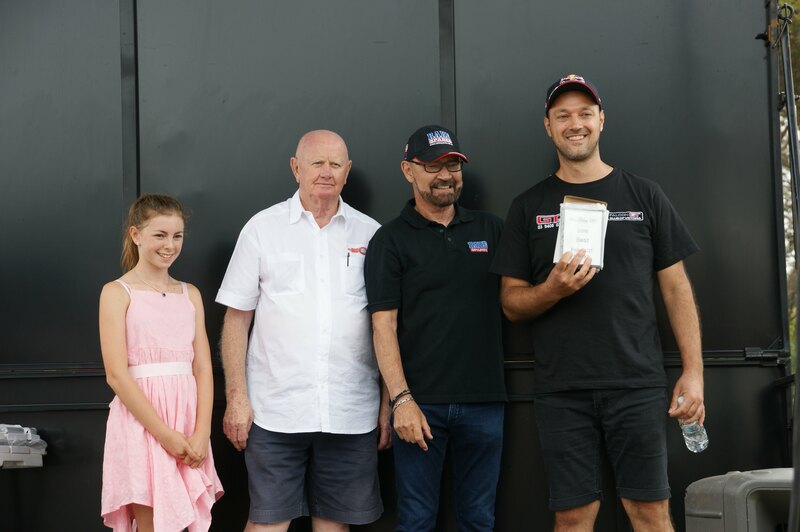 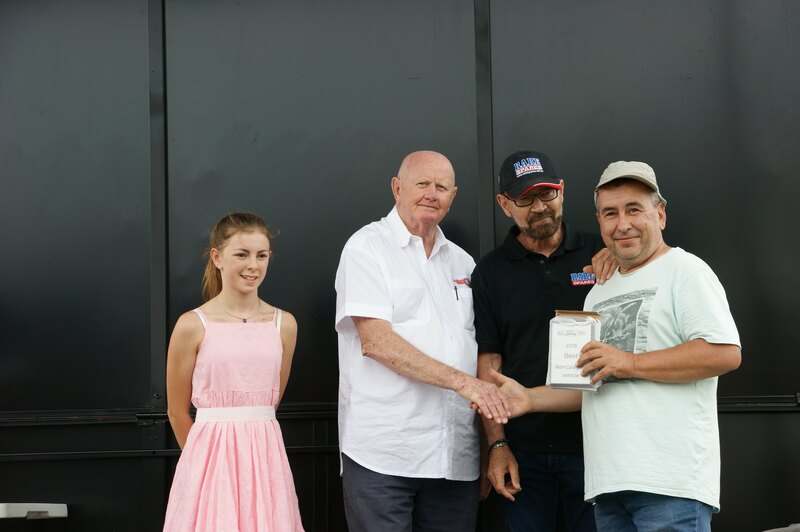 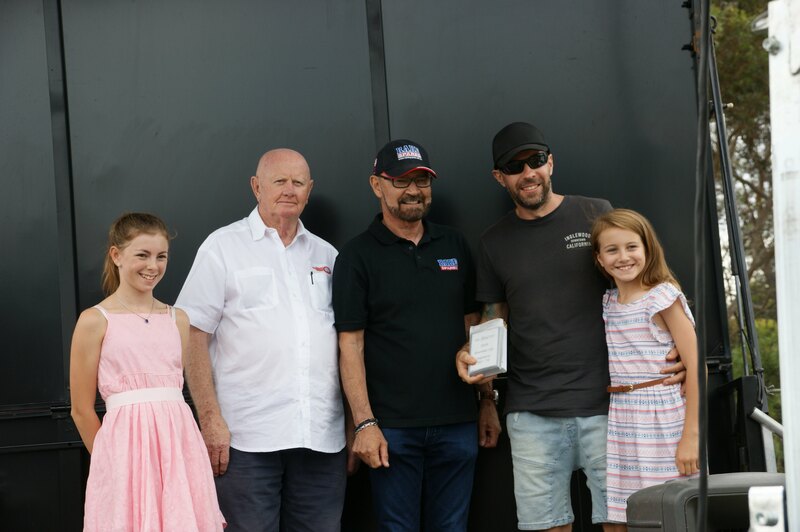 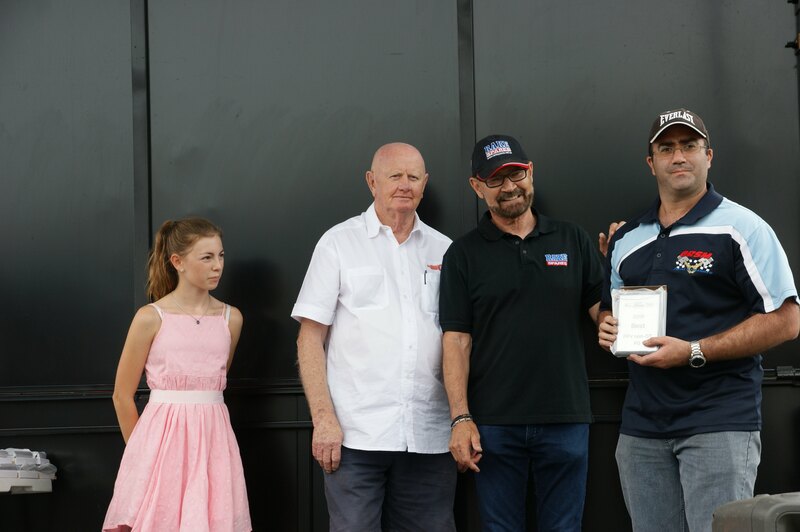 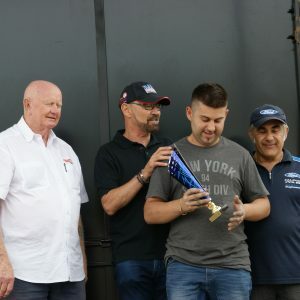 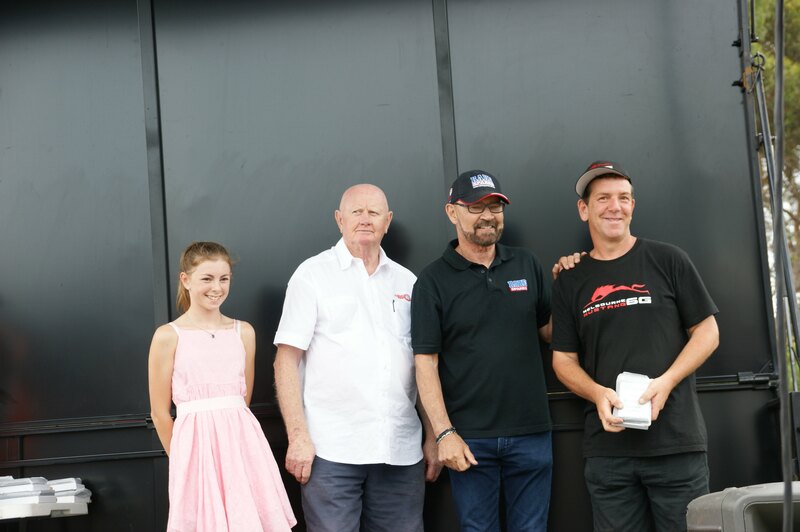 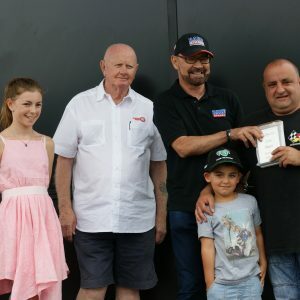 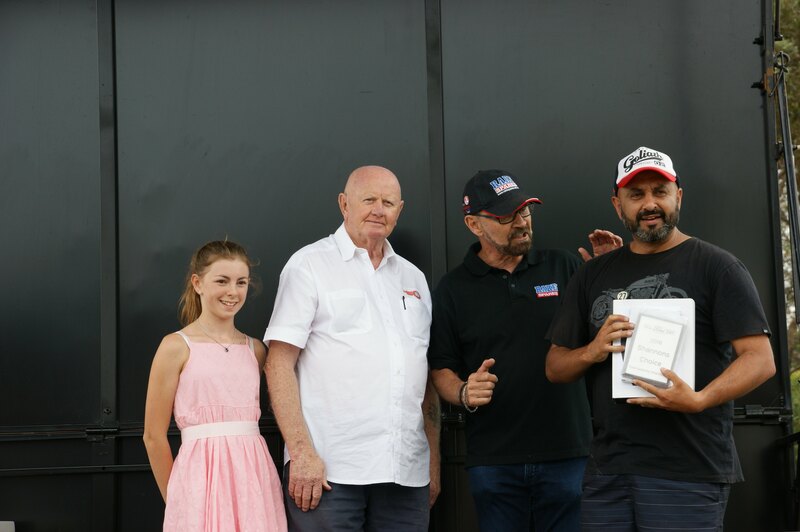 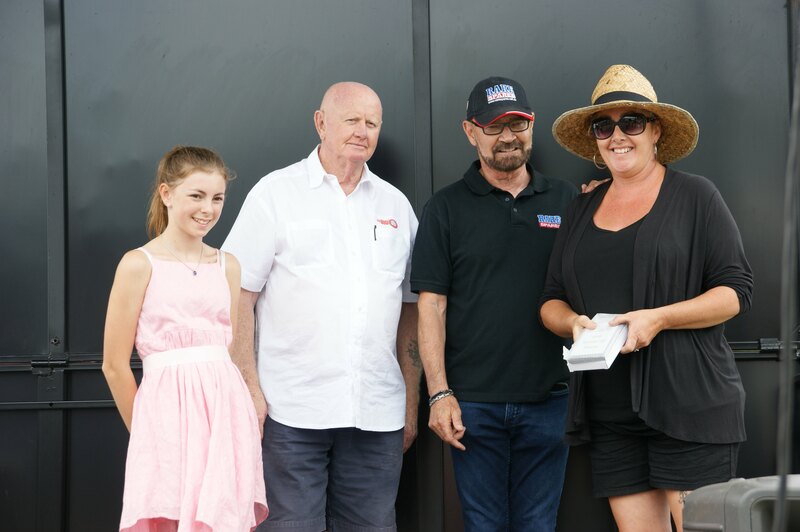 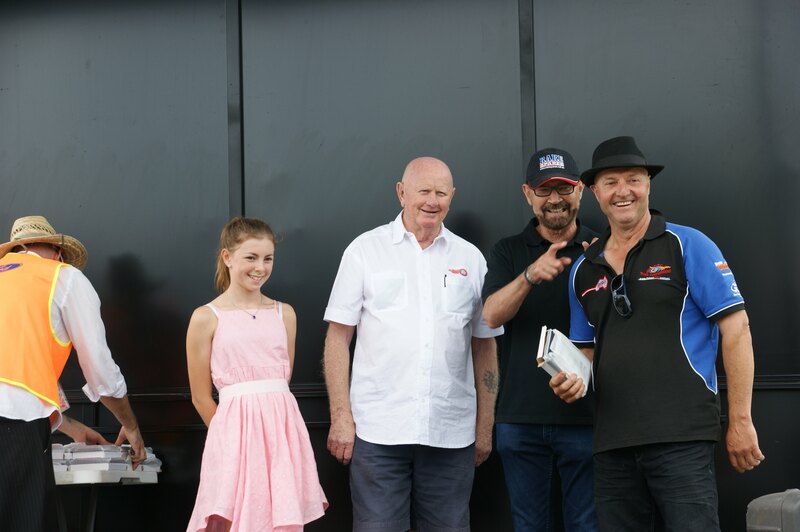 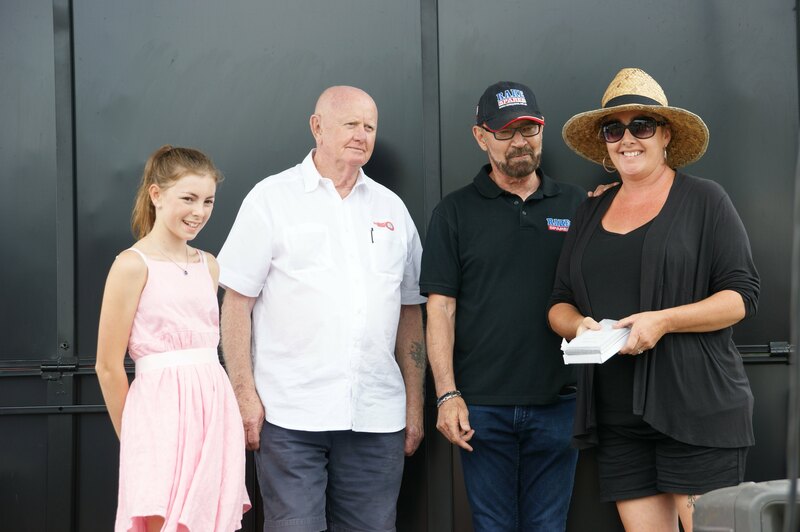 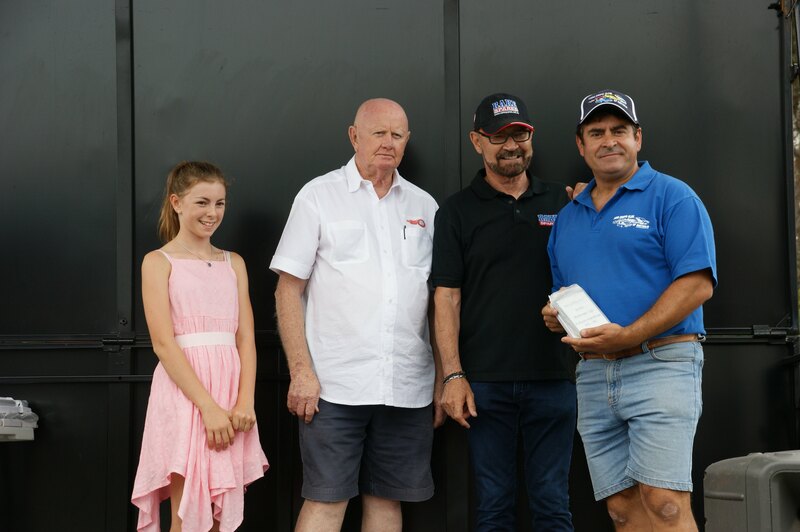 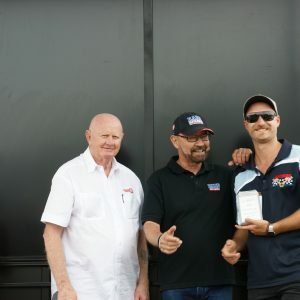 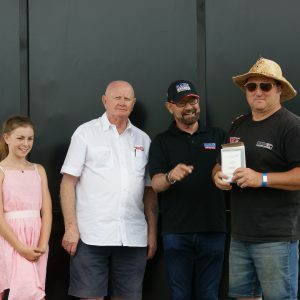 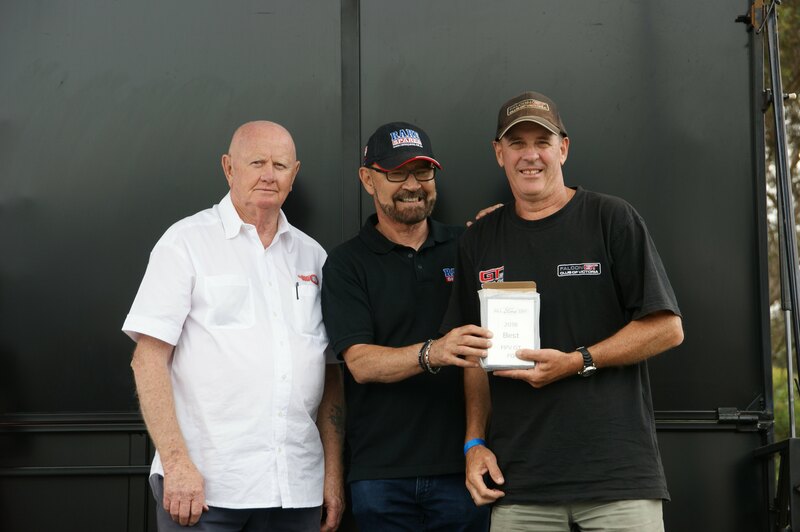 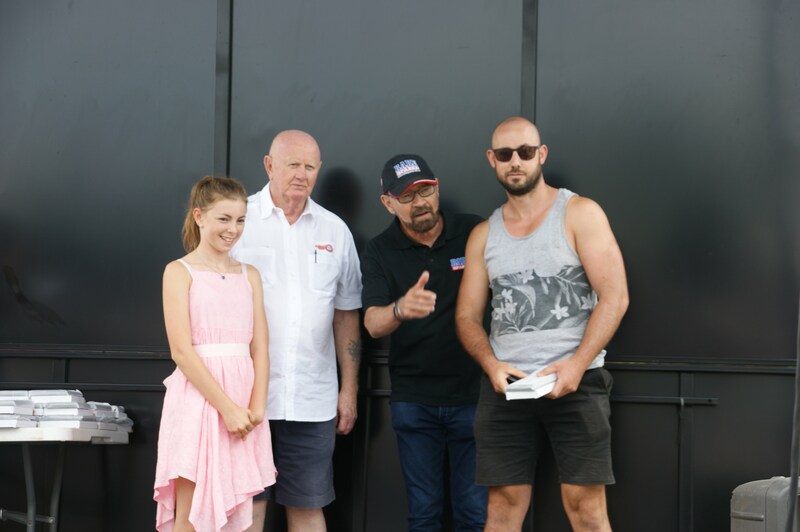 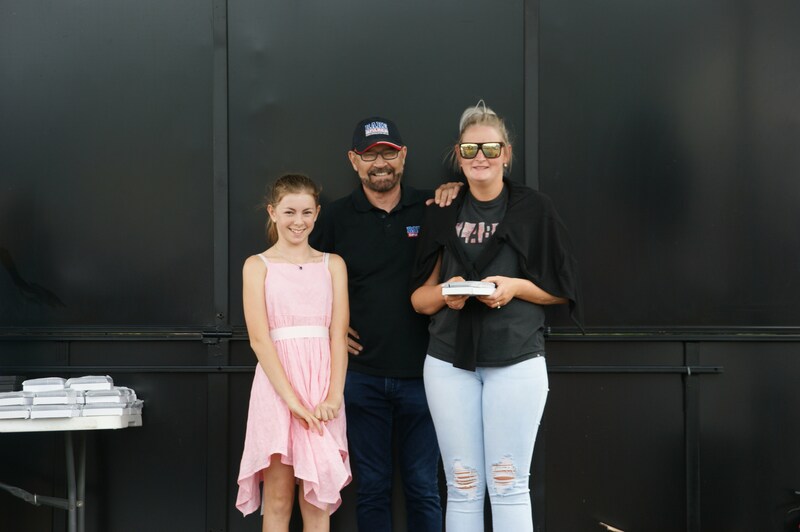 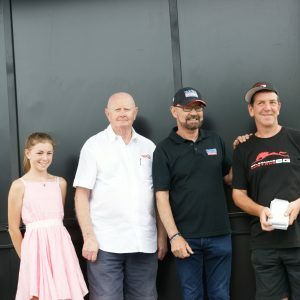 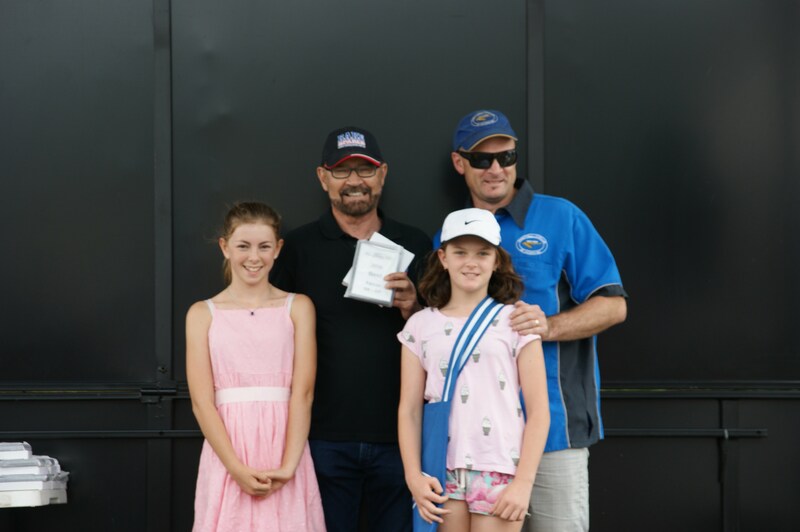 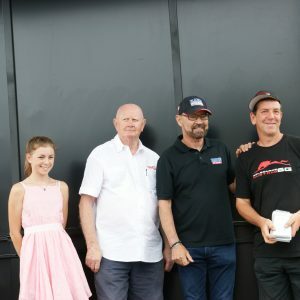 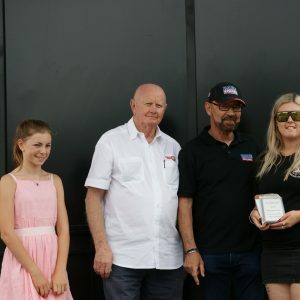 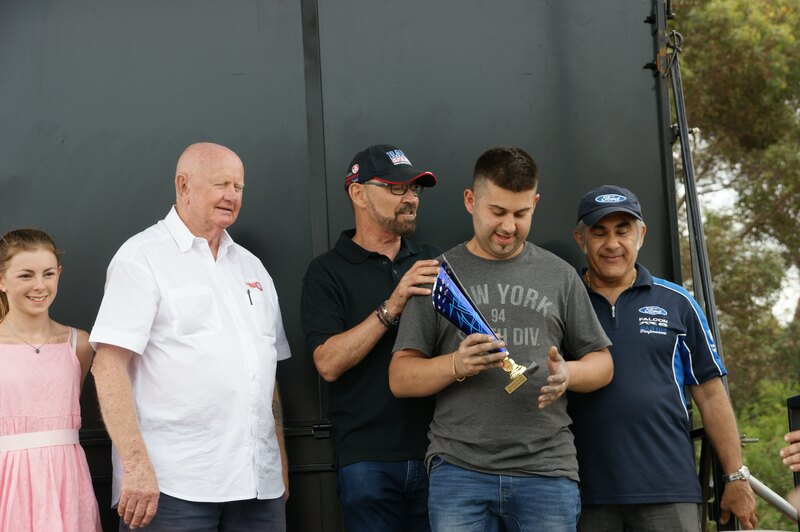 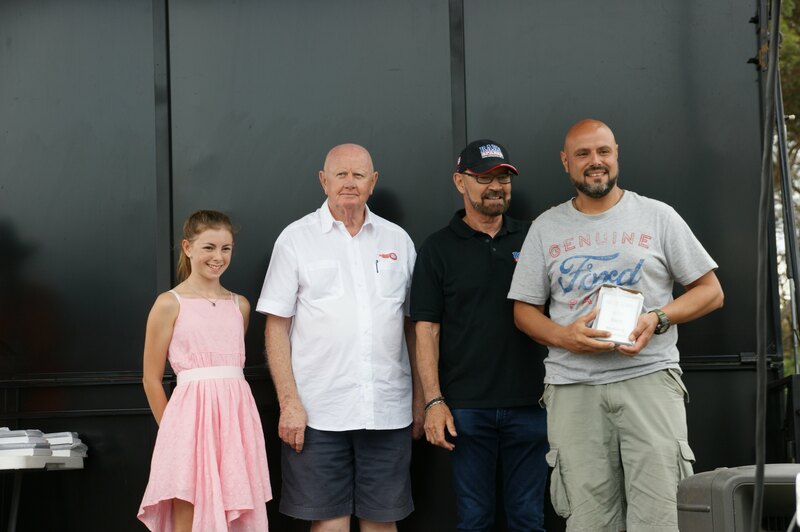 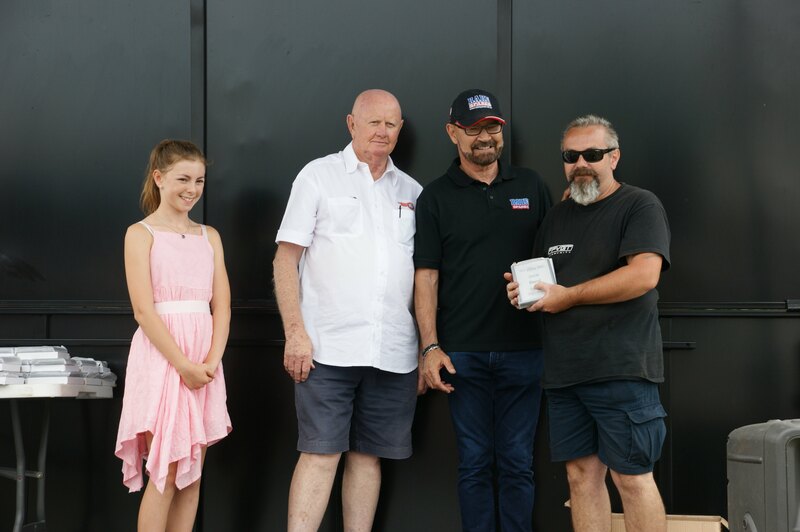 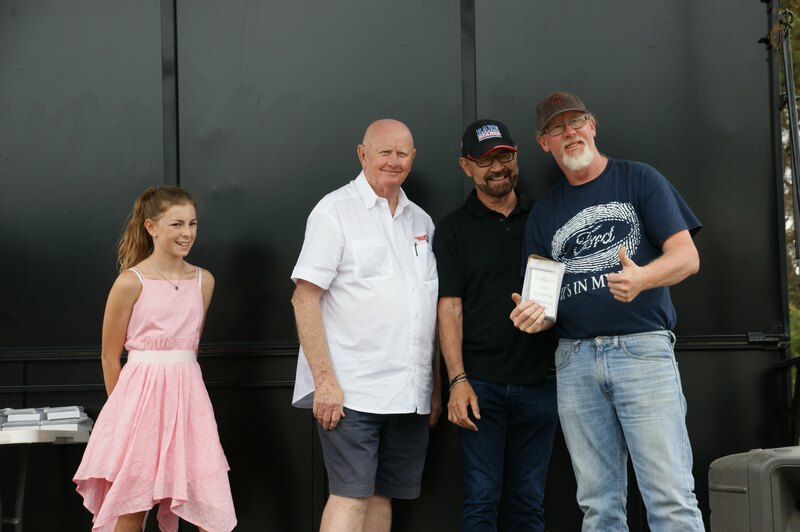 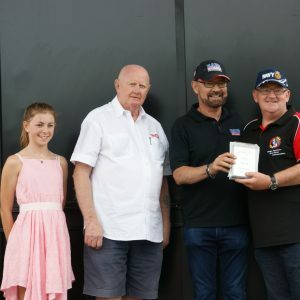 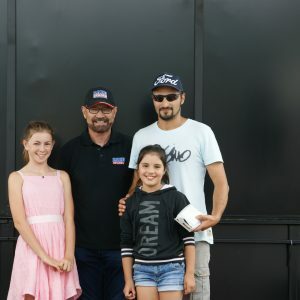 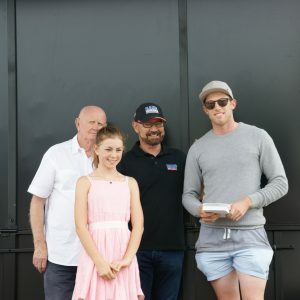 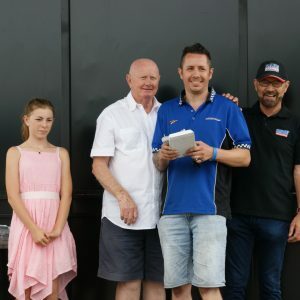 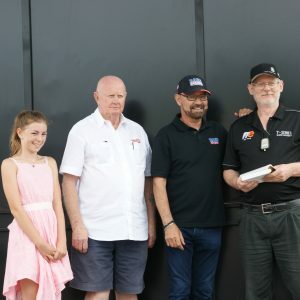 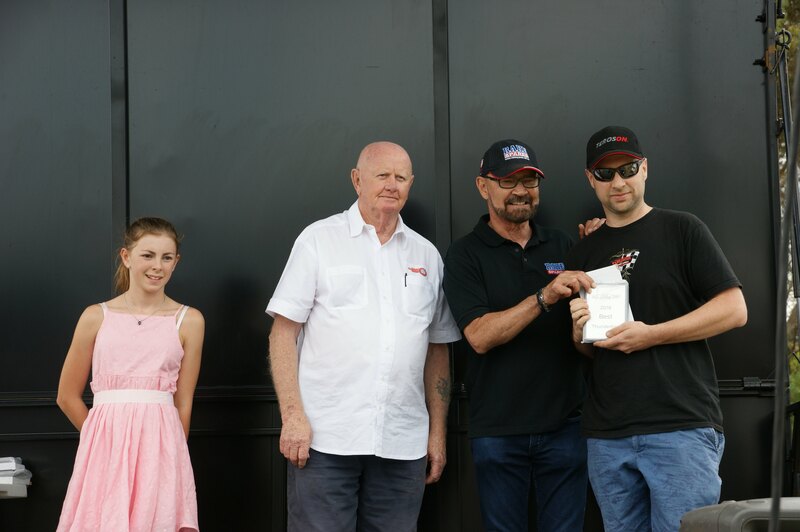 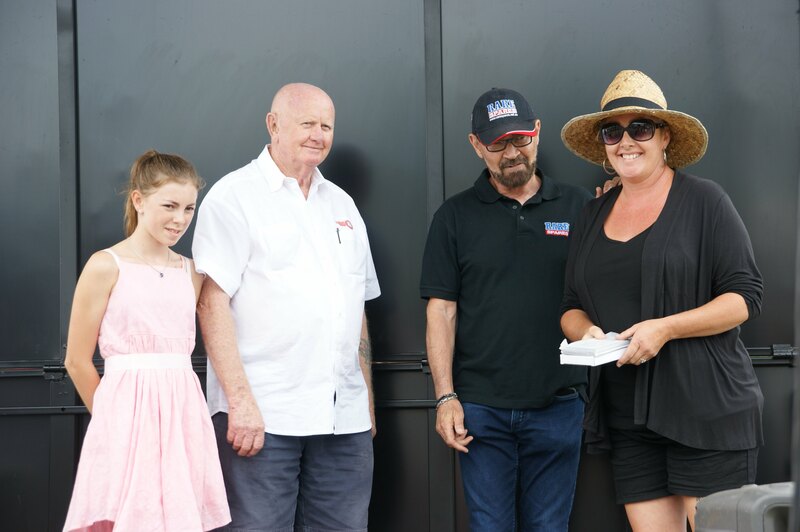 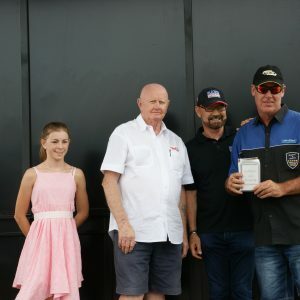 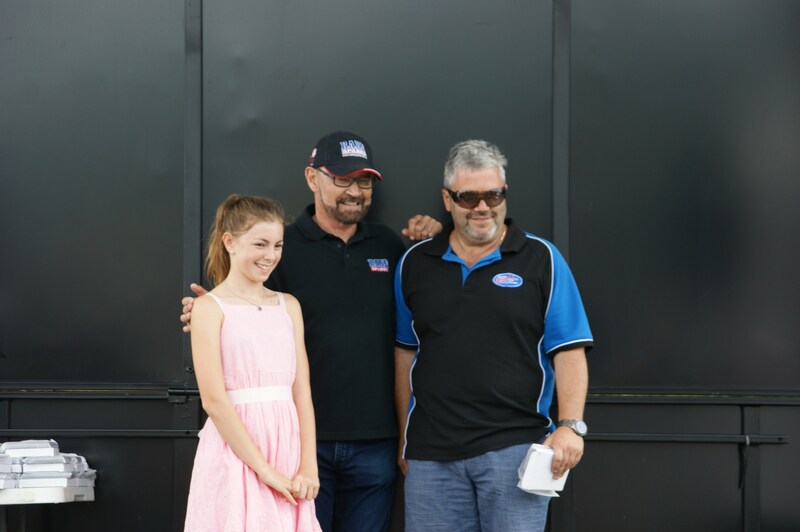 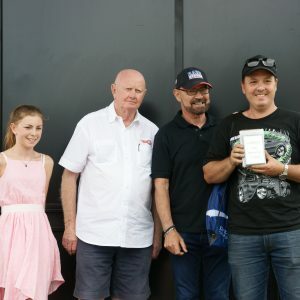 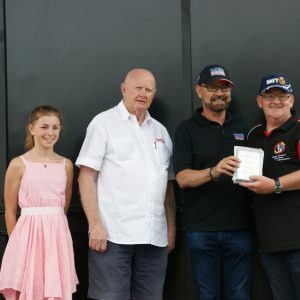 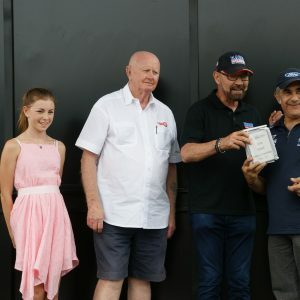 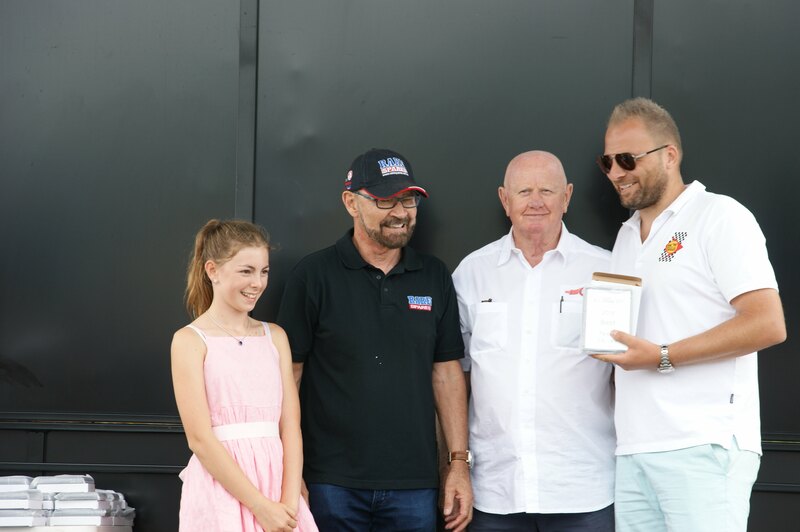 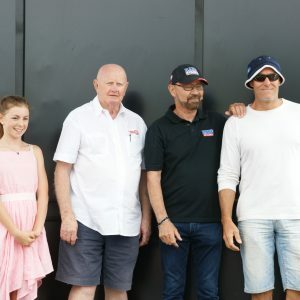 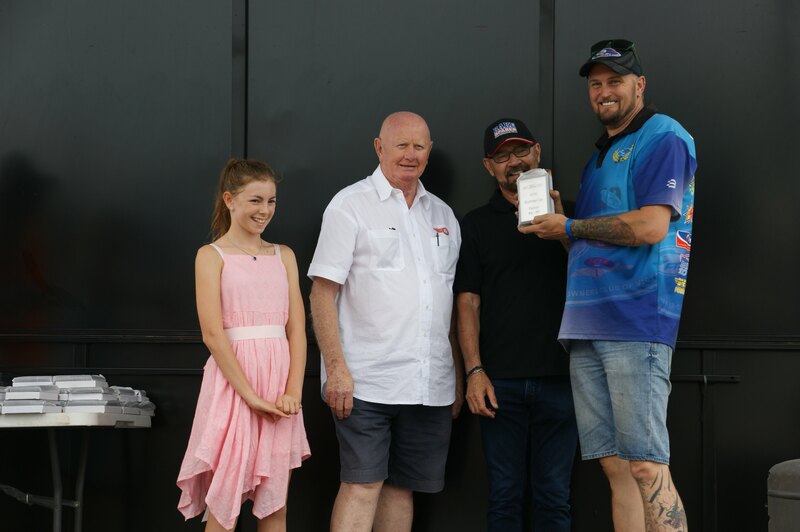 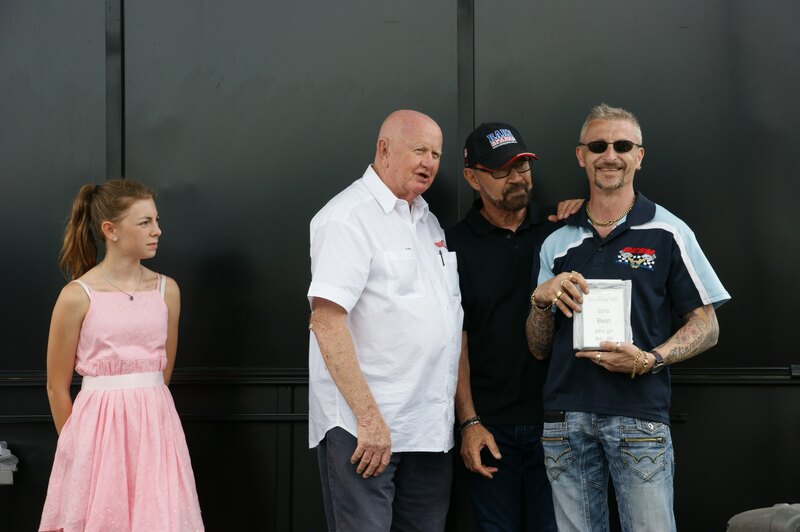 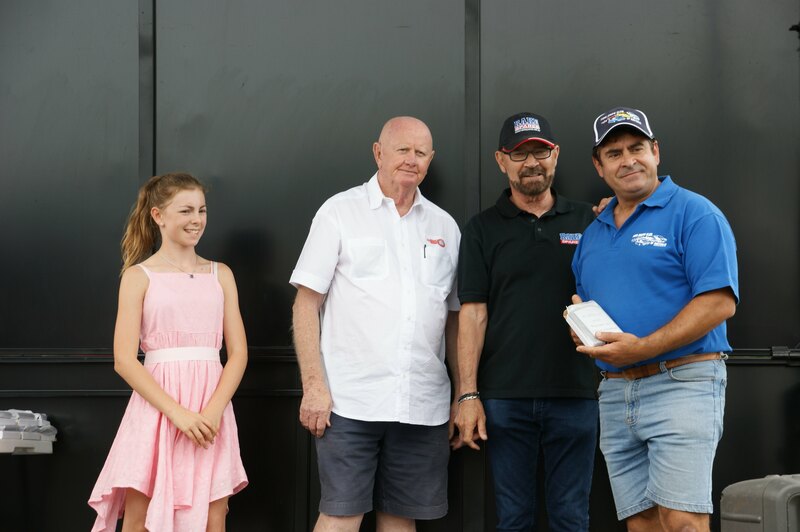 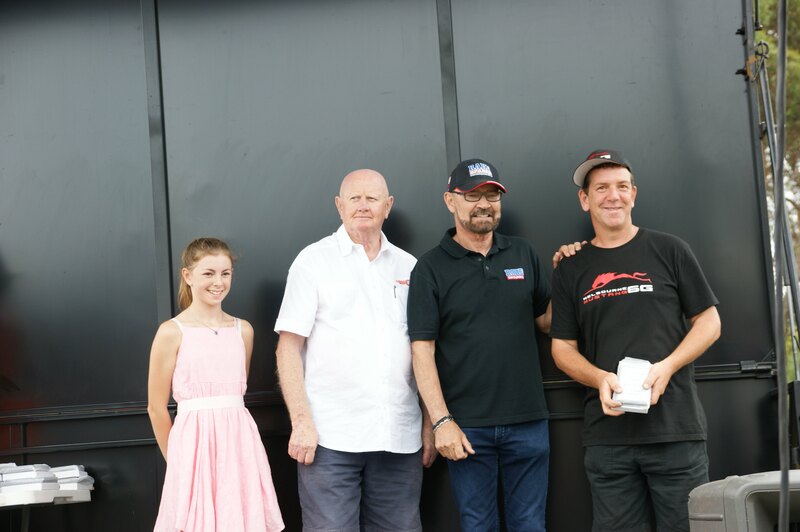 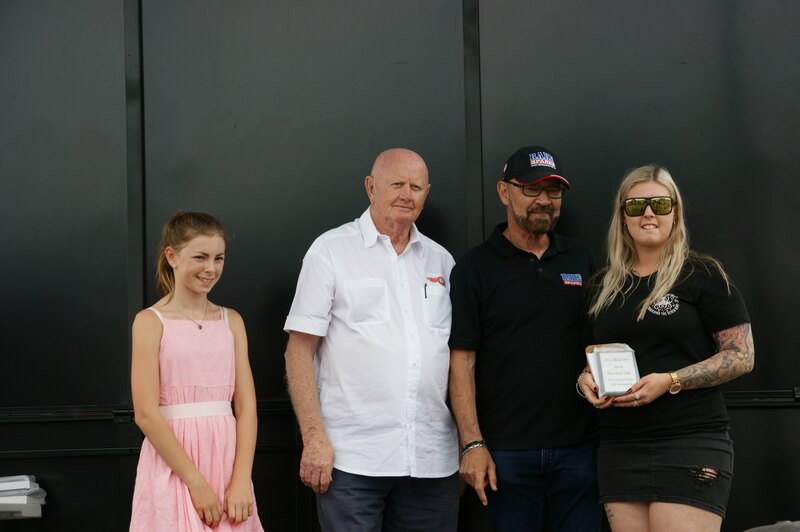 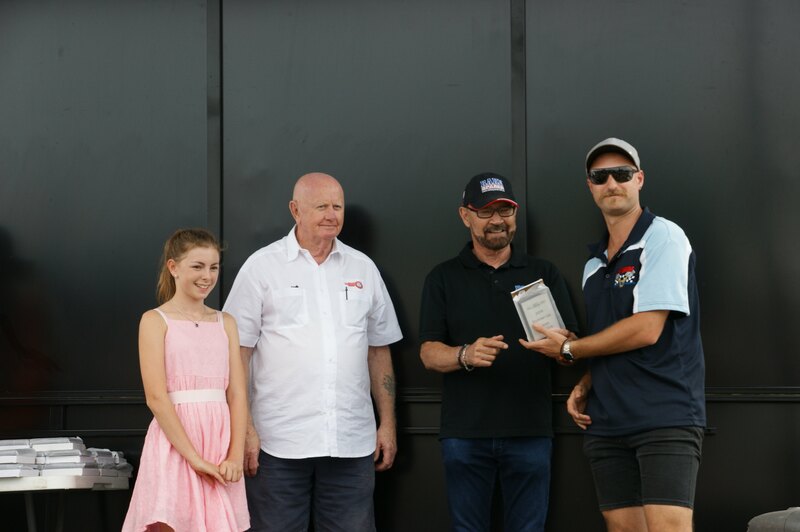 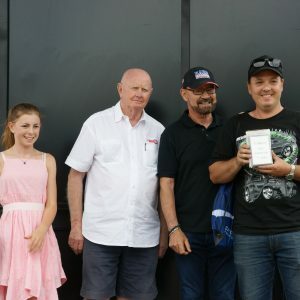 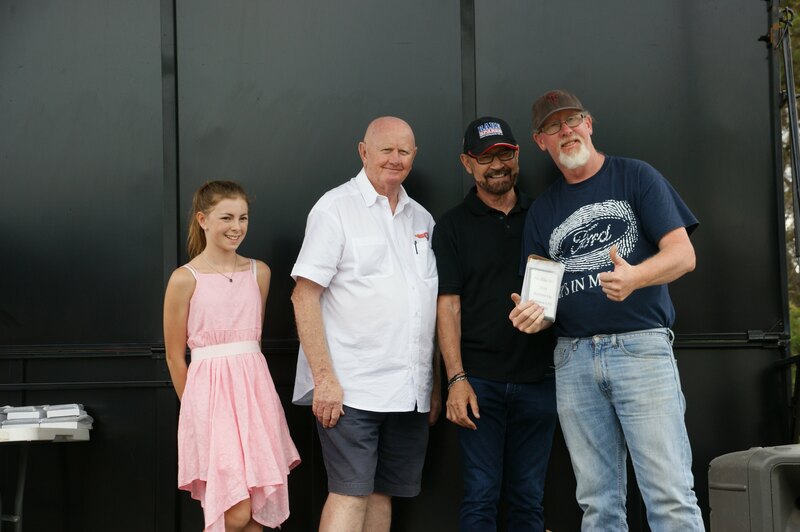 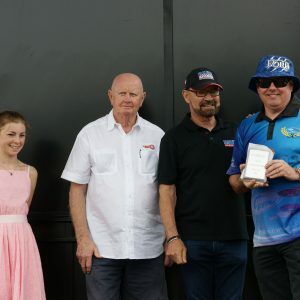 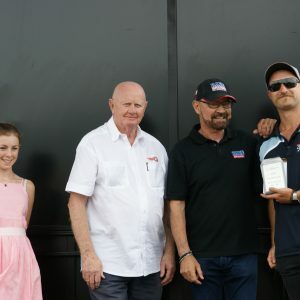 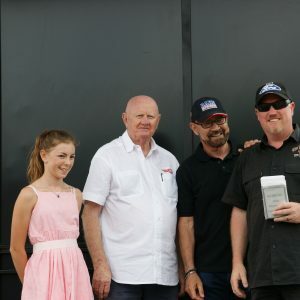 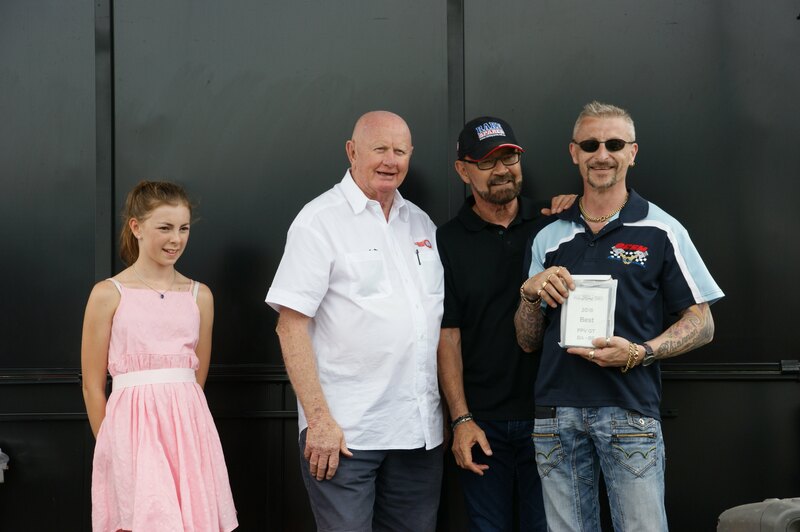 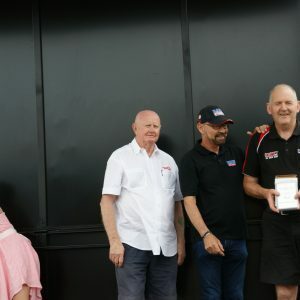 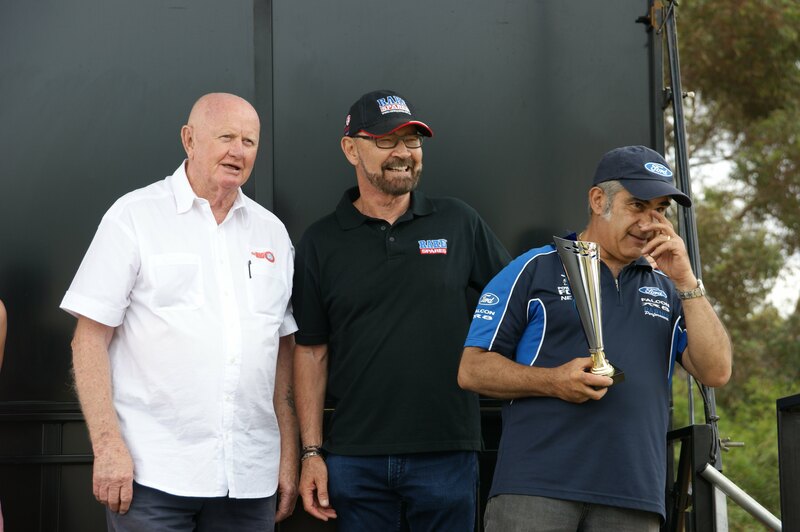 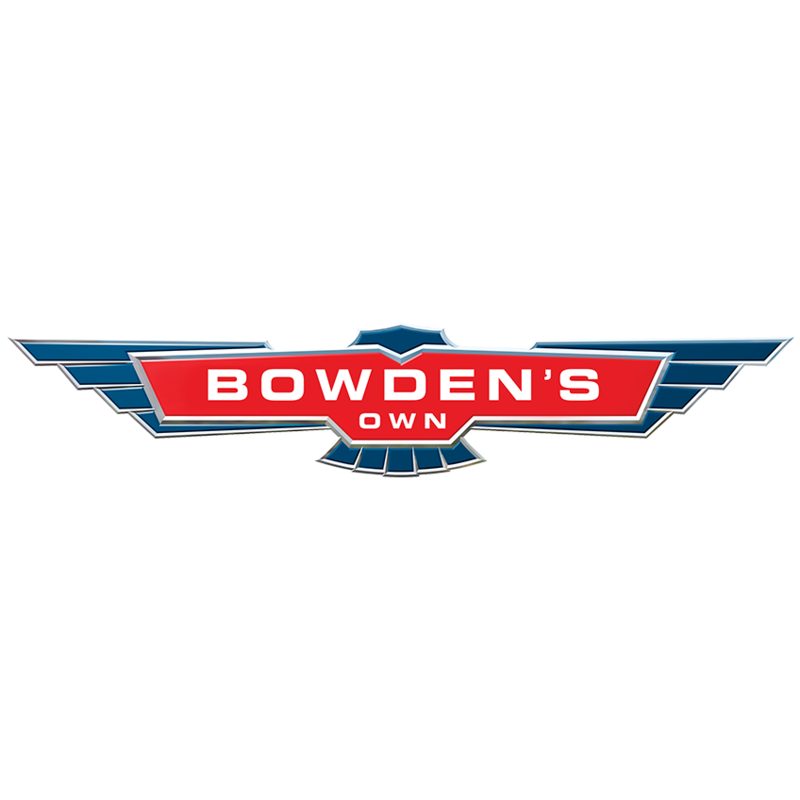 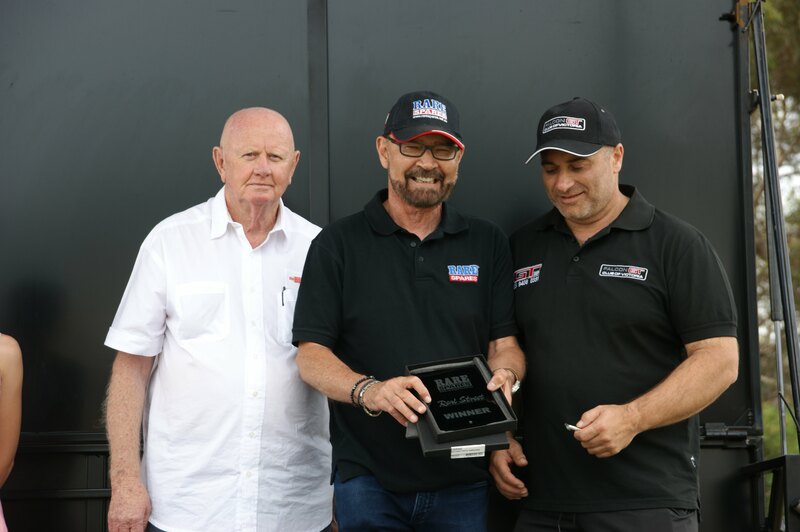 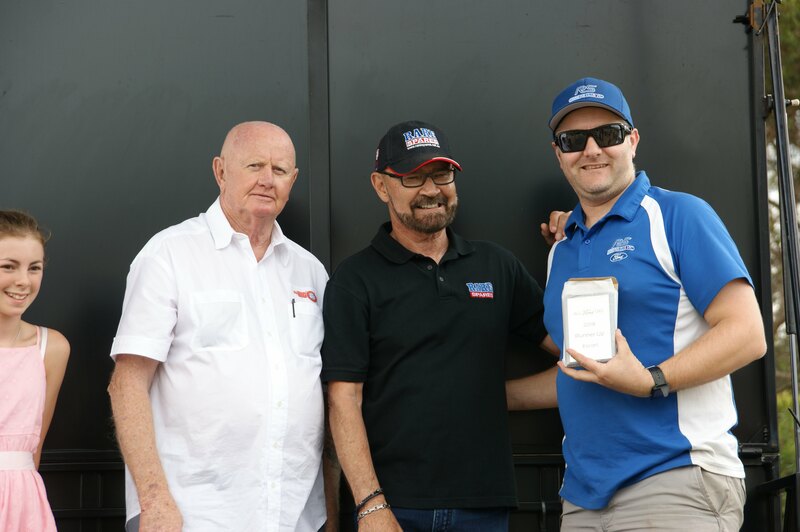 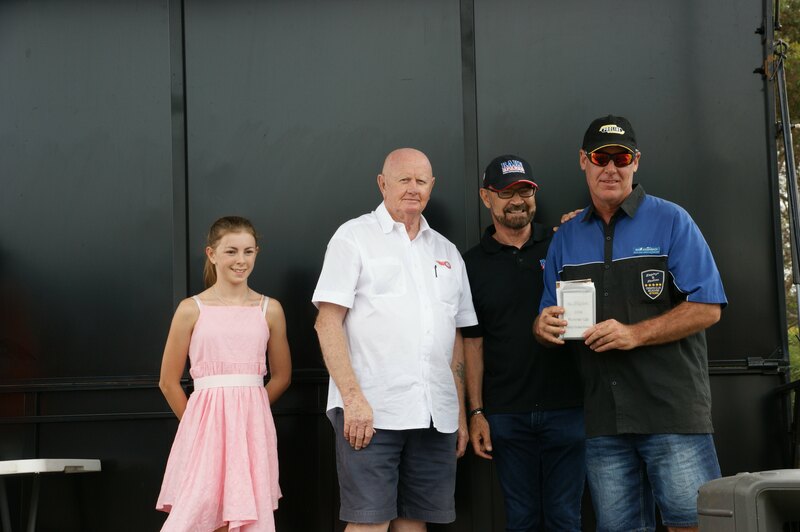 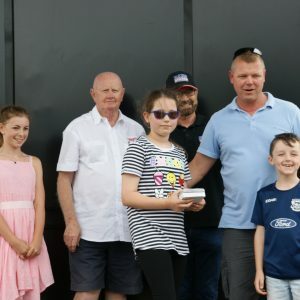 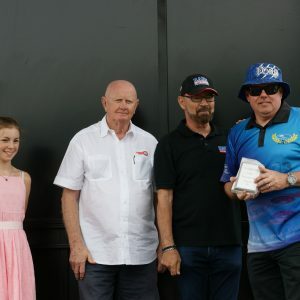 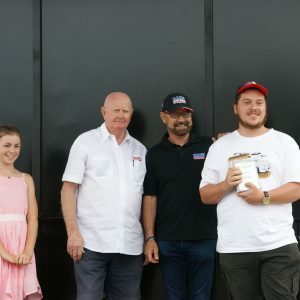 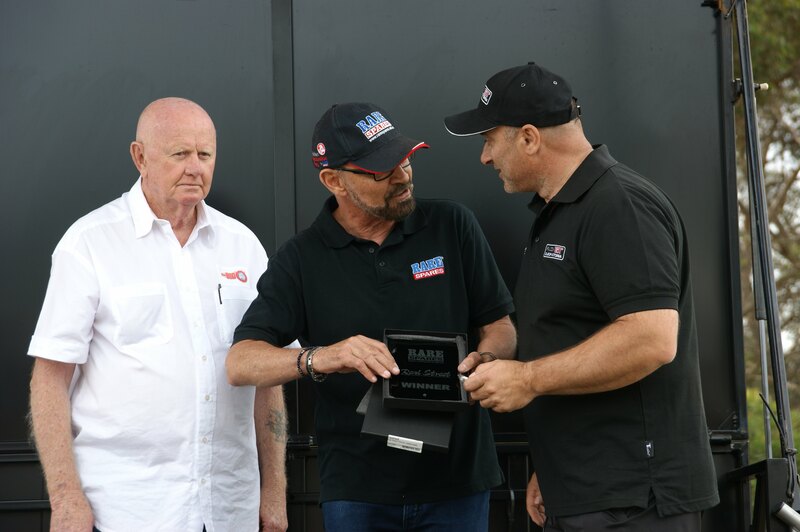 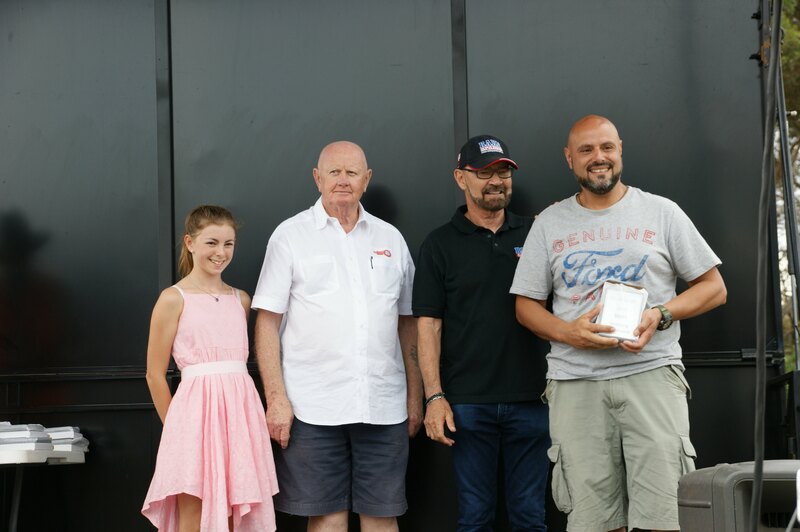 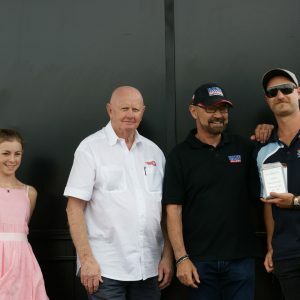 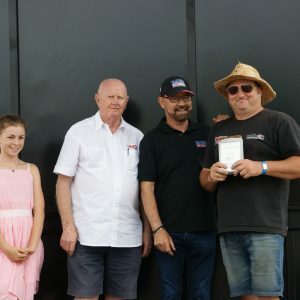 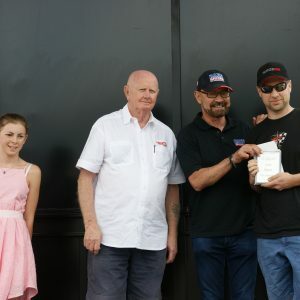 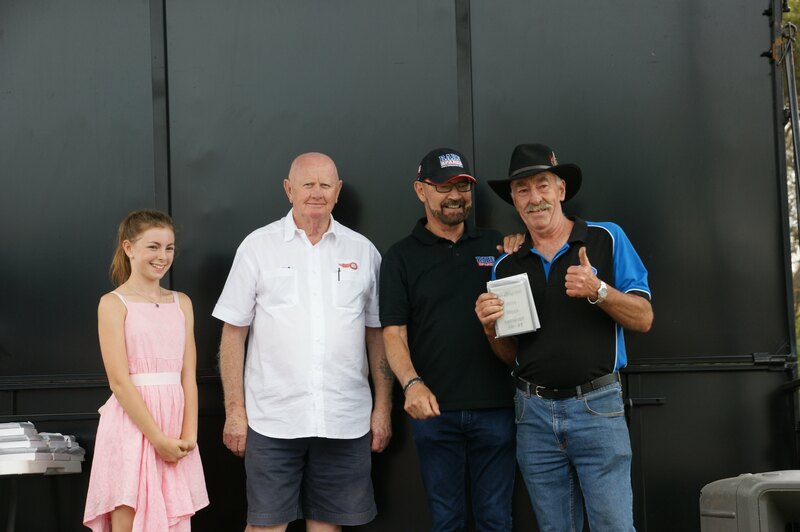 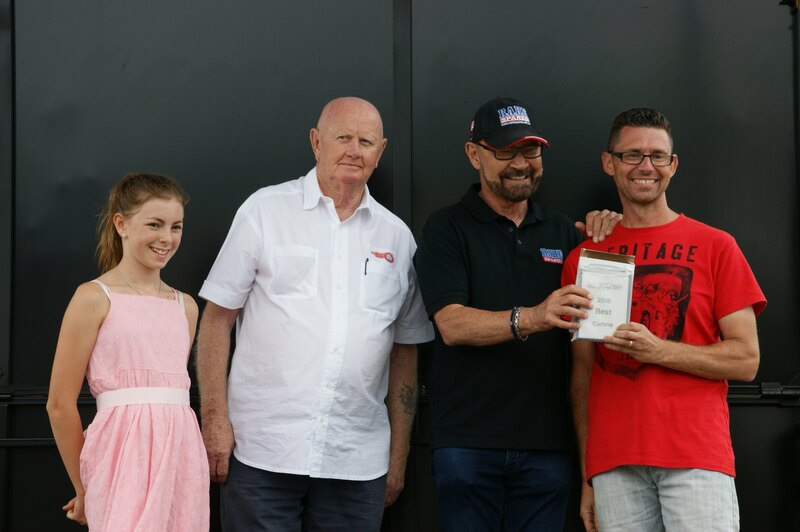 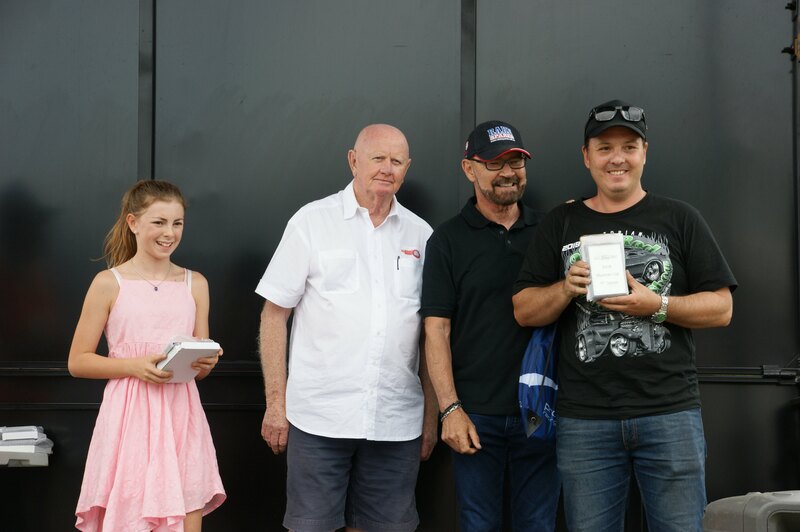 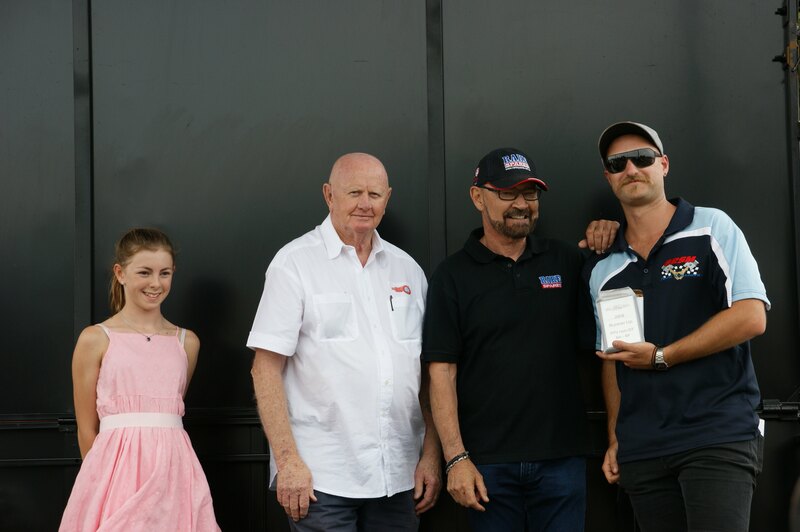 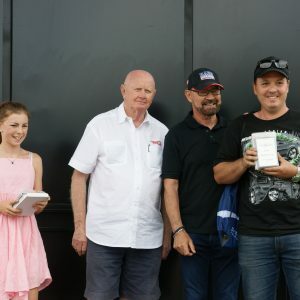 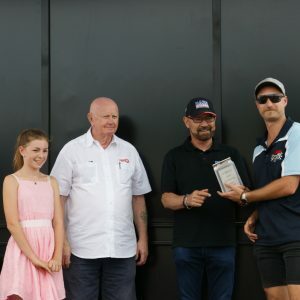 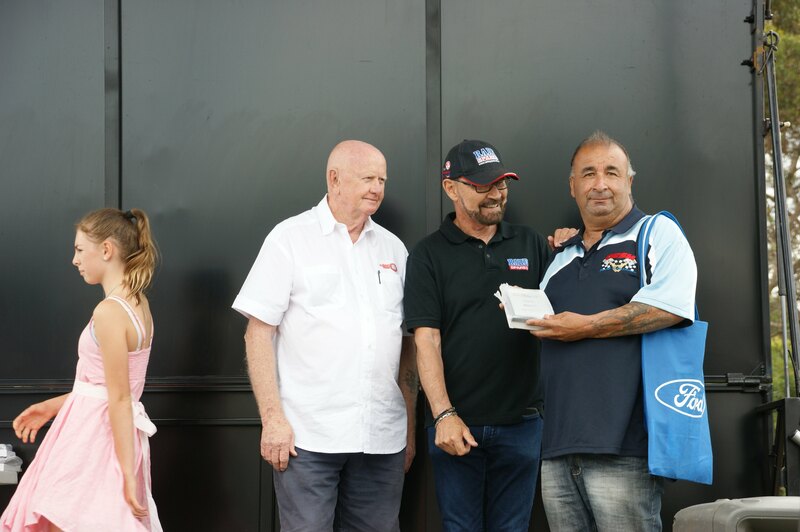 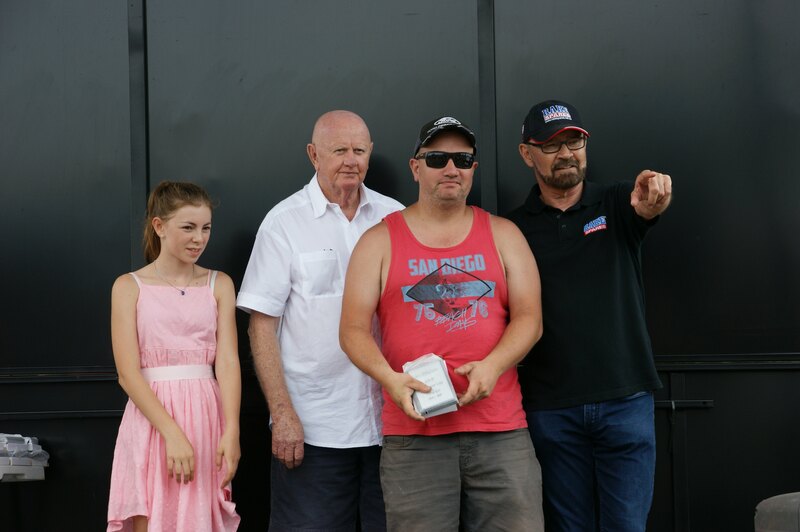 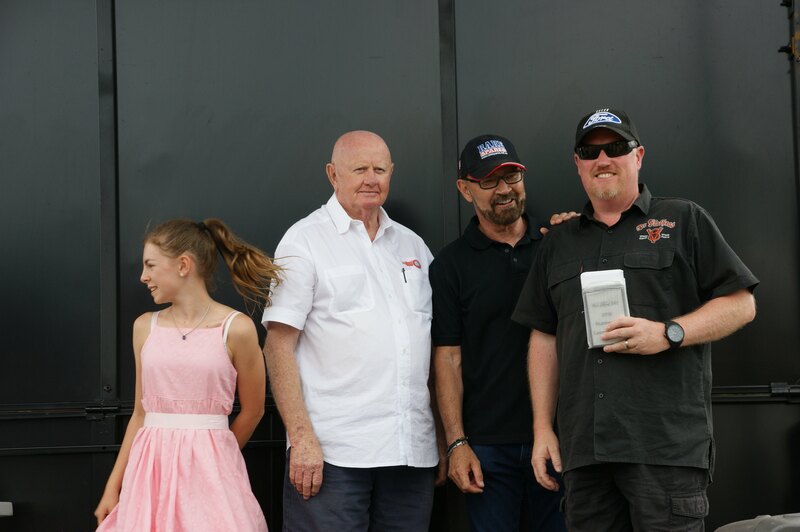 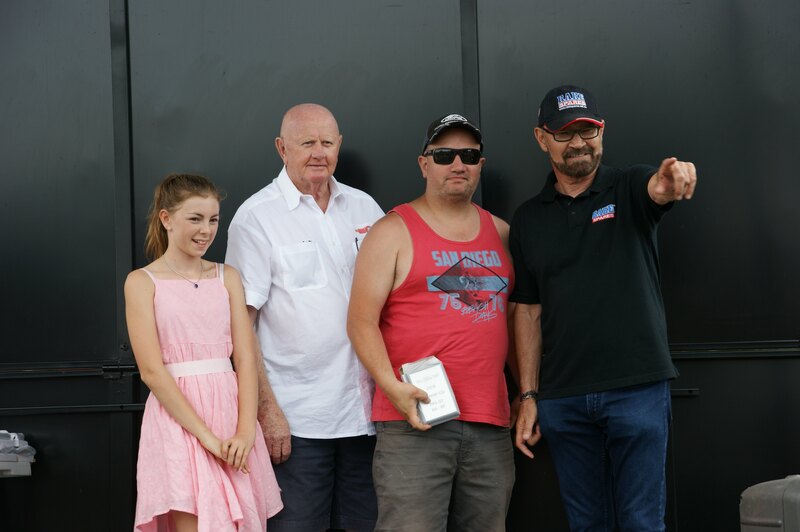 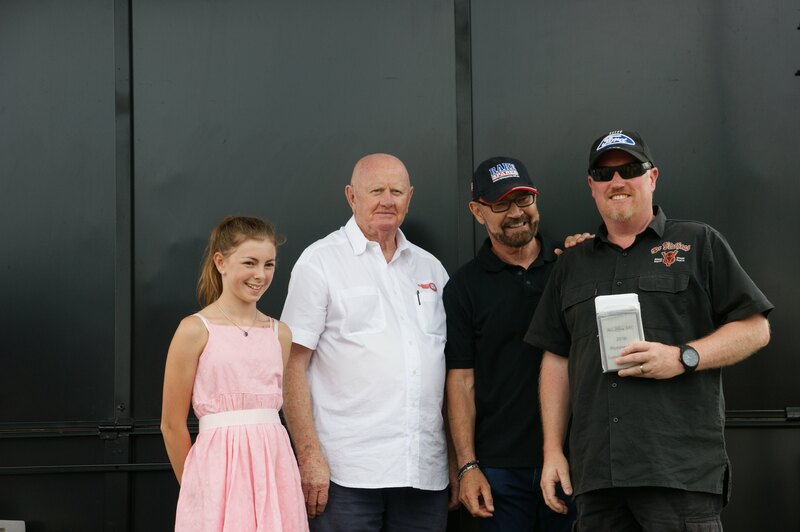 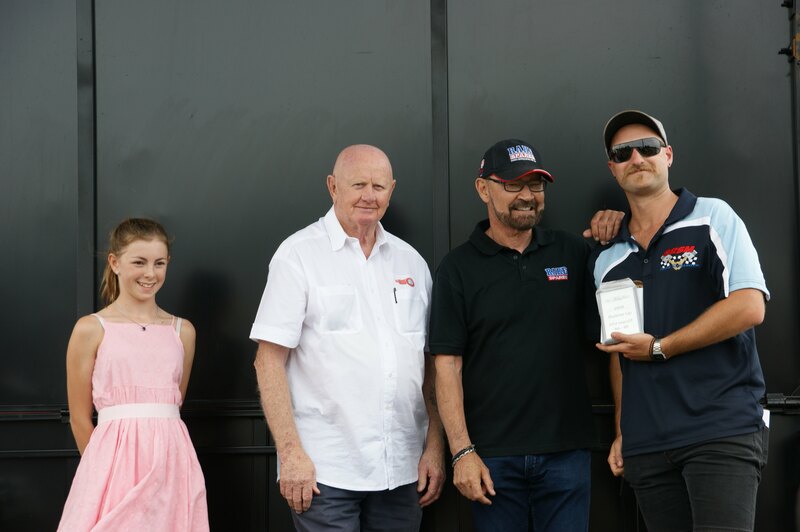 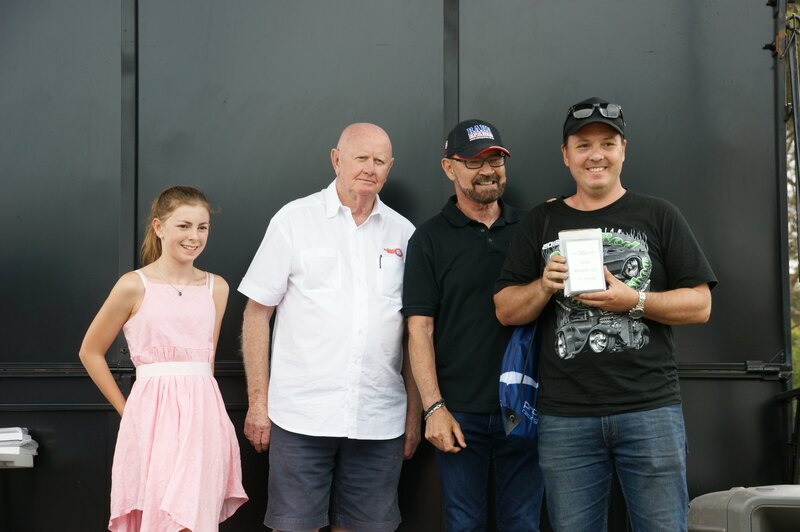 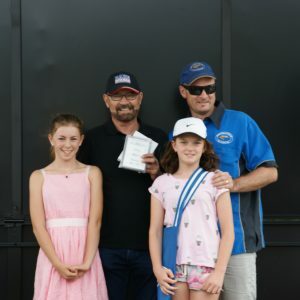 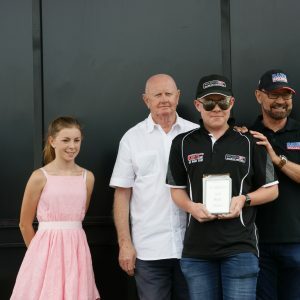 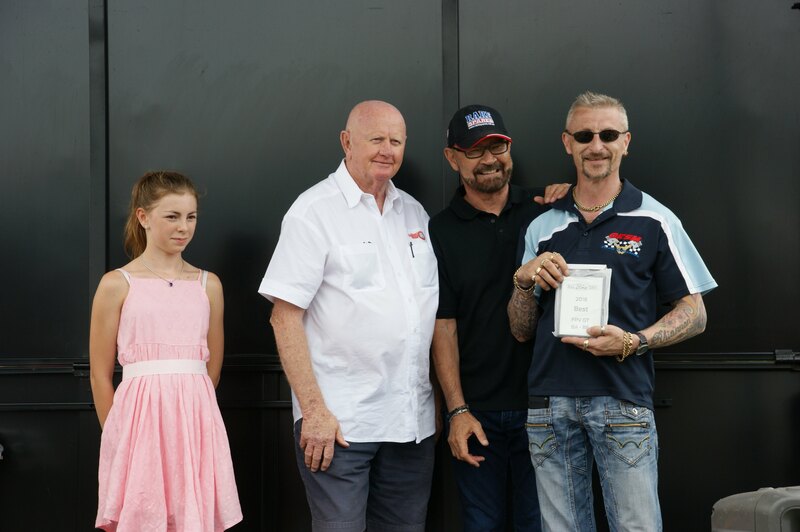 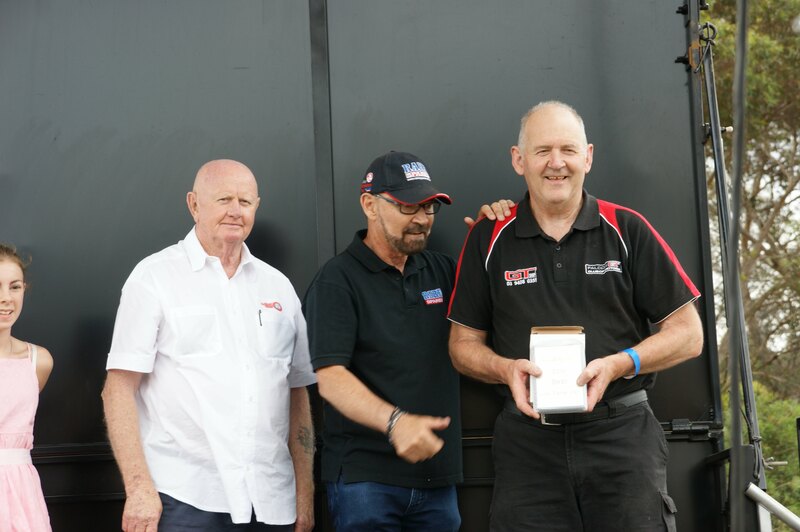 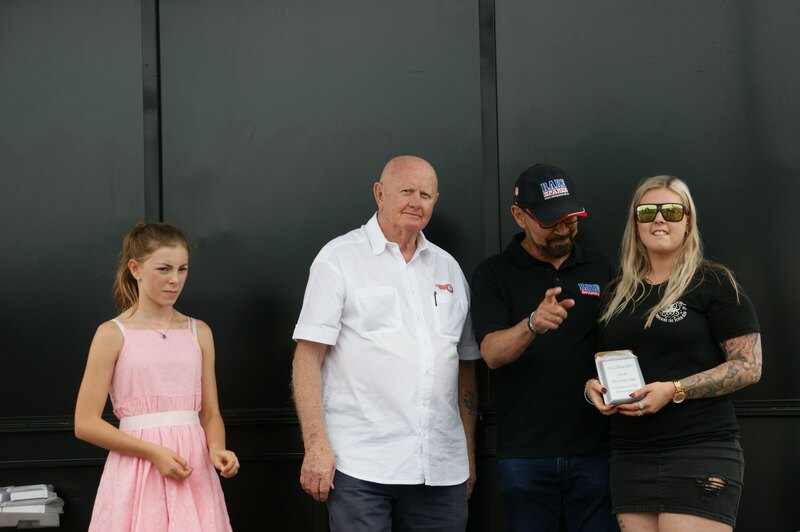 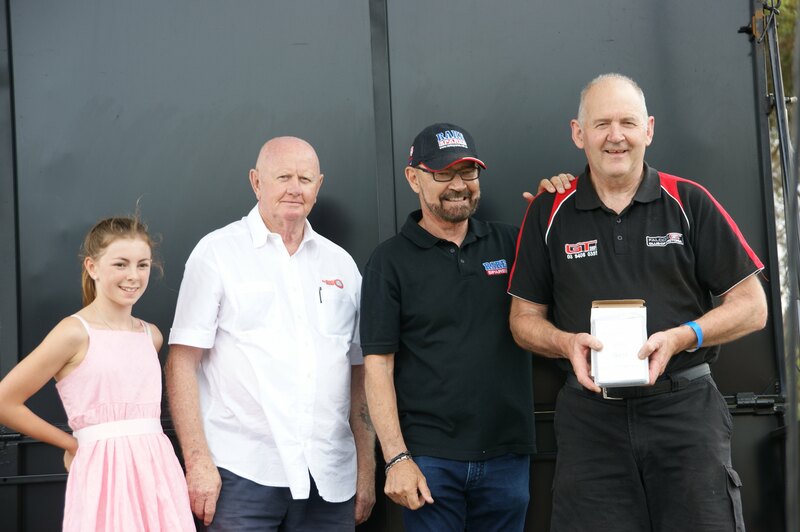 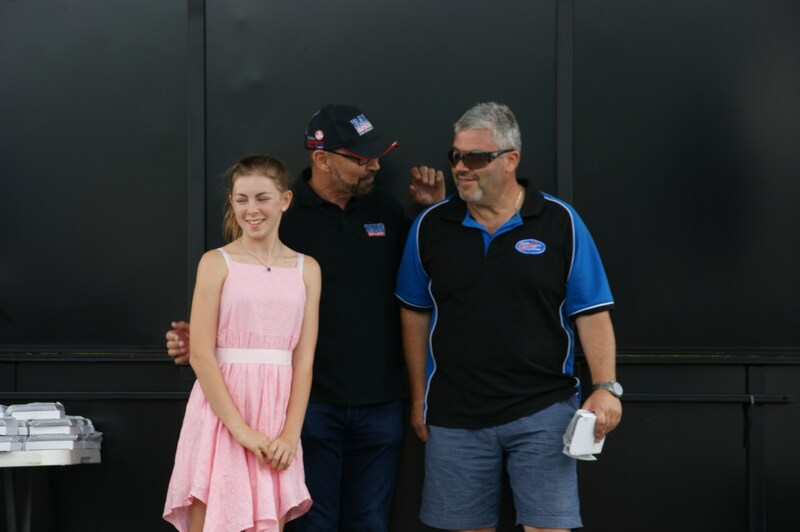 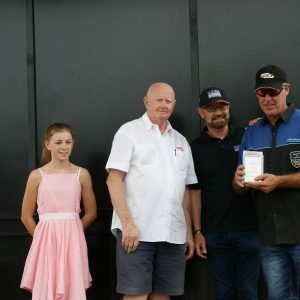 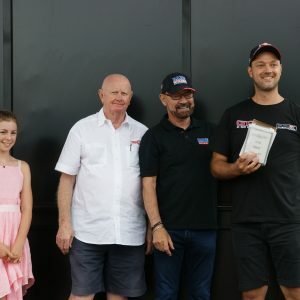 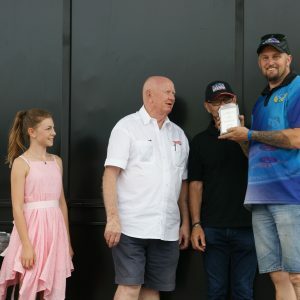 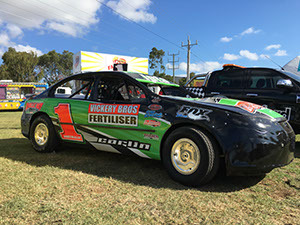 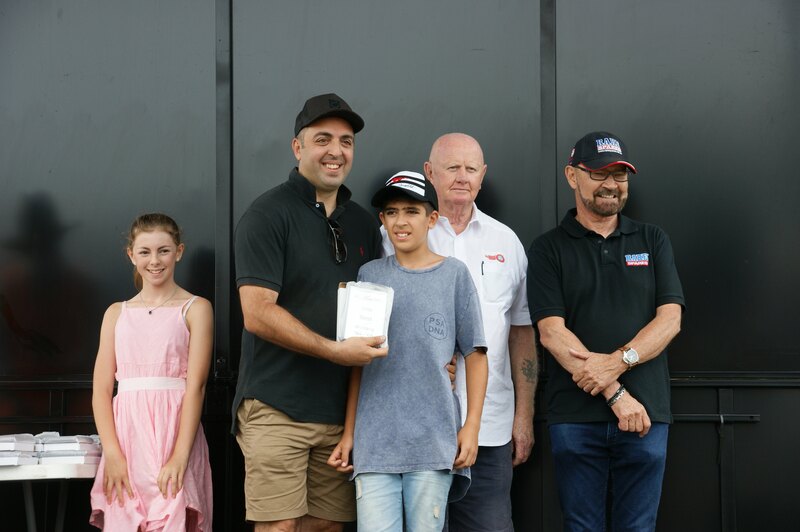 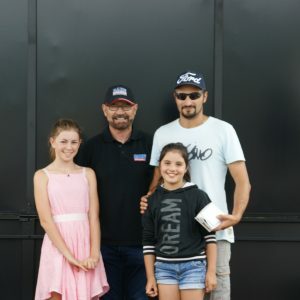 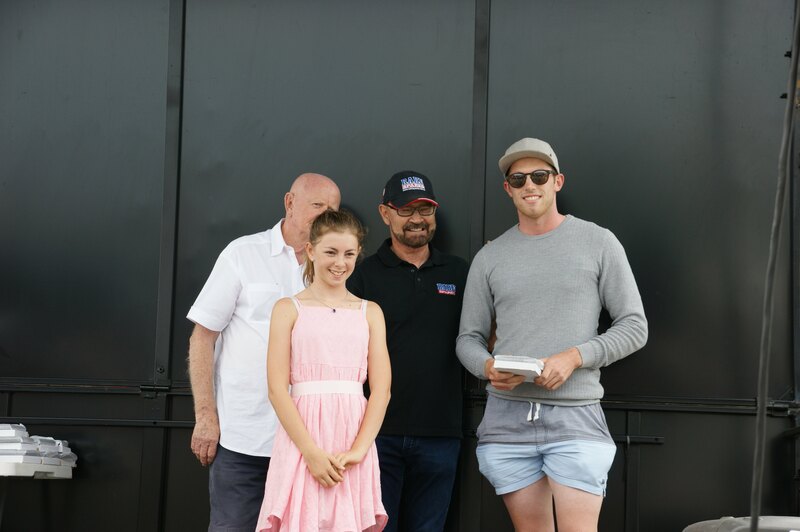 Bowden’s Own is a proudly family owned and run Australian company making great quality car care products for fussy car enthusiasts. 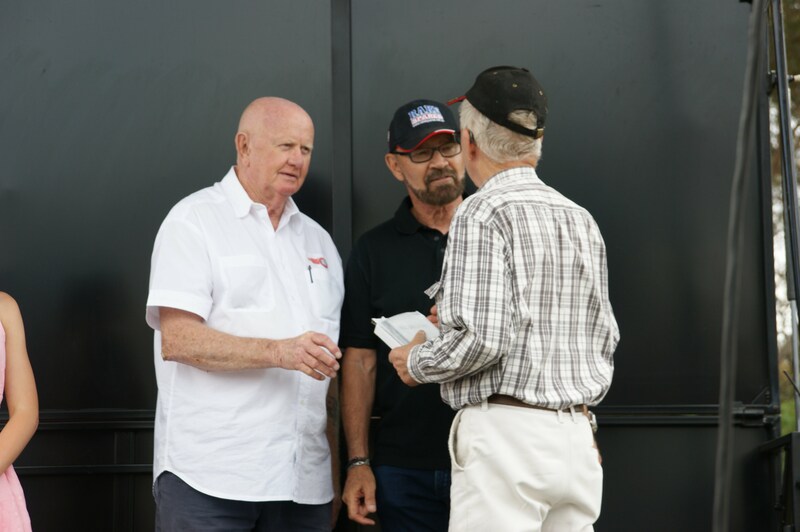 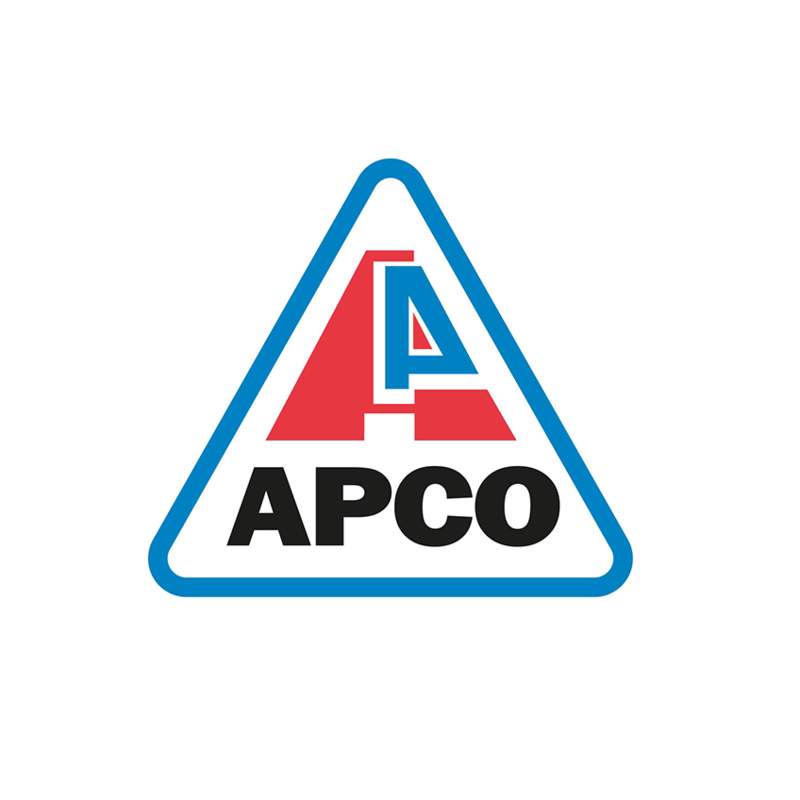 If you have a question, we want to hear from you.